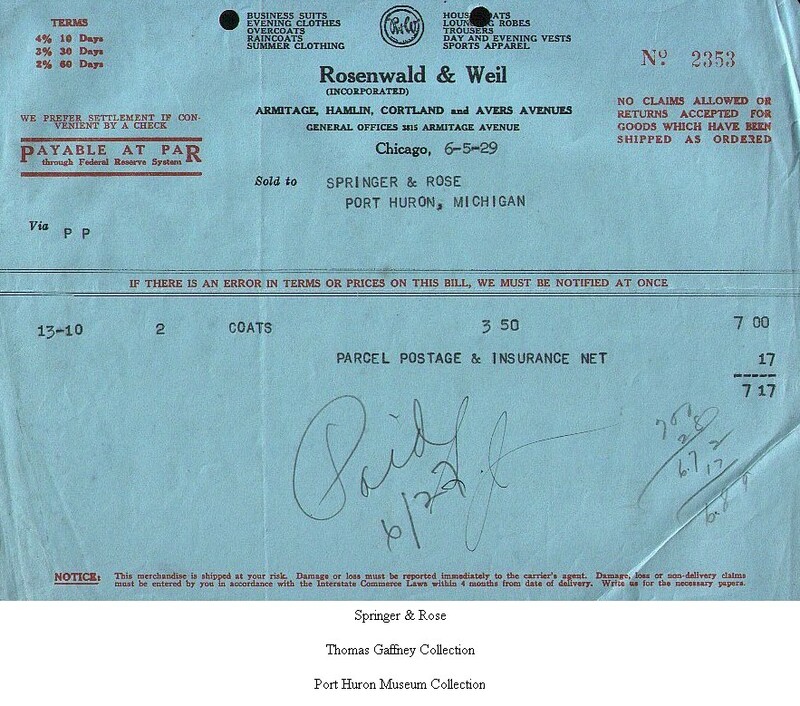 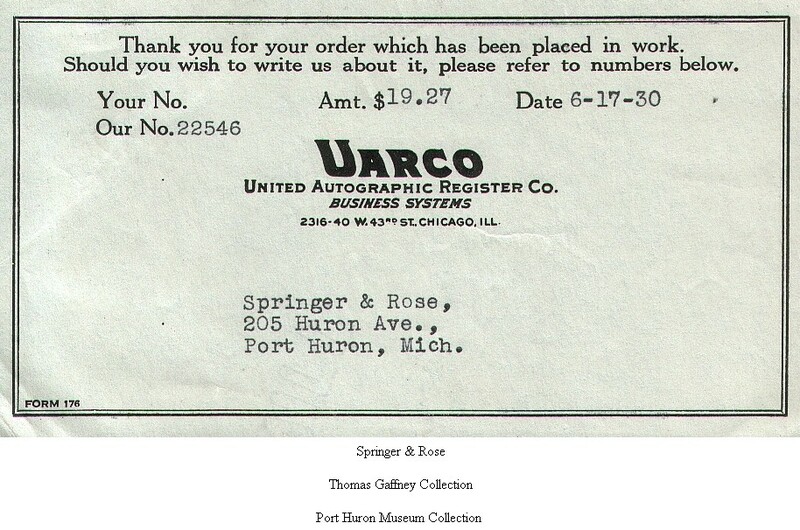 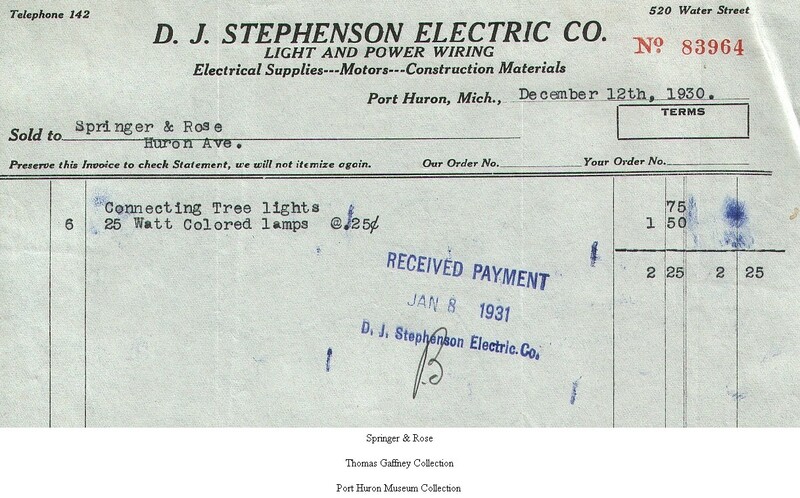 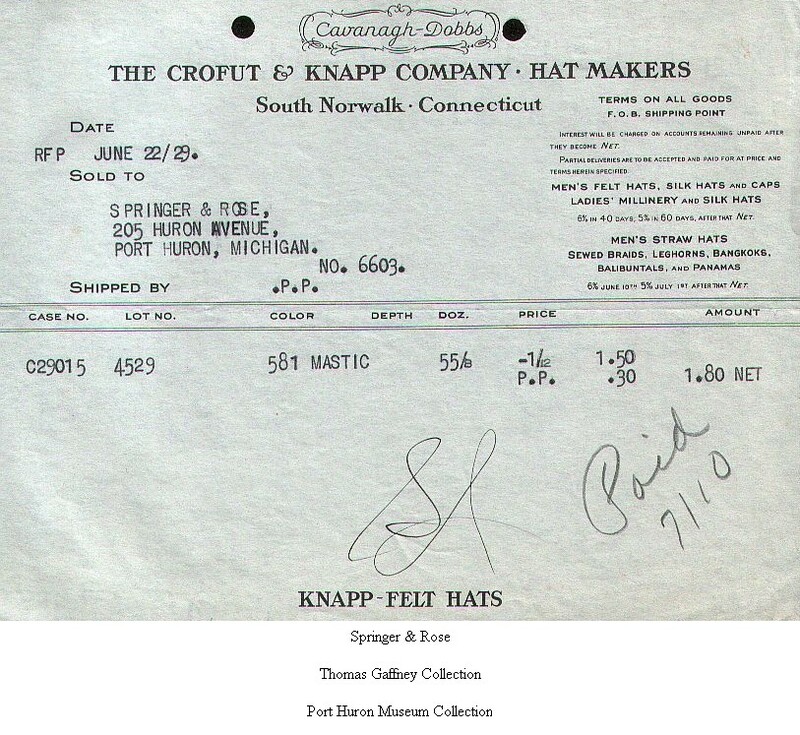 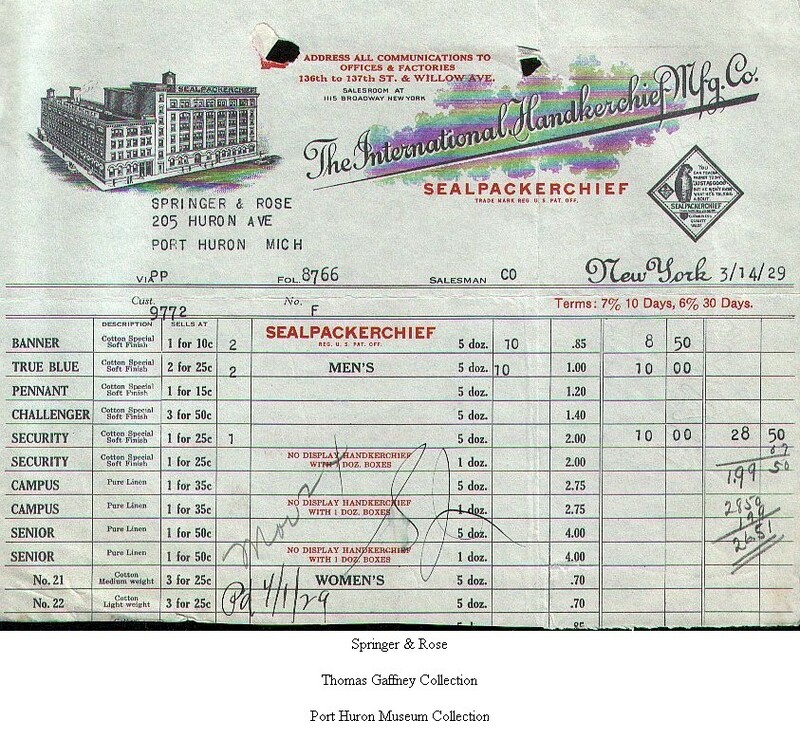 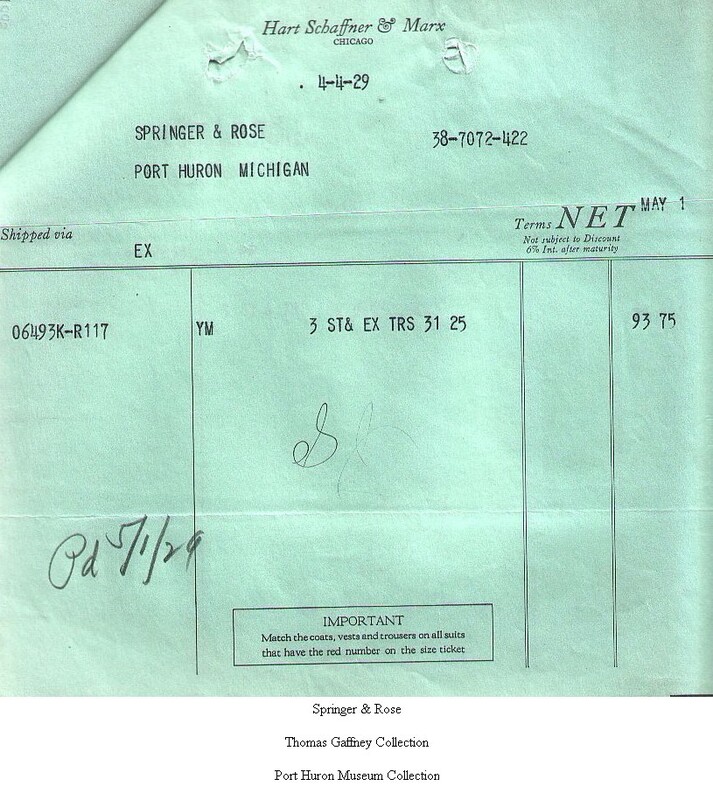 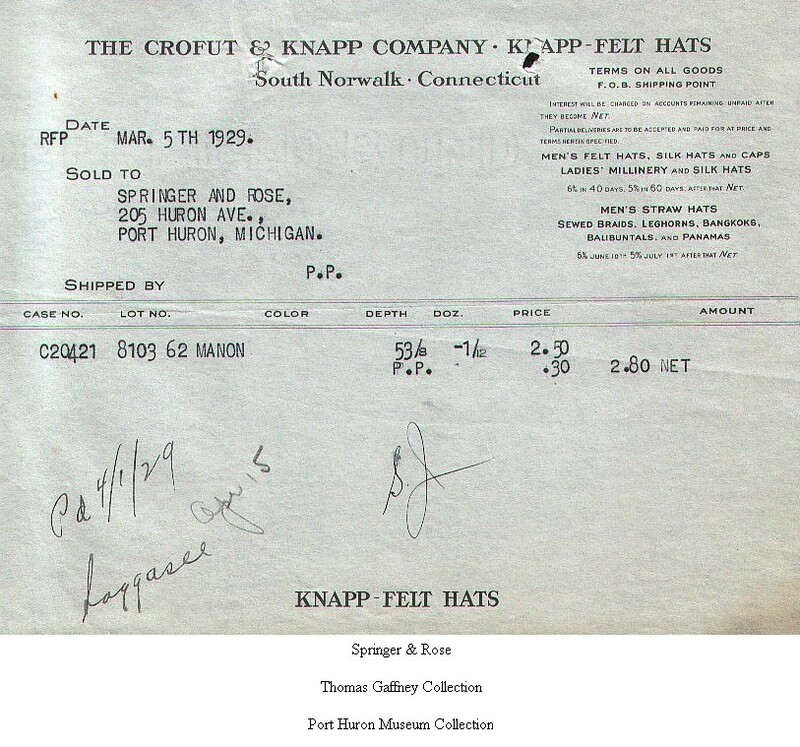 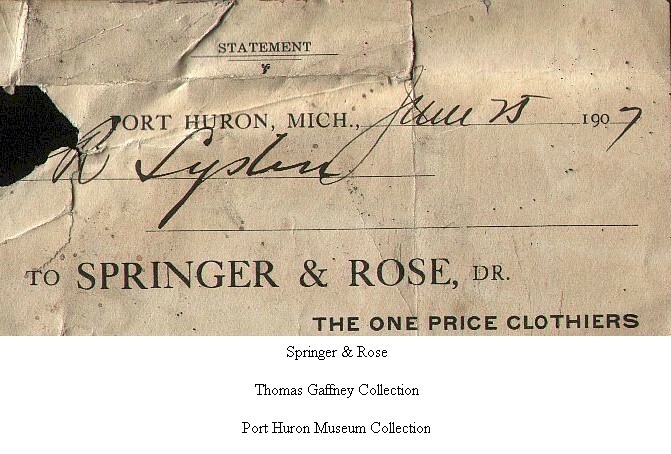 Thomas Gaffney, father of the present Port Huron Museum's Curator of Collections, T. J. Gaffney, was a history buff and collector. 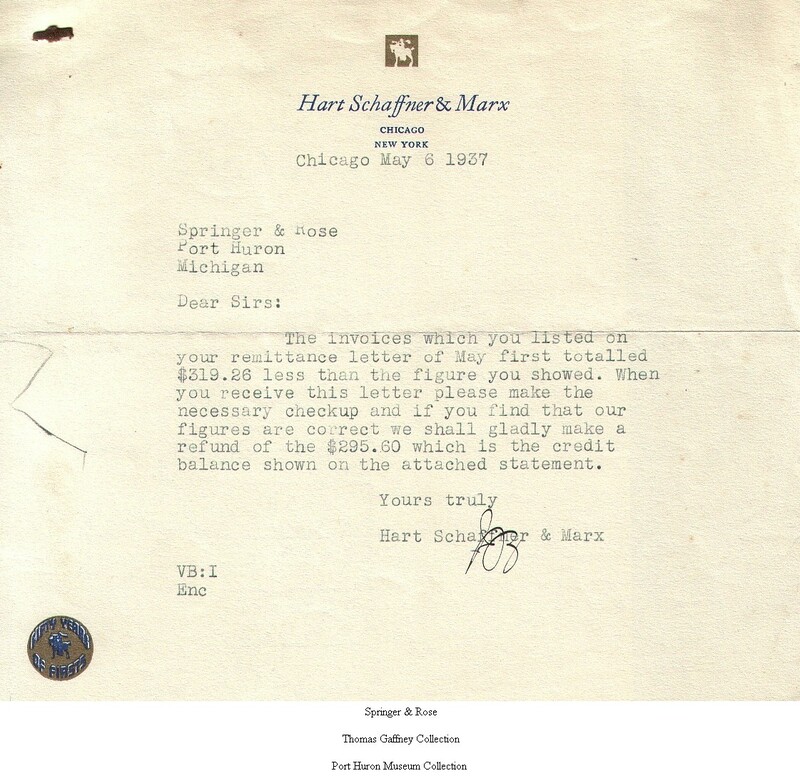 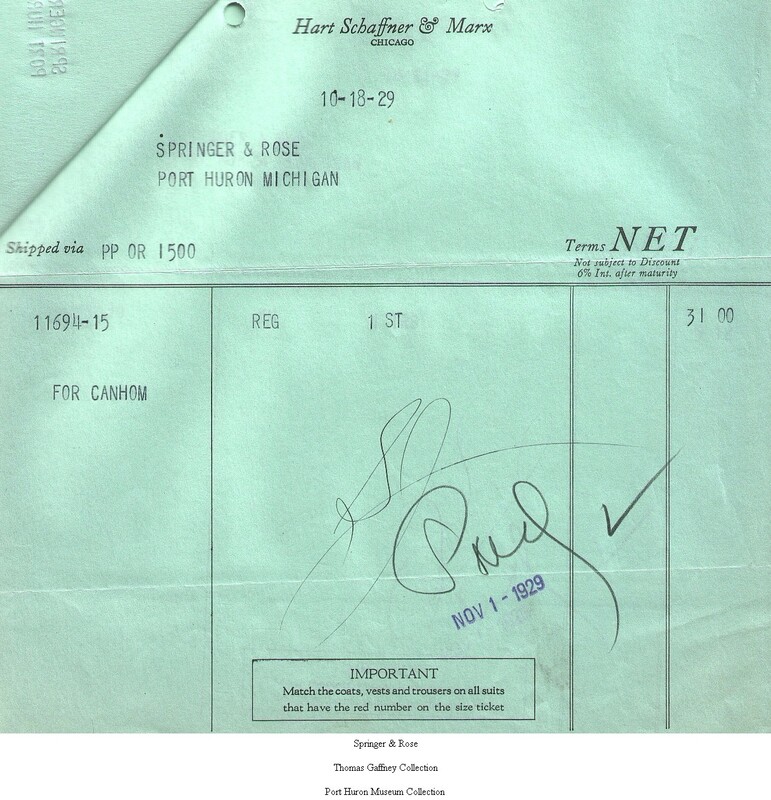 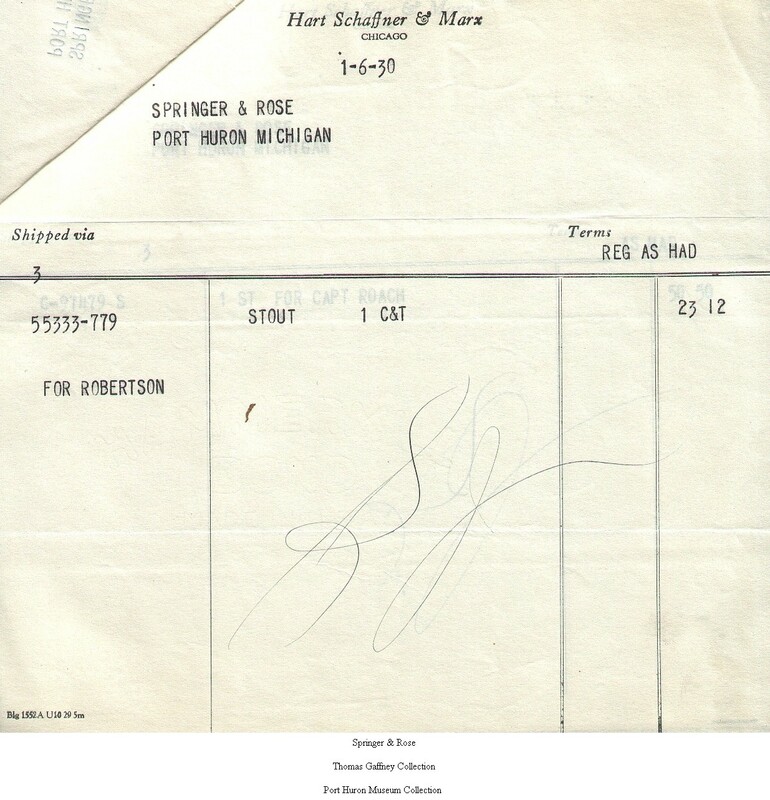 His extensive postcard collection, focused on Michigan, St. Clair County, and Port Huron, began in the early 1960s and grew until it was one of the largest of its type in existence. 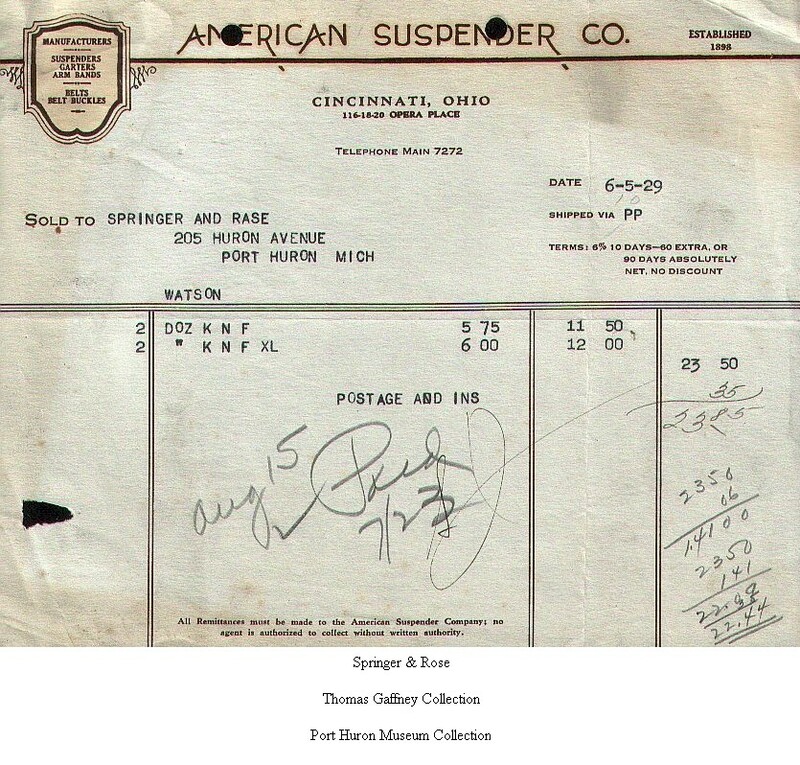 Some of his collection now graces the walls as framed art in buildings around town. 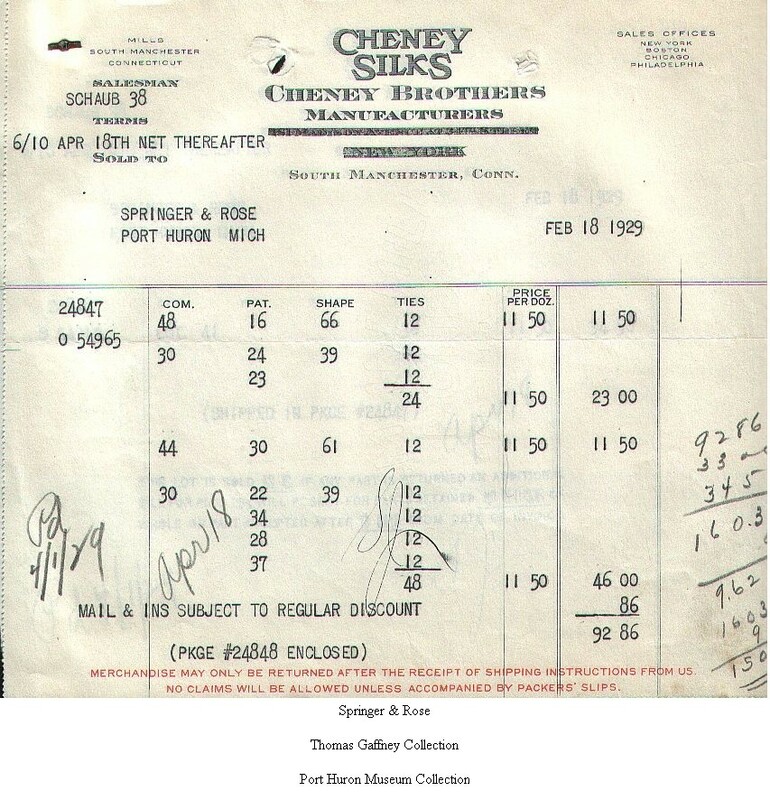 In a eulogy in his honor by Sandy Duffy, he was fondly refered to as a "History-Keeper," as someone concerned that people remember and record history. 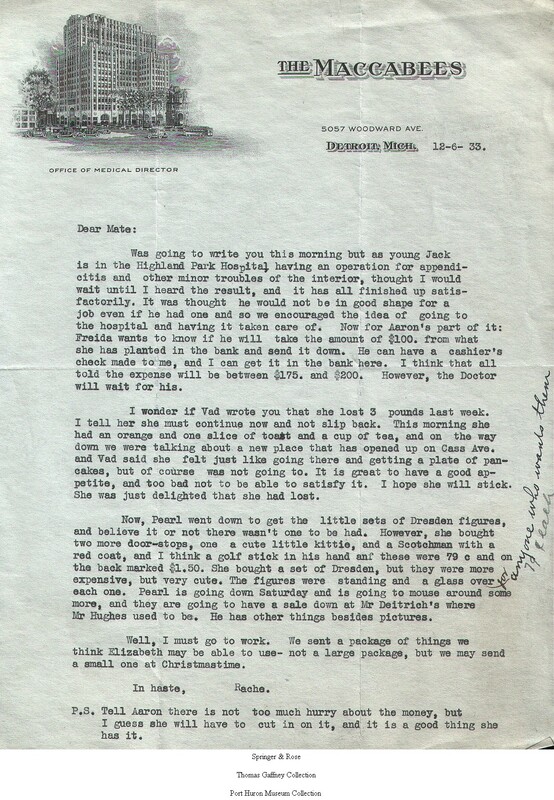 His appreciation for the past had him likened to other area historians such as Jenks, Carlisle, and Pierce. 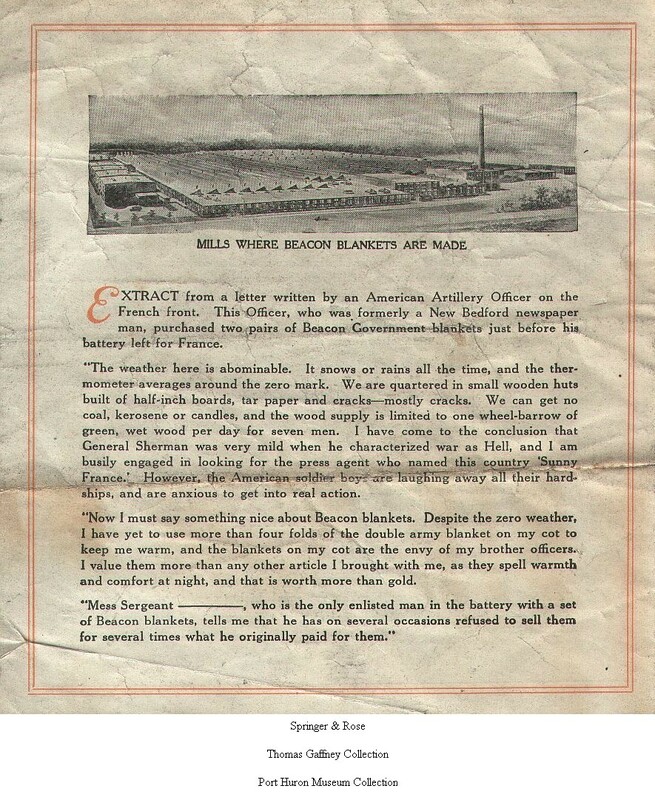 He encouraged the City's efforts to restore its period architecture. 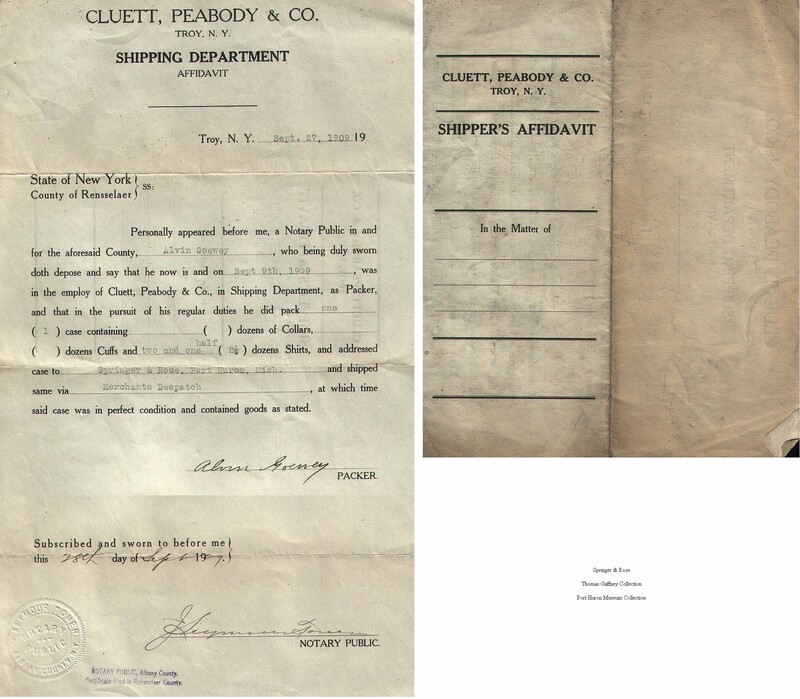 The city's first Antique & Classic Boat Show was due in part to his involvement in the city. 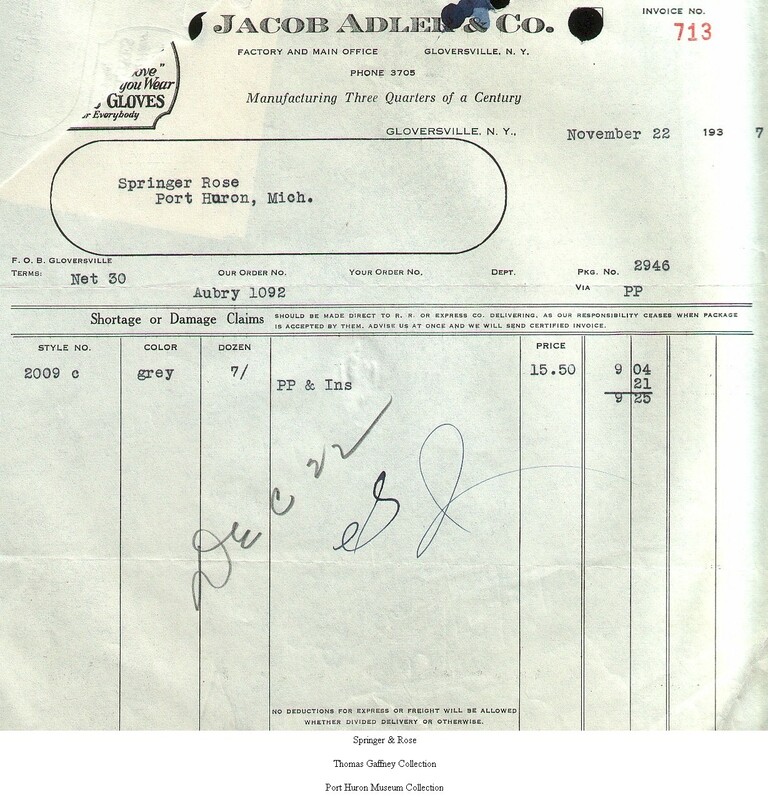 His passion for history also encompassed his family tree, its branches stretching across the Atlantic from Cavan, Ireland. 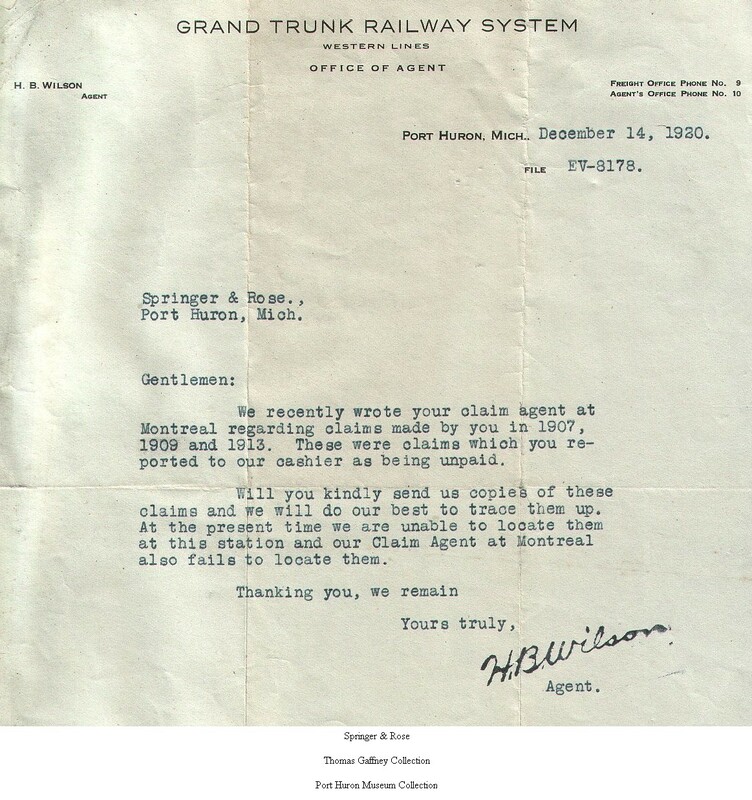 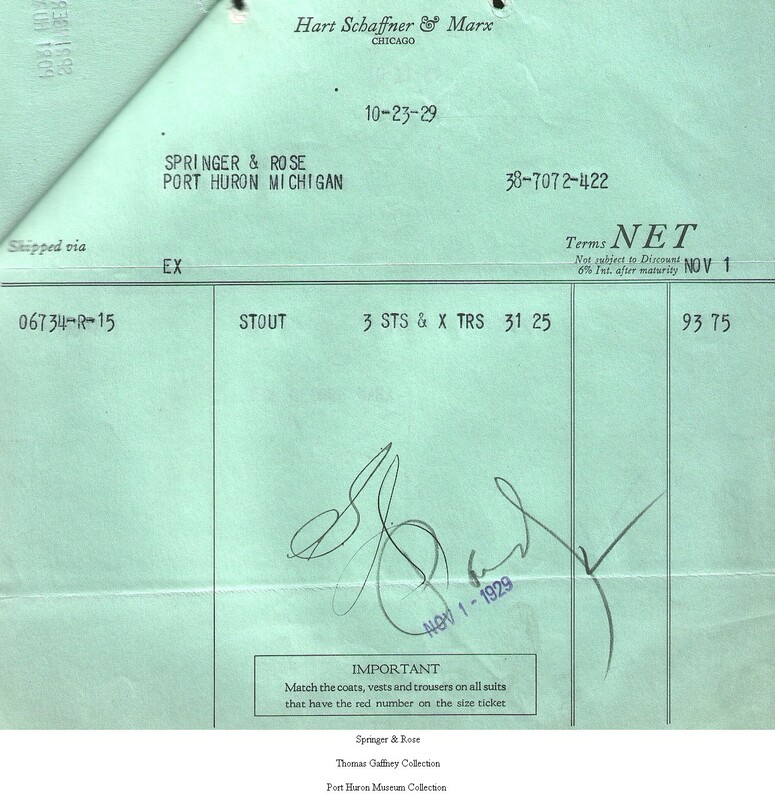 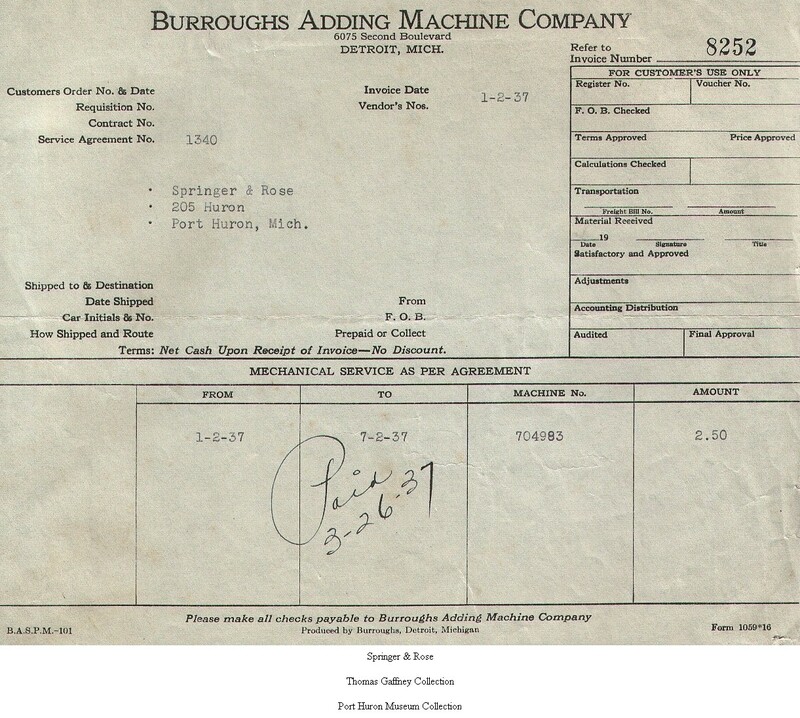 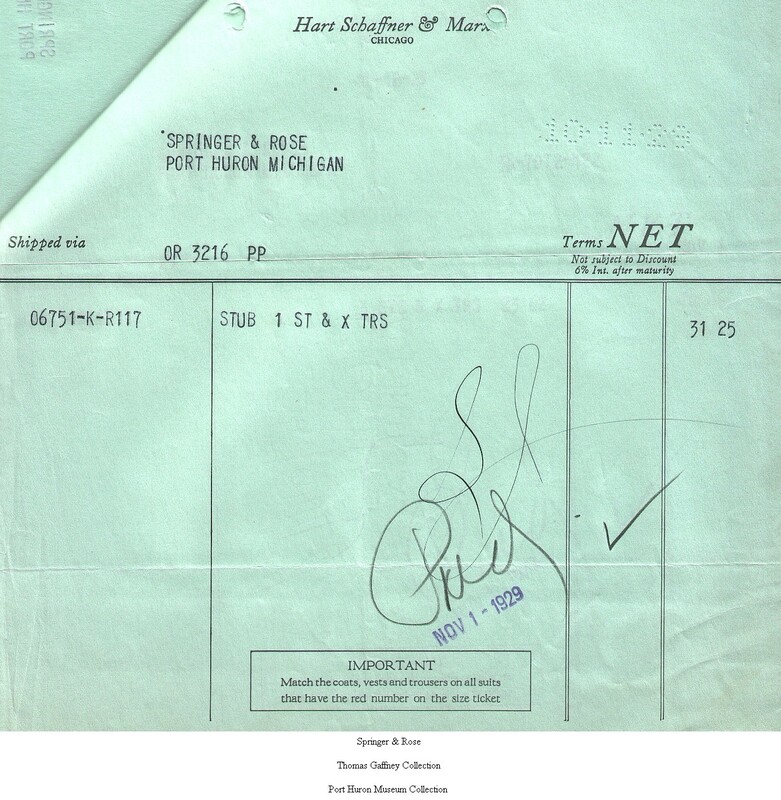 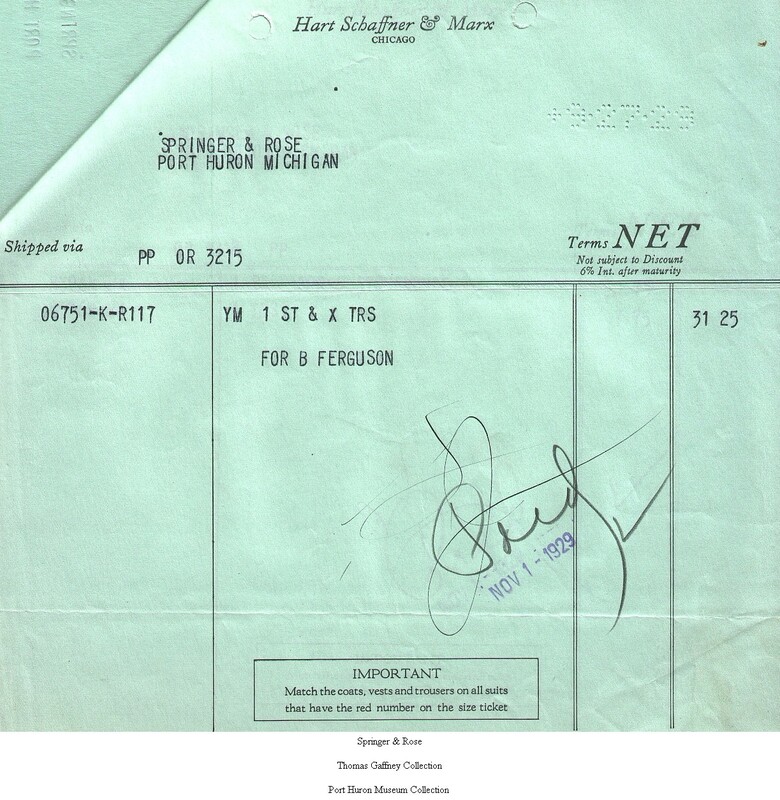 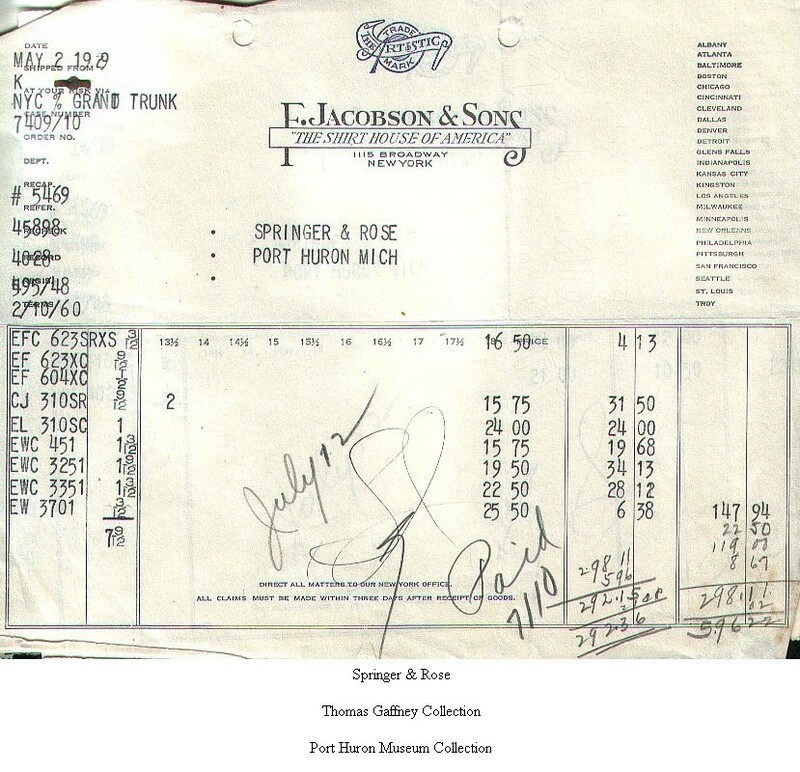 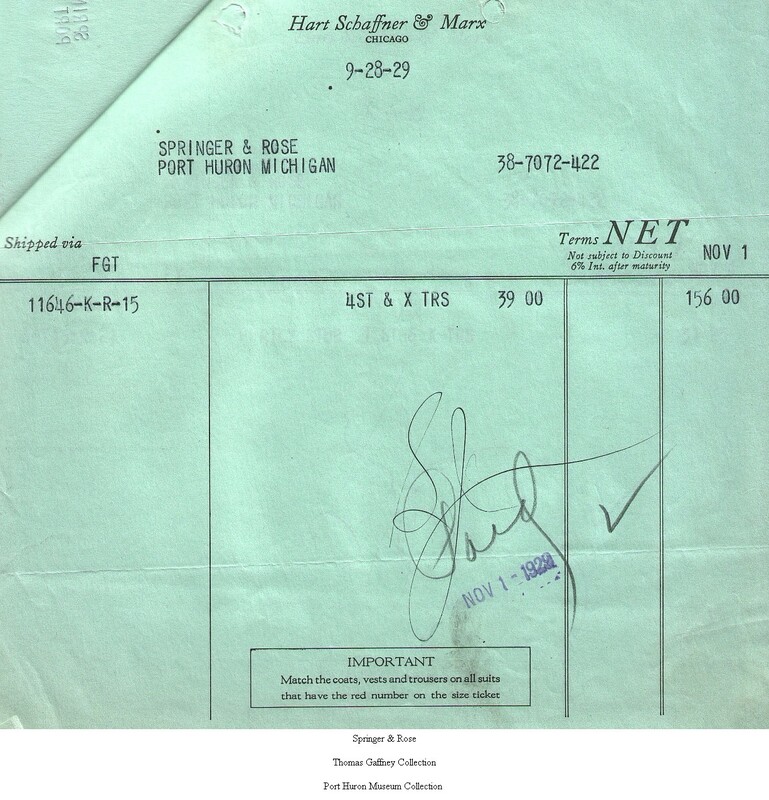 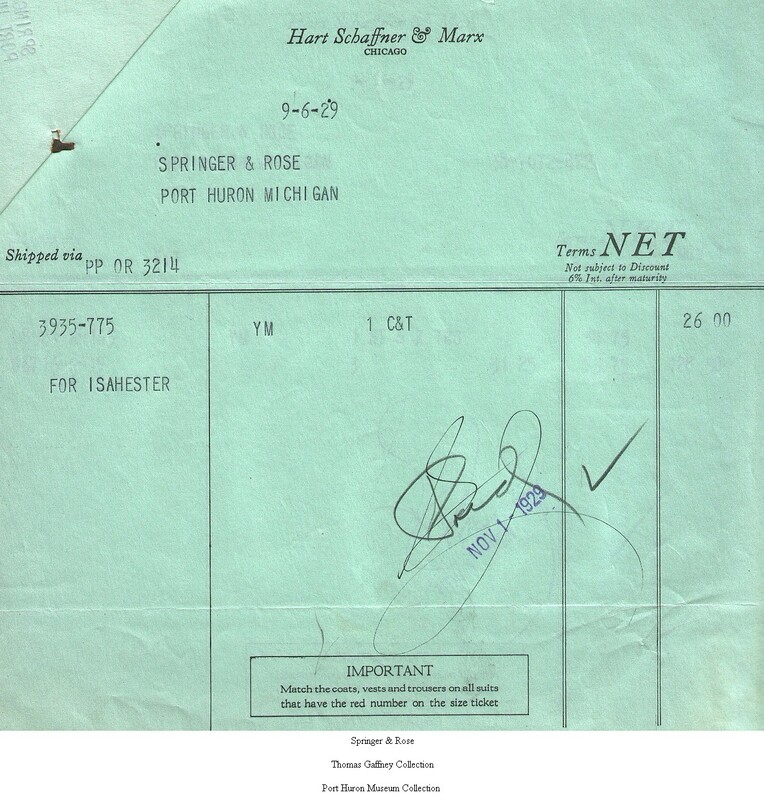 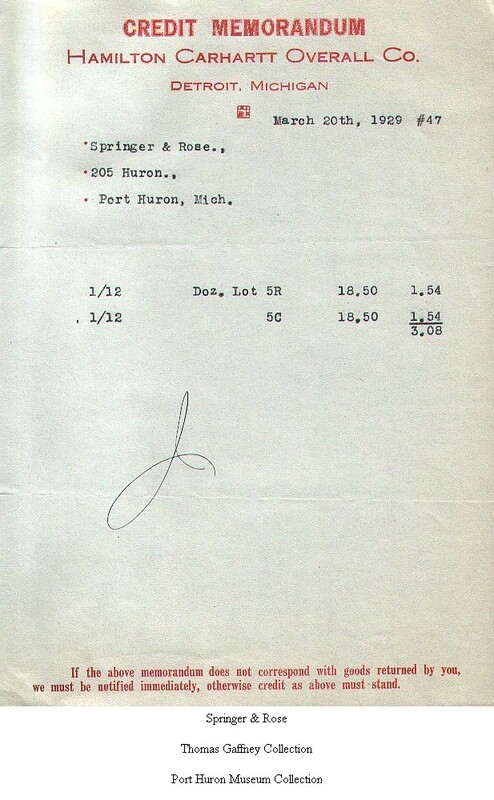 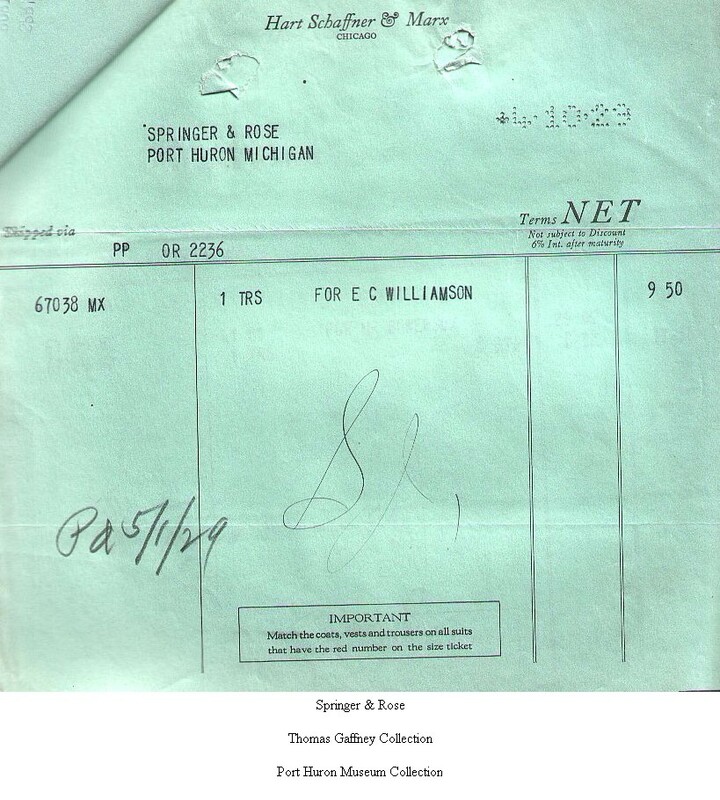 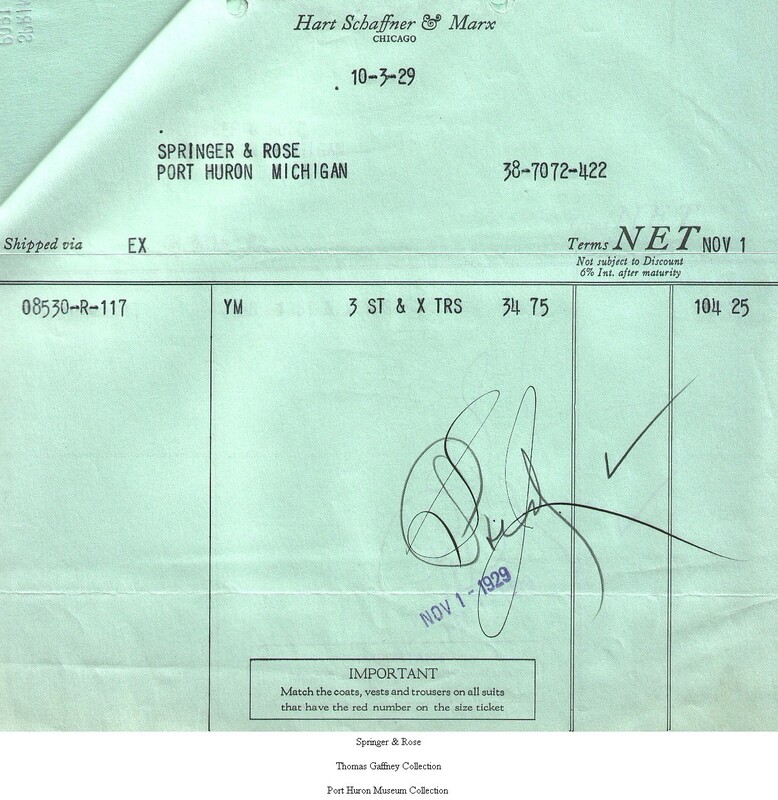 Though he continues to be sadly missed by those who knew him, this page is a small gesture to share that which he held so dear, the history of Port Huron and its environs. 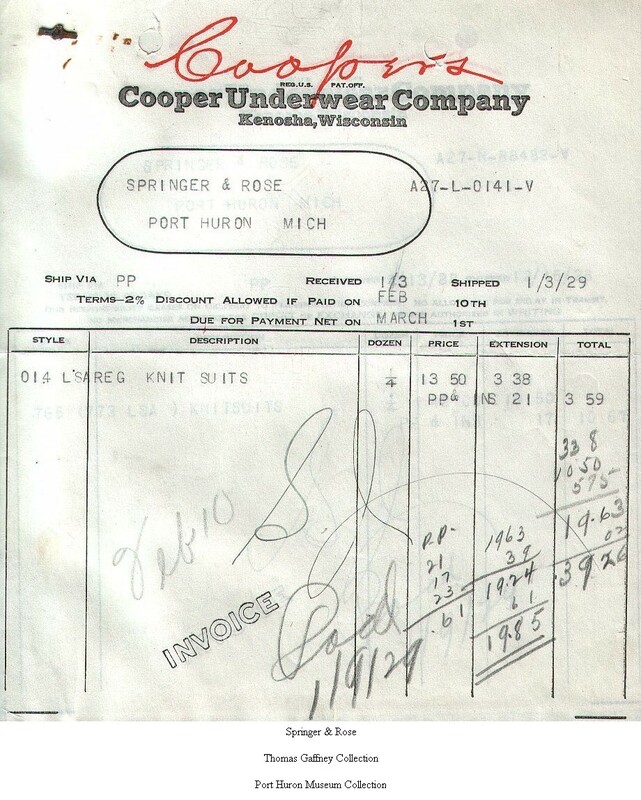 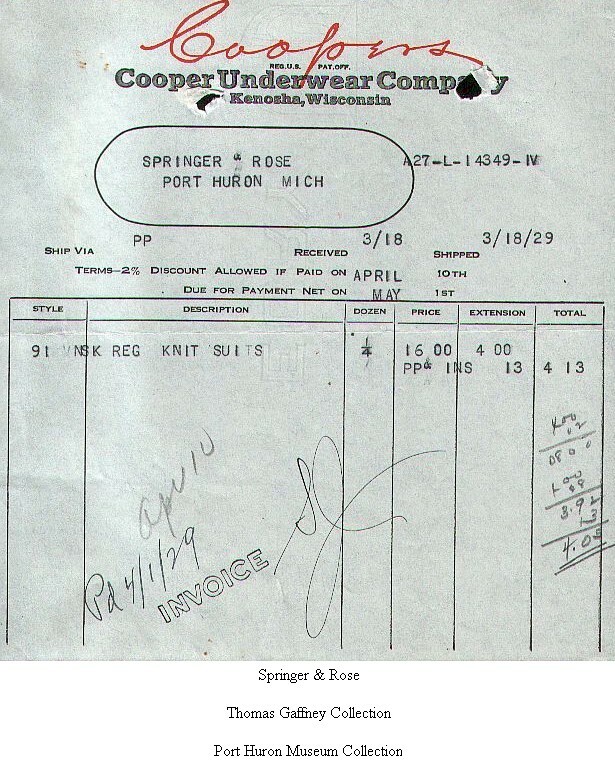 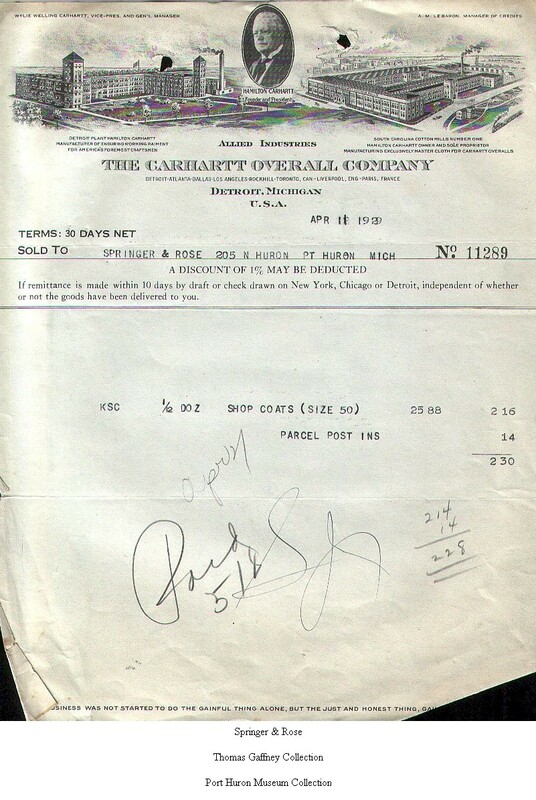 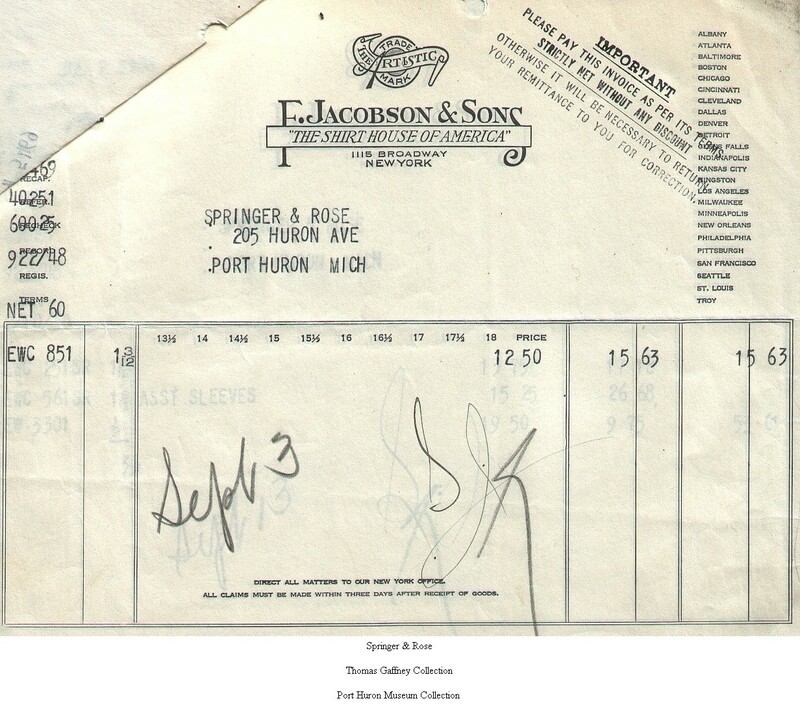 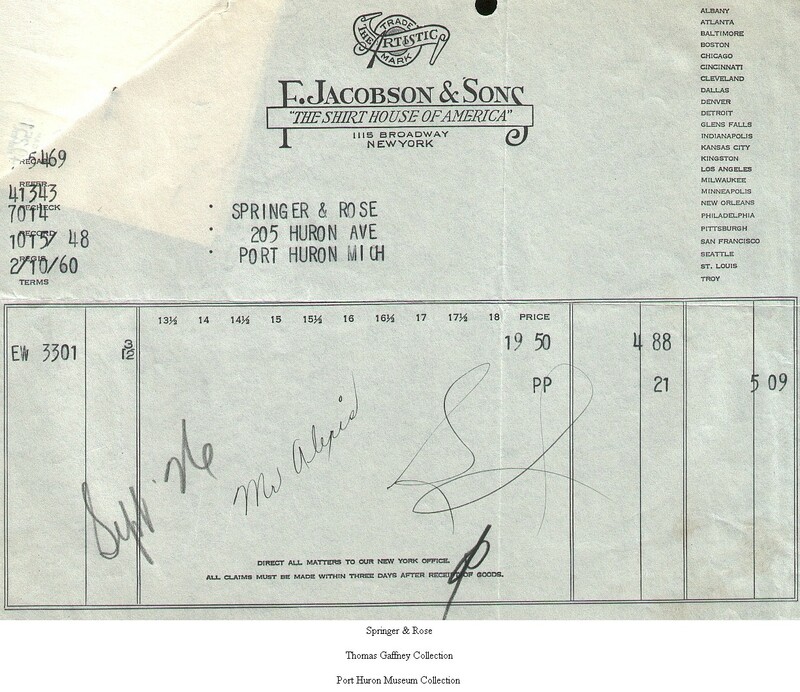 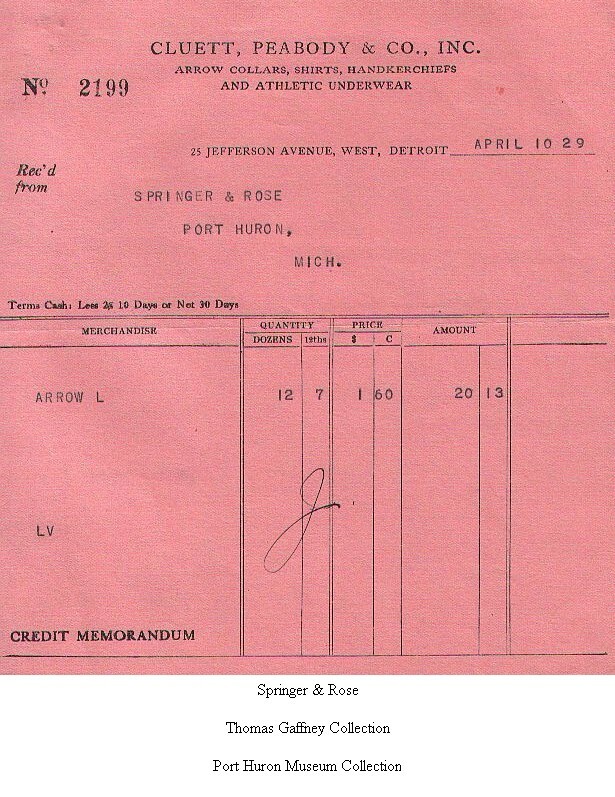 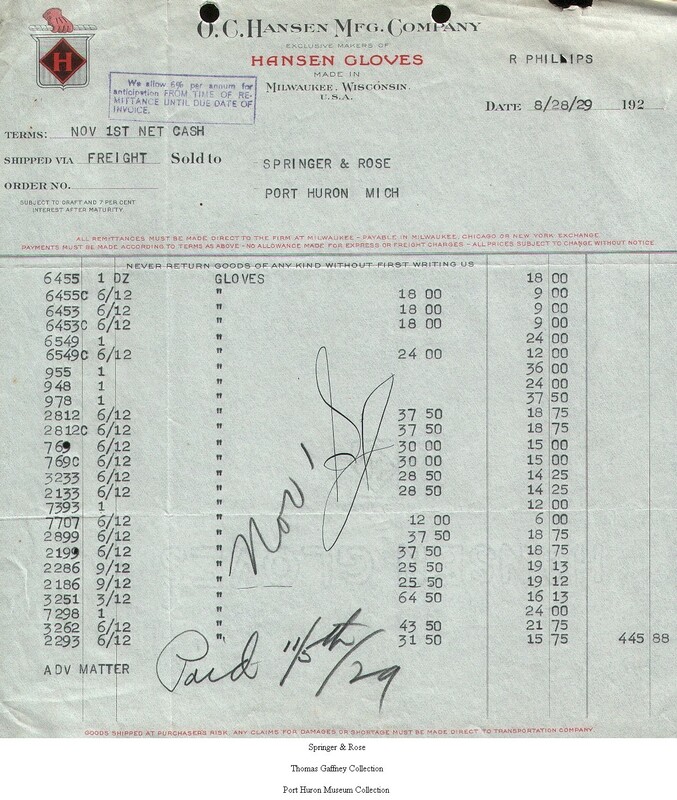 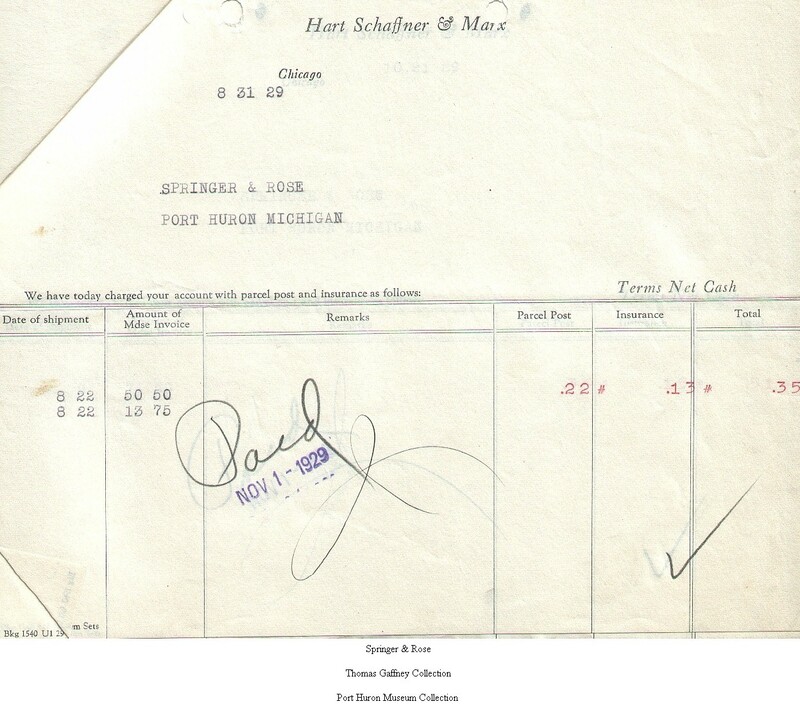 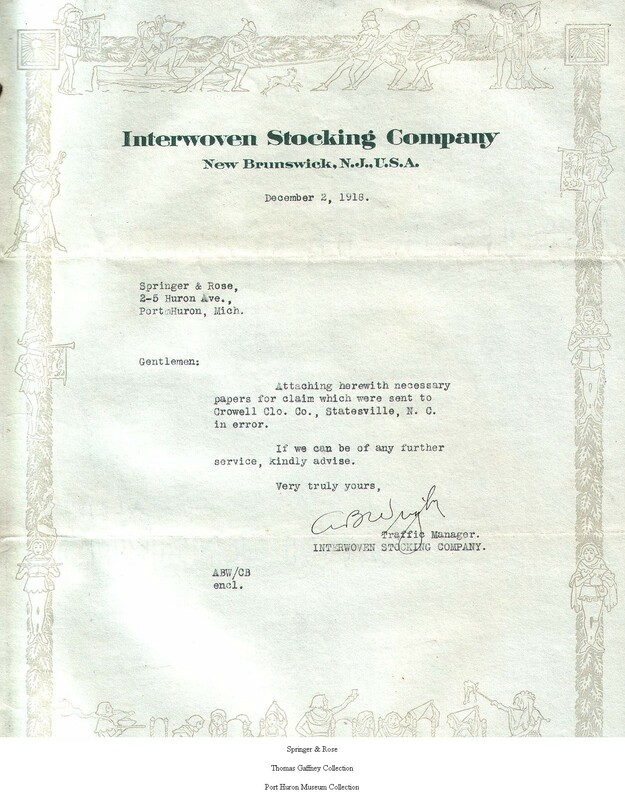 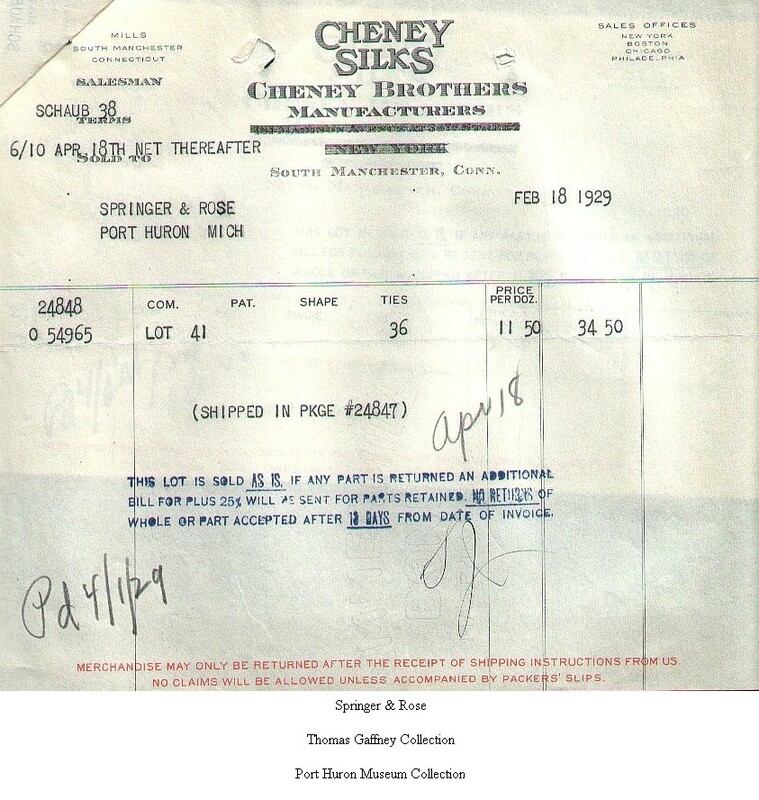 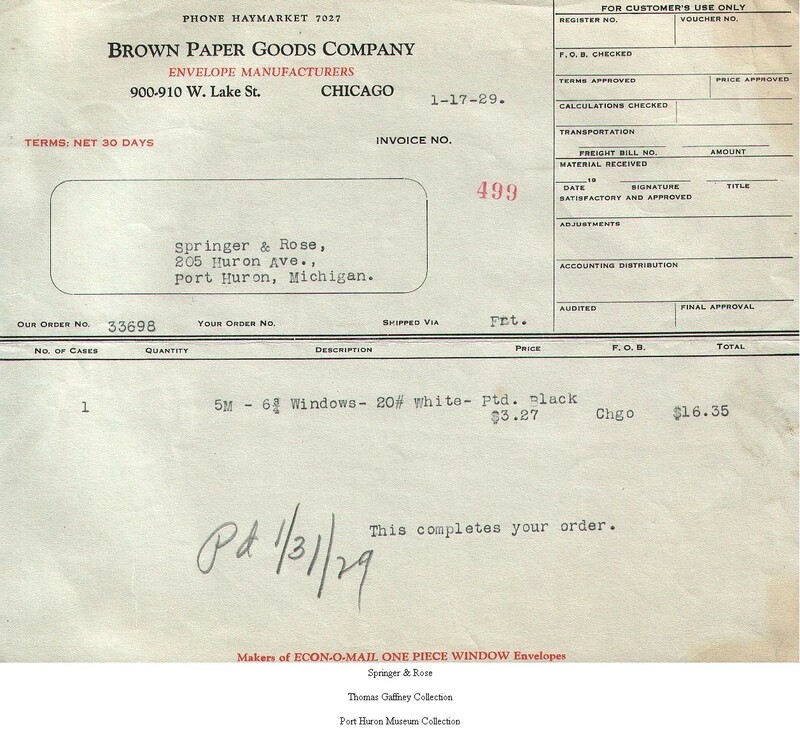 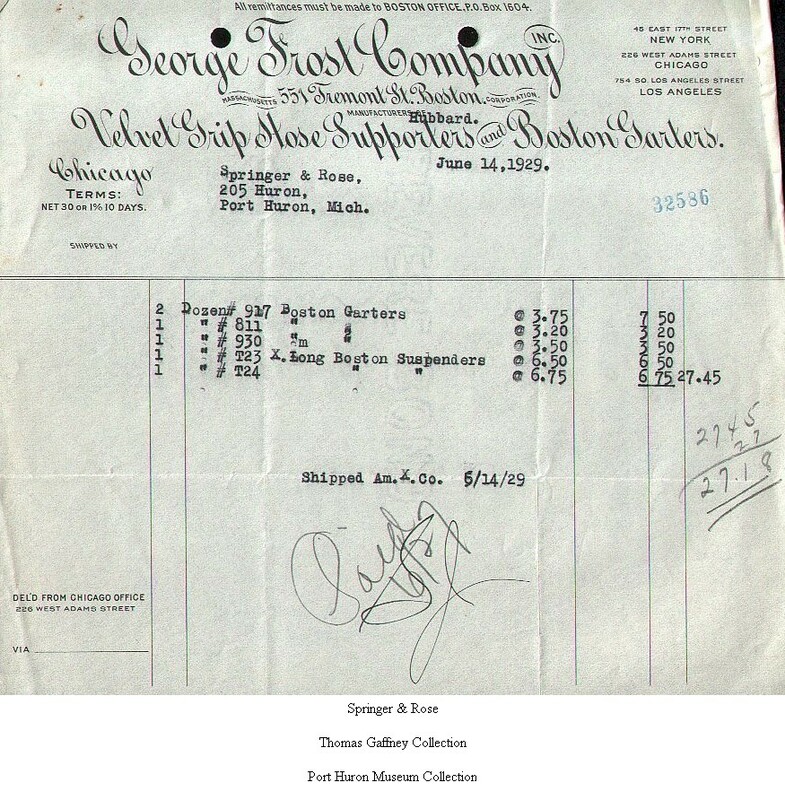 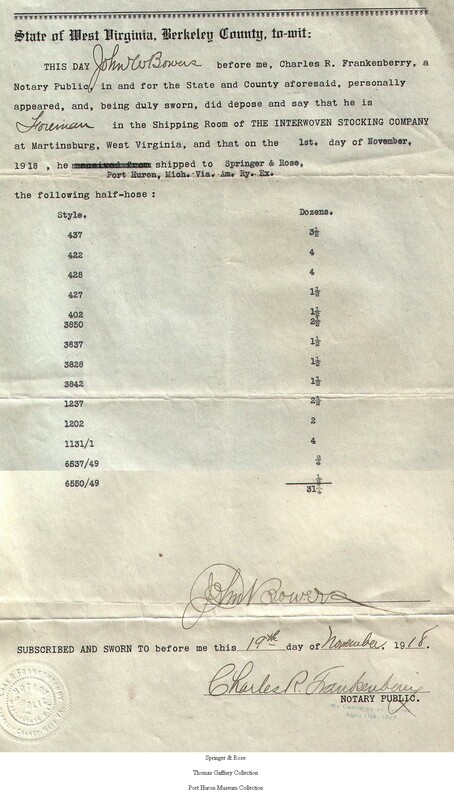 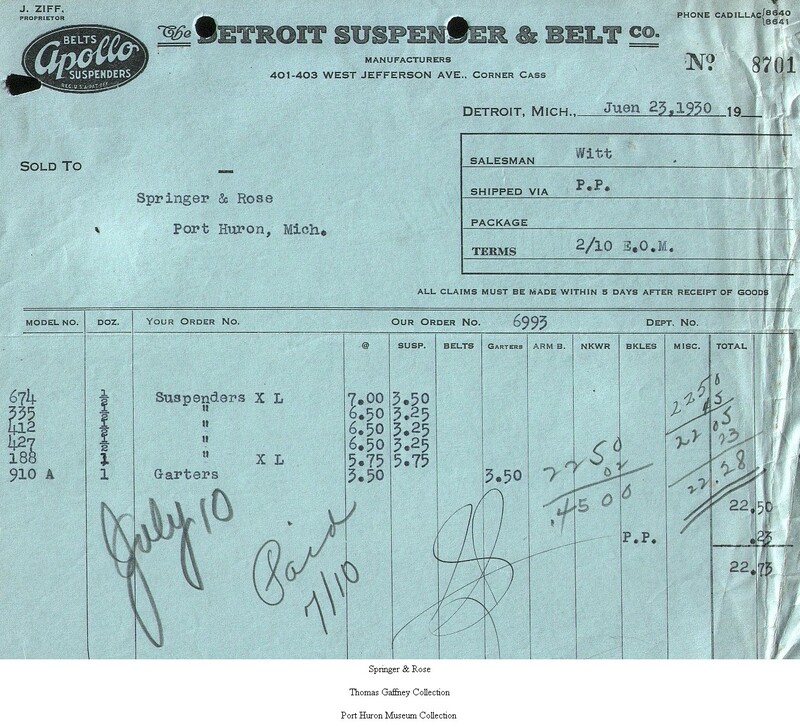 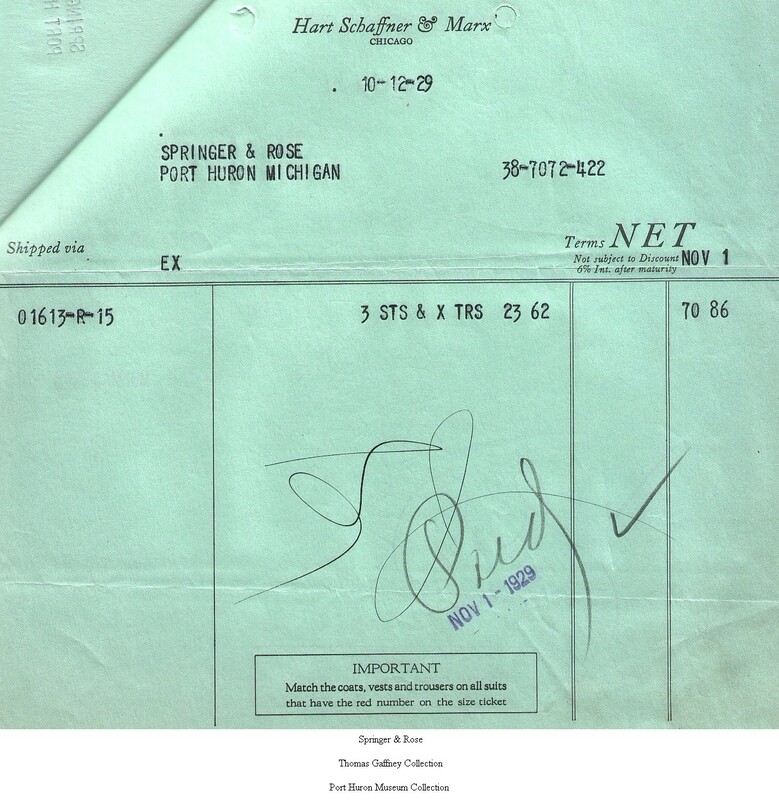 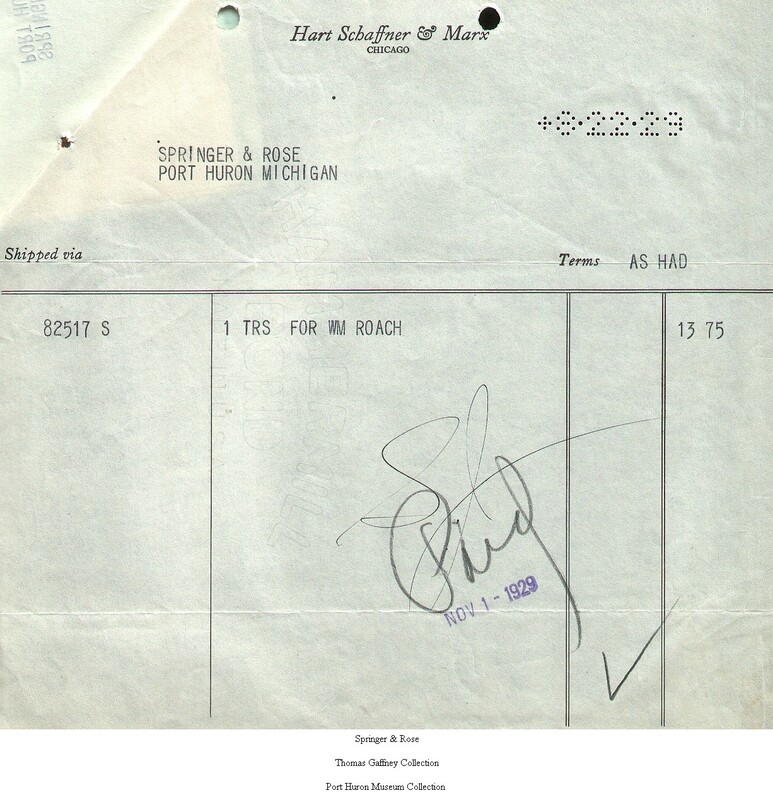 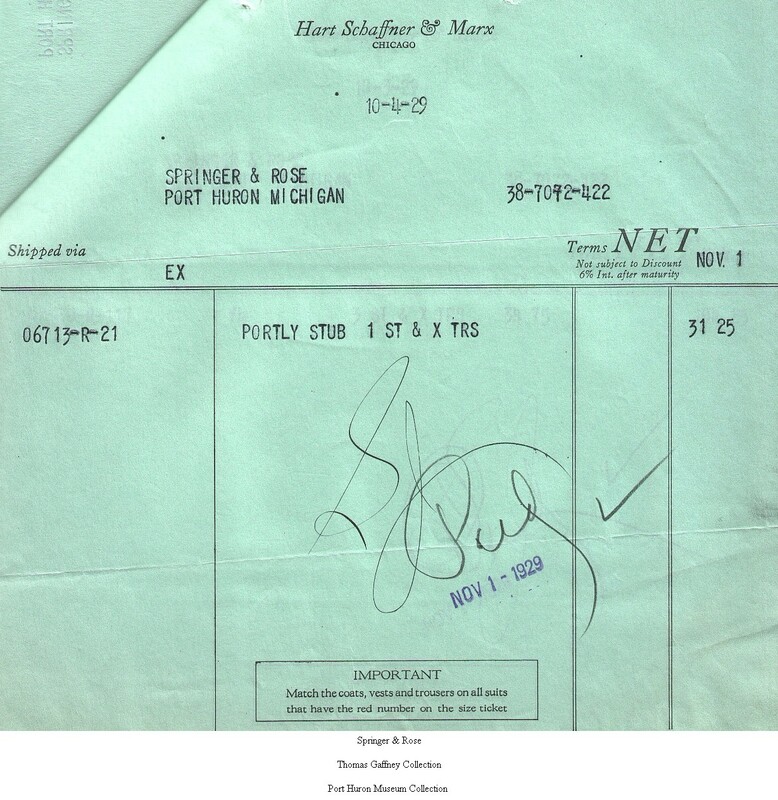 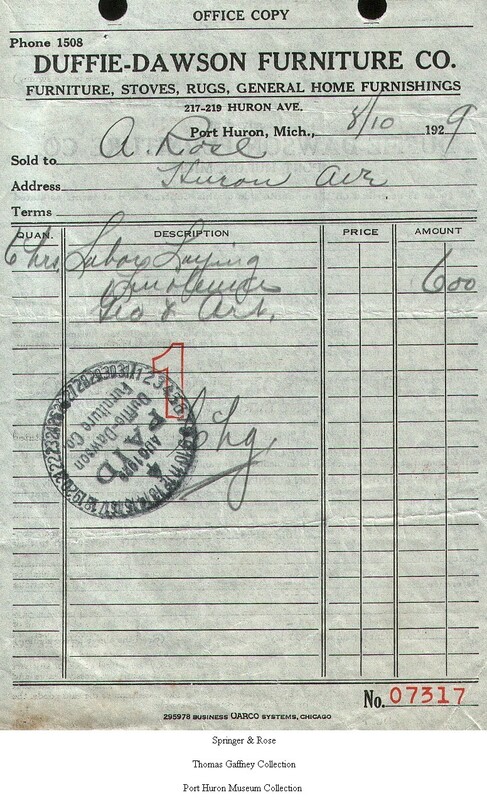 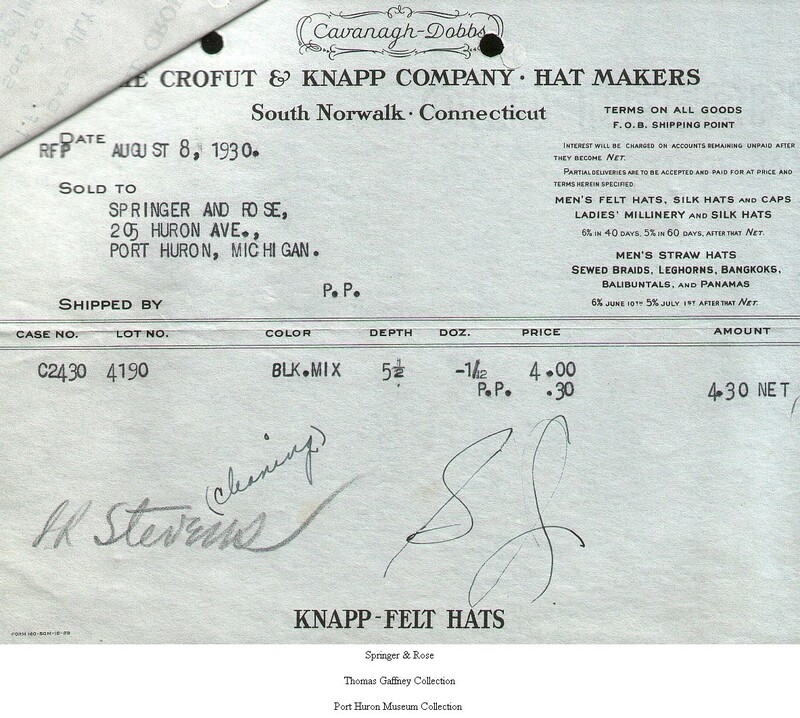 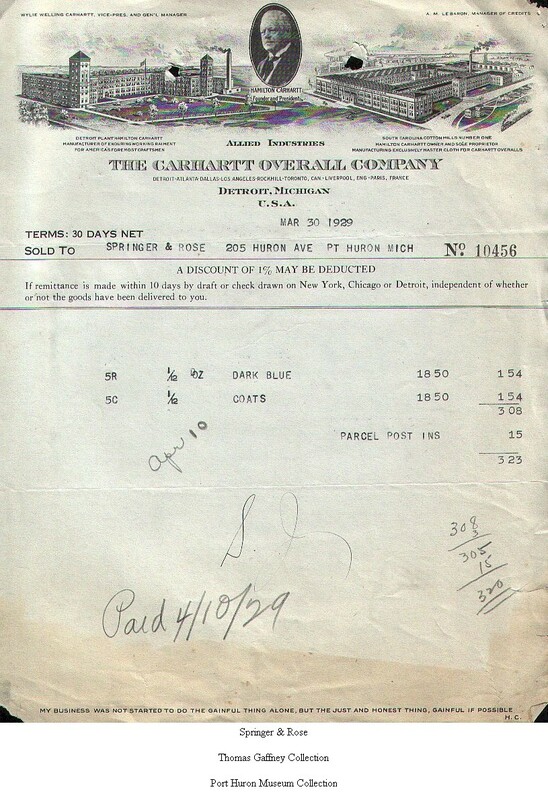 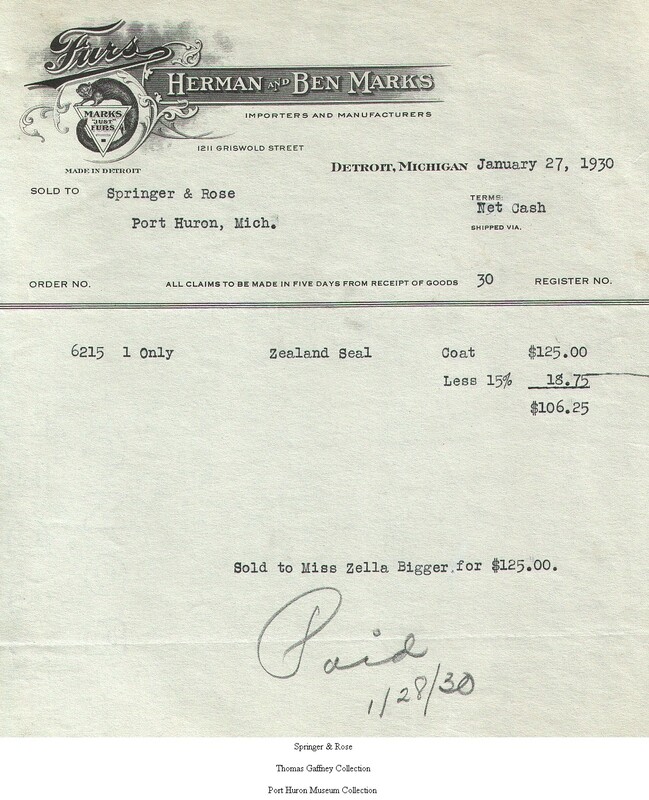 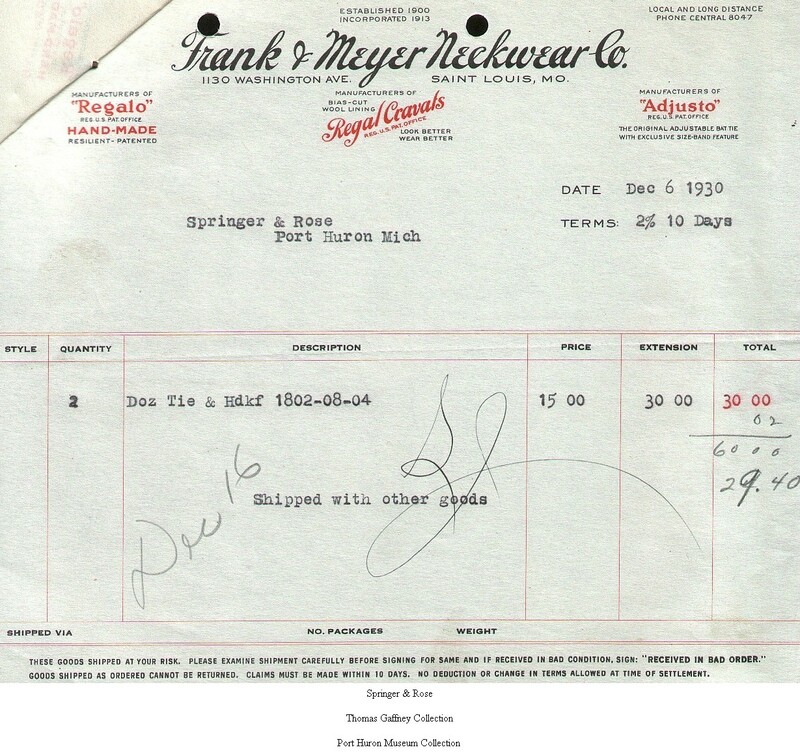 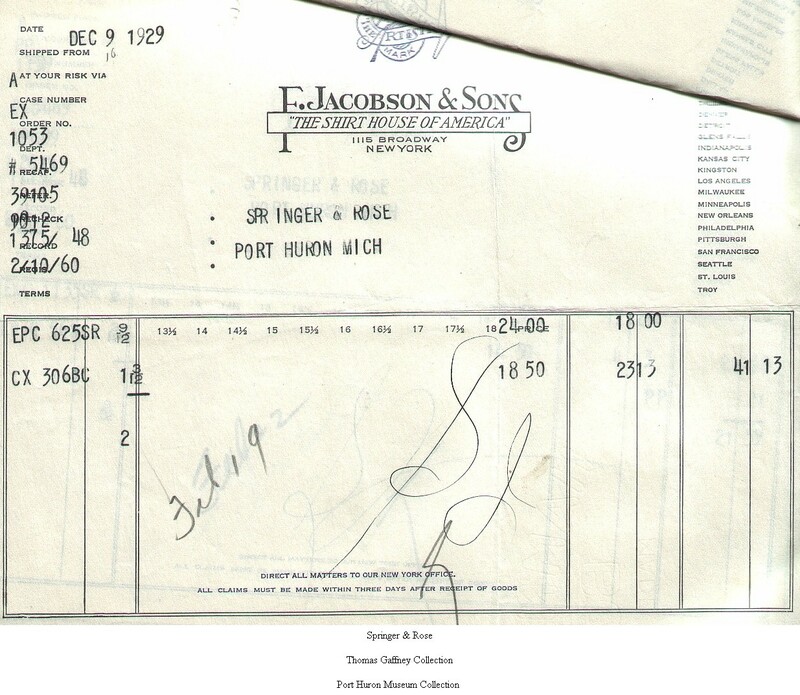 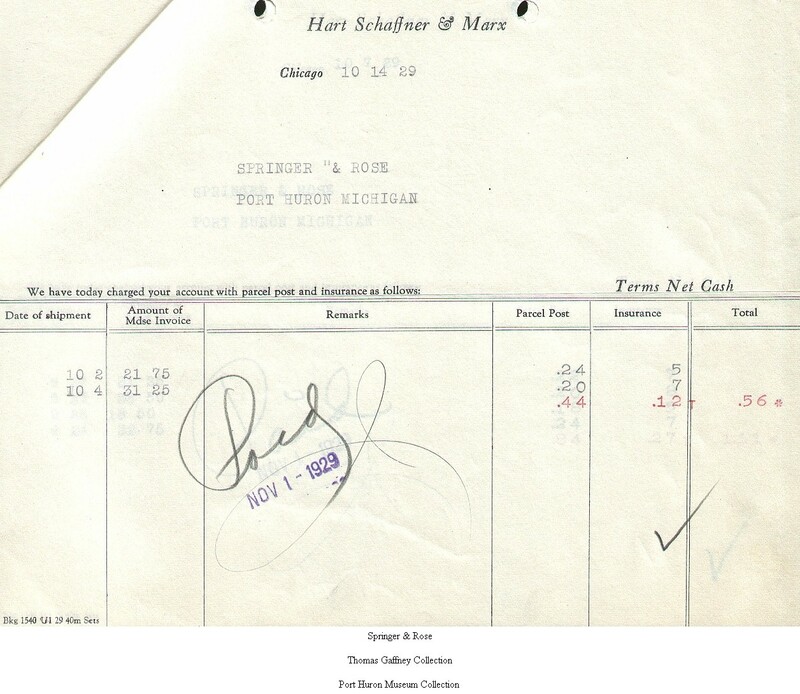 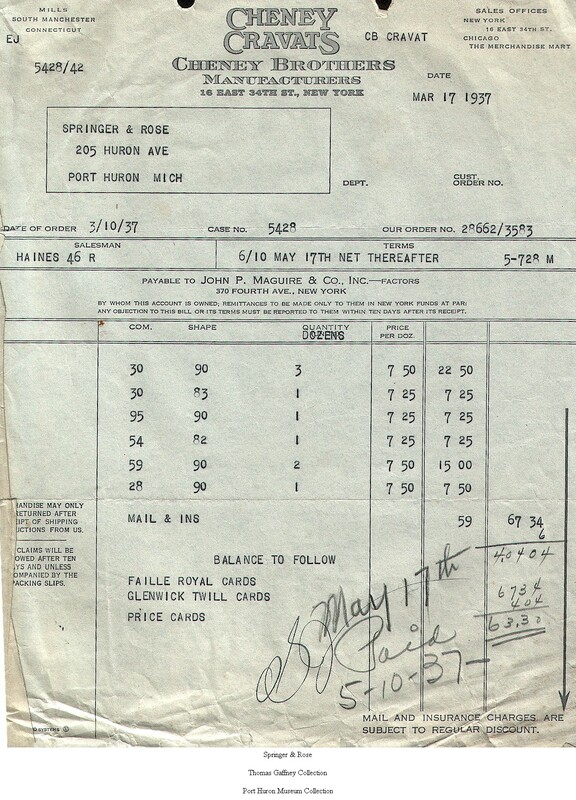 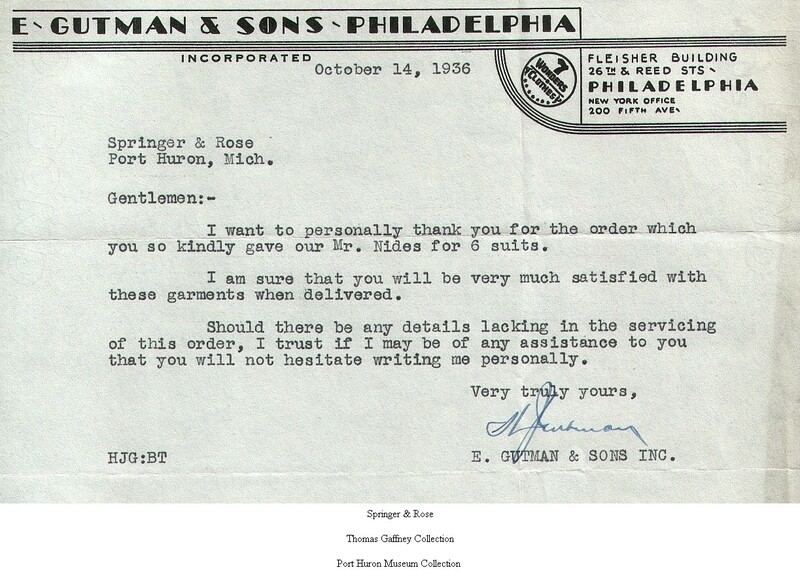 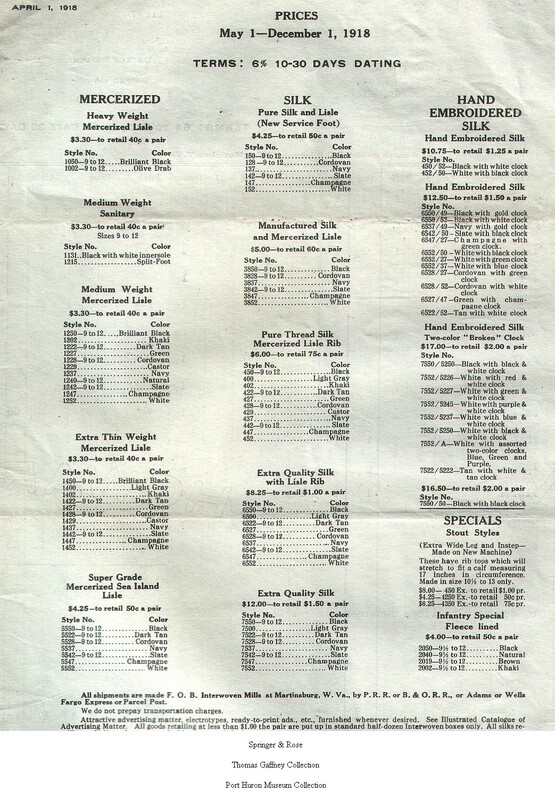 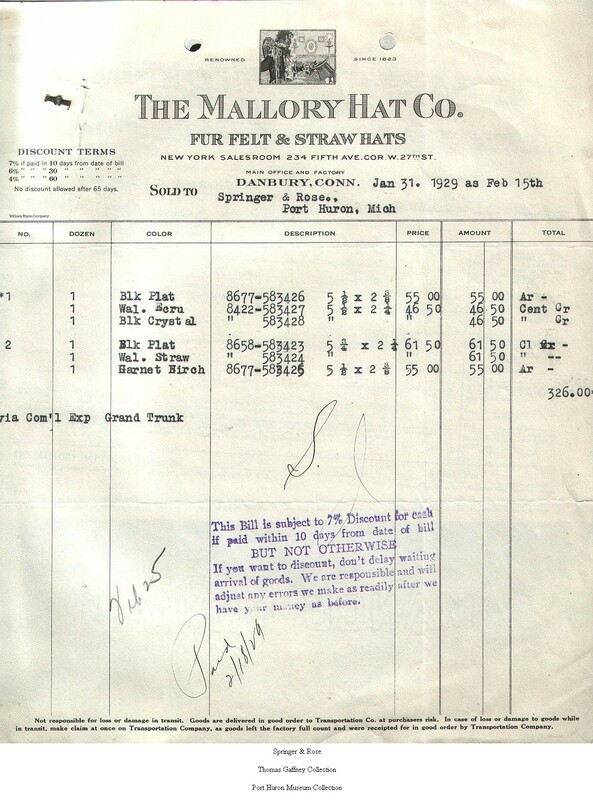 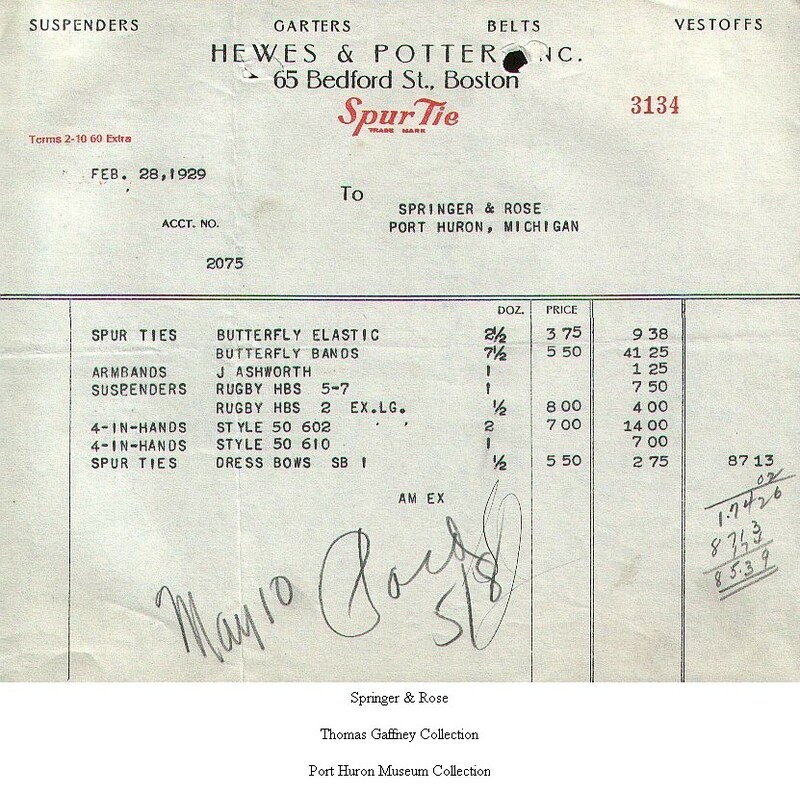 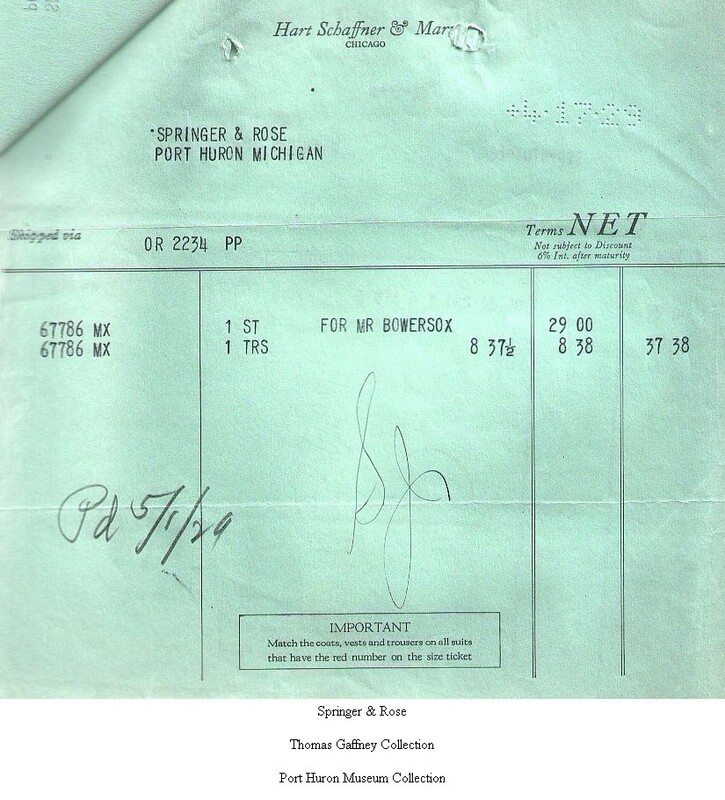 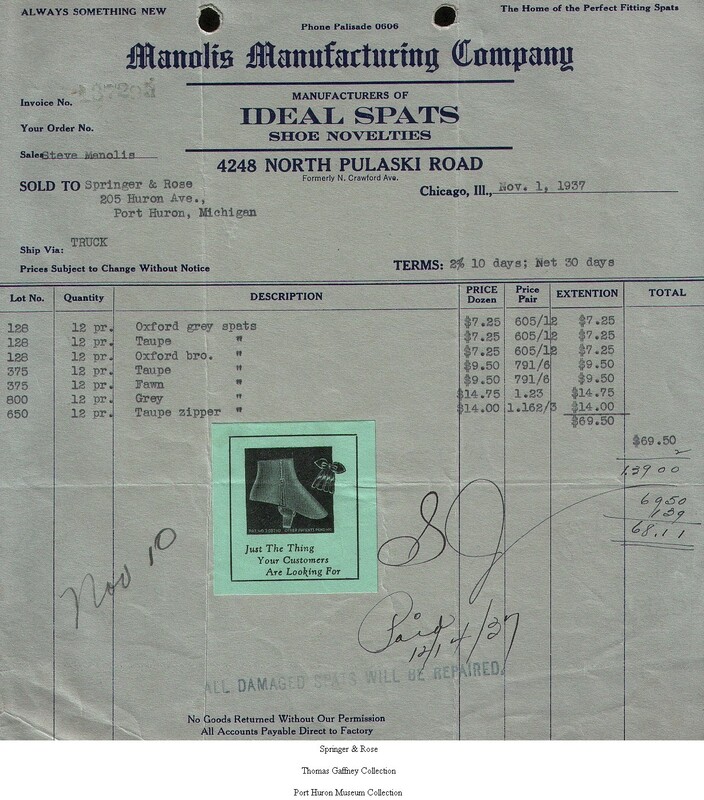 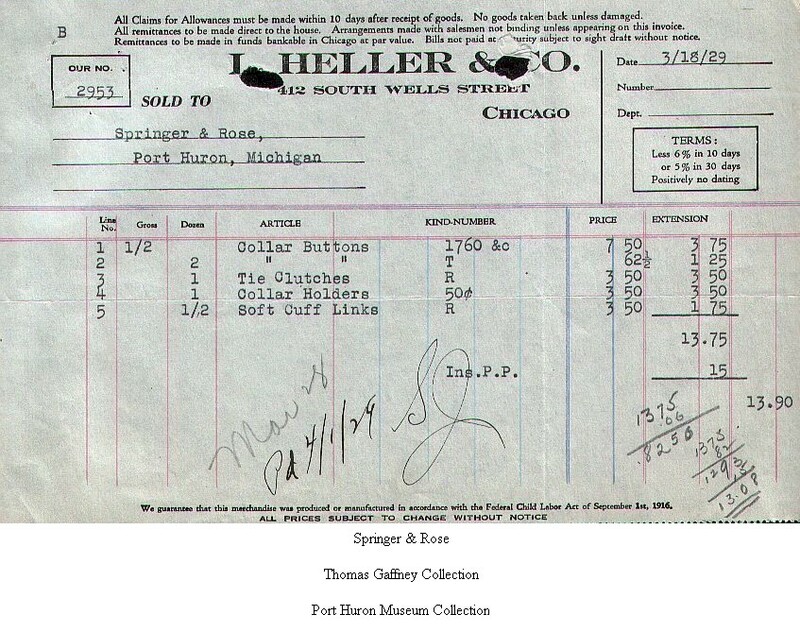 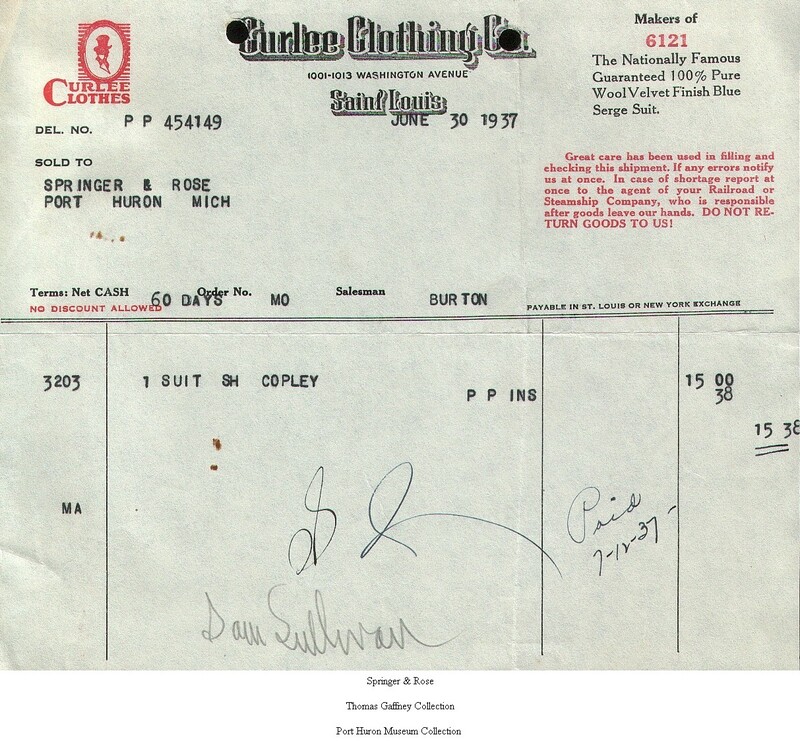 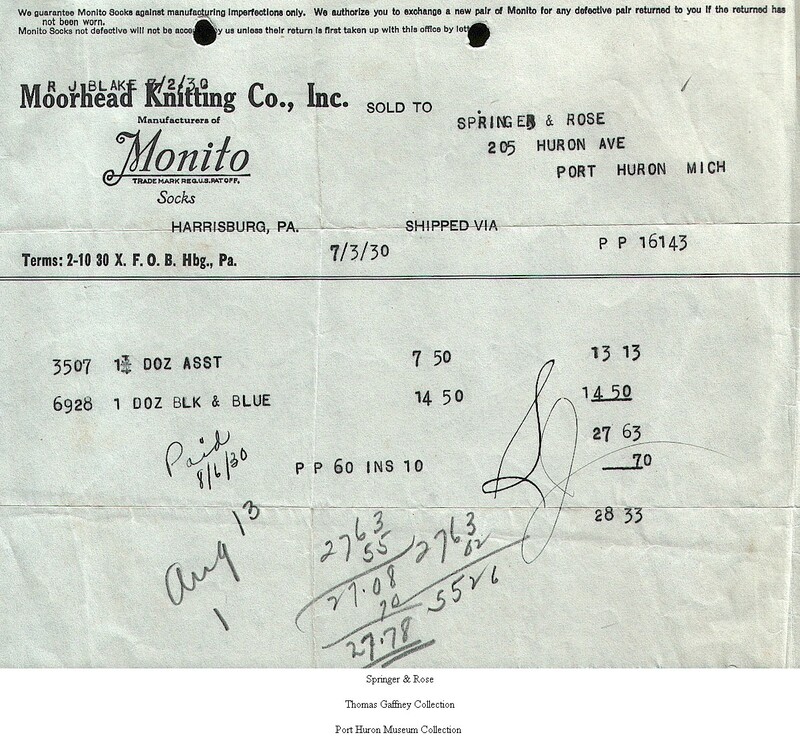 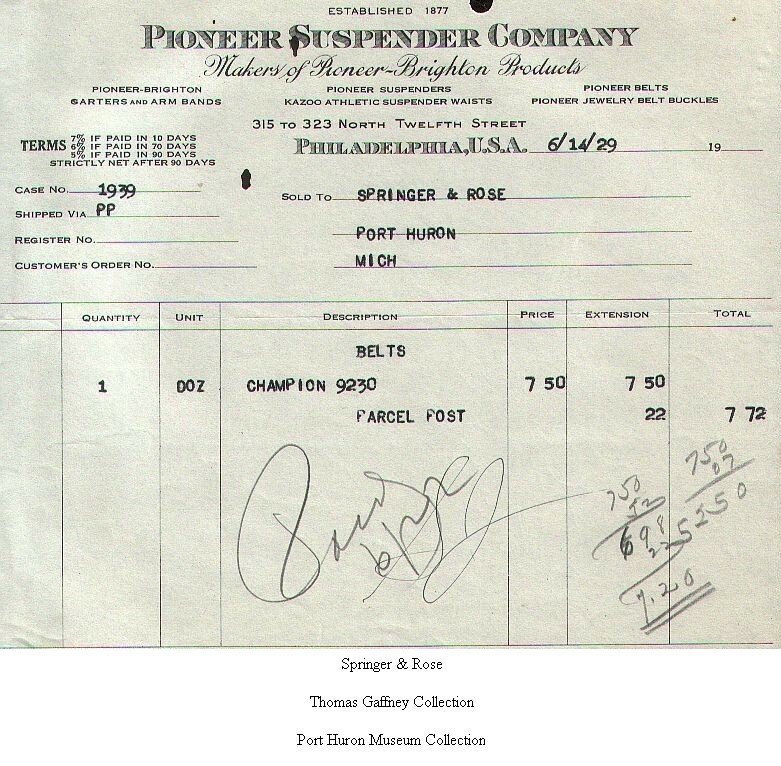 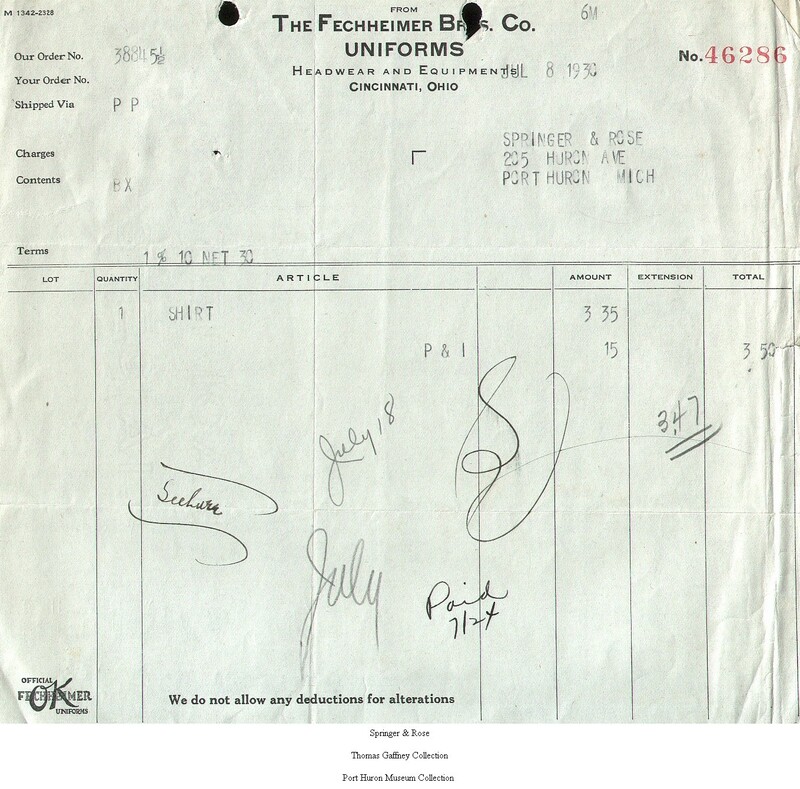 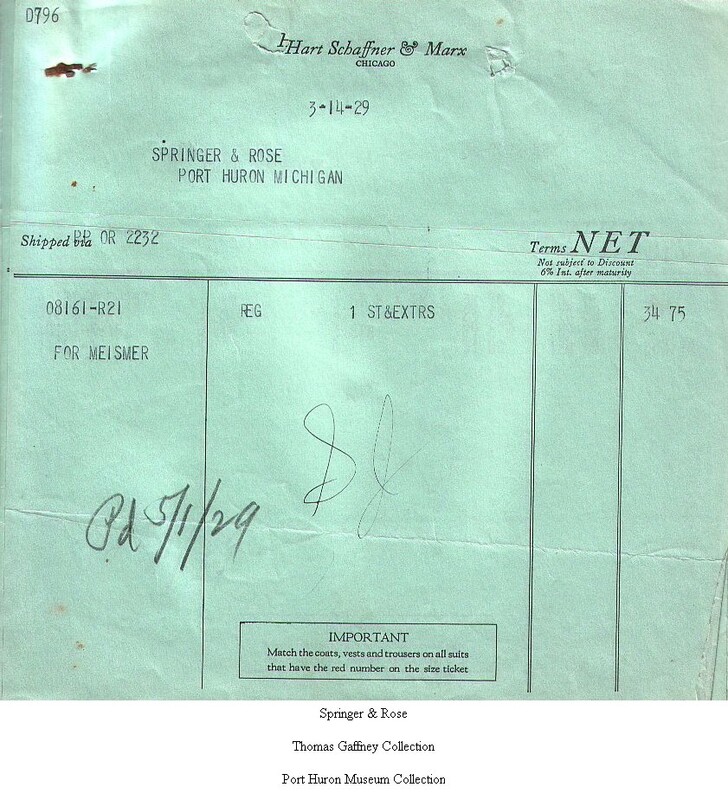 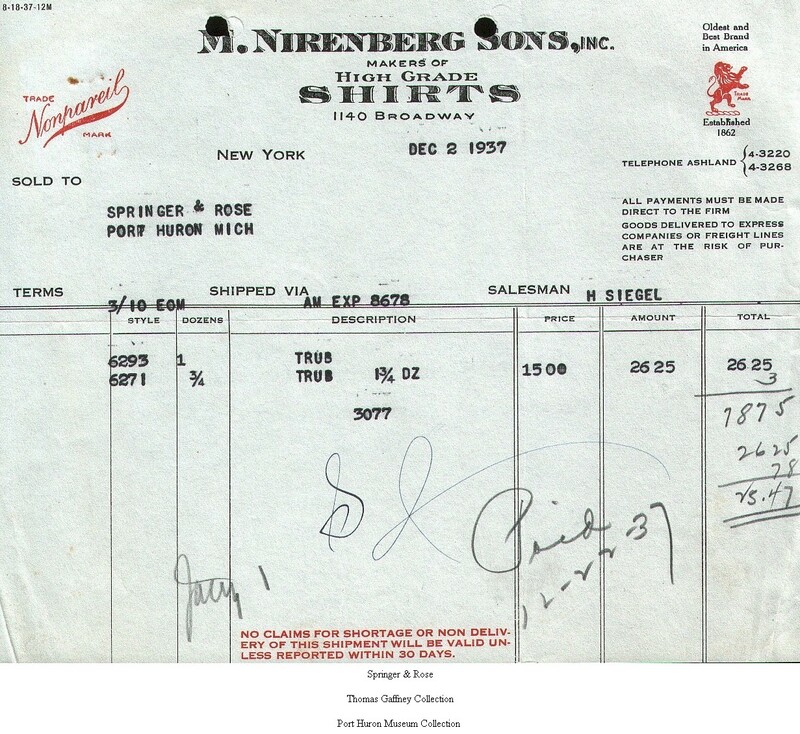 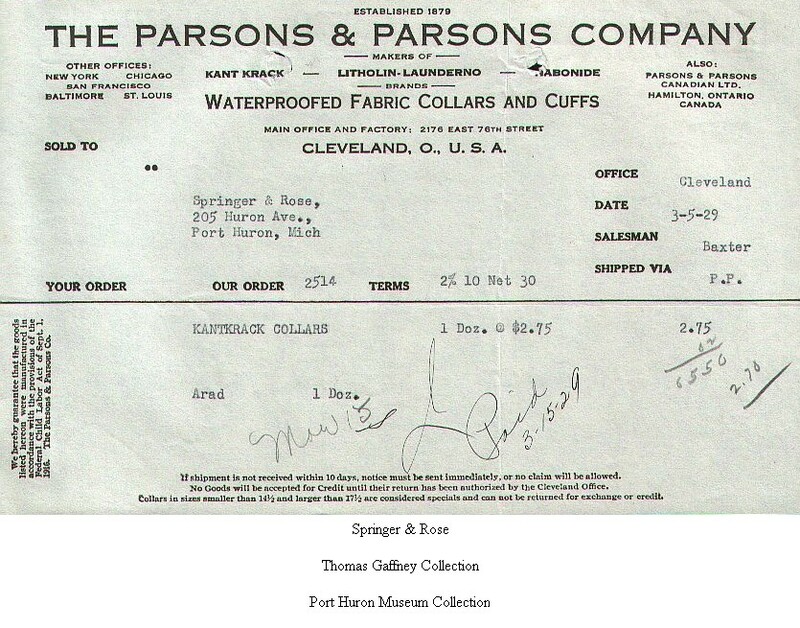 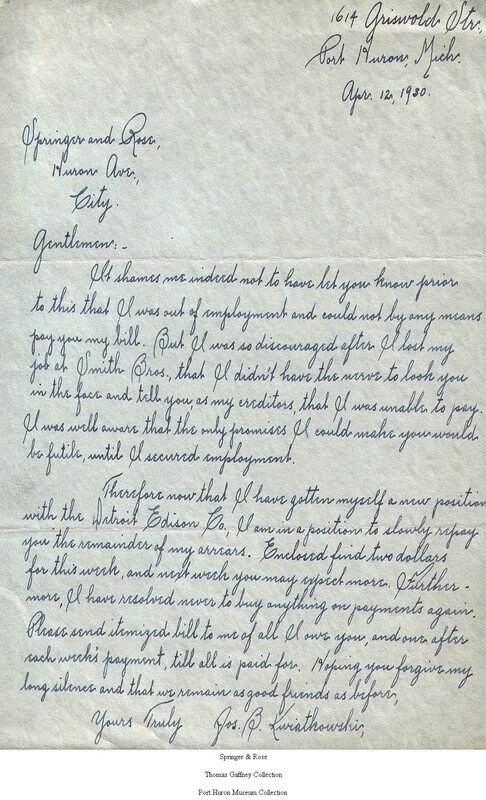 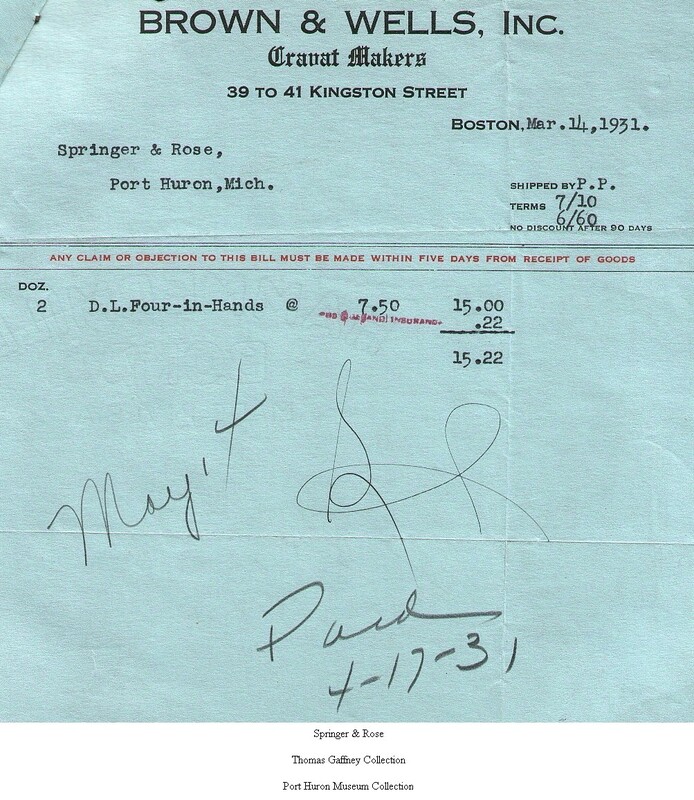 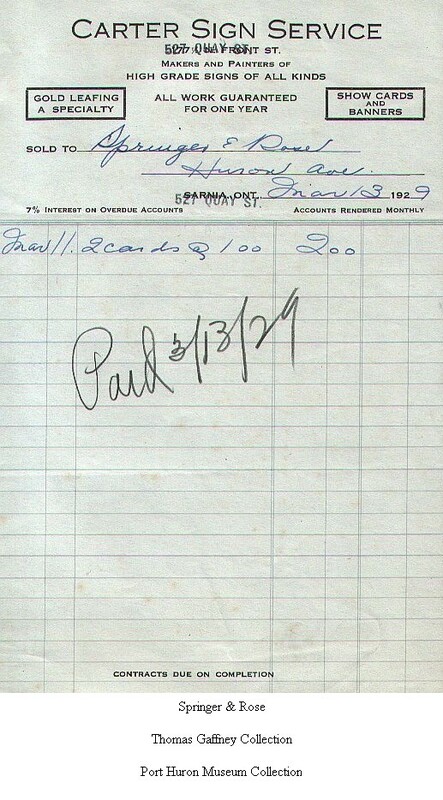 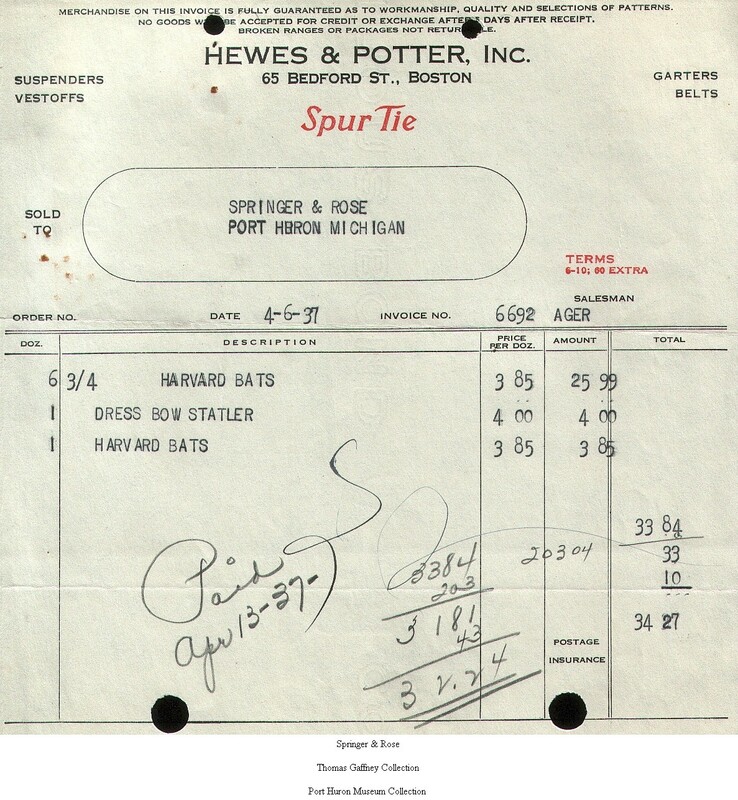 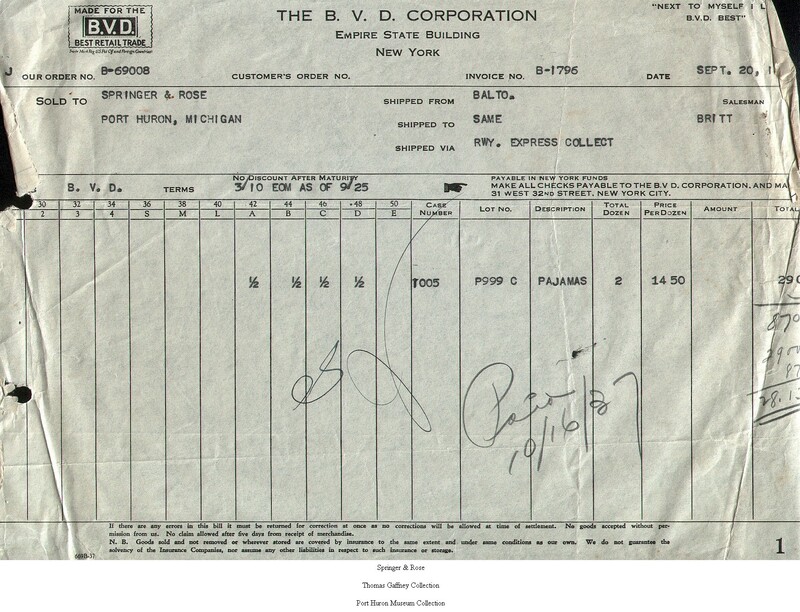 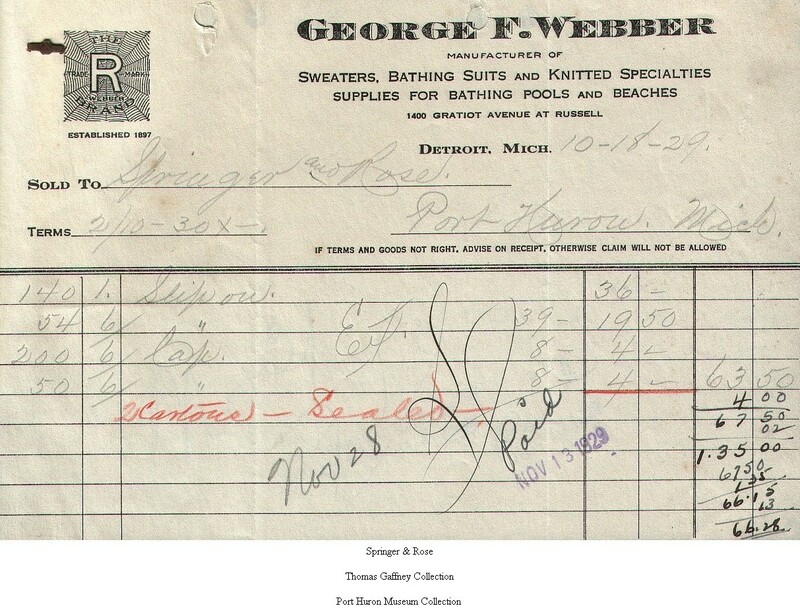 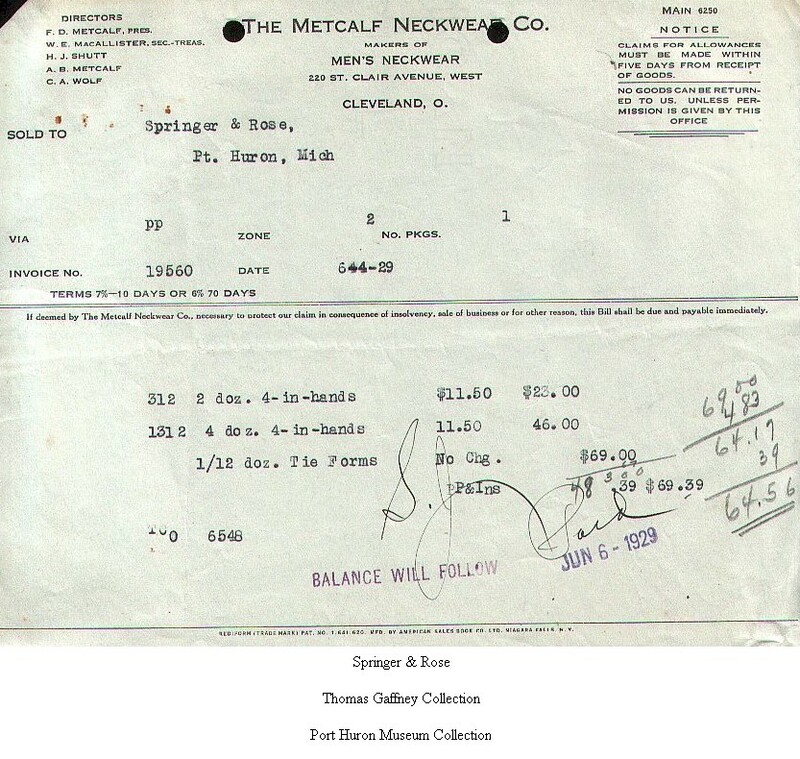 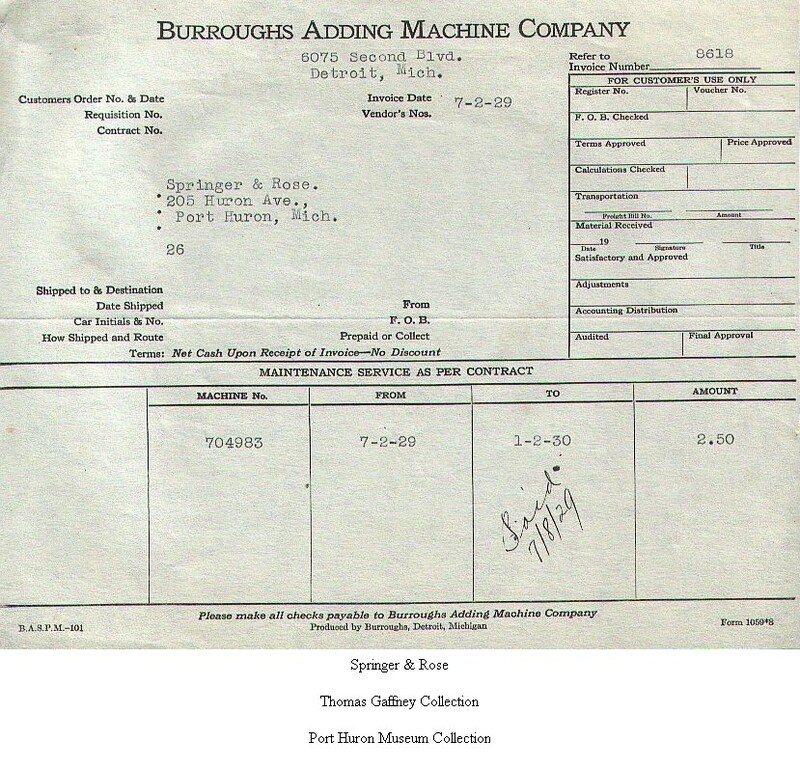 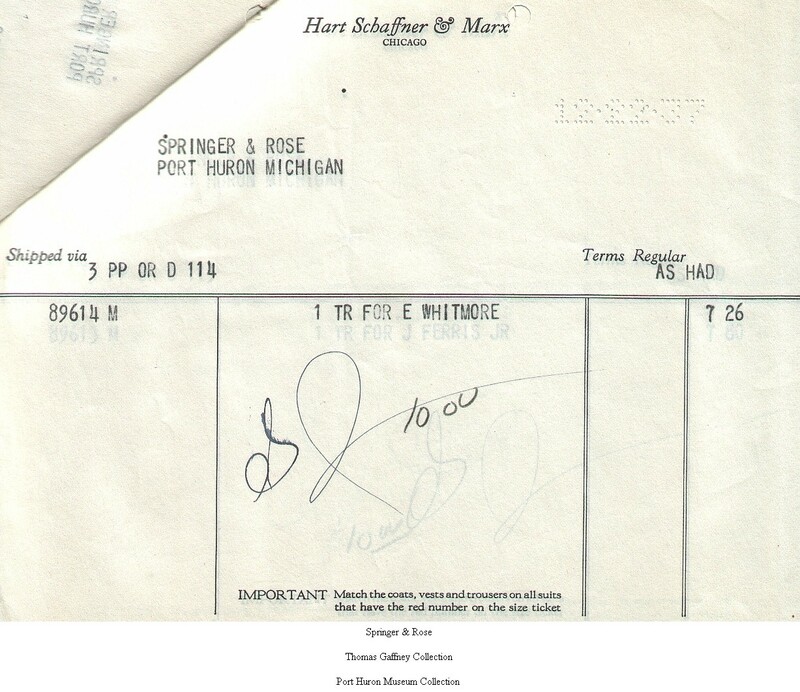 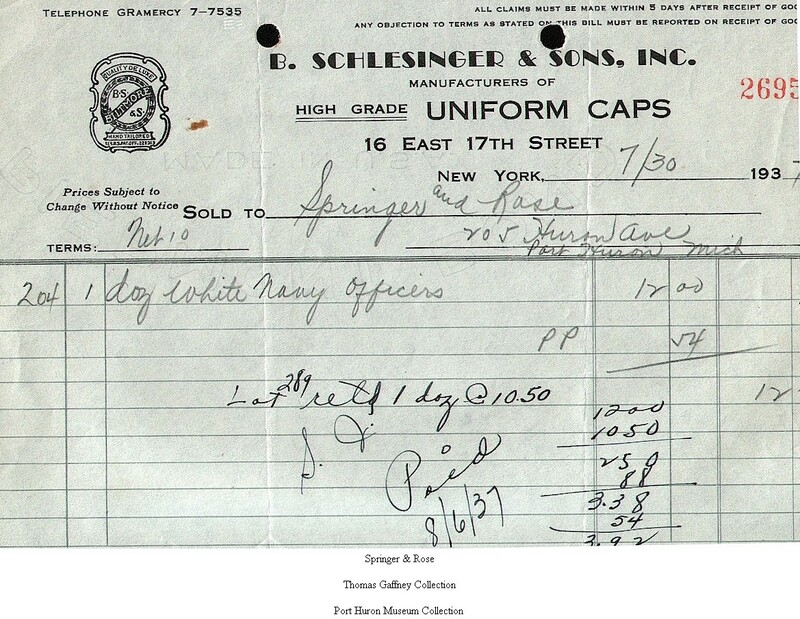 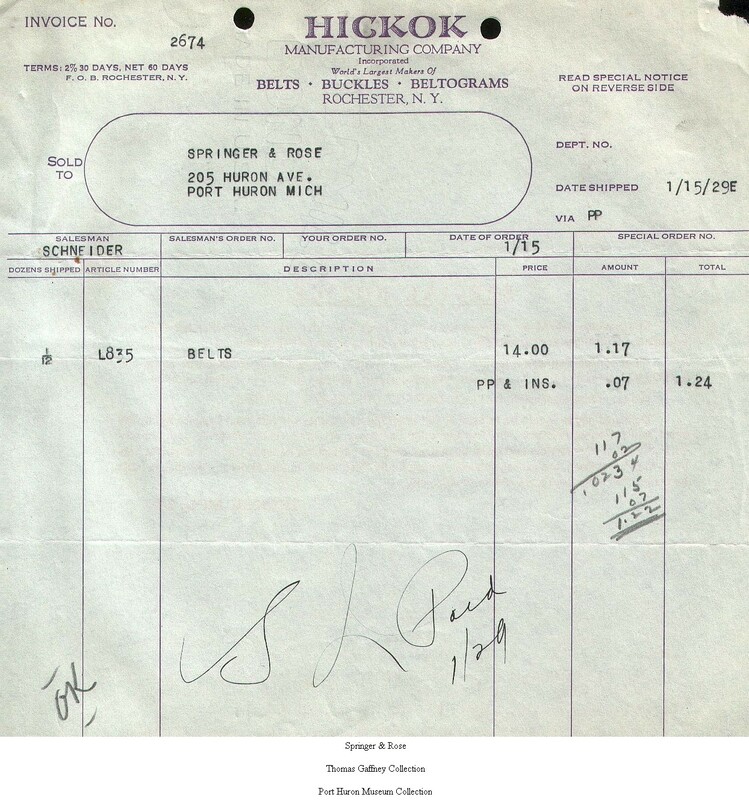 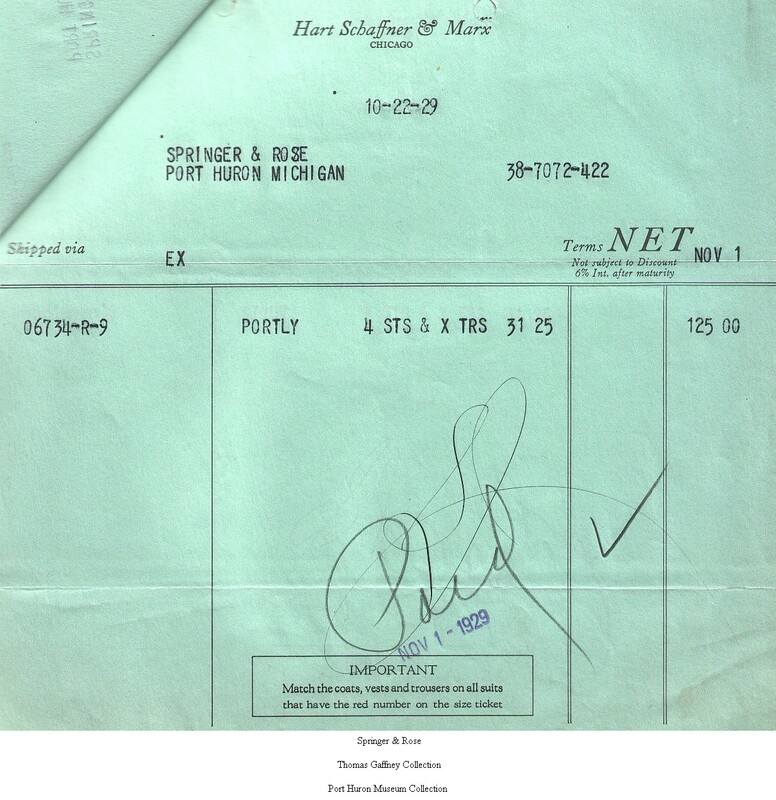 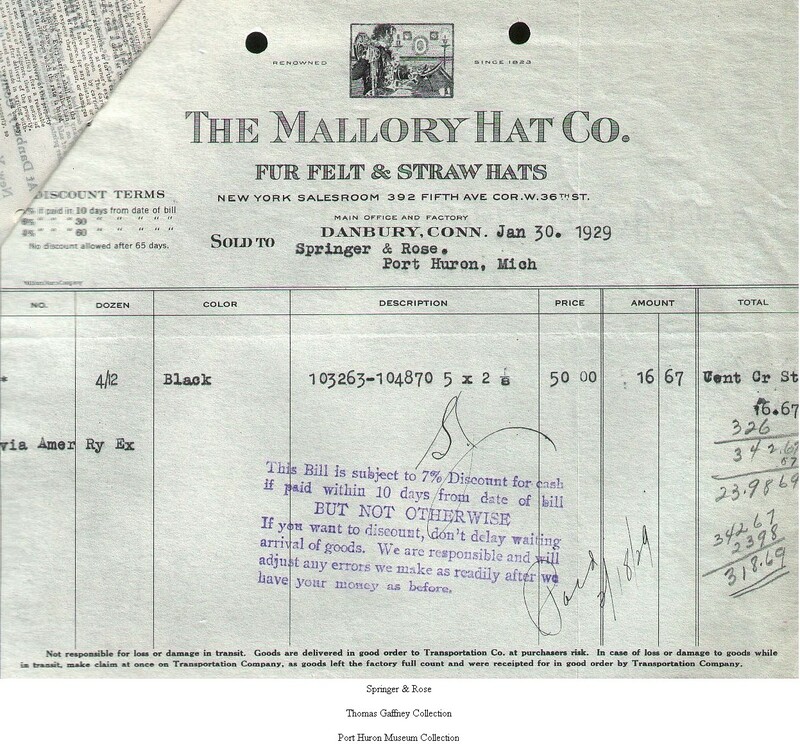 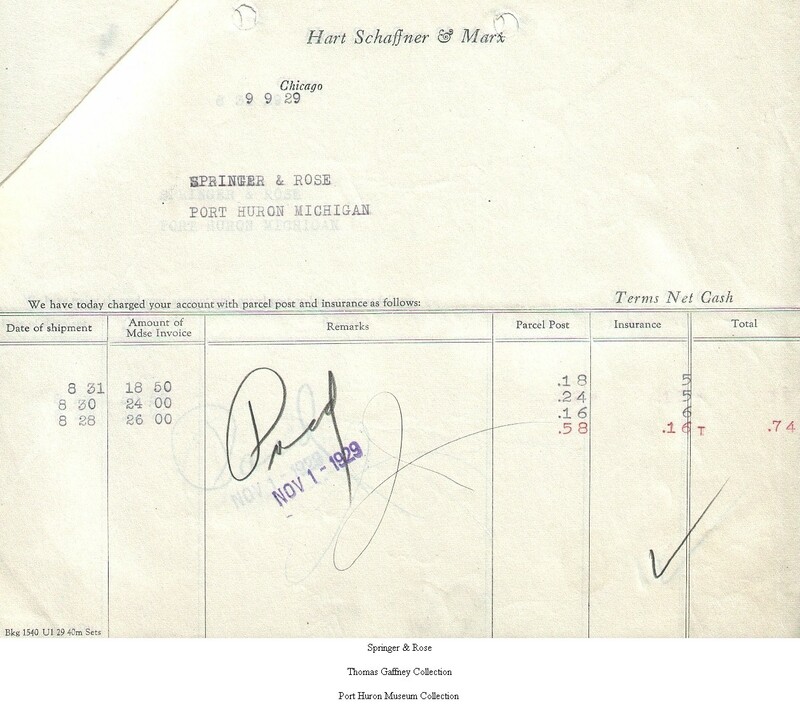 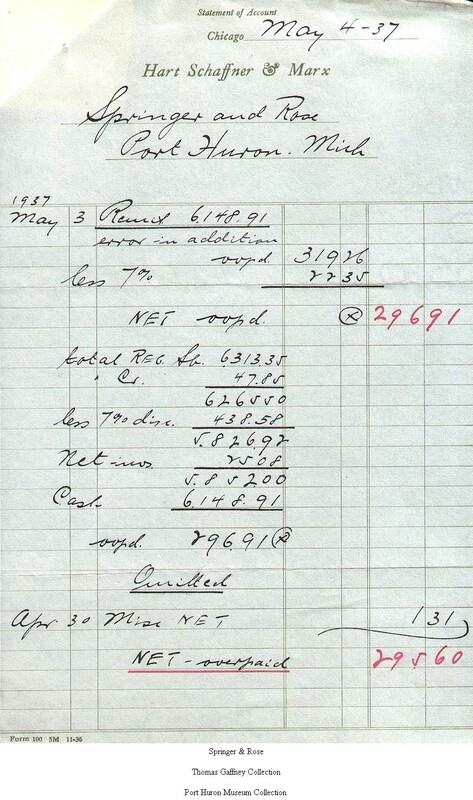 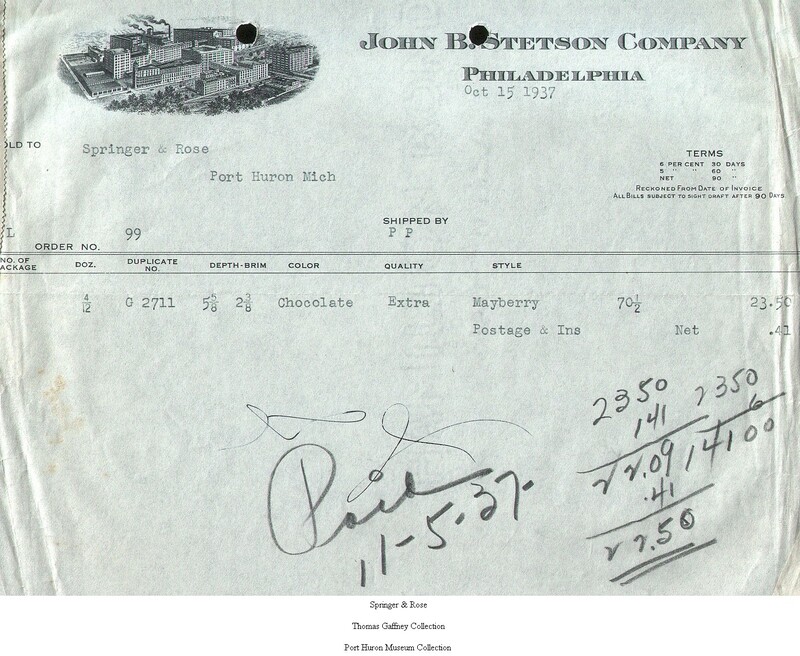 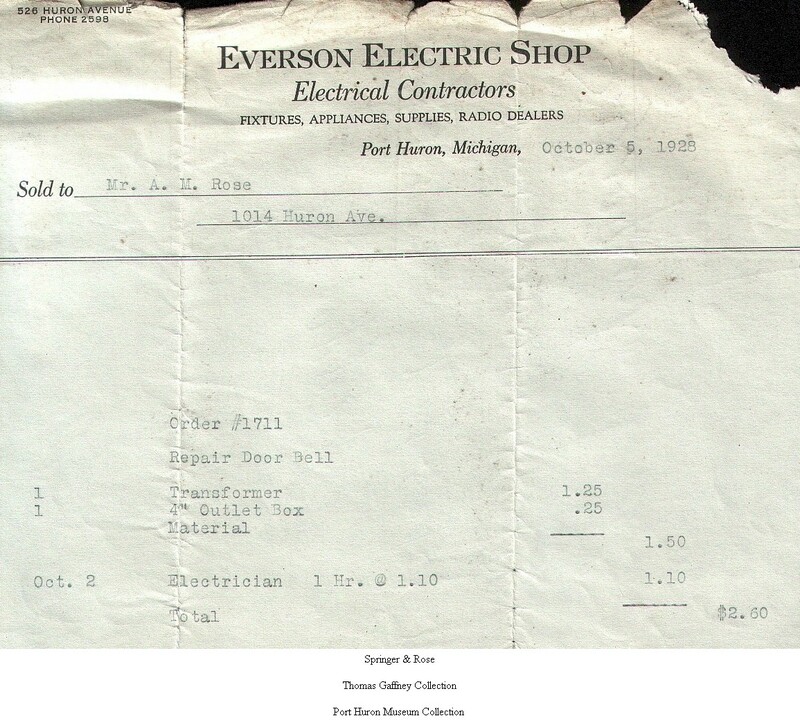 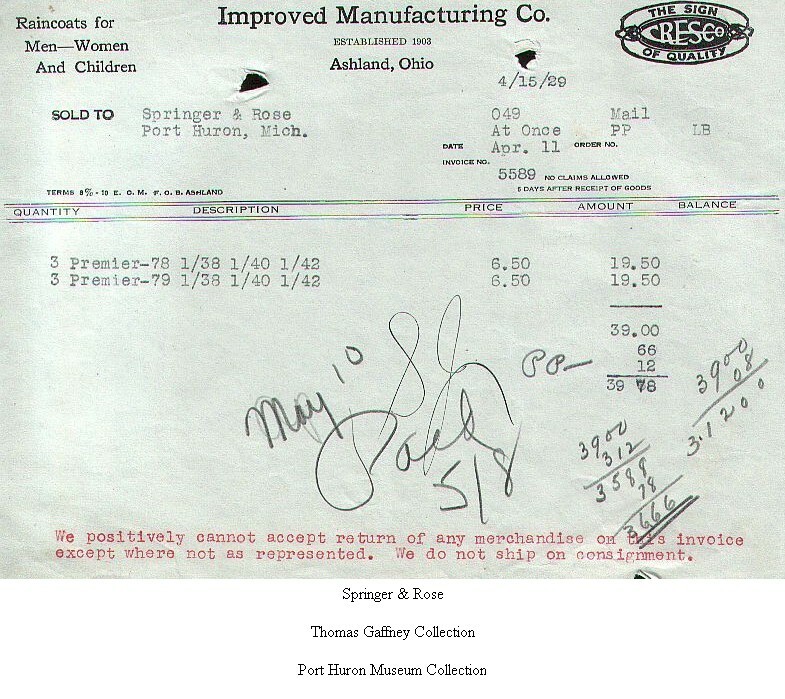 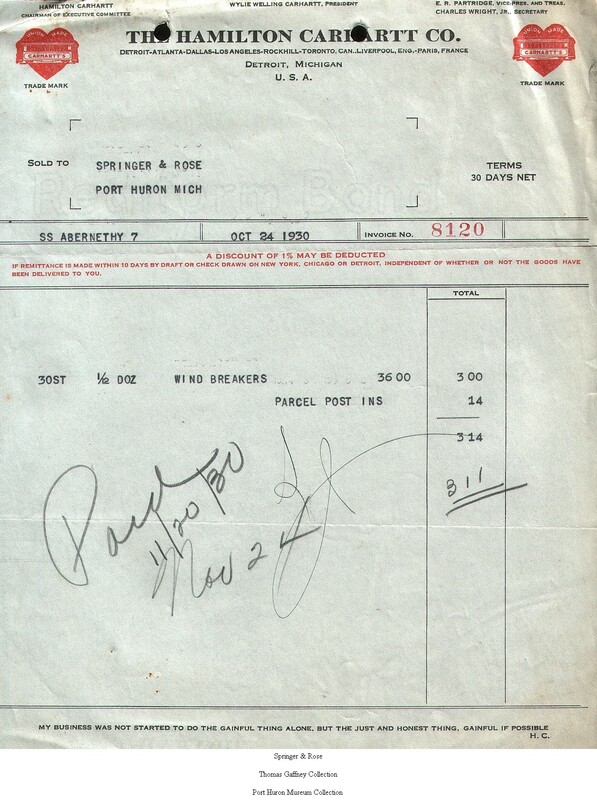 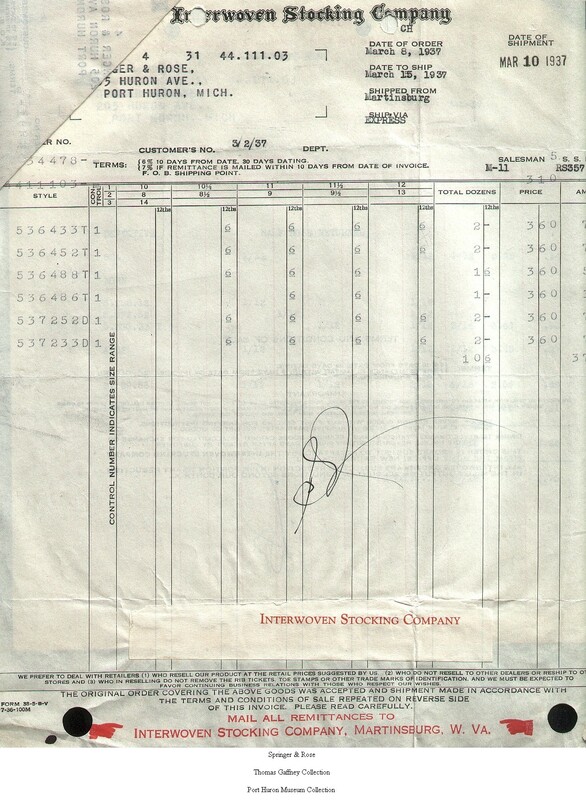 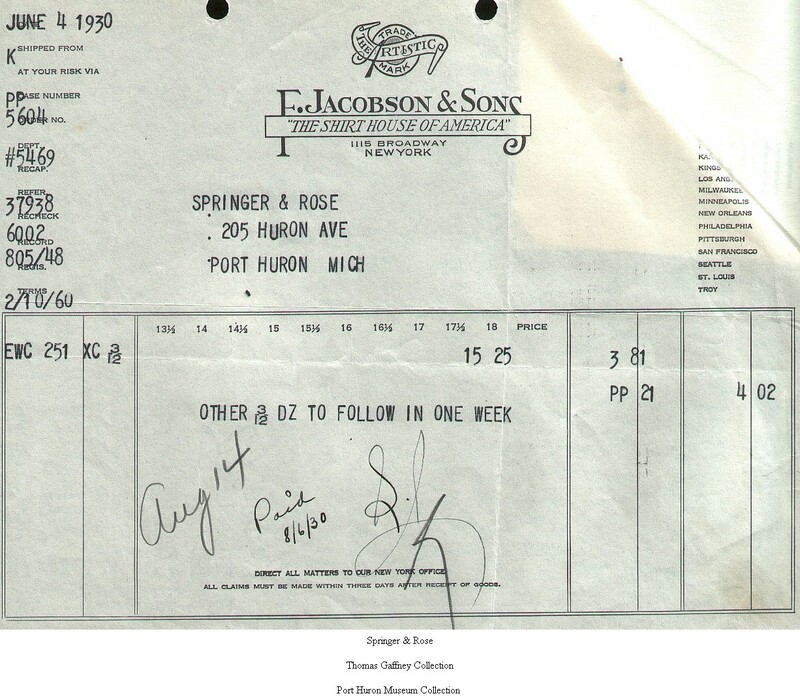 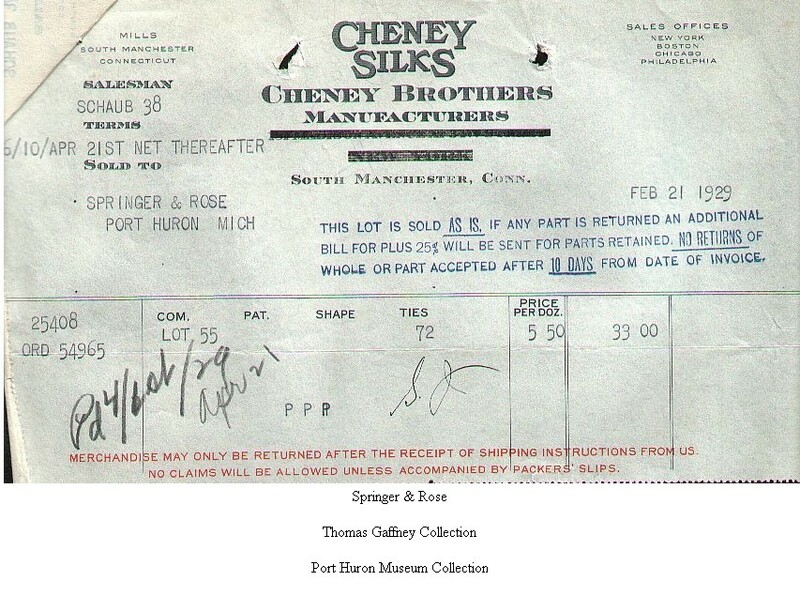 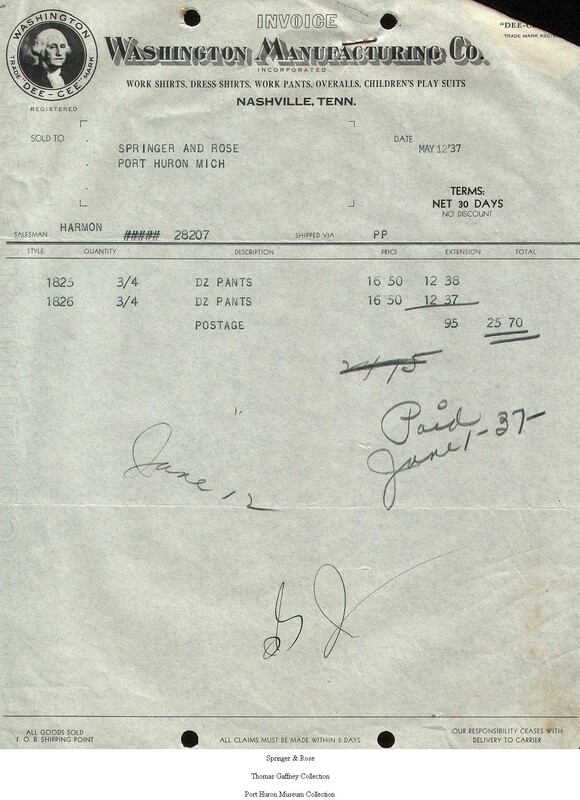 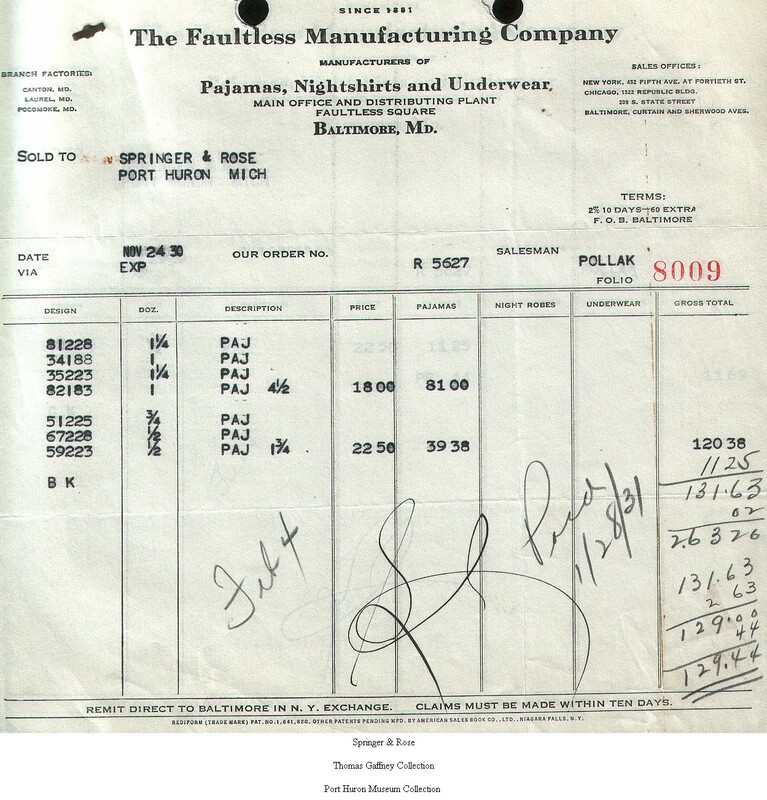 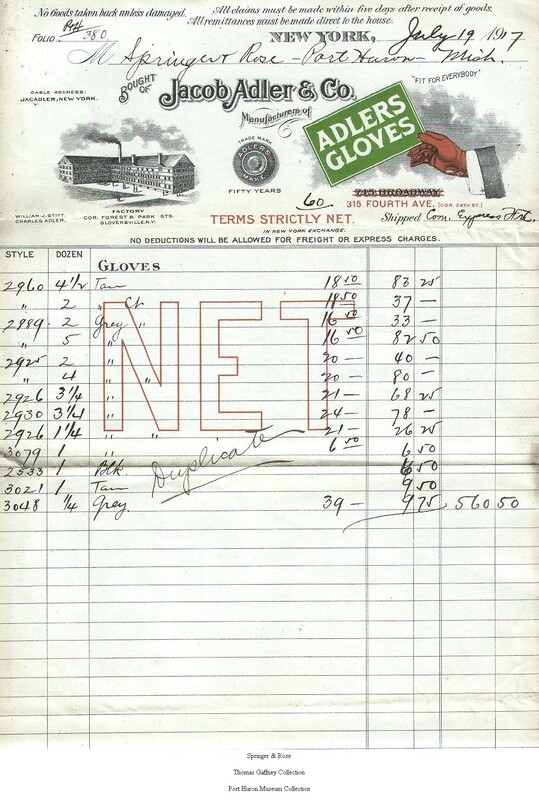 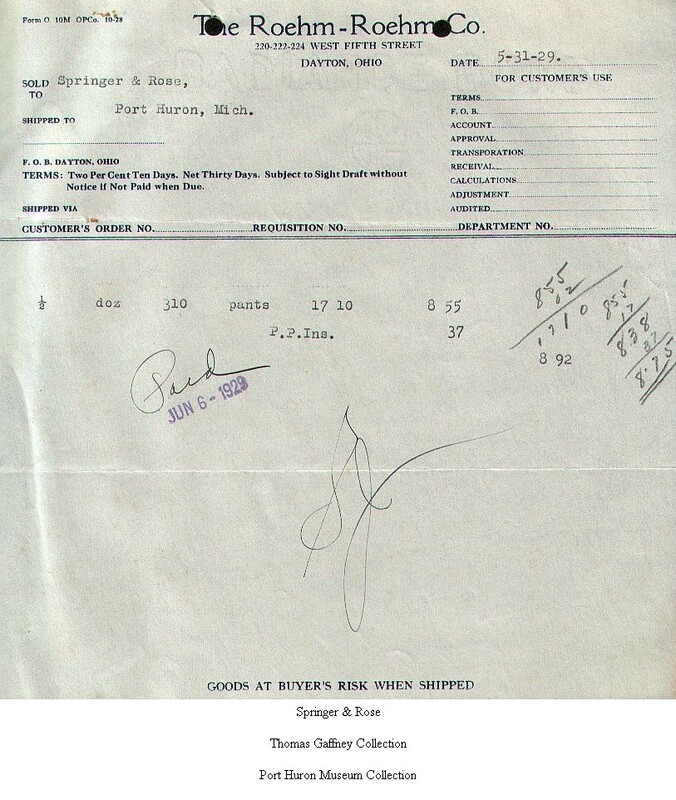 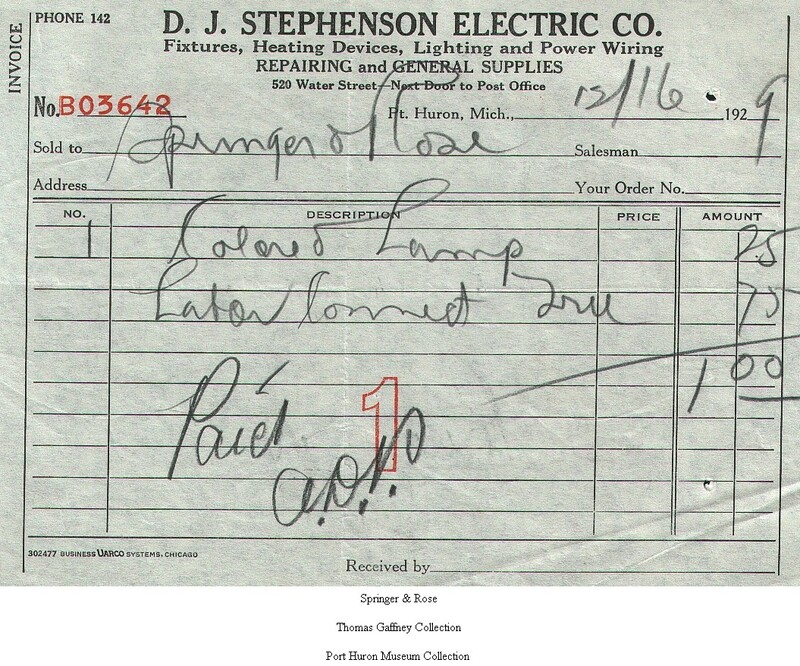 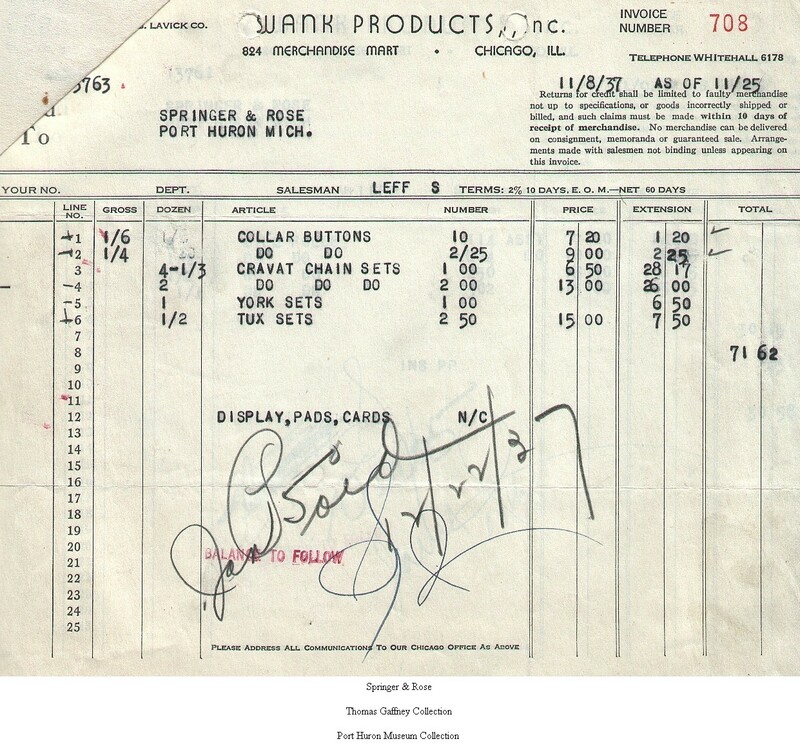 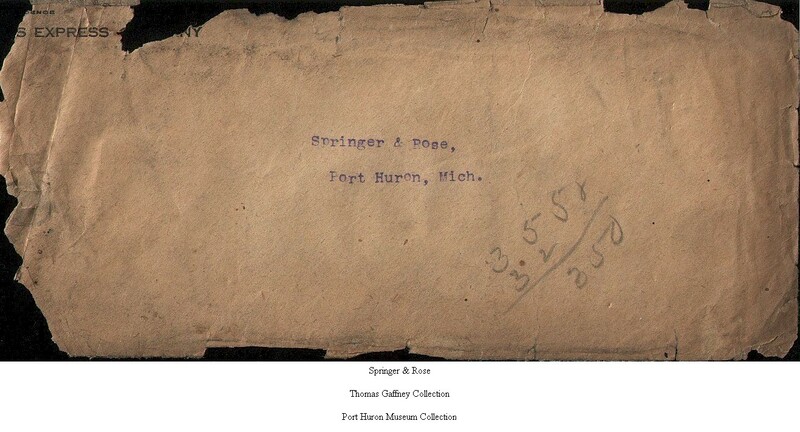 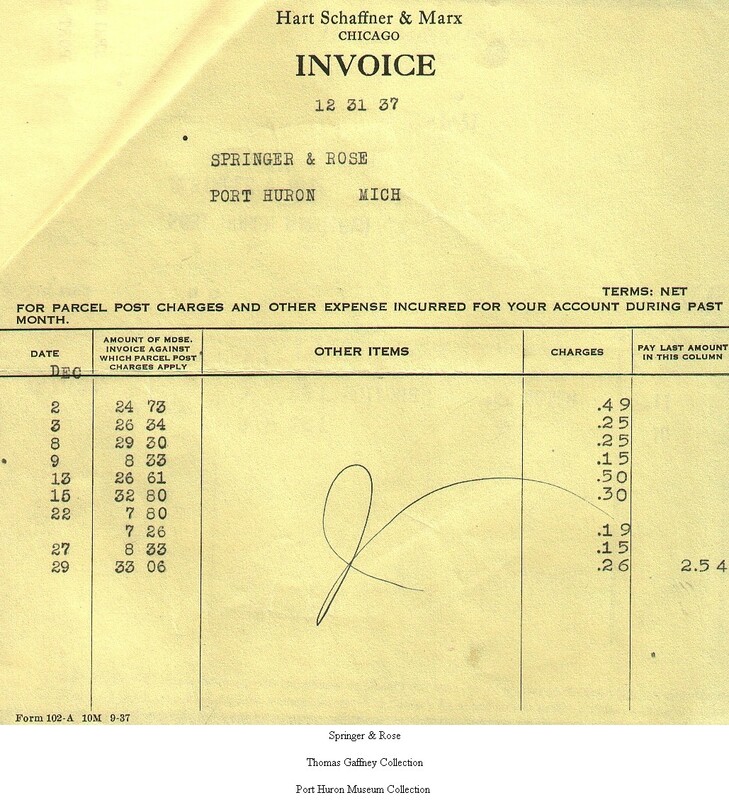 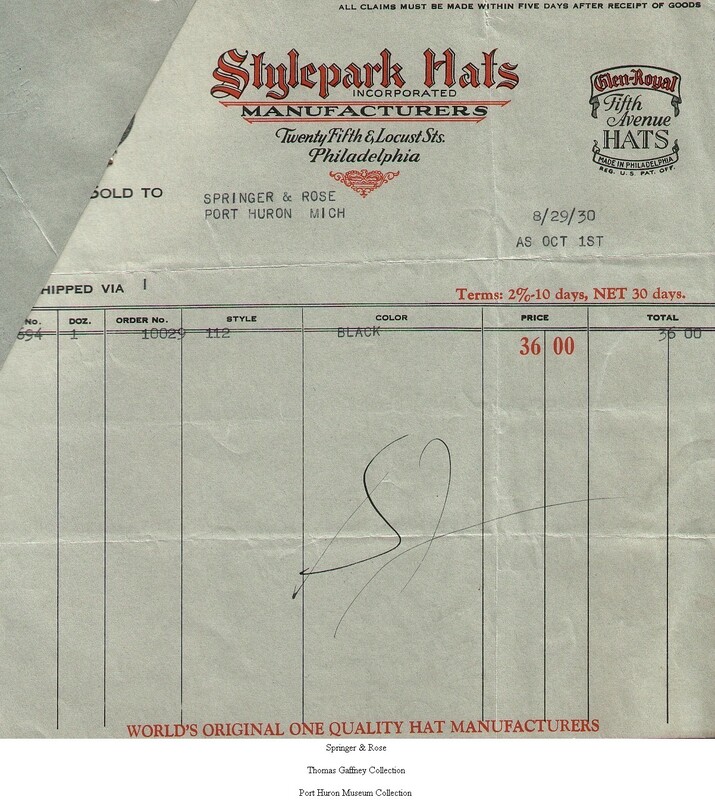 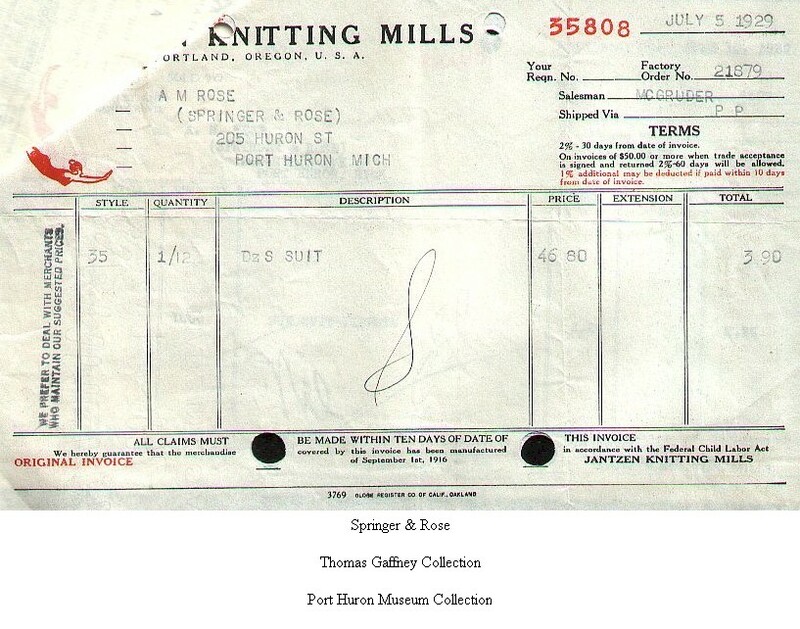 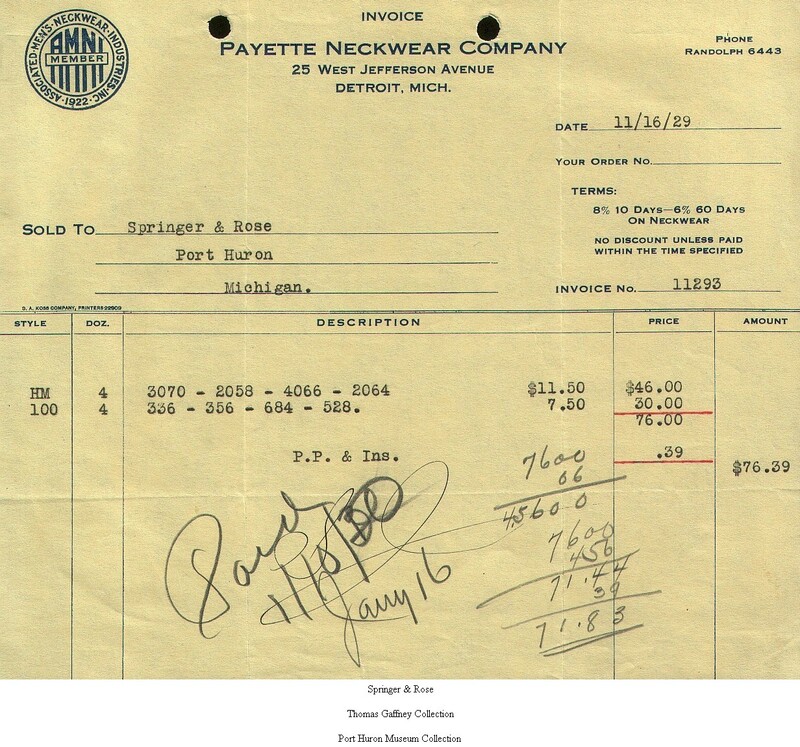 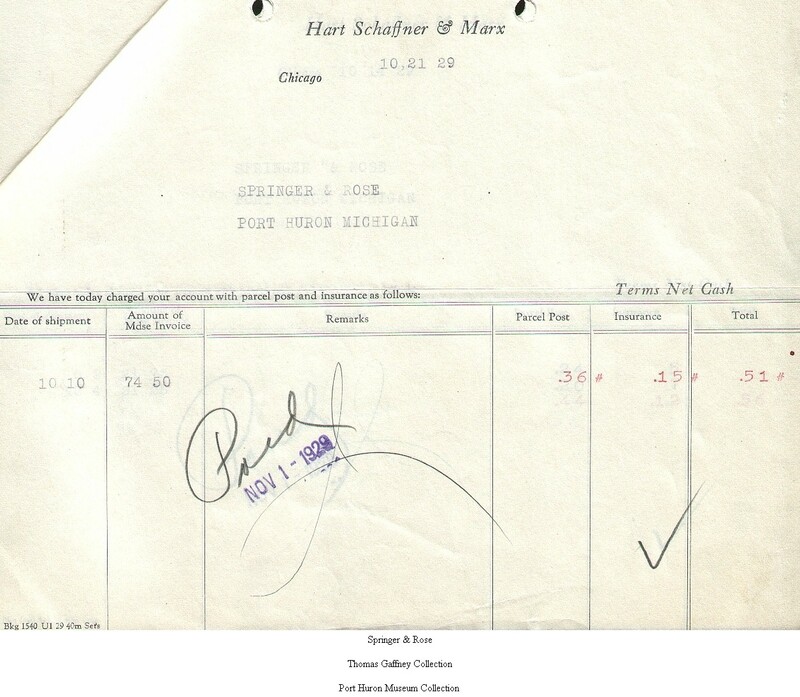 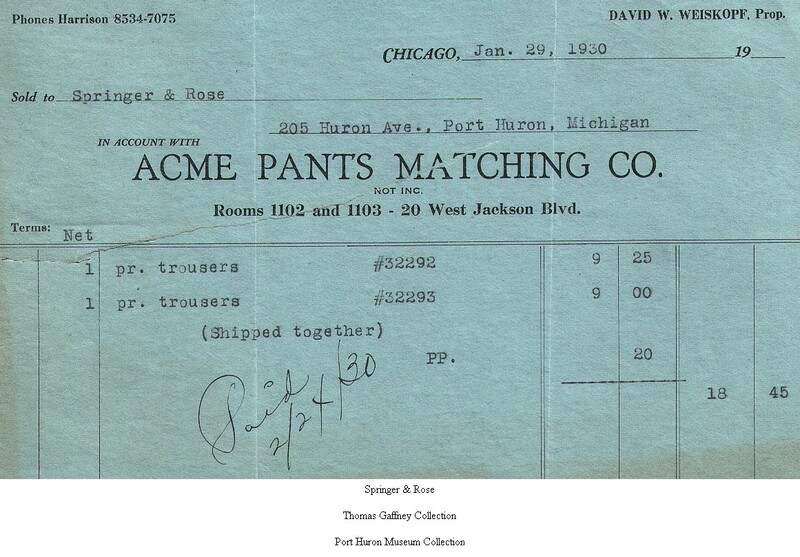 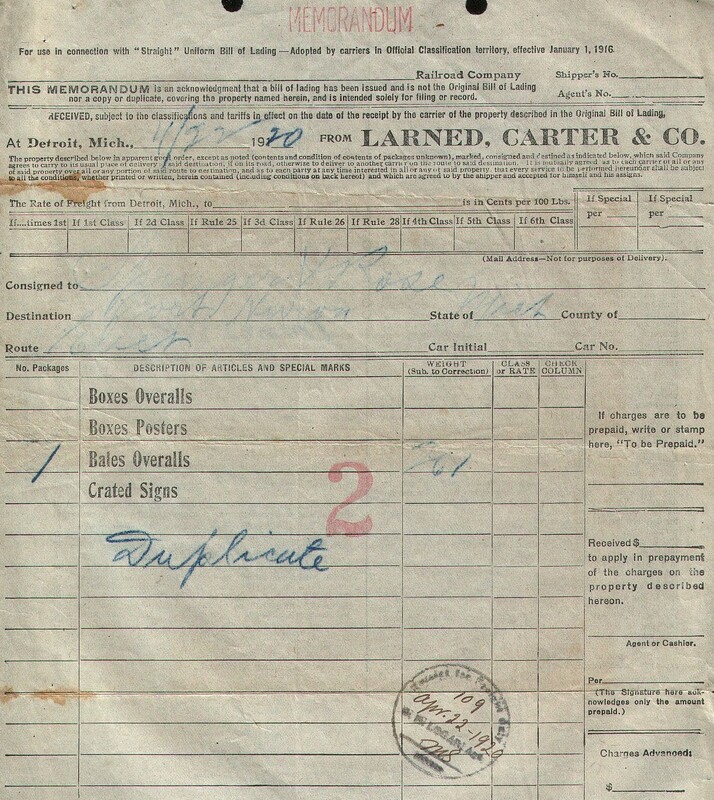 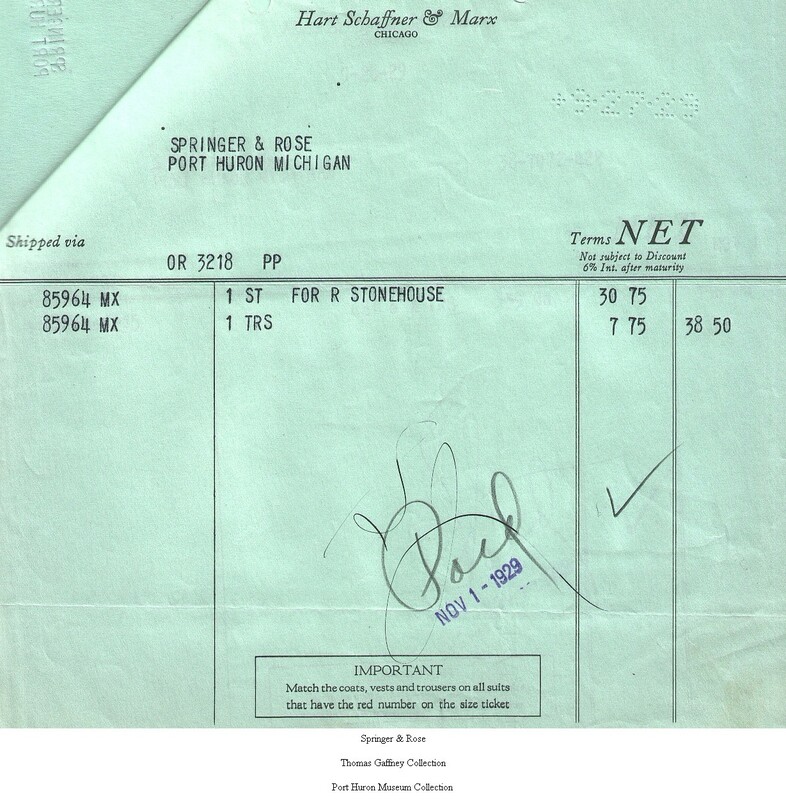 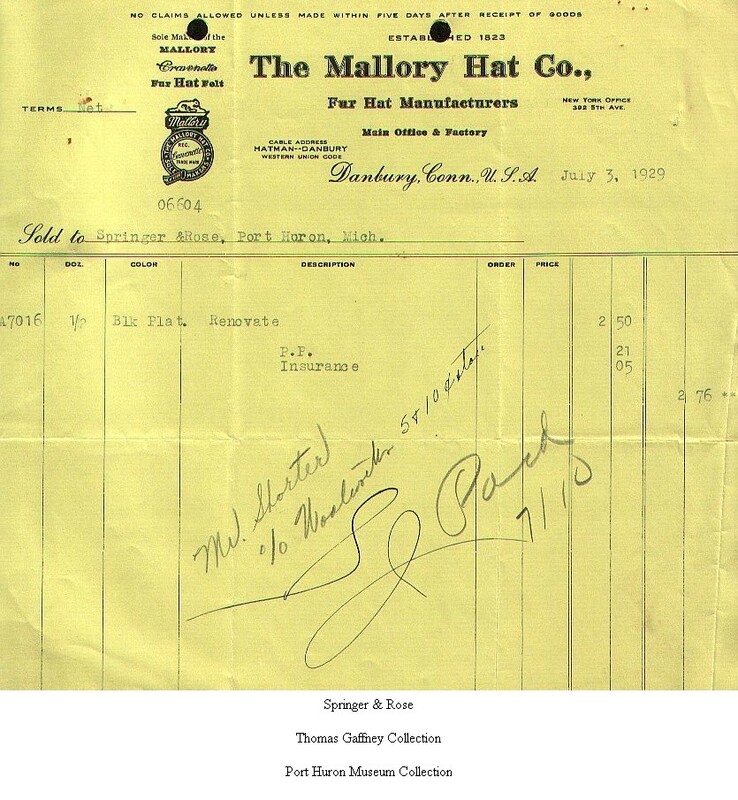 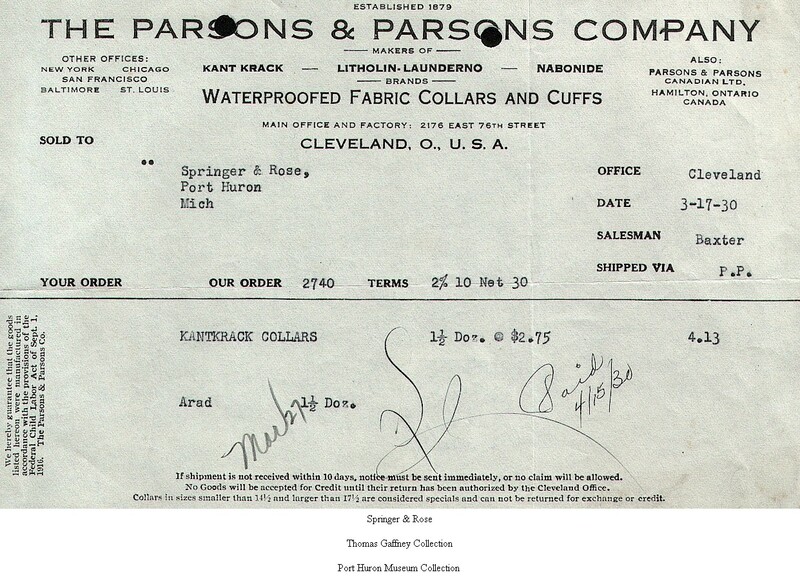 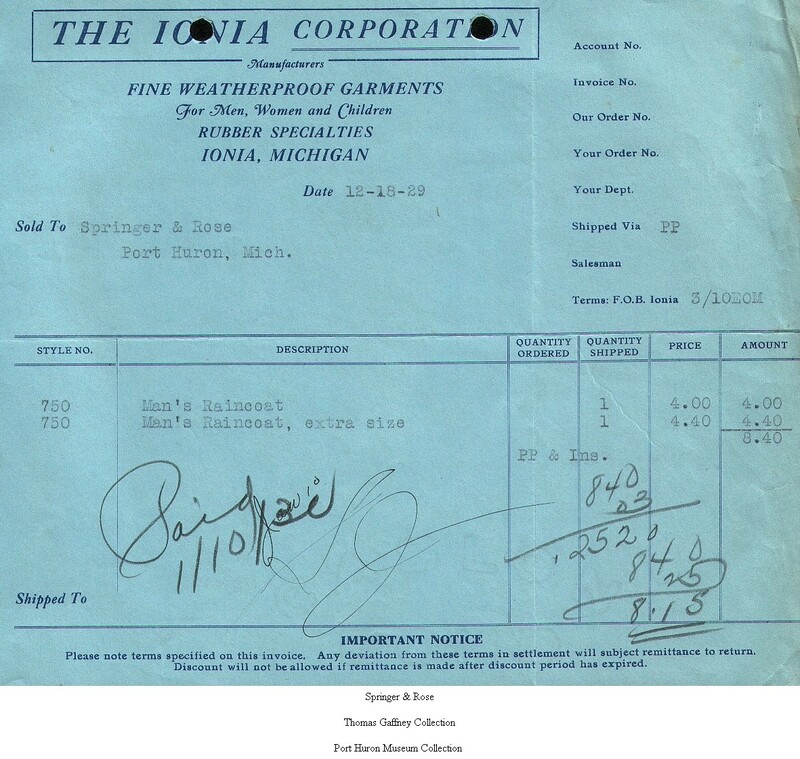 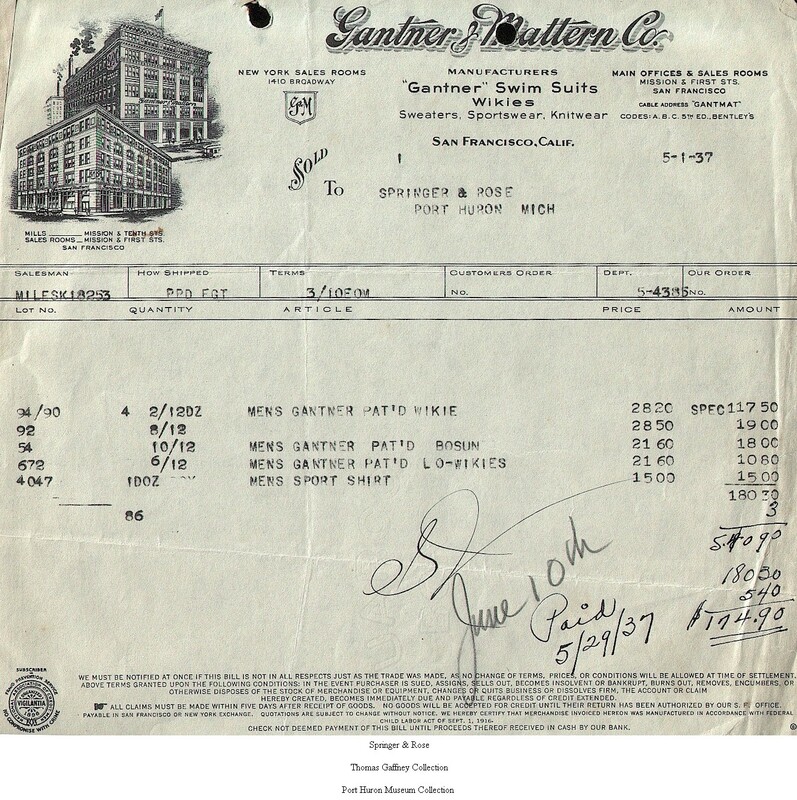 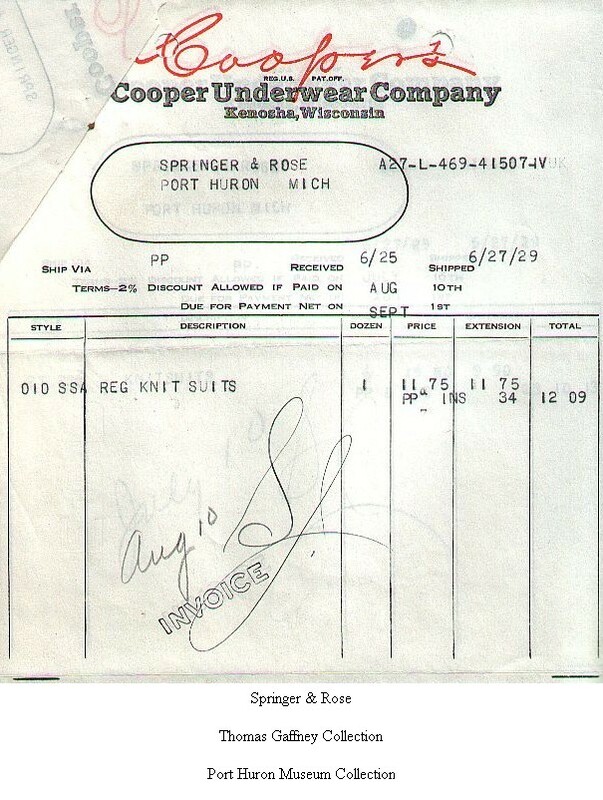 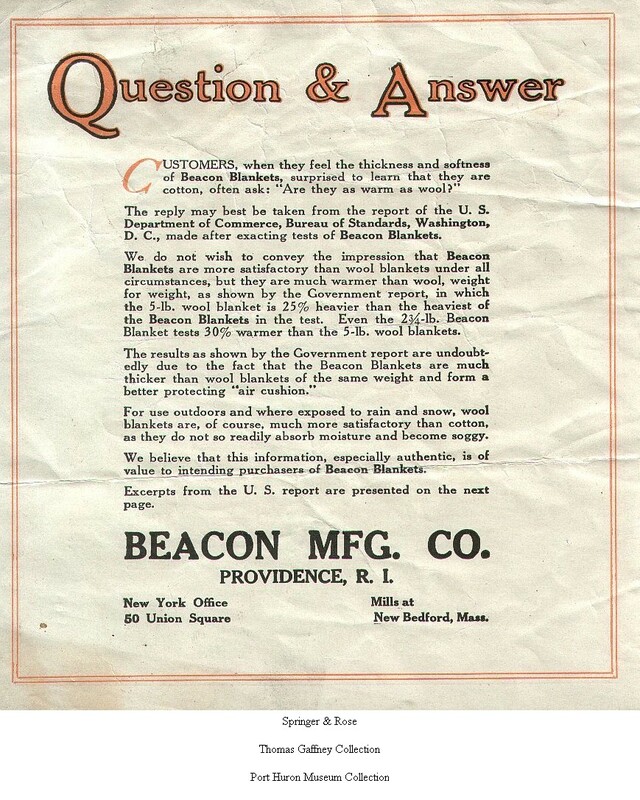 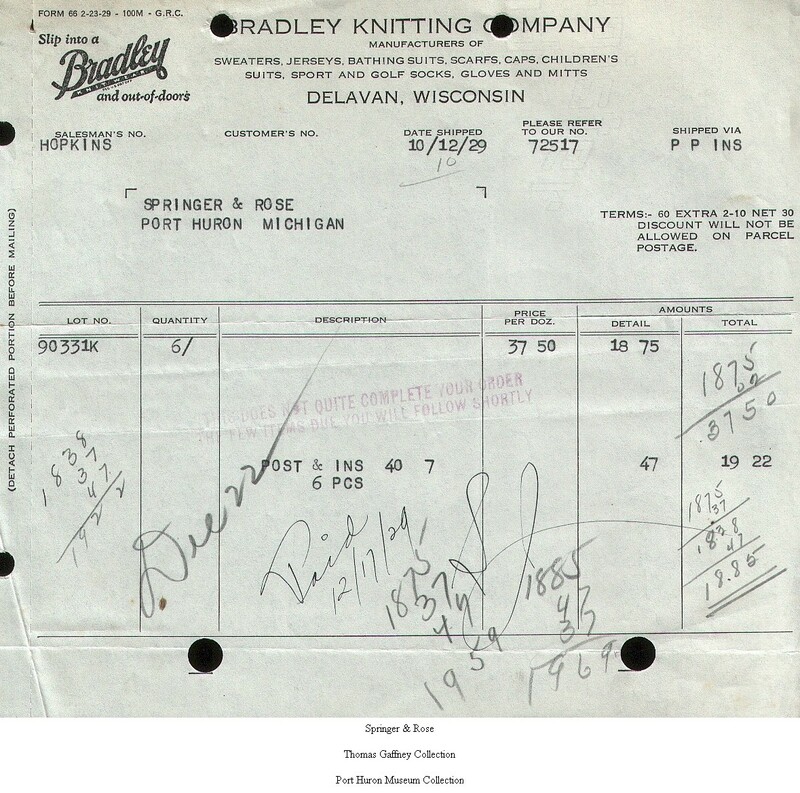 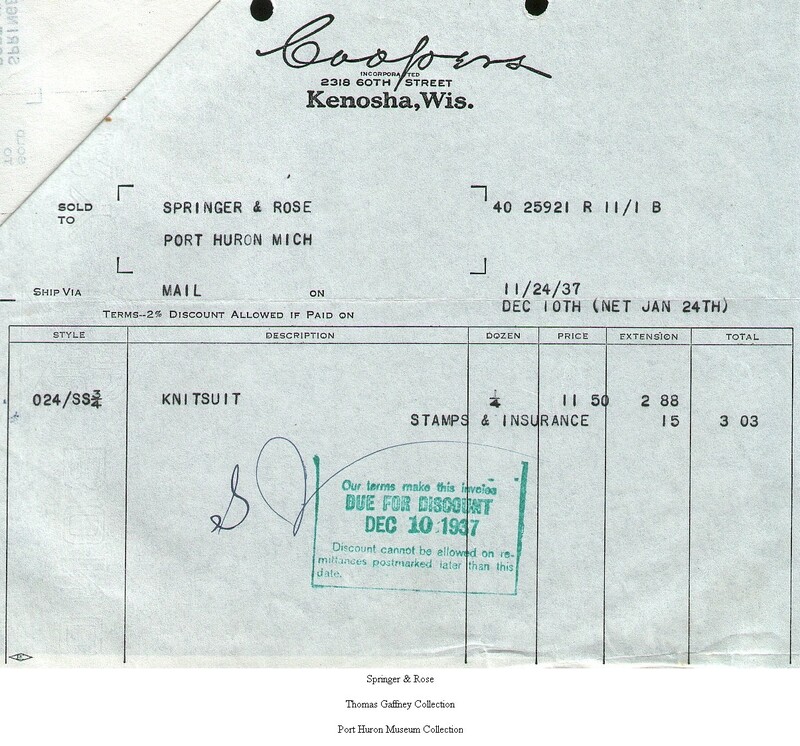 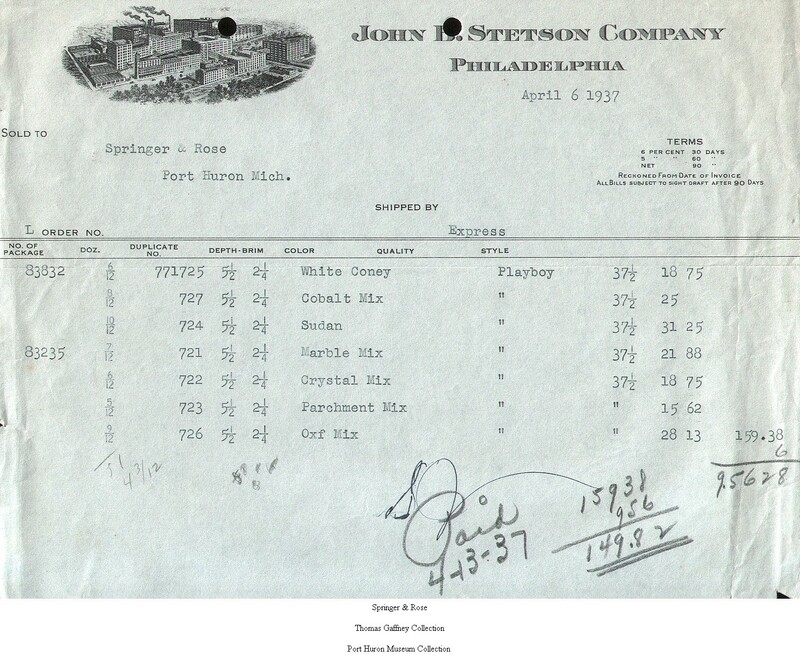 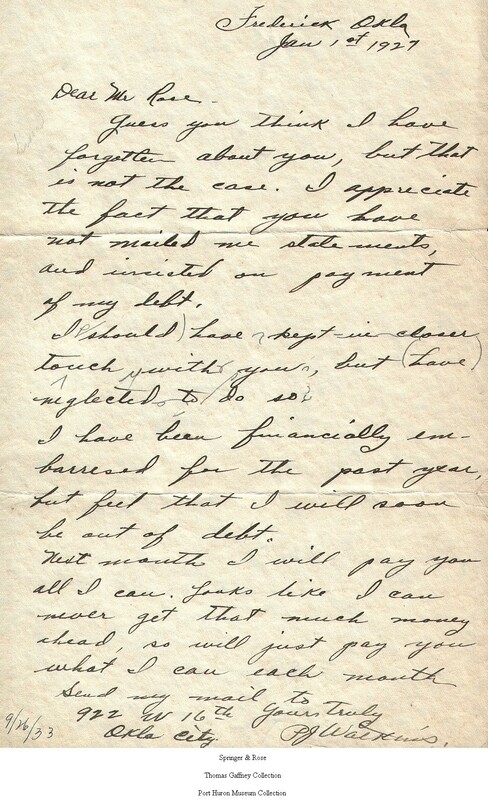 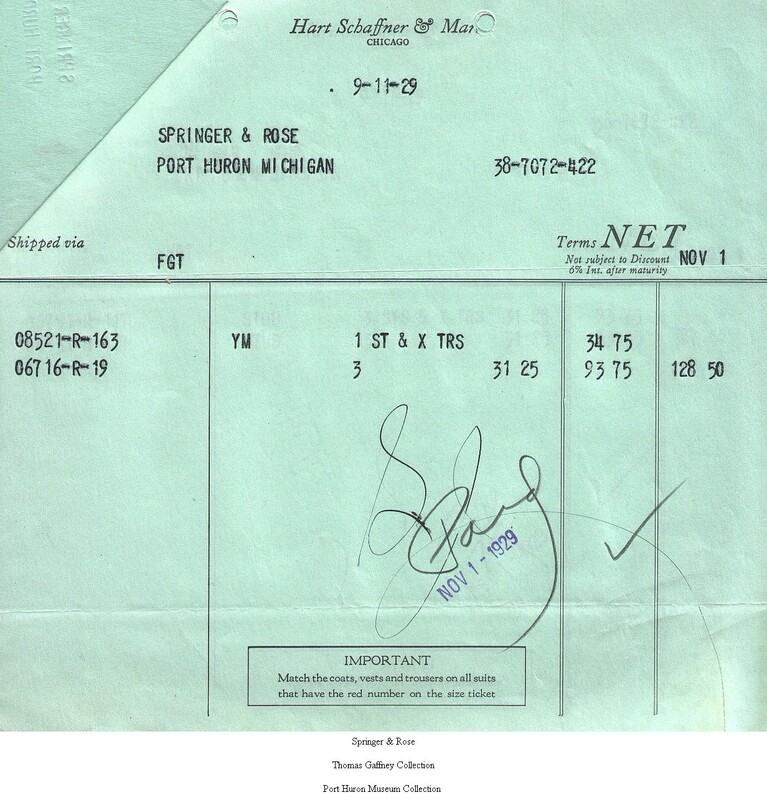 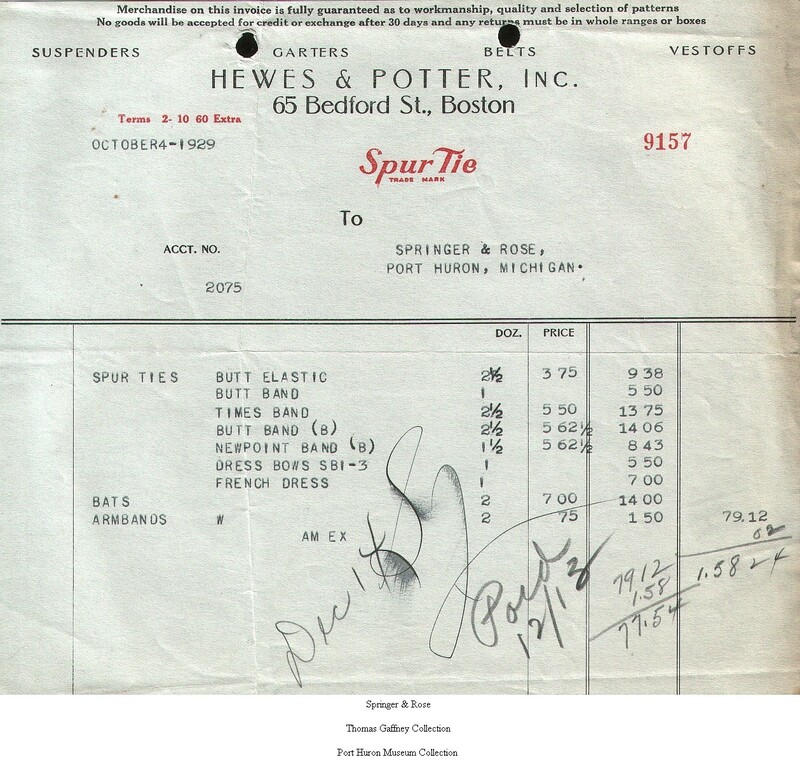 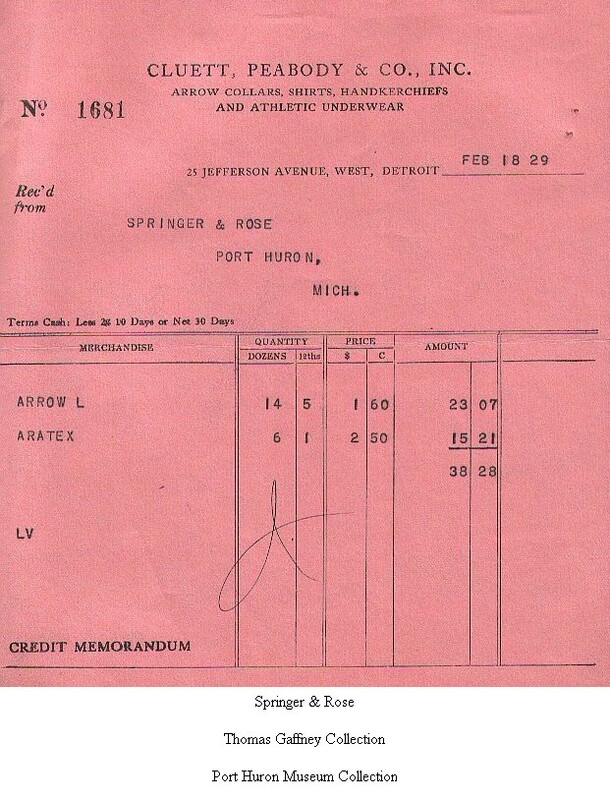 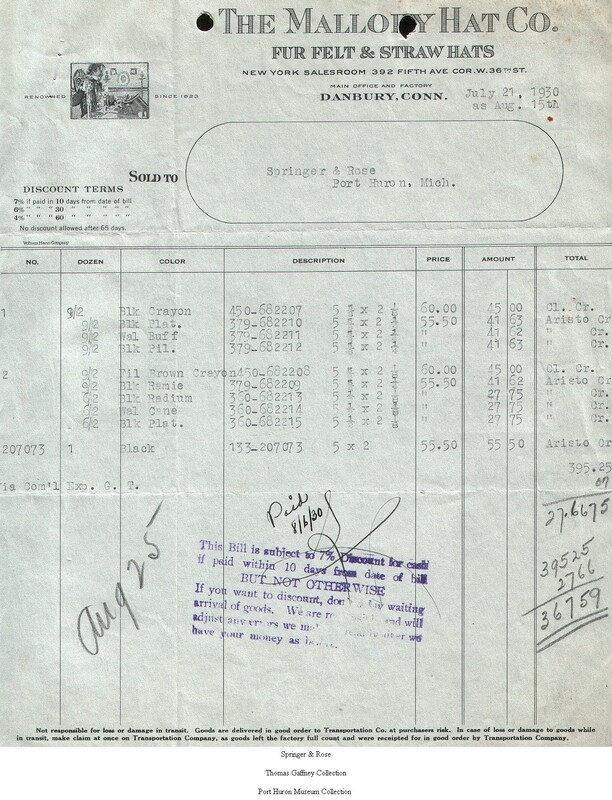 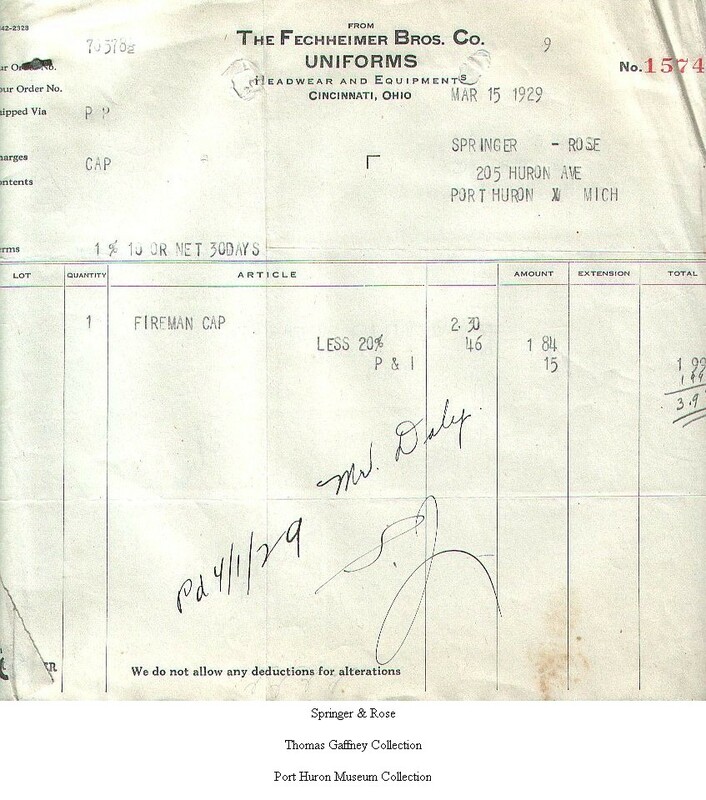 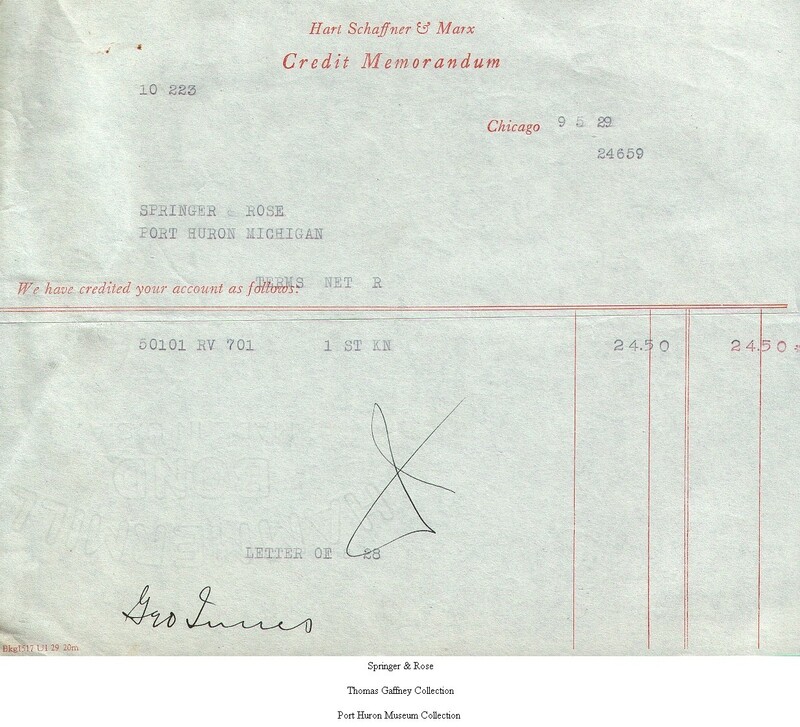 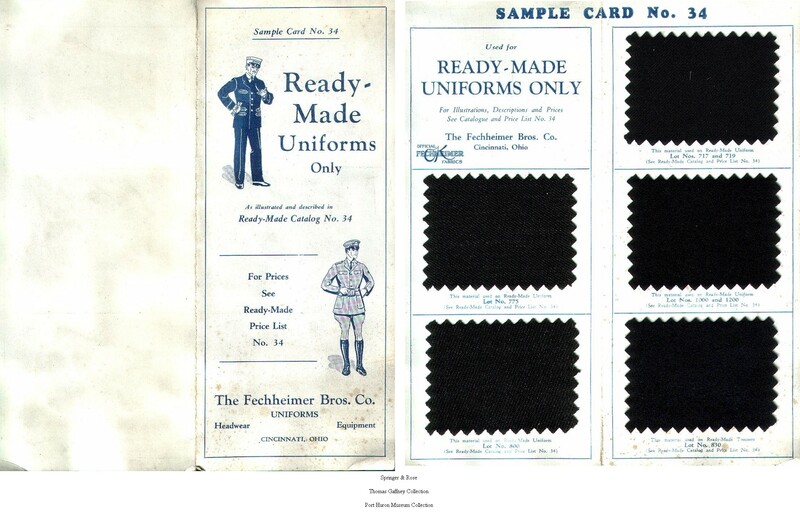 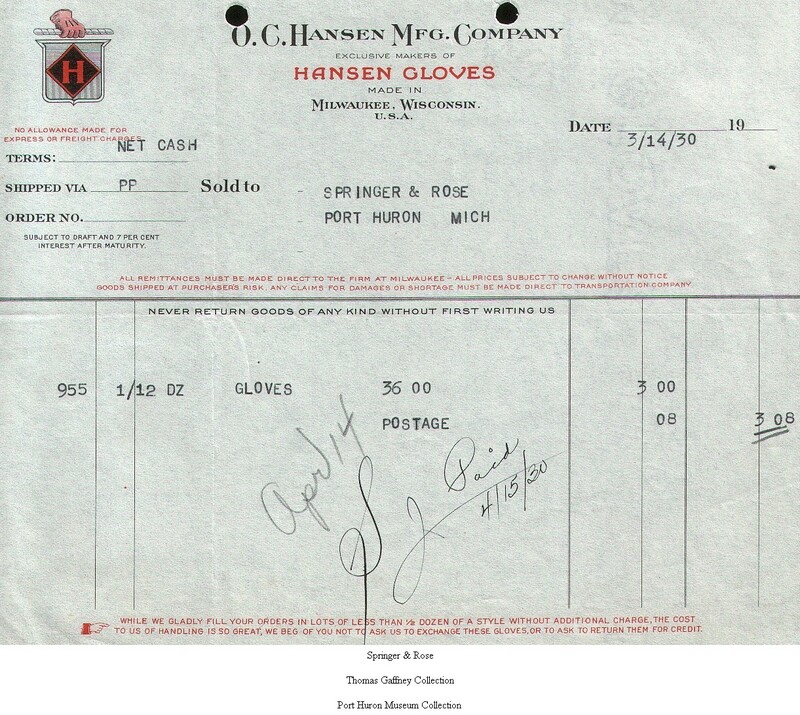 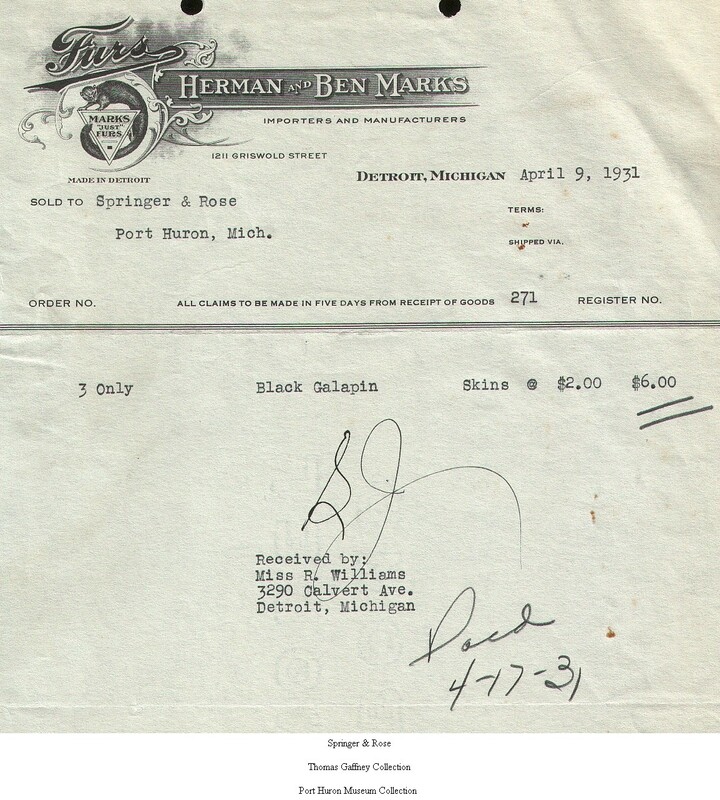 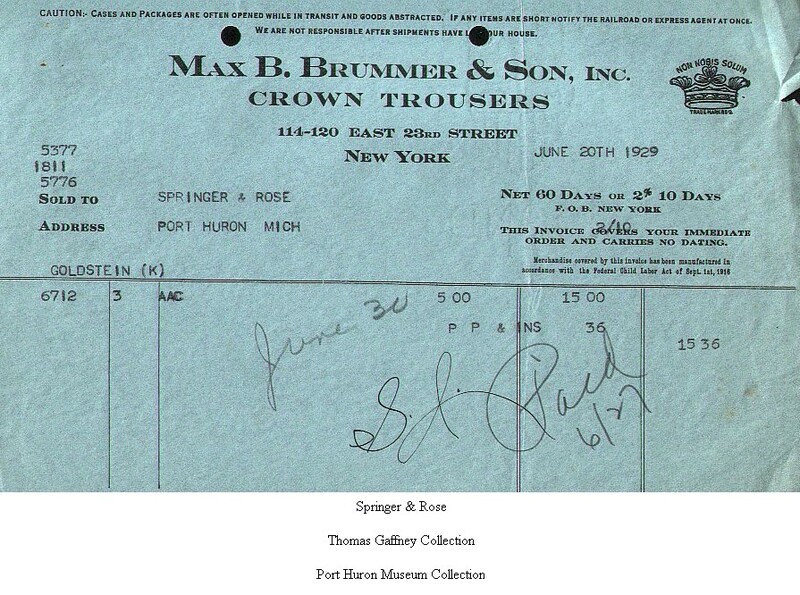 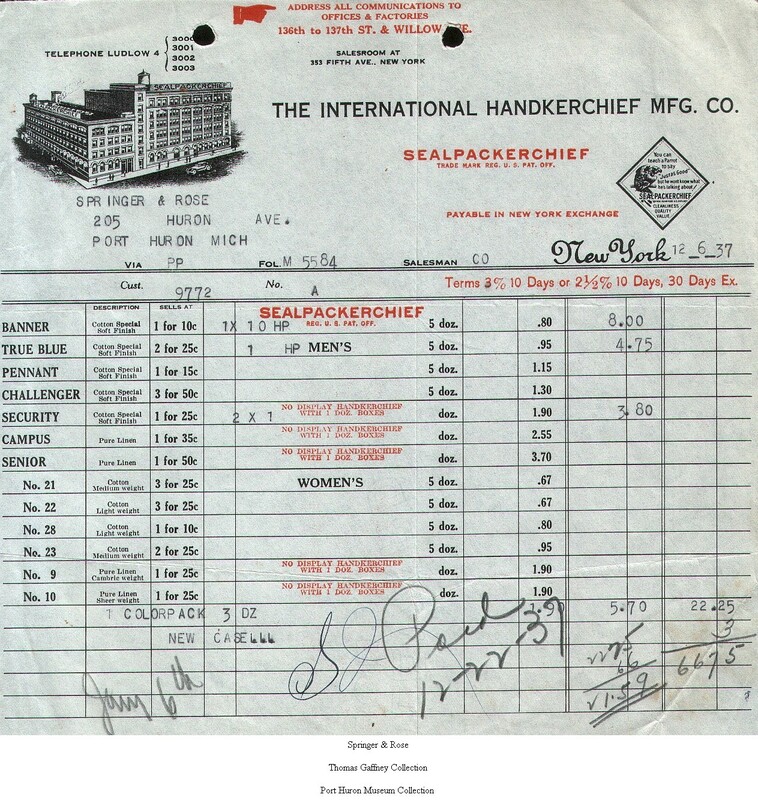 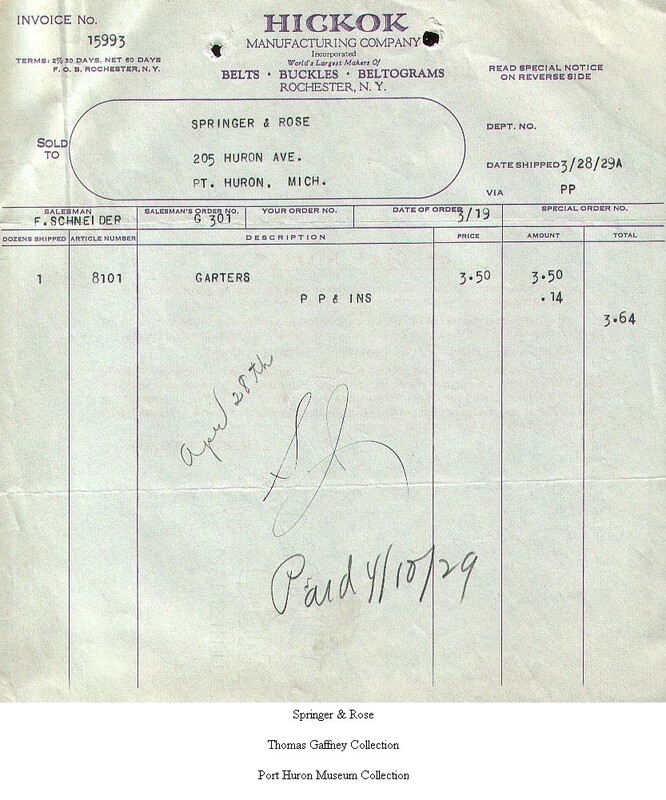 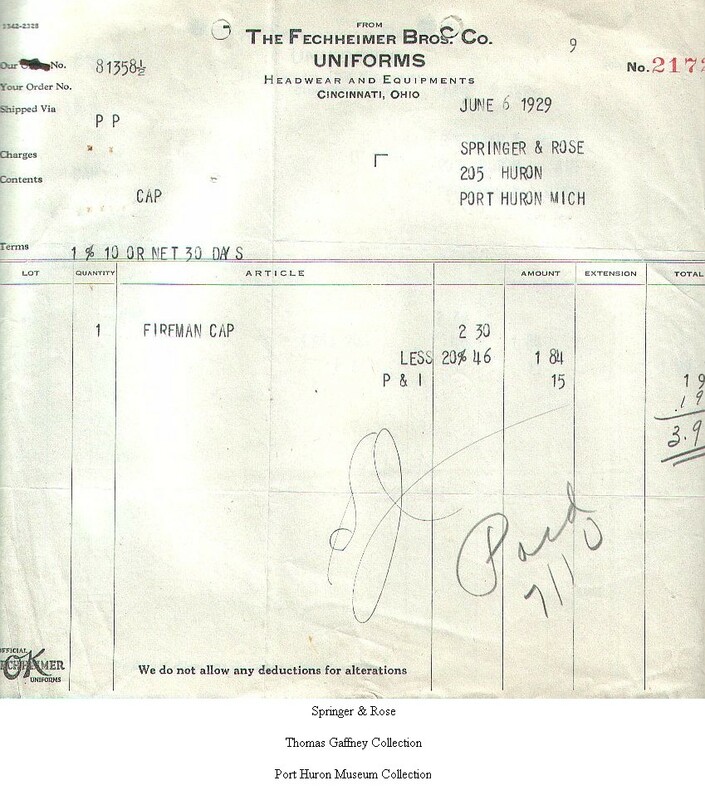 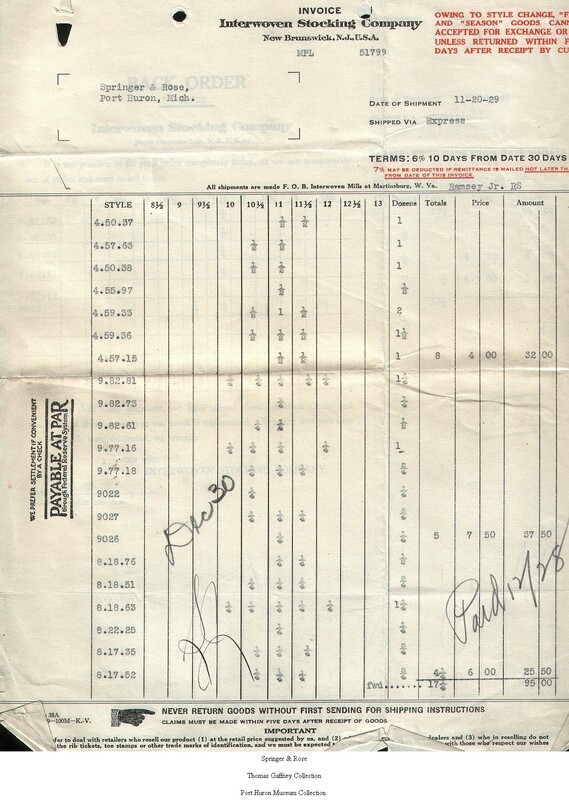 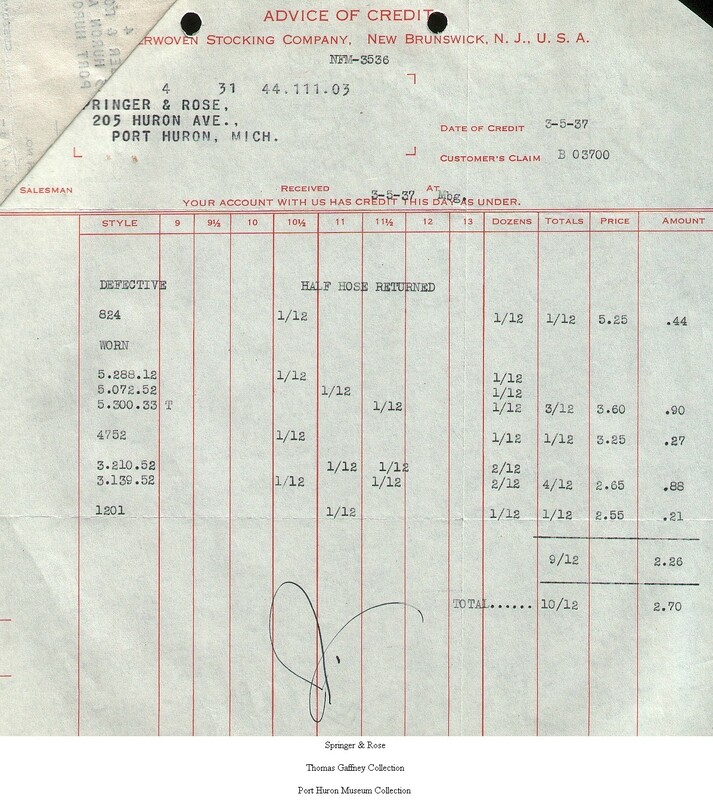 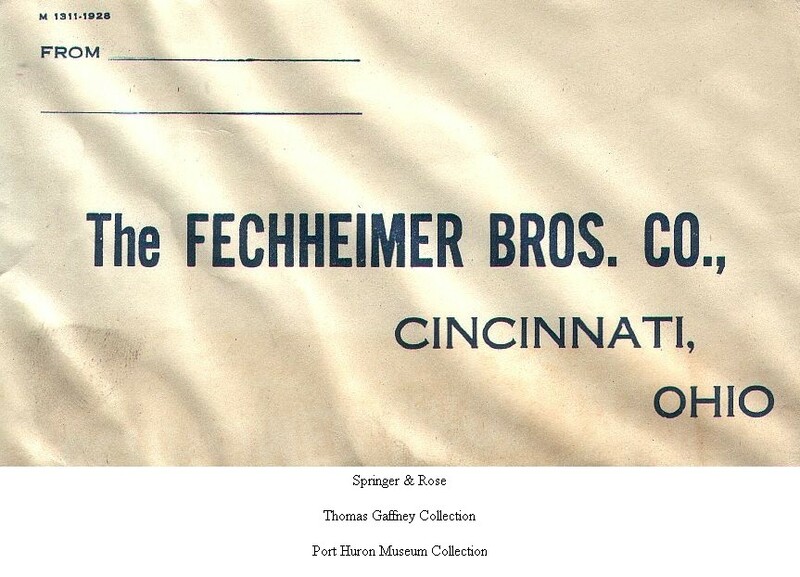 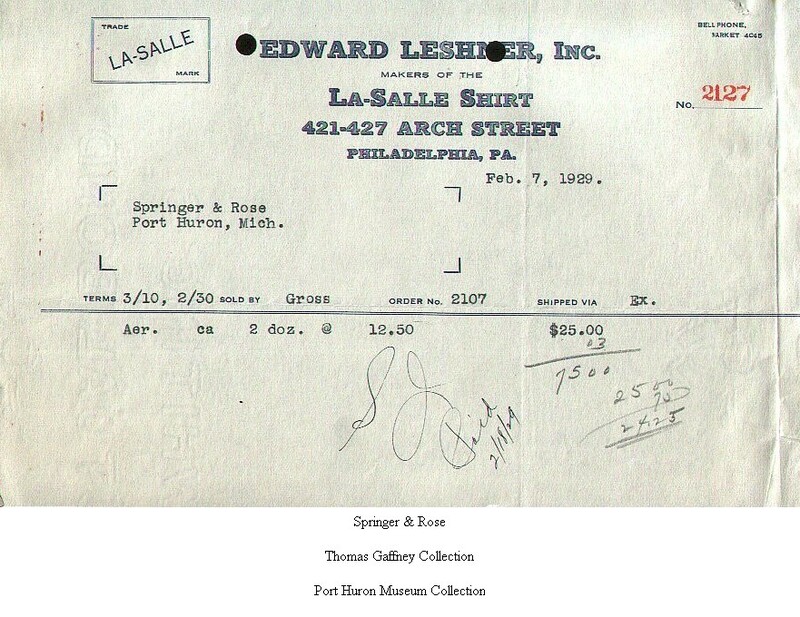 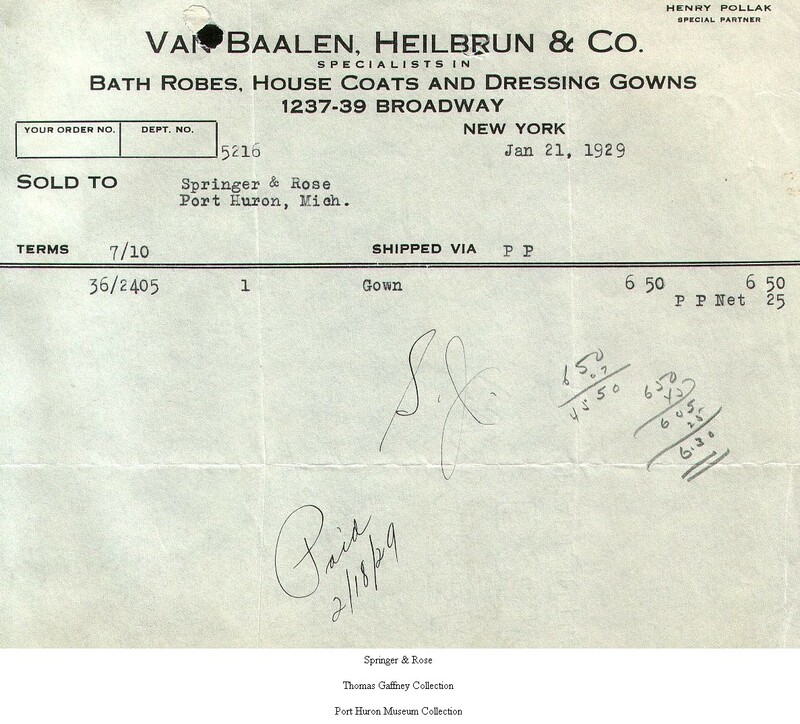 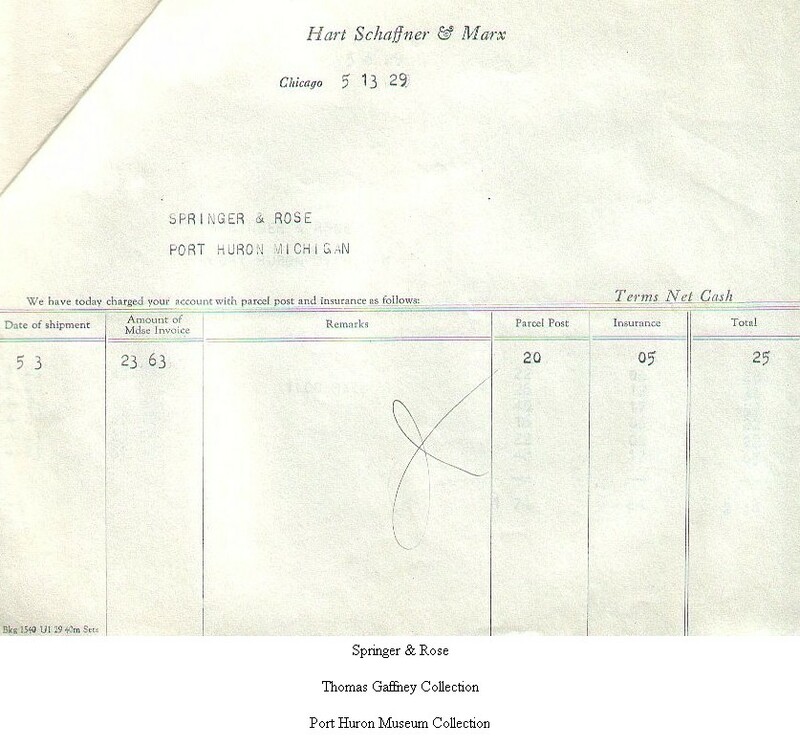 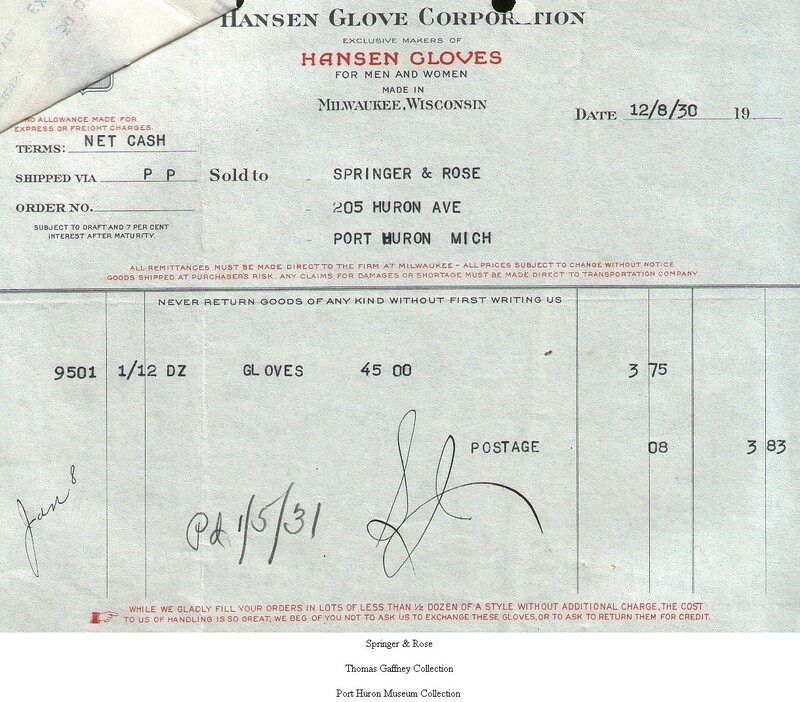 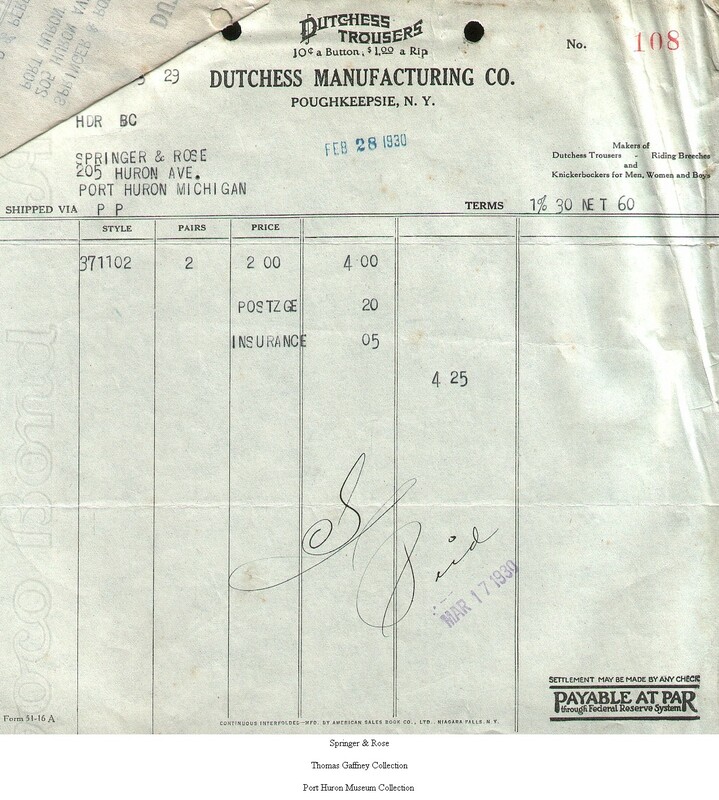 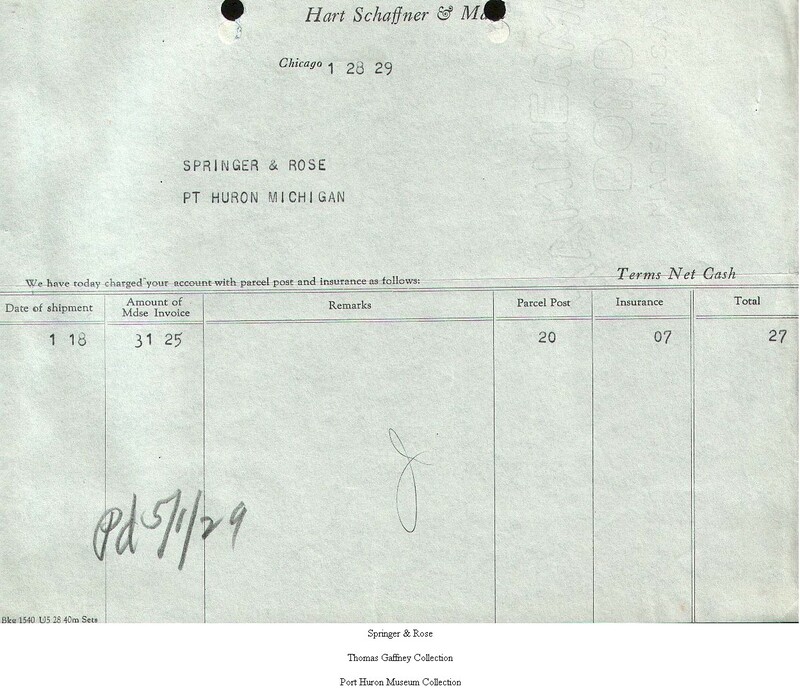 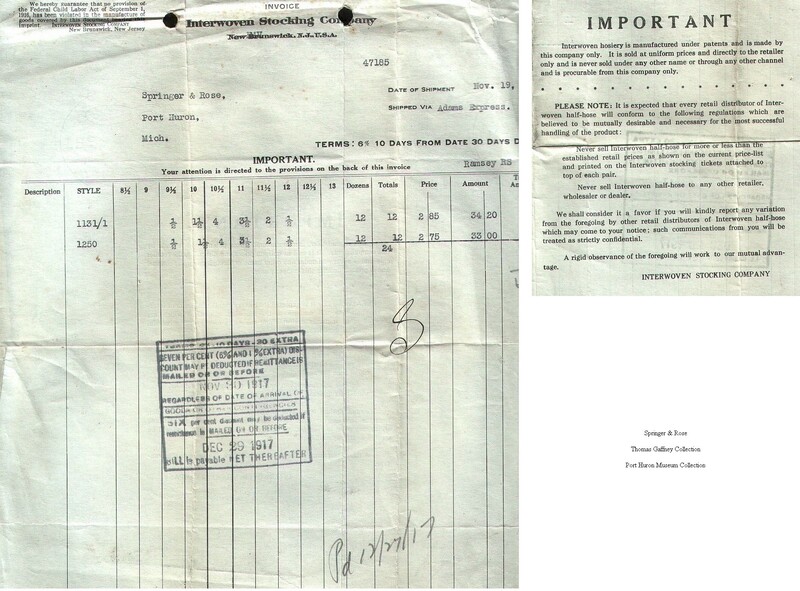 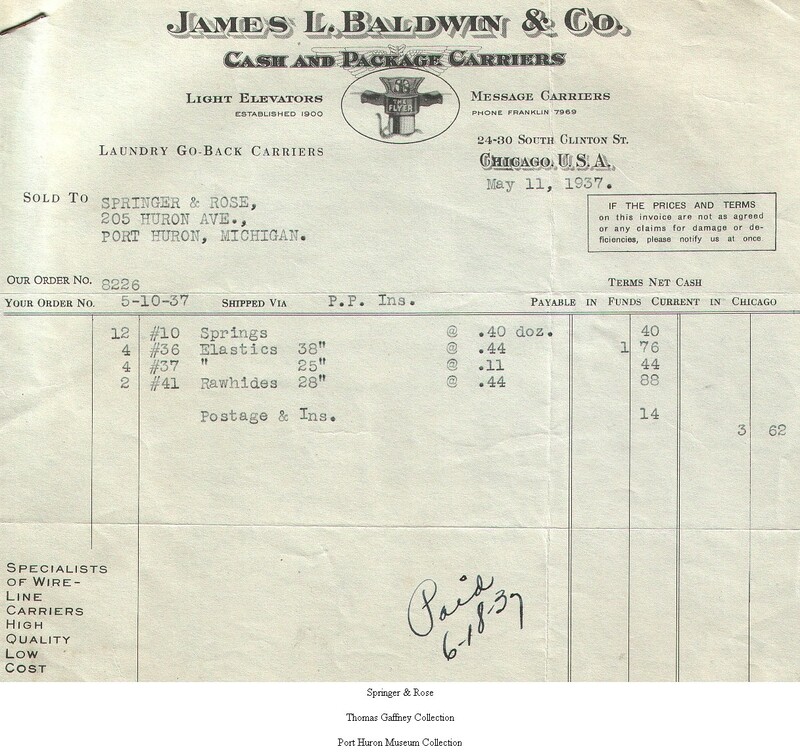 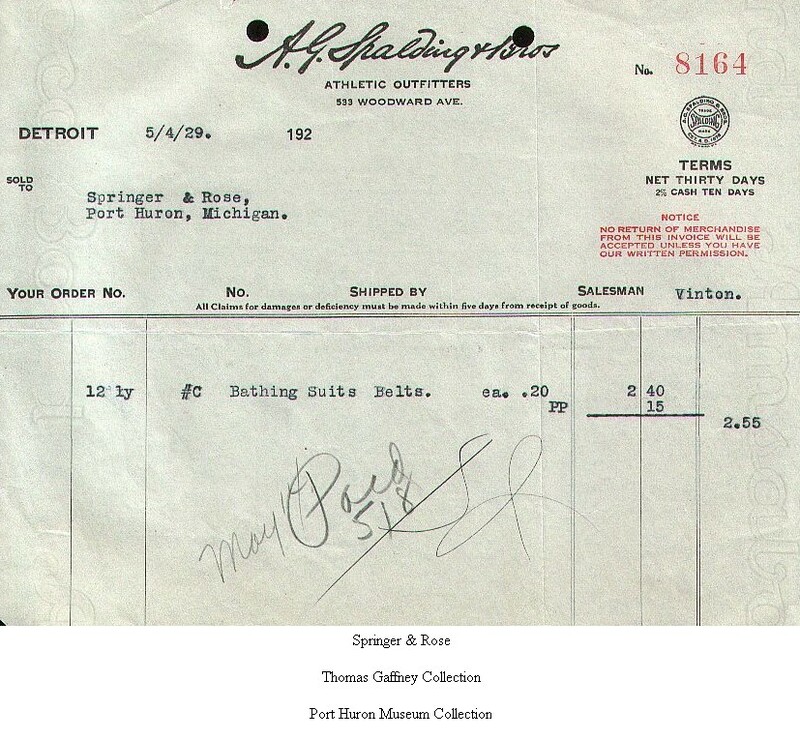 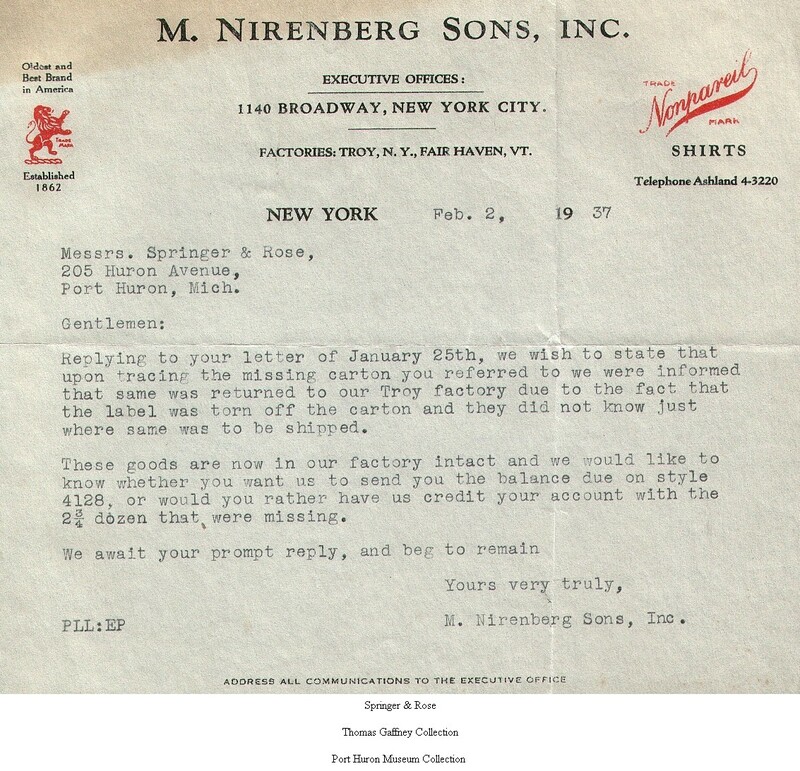 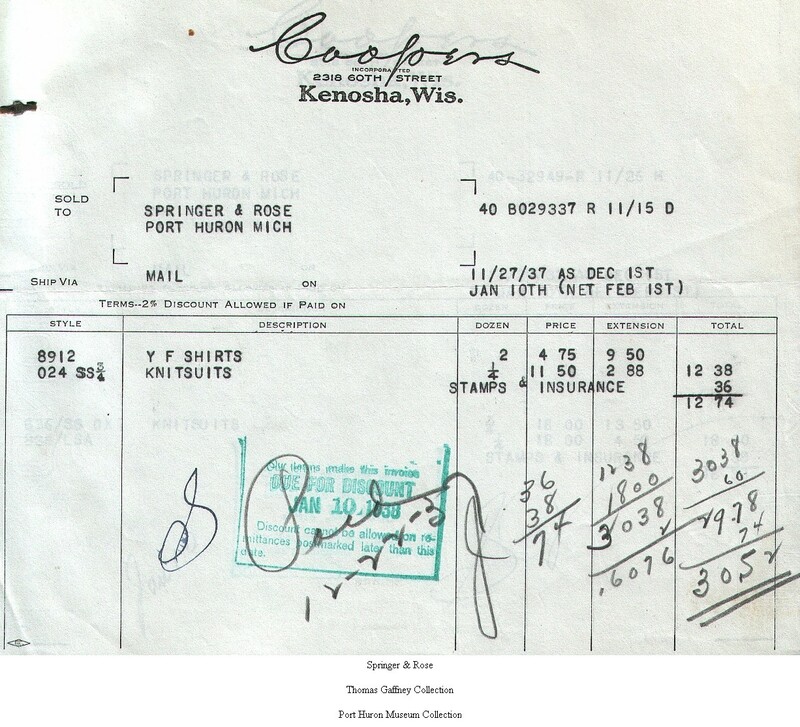 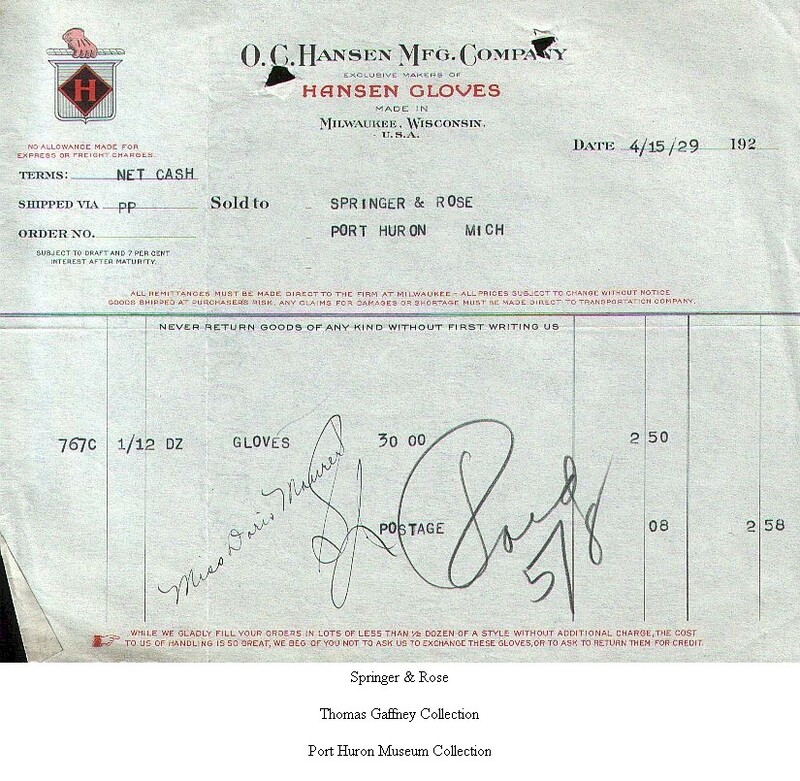 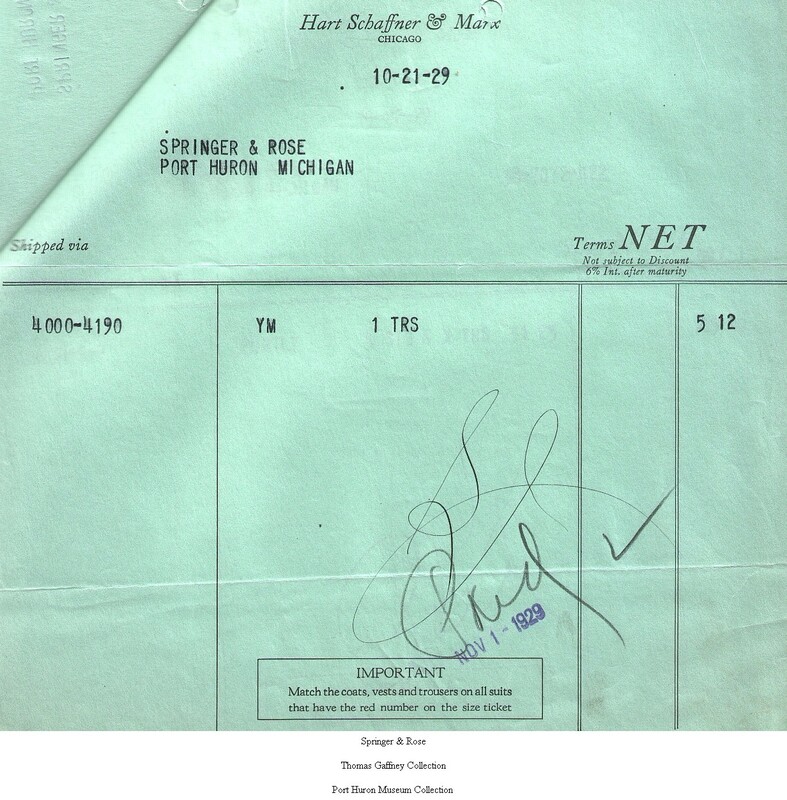 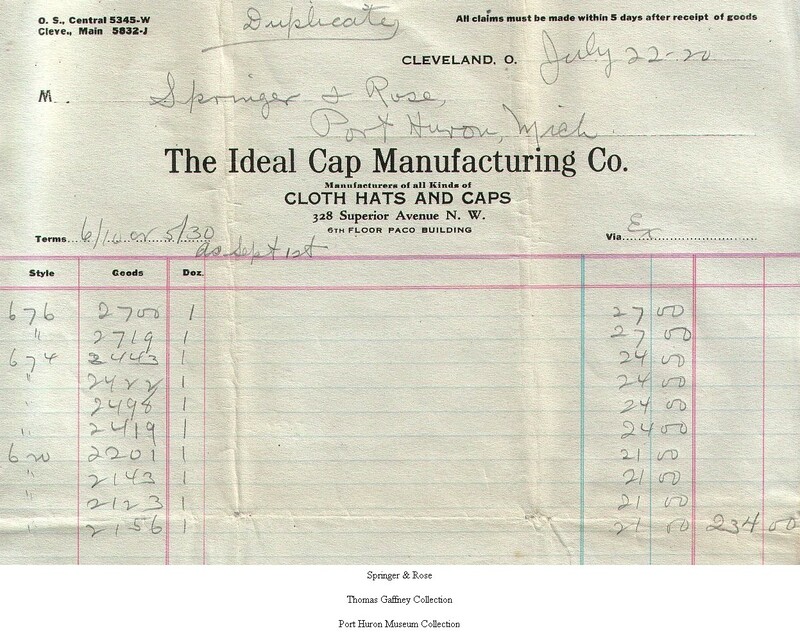 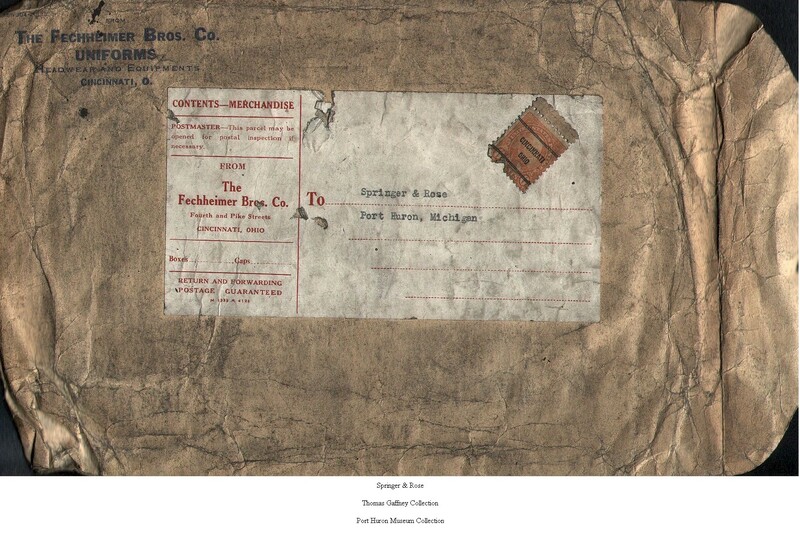 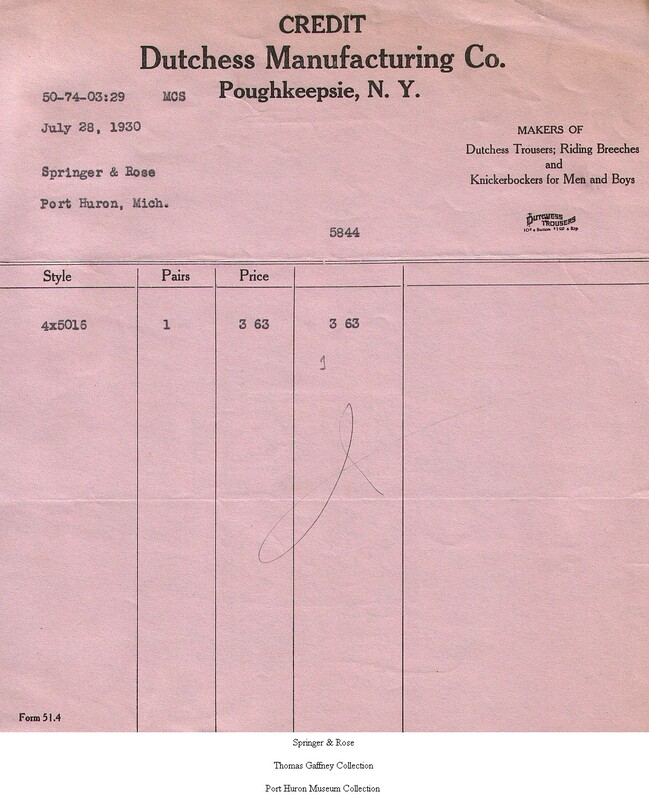 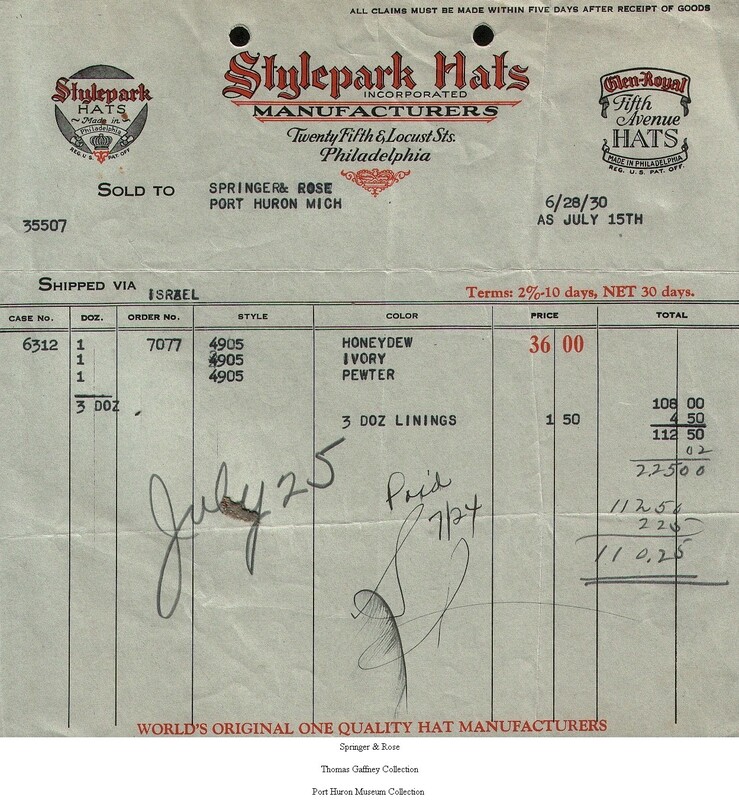 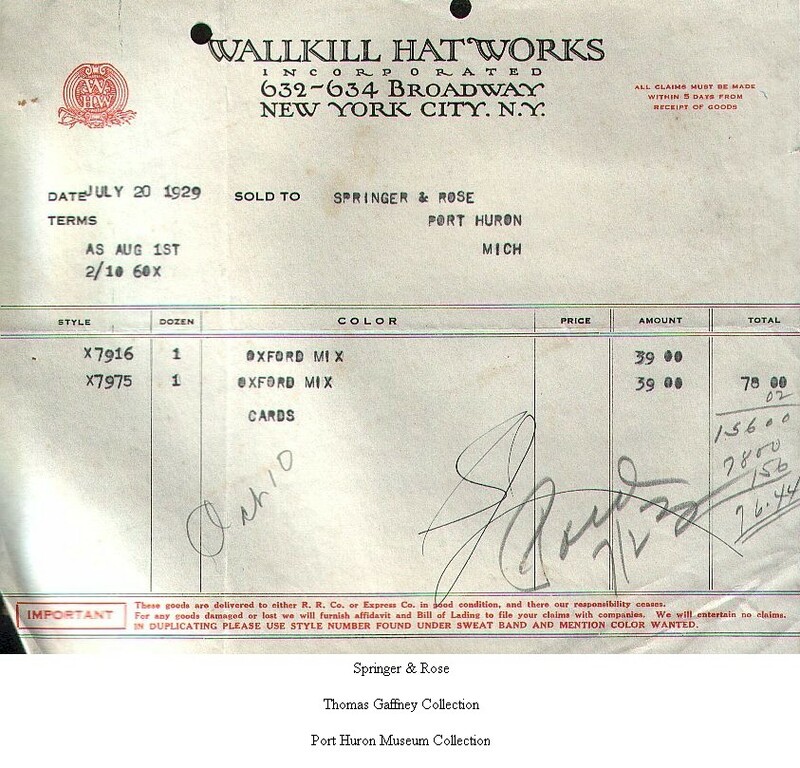 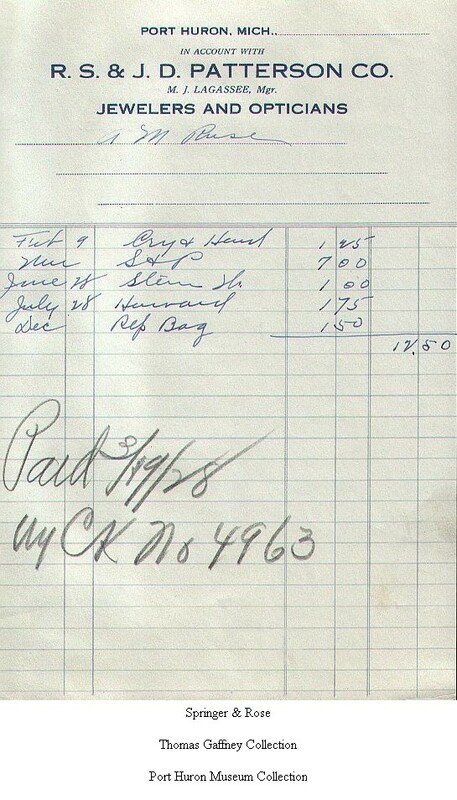 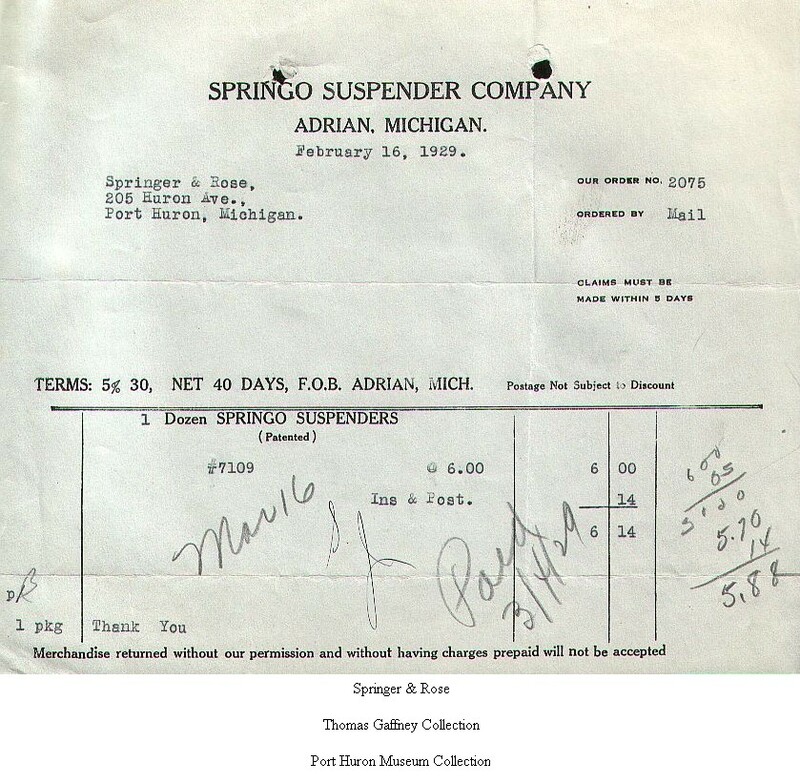 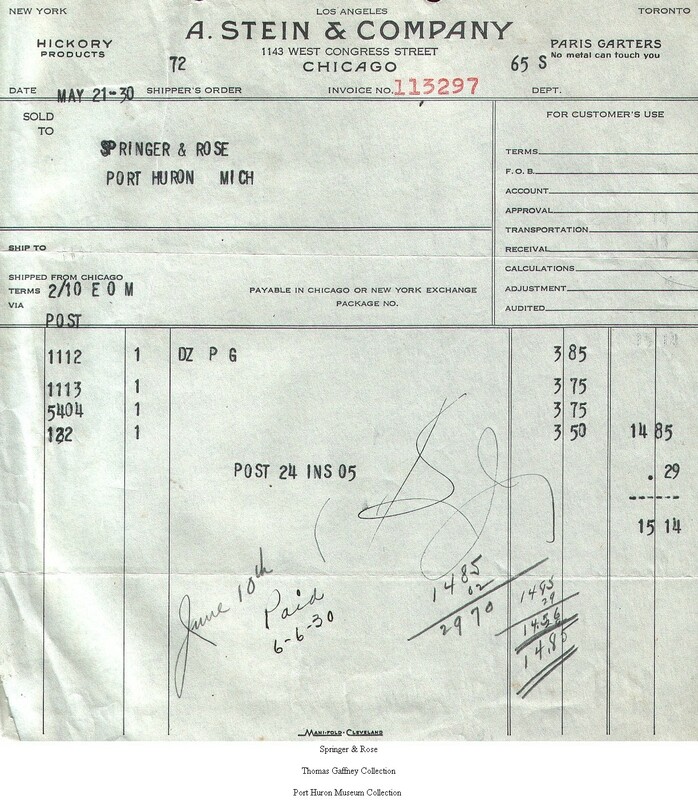 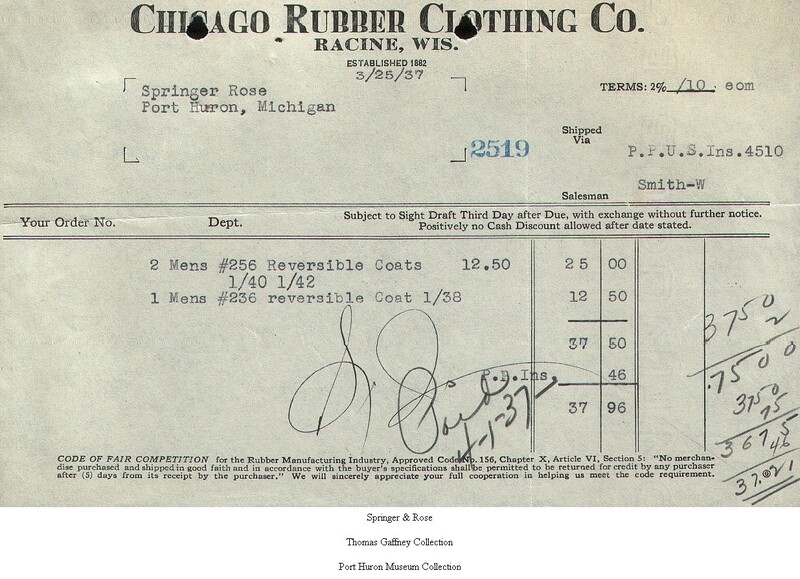 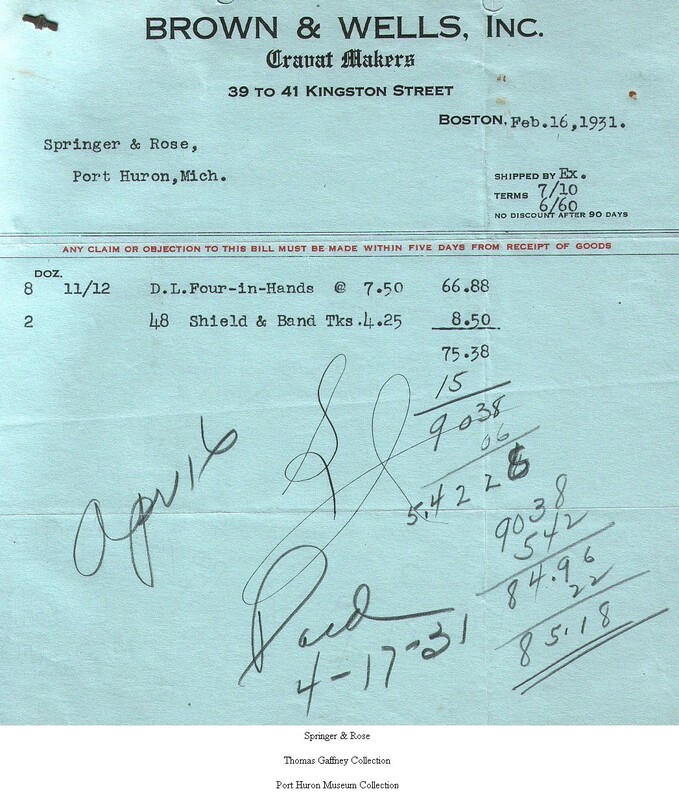 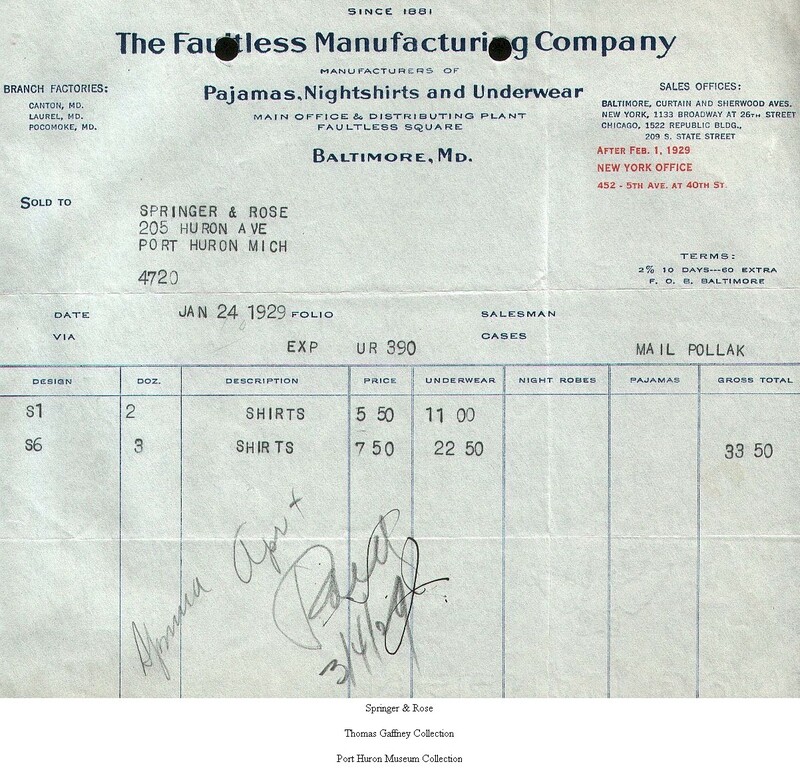 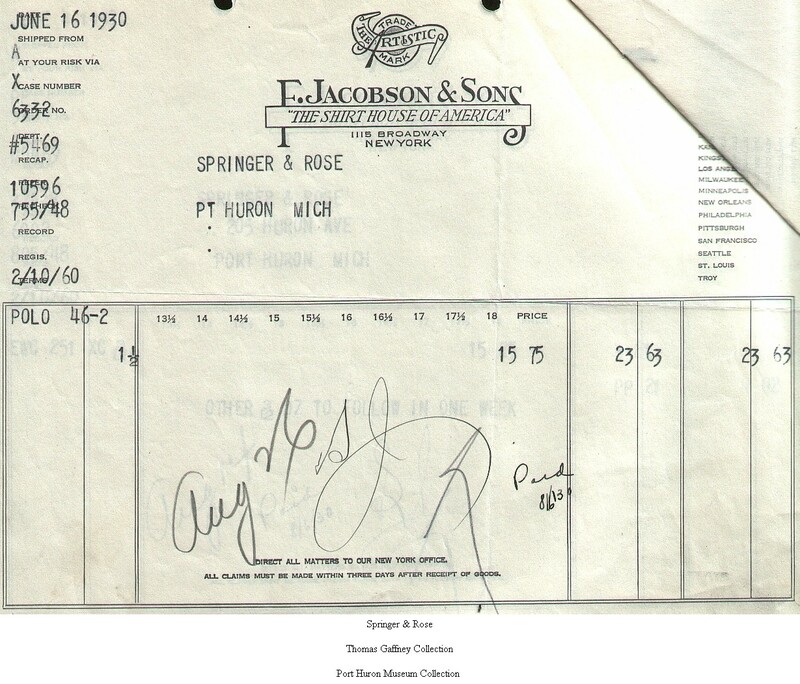 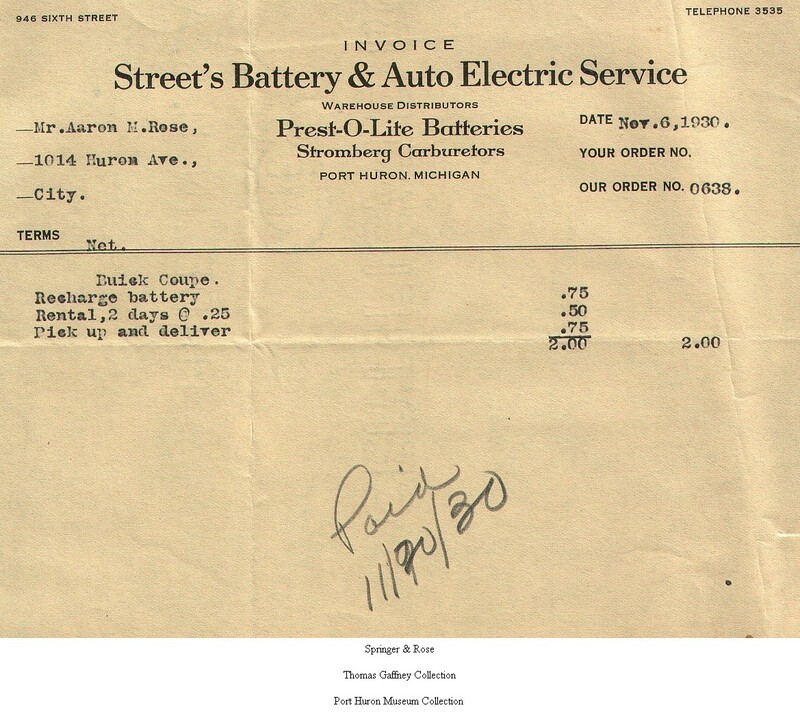 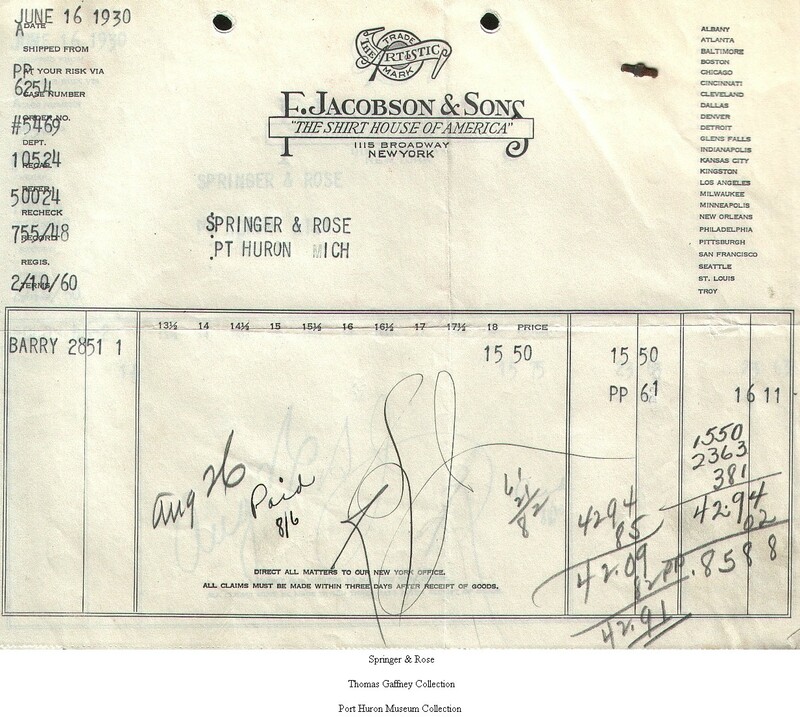 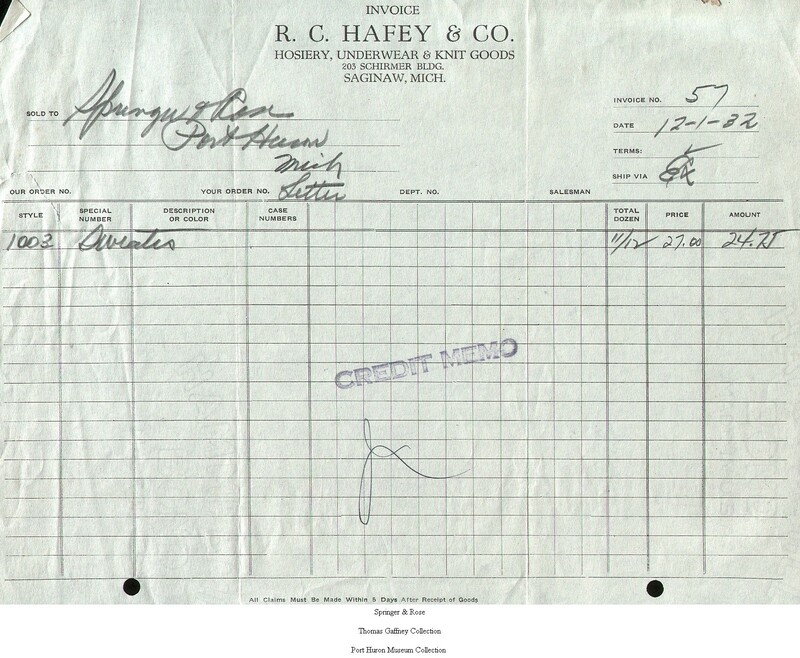 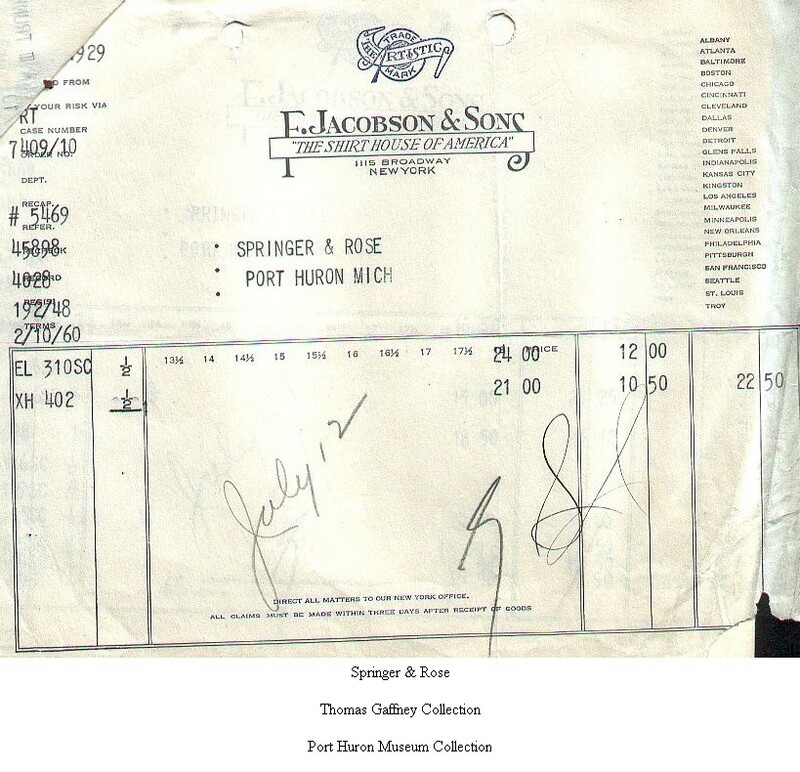 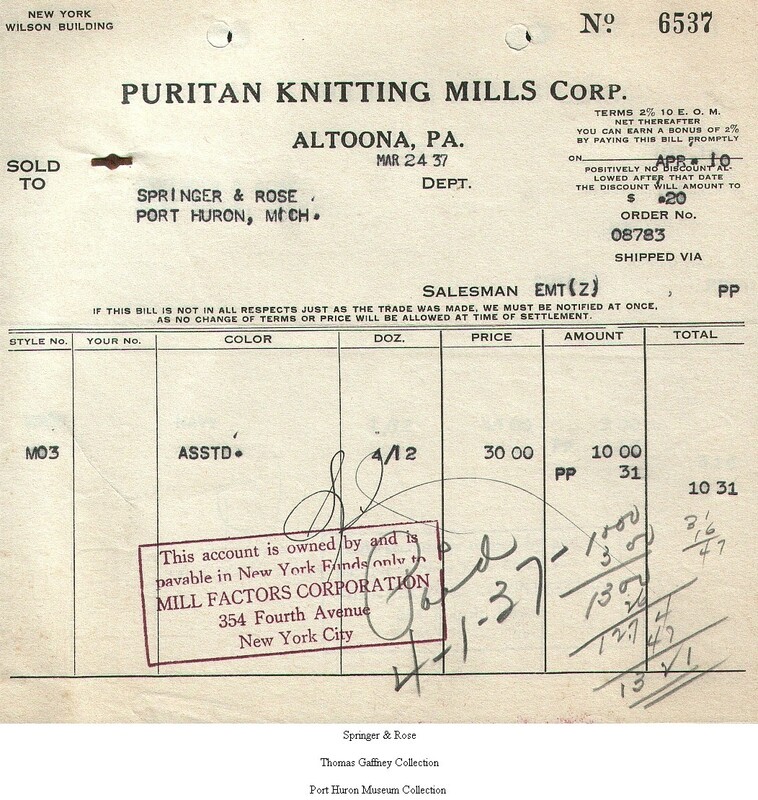 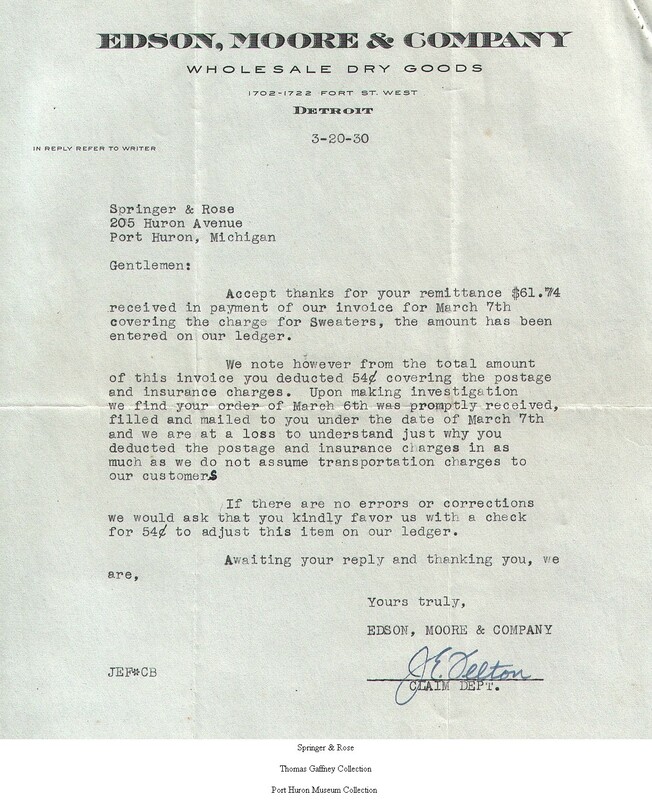 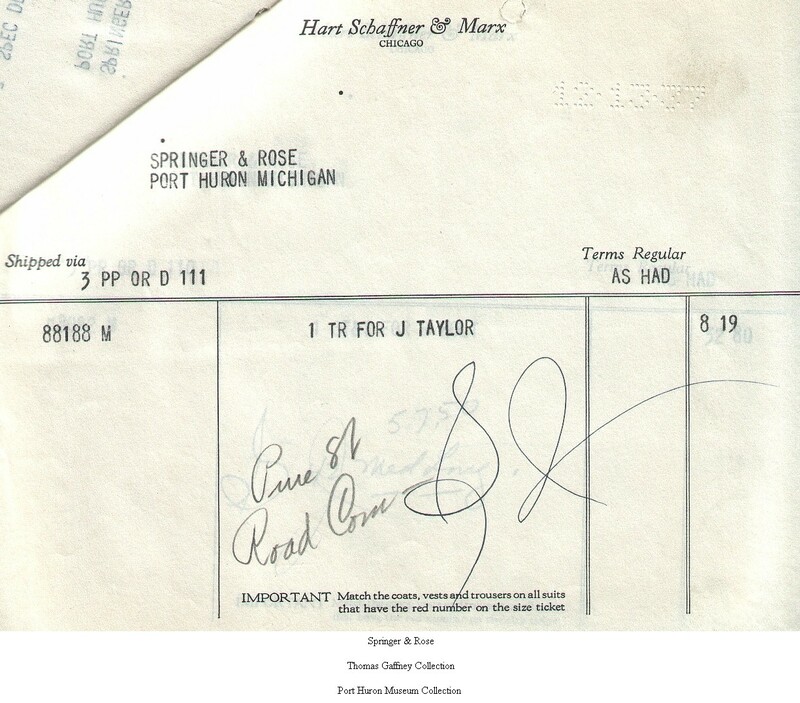 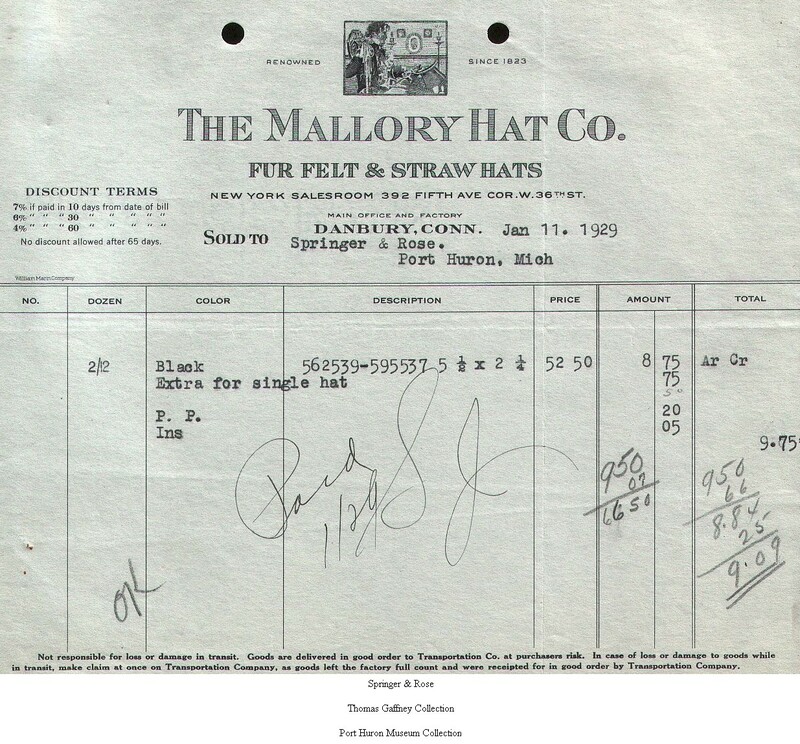 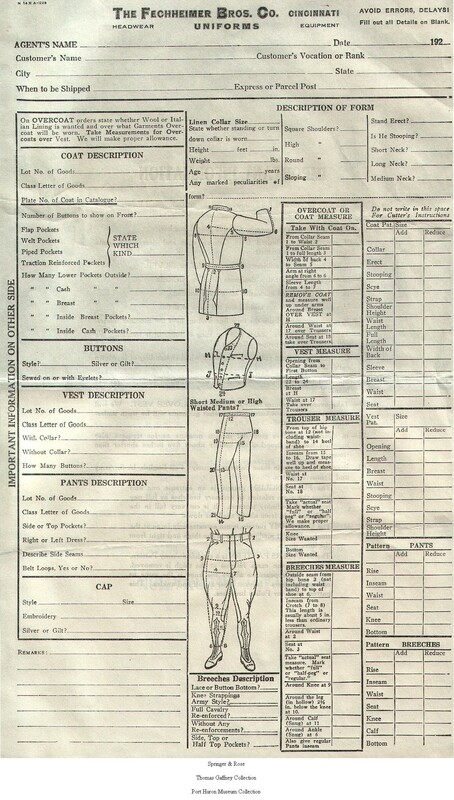 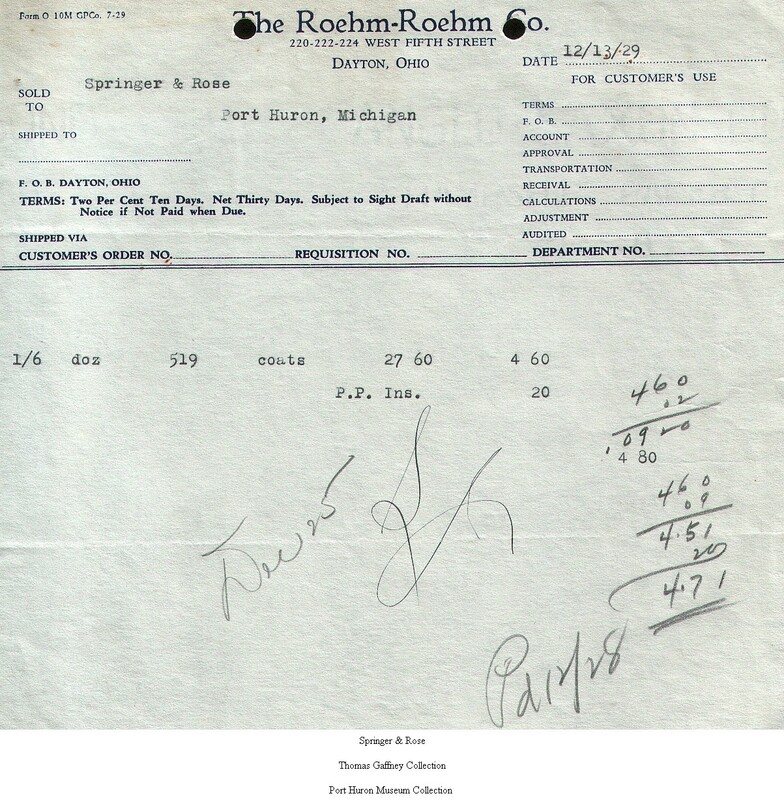 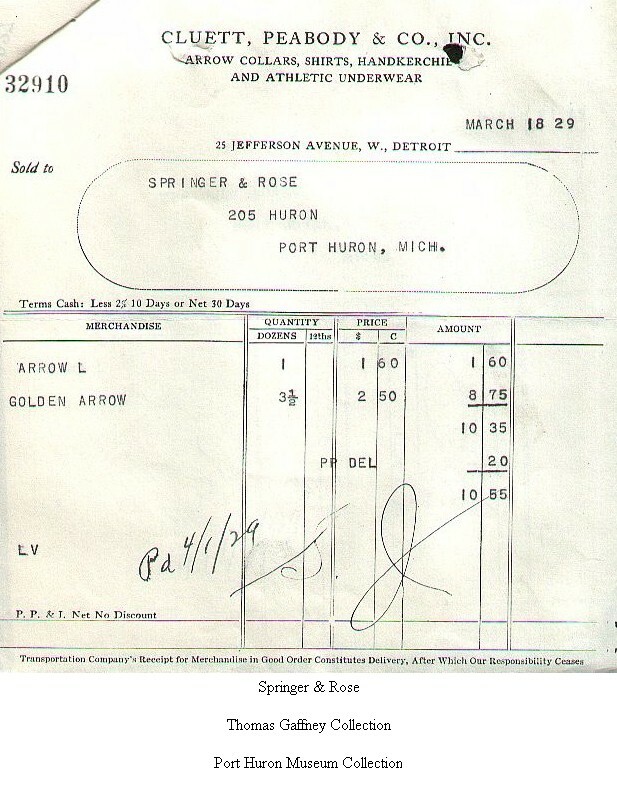 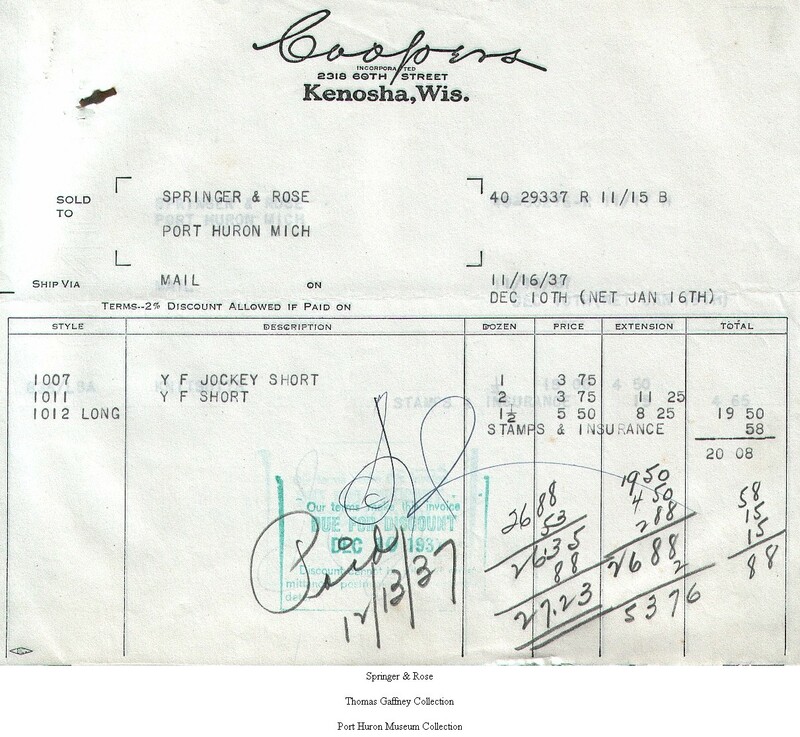 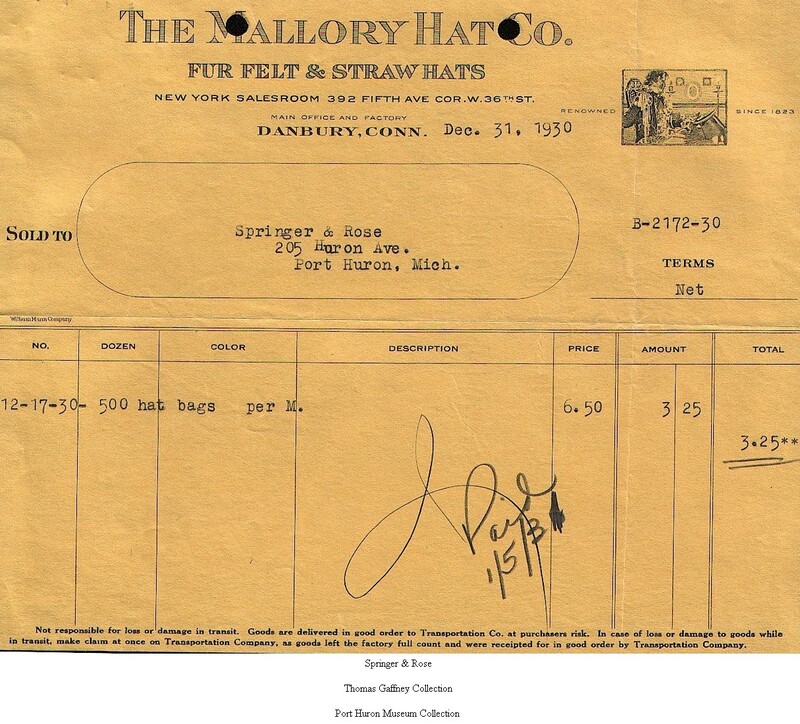 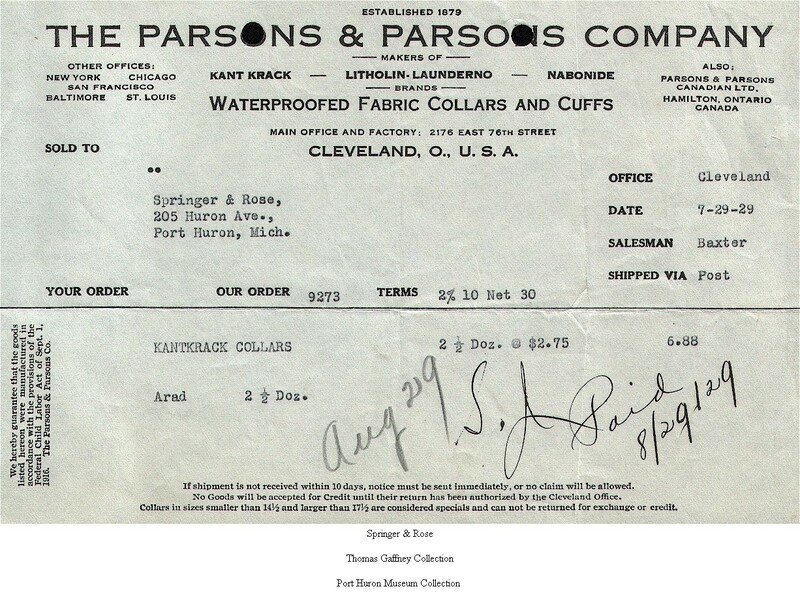 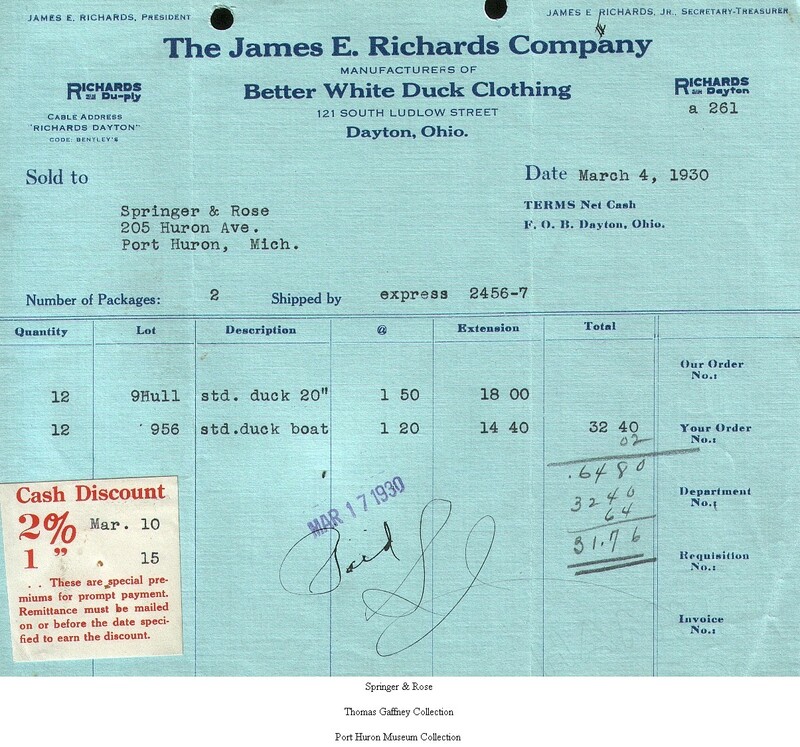 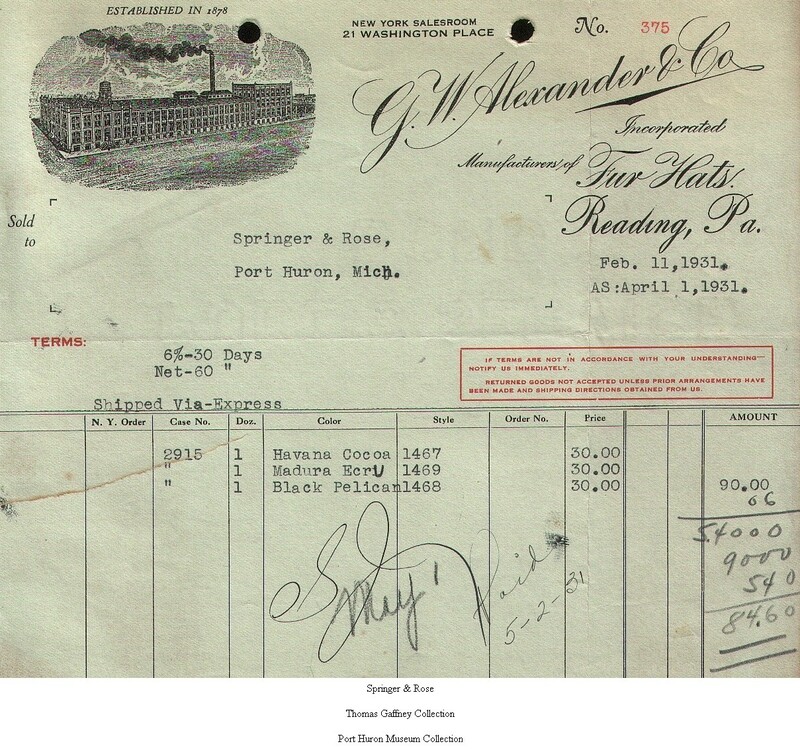 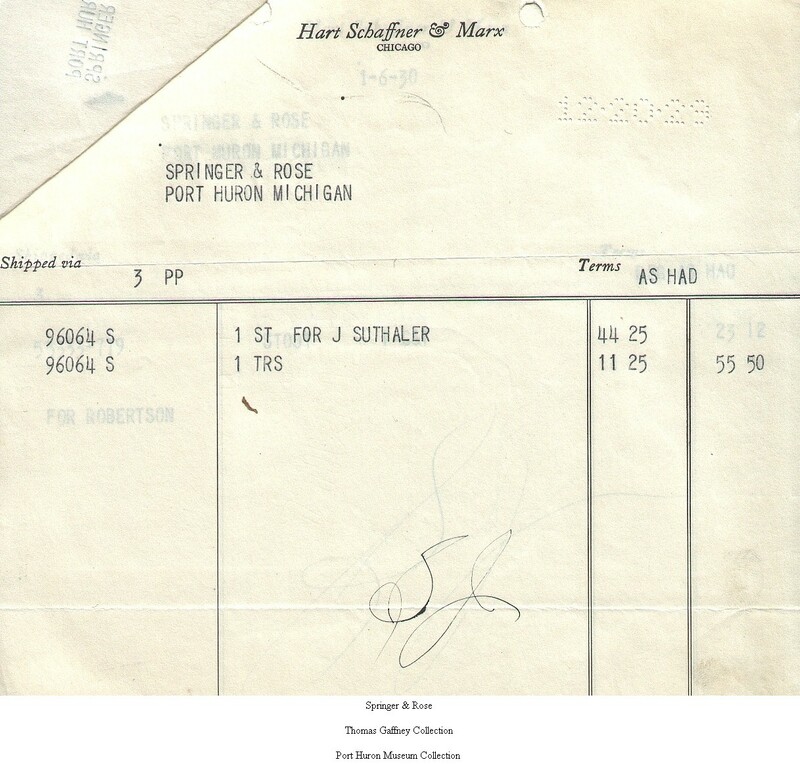 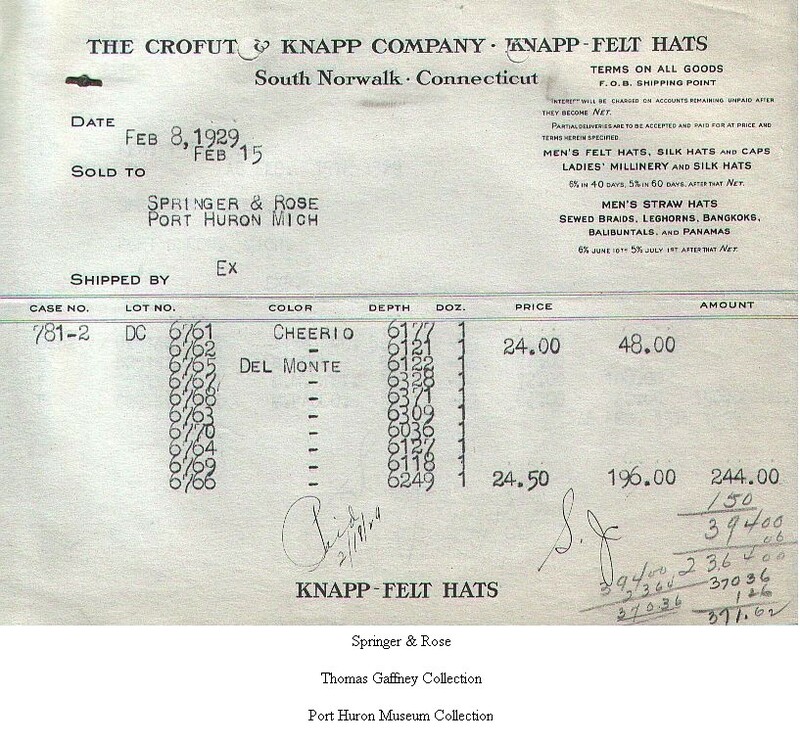 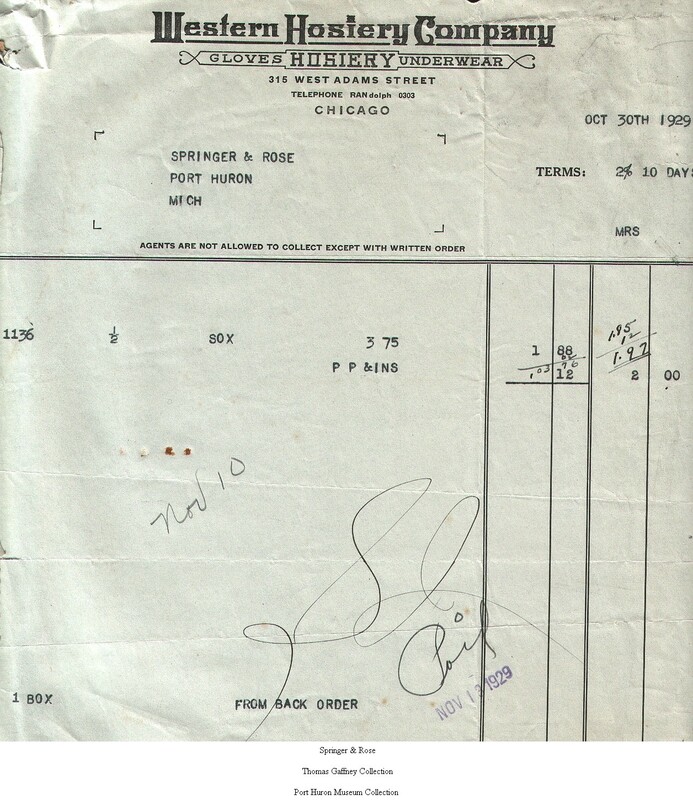 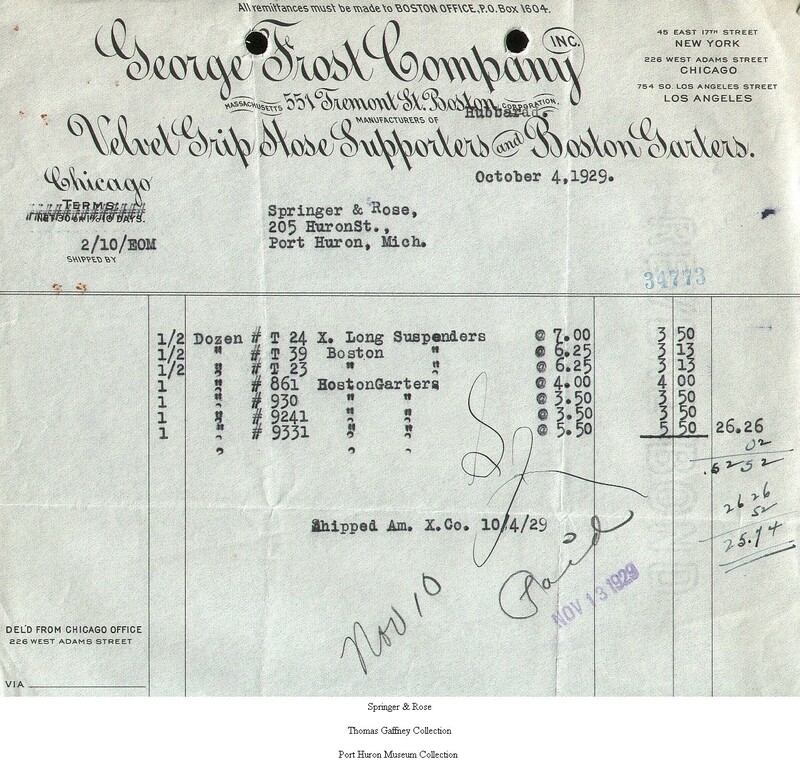 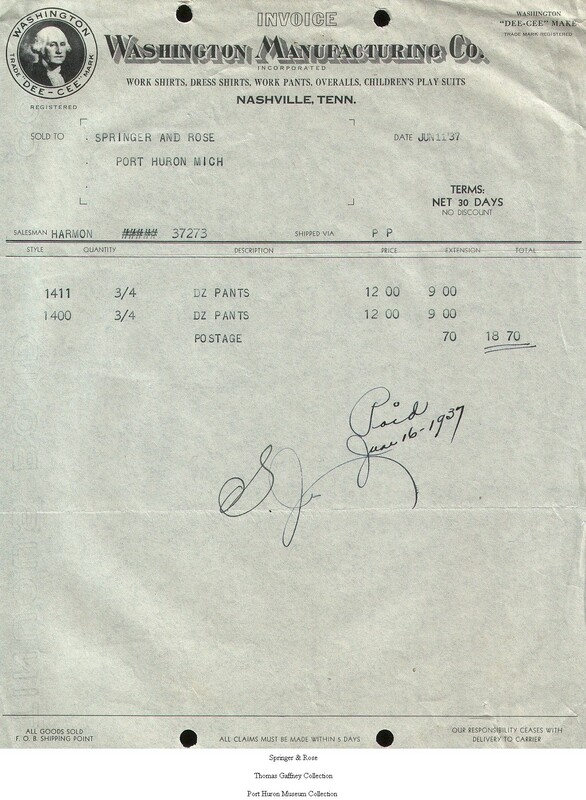 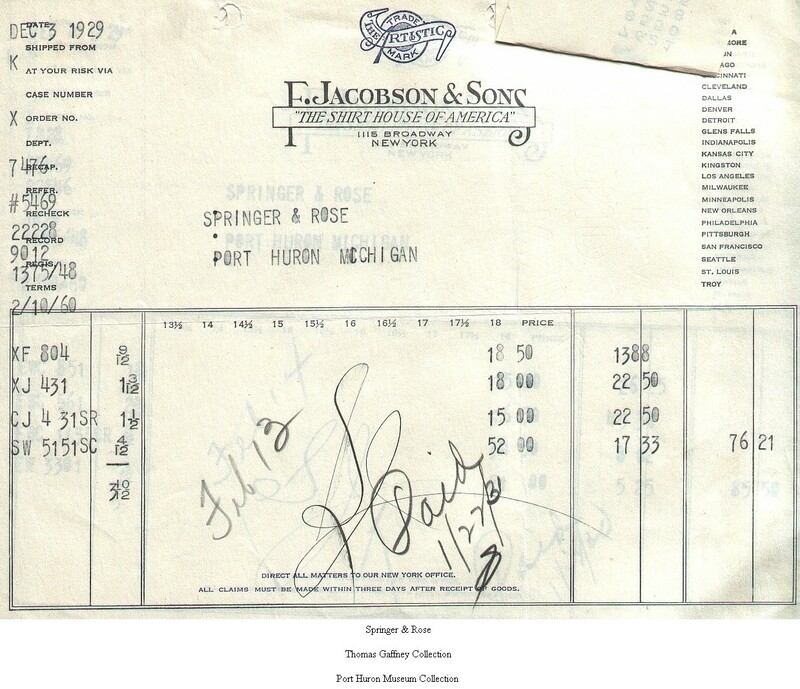 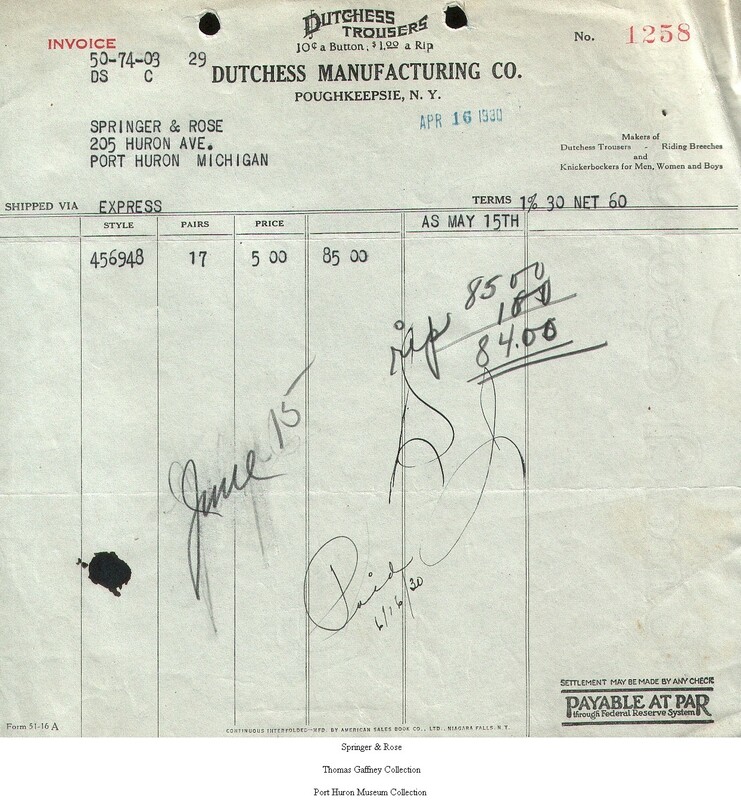 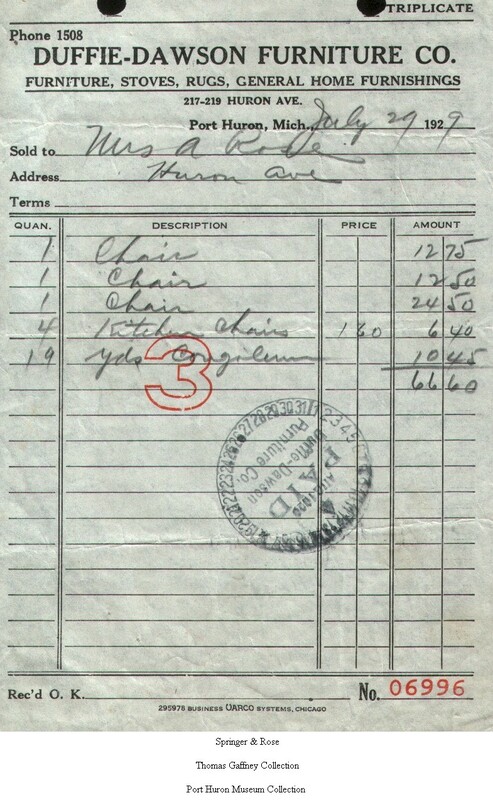 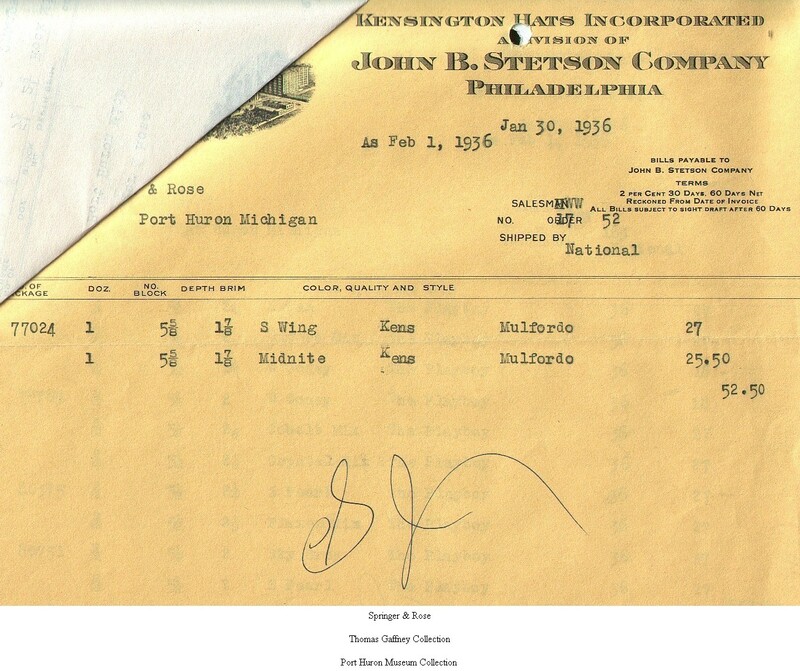 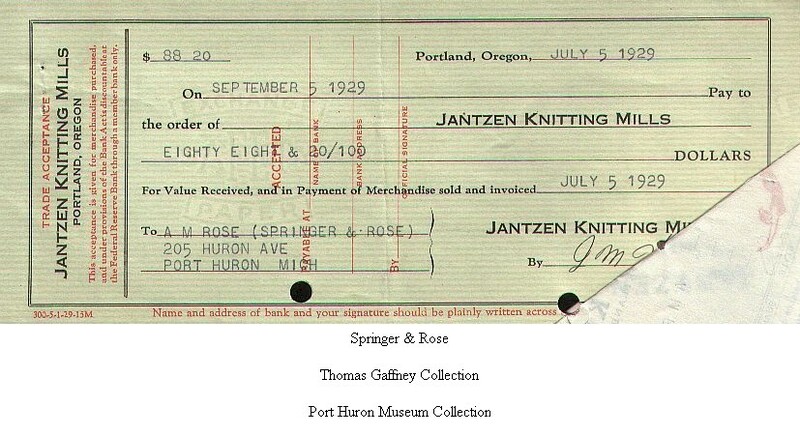 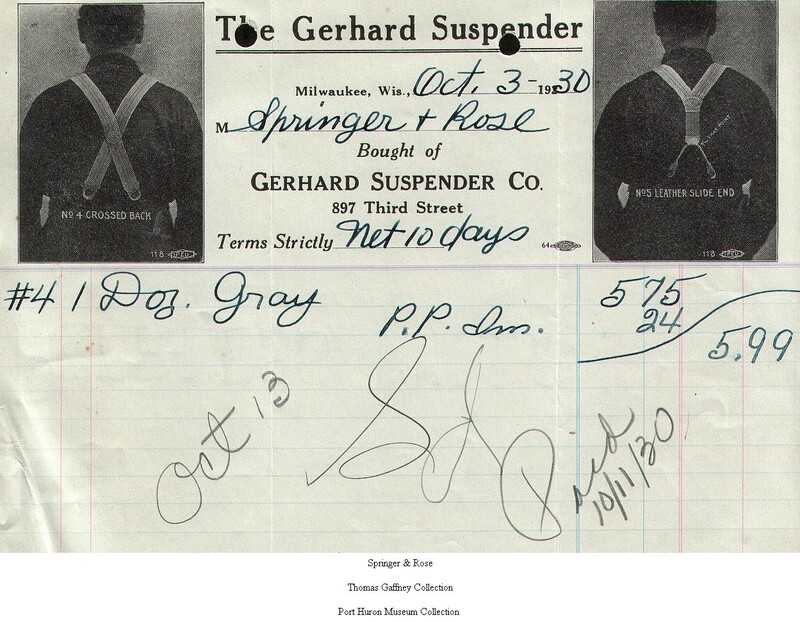 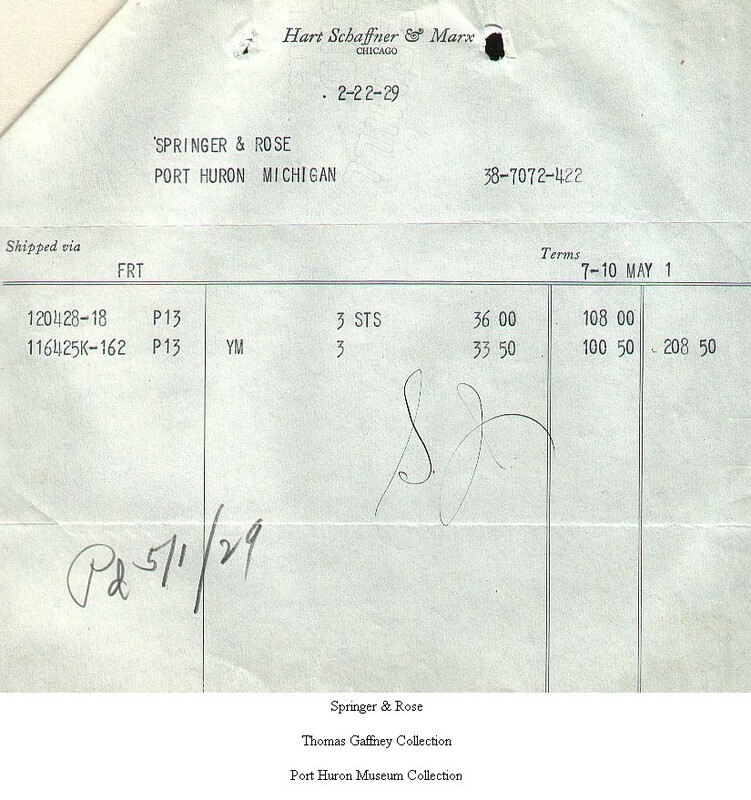 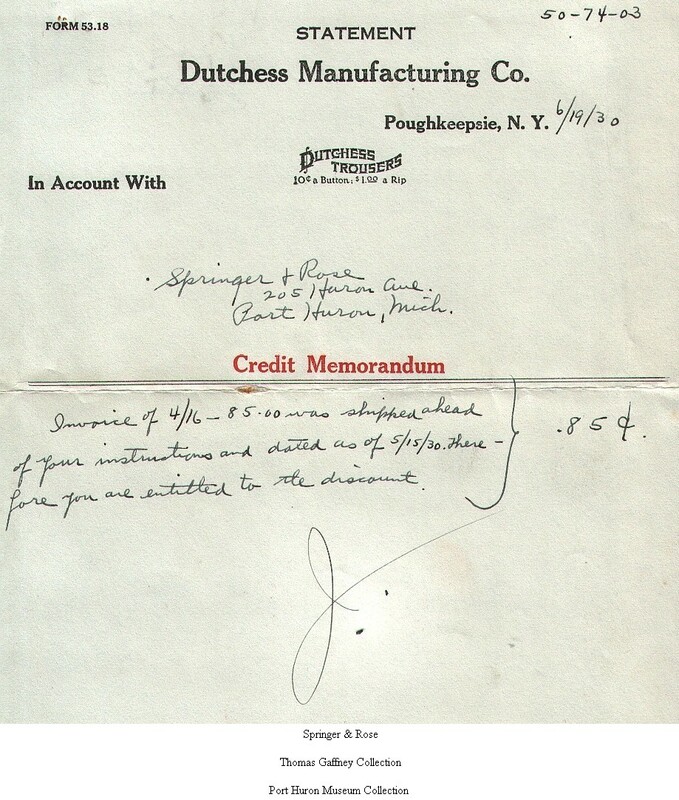 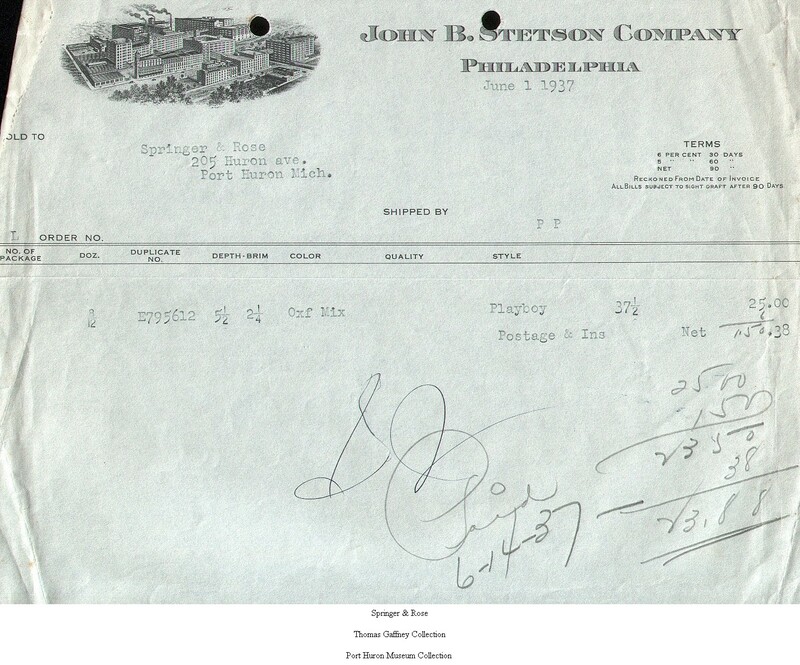 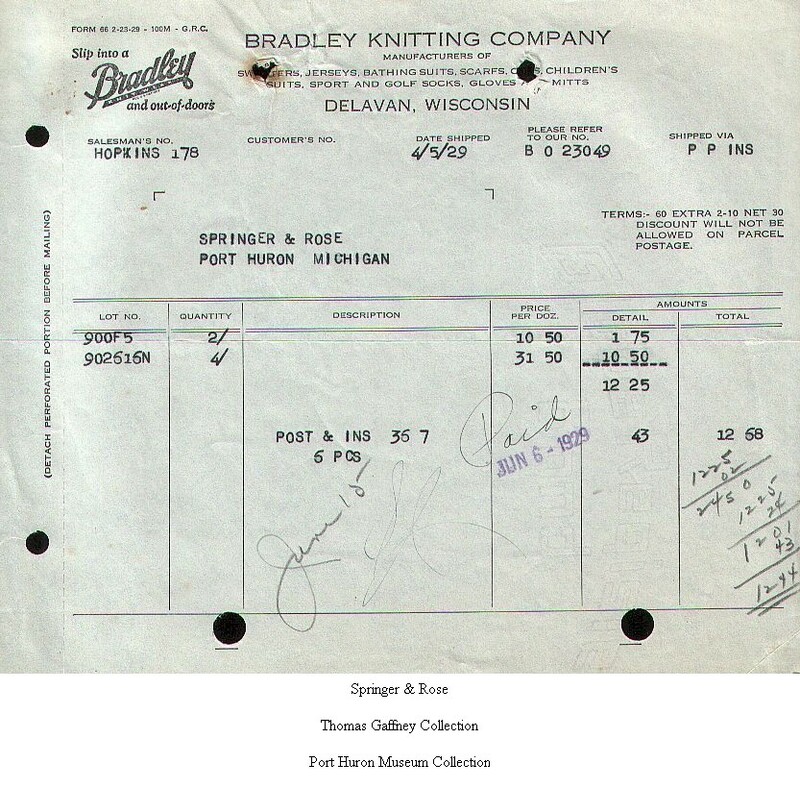 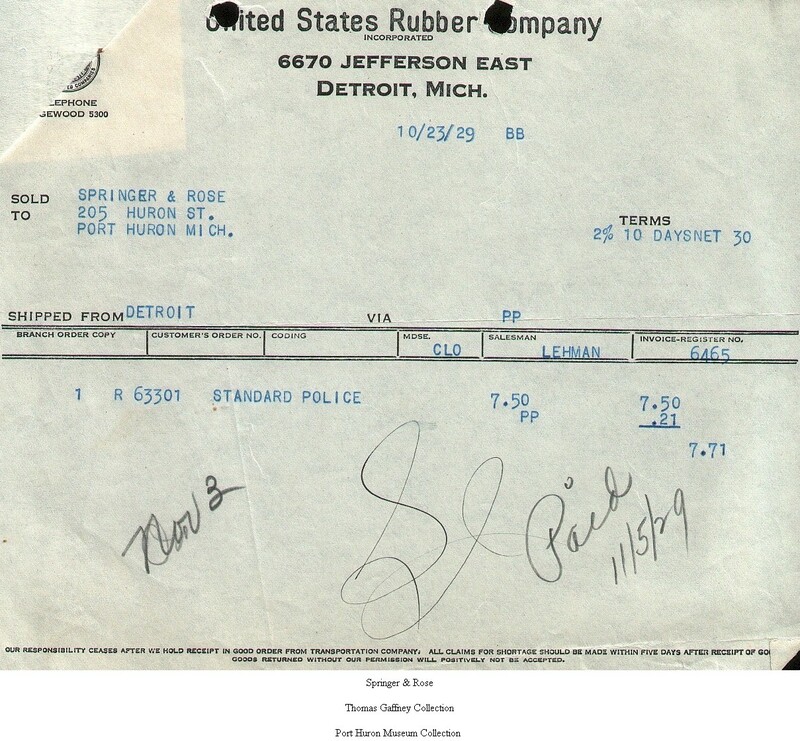 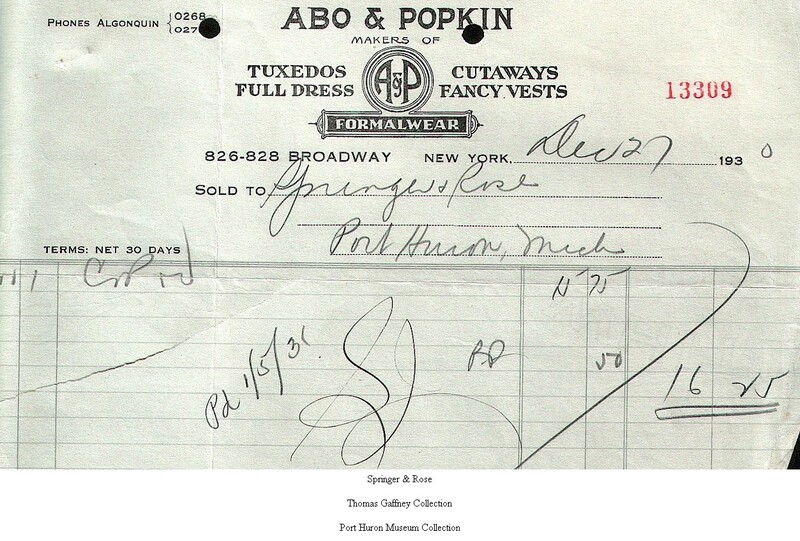 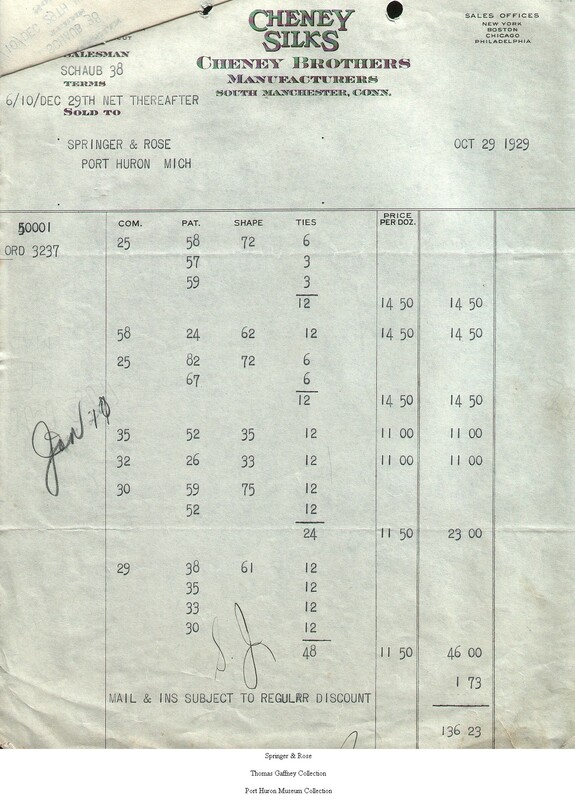 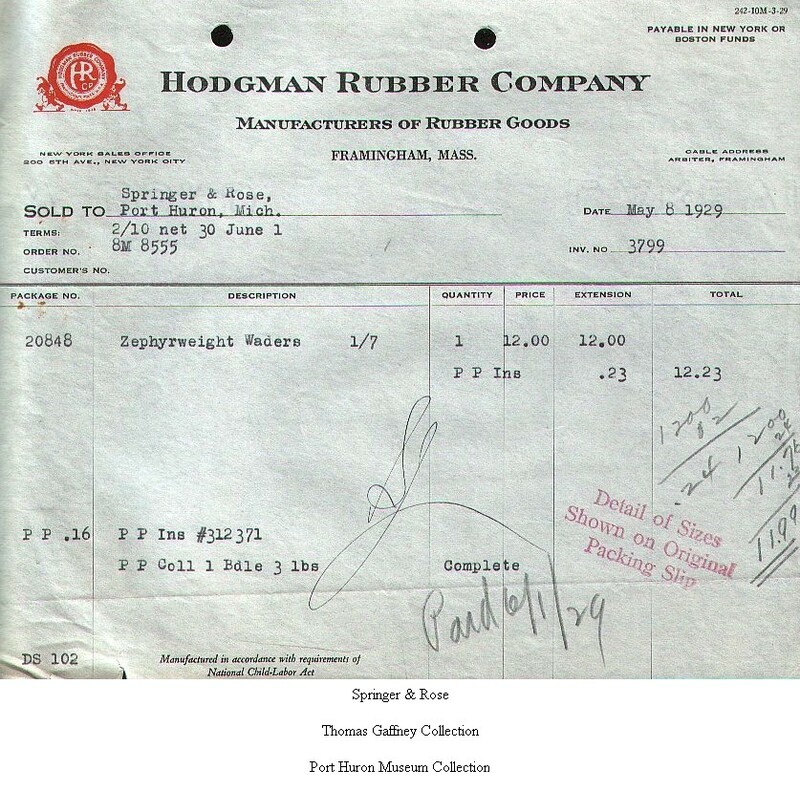 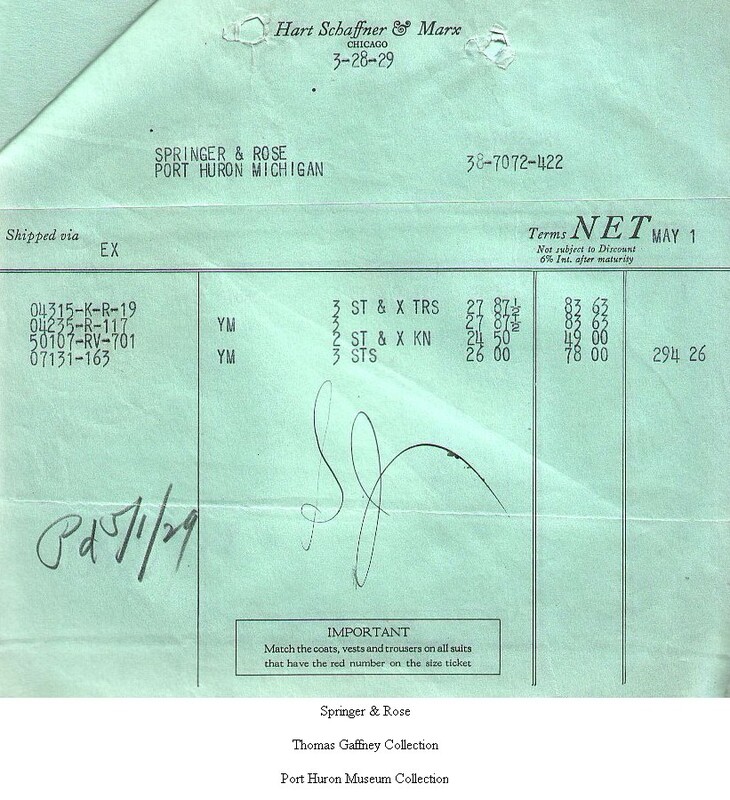 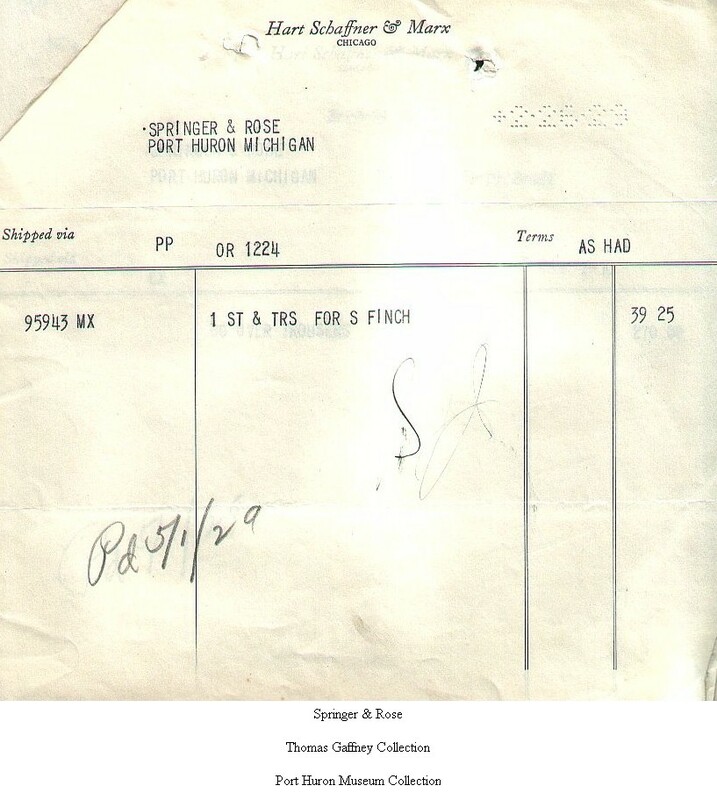 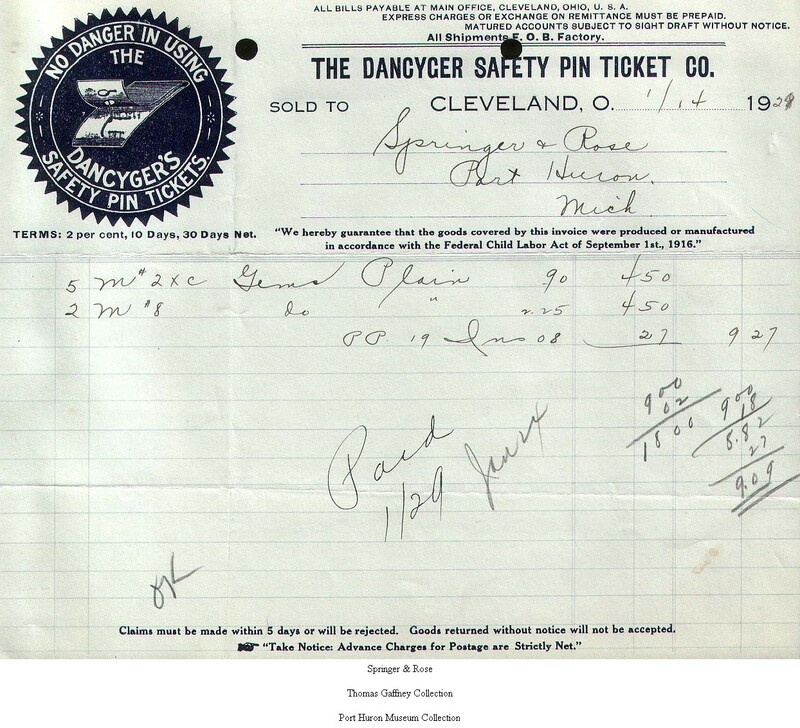 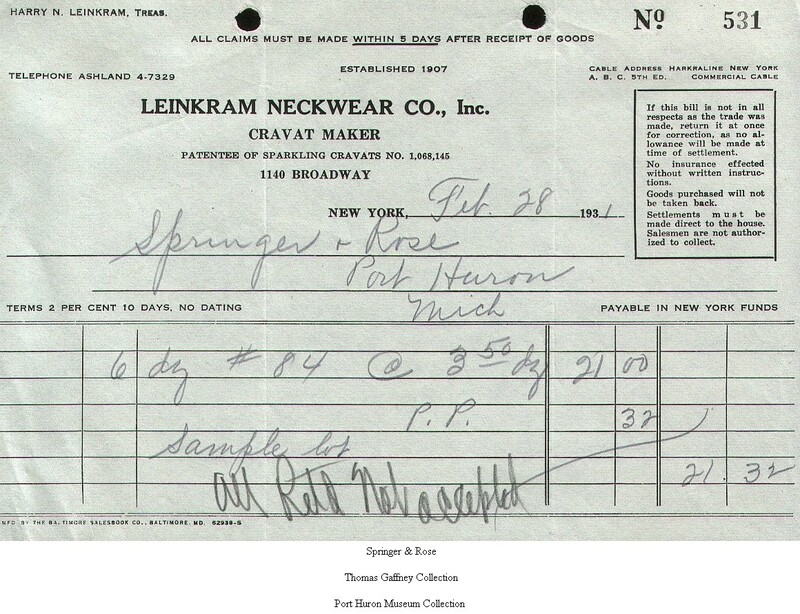 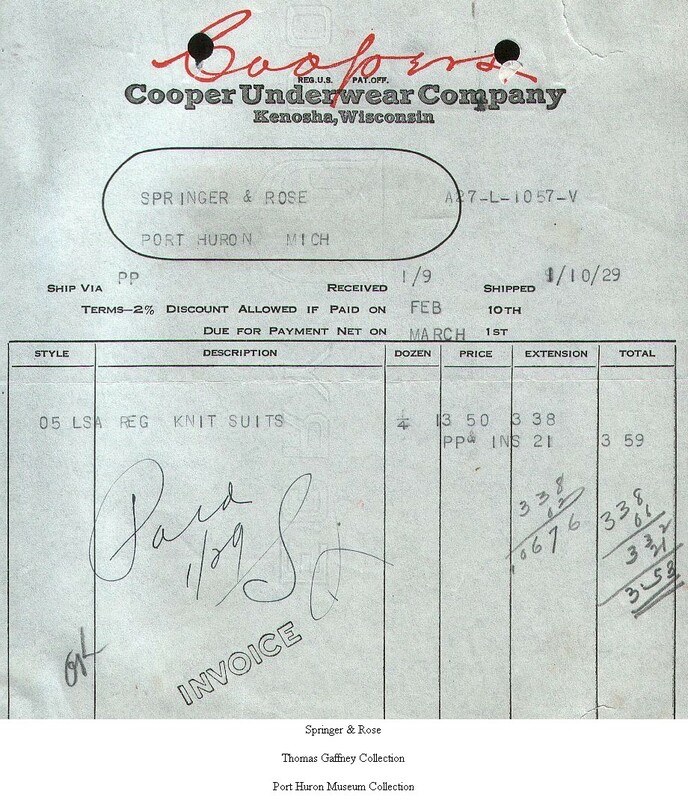 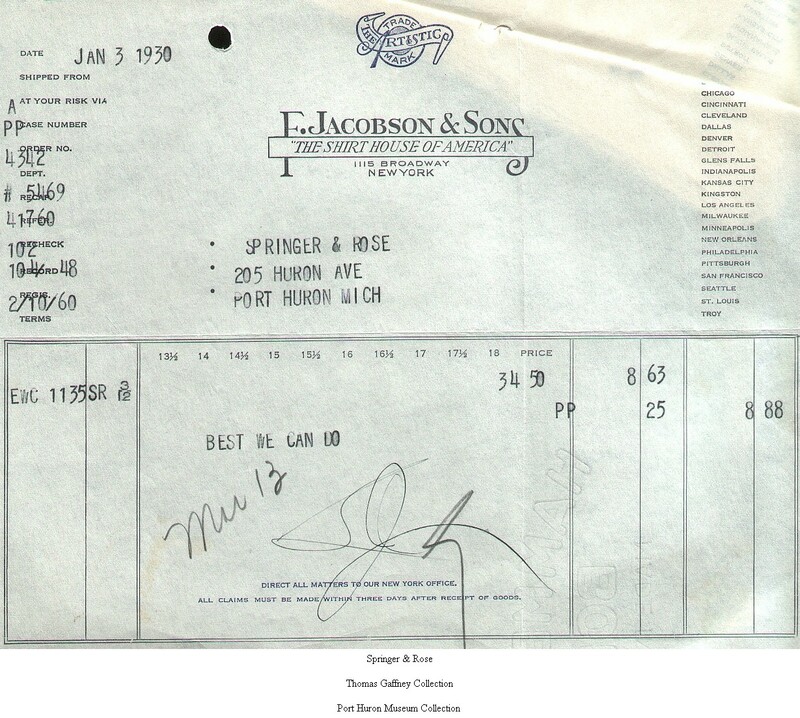 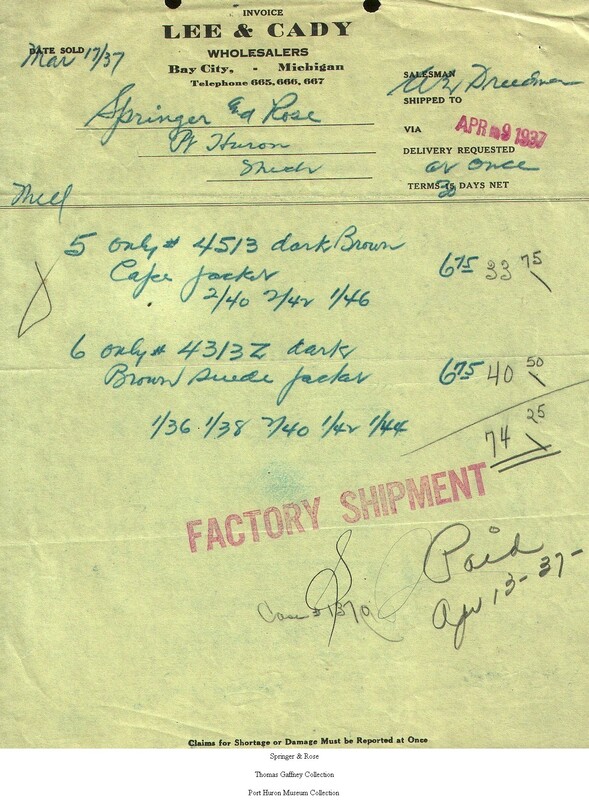 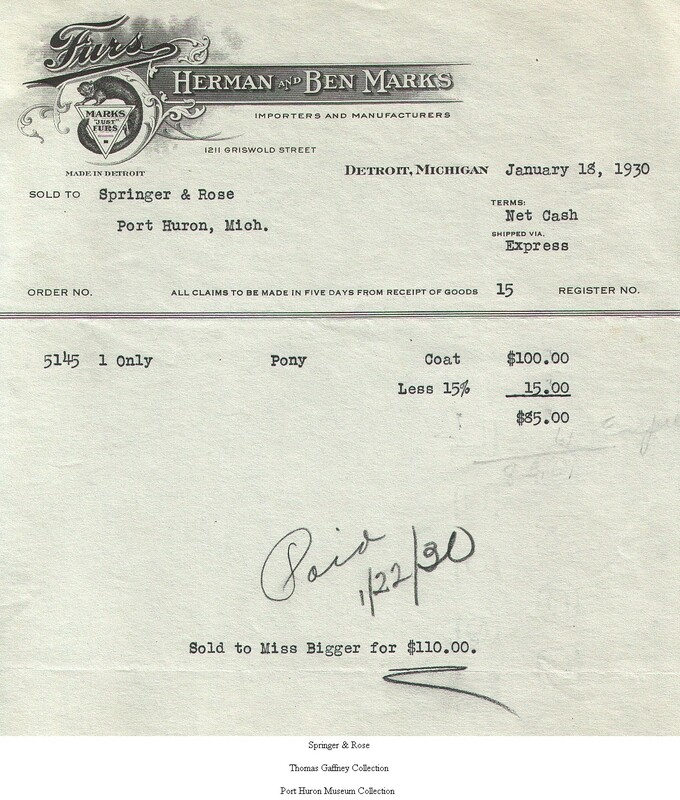 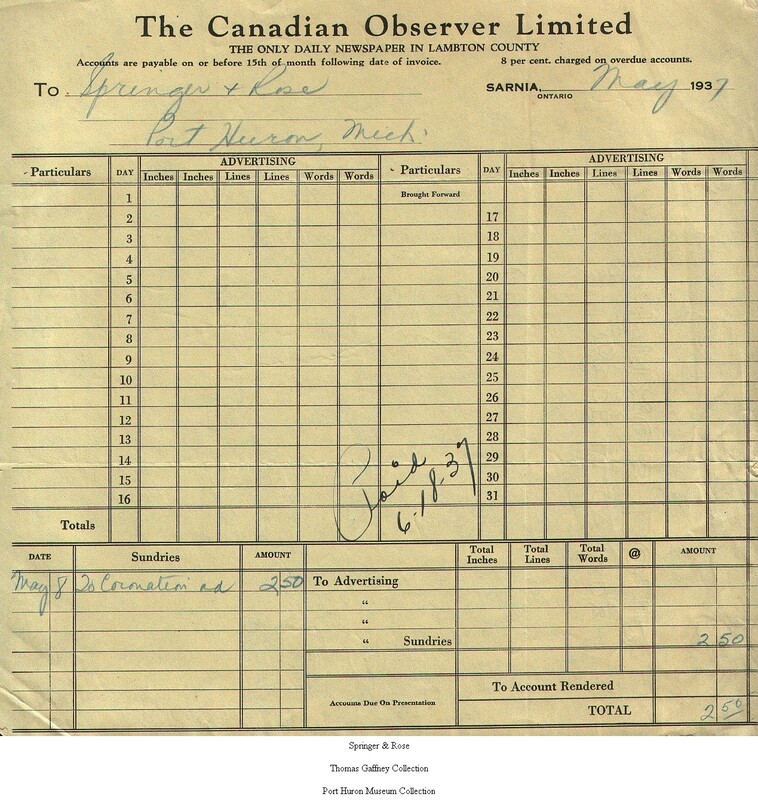 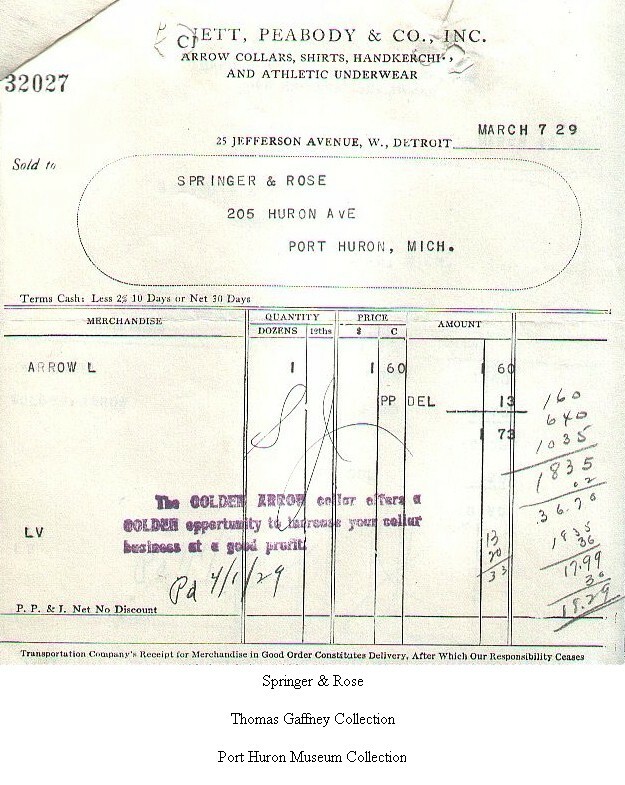 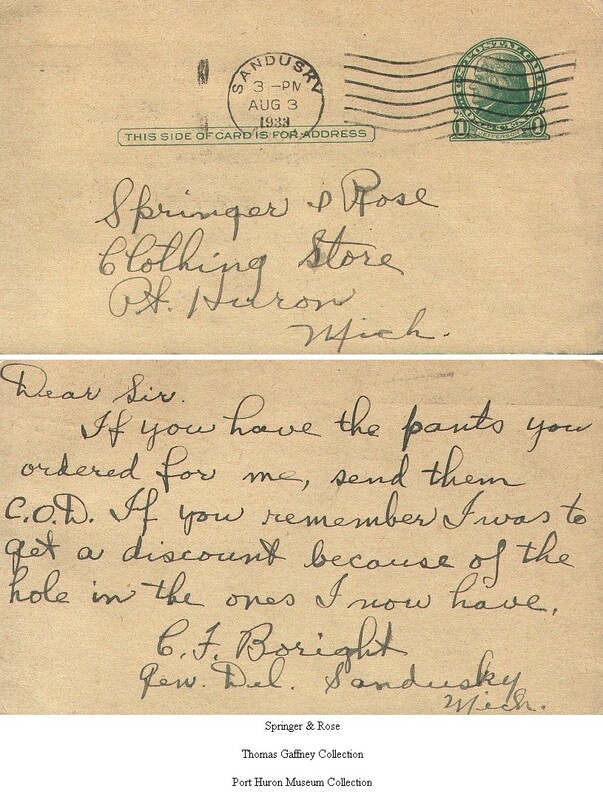 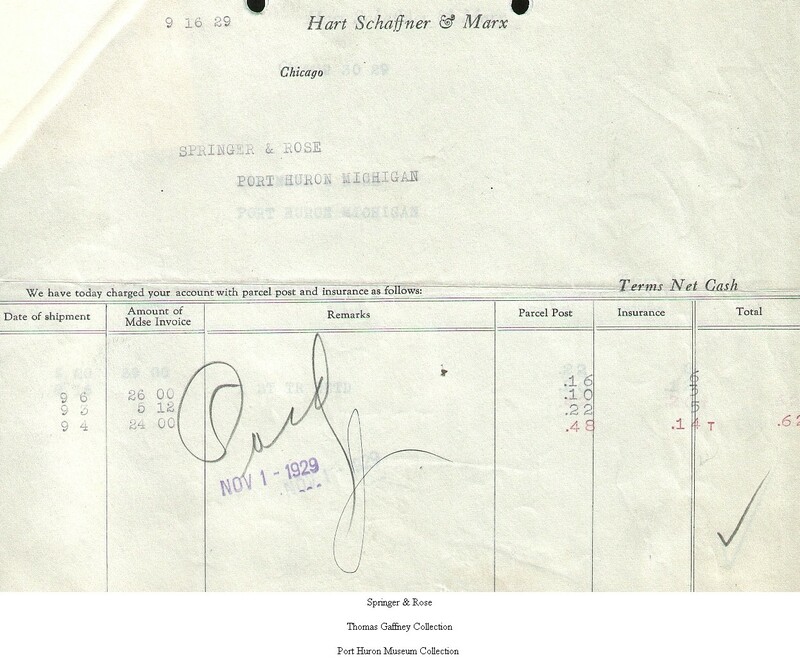 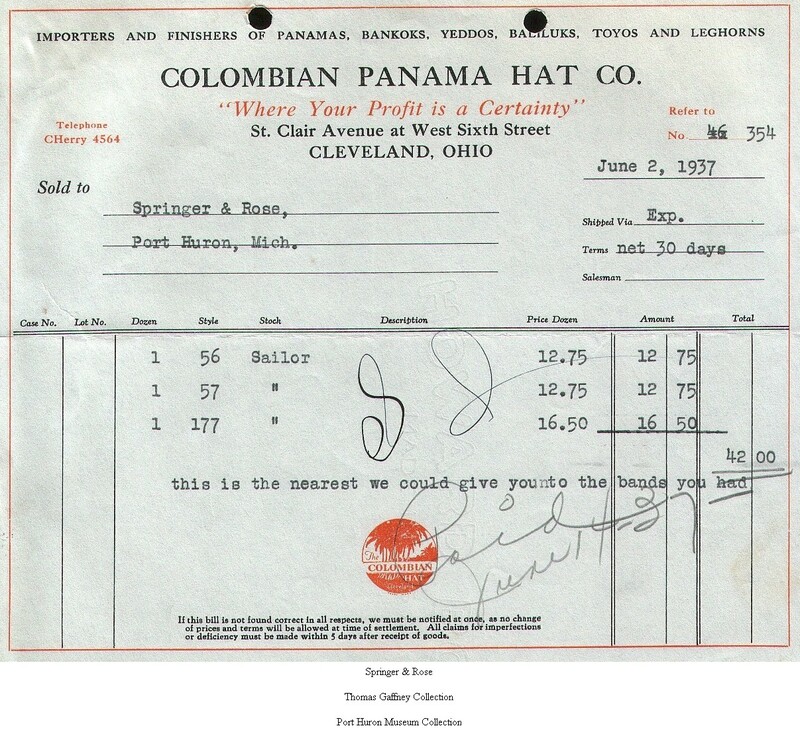 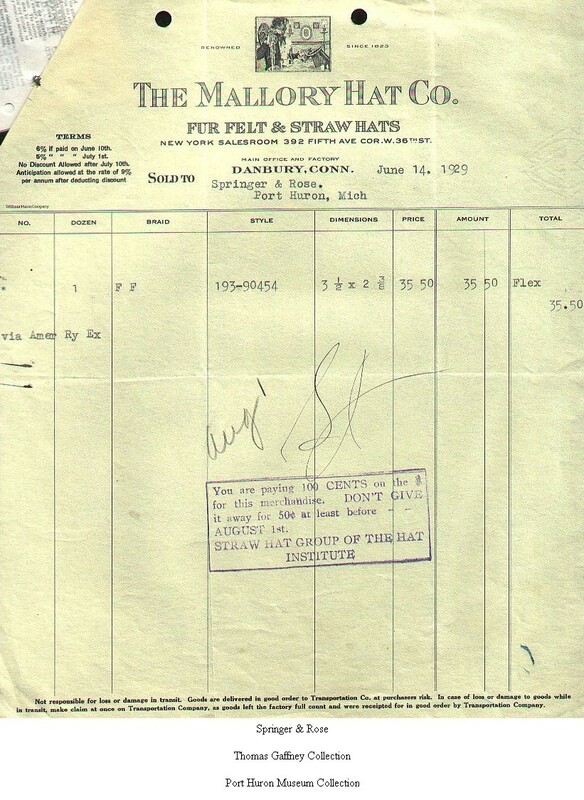 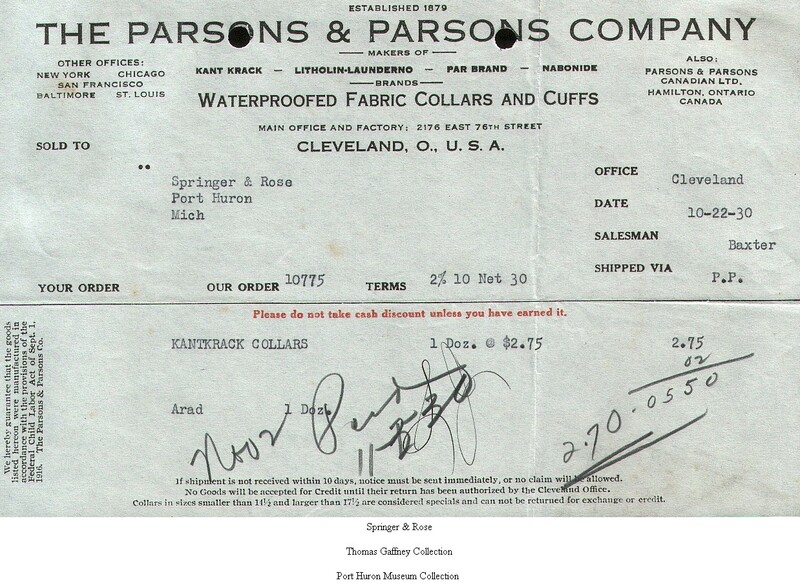 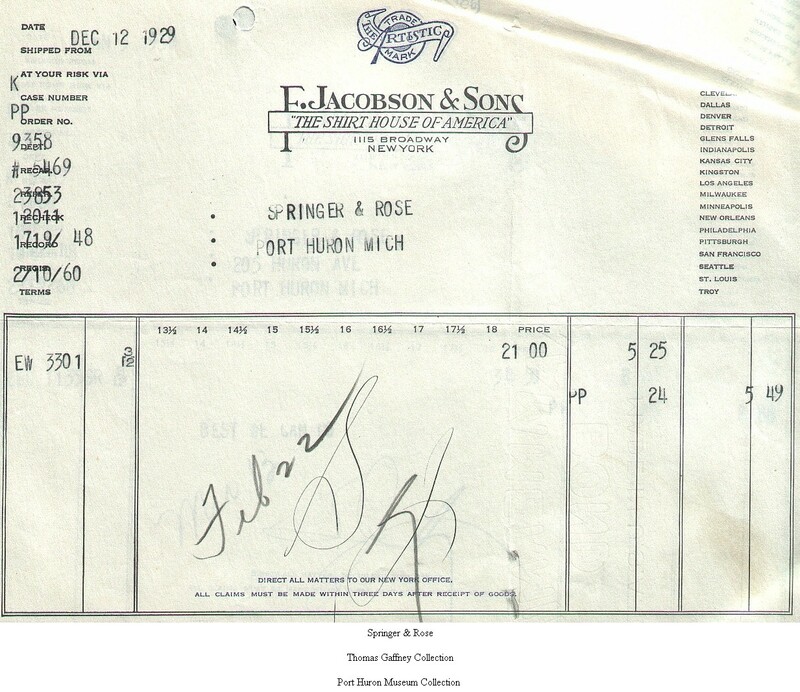 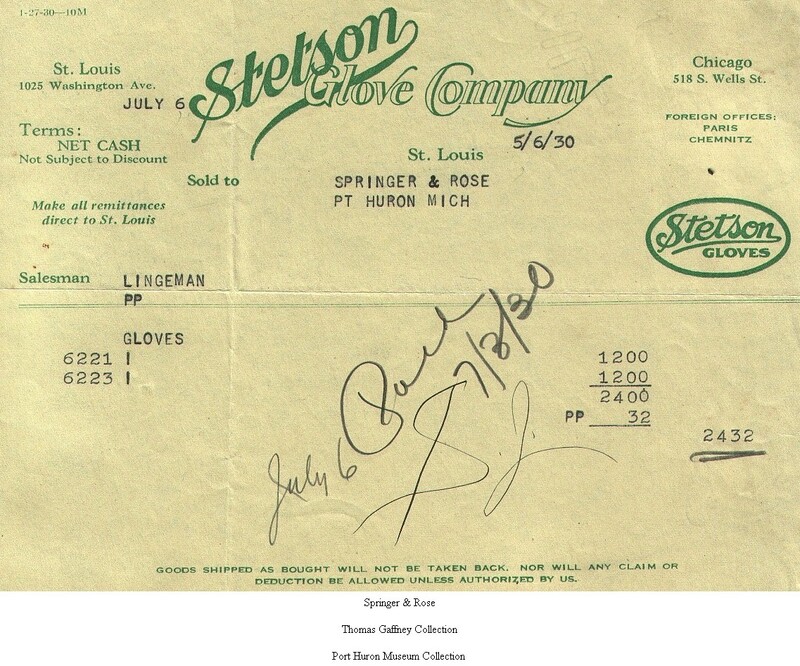 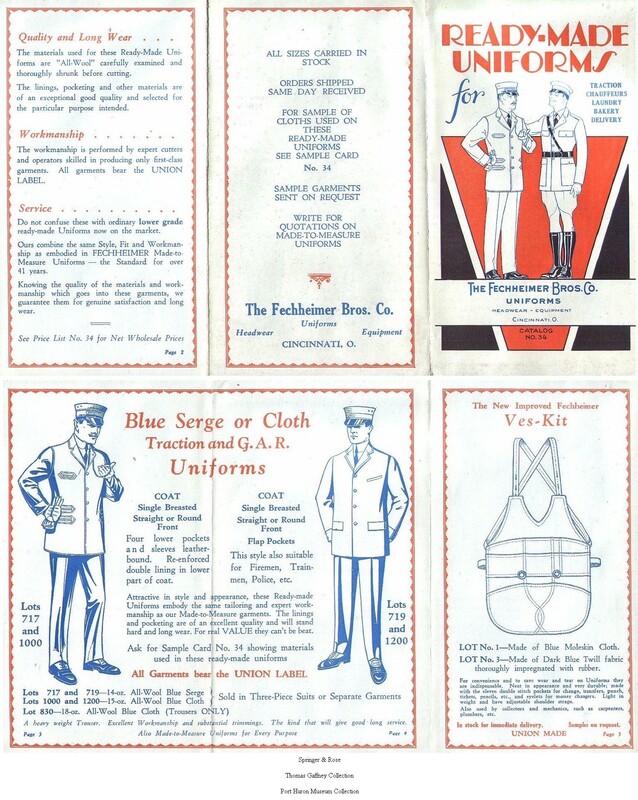 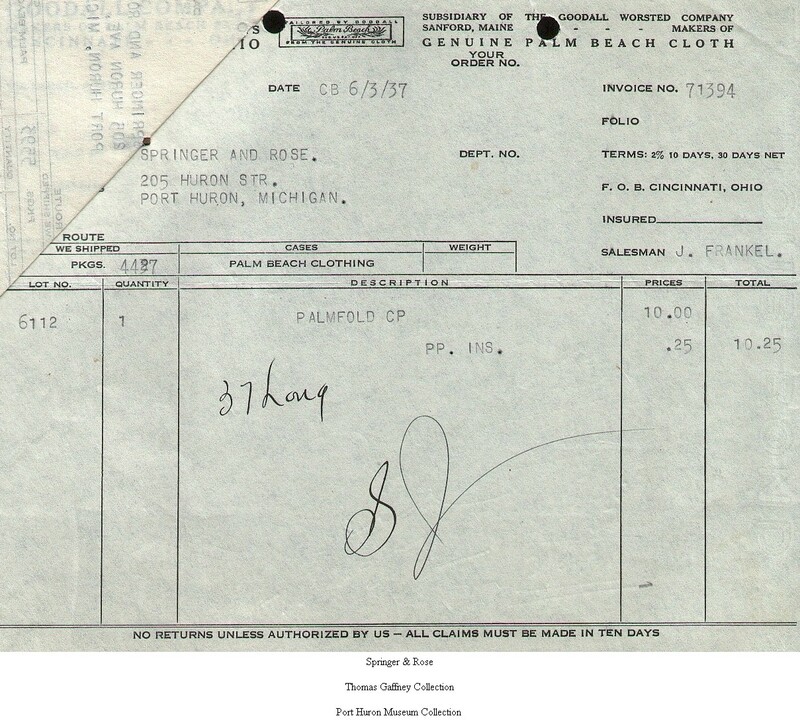 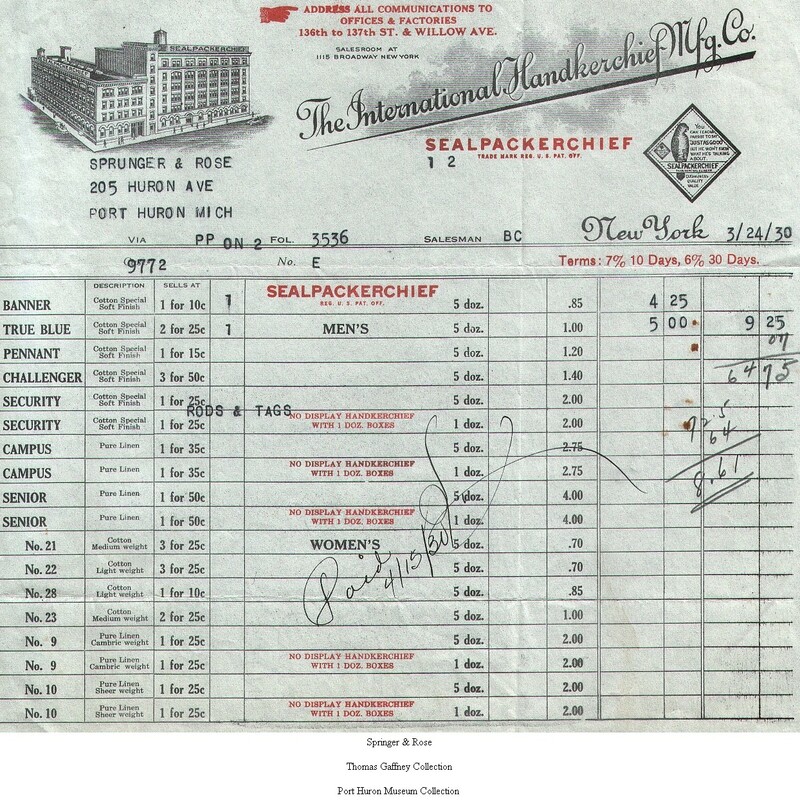 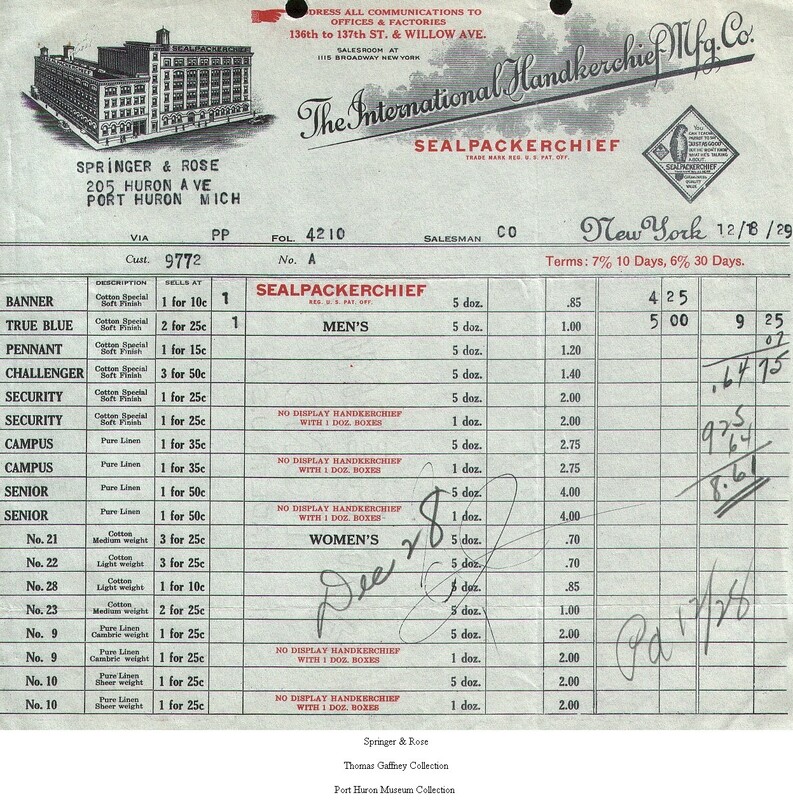 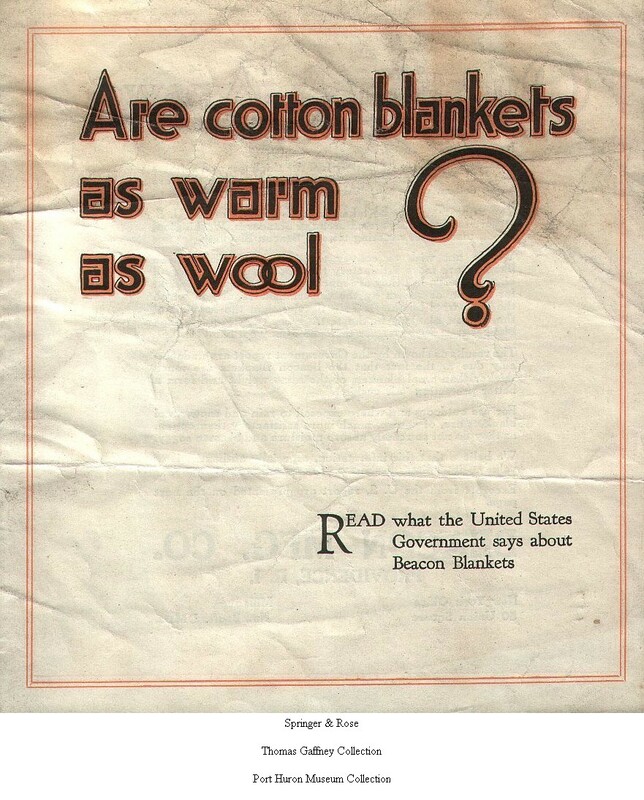 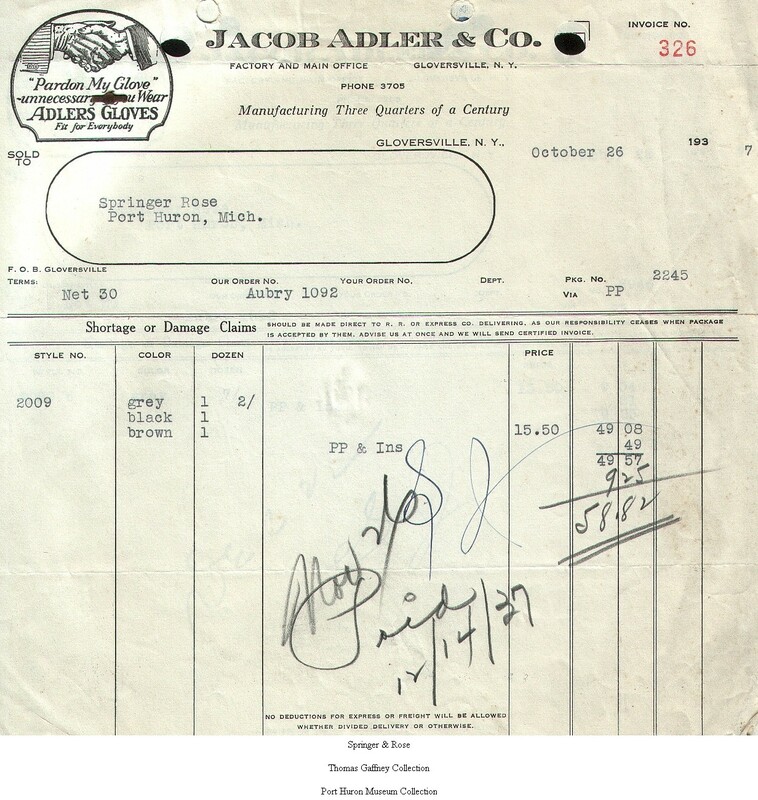 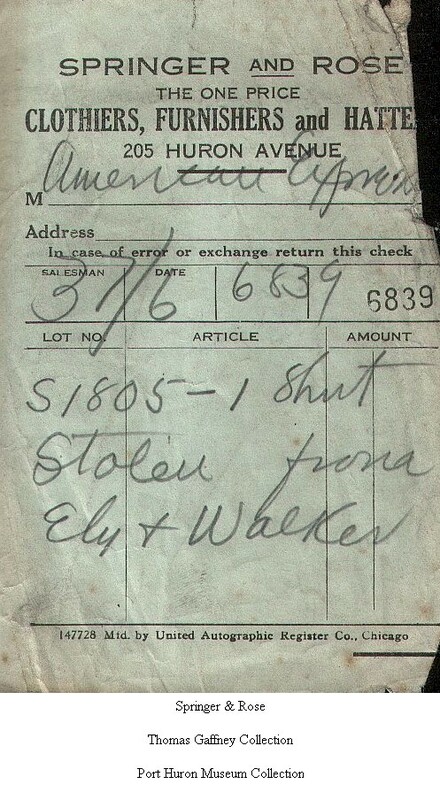 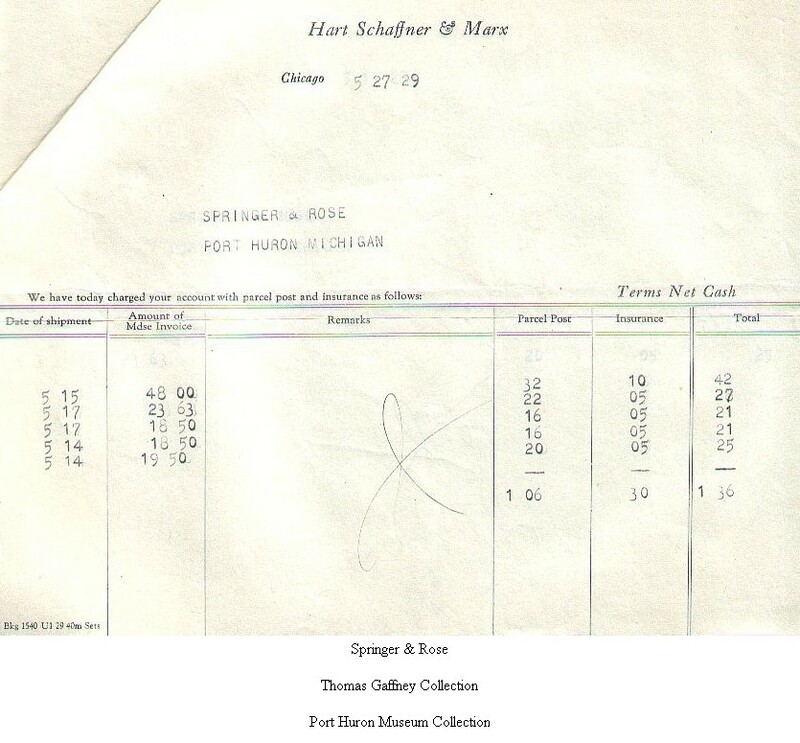 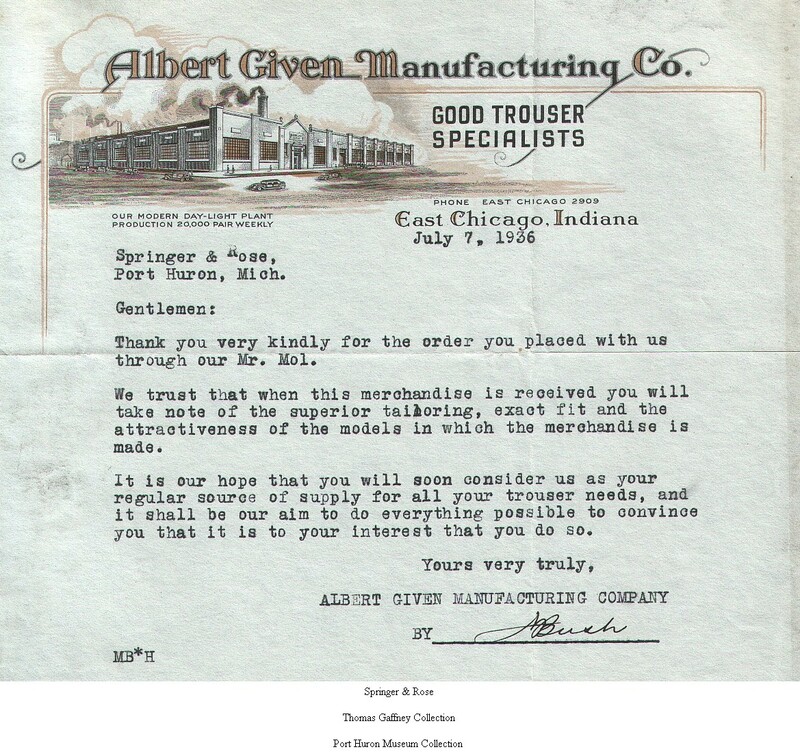 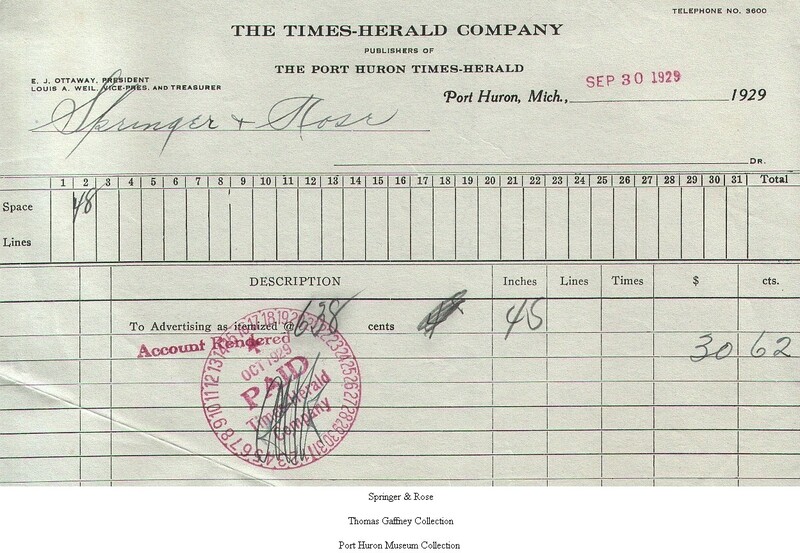 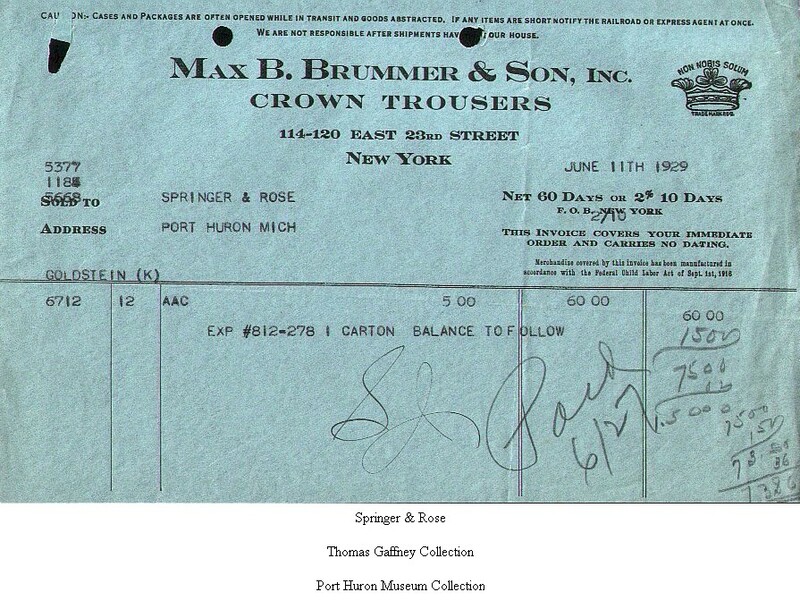 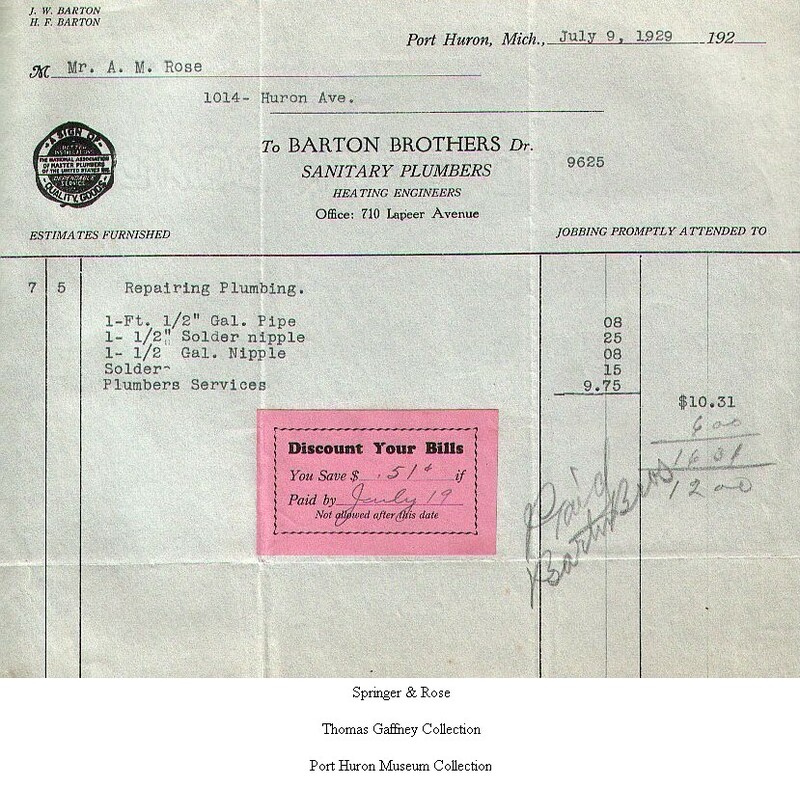 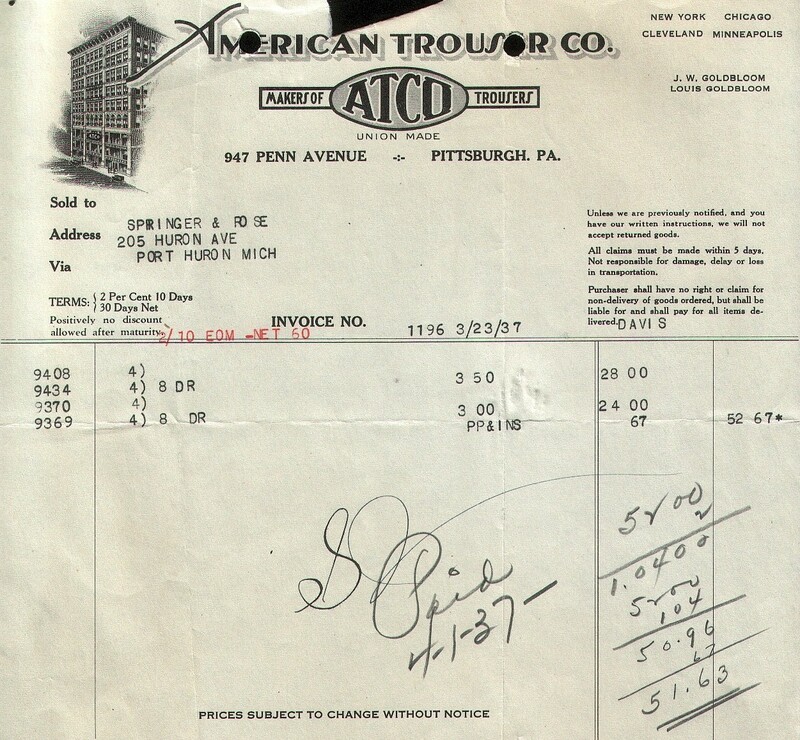 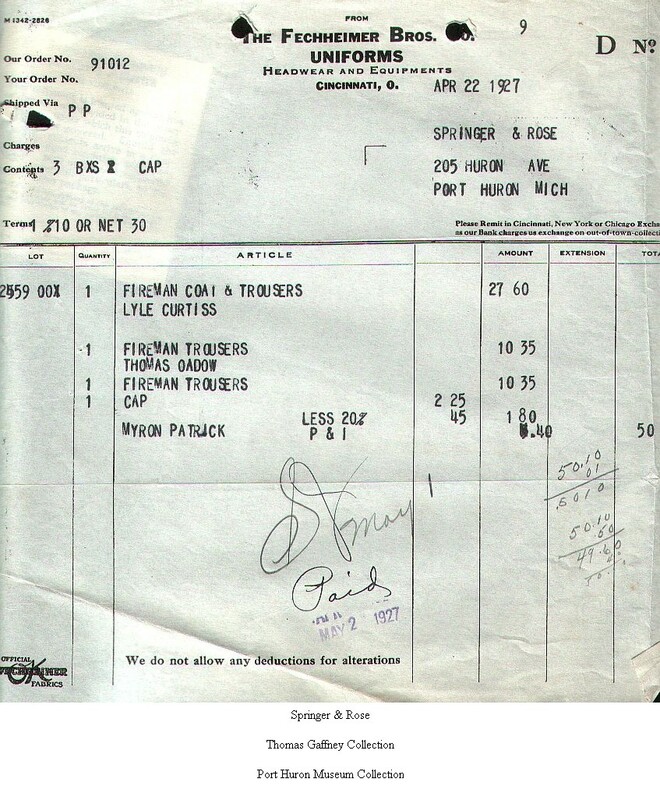 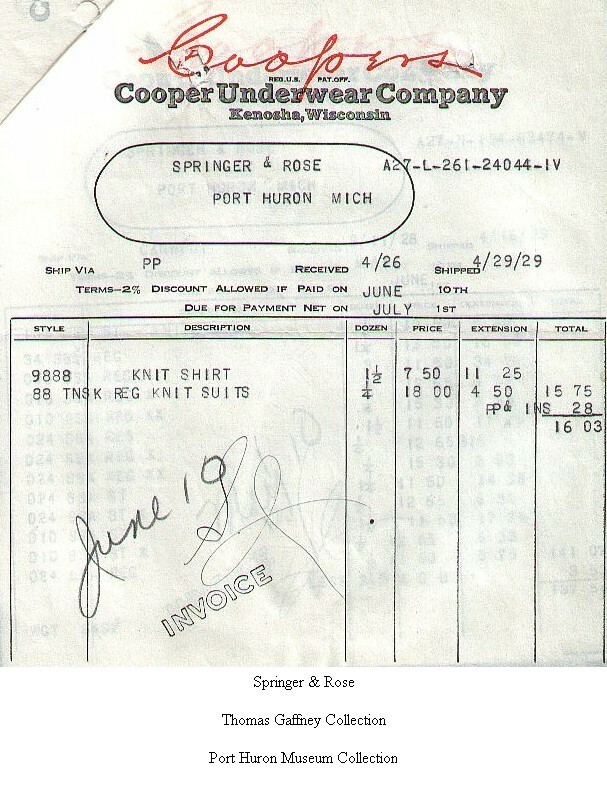 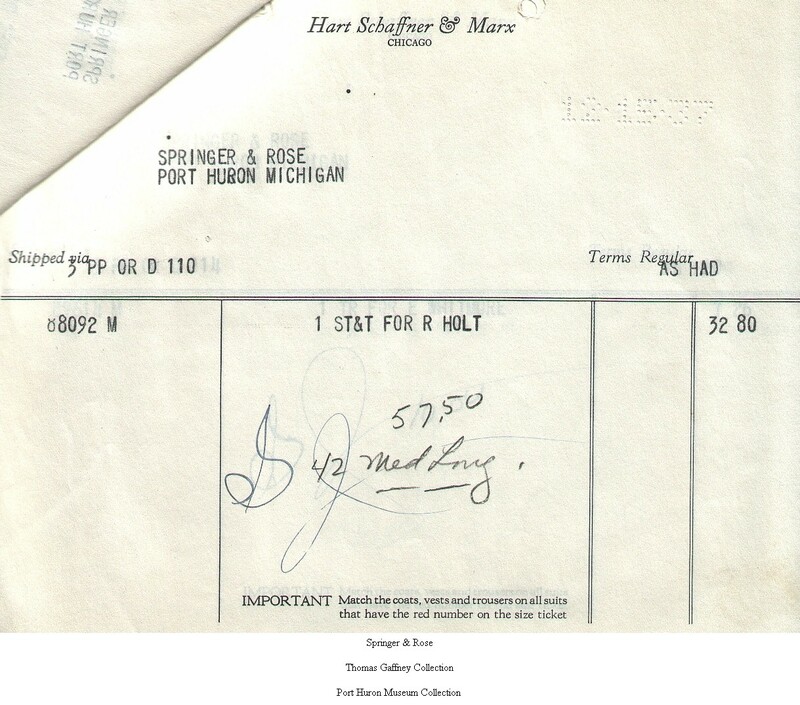 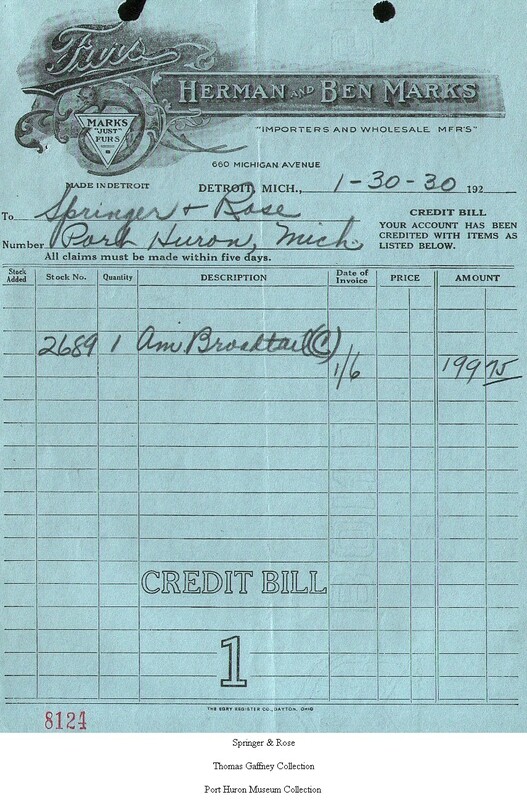 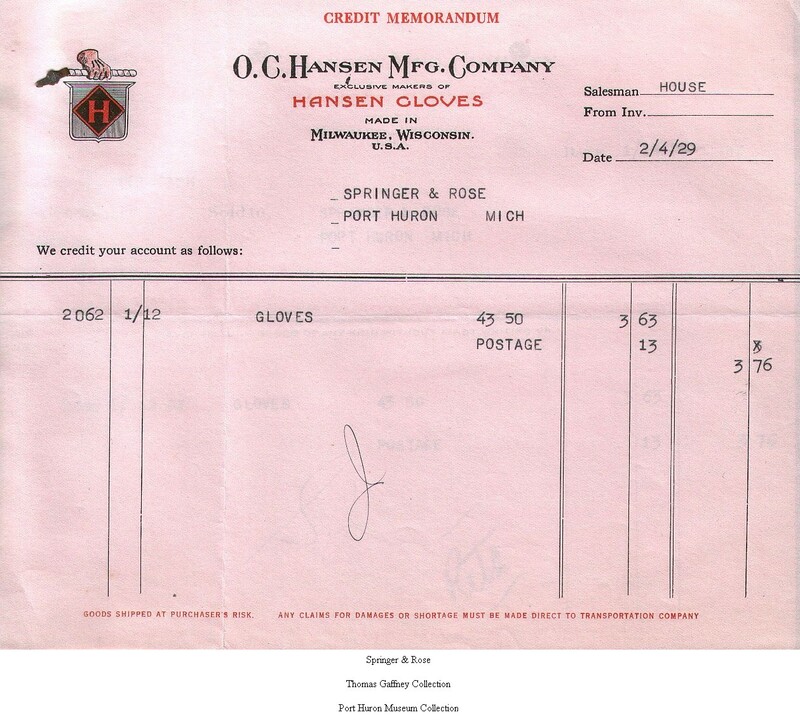 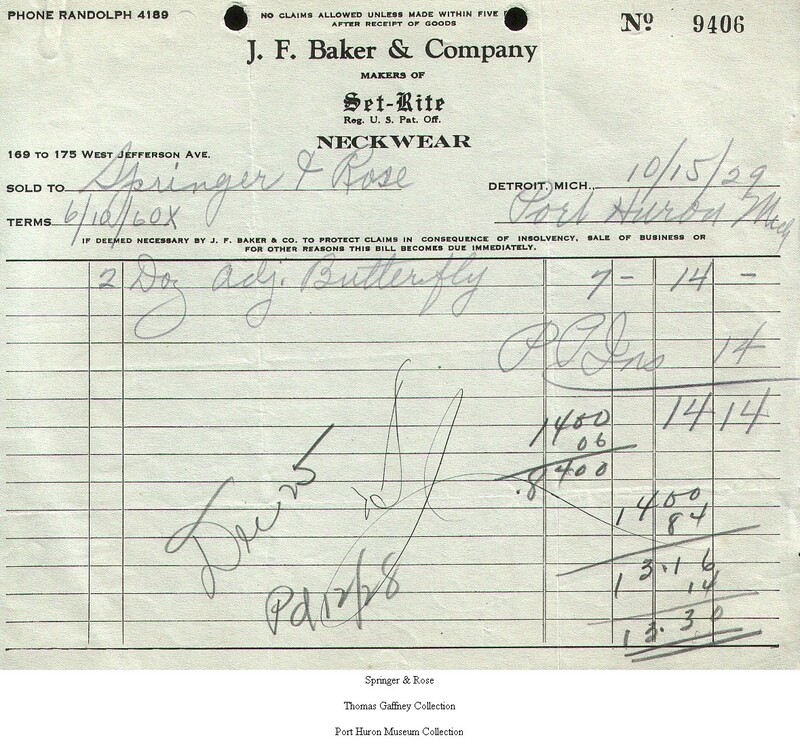 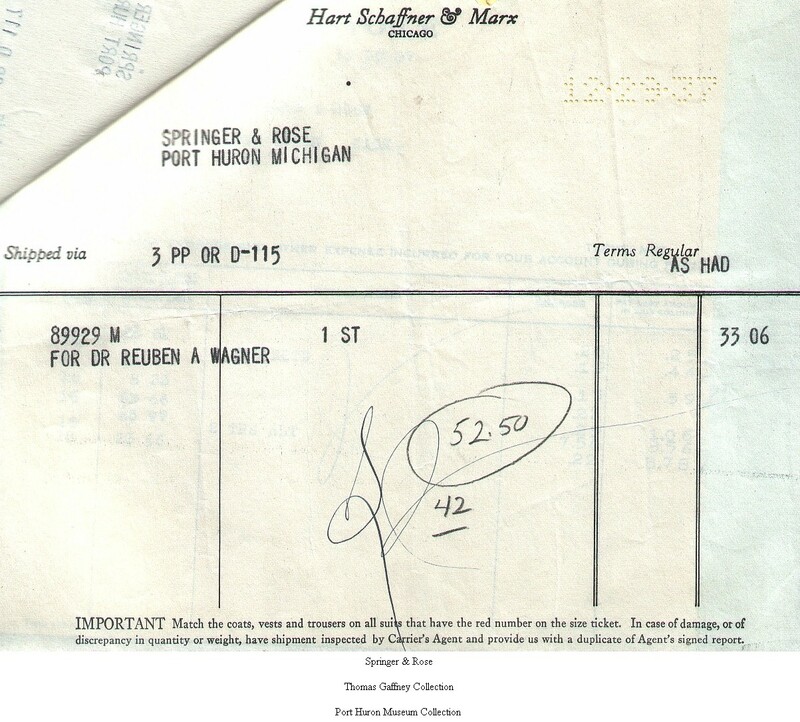 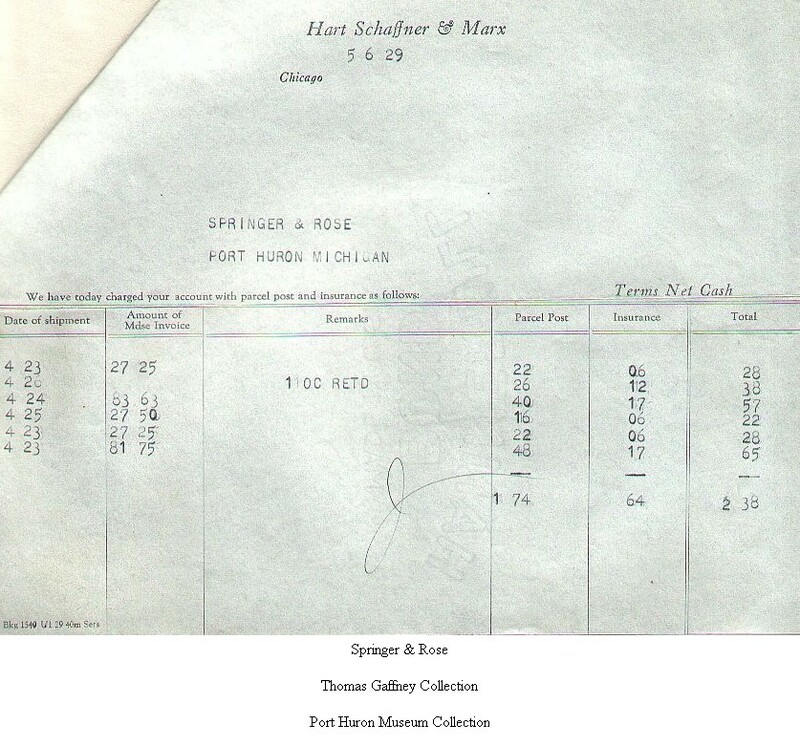 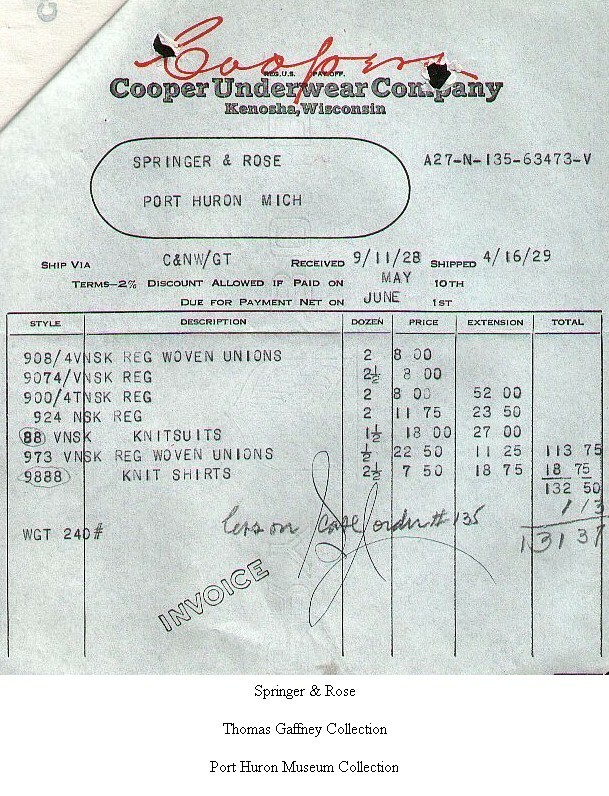 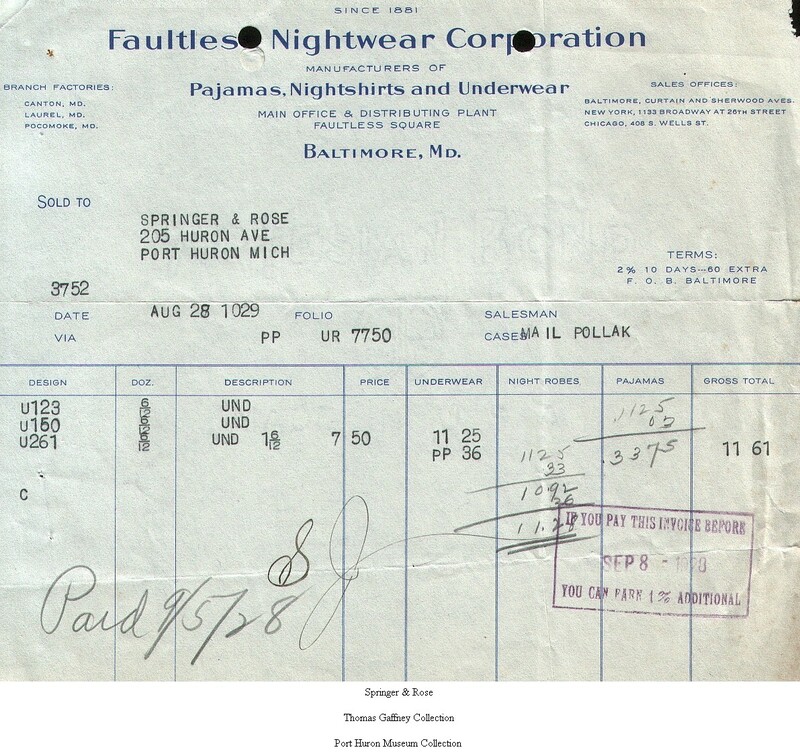 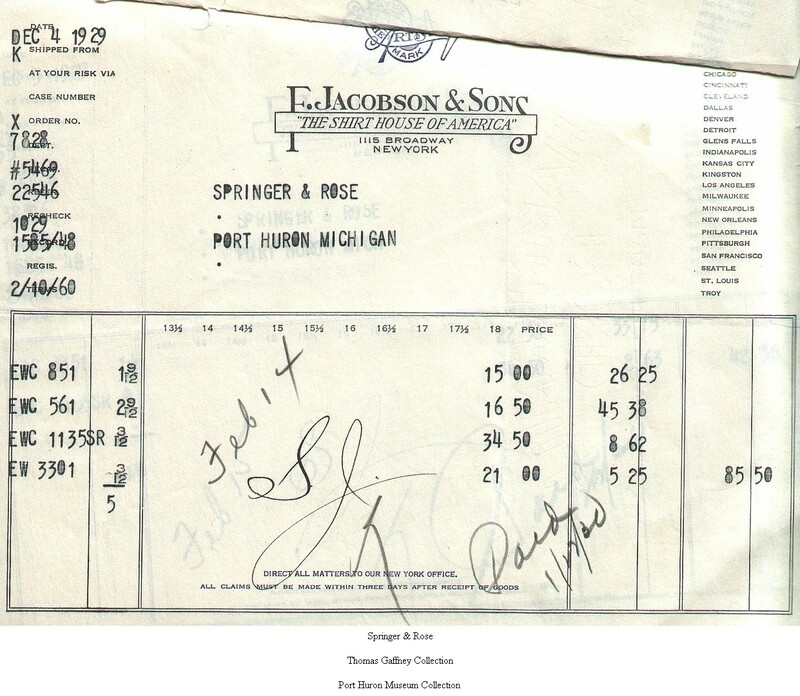 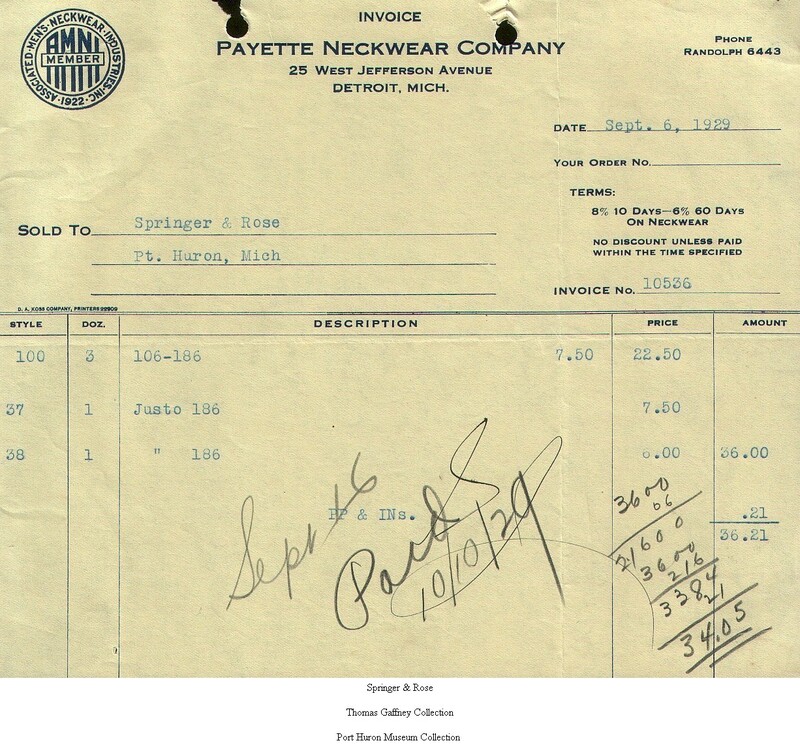 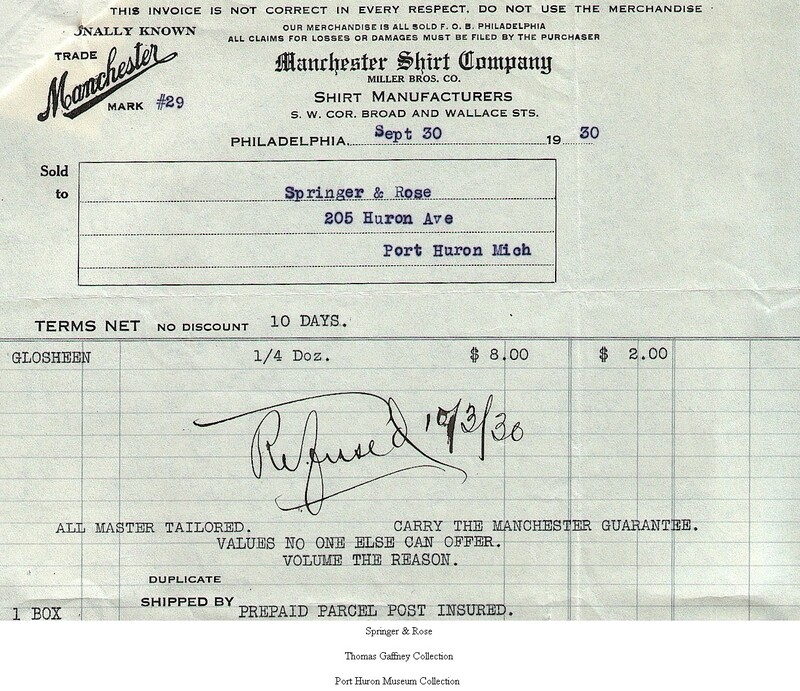 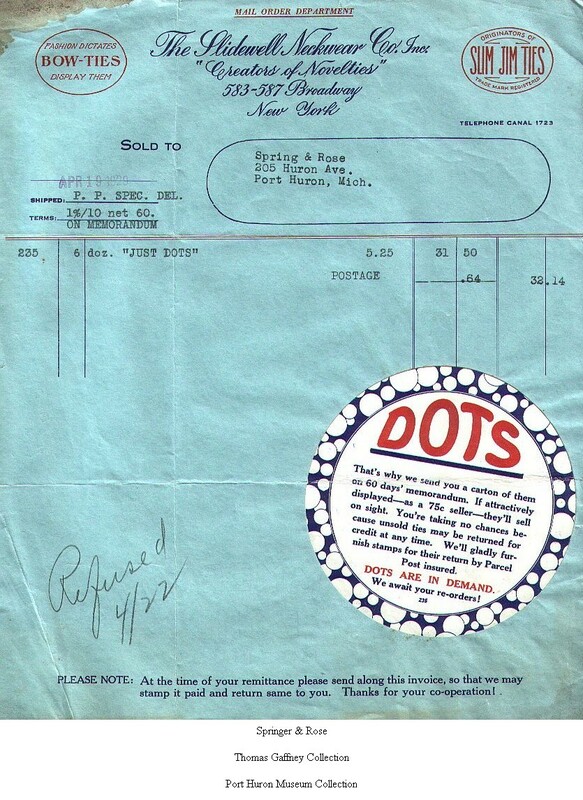 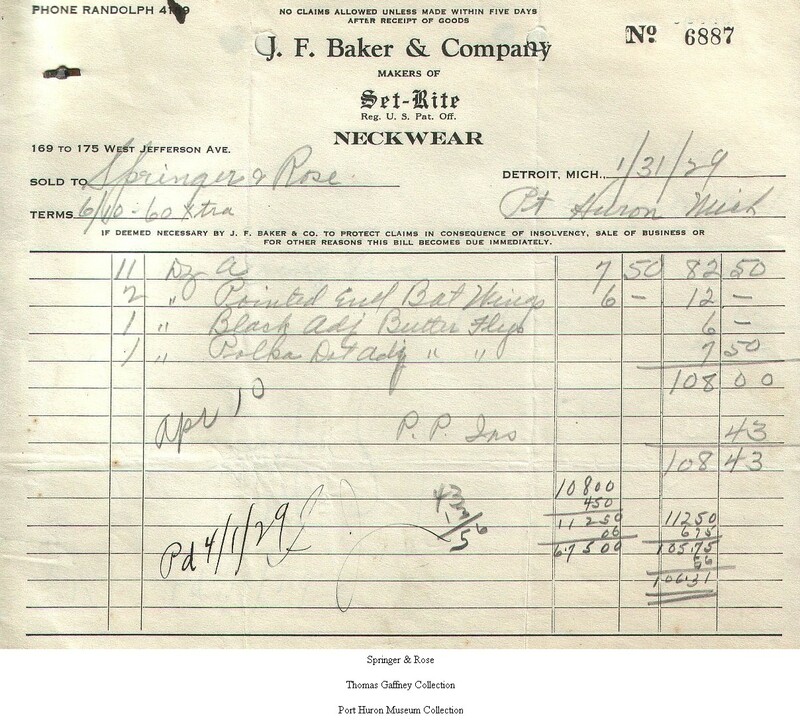 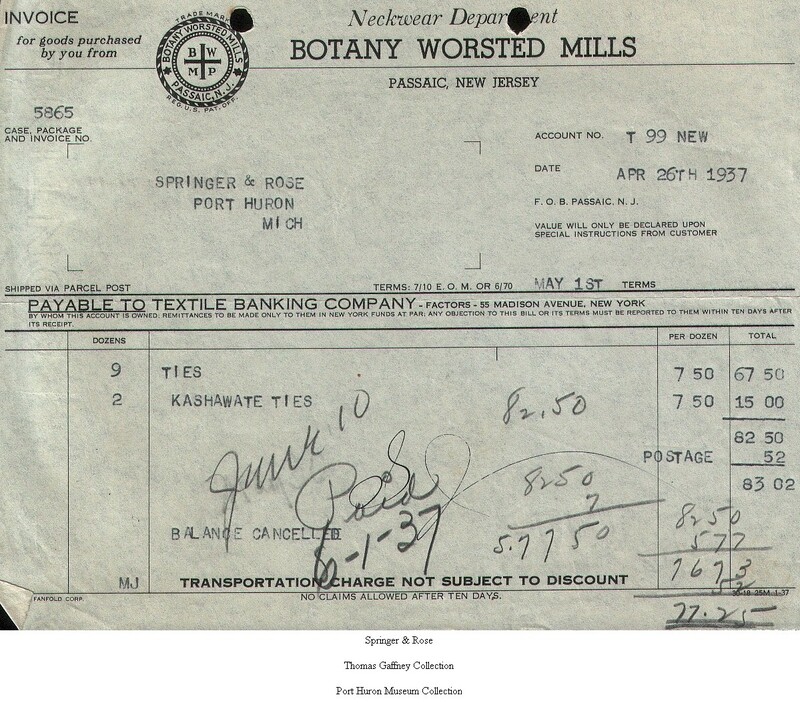 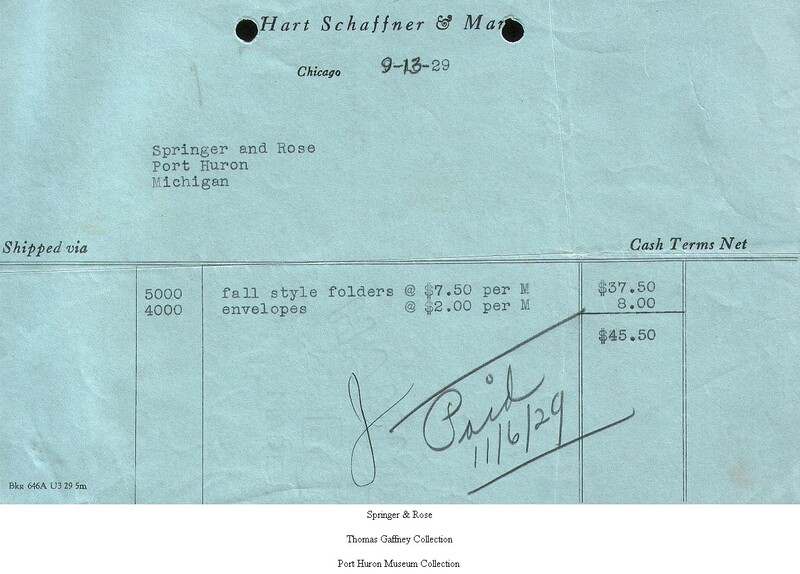 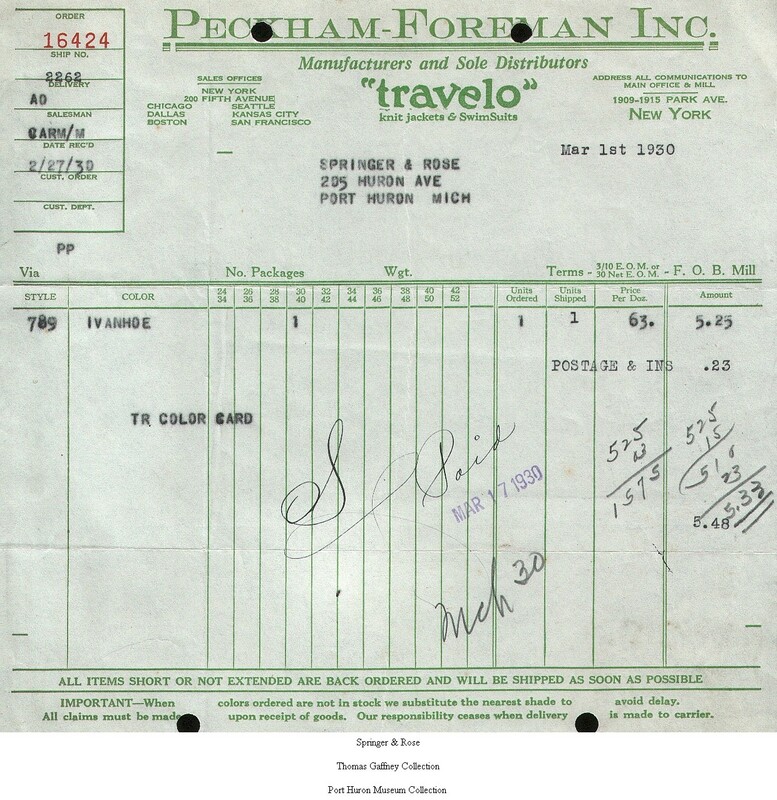 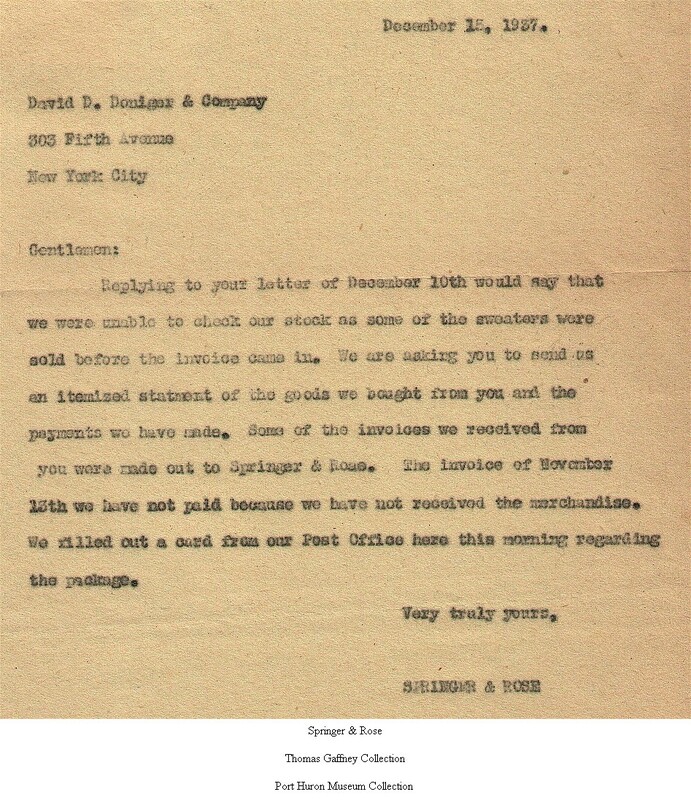 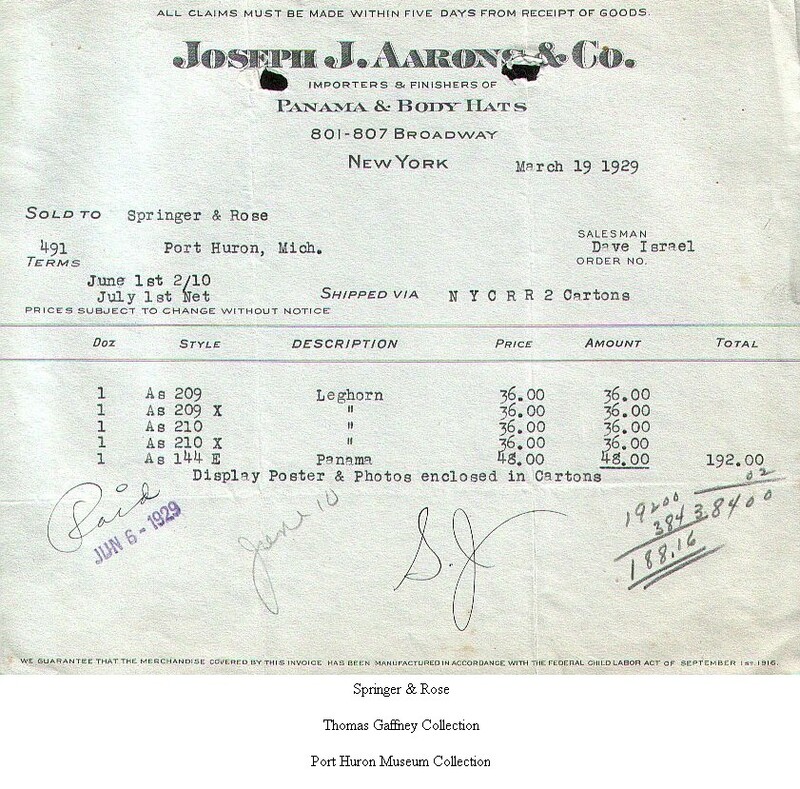 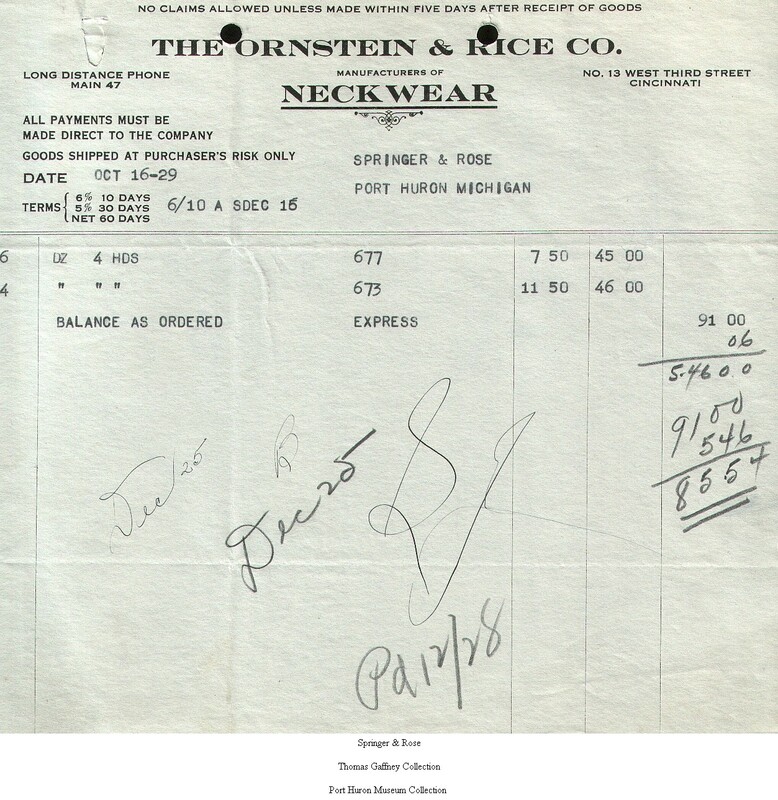 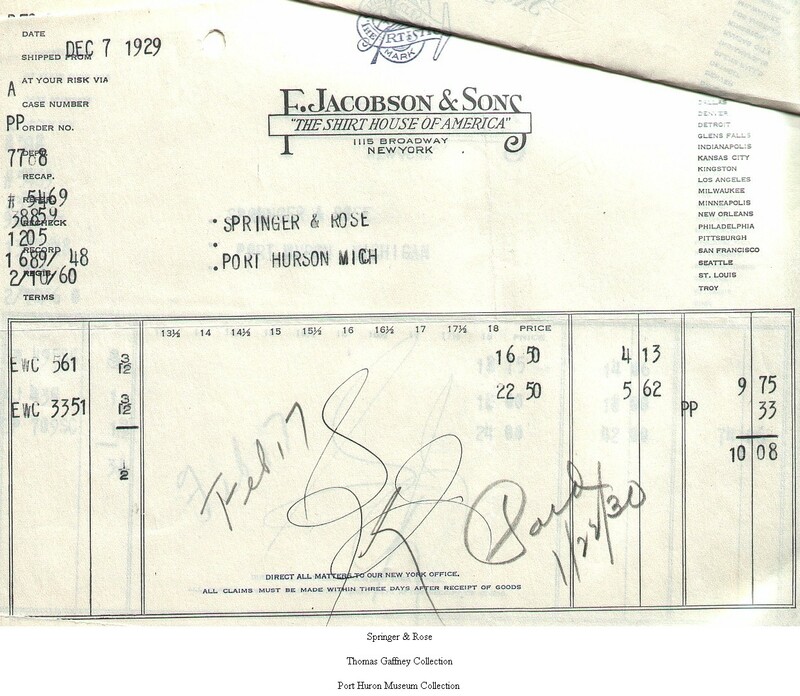 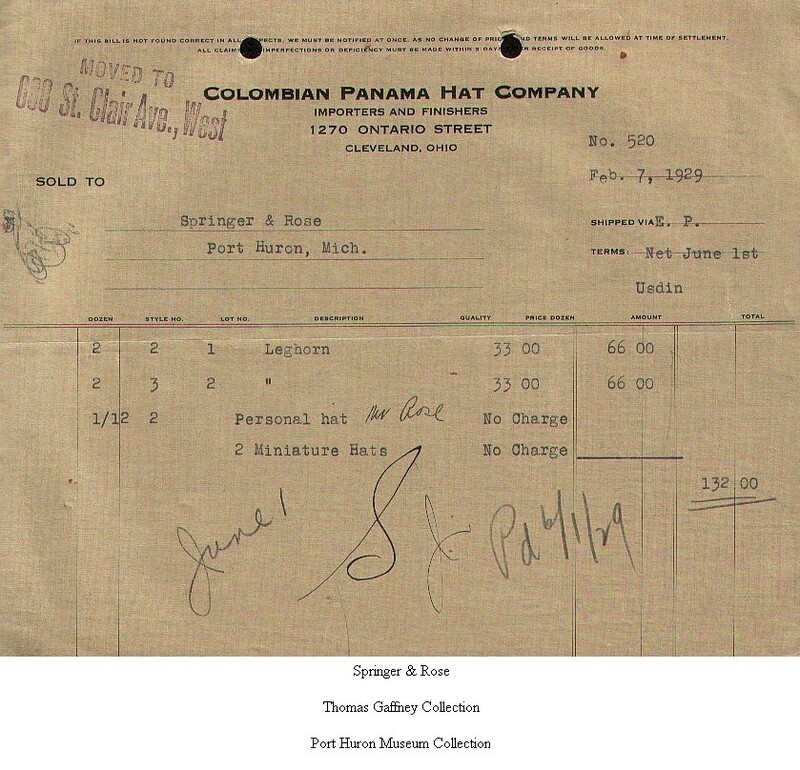 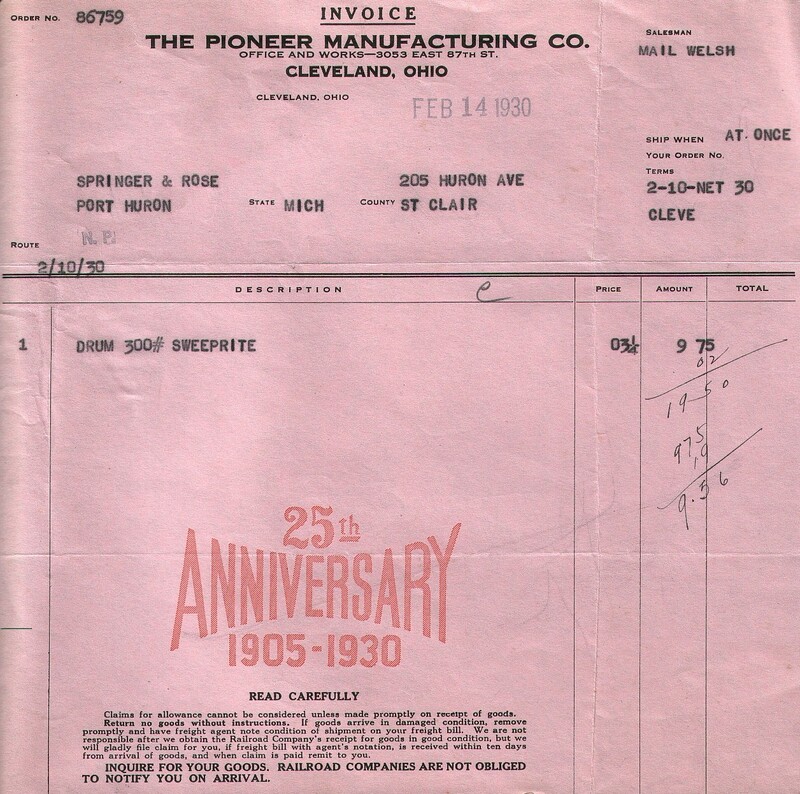 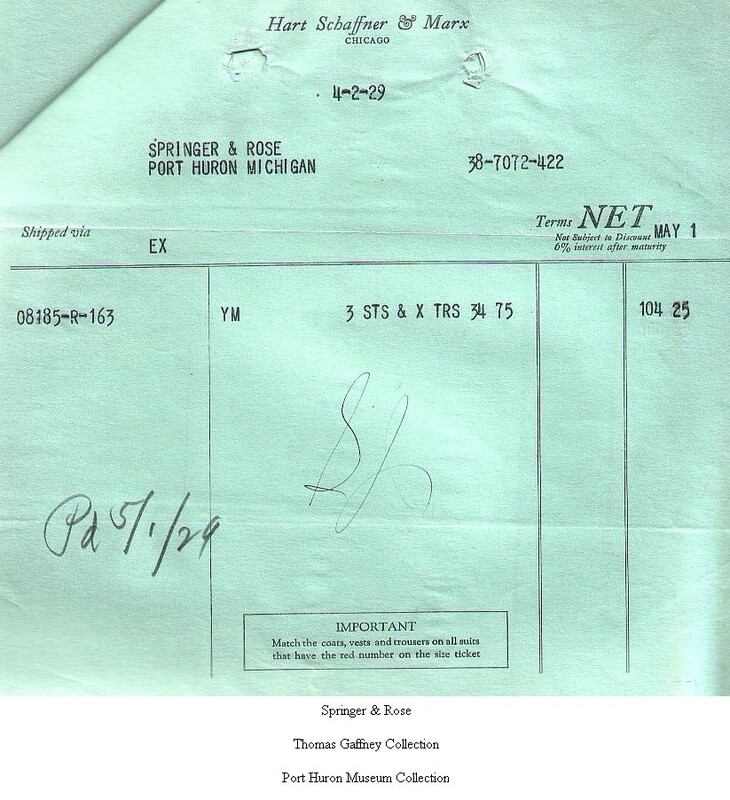 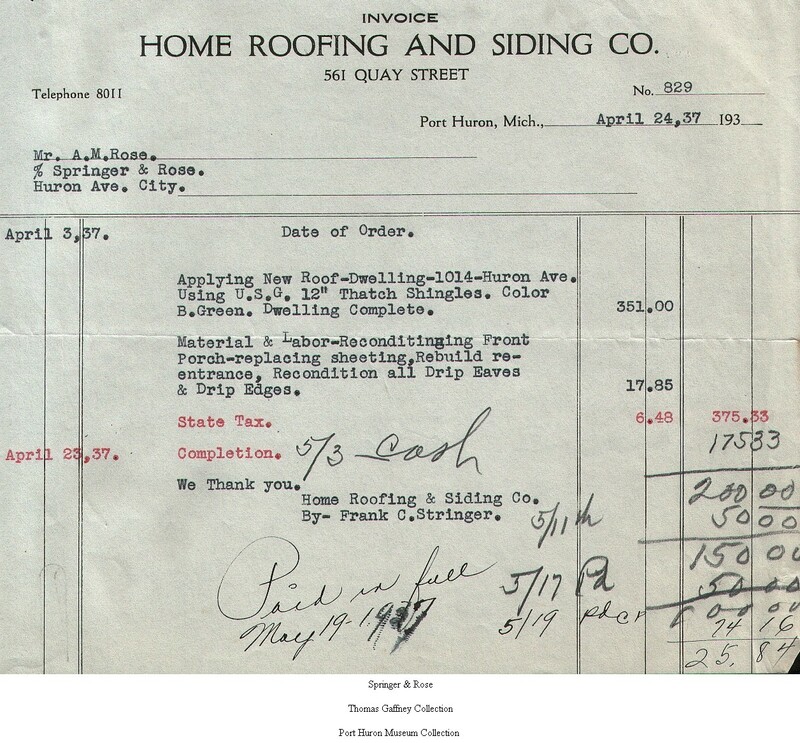 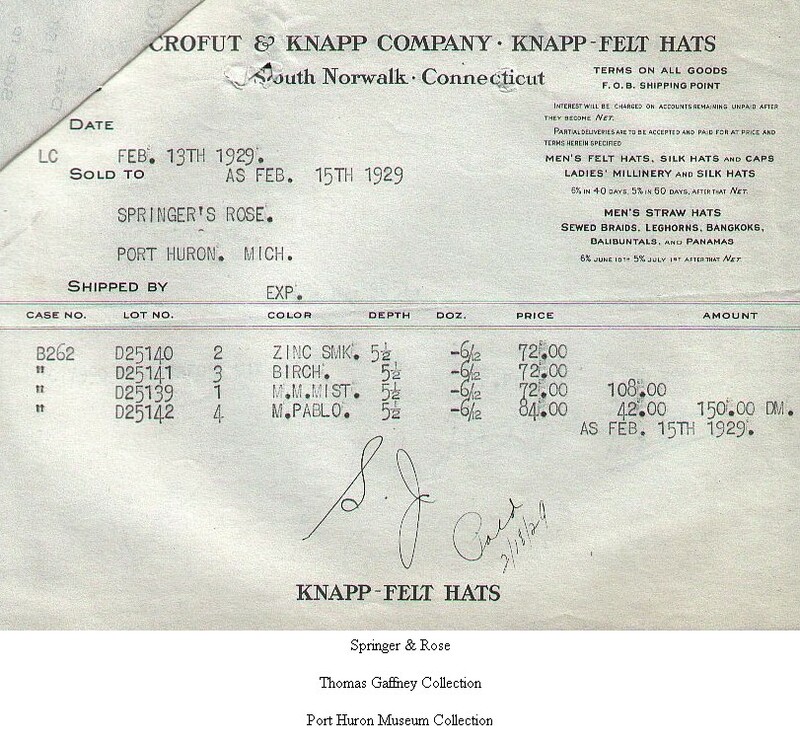 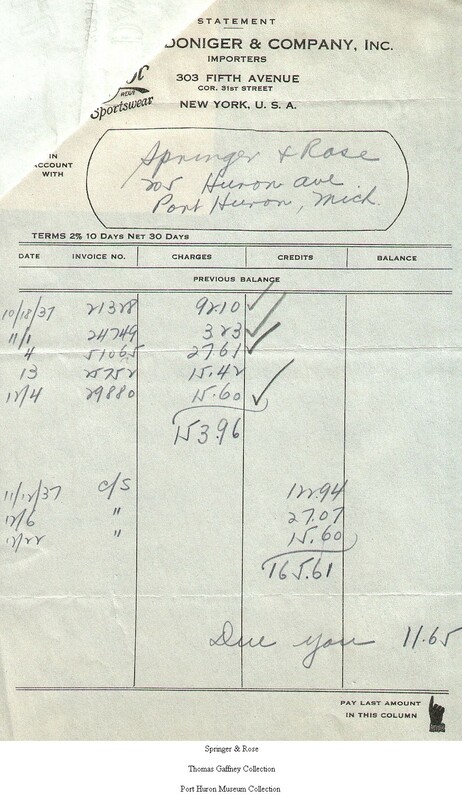 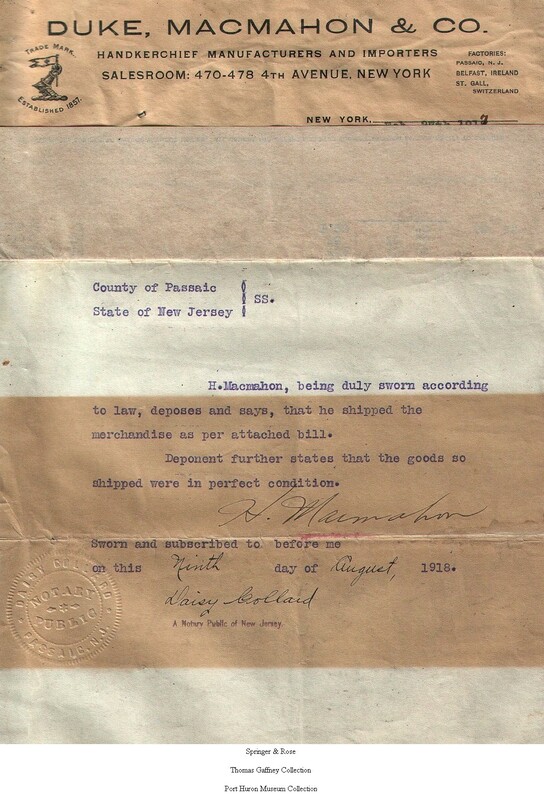 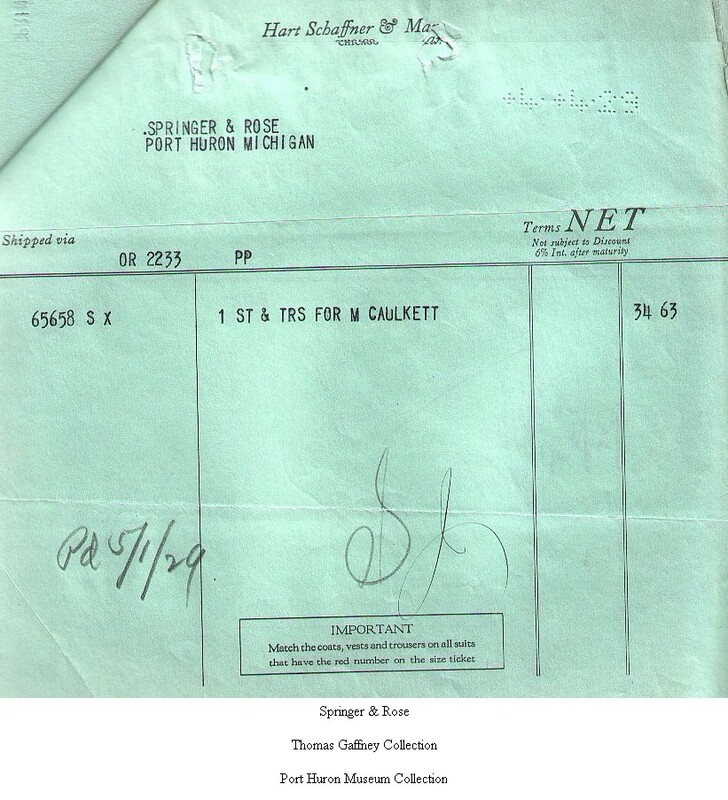 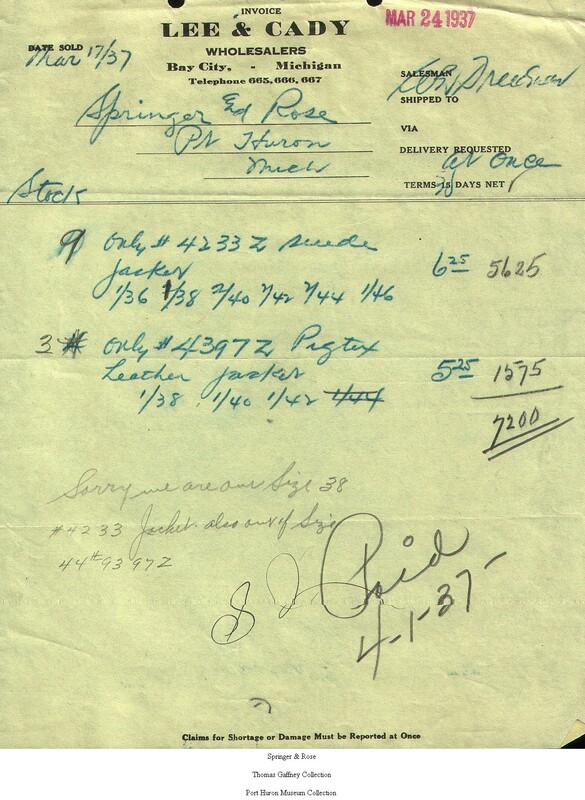 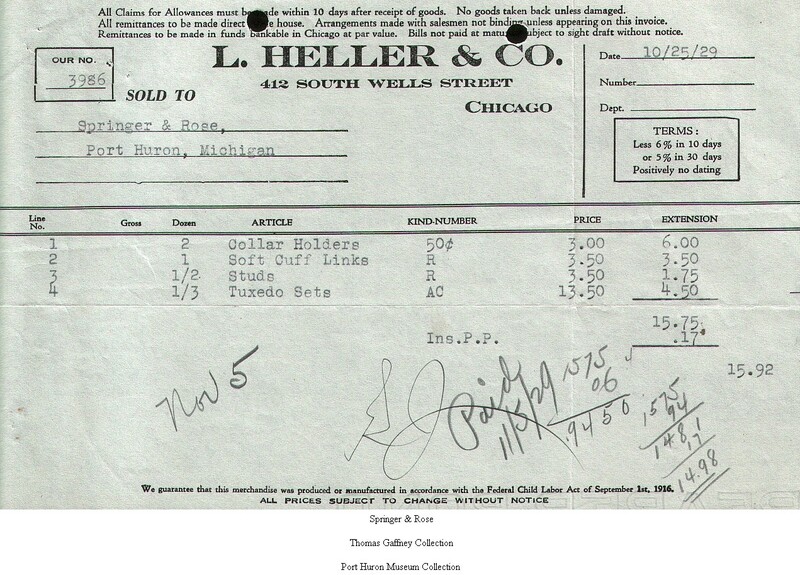 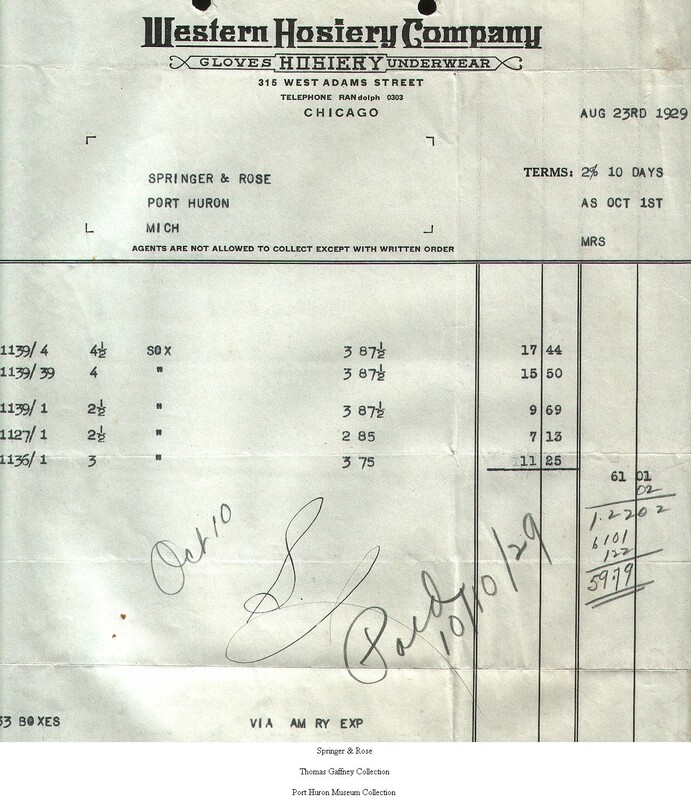 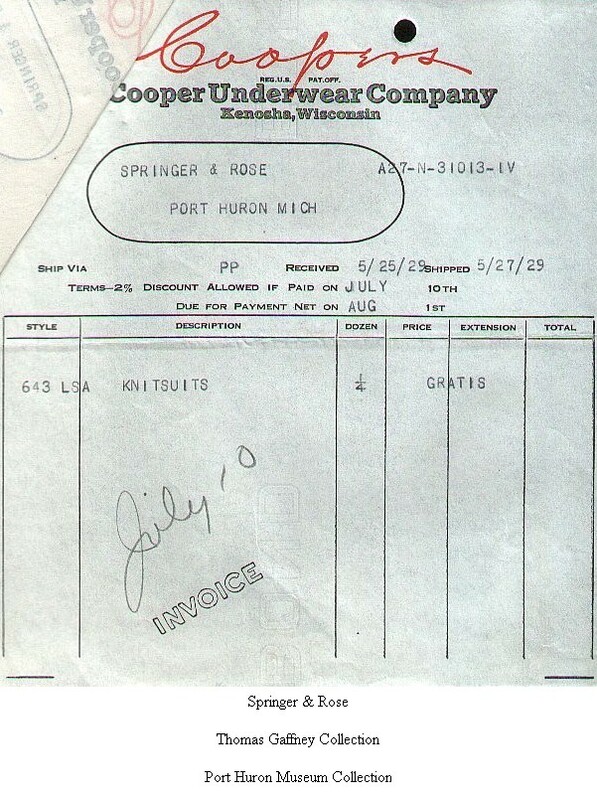 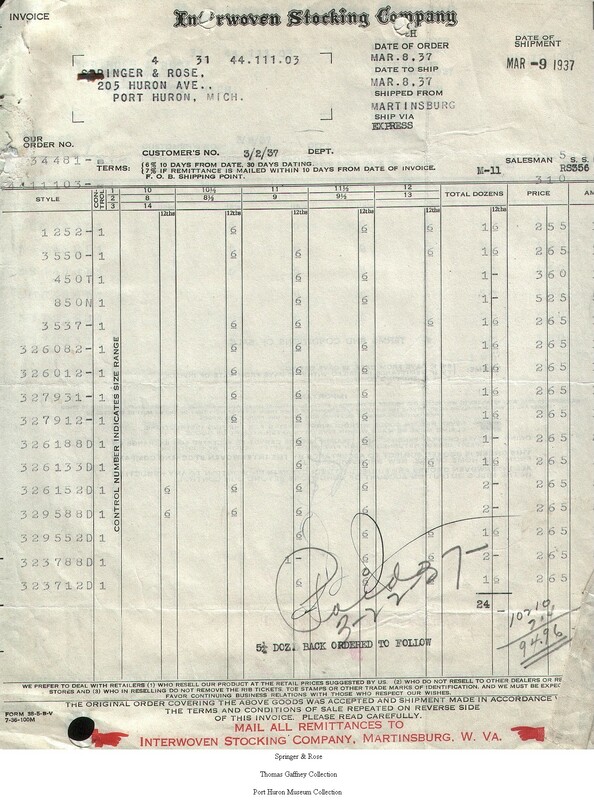 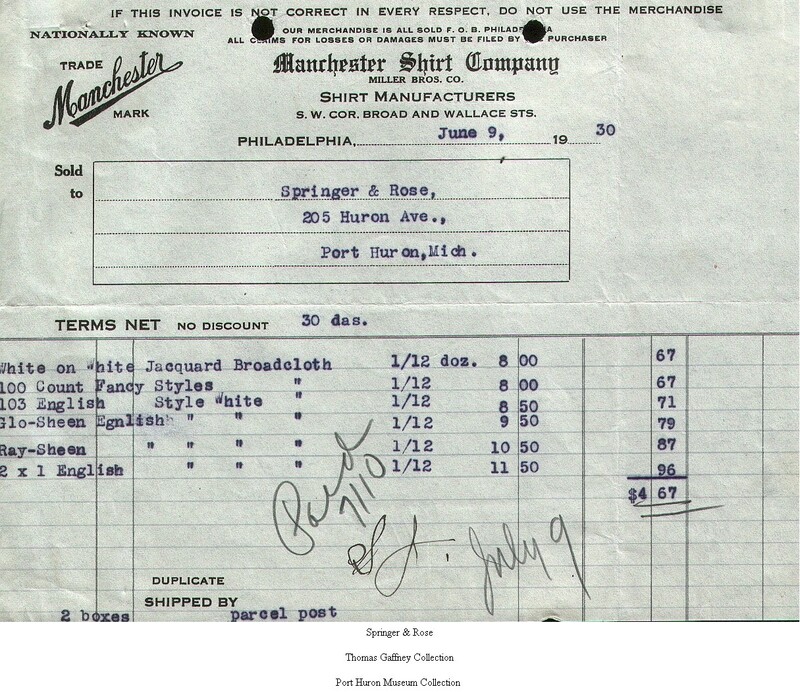 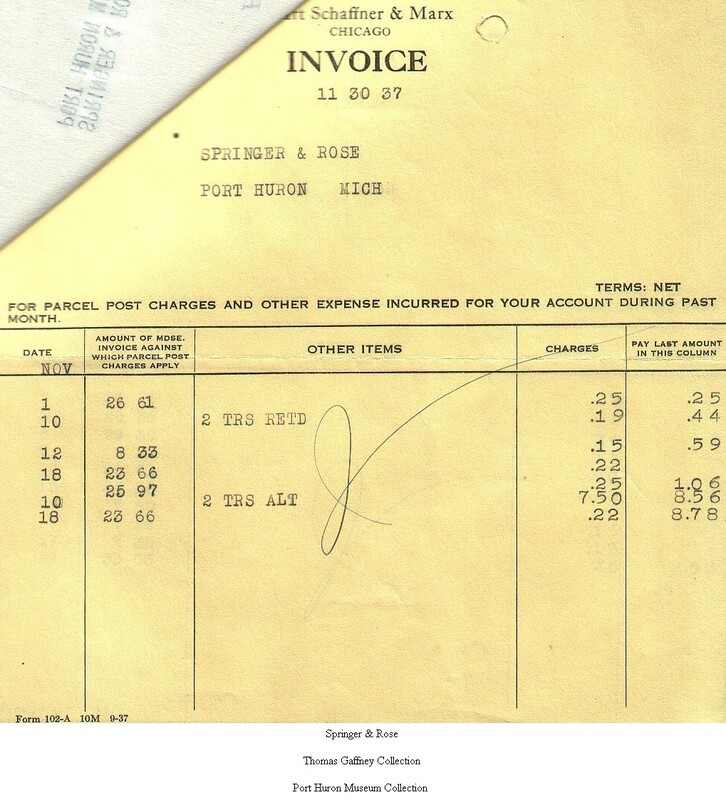 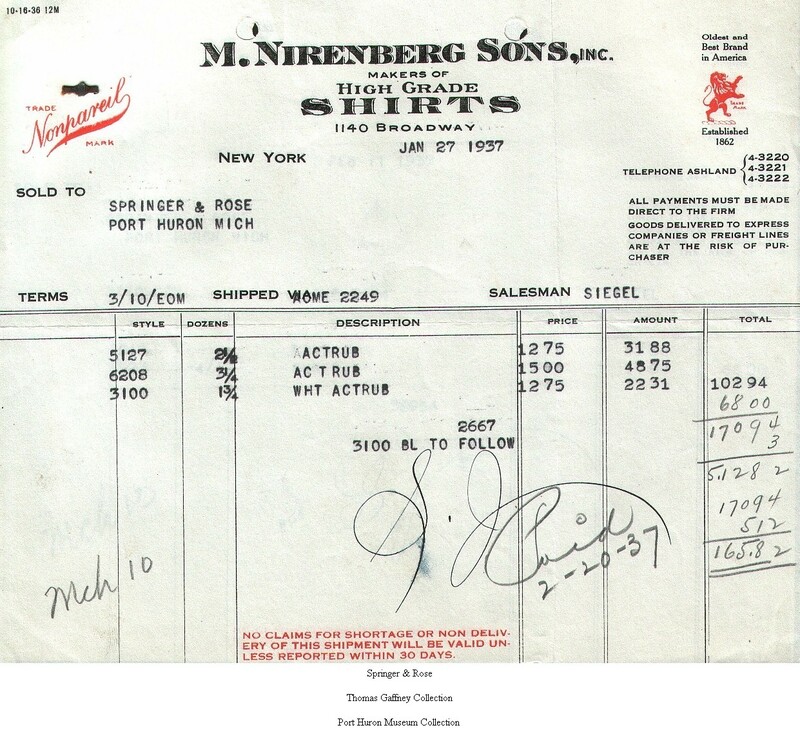 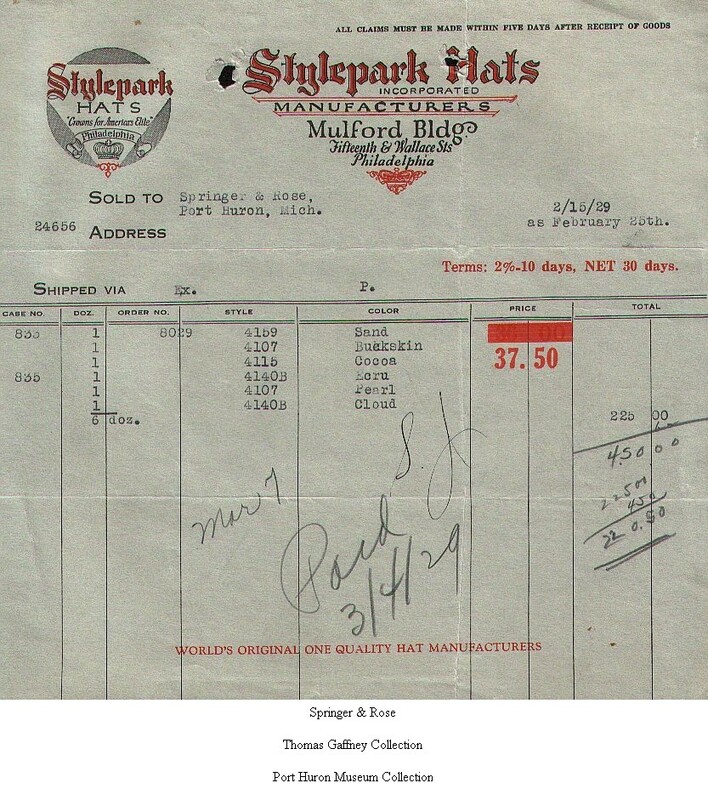 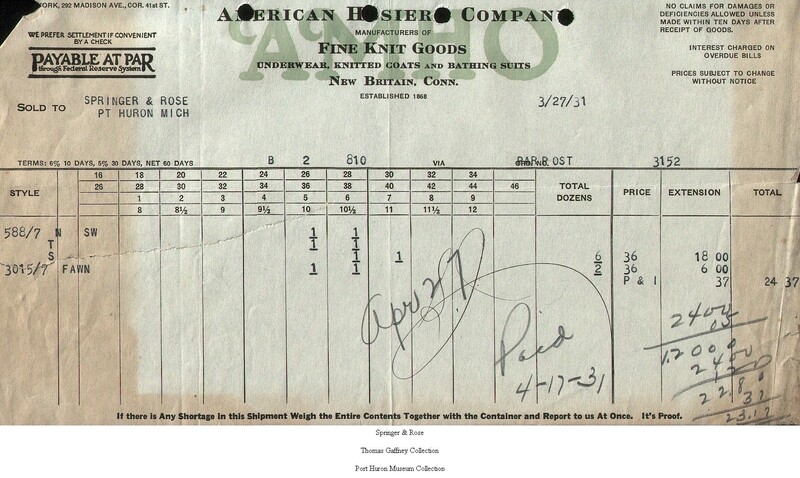 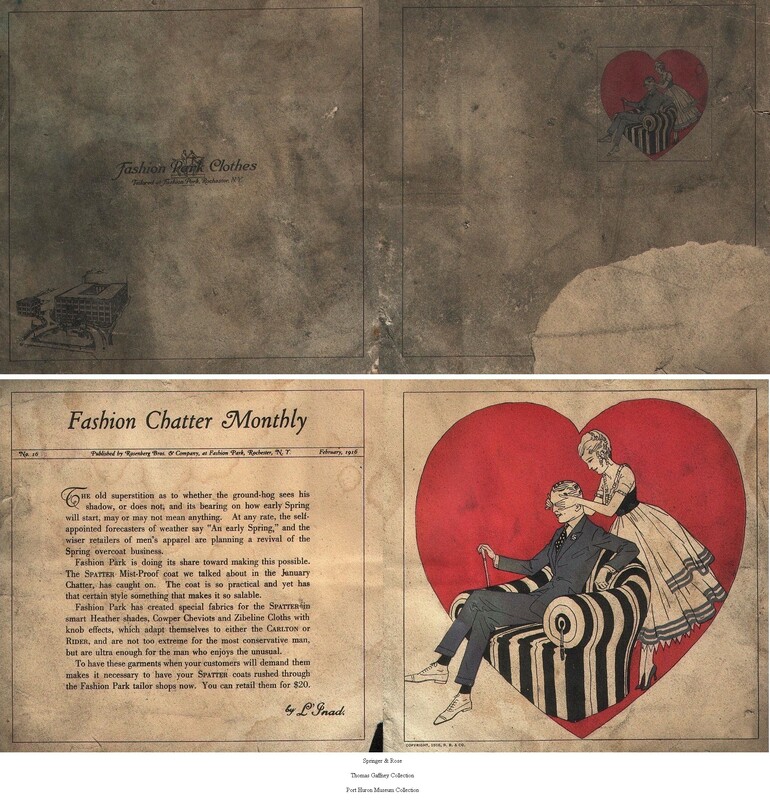 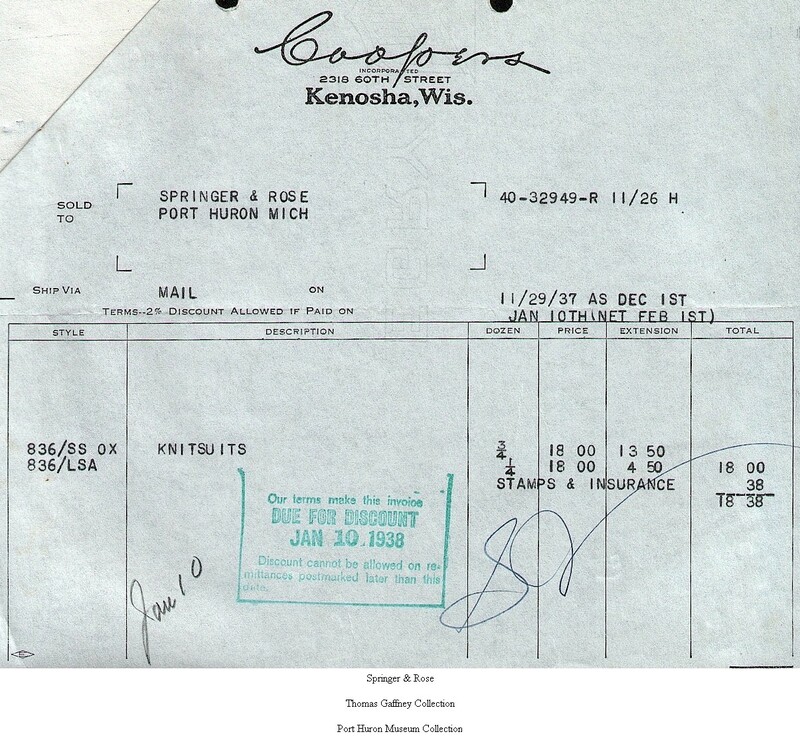 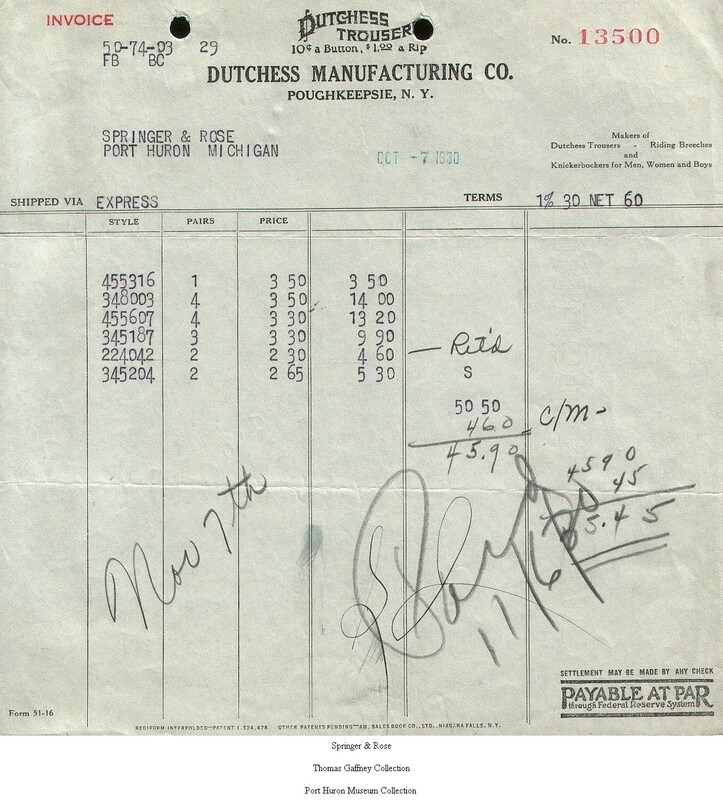 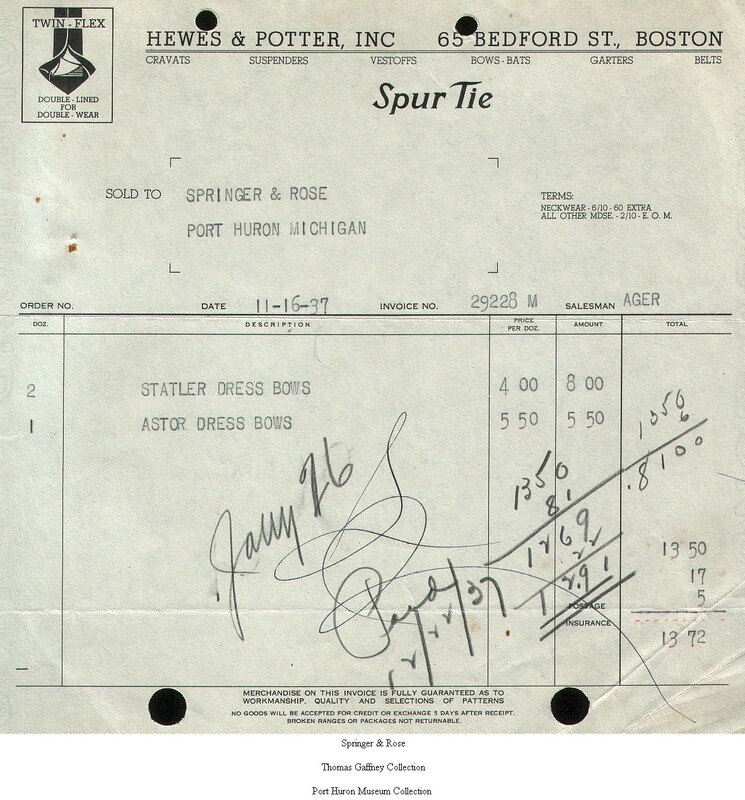 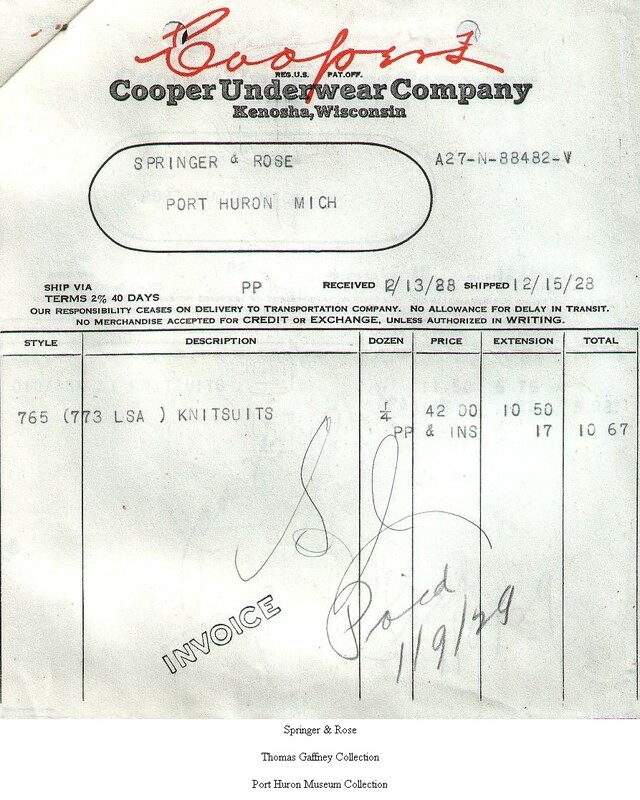 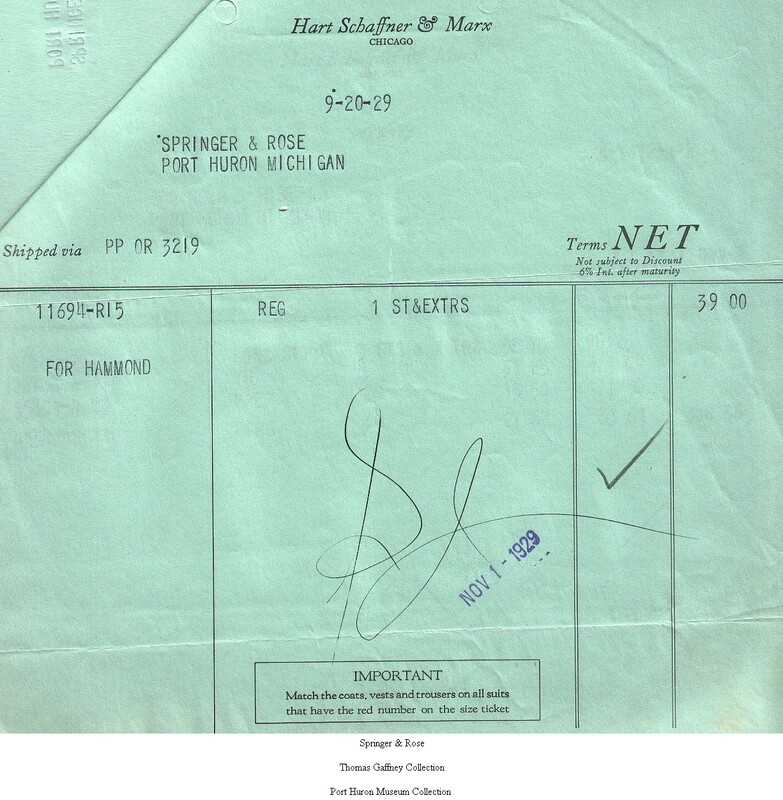 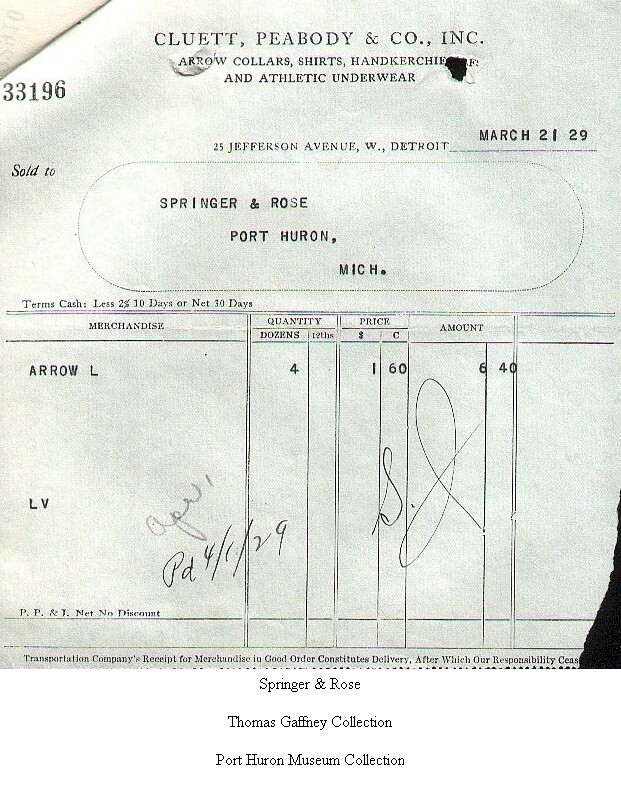 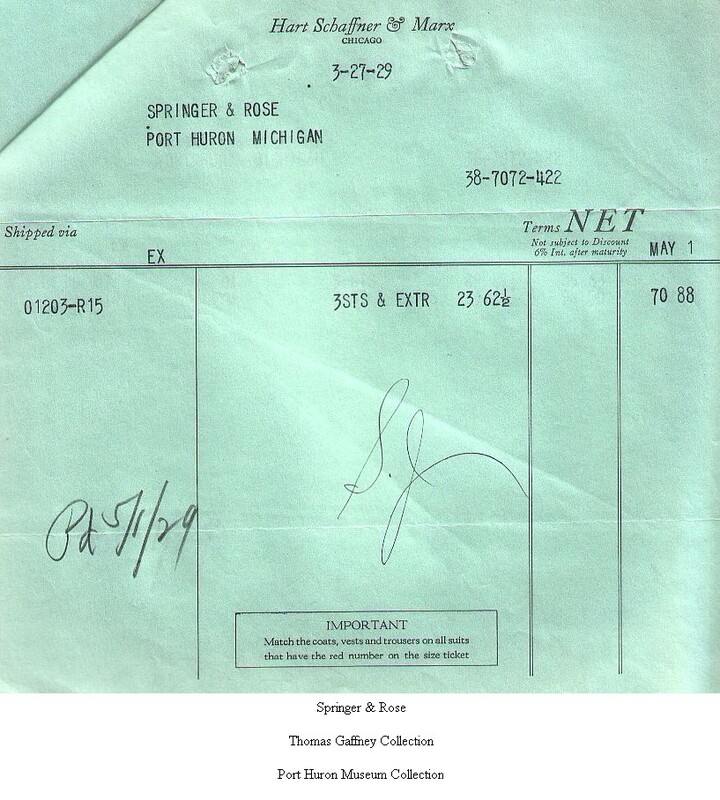 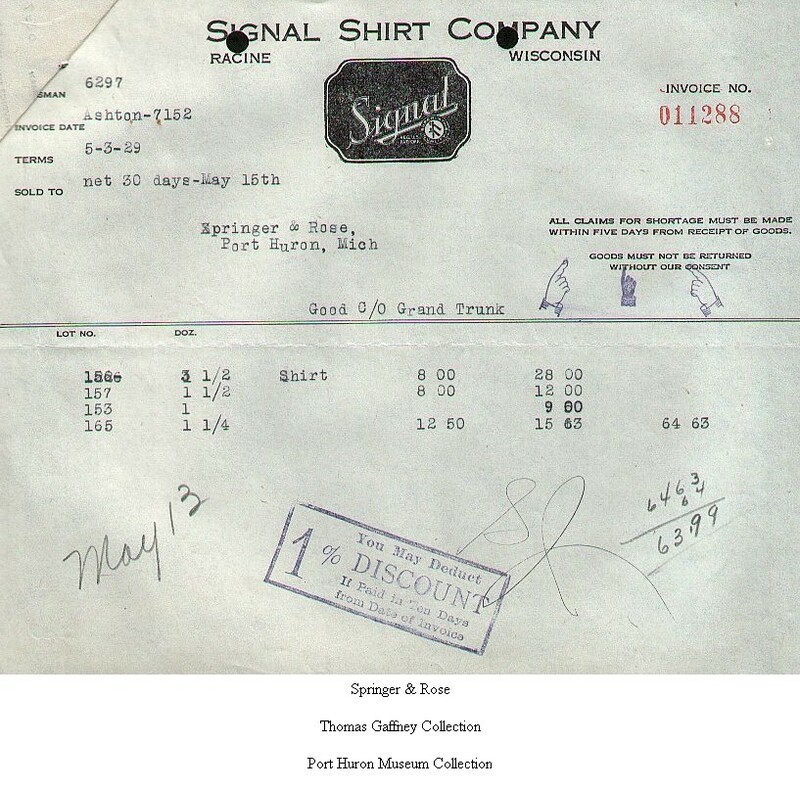 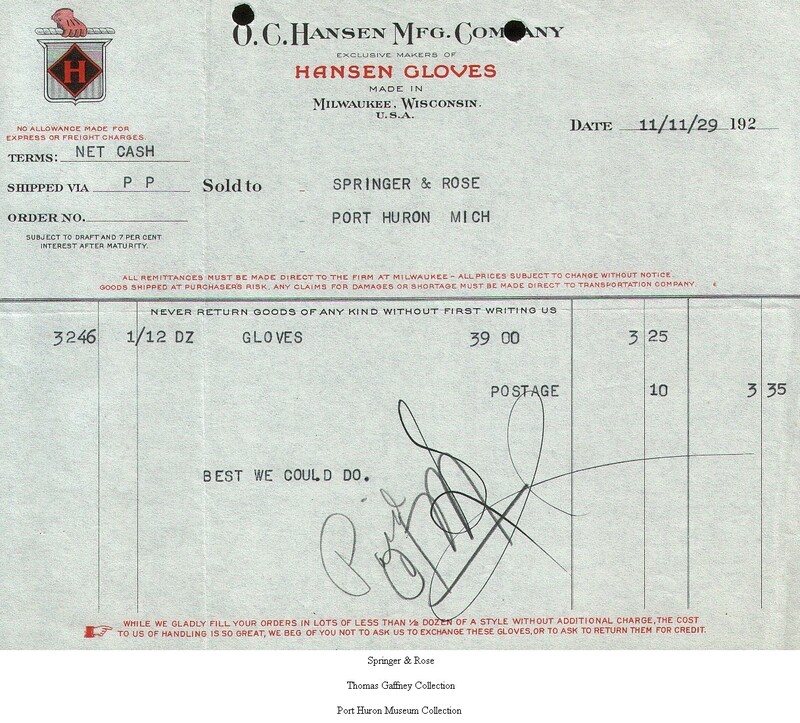 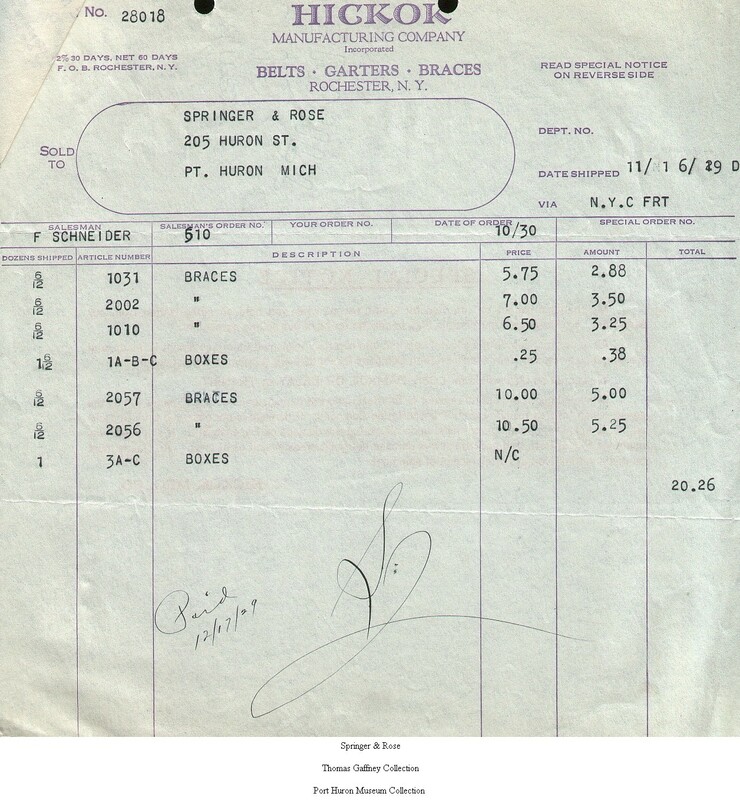 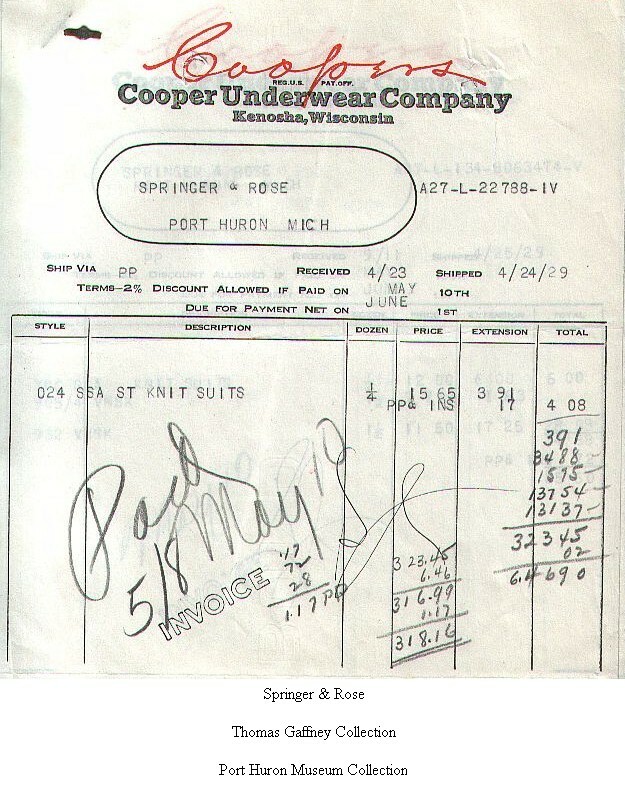 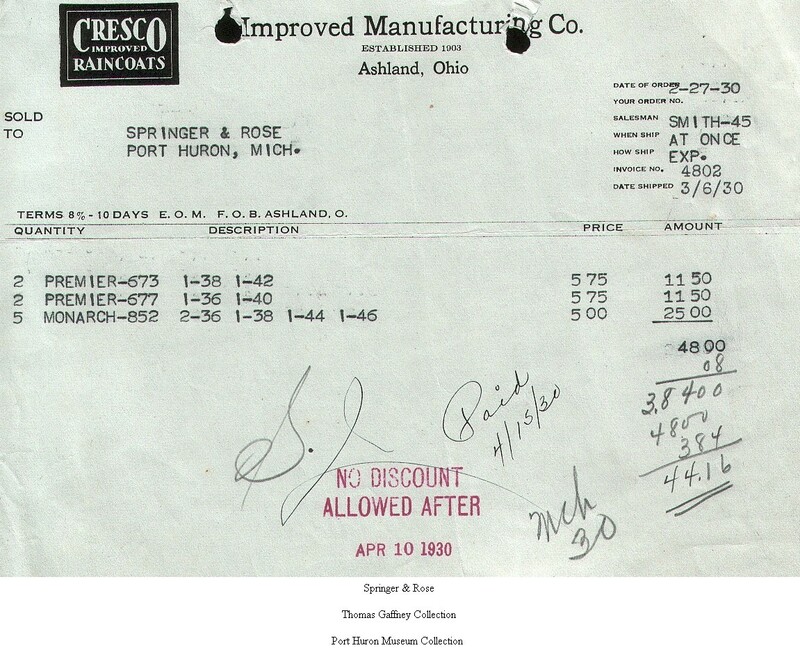 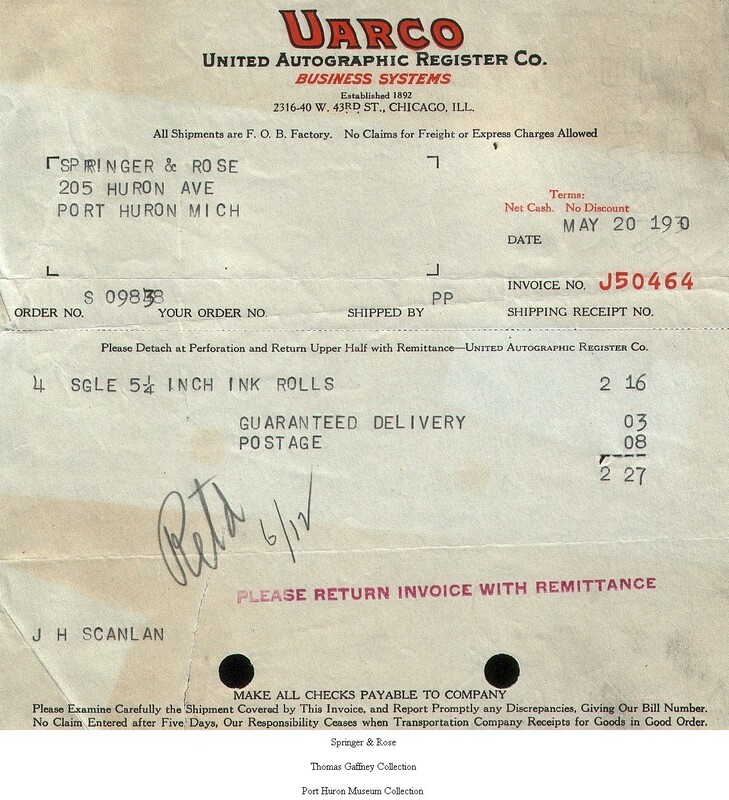 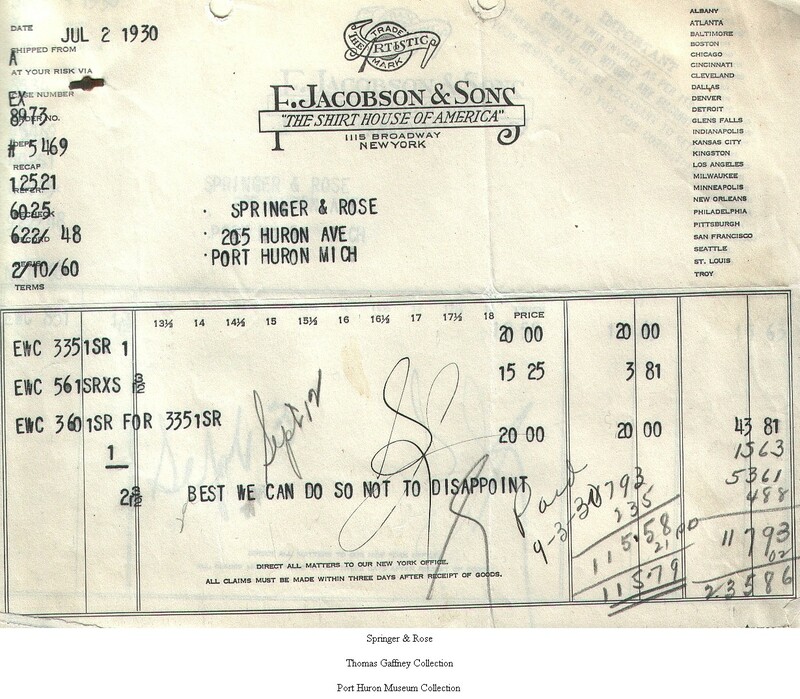 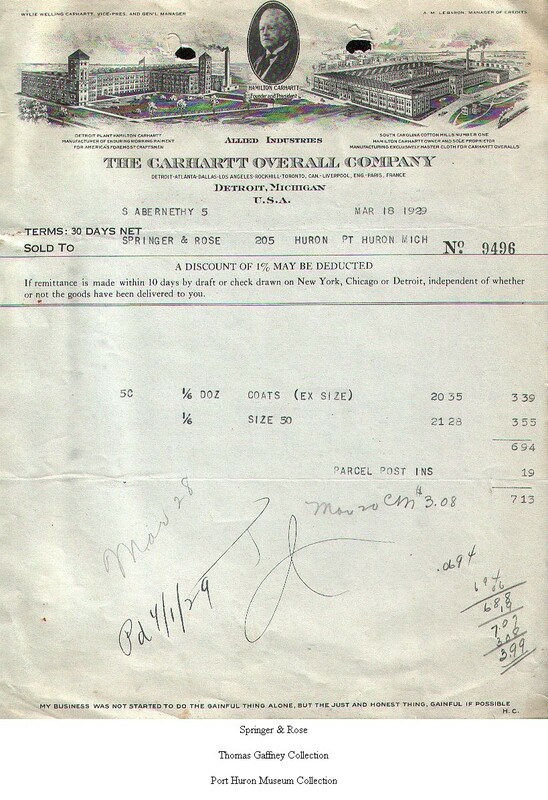 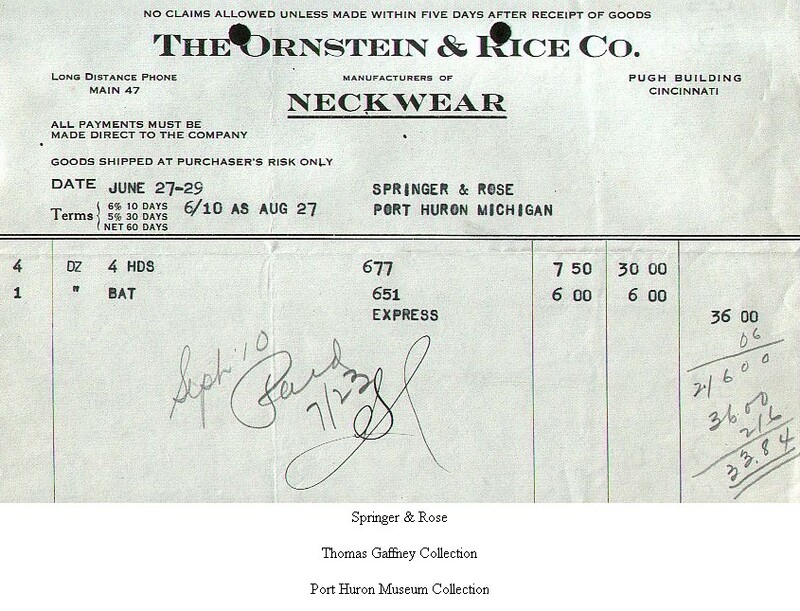 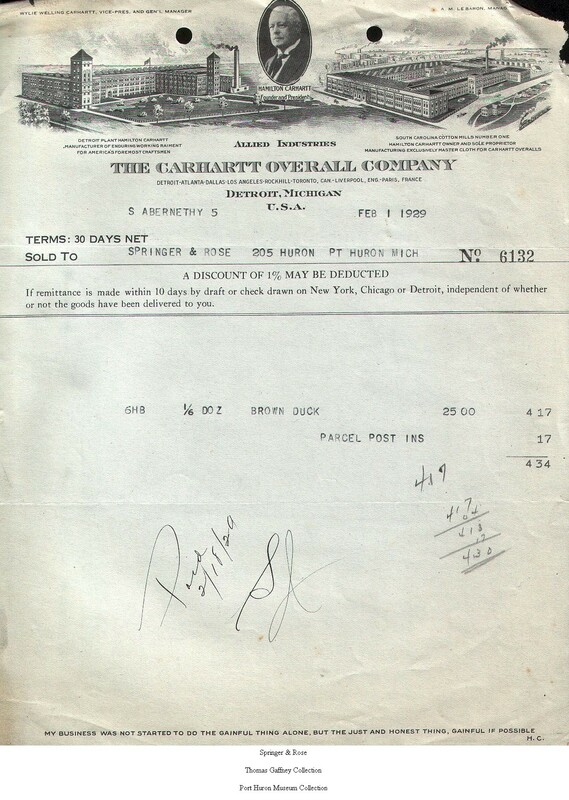 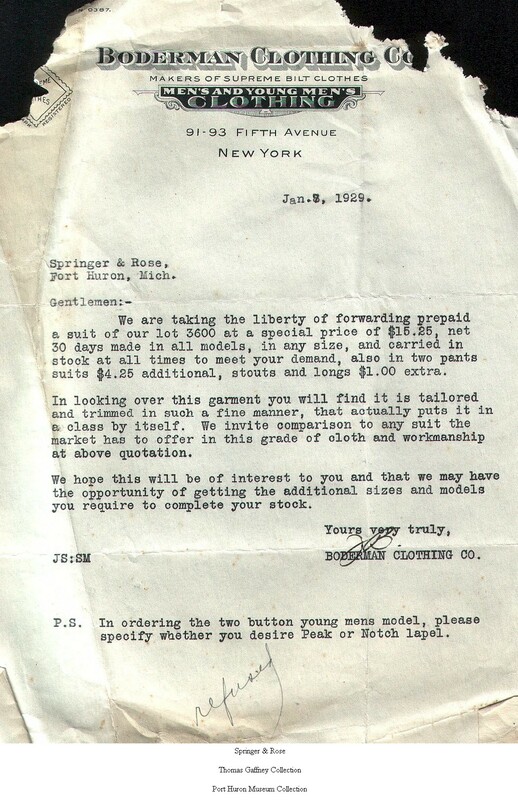 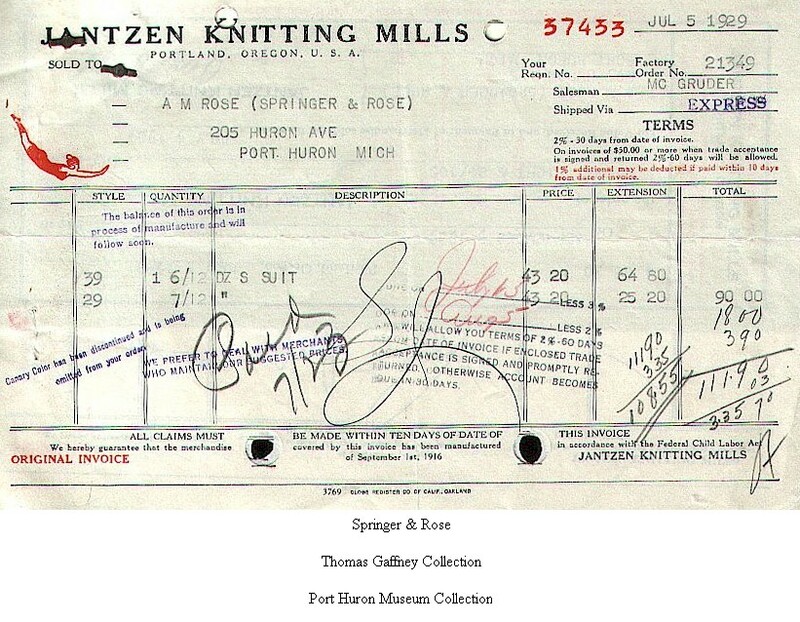 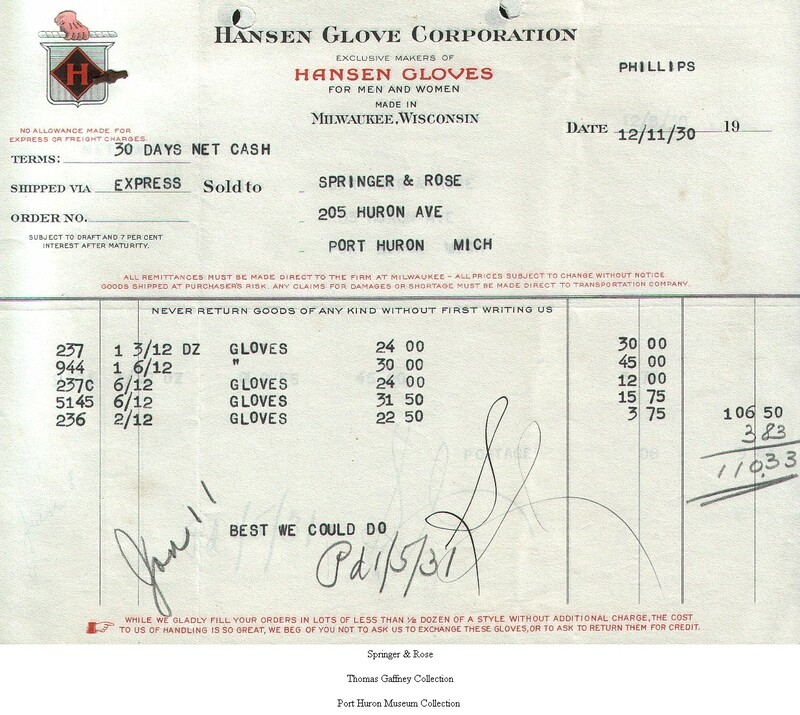 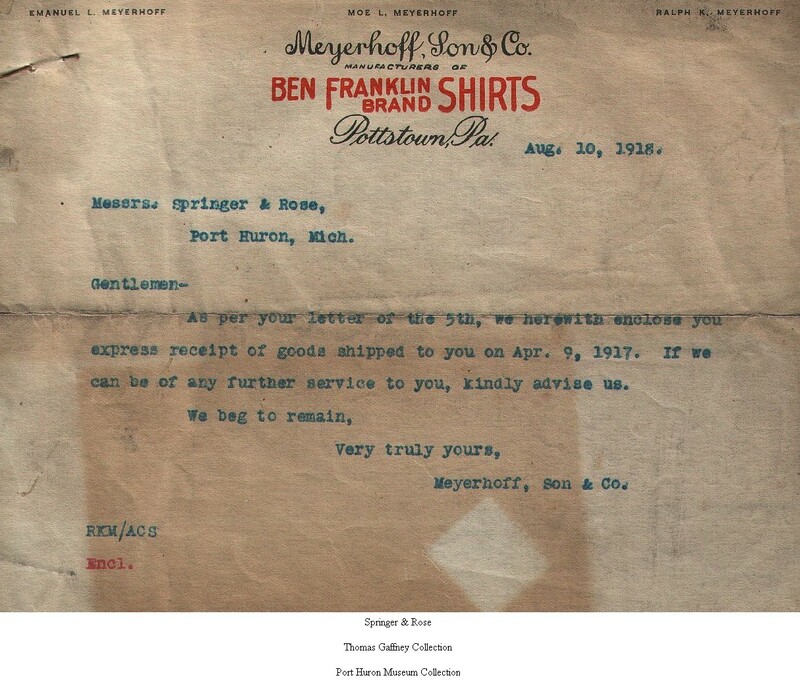 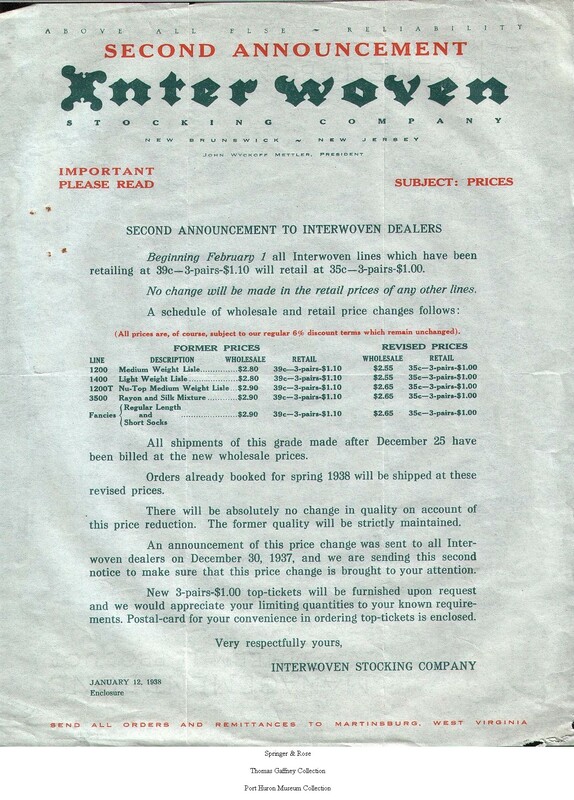 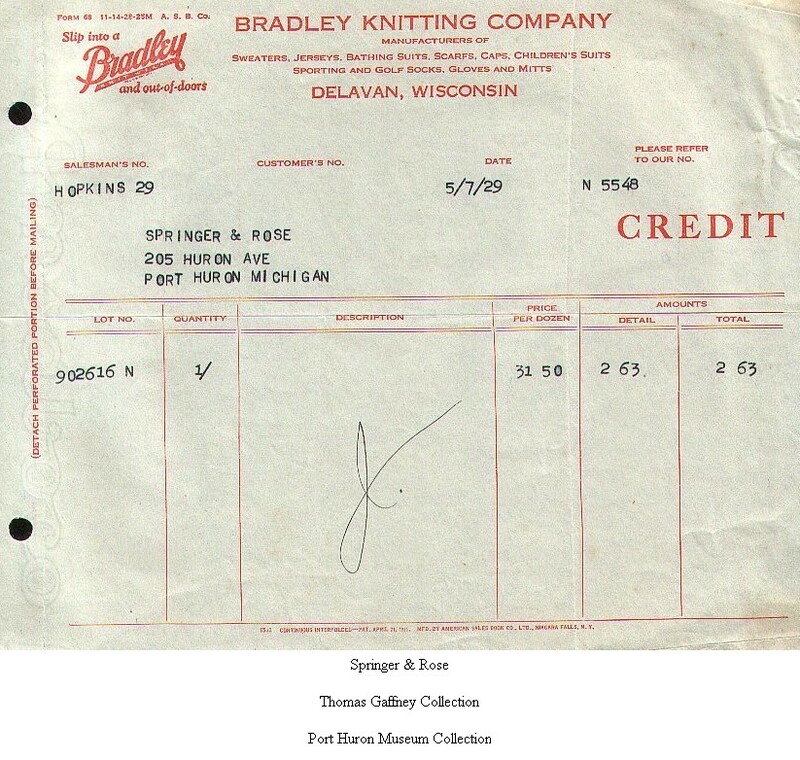 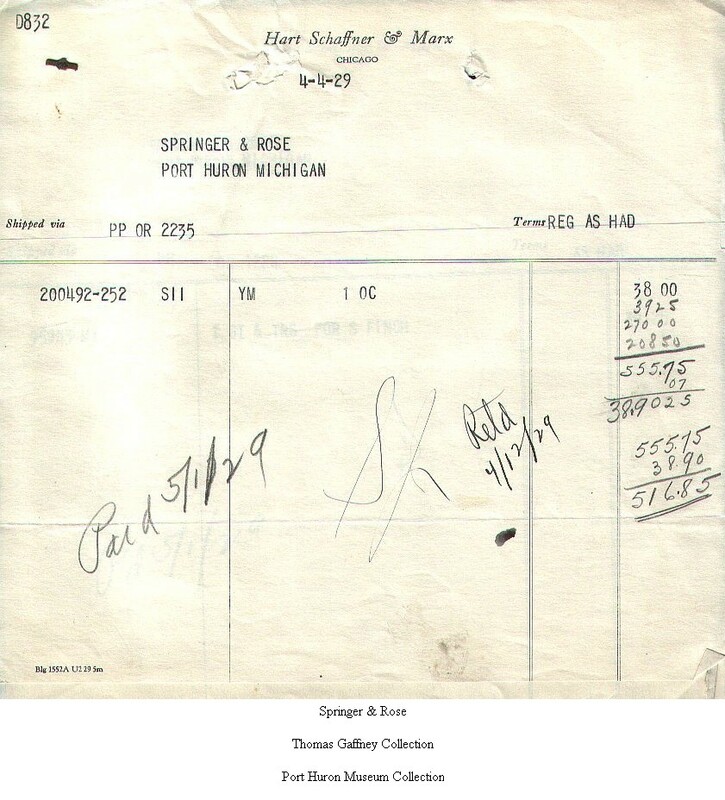 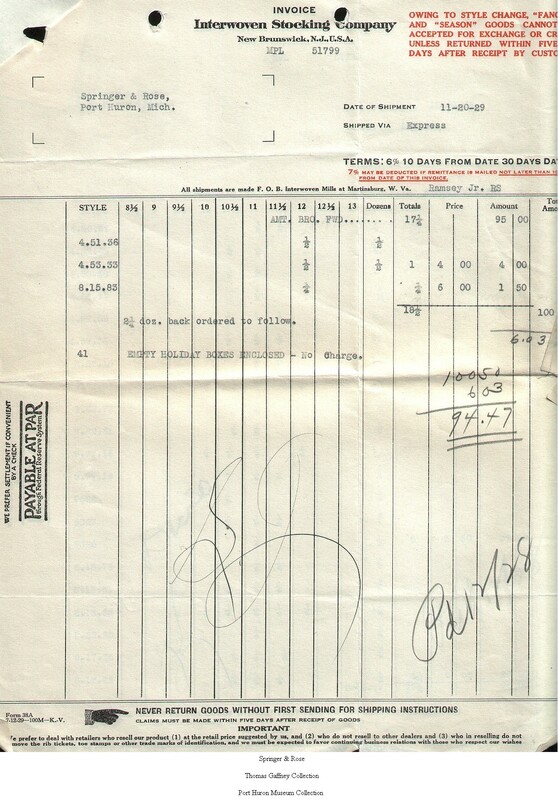 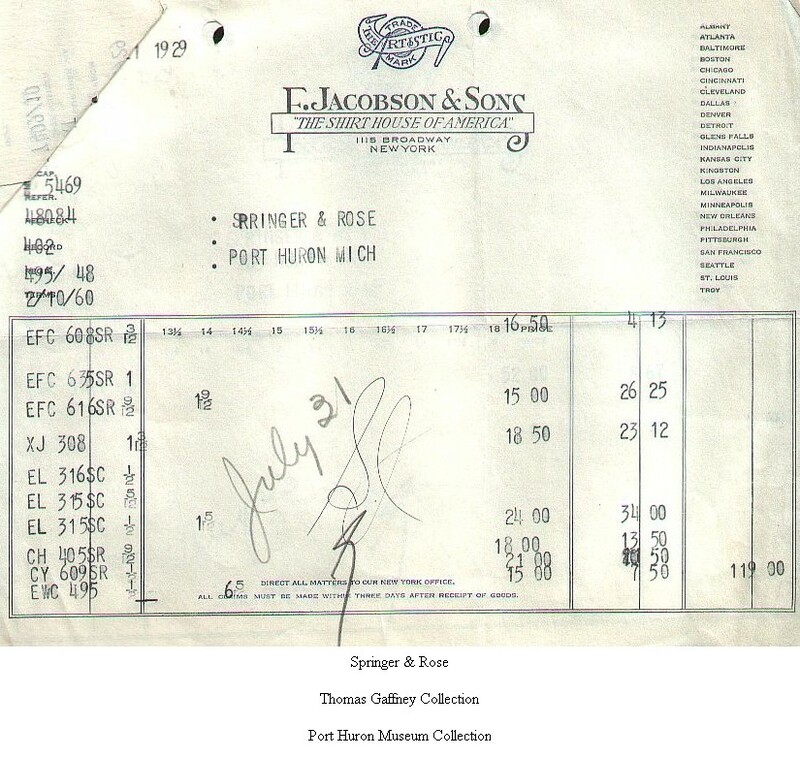 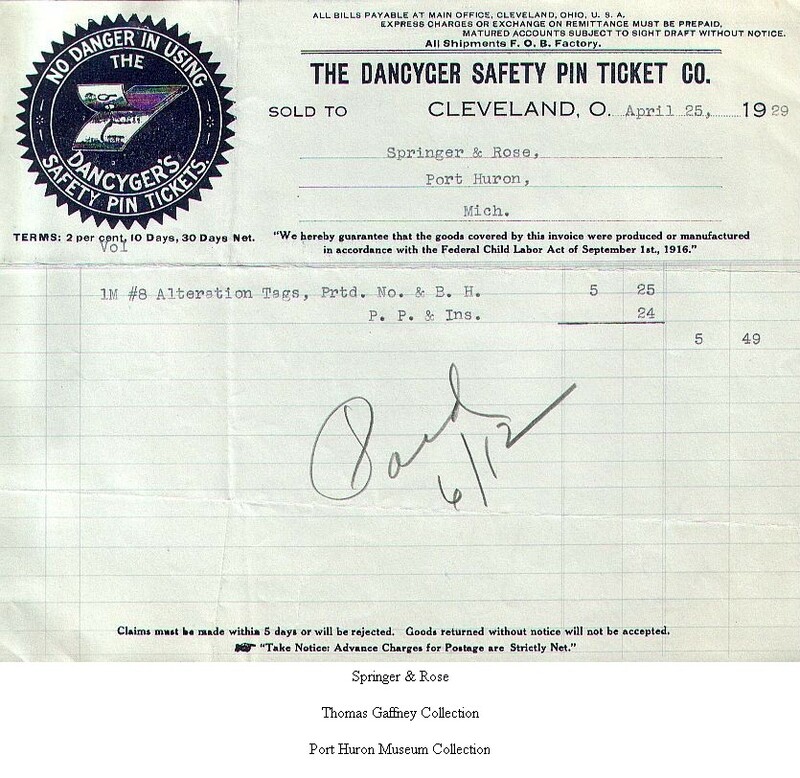 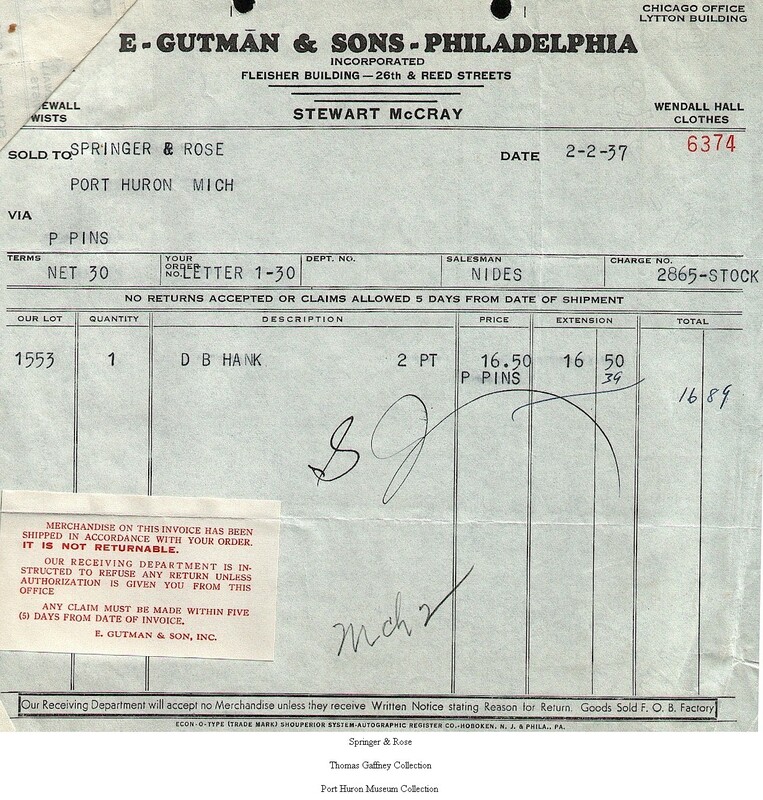 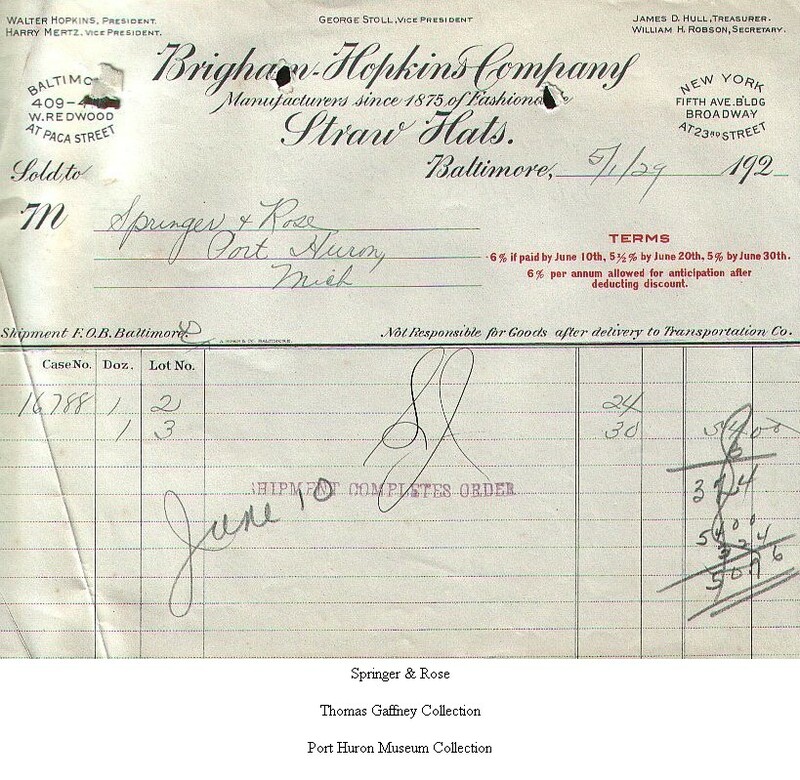 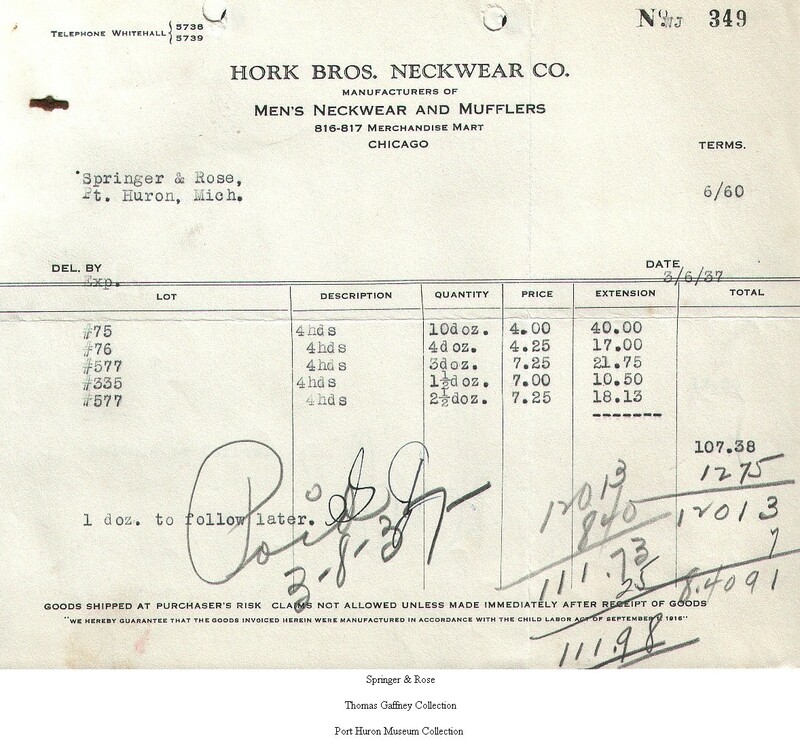 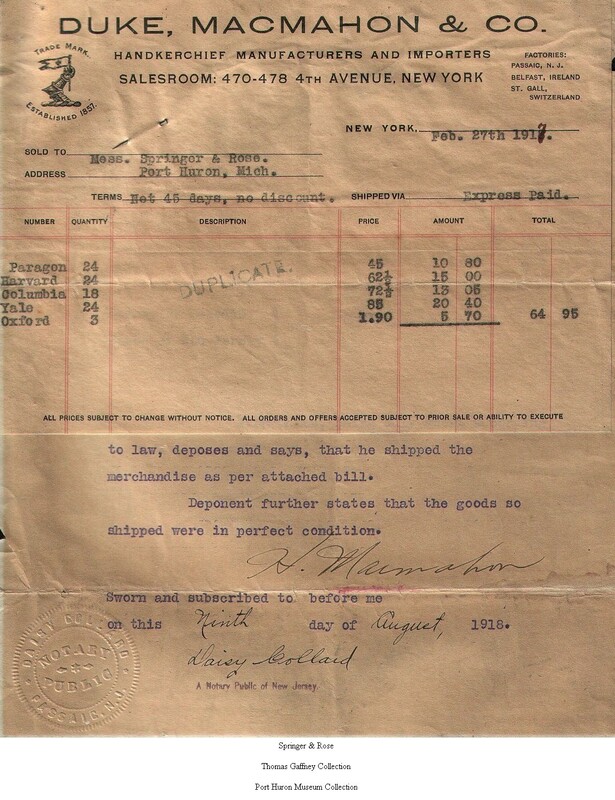 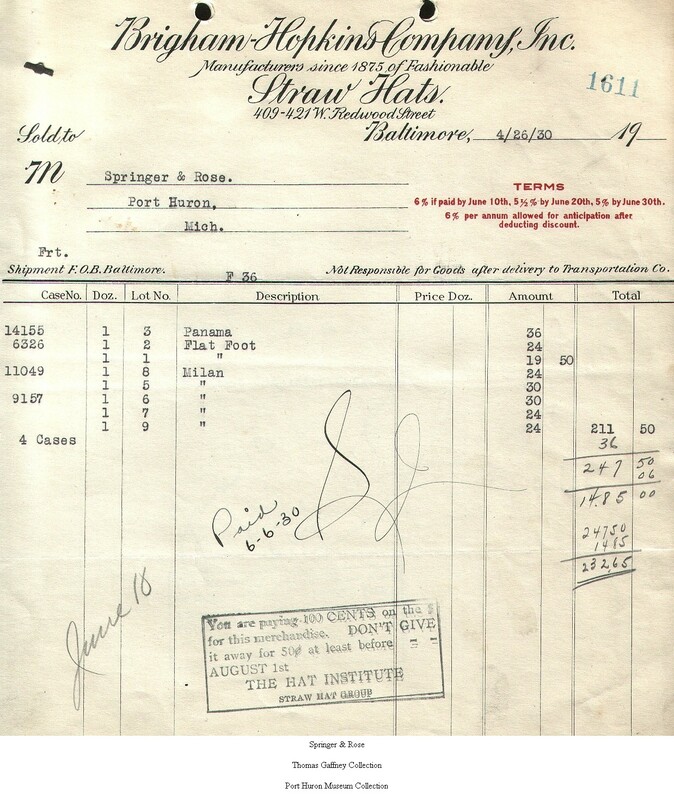 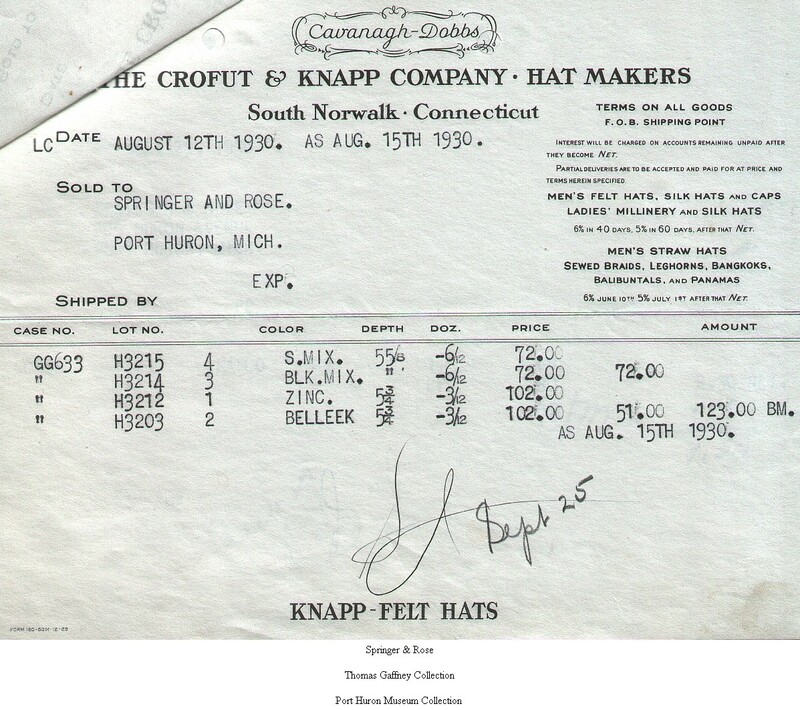 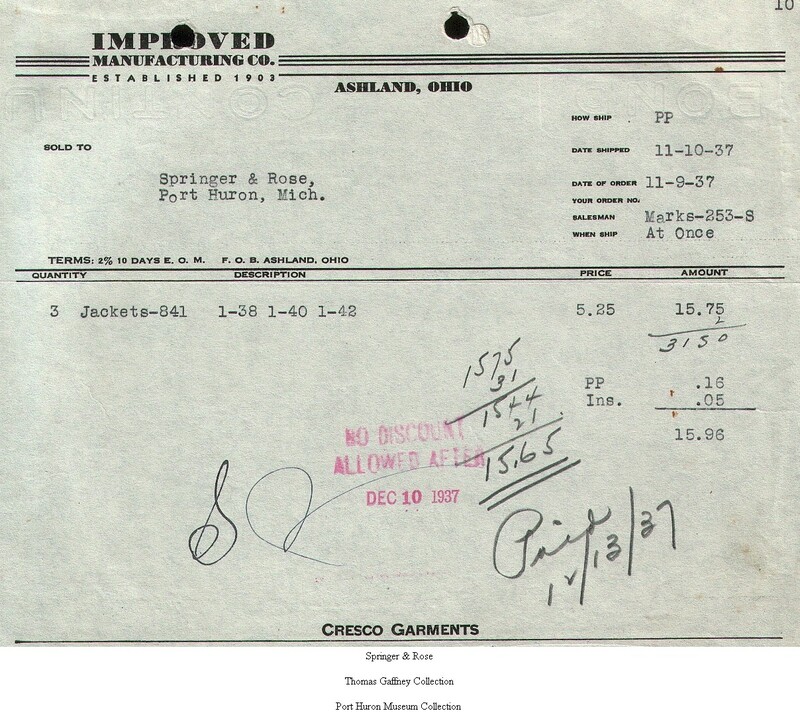 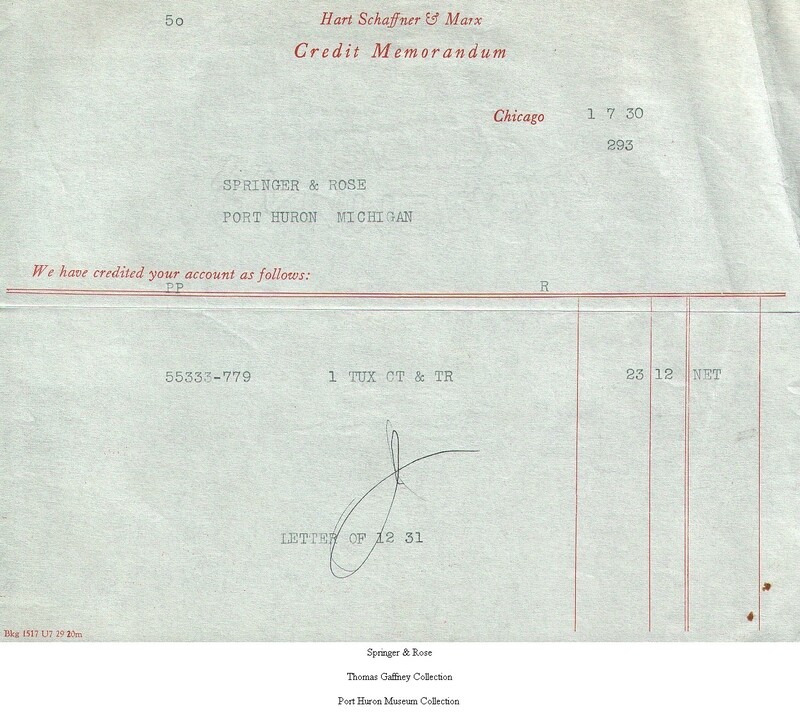 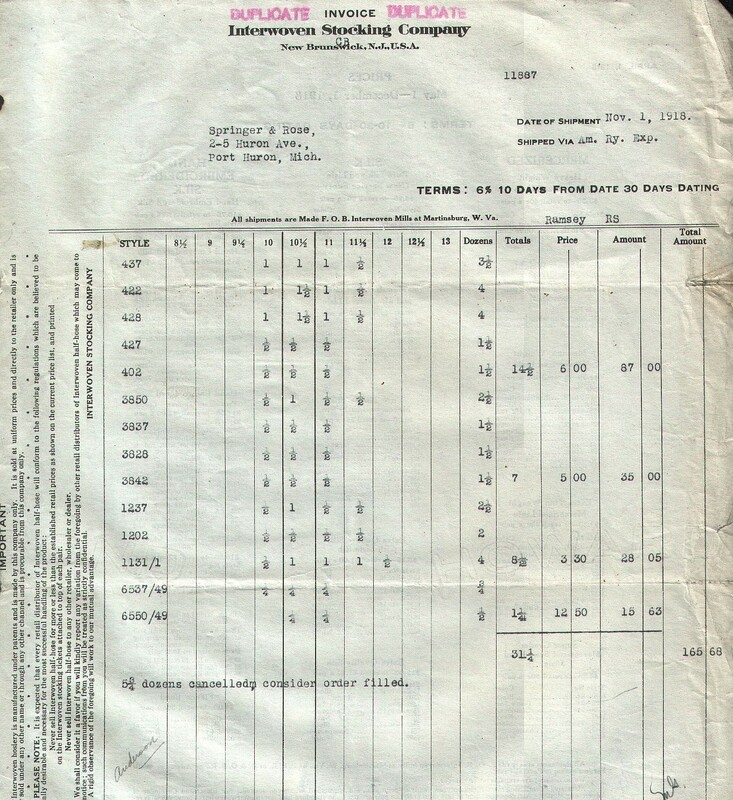 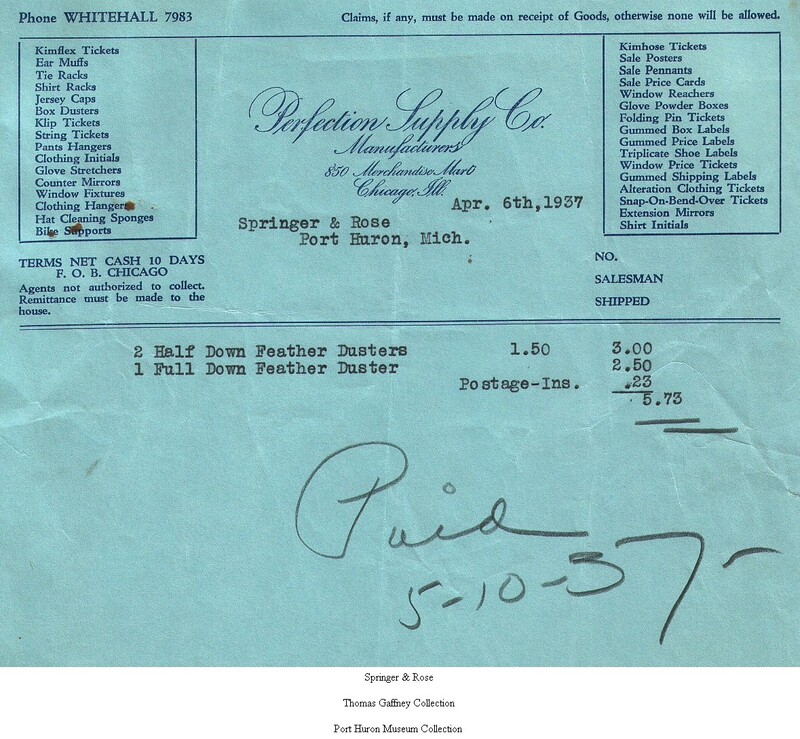 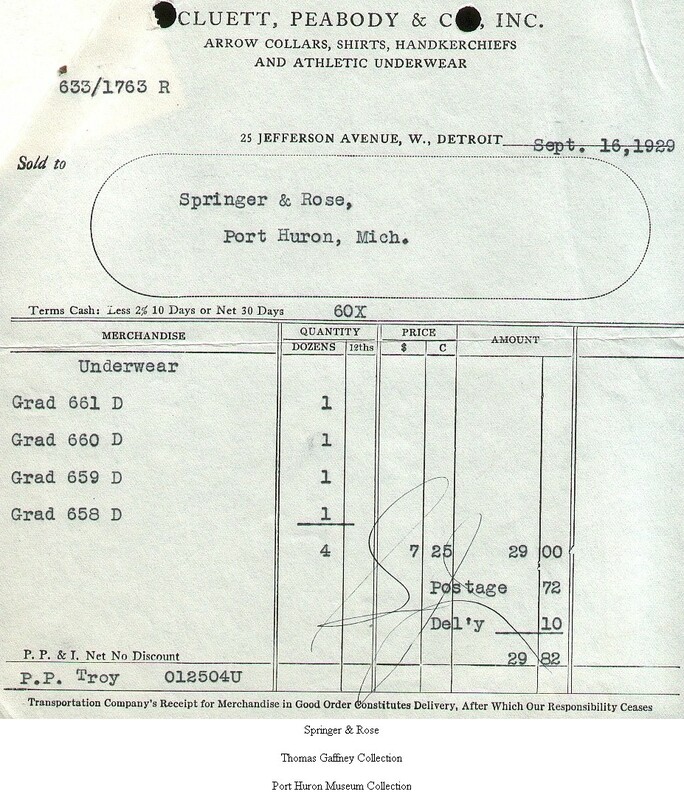 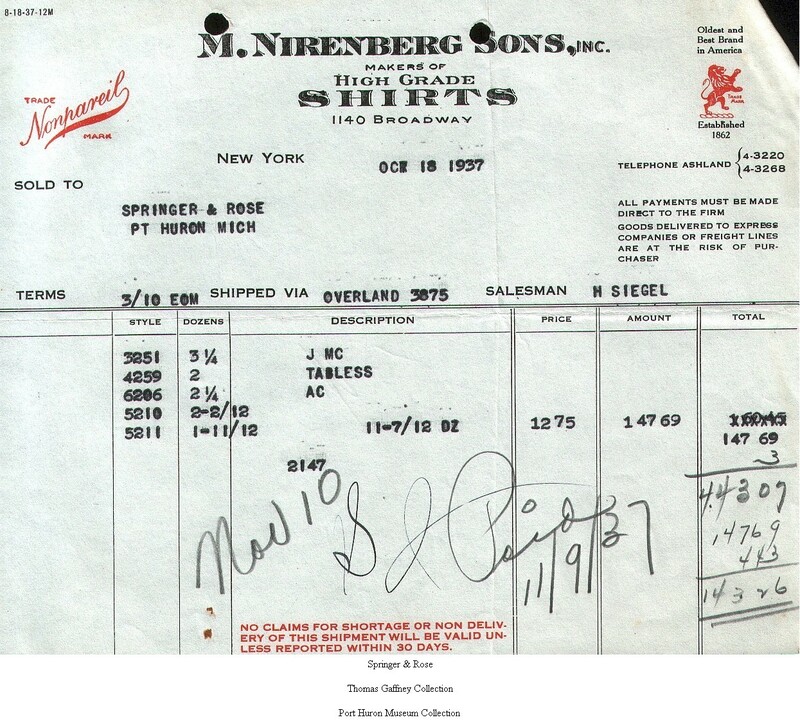 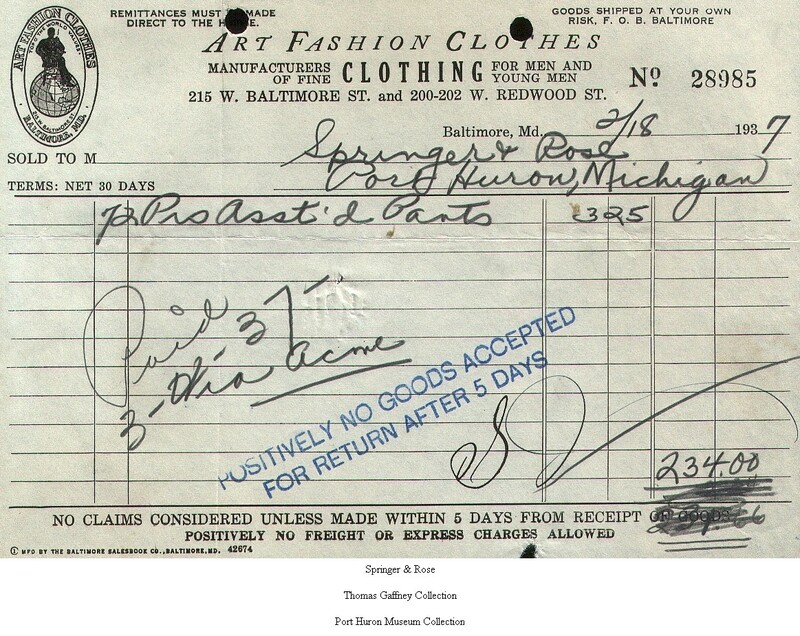 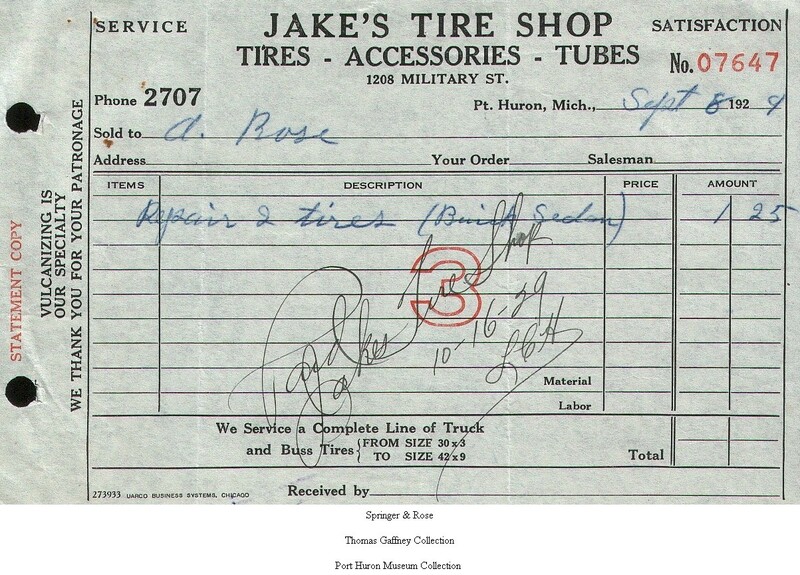 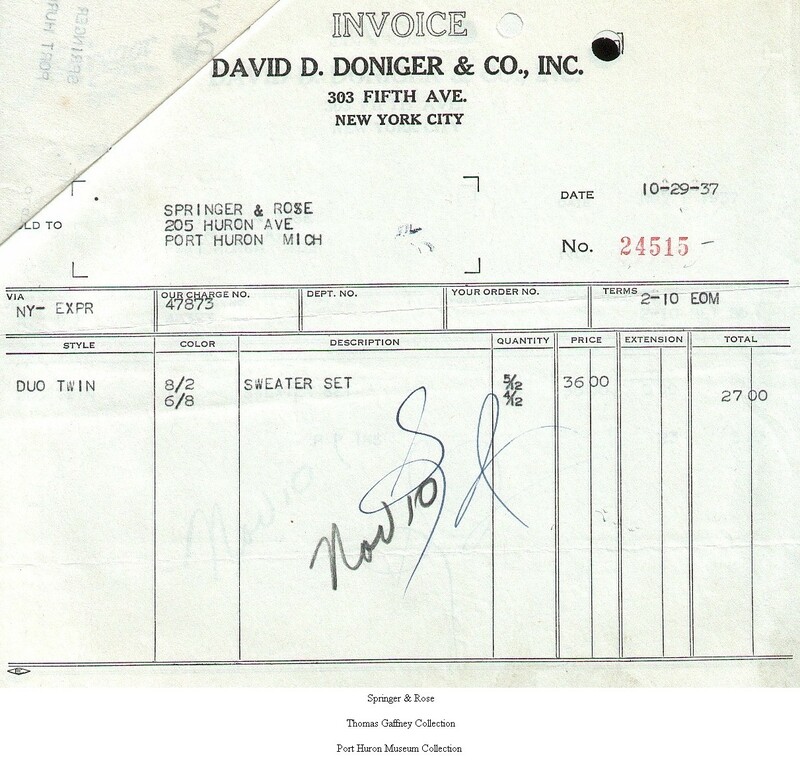 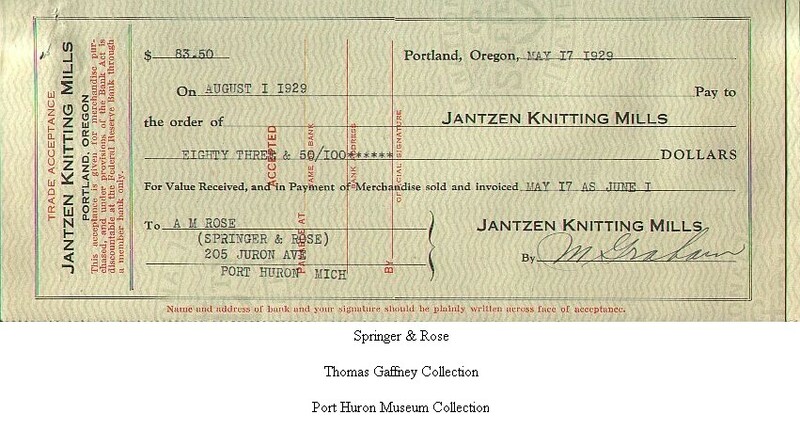 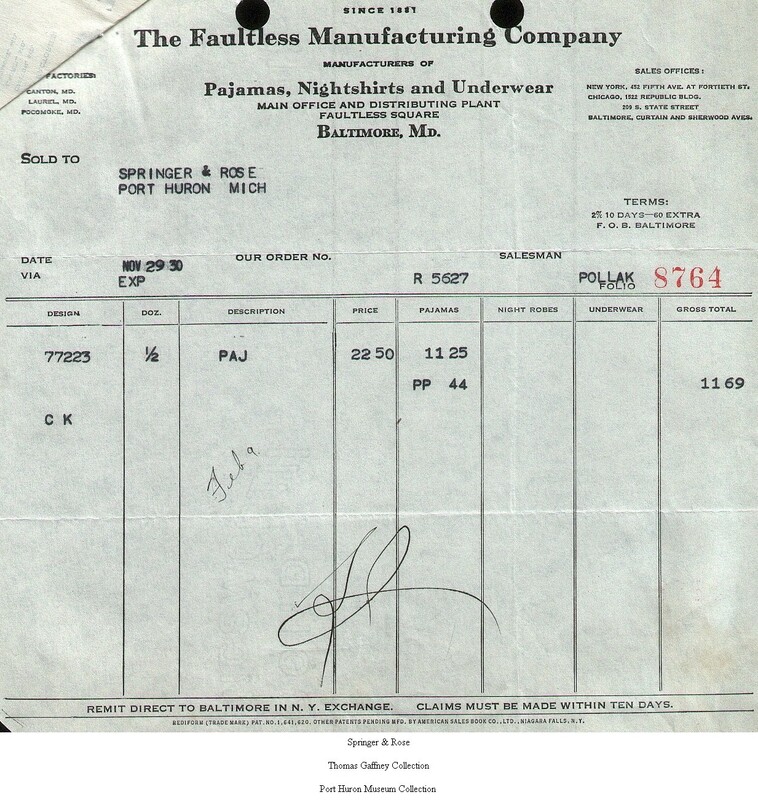 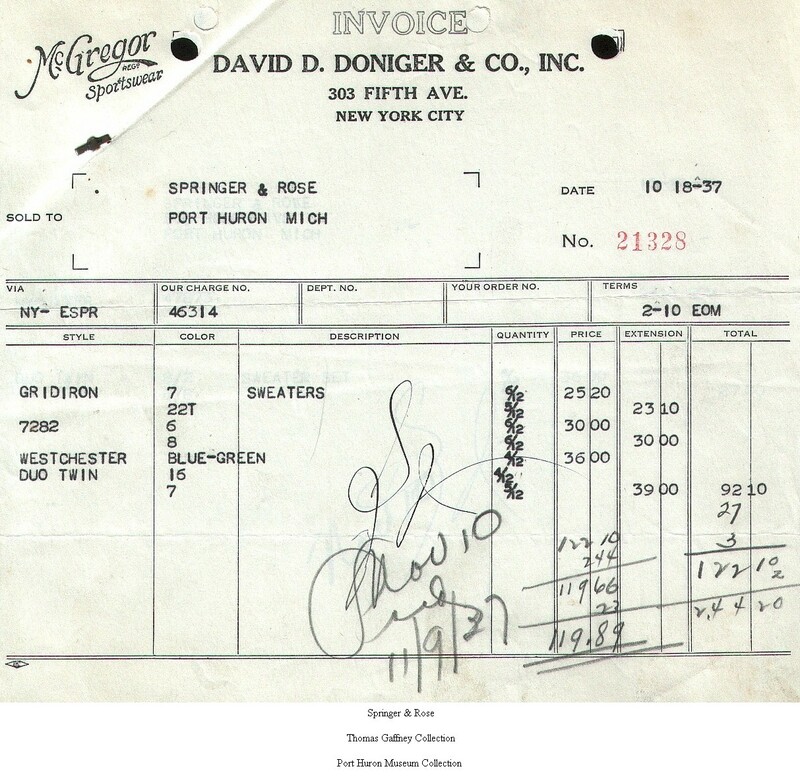 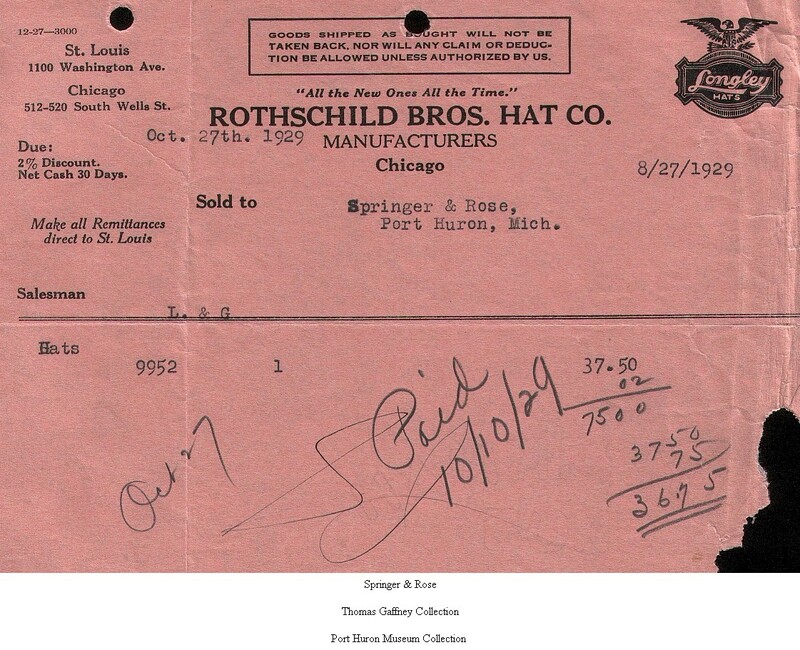 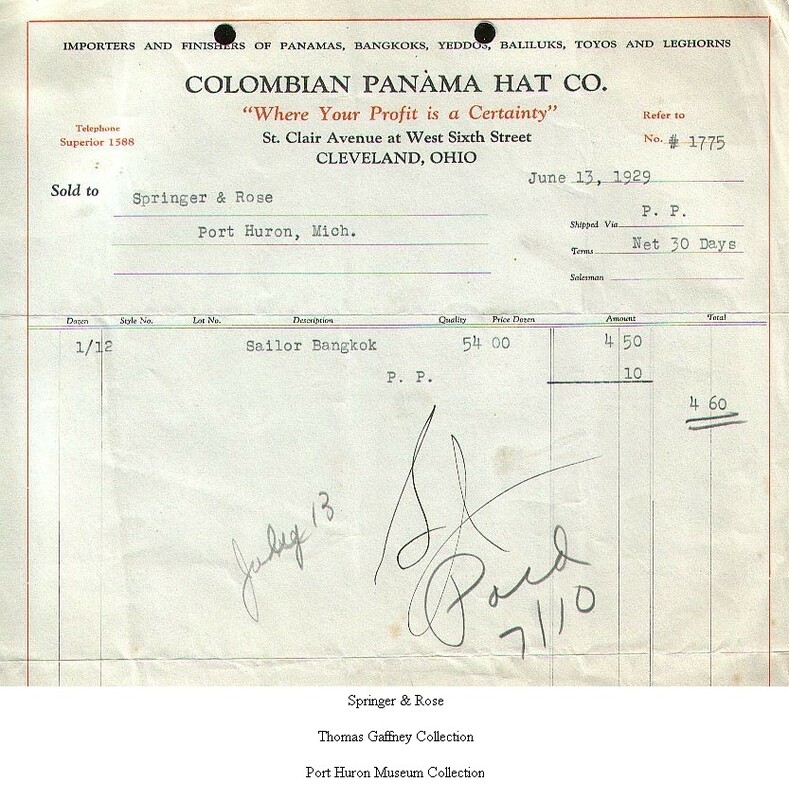 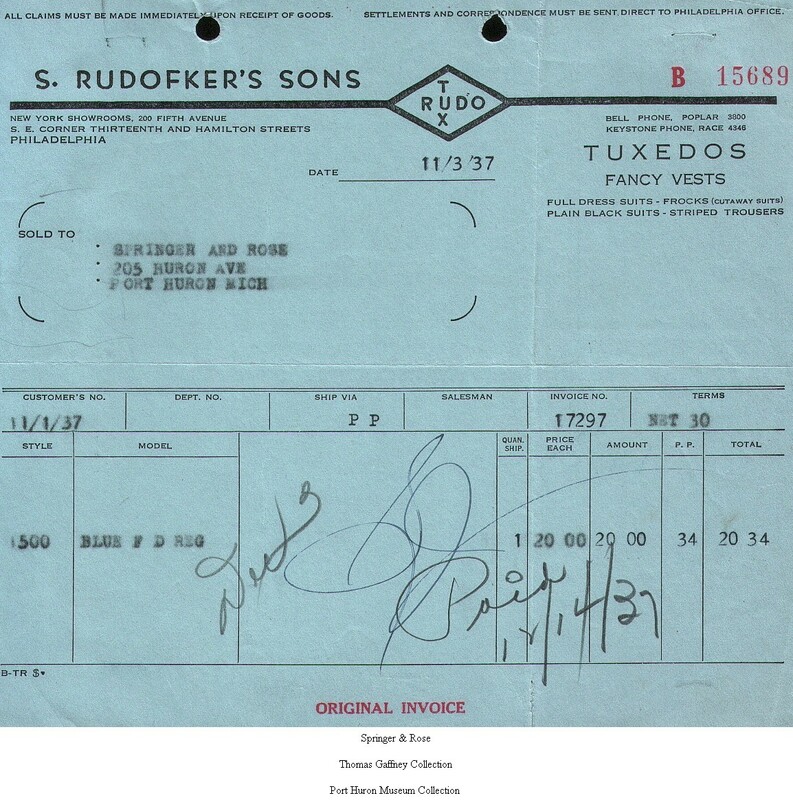 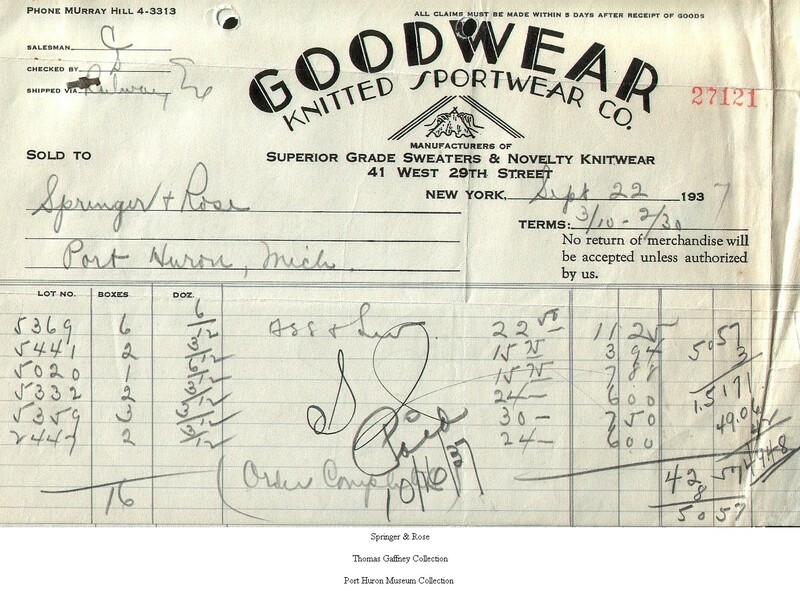 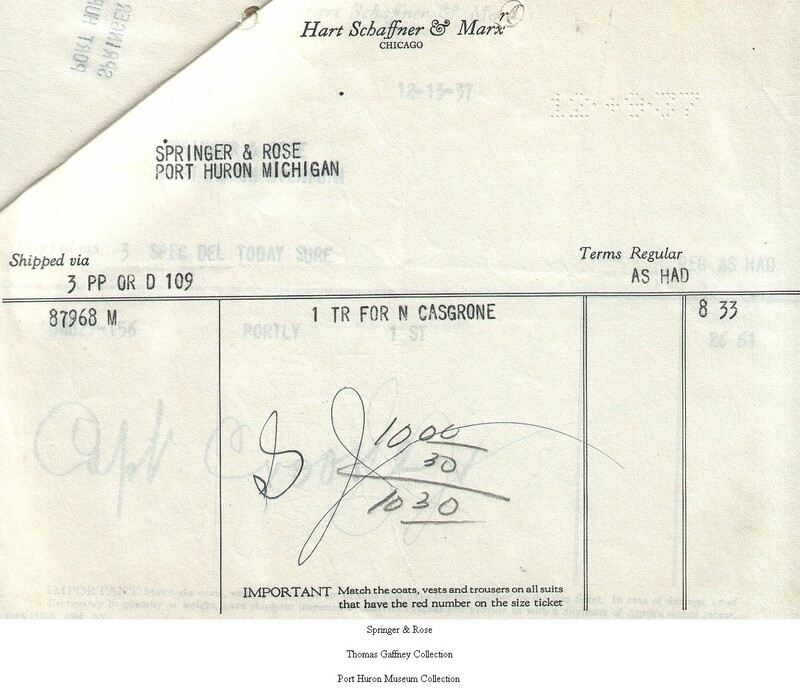 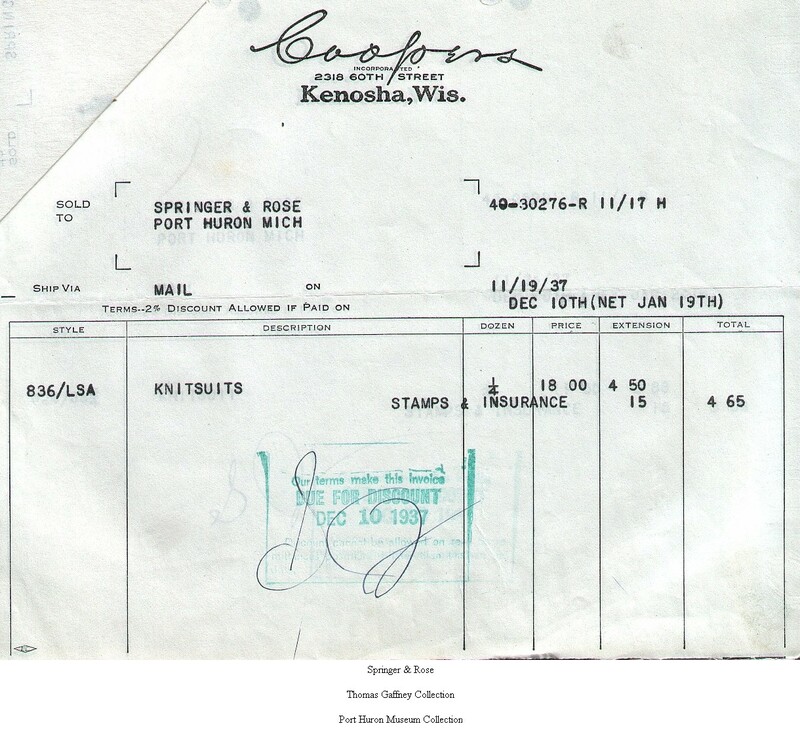 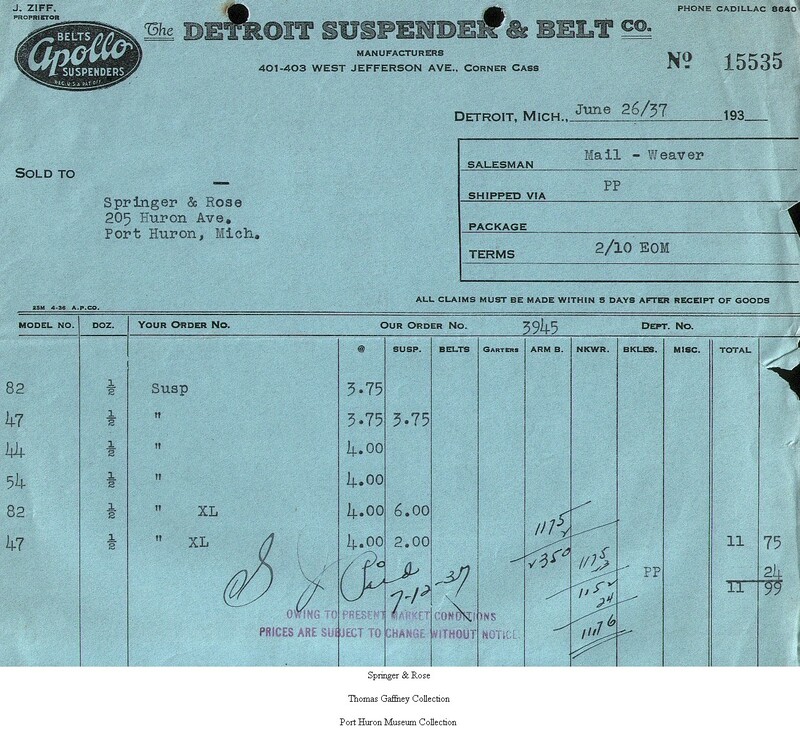 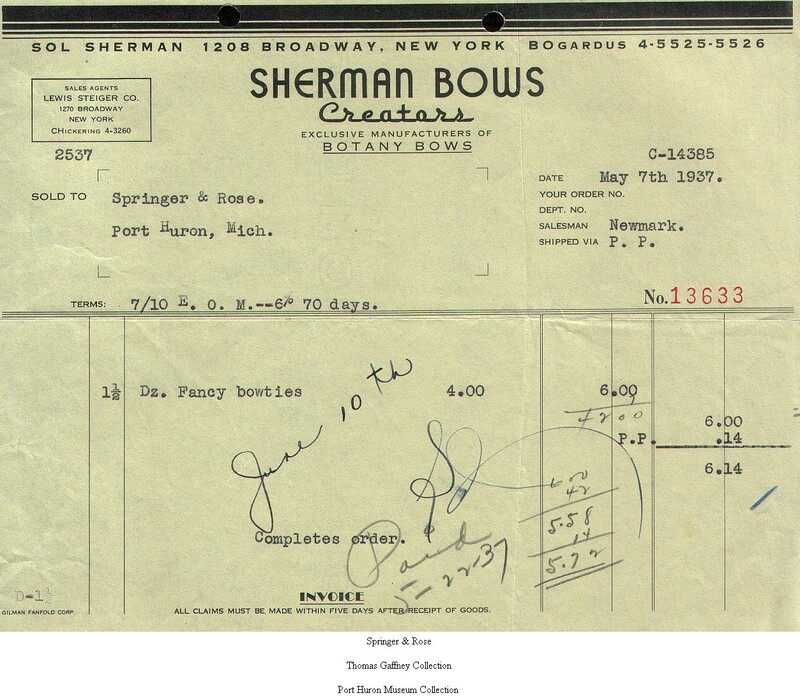 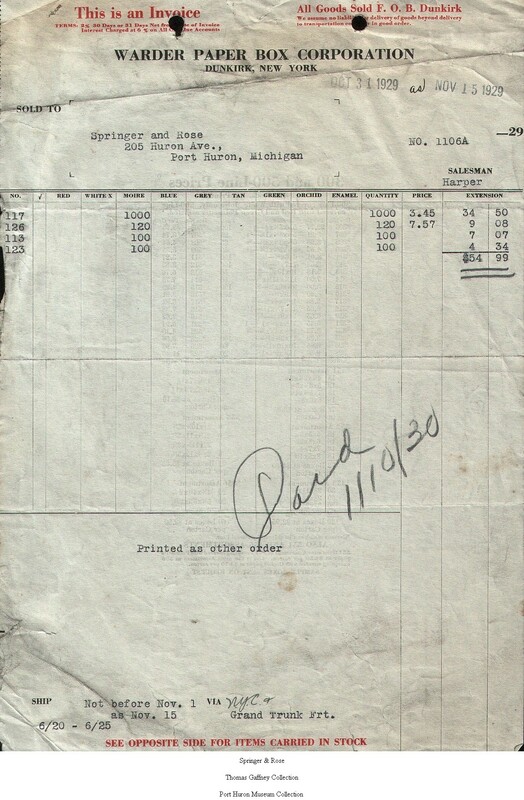 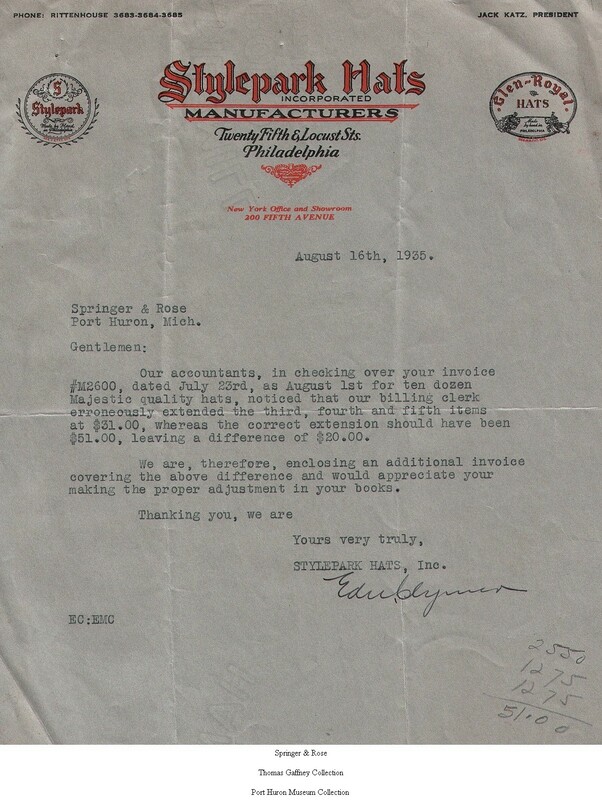 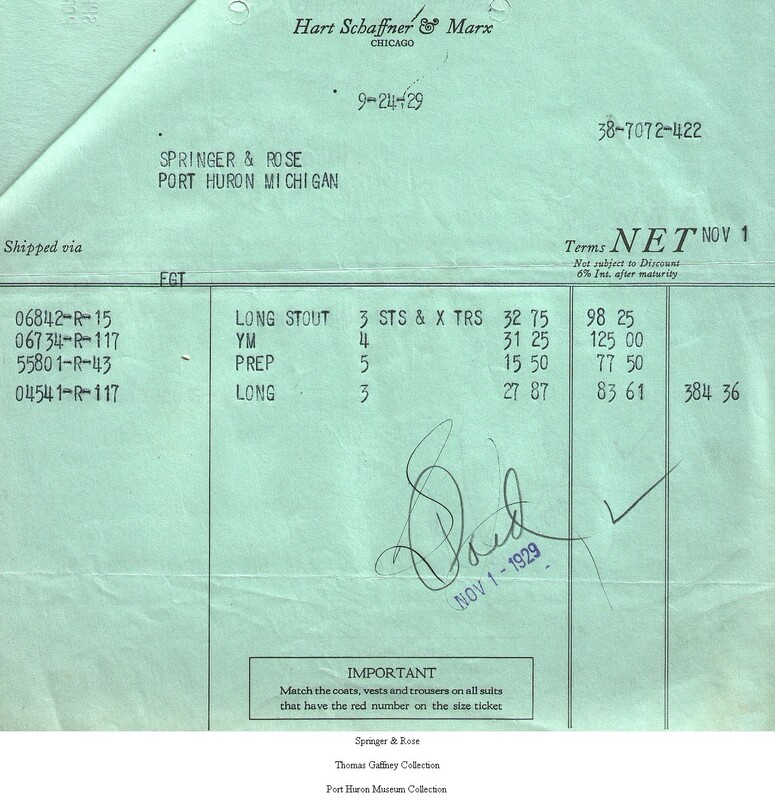 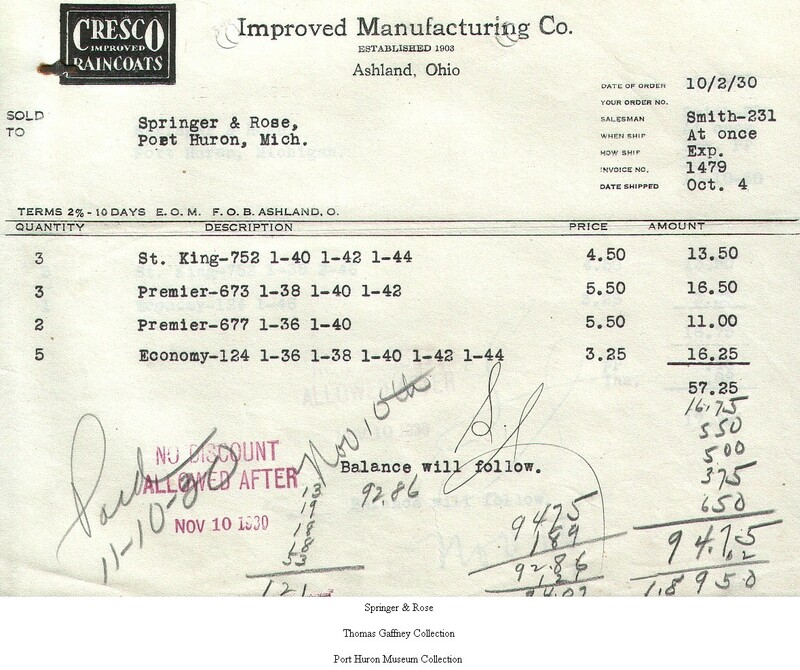 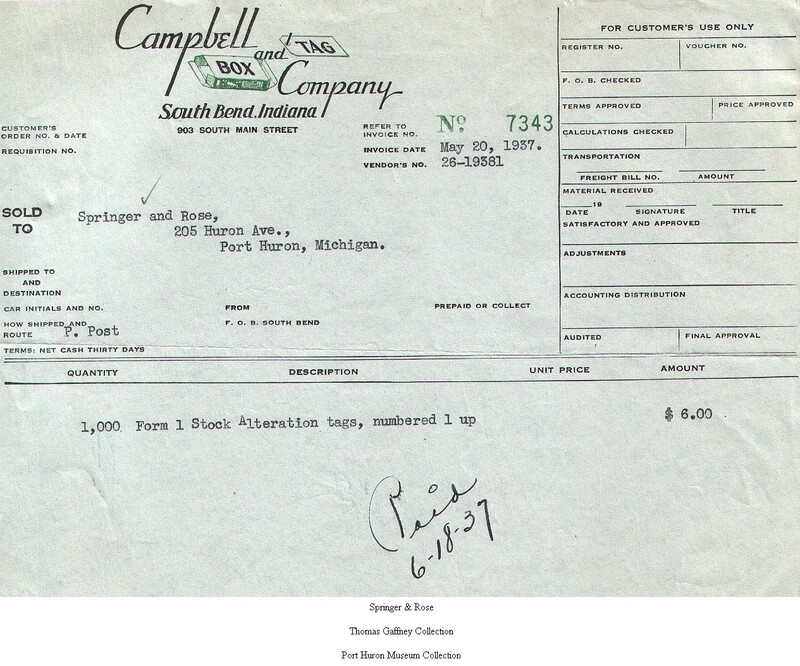 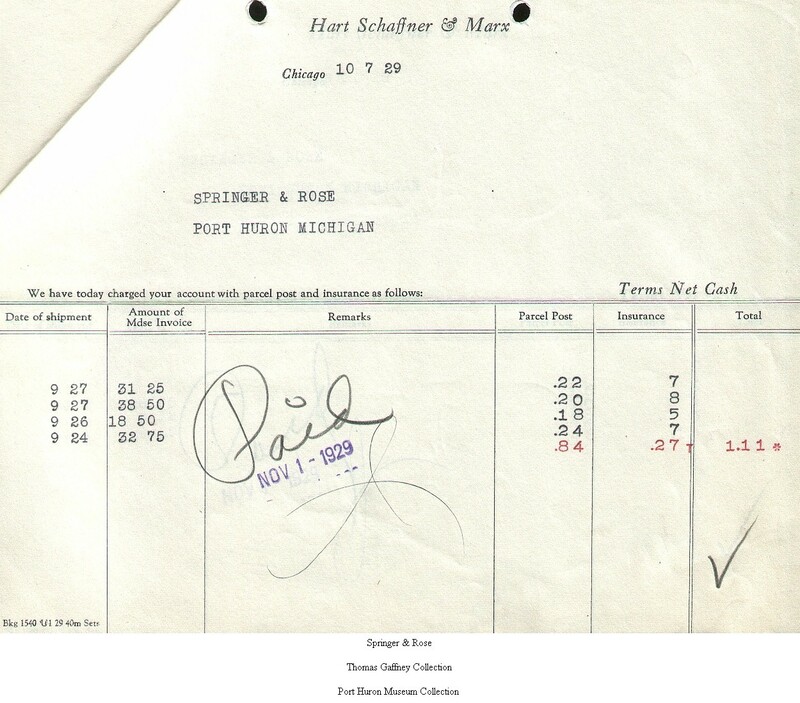 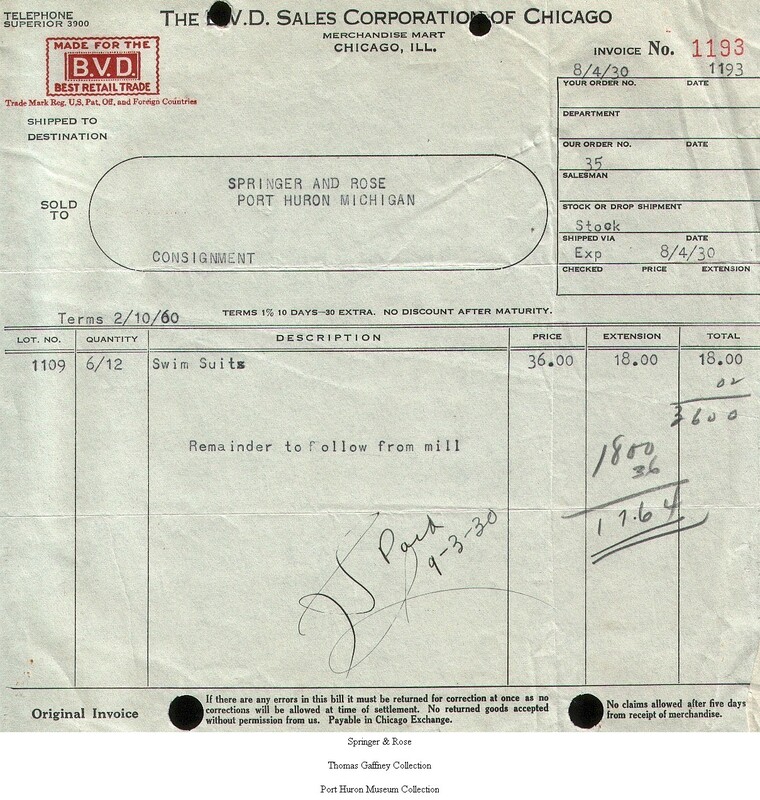 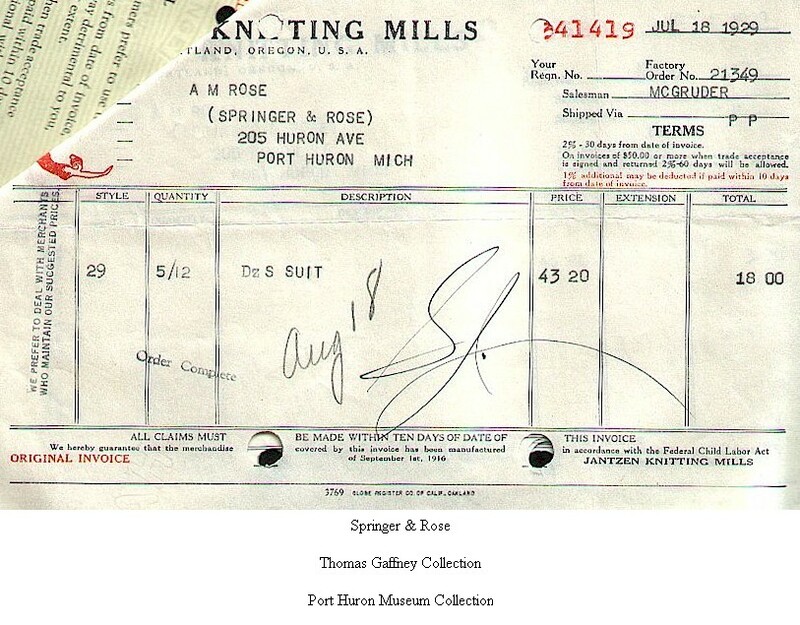 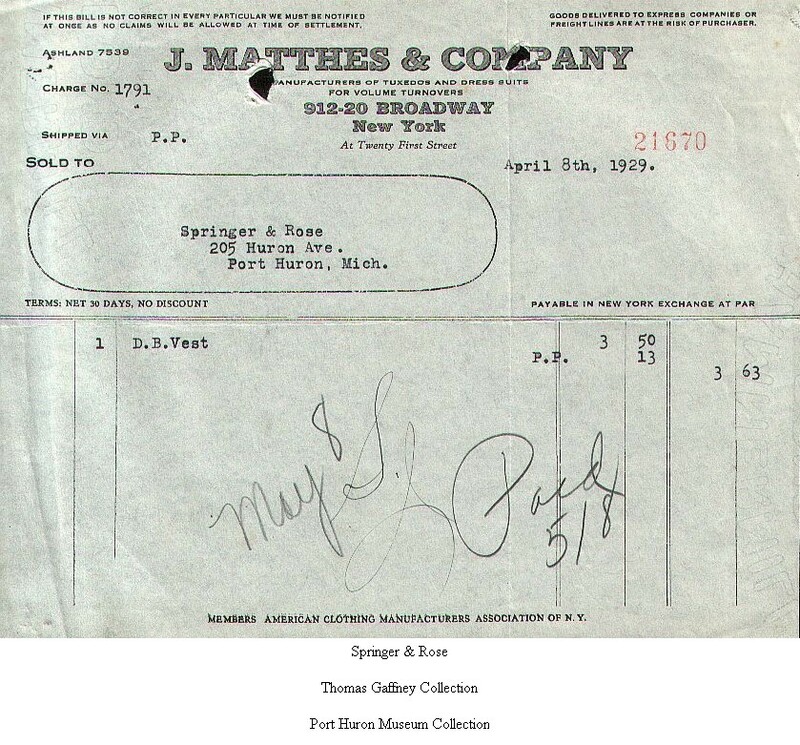 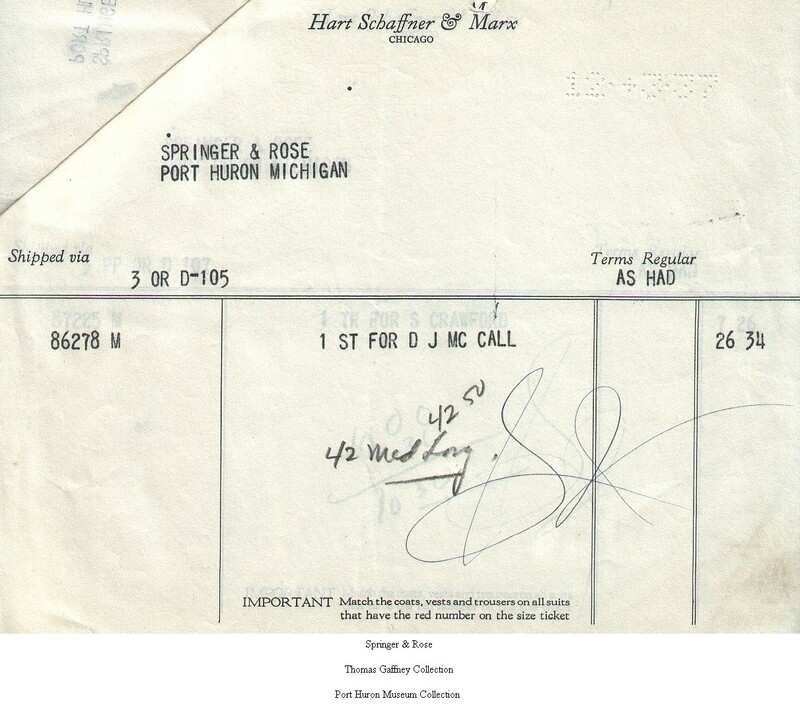 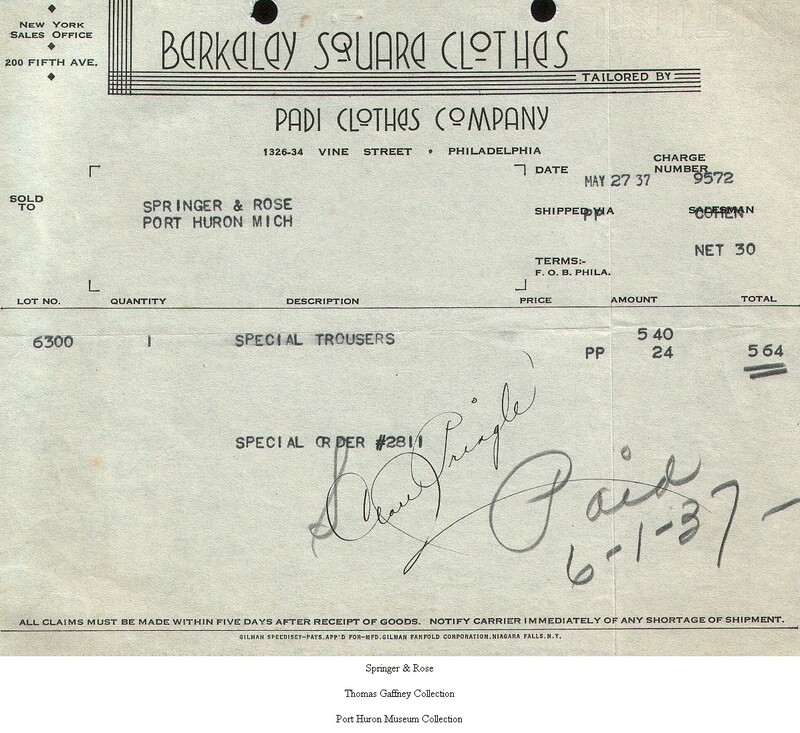 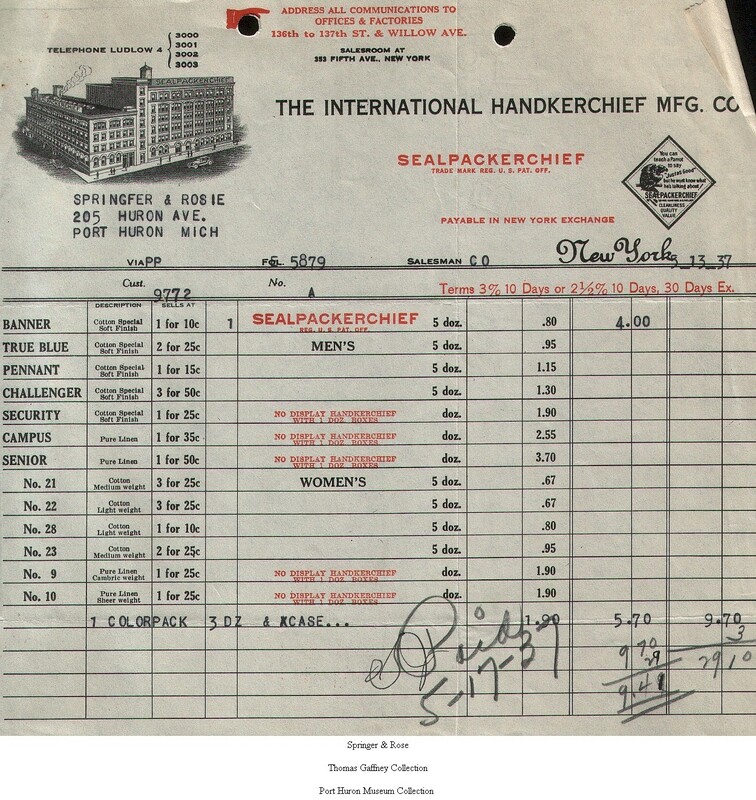 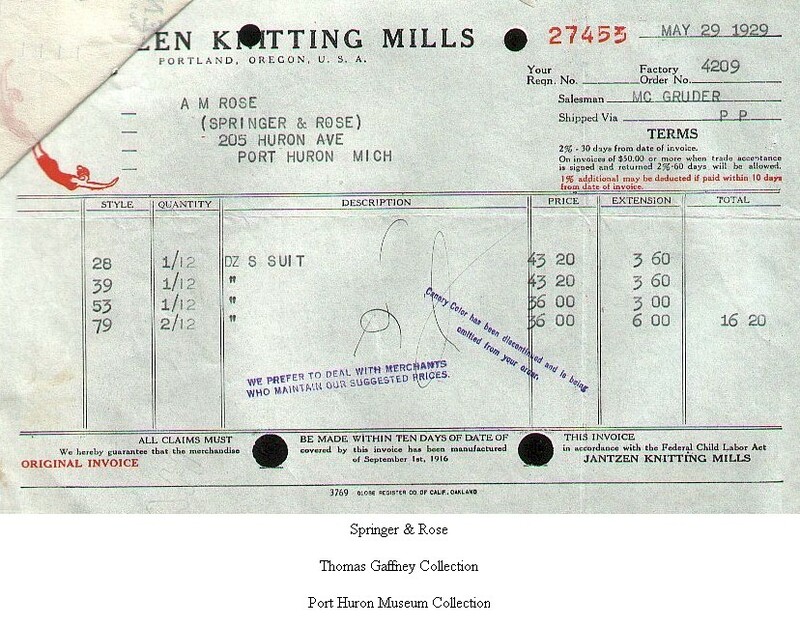 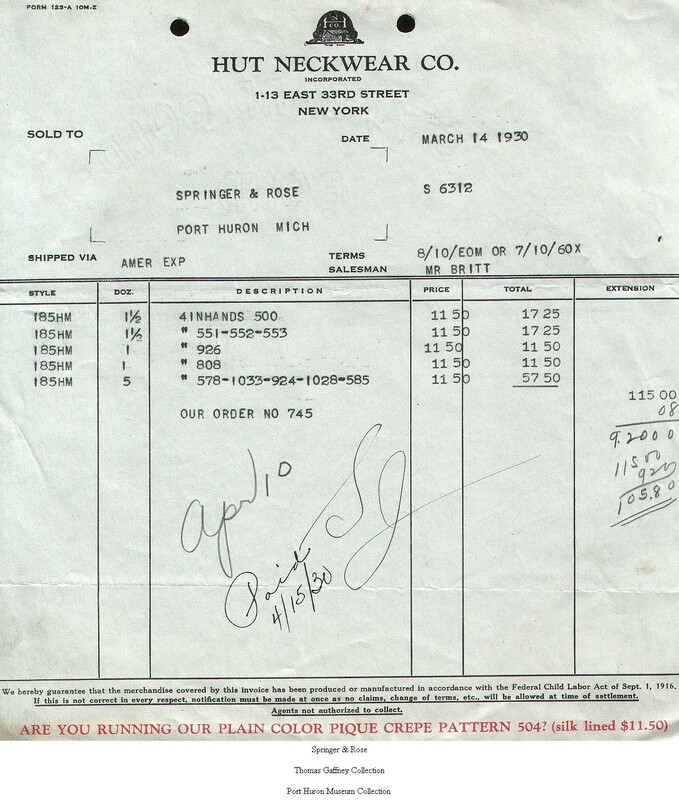 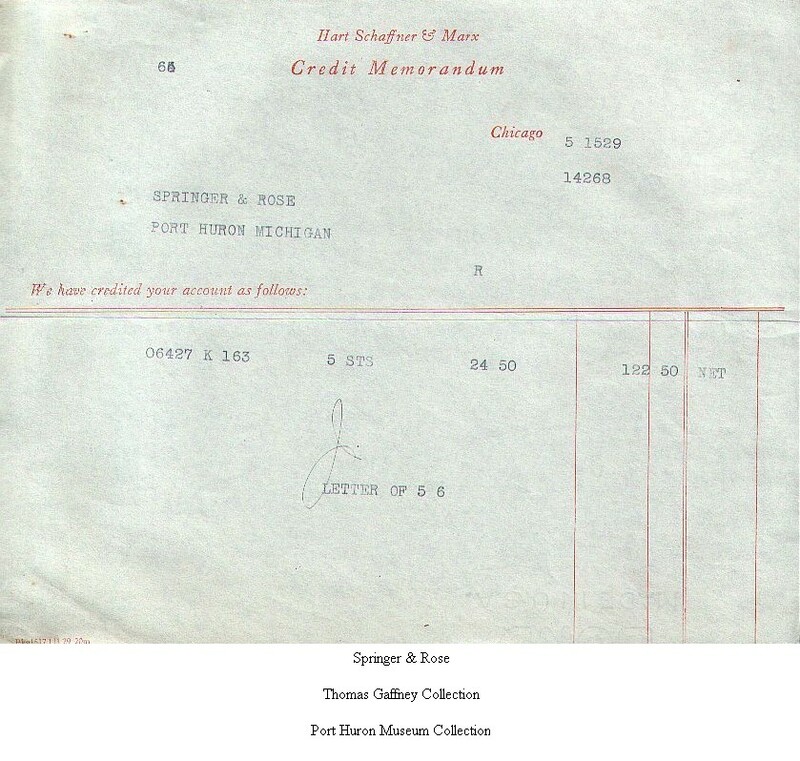 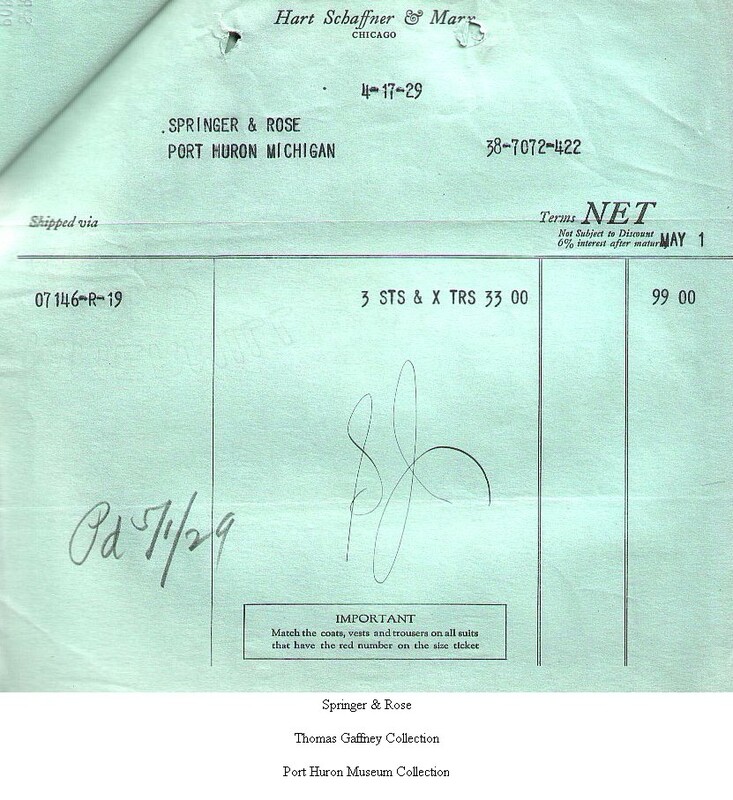 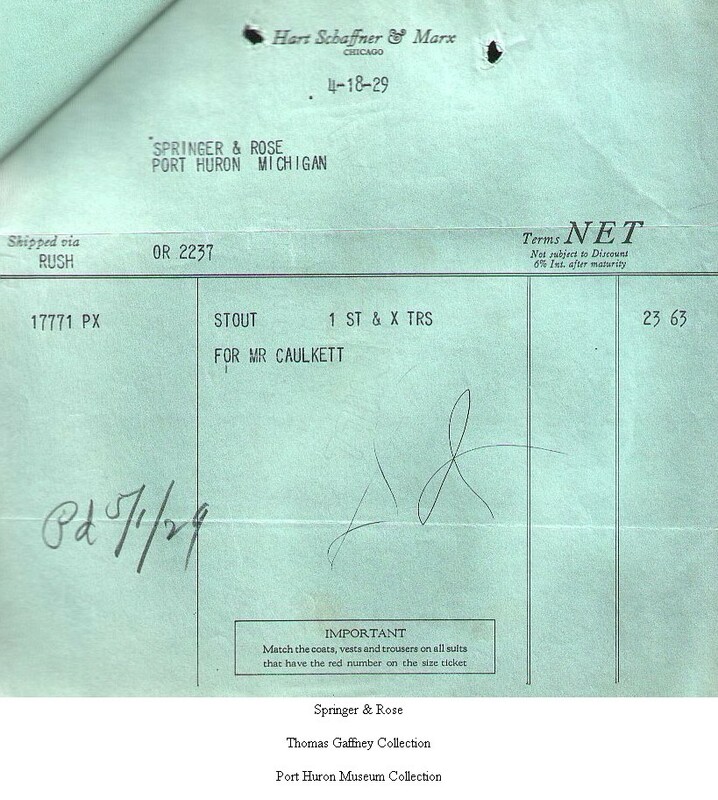 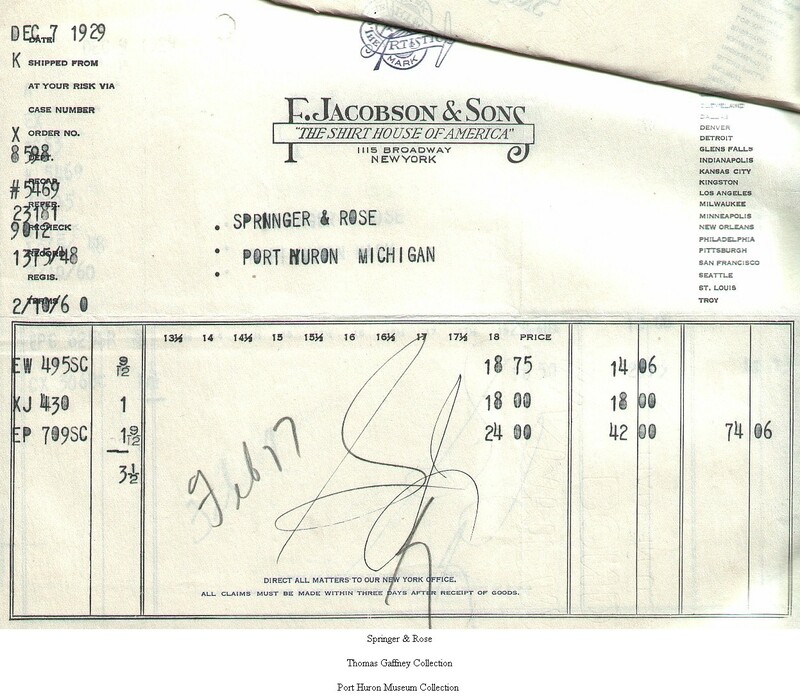 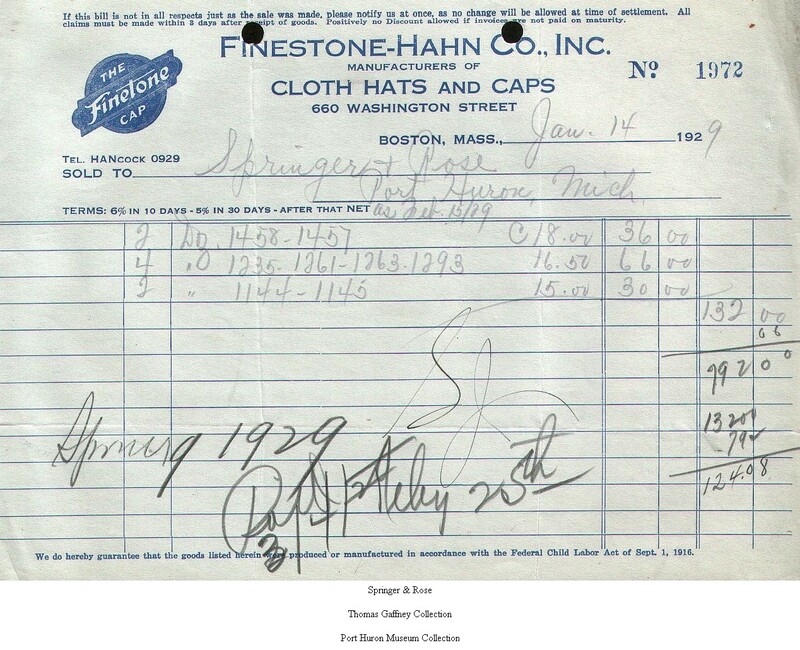 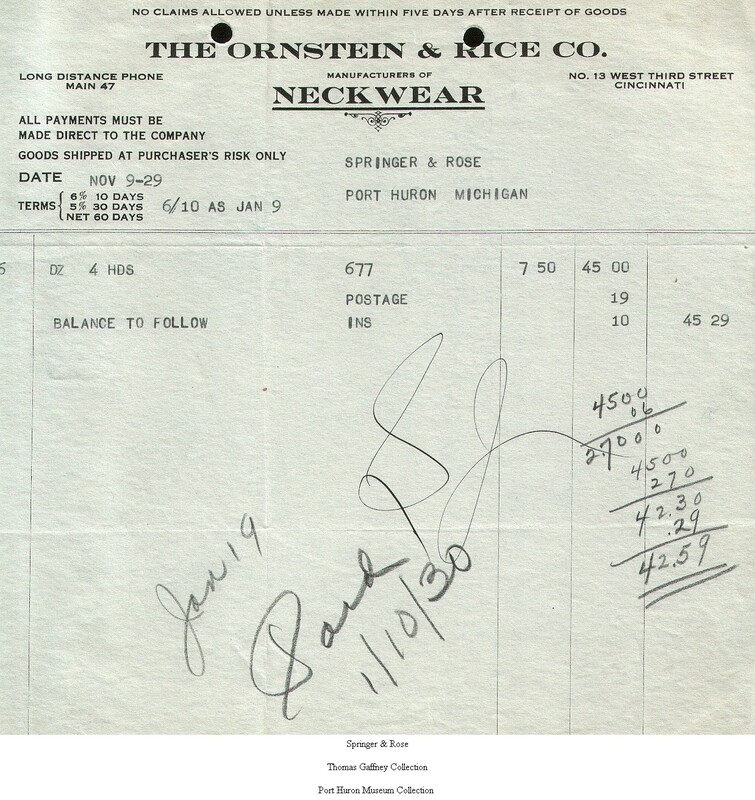 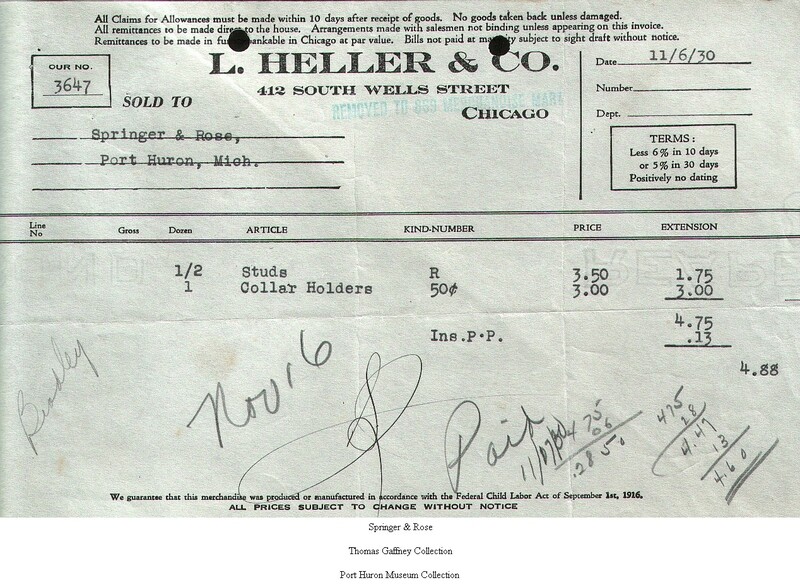 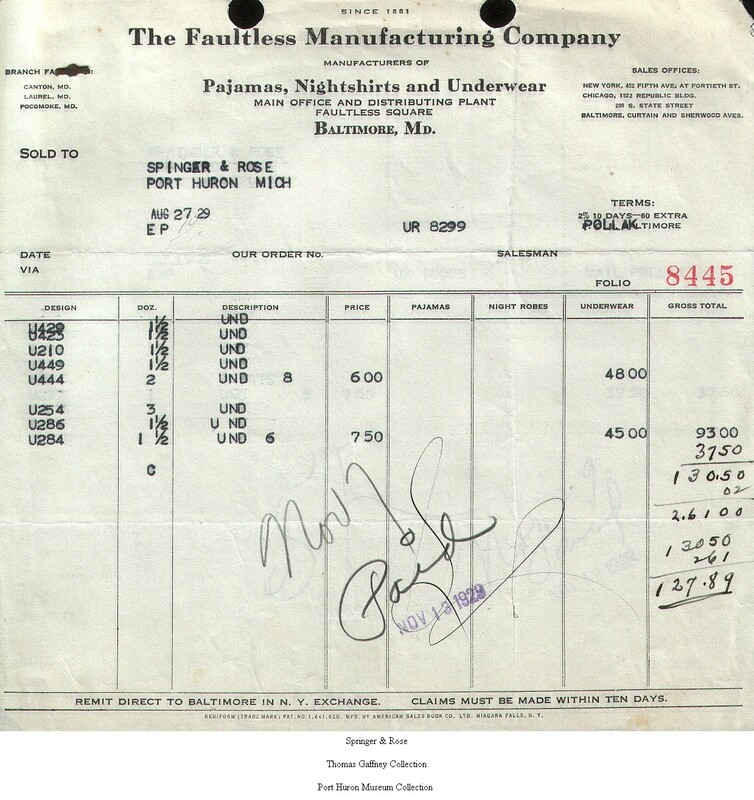 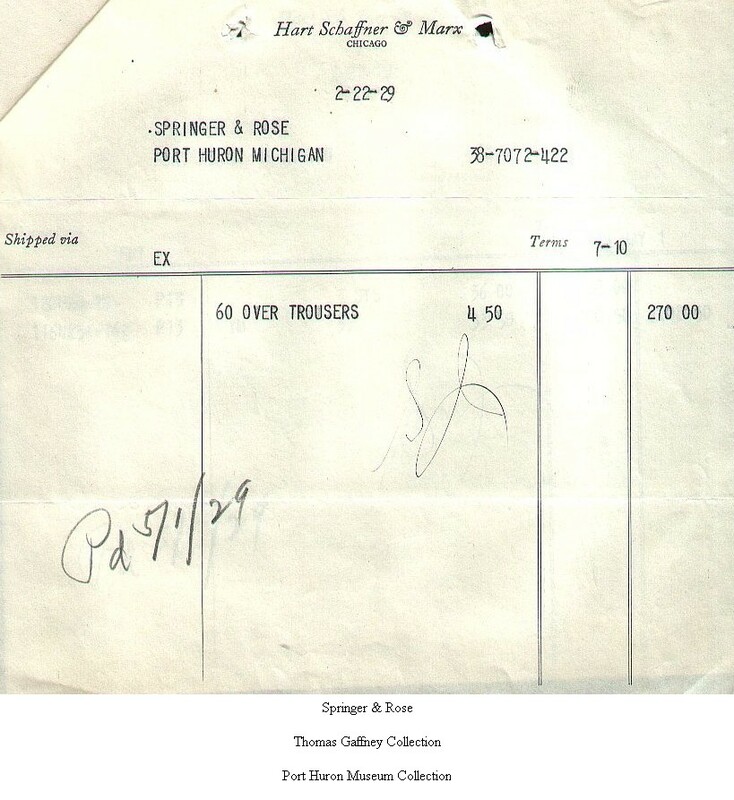 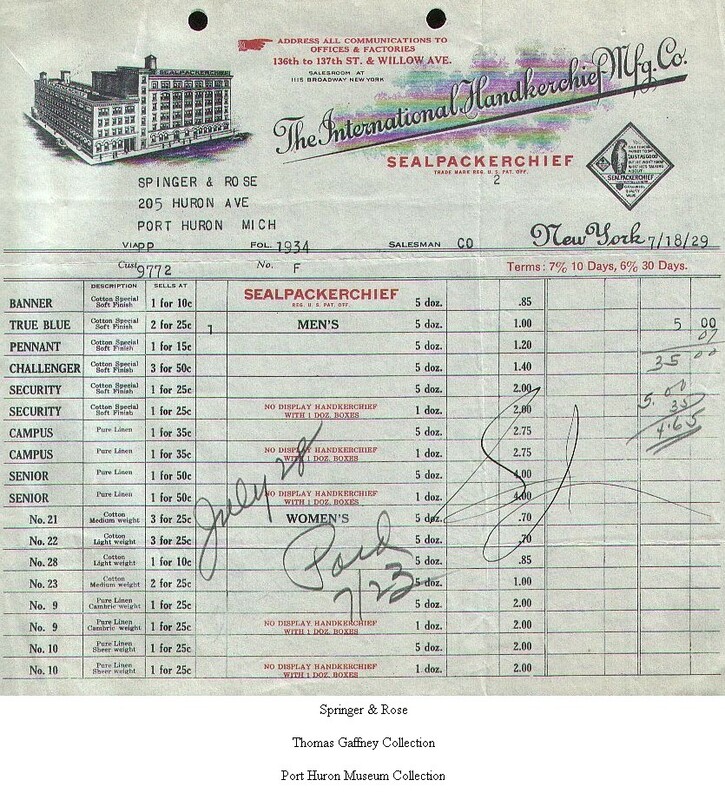 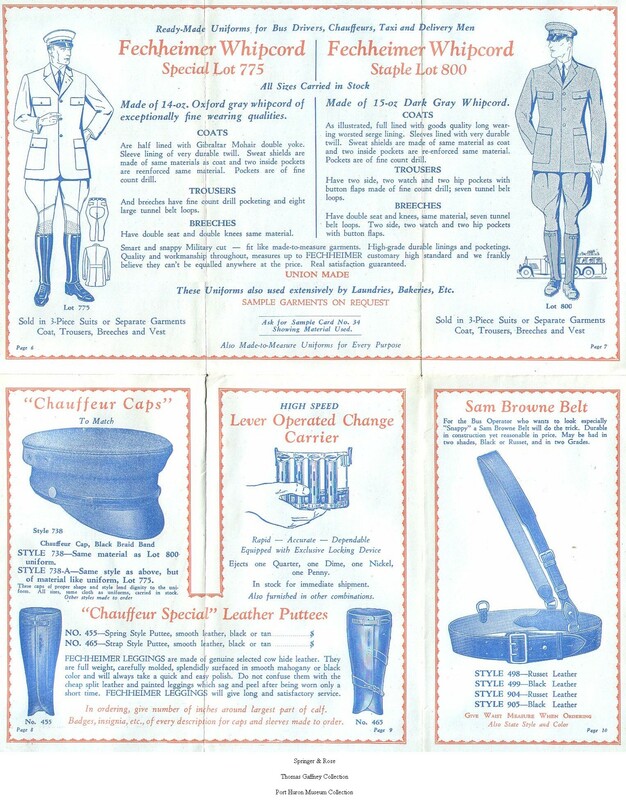 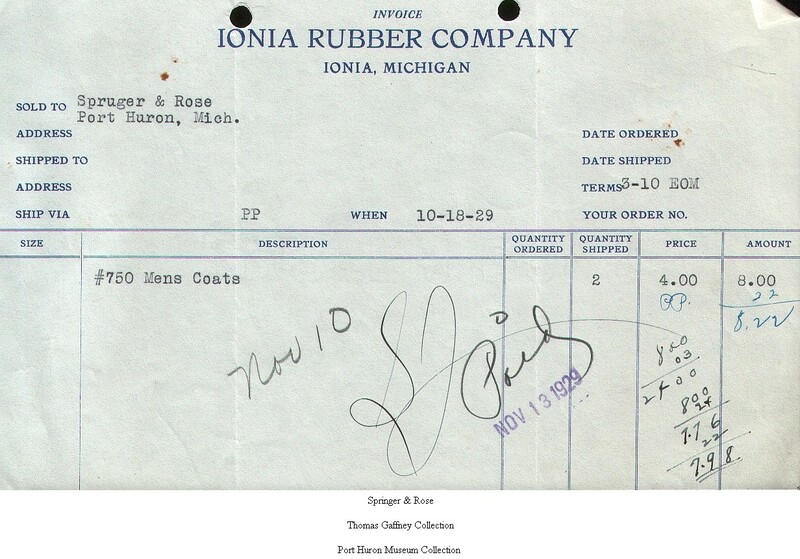 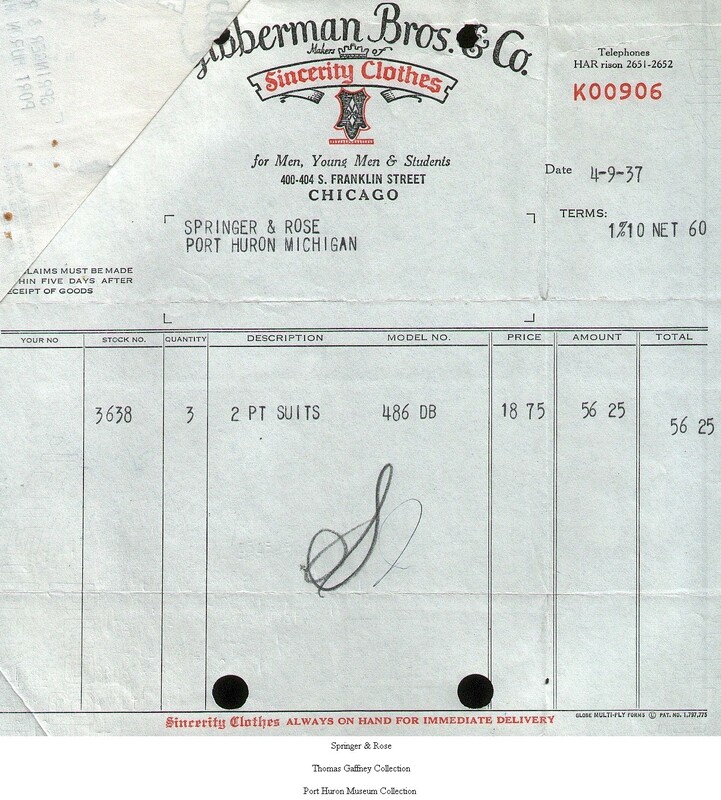 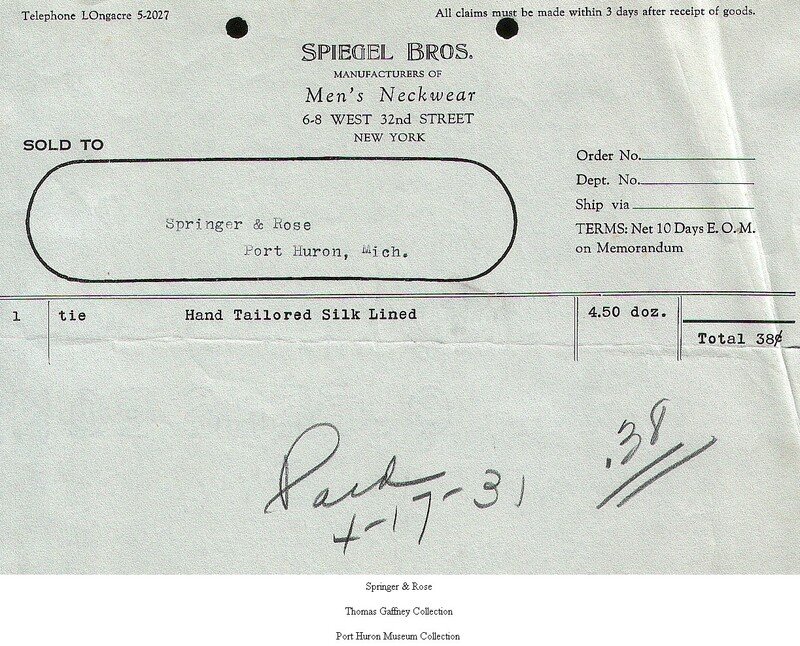 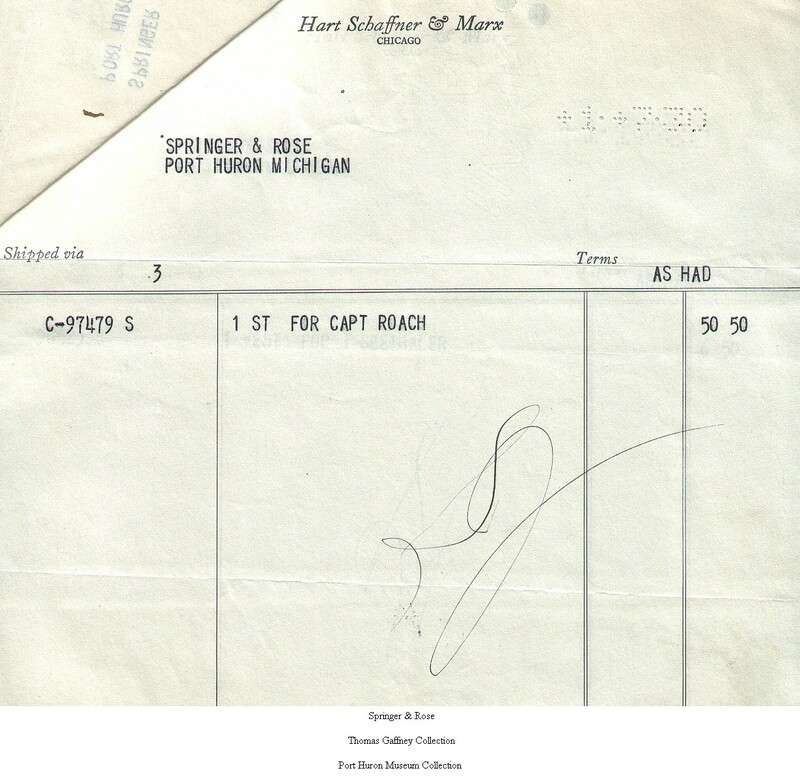 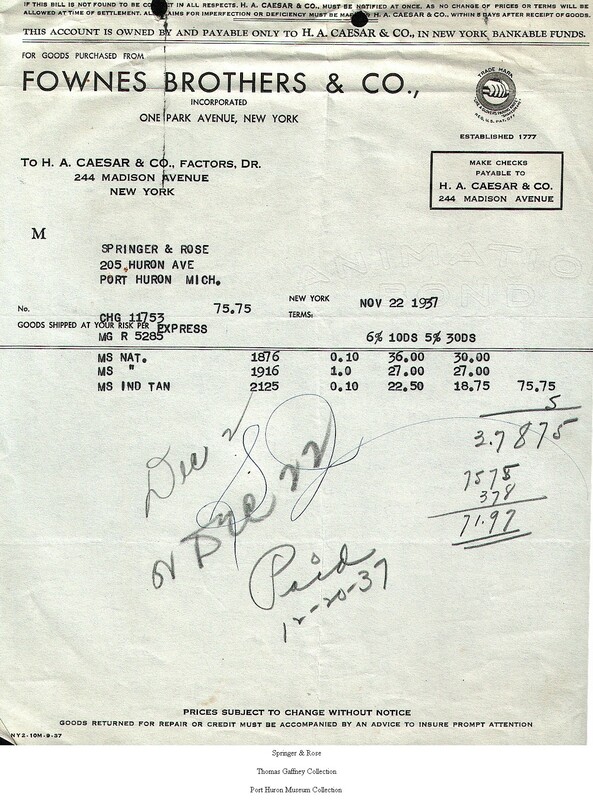 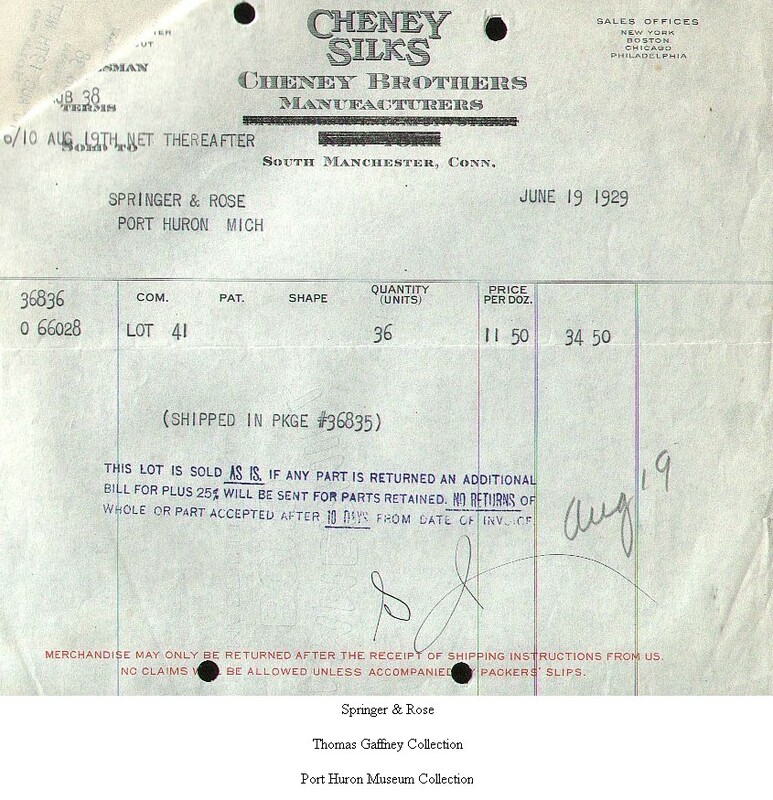 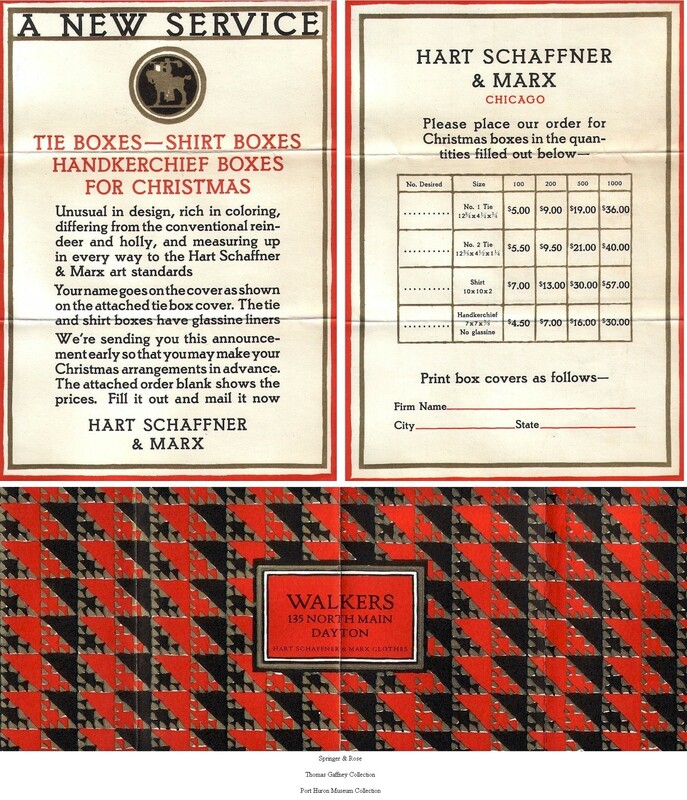 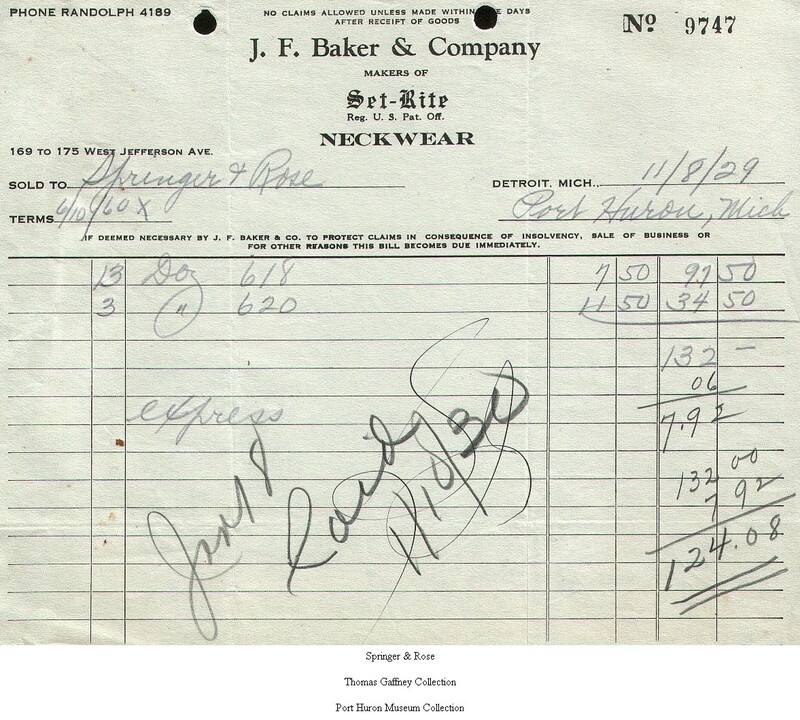 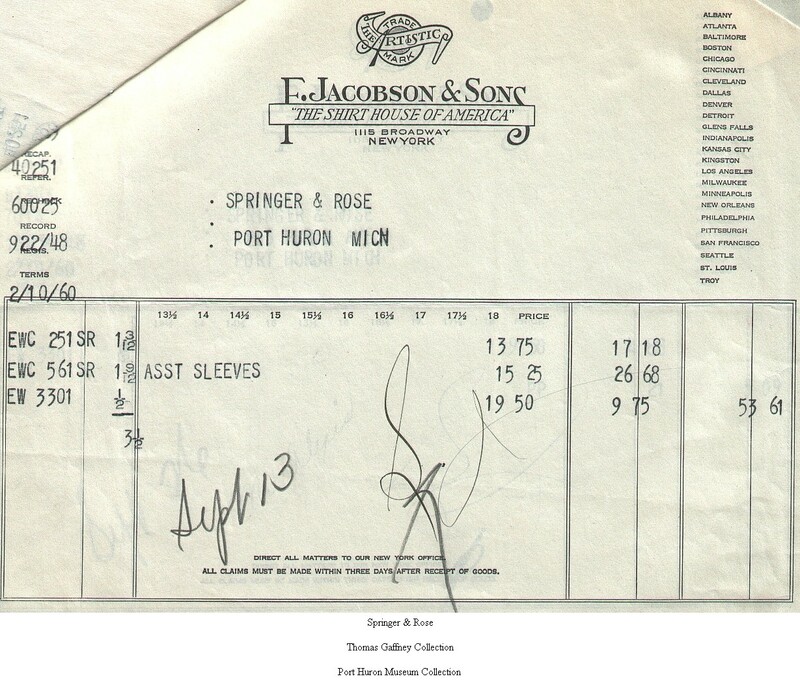 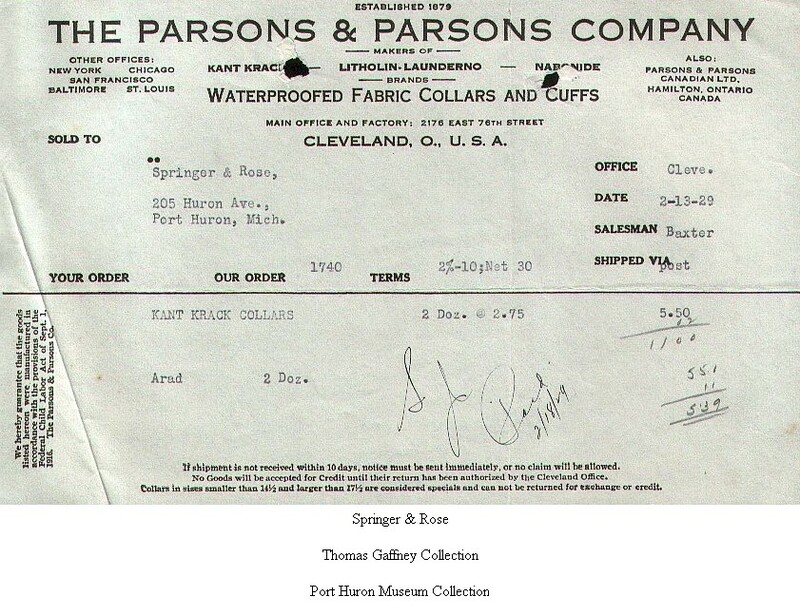 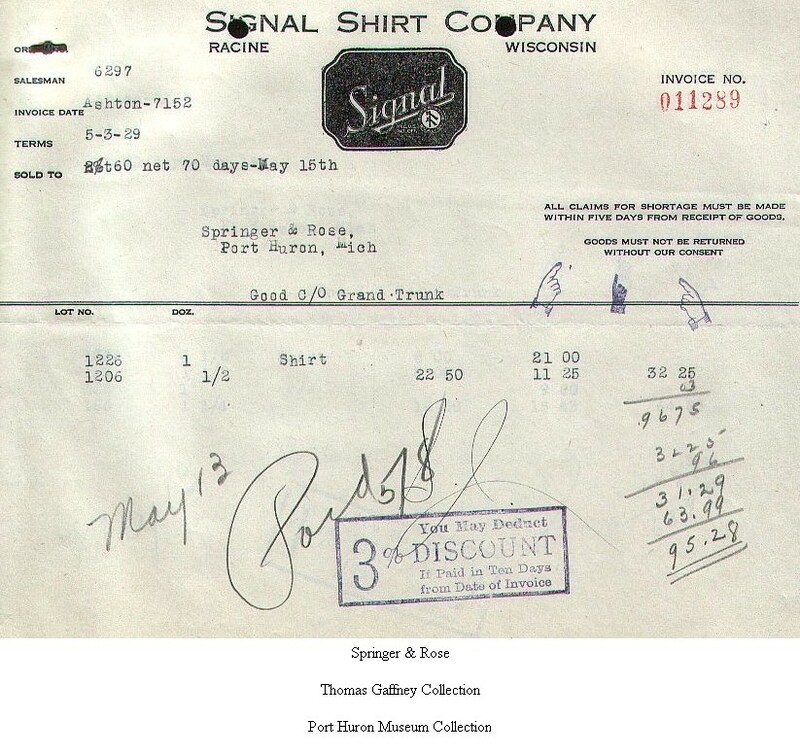 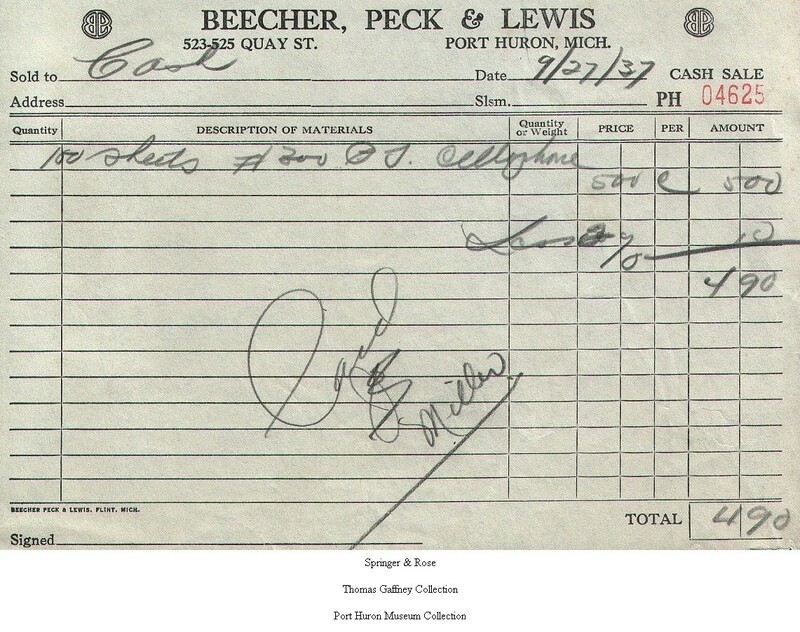 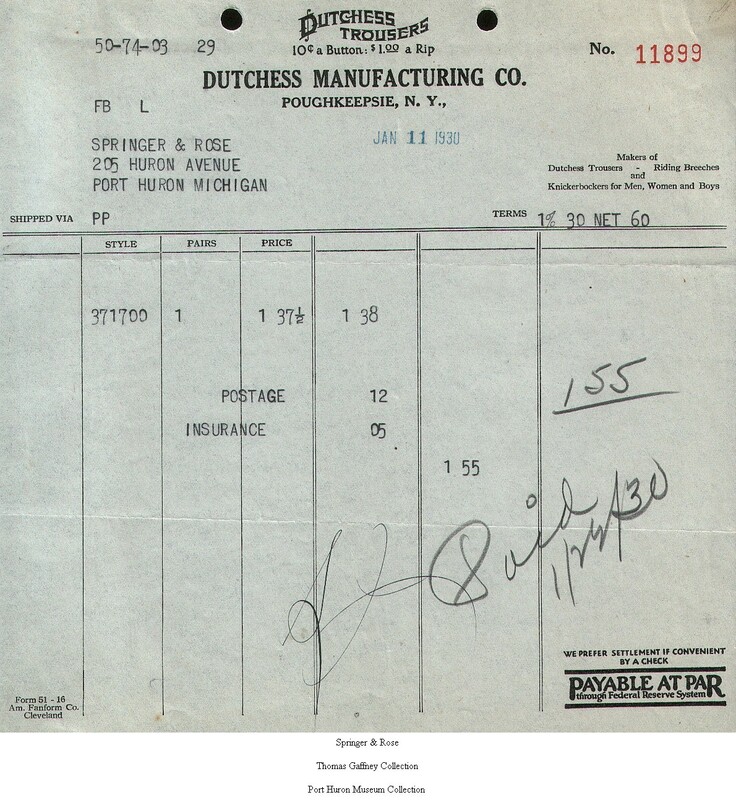 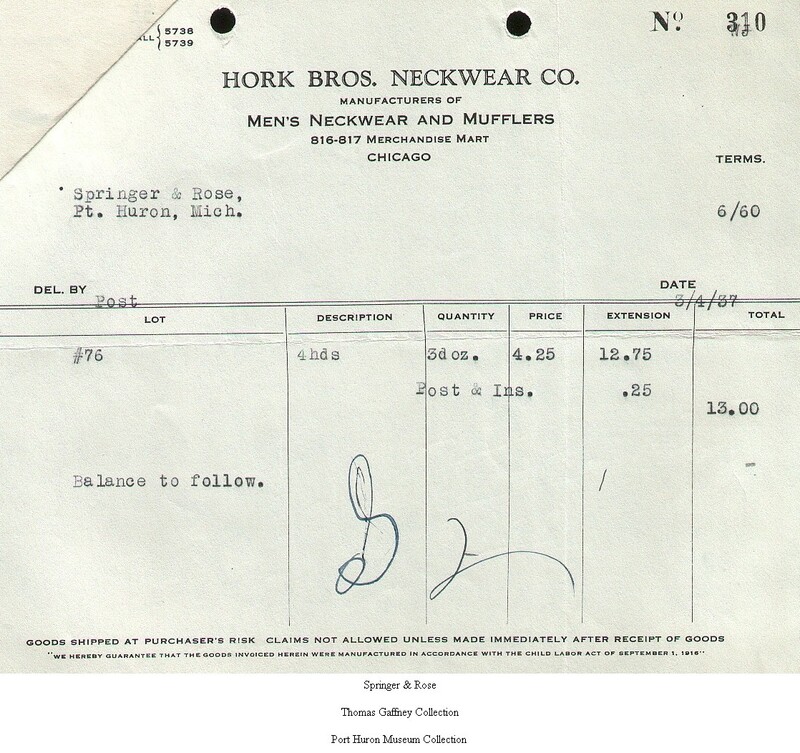 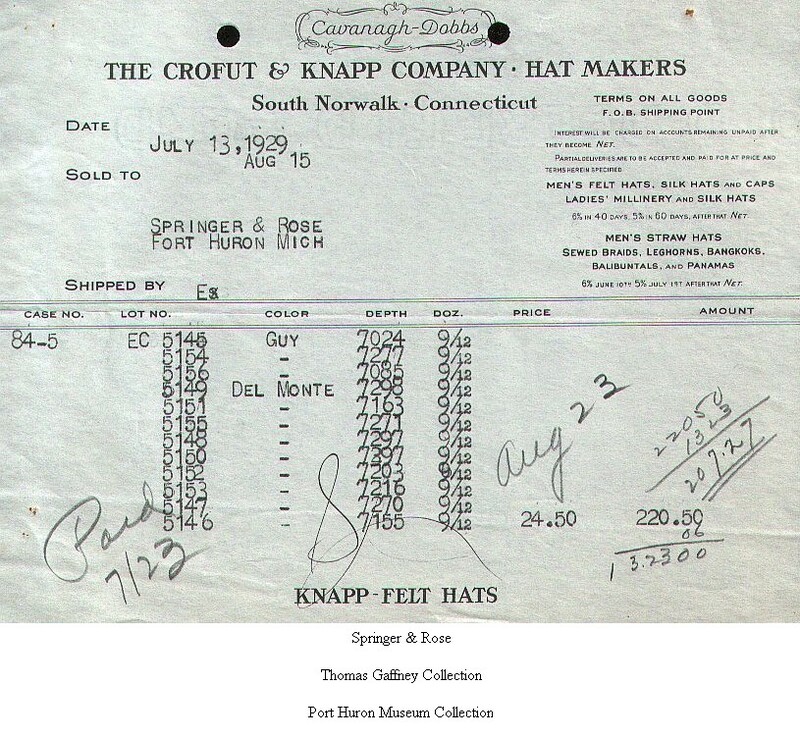 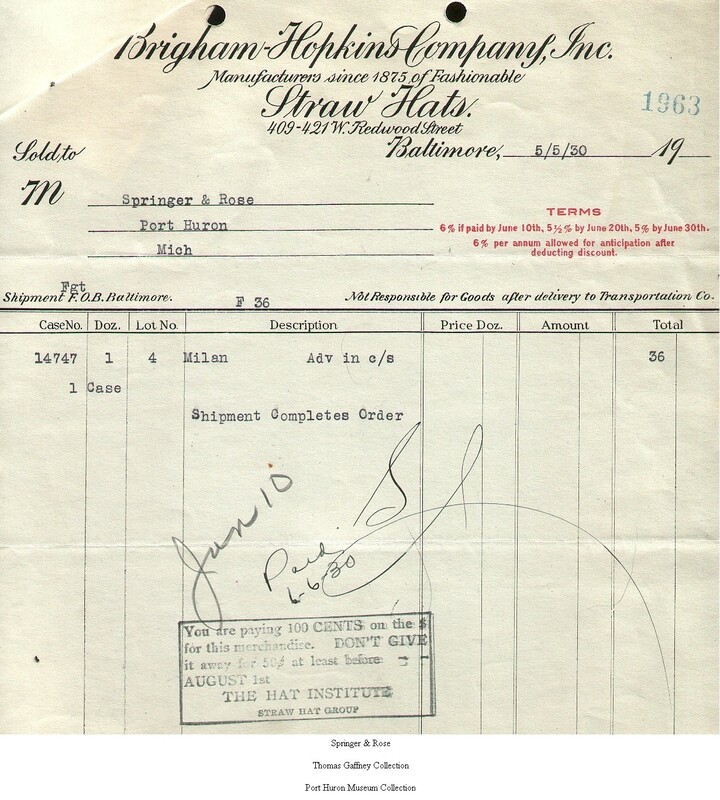 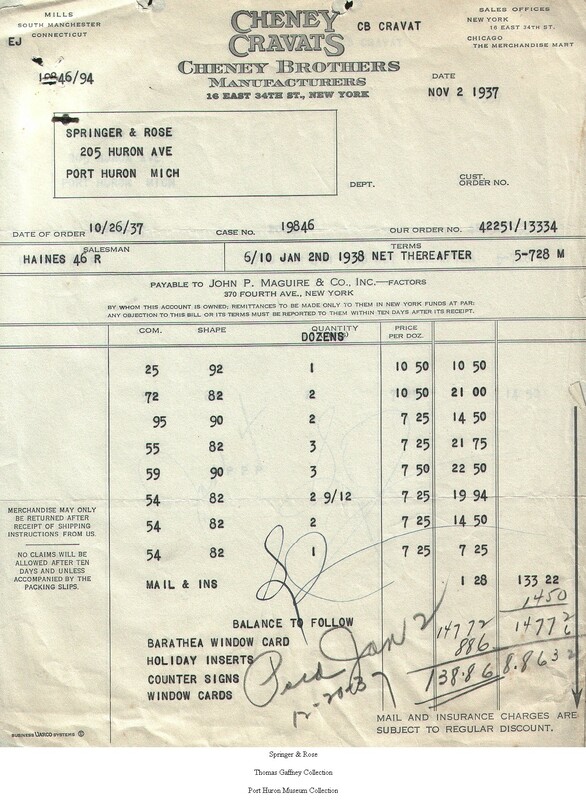 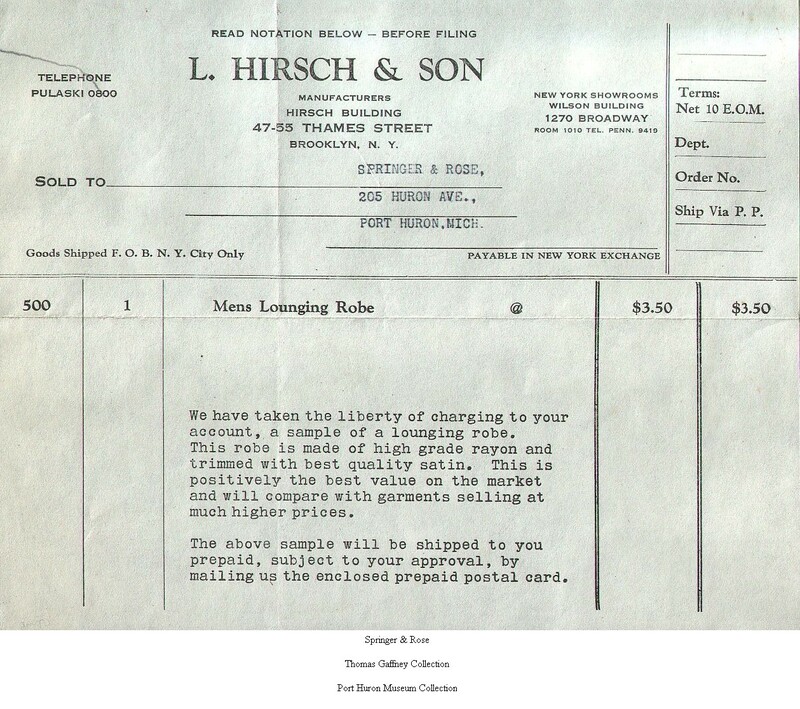 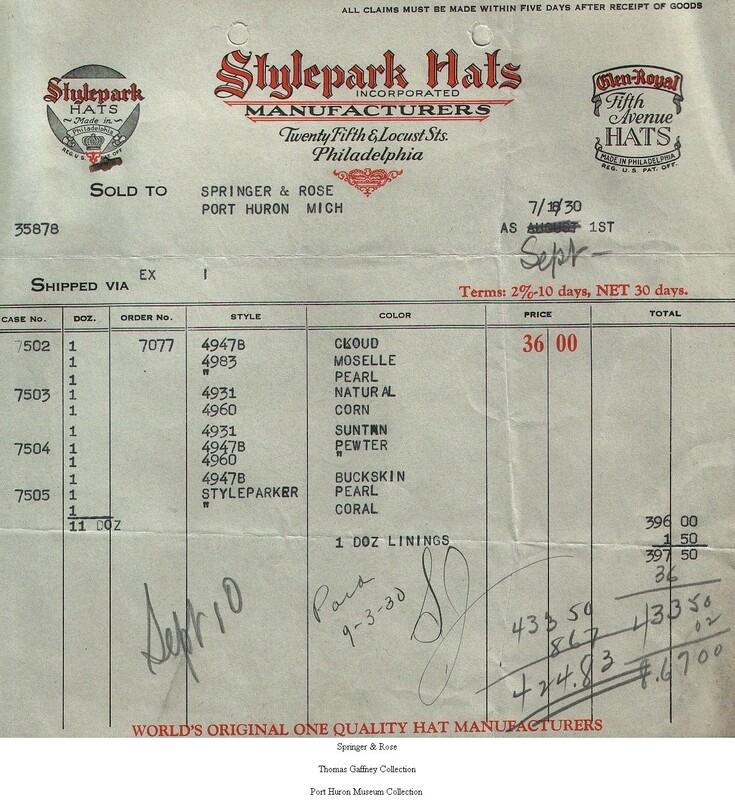 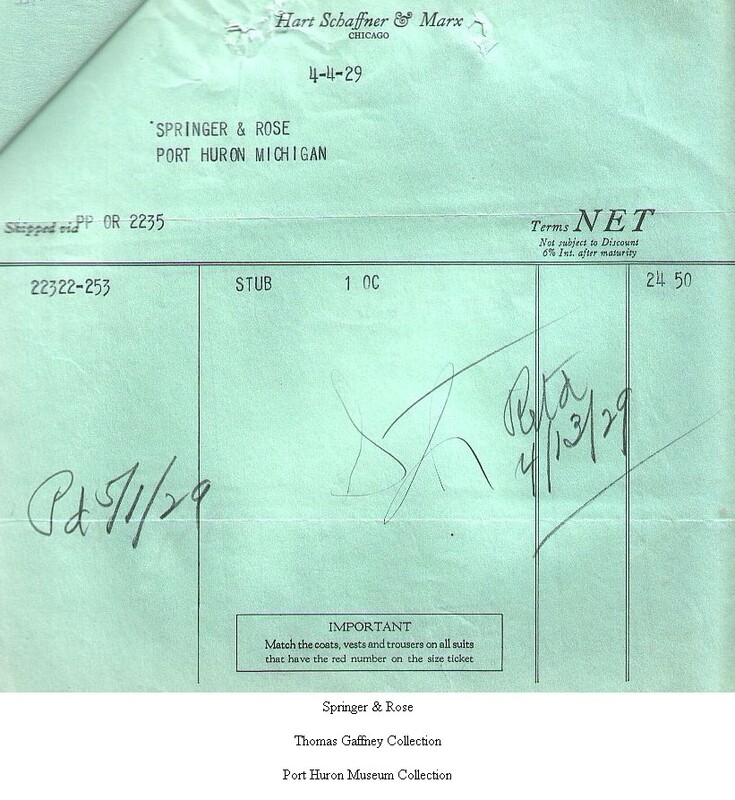 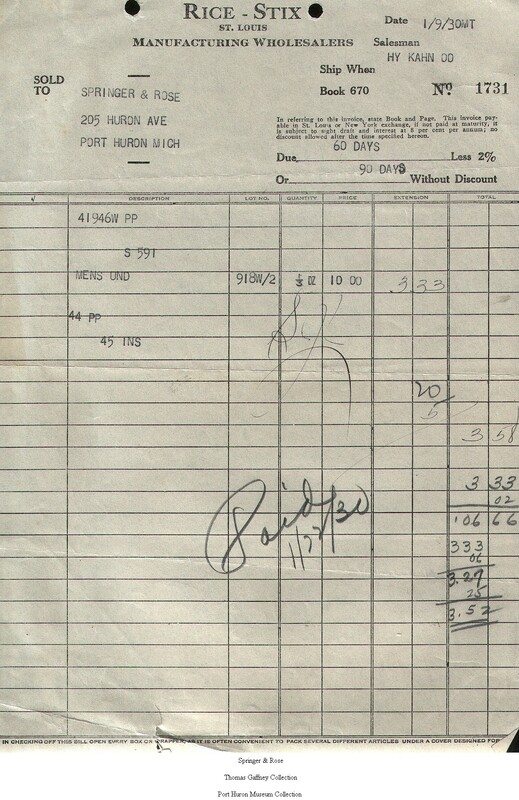 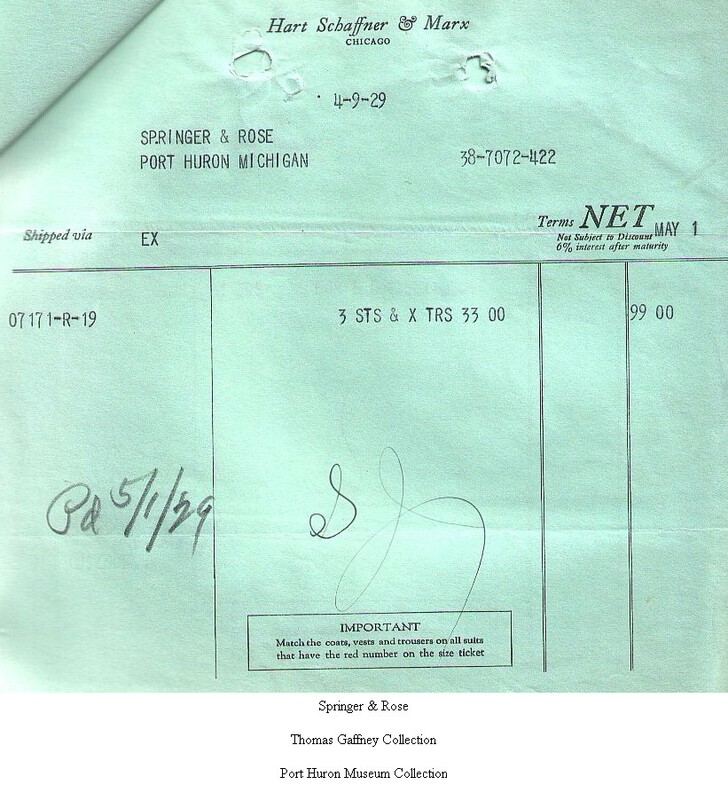 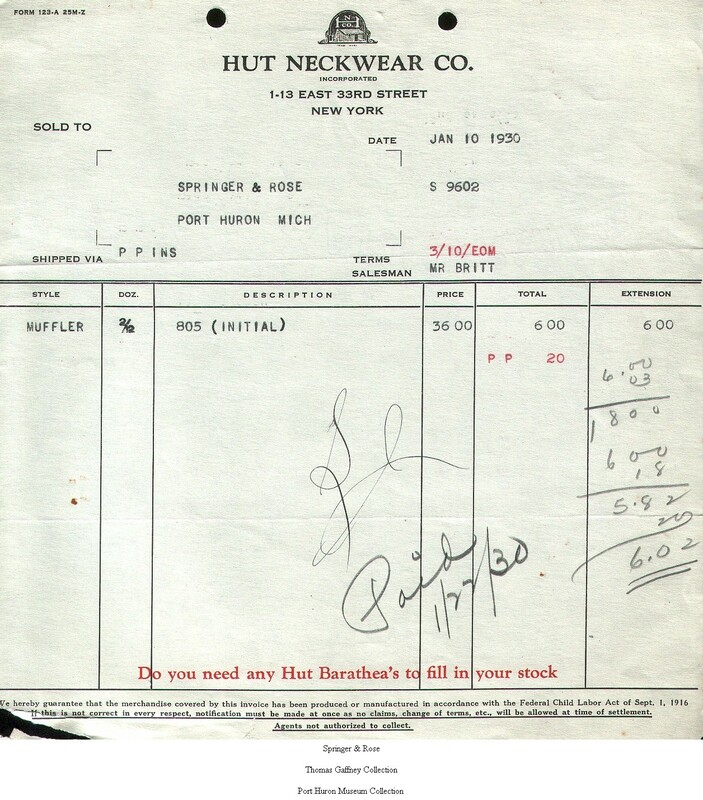 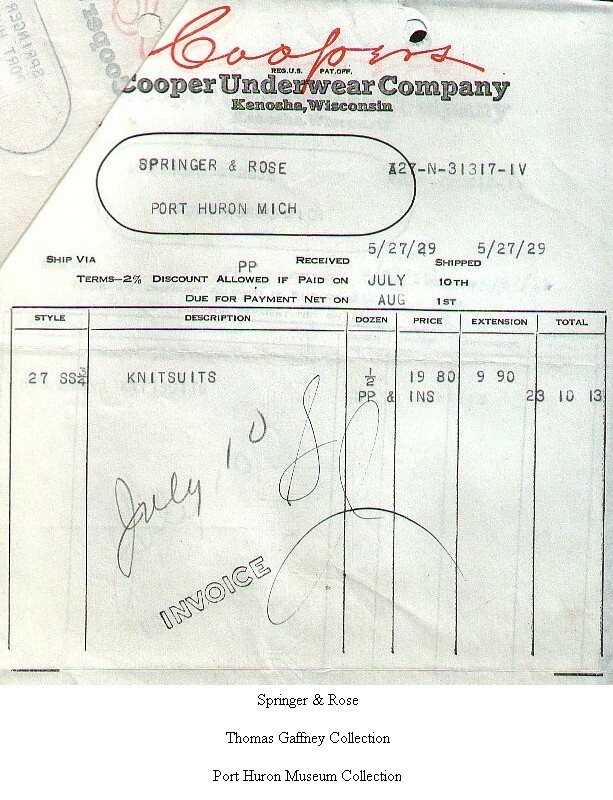 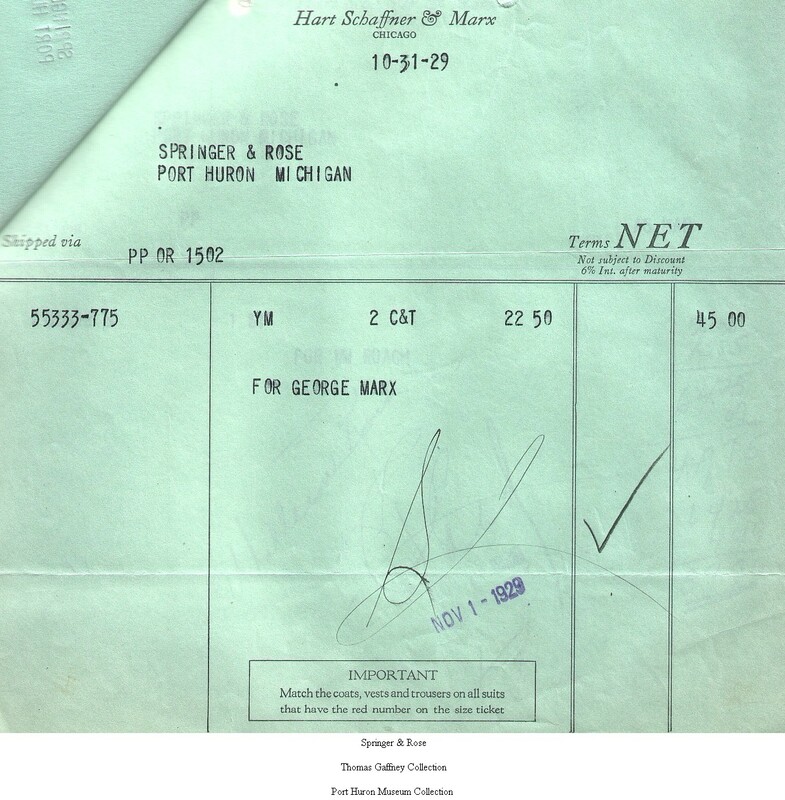 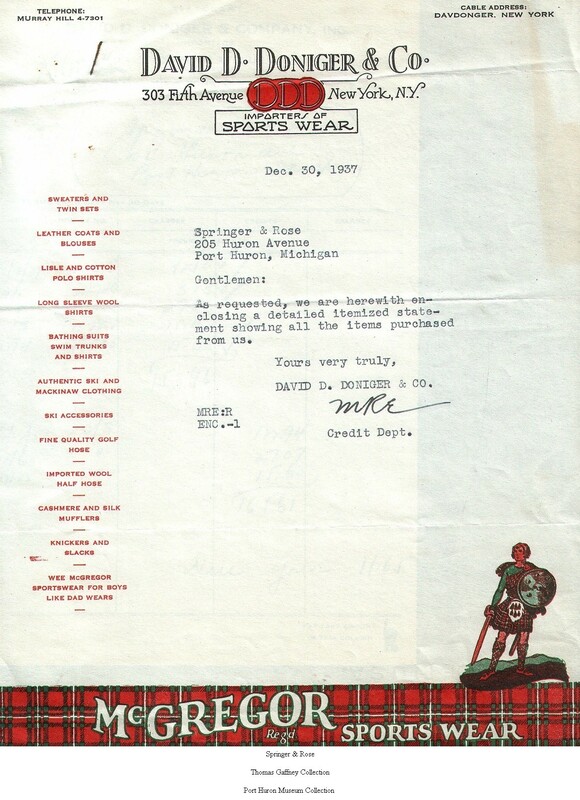 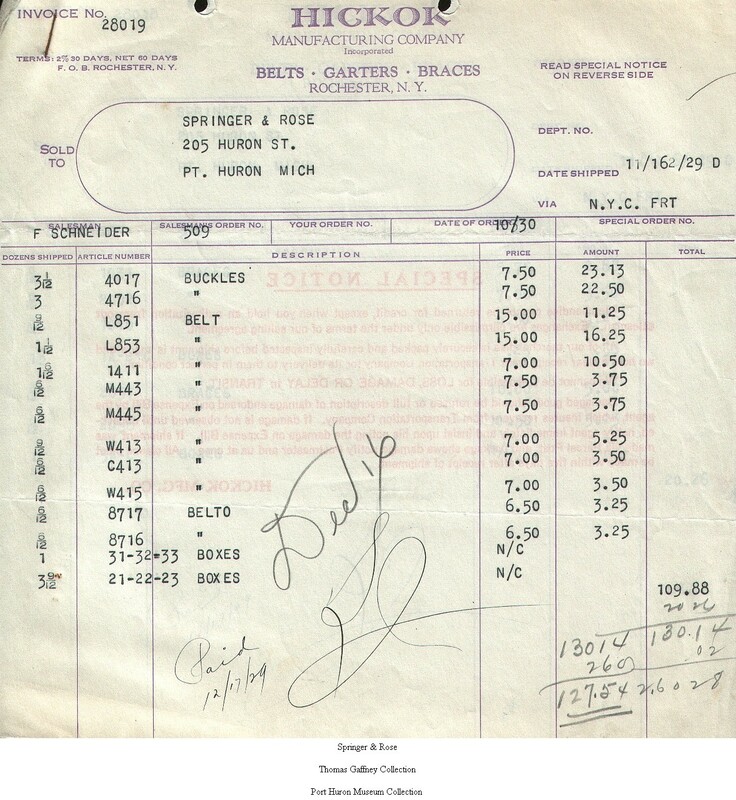 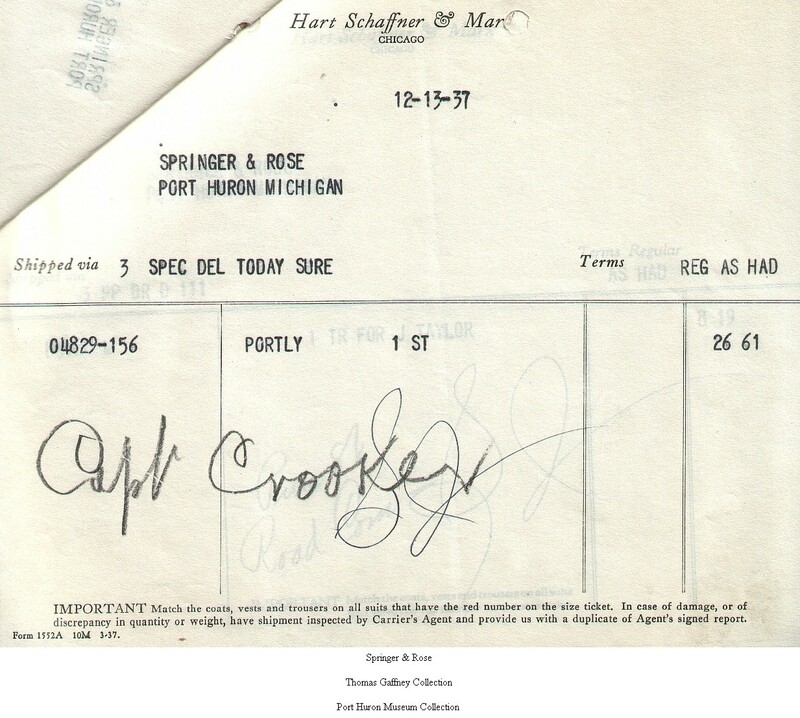 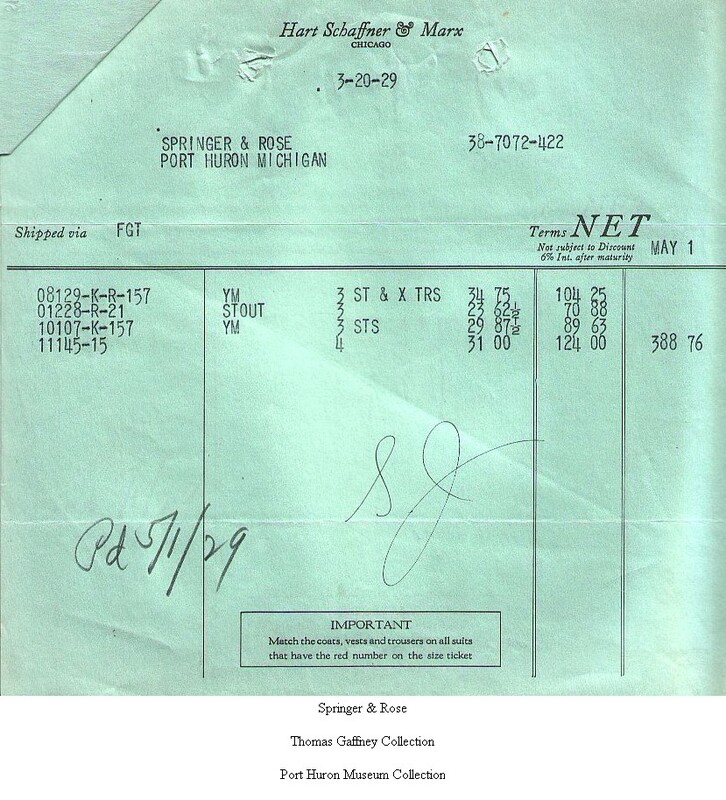 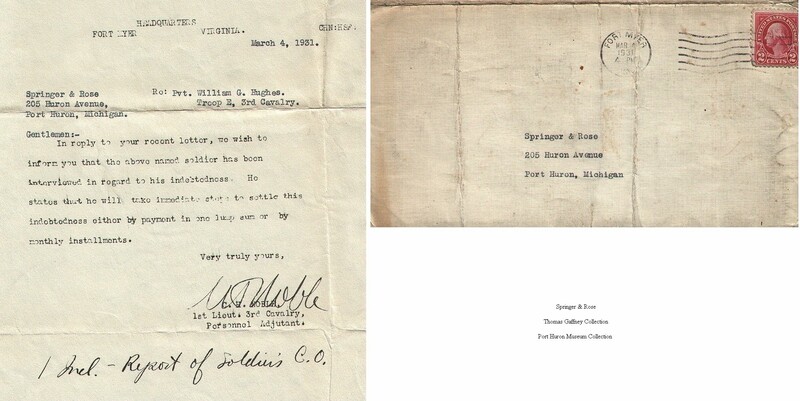 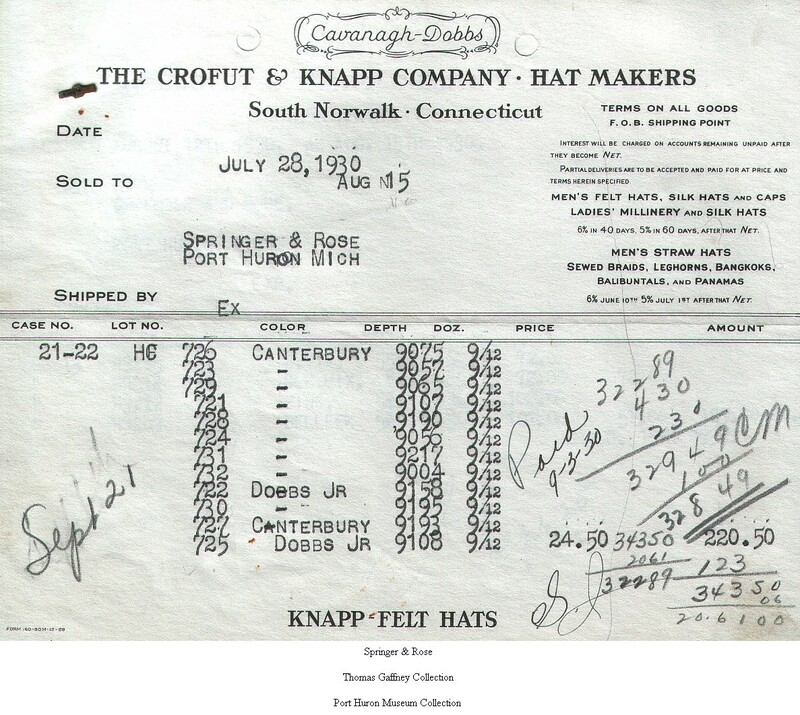 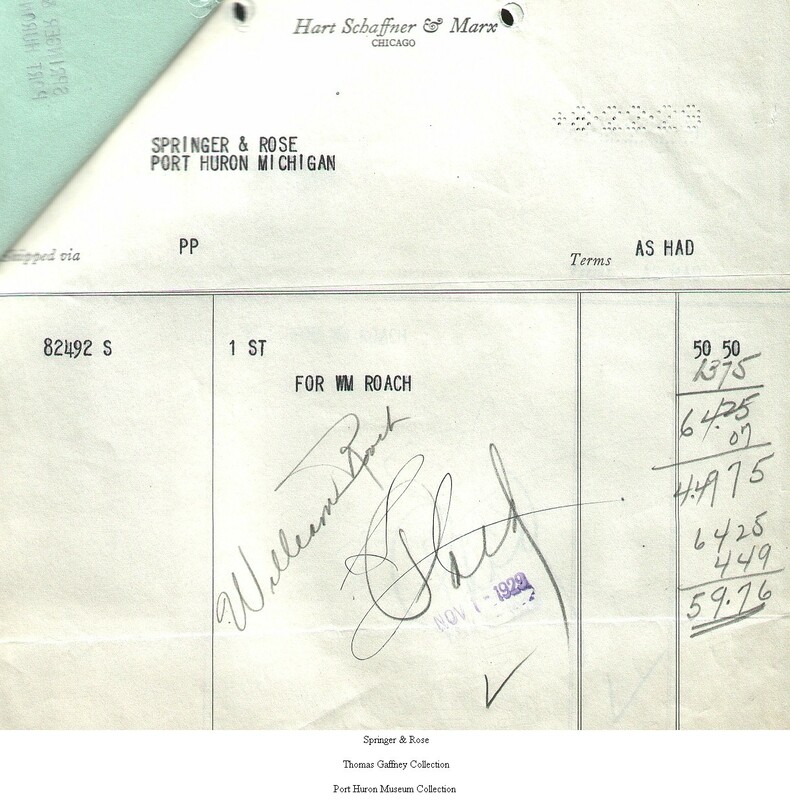 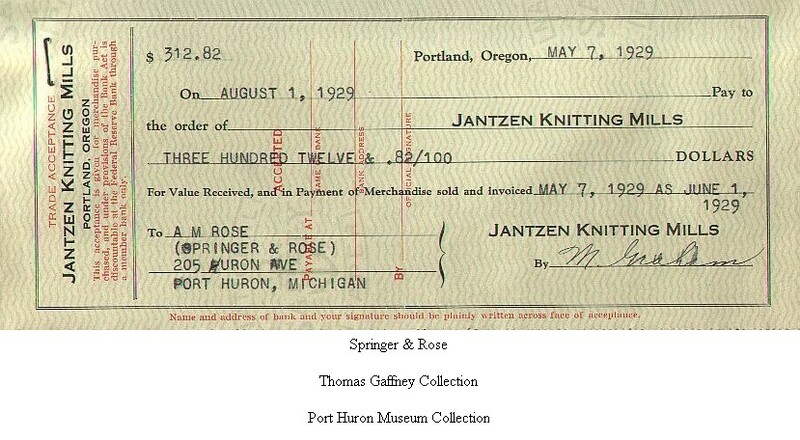 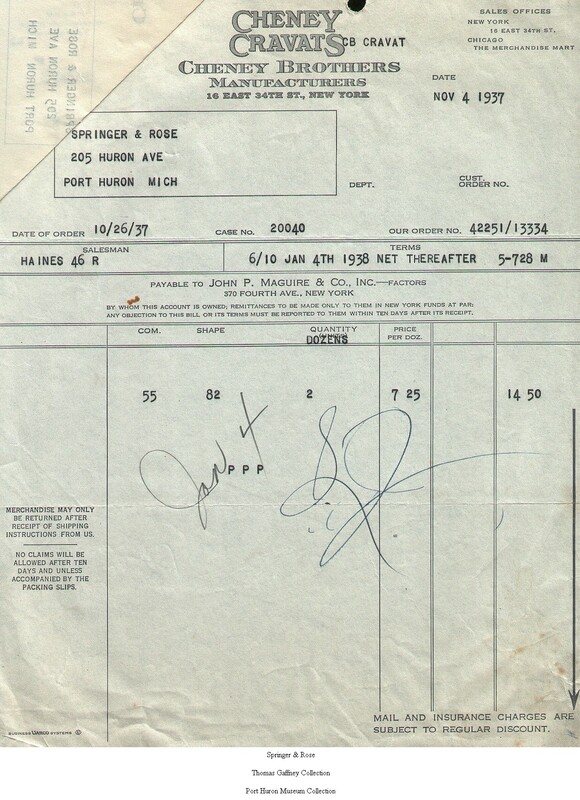 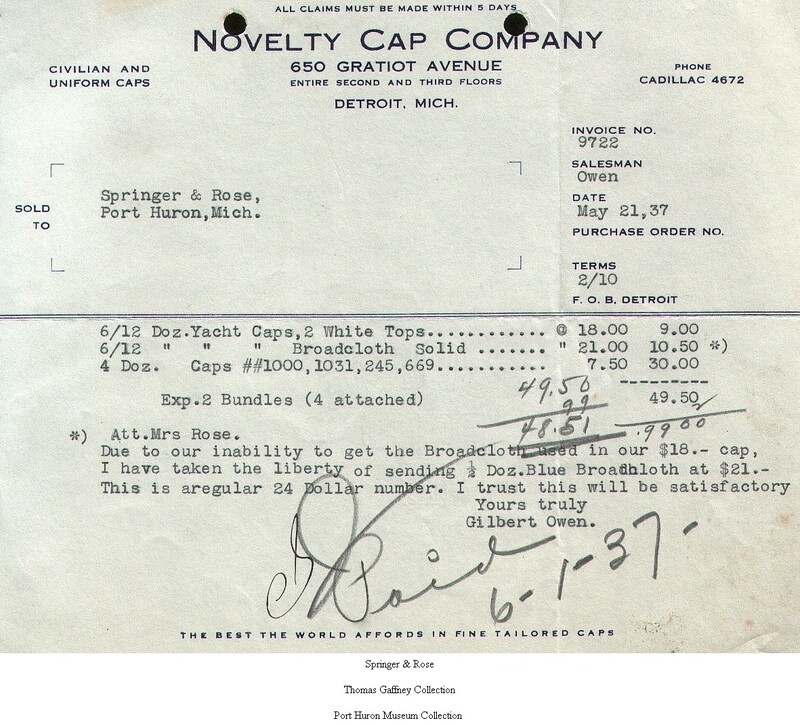 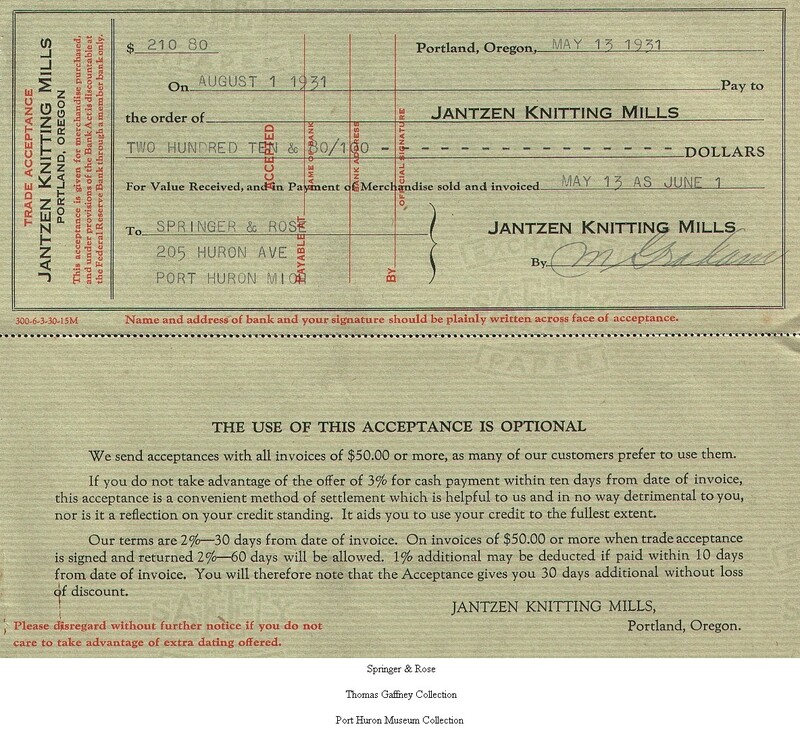 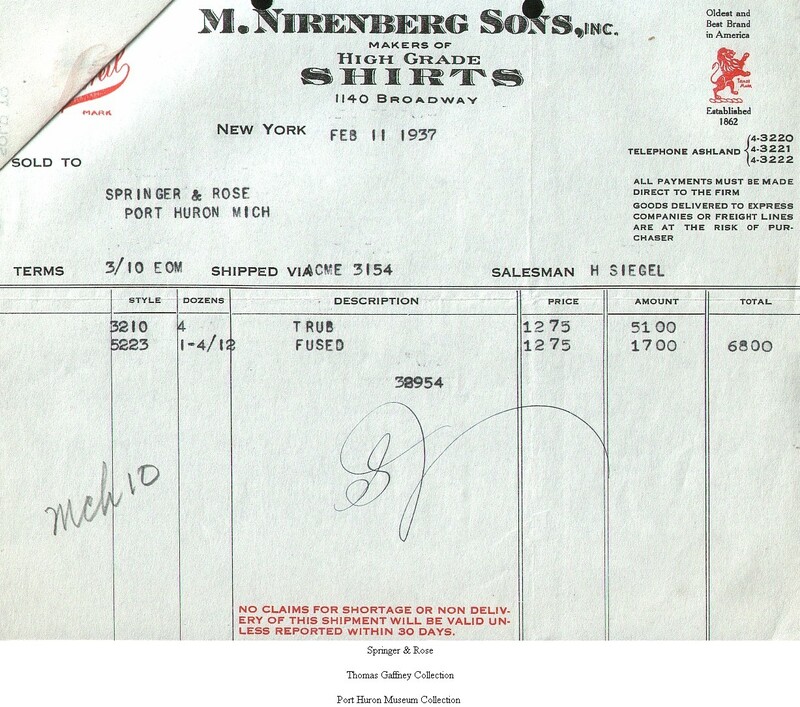 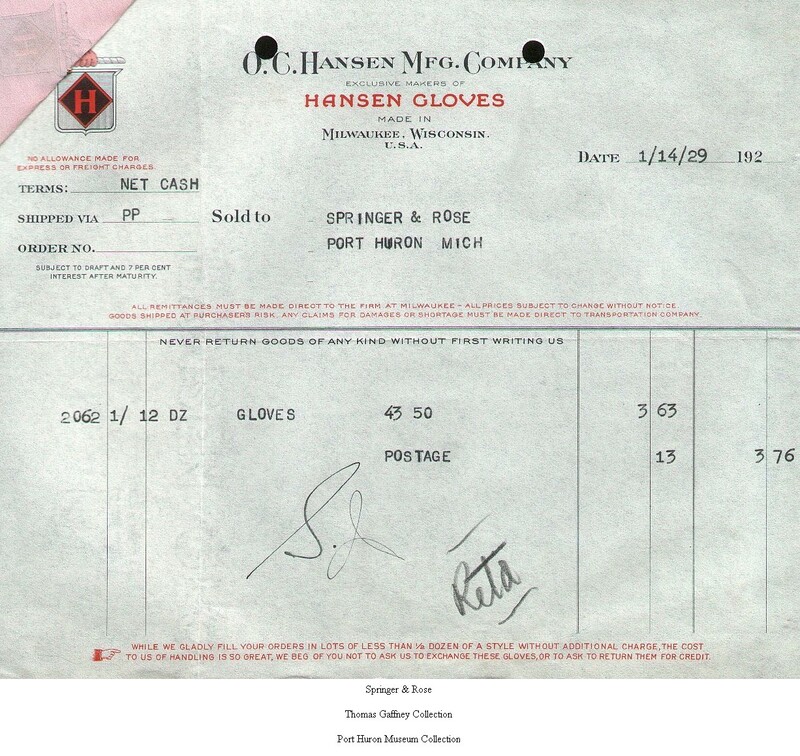 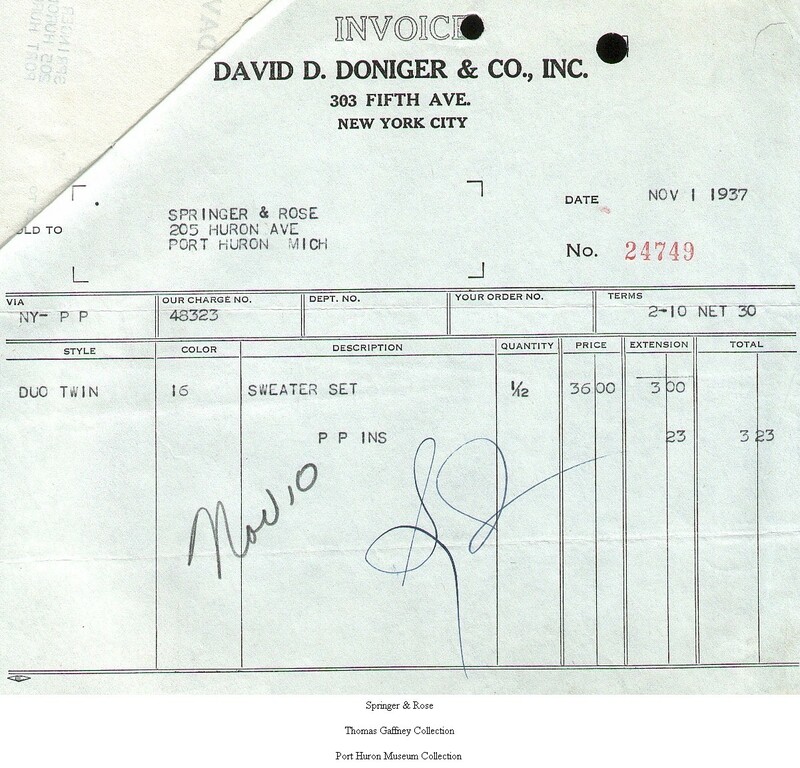 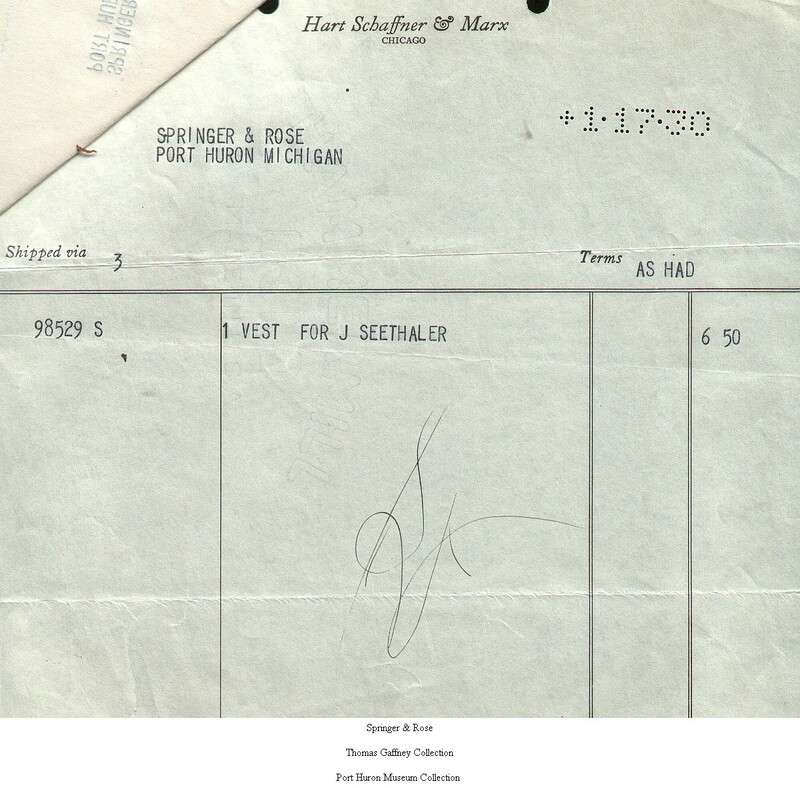 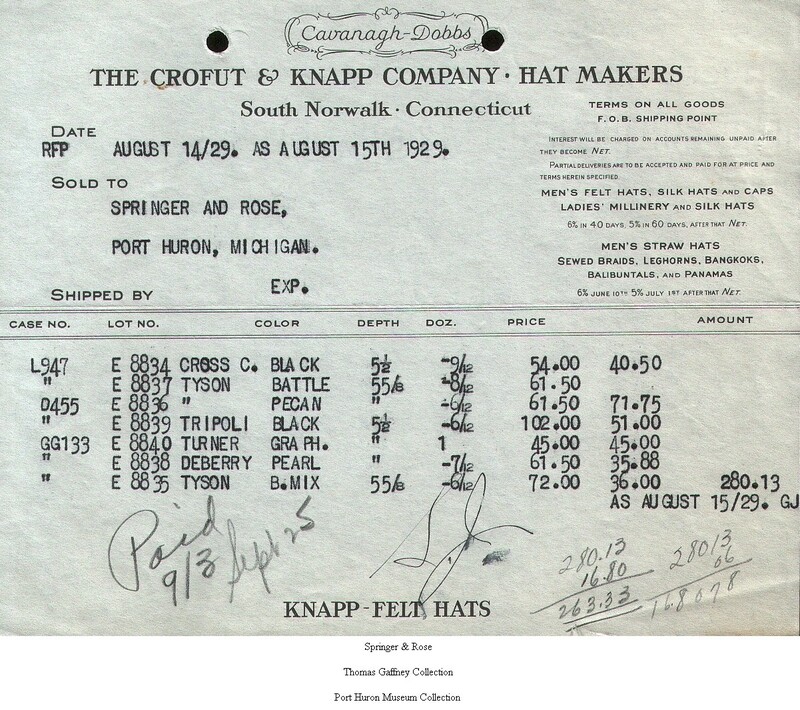 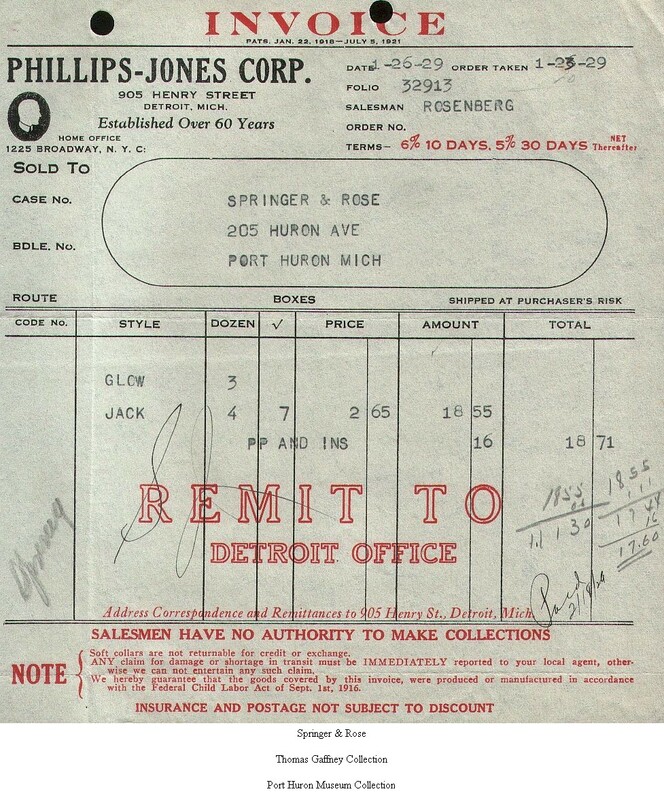 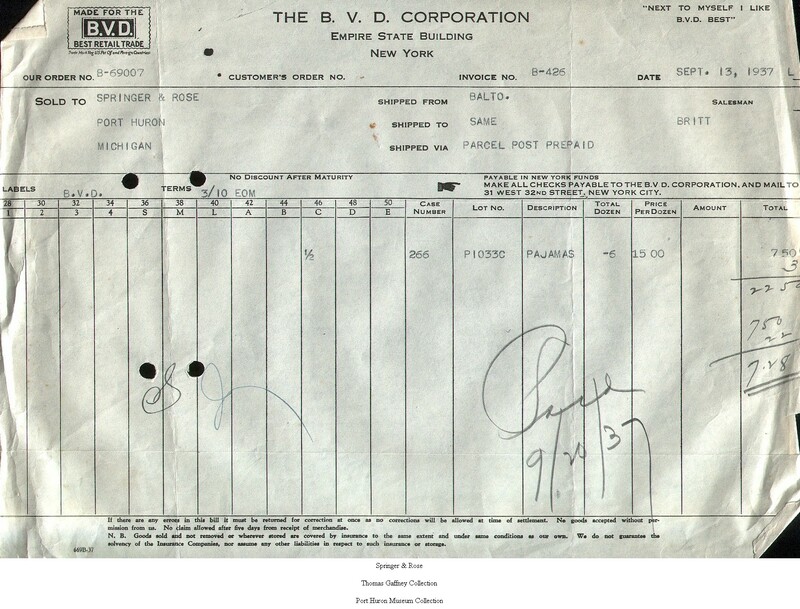 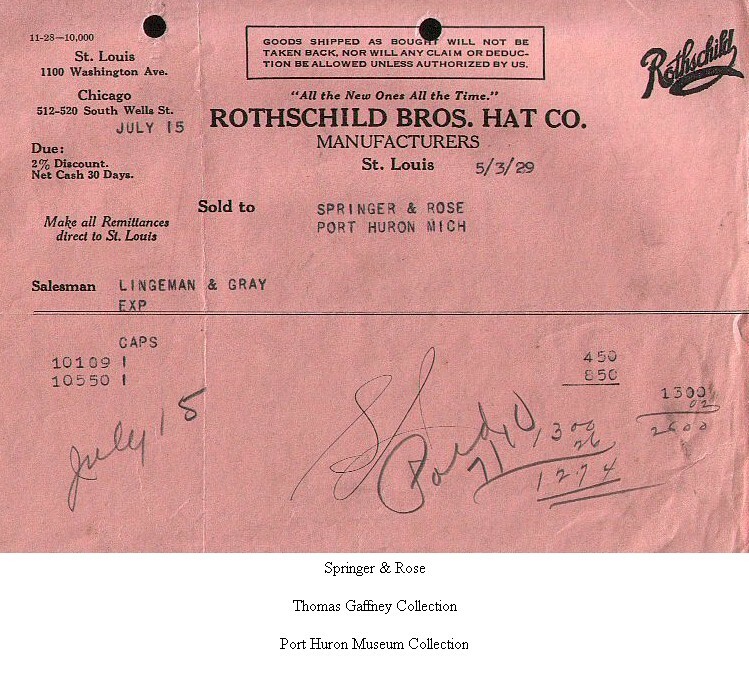 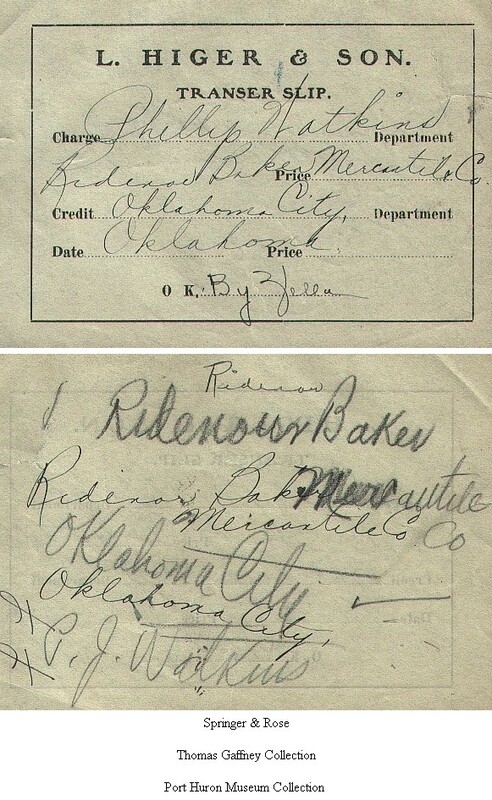 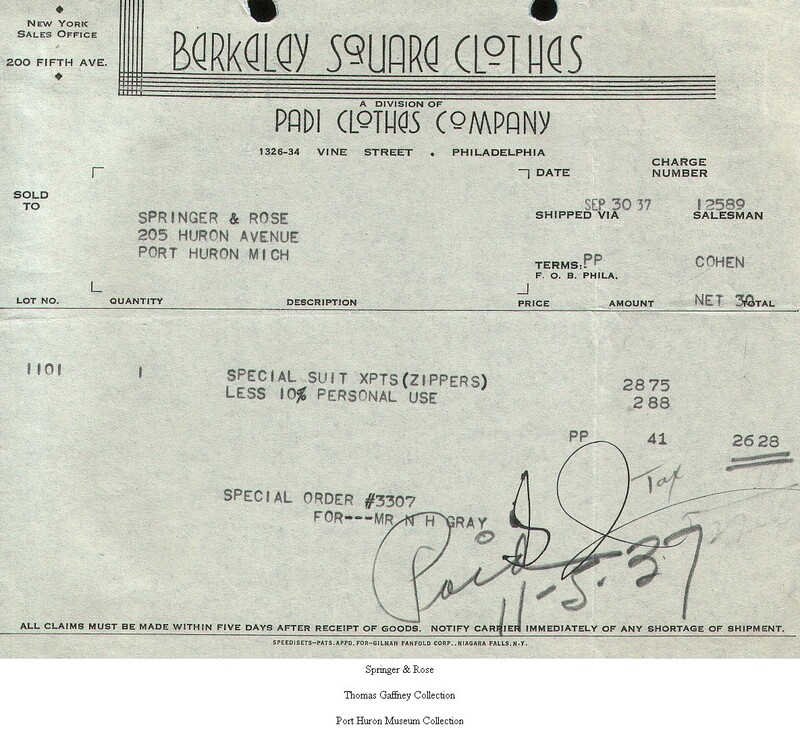 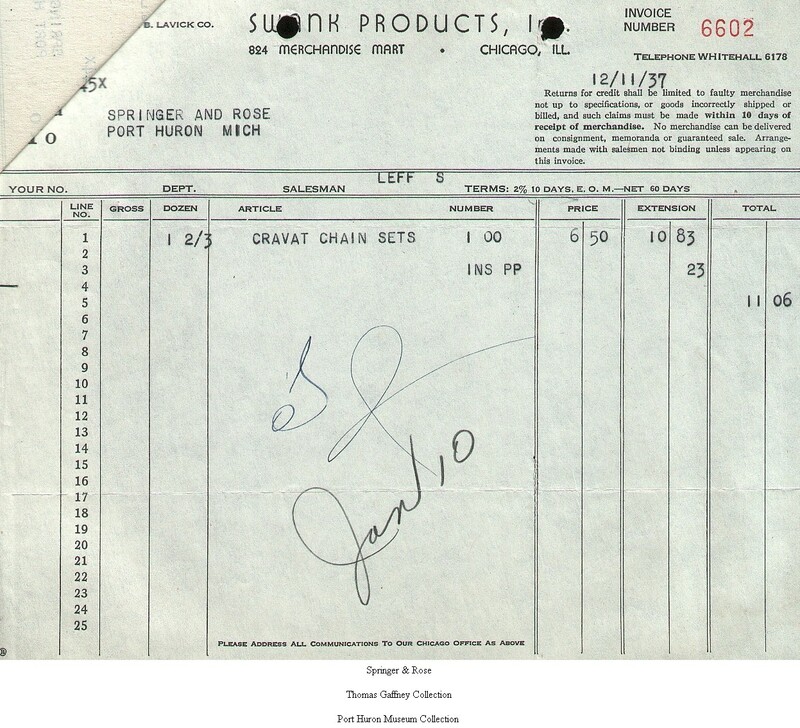 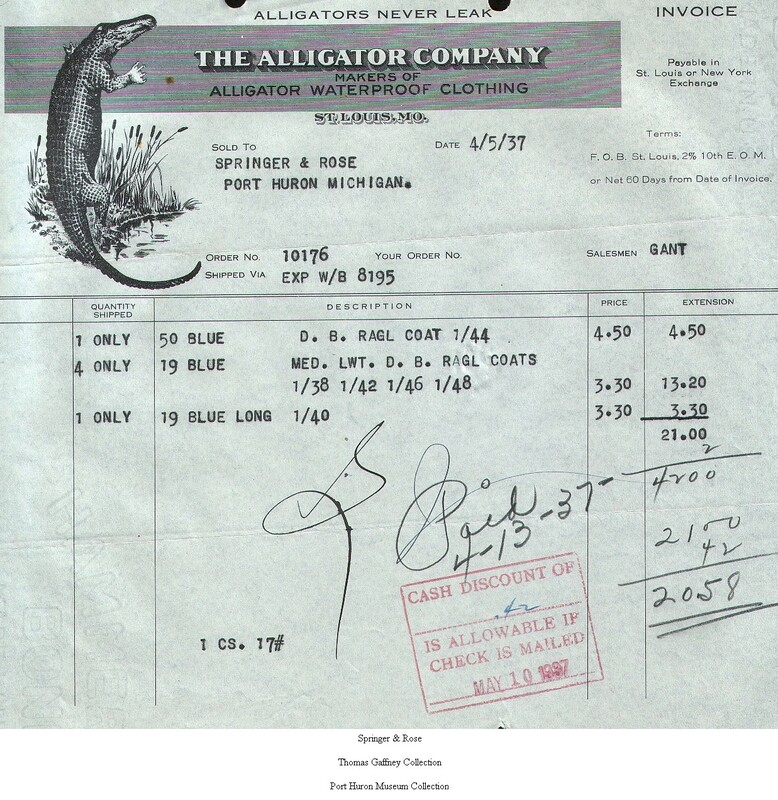 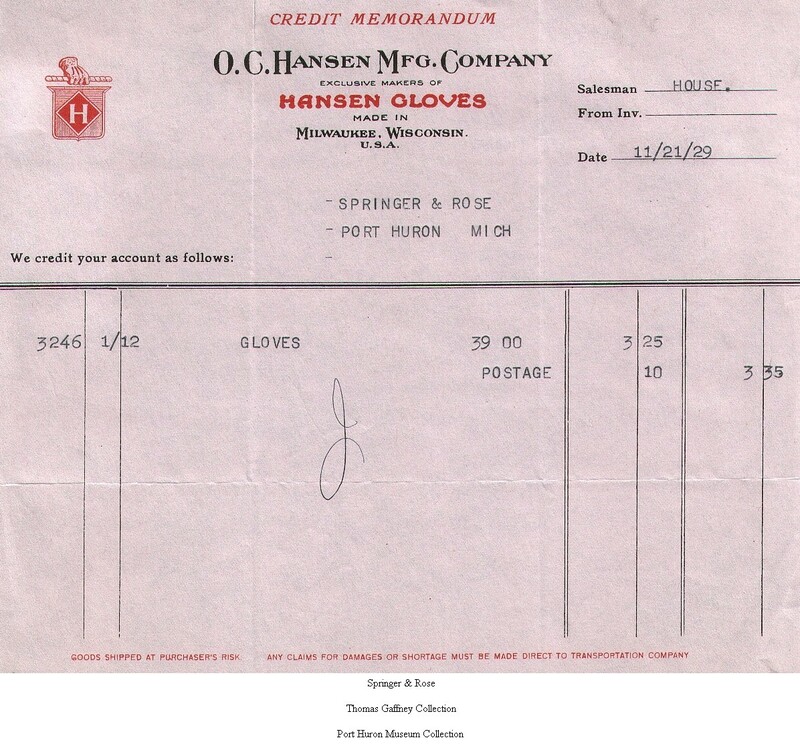 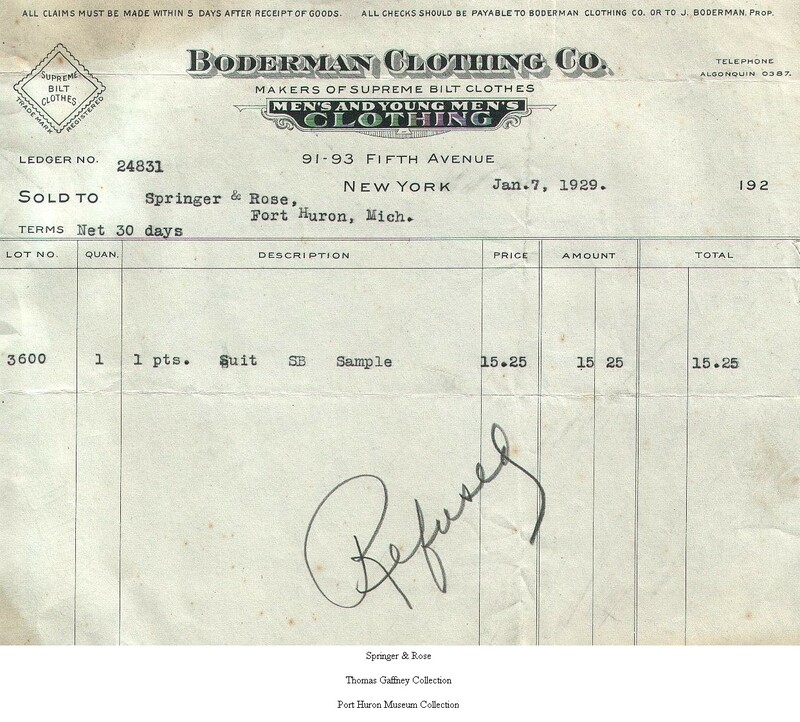 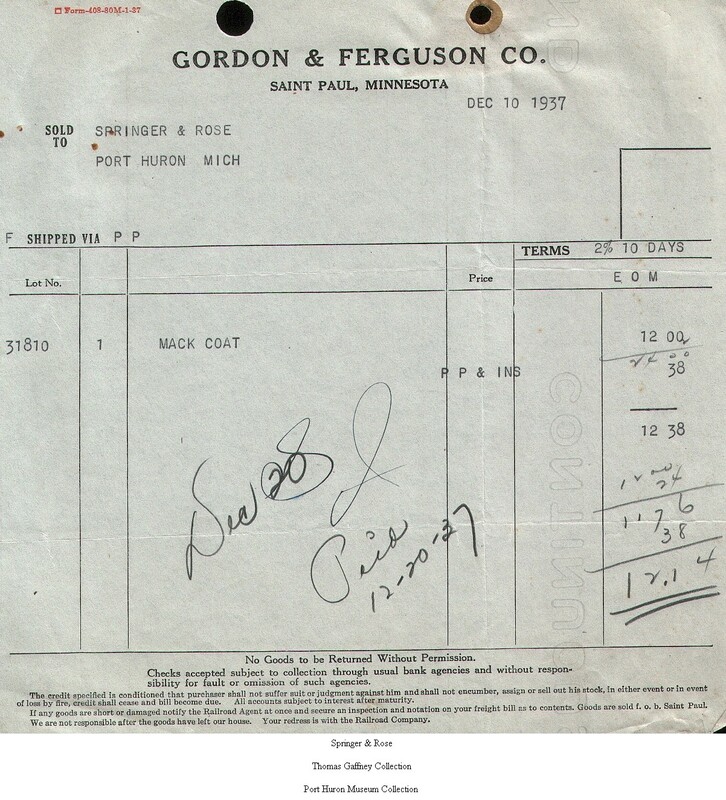 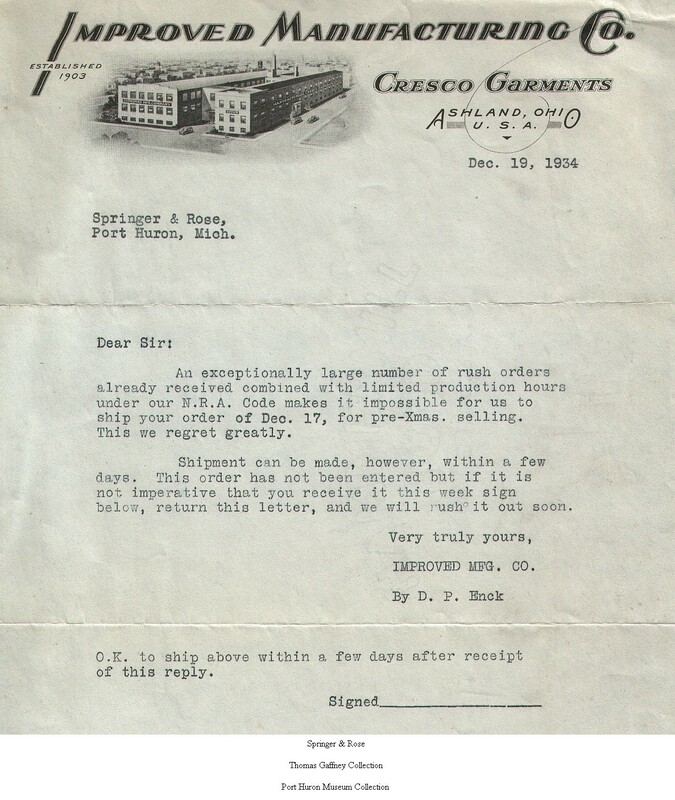 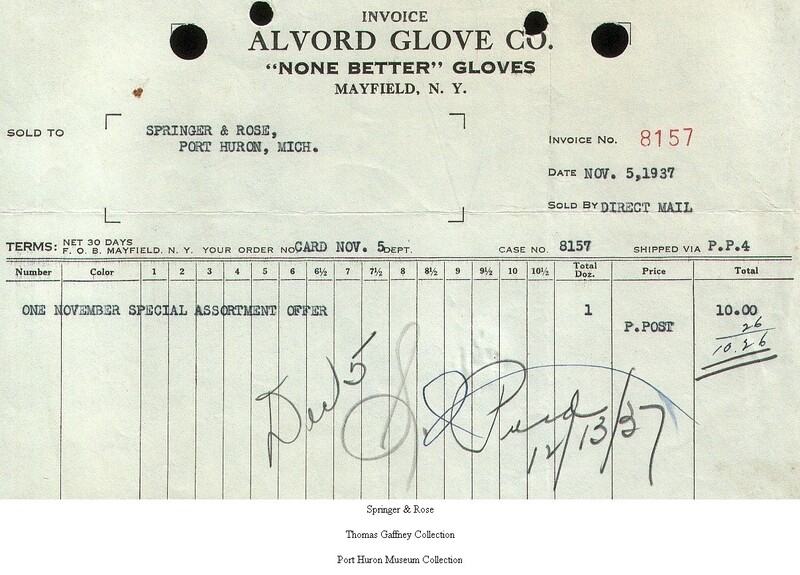 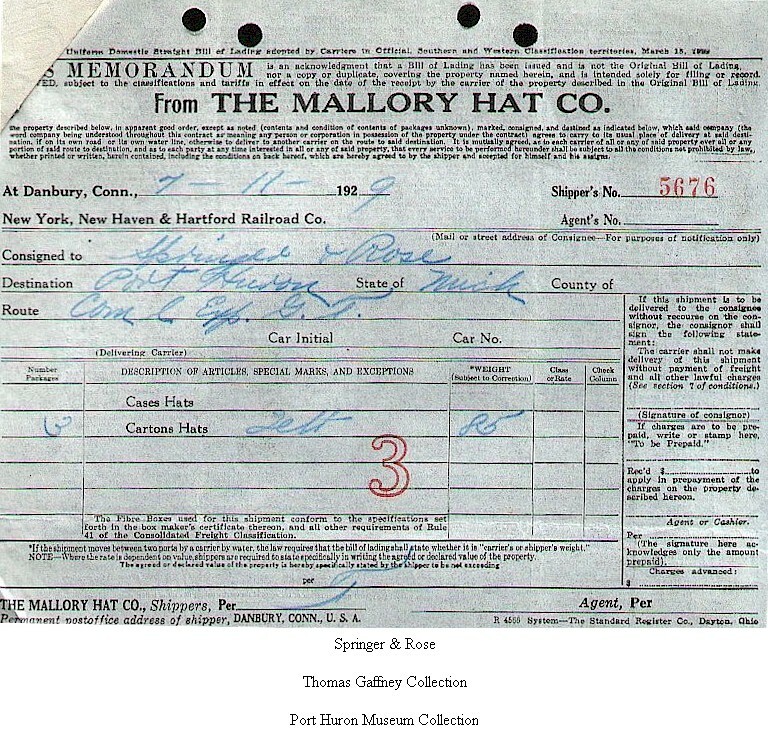 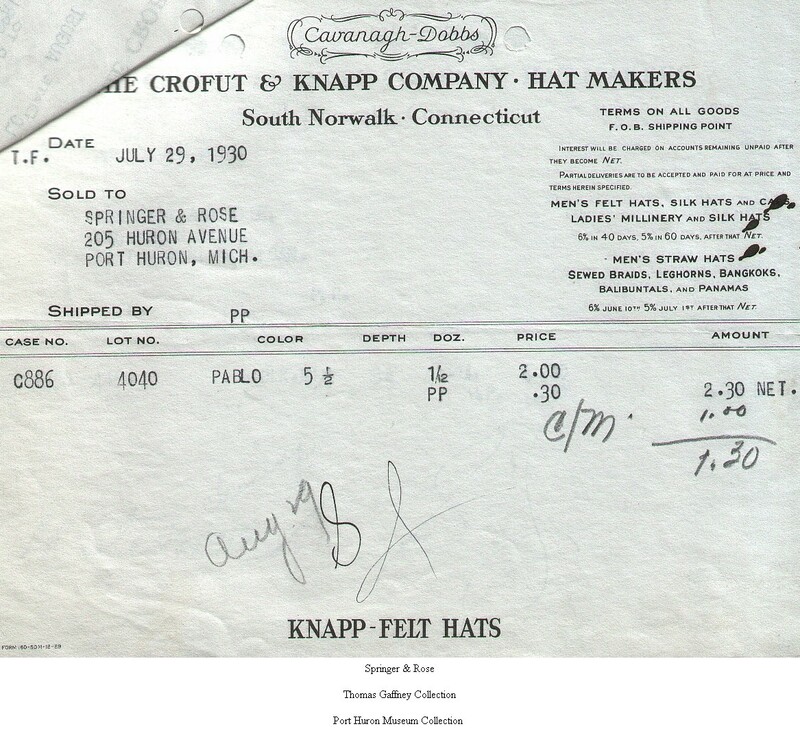 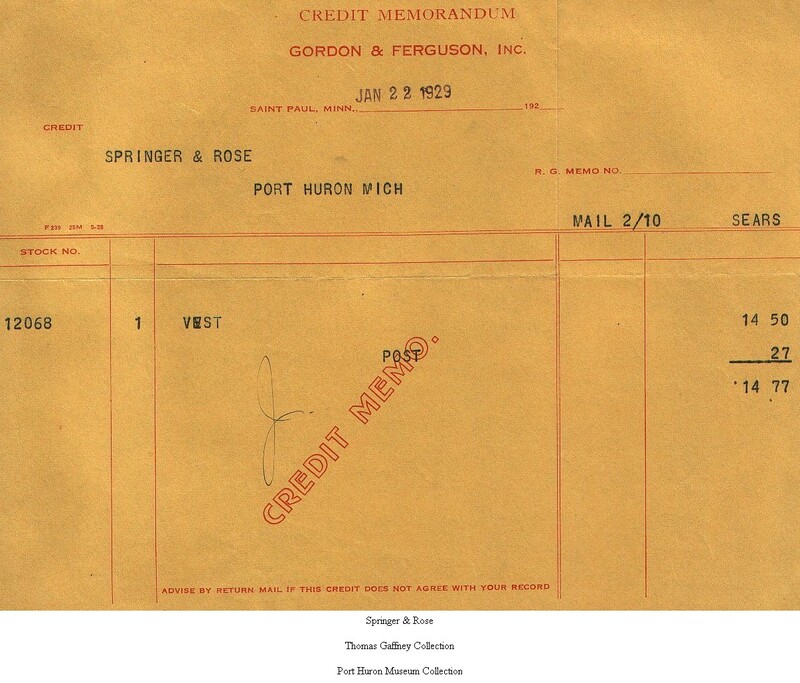 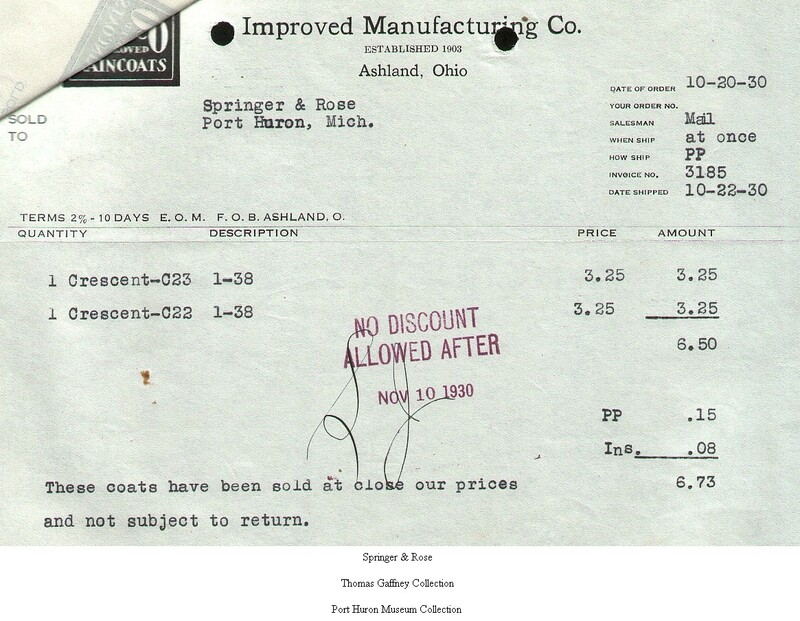 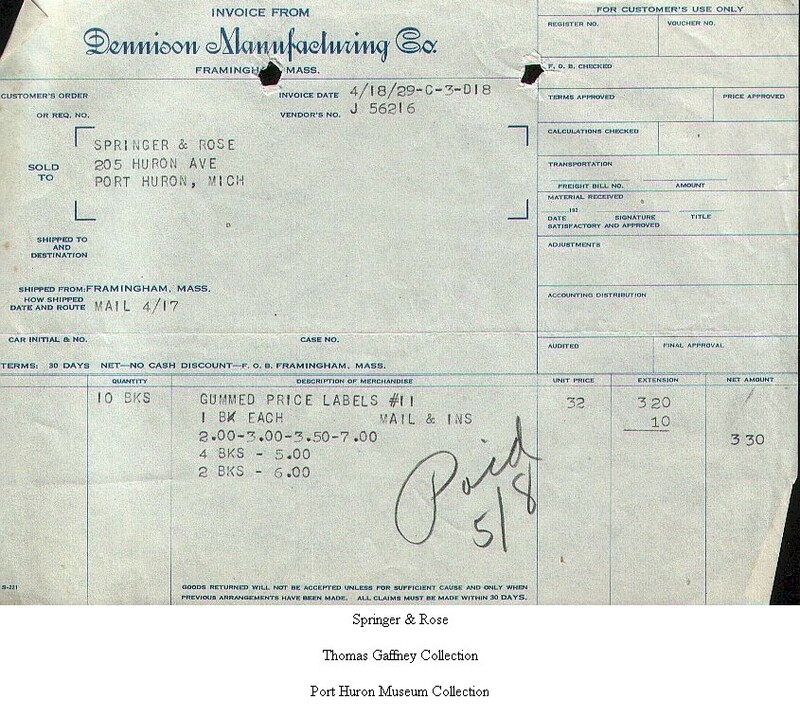 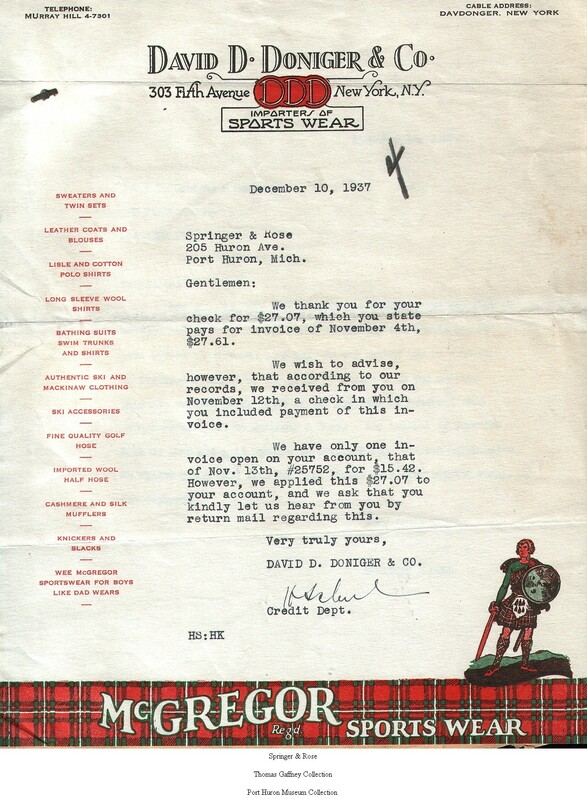 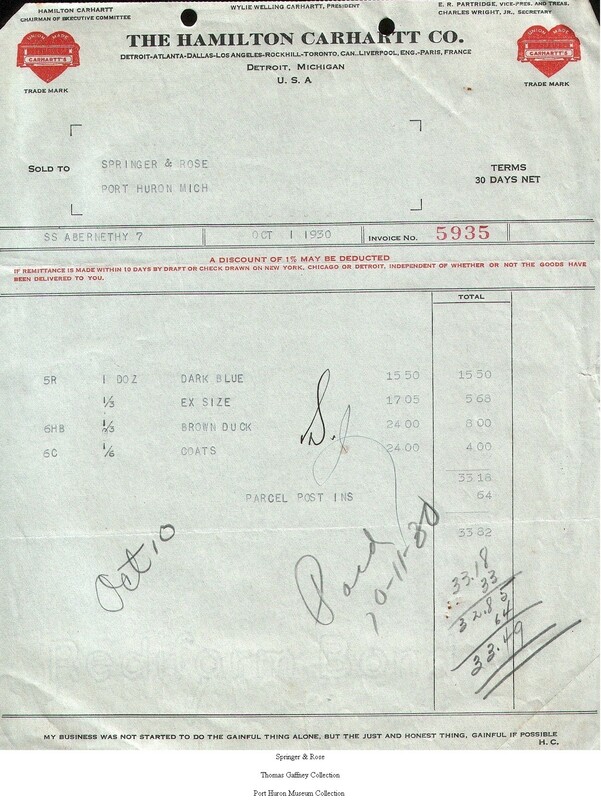 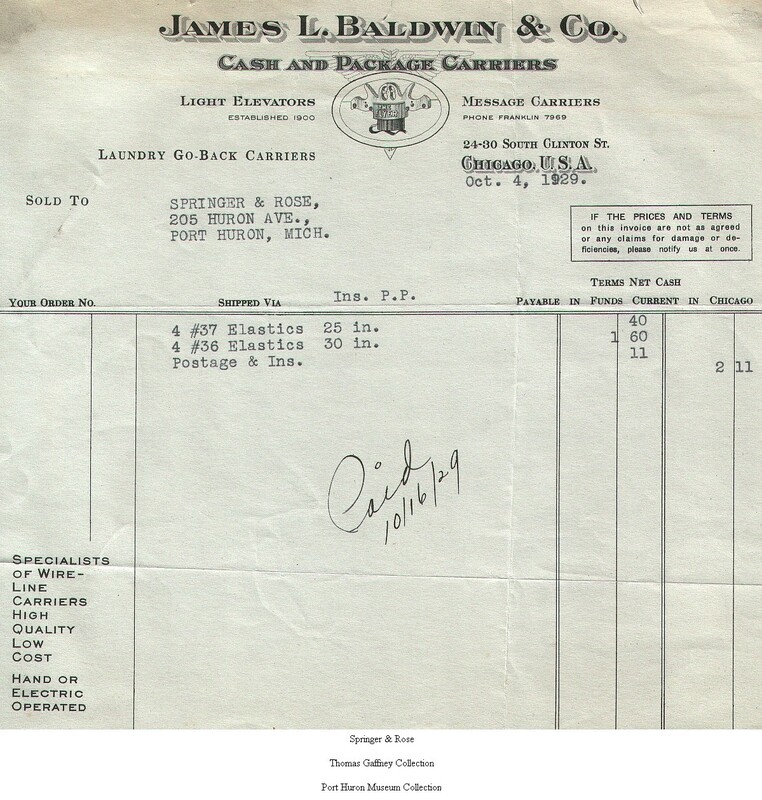 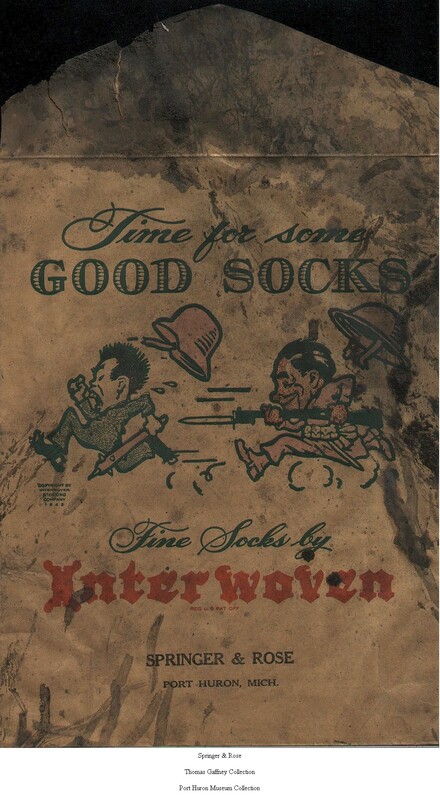 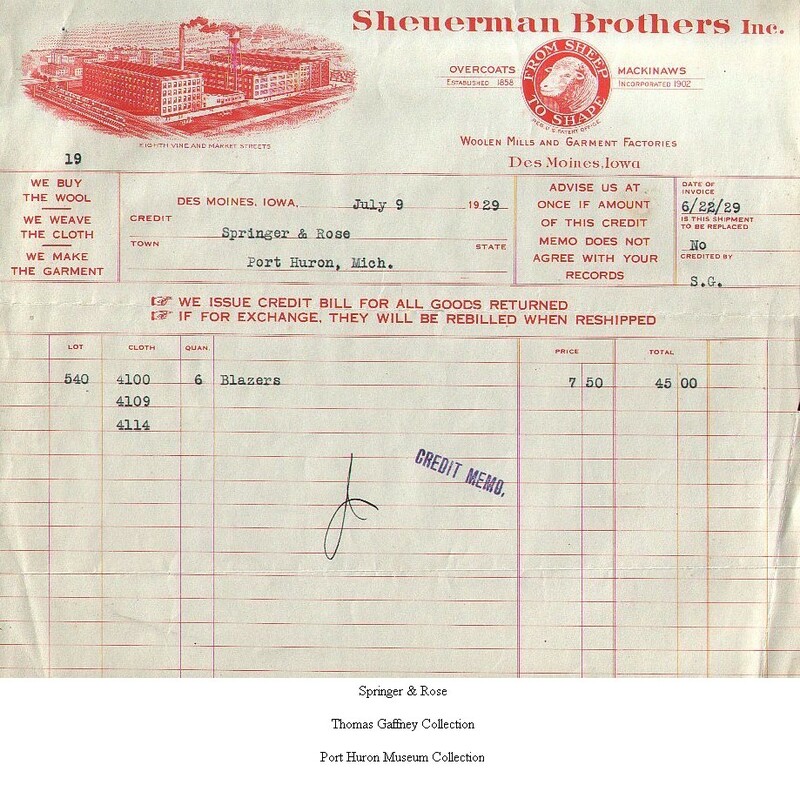 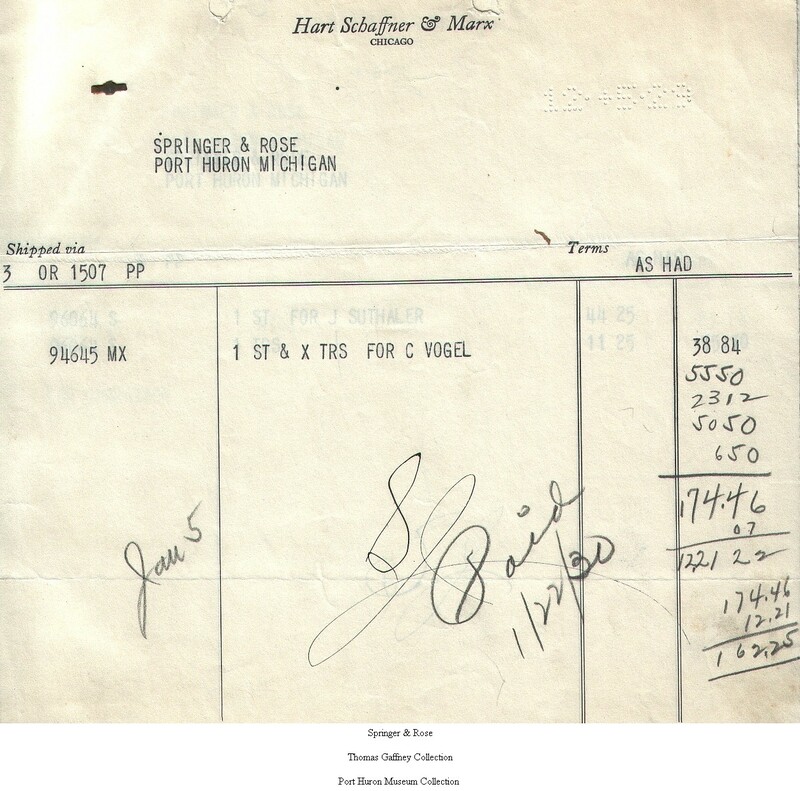 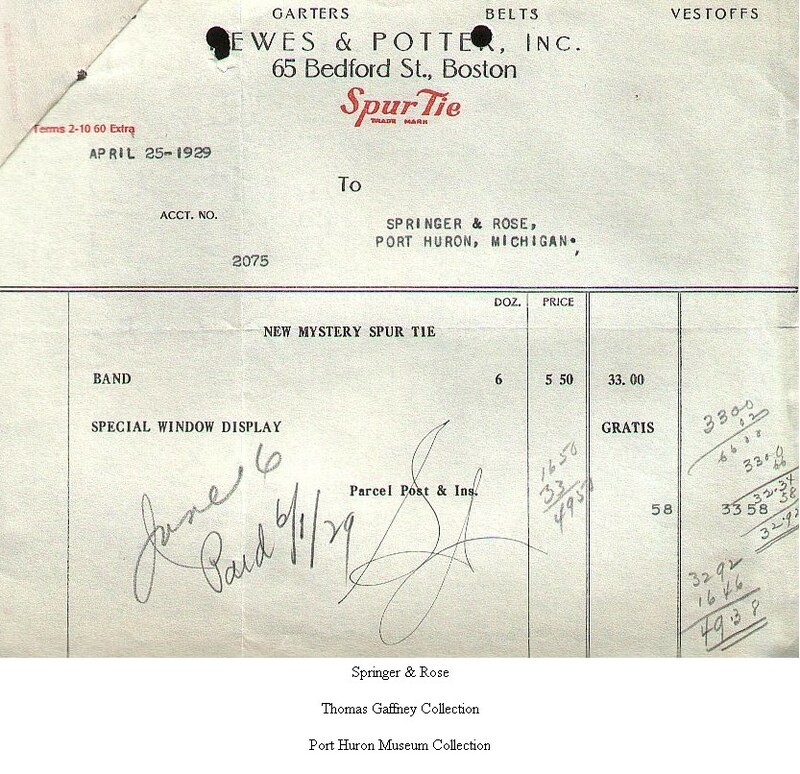 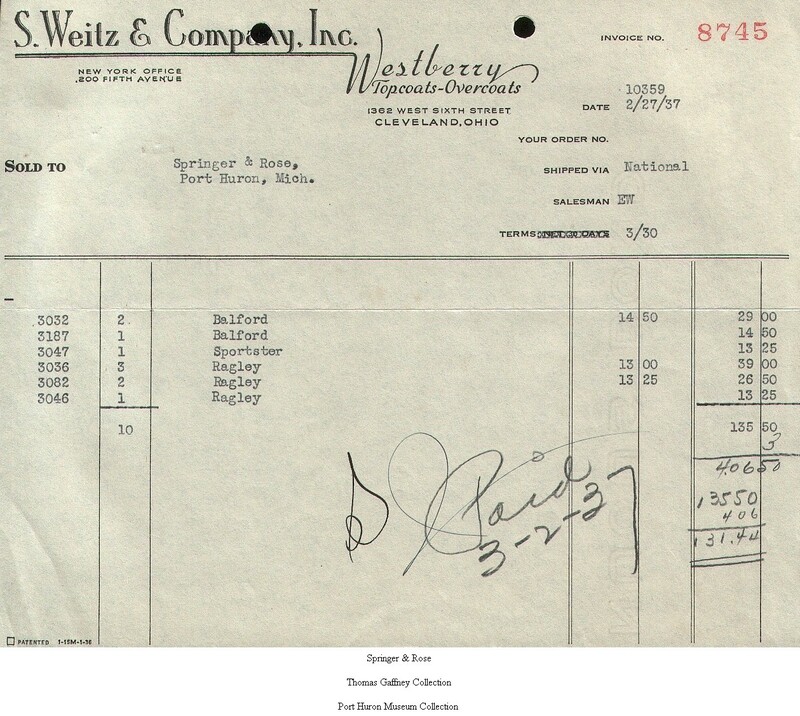 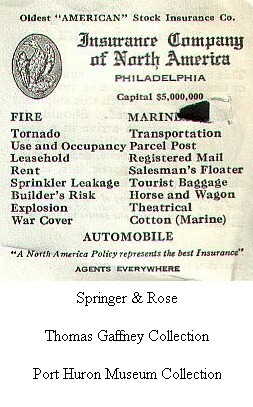 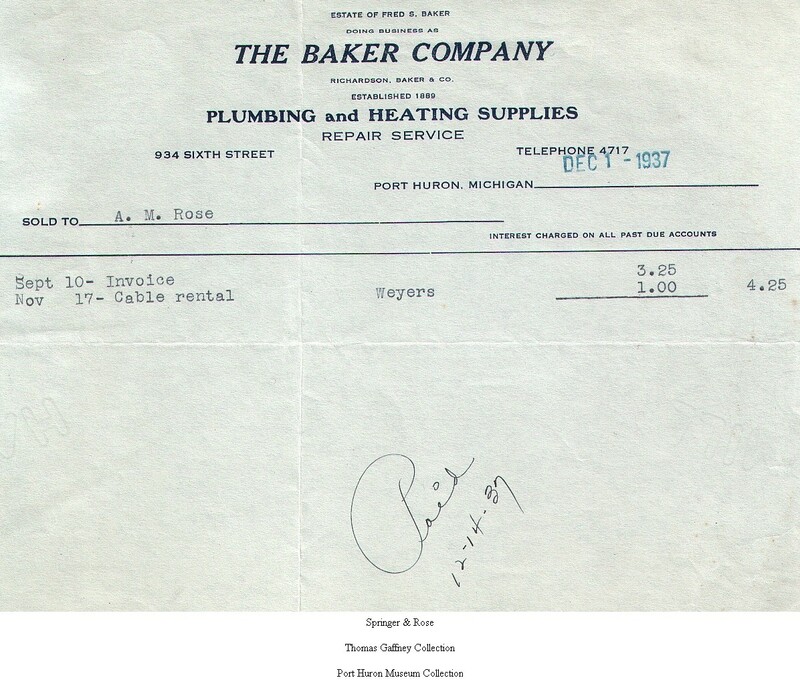 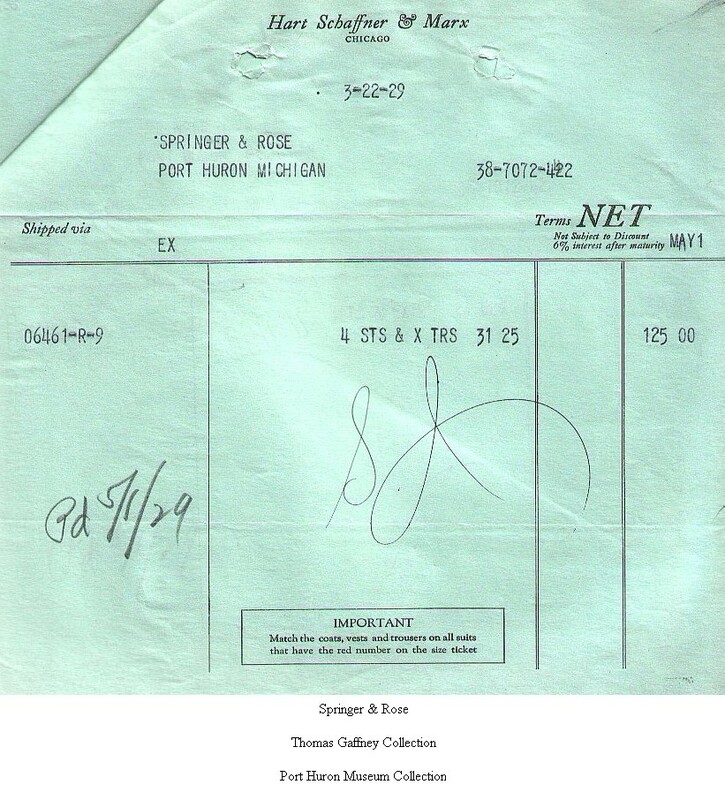 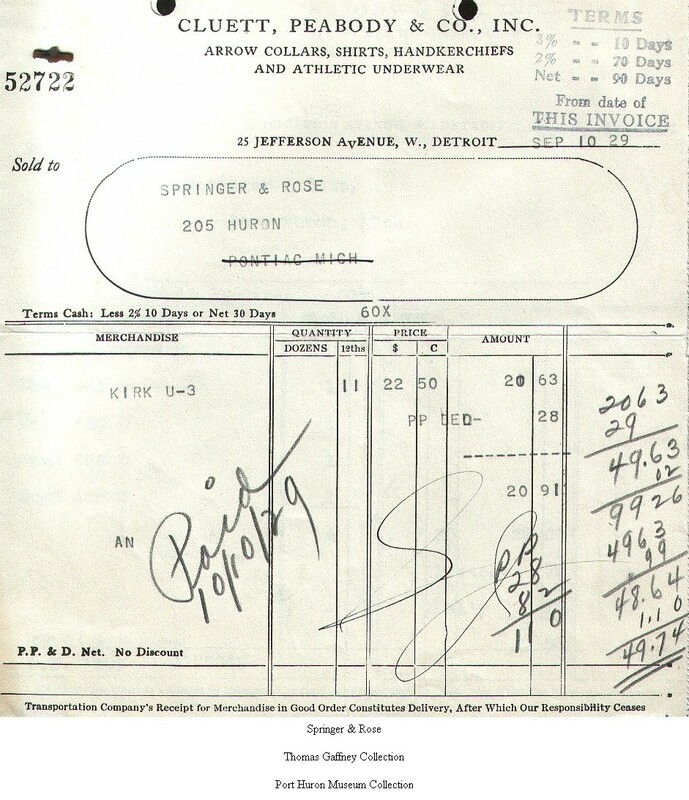 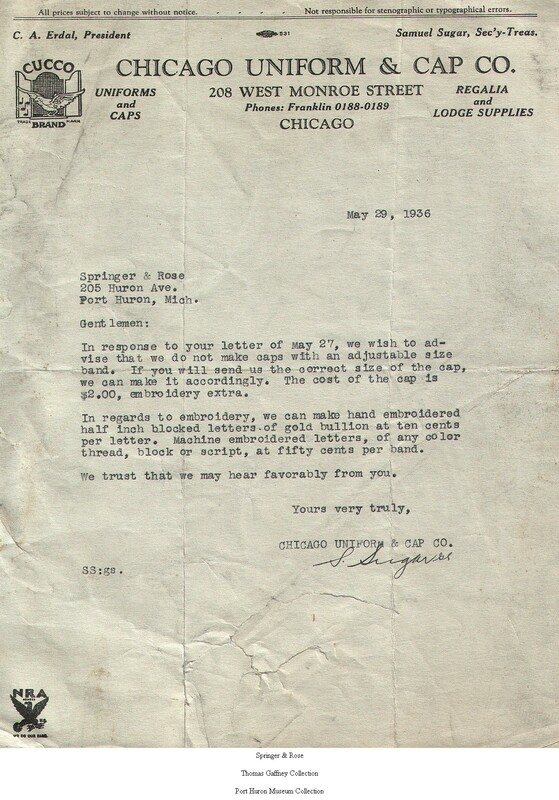 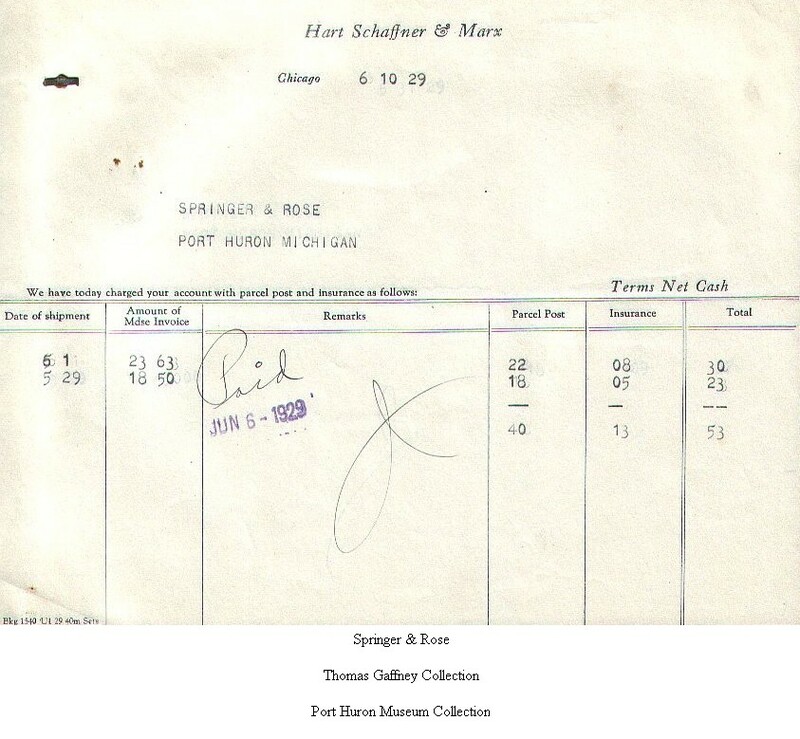 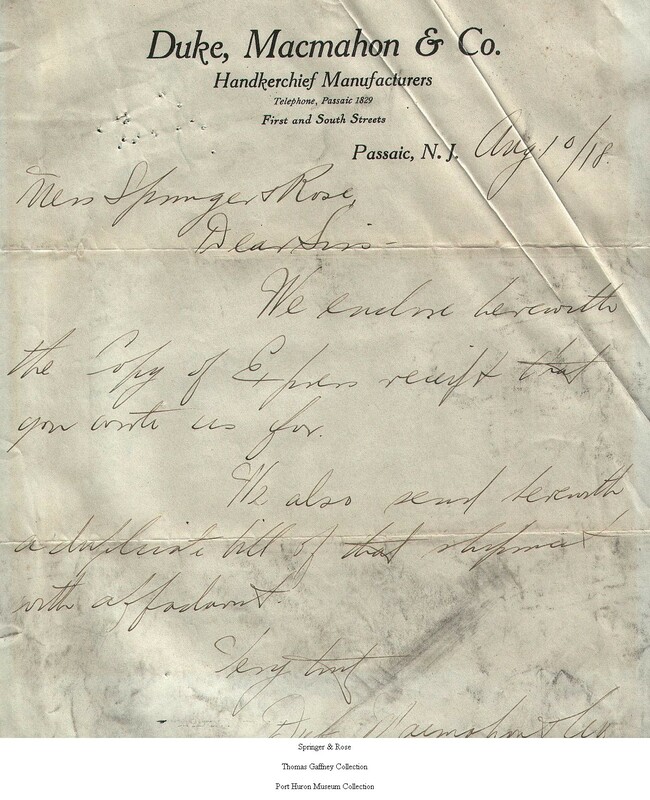 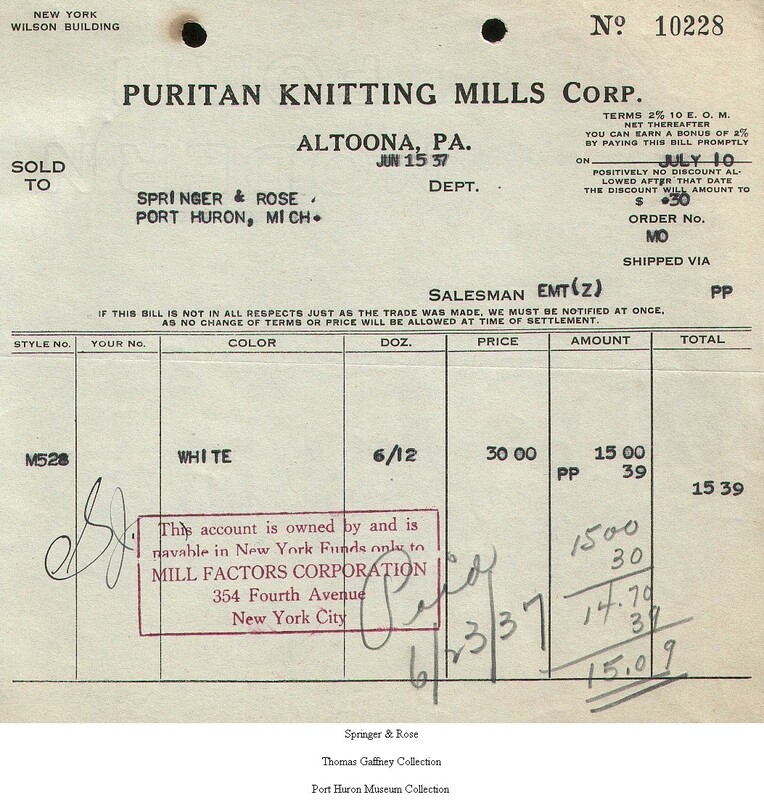 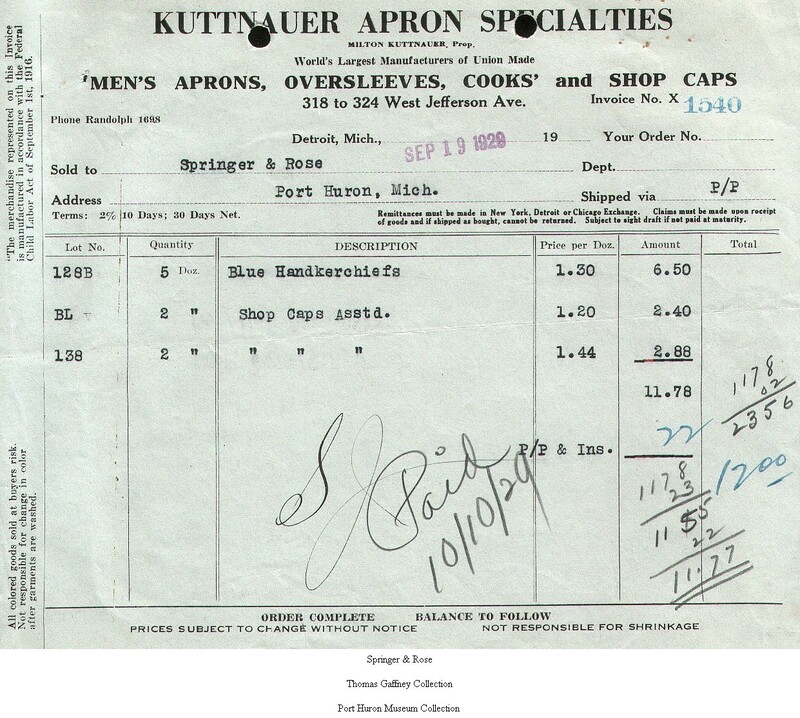 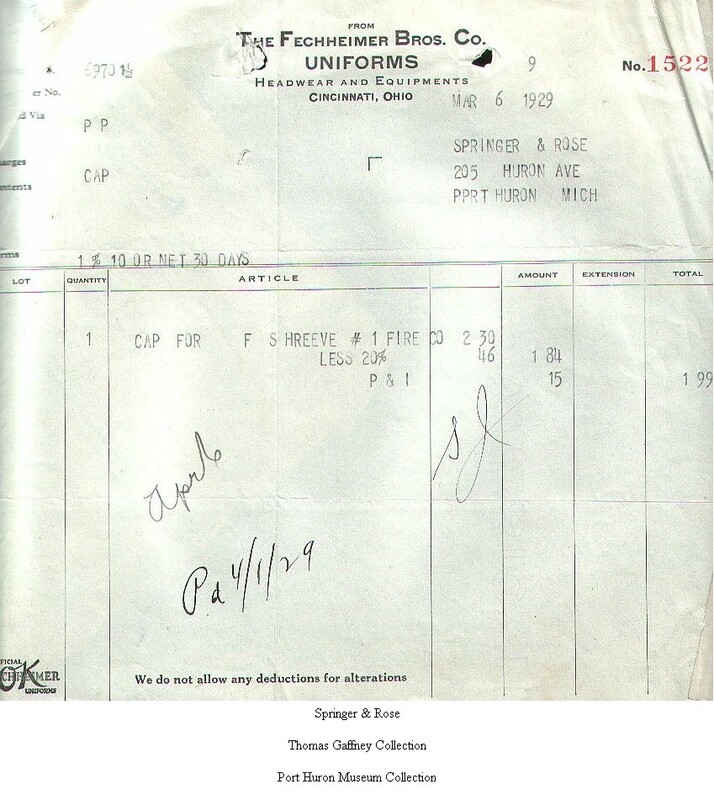 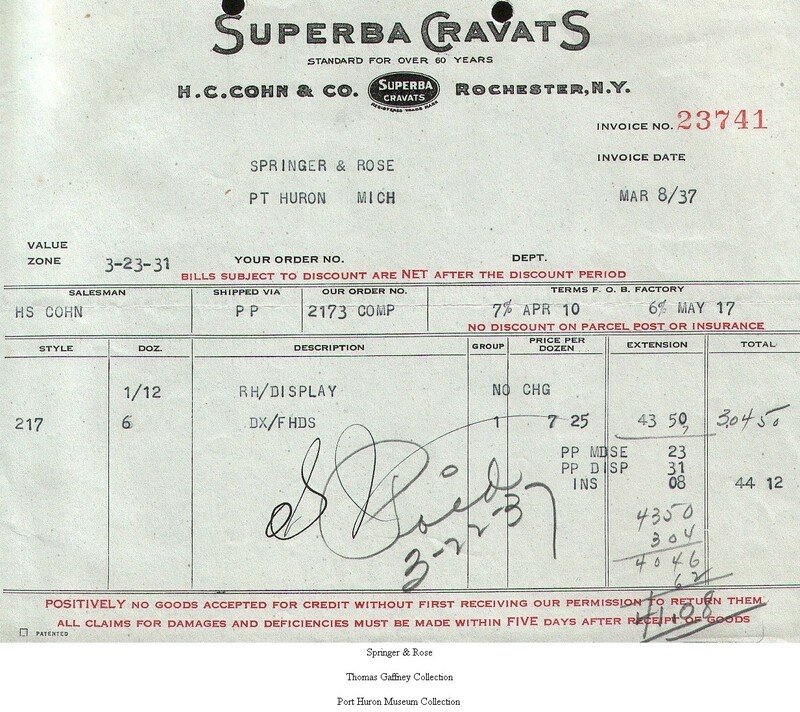 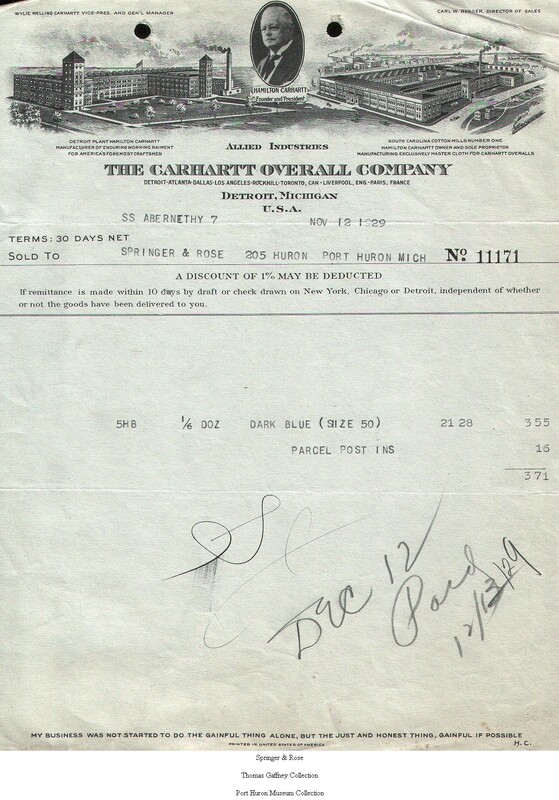 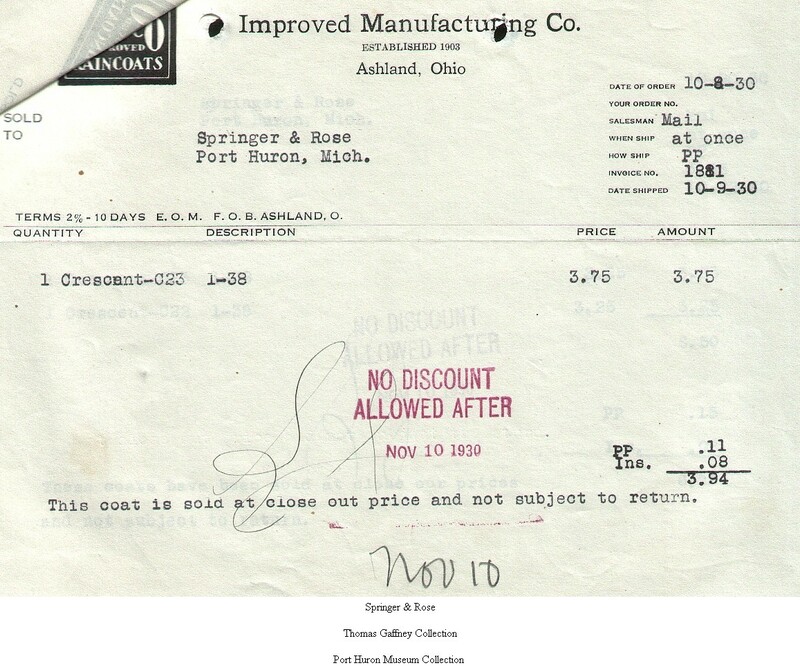 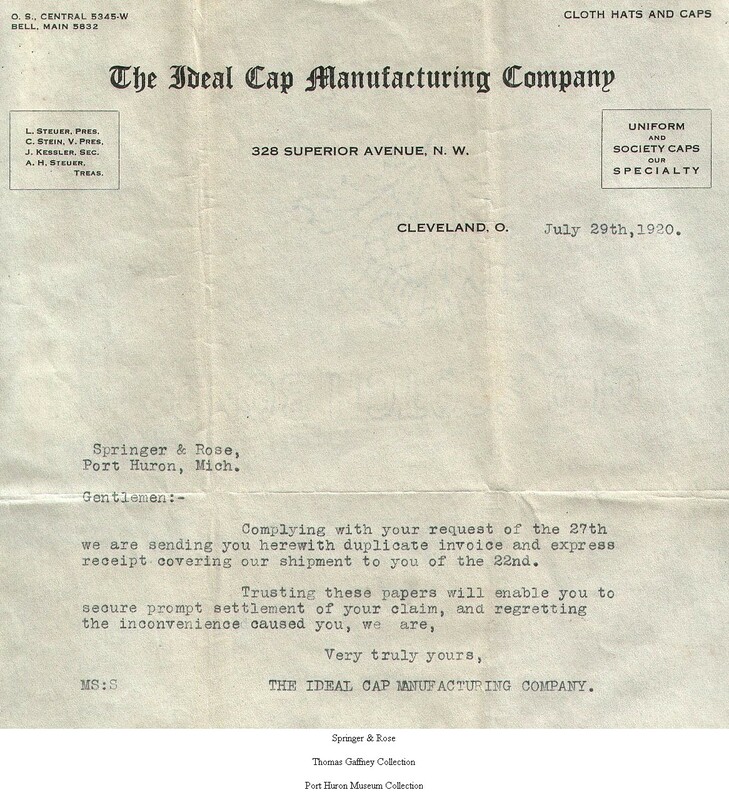 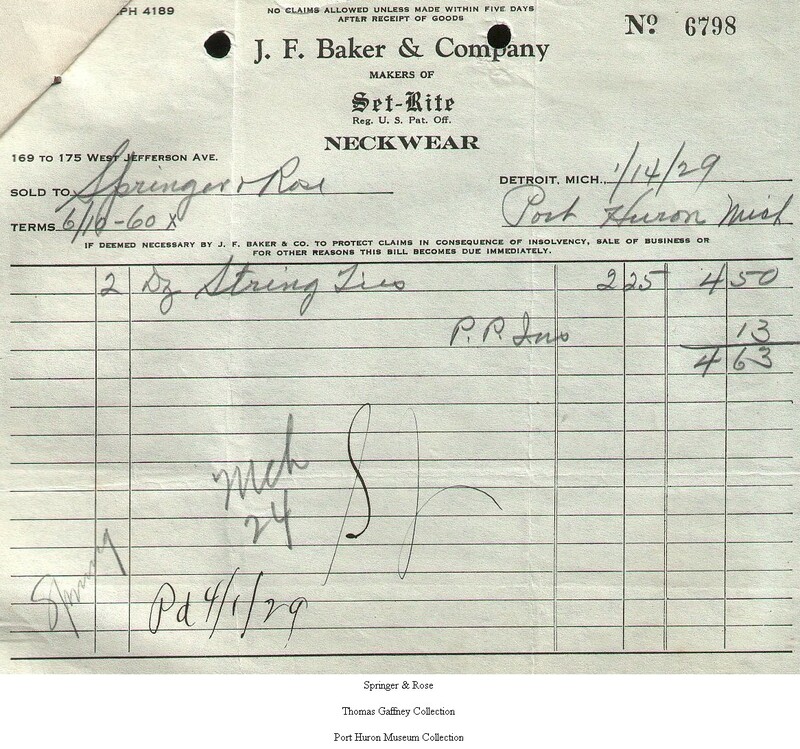 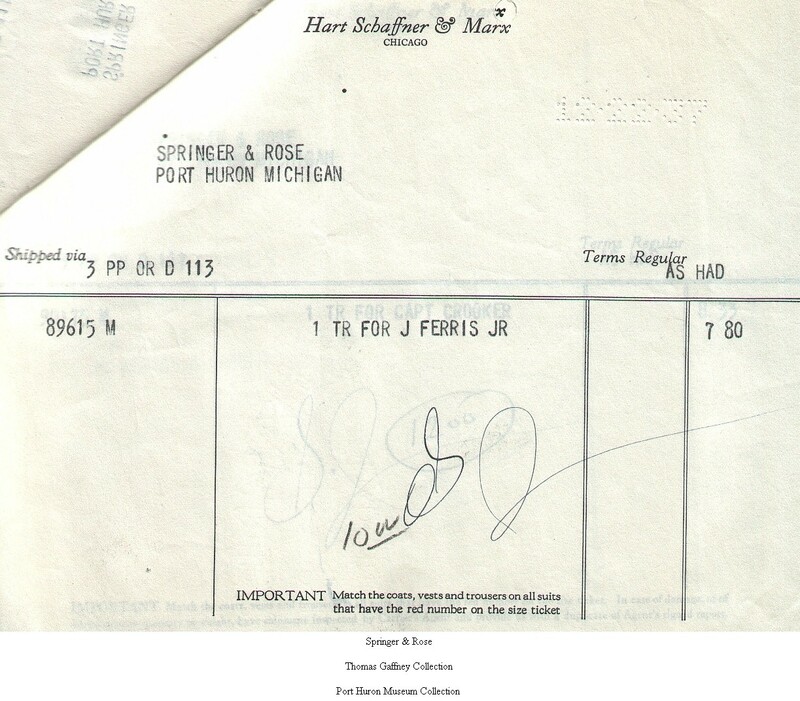 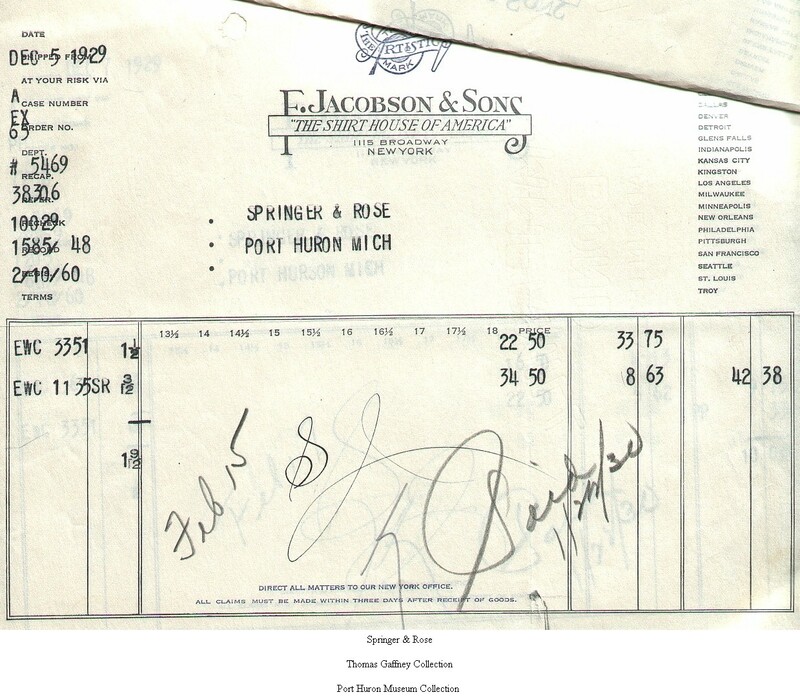 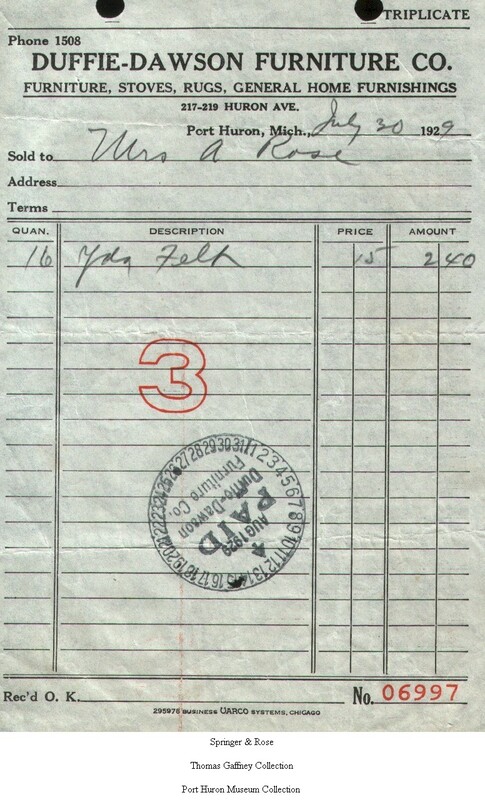 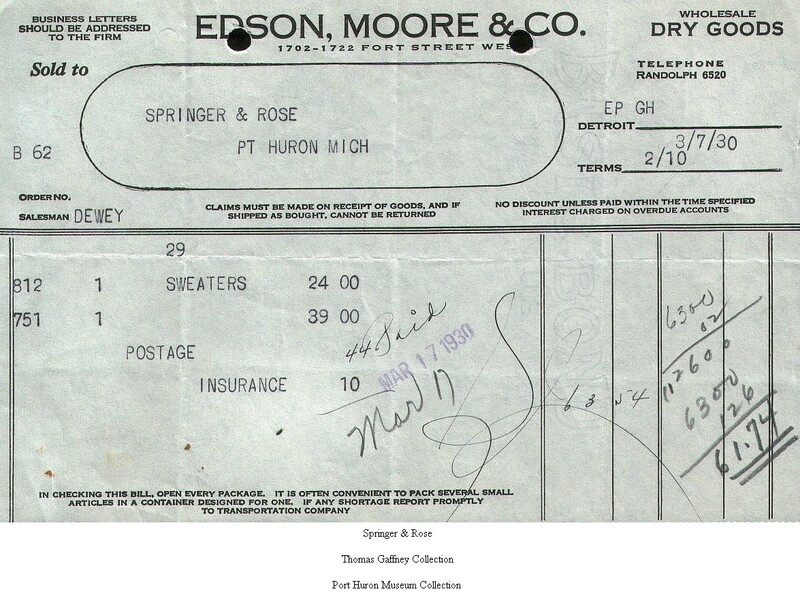 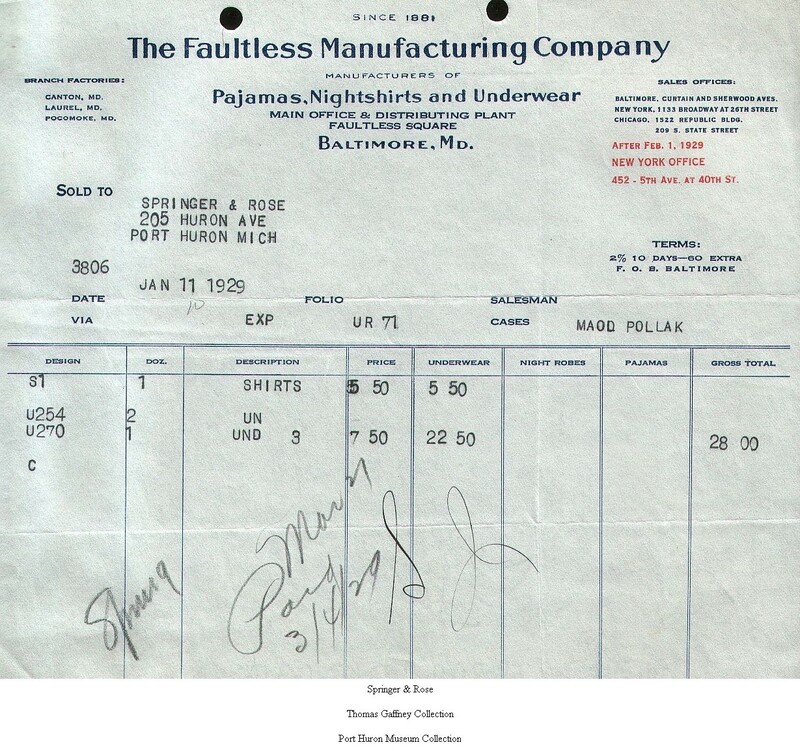 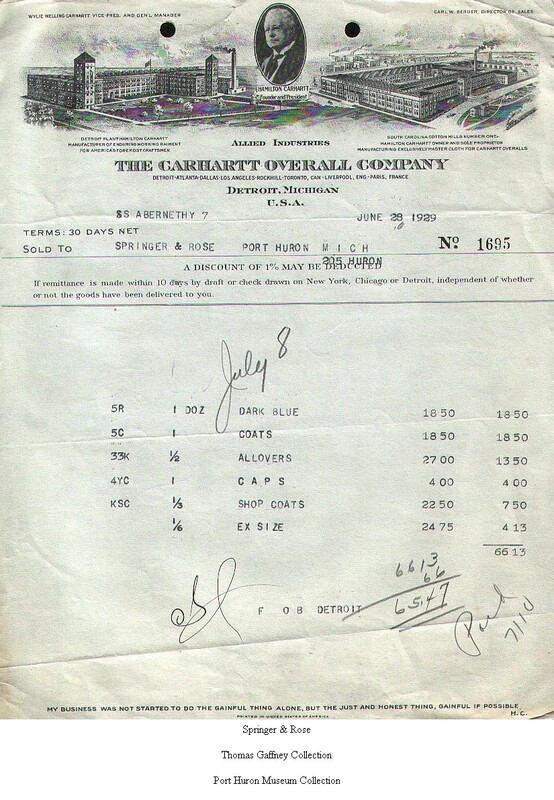 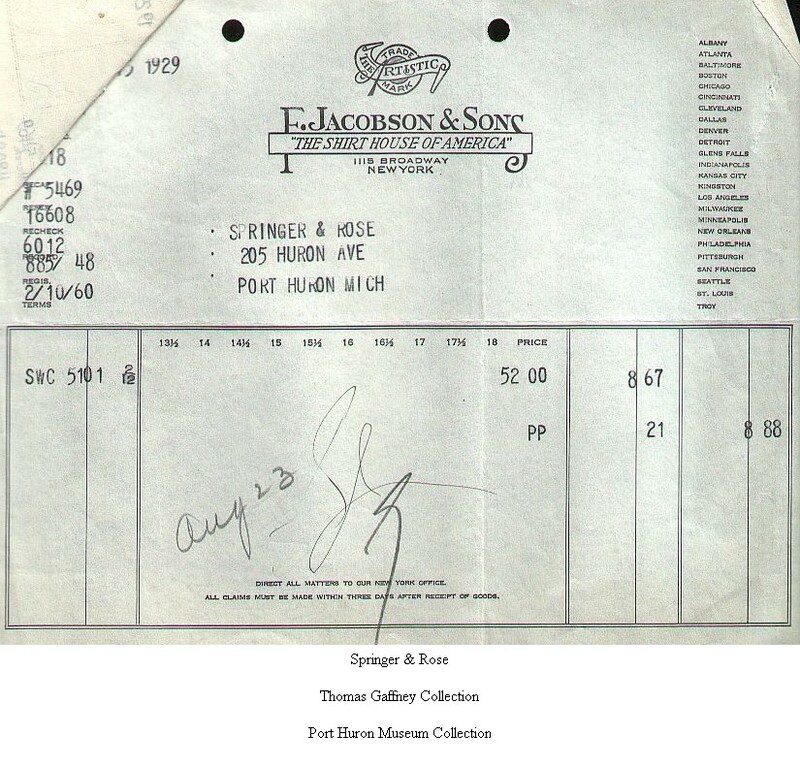 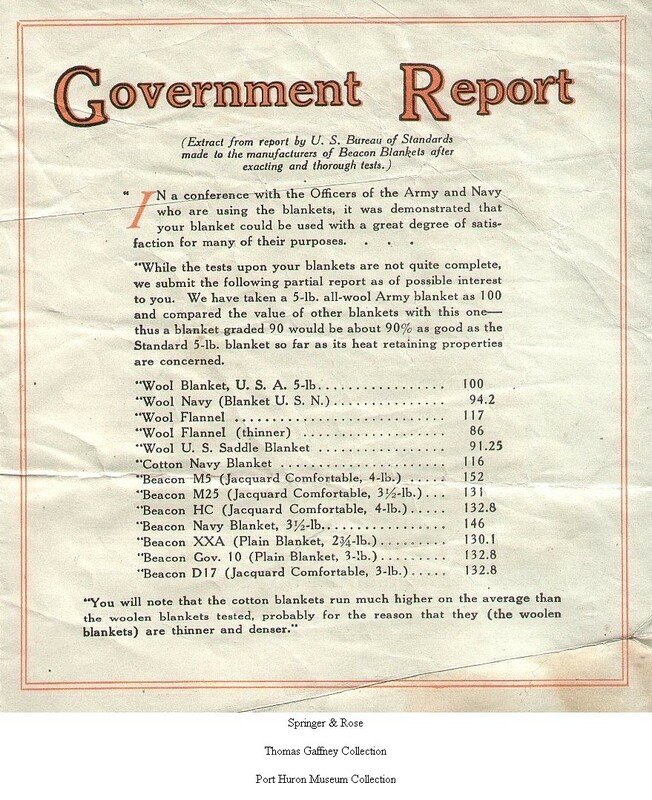 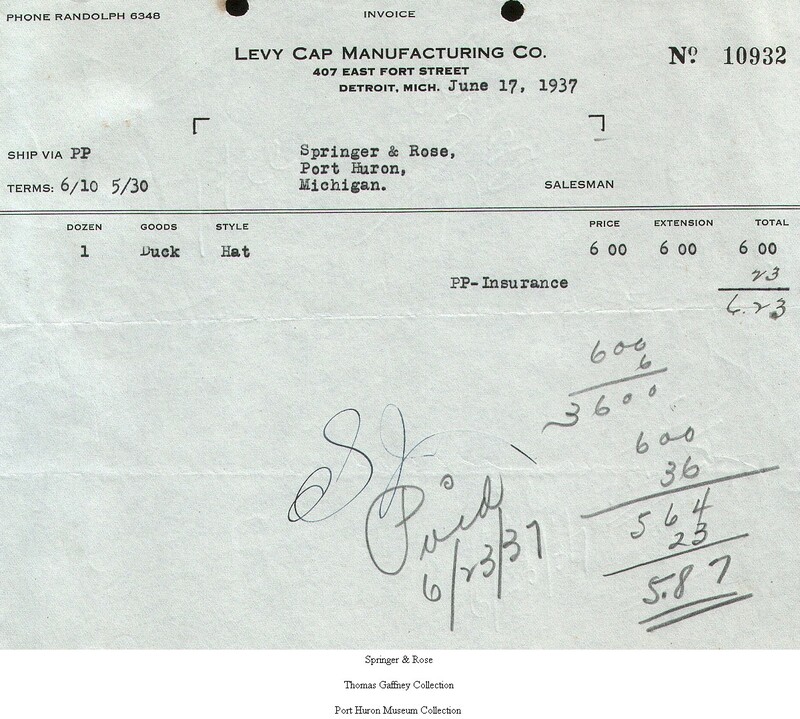 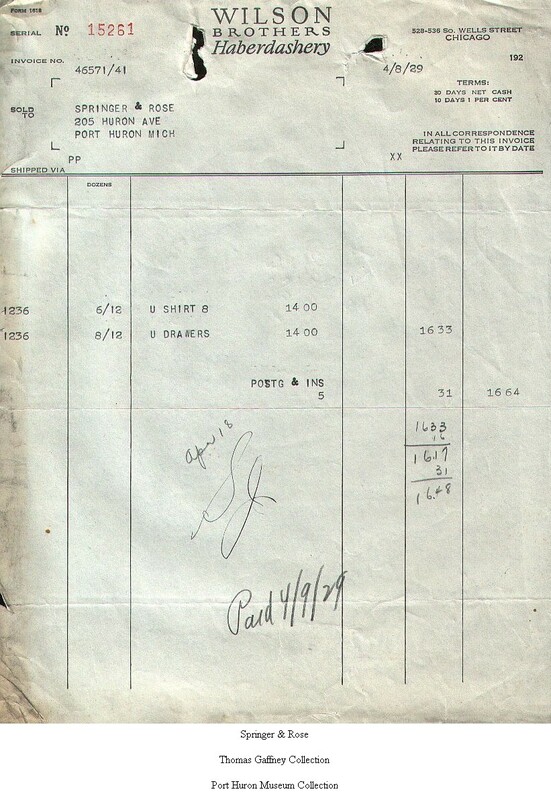 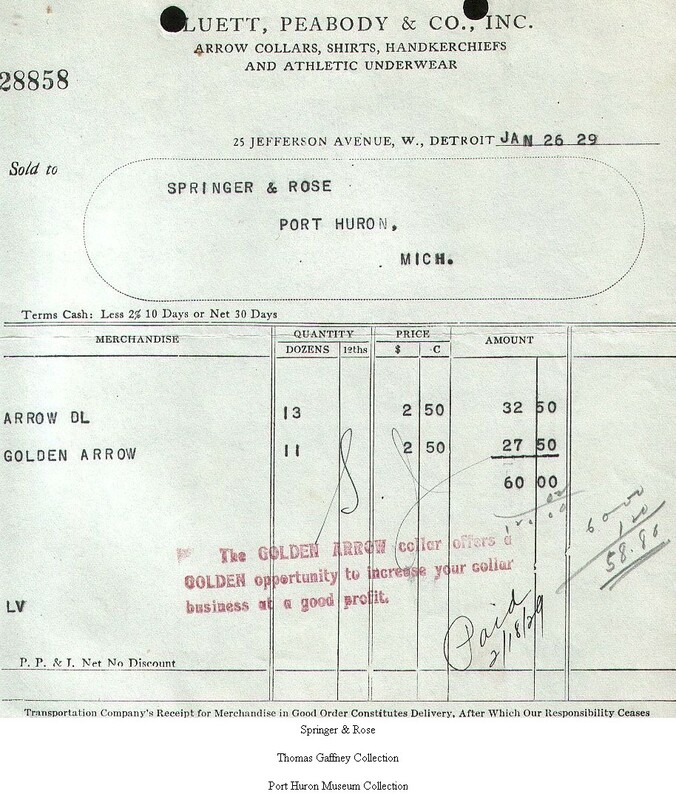 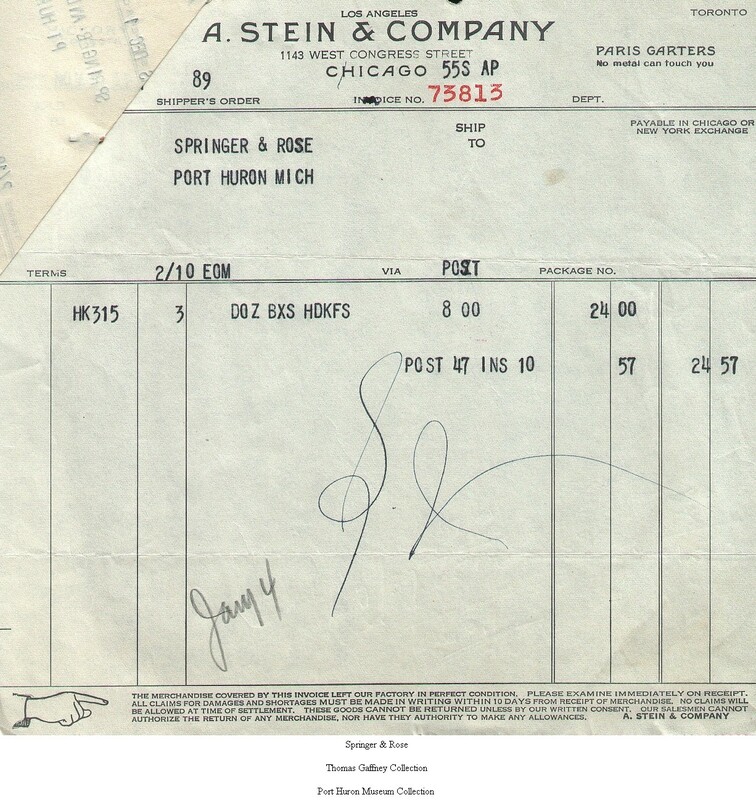 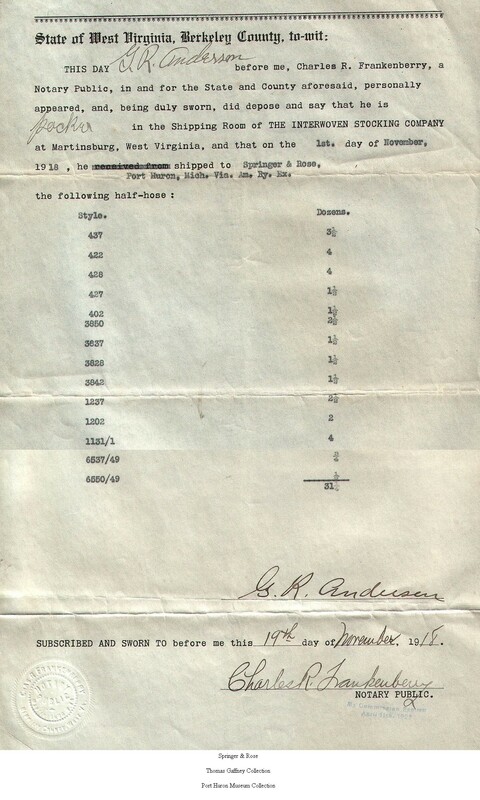 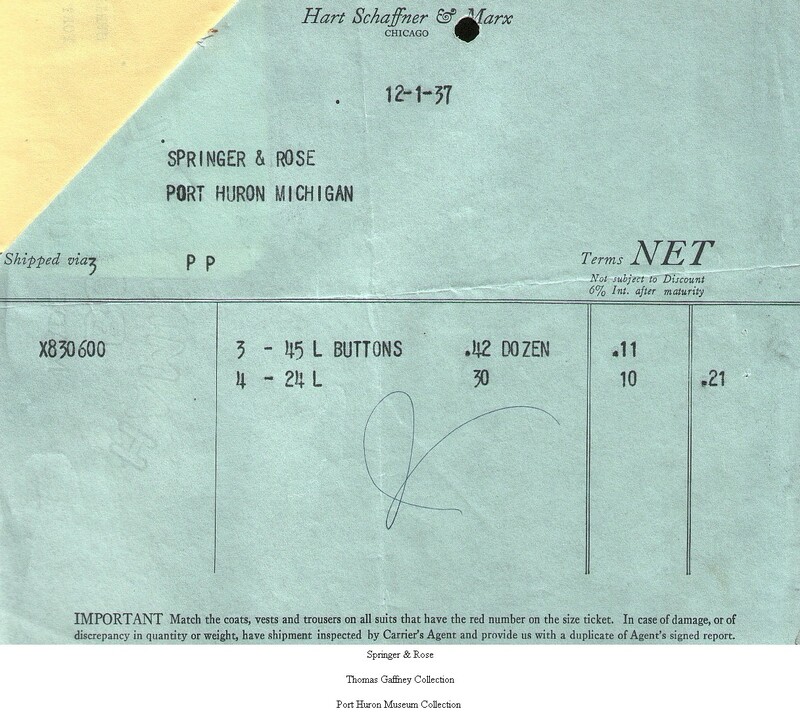 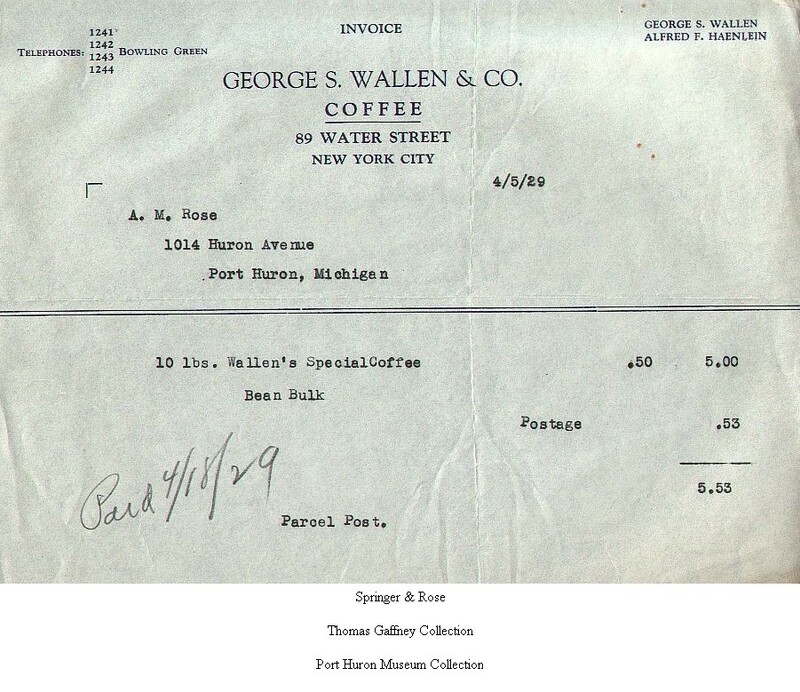 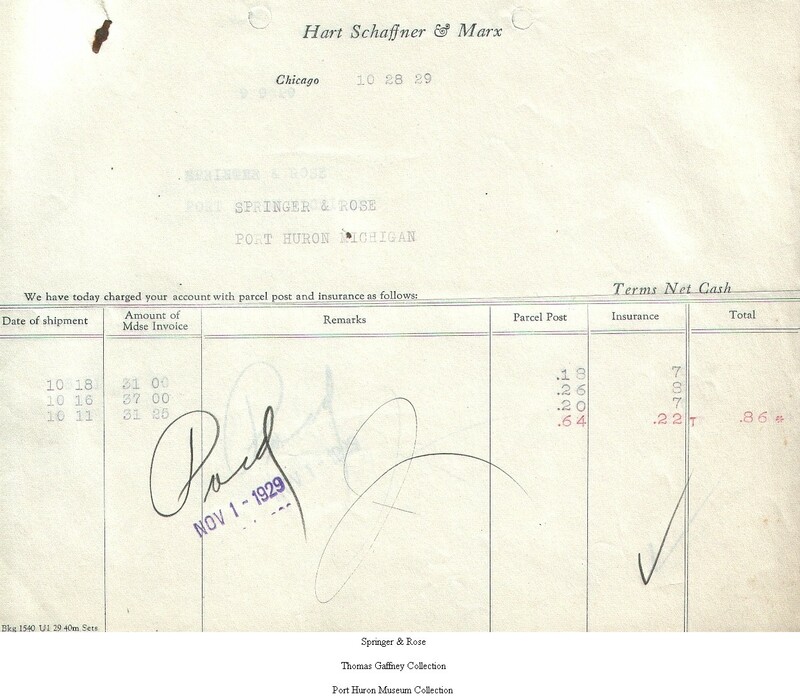 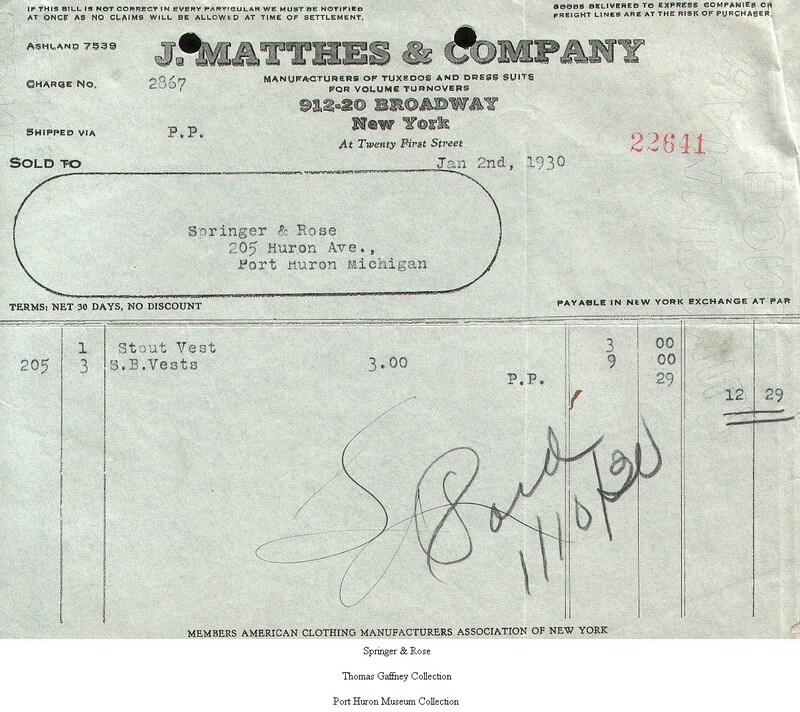 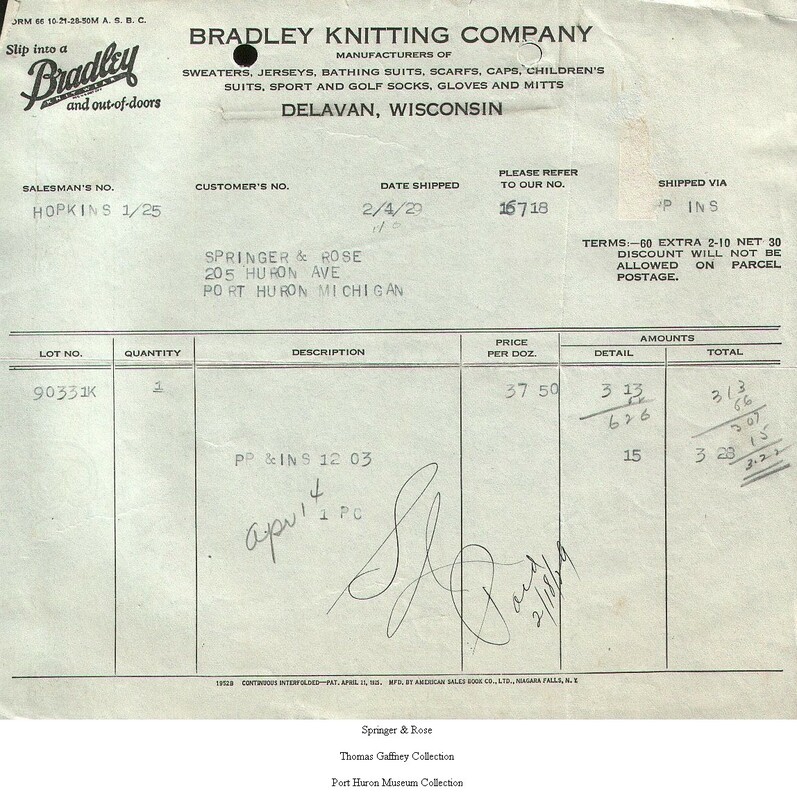 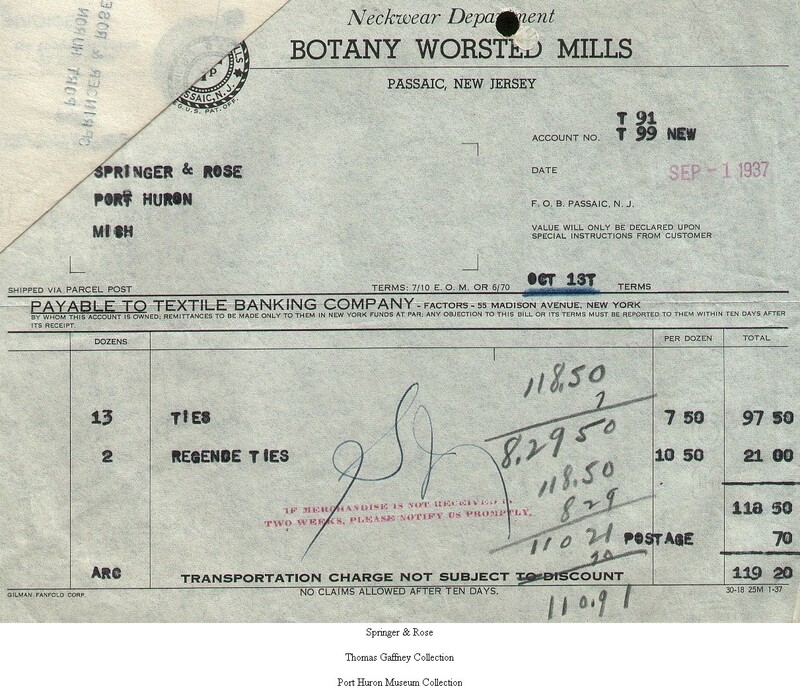 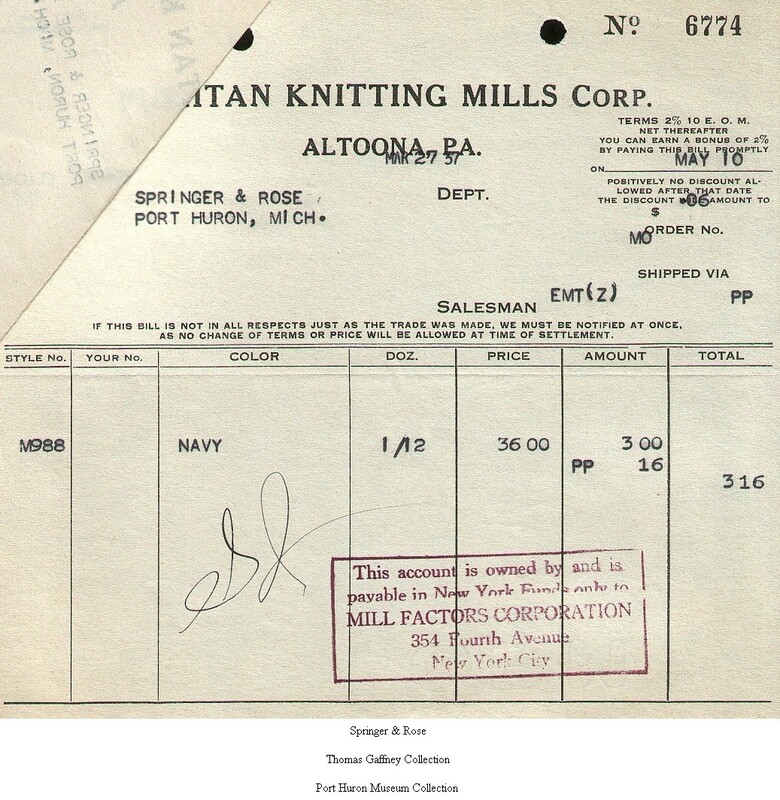 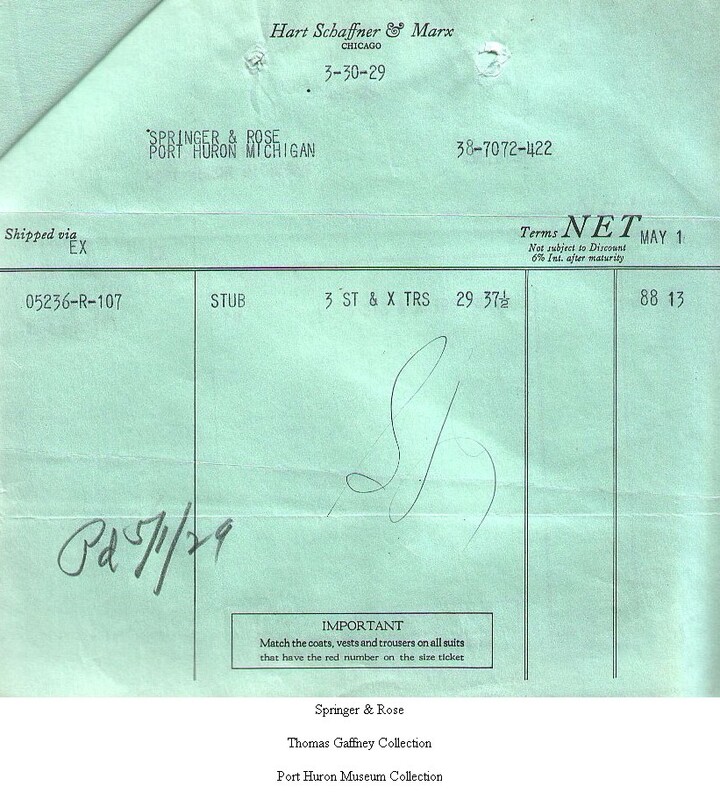 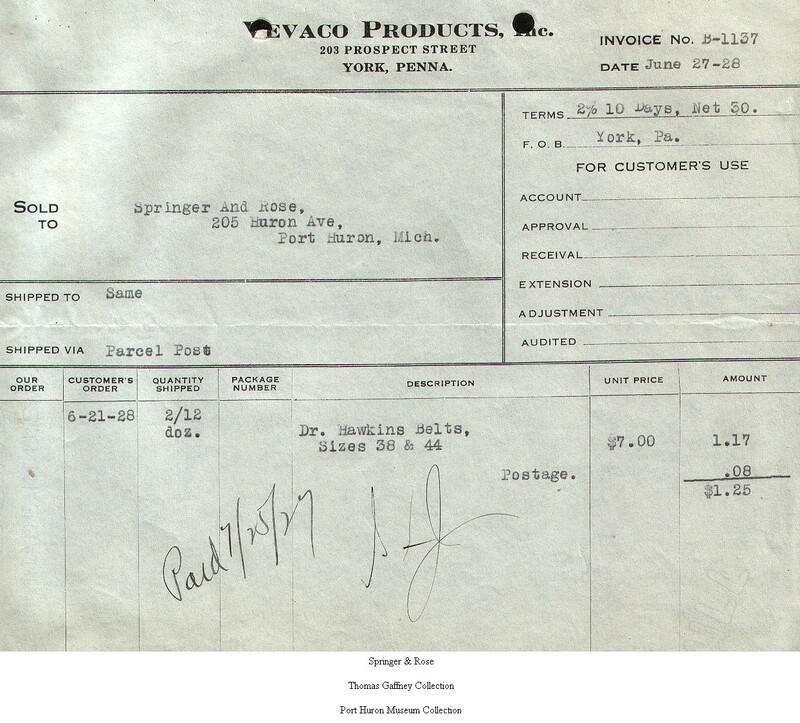 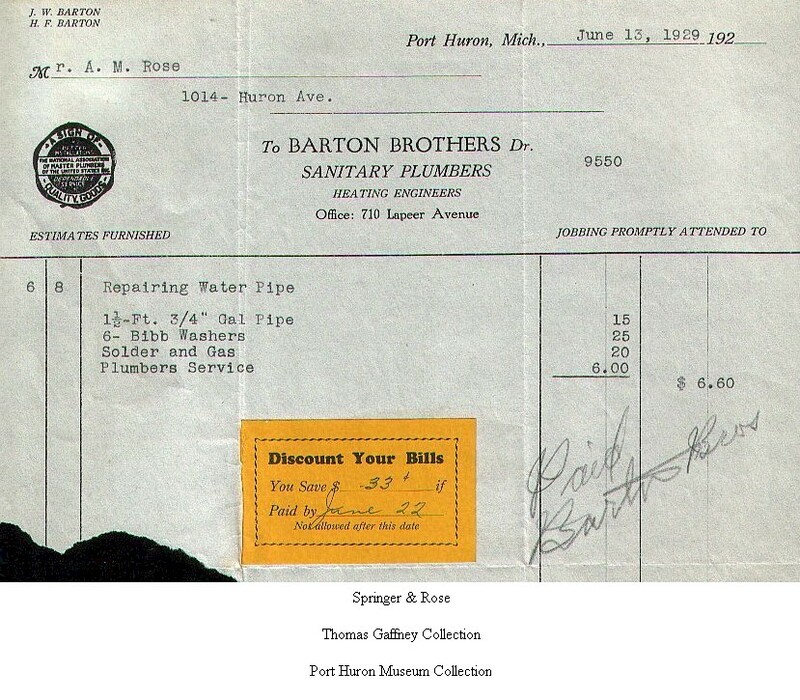 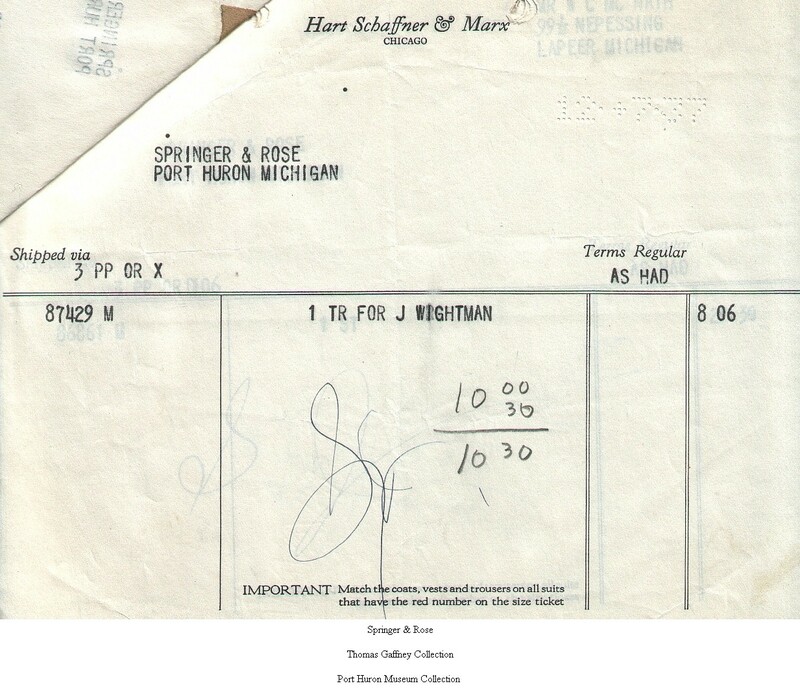 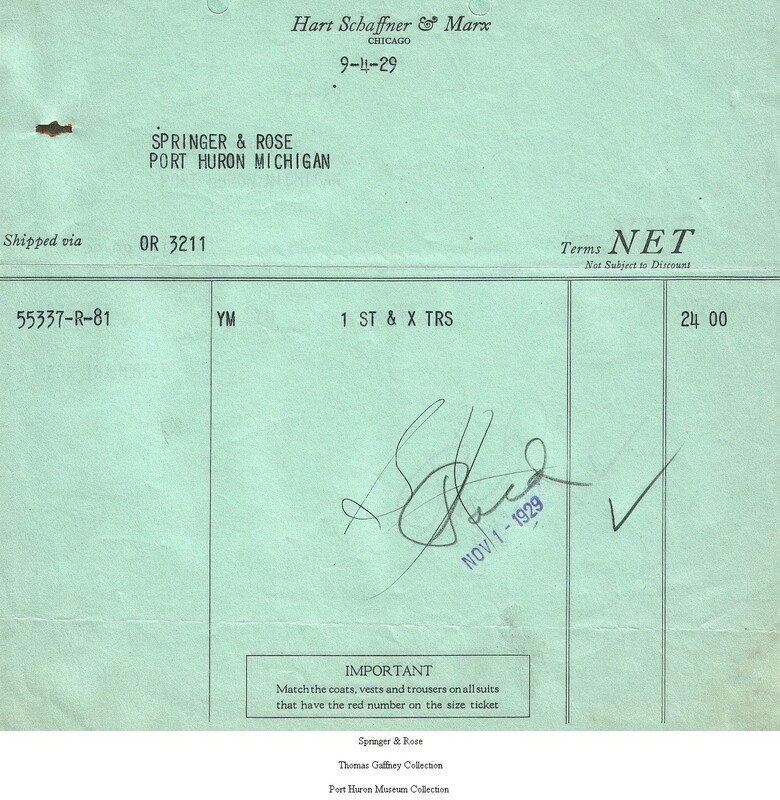 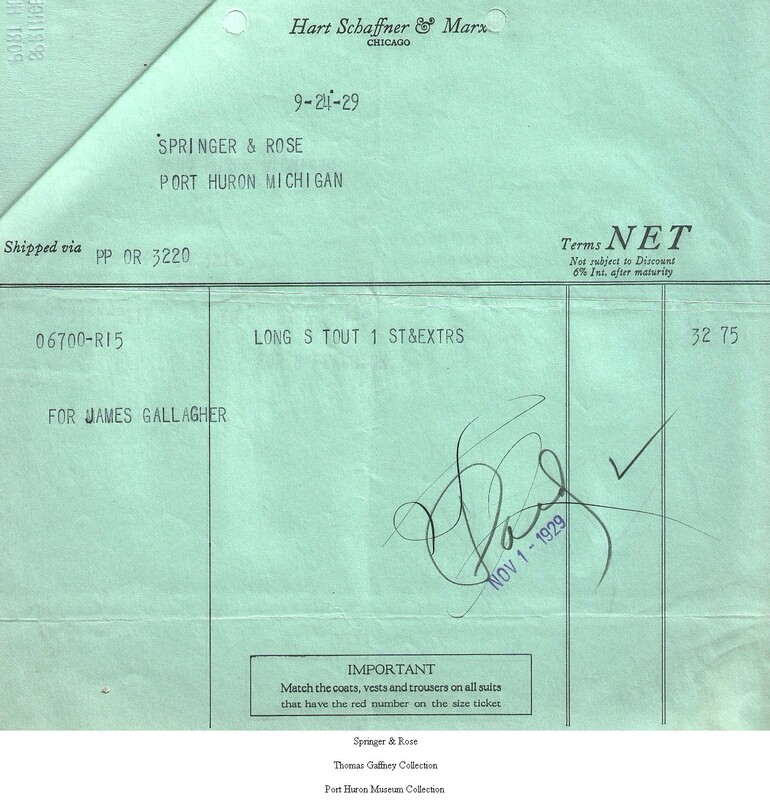 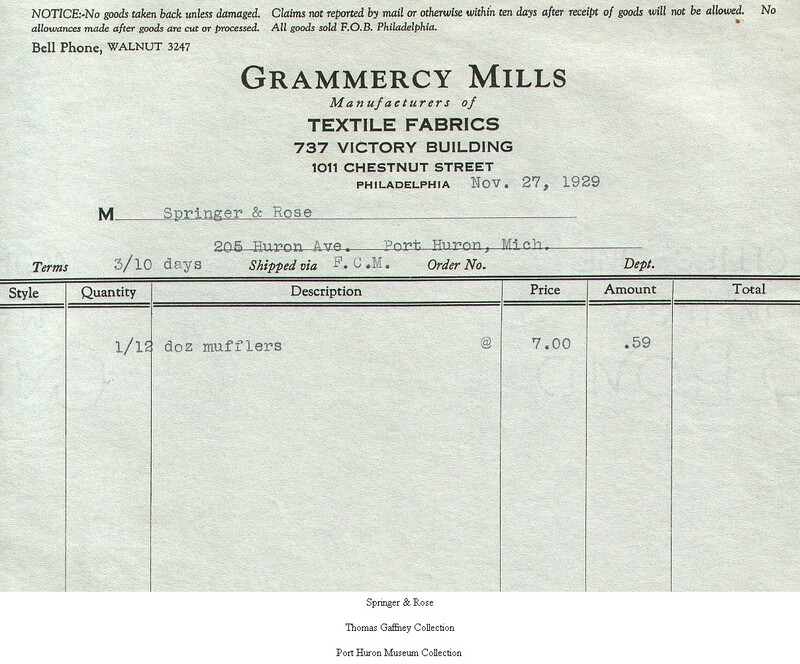 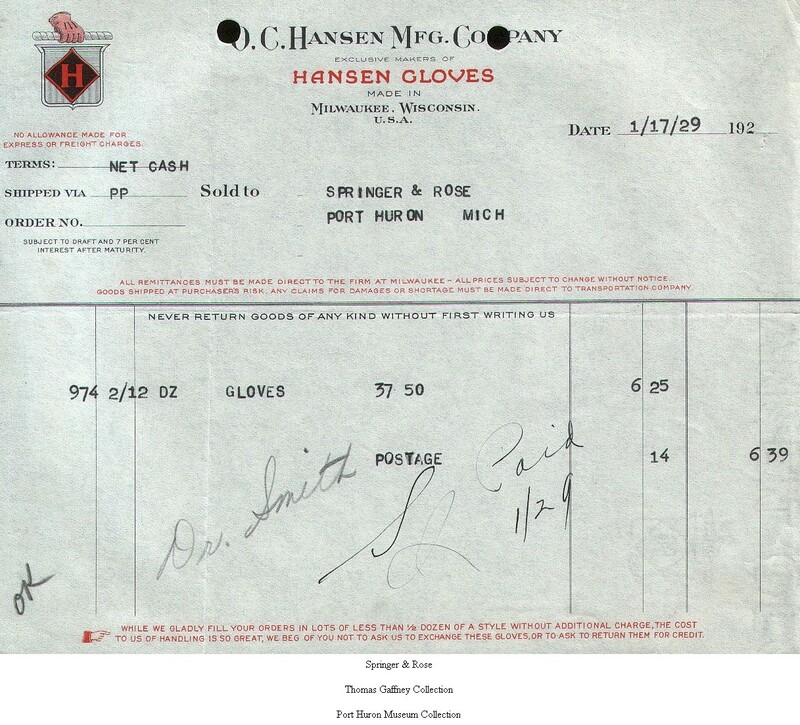 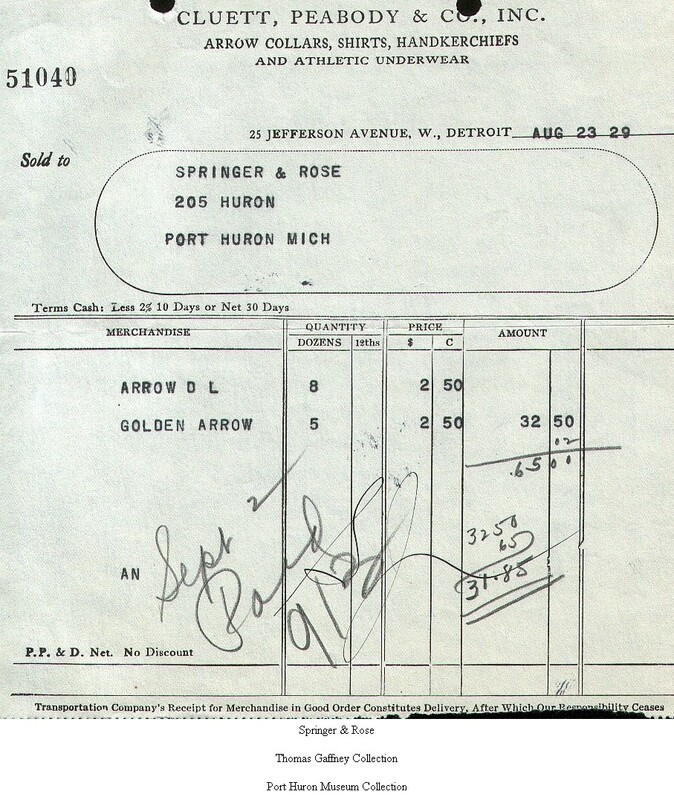 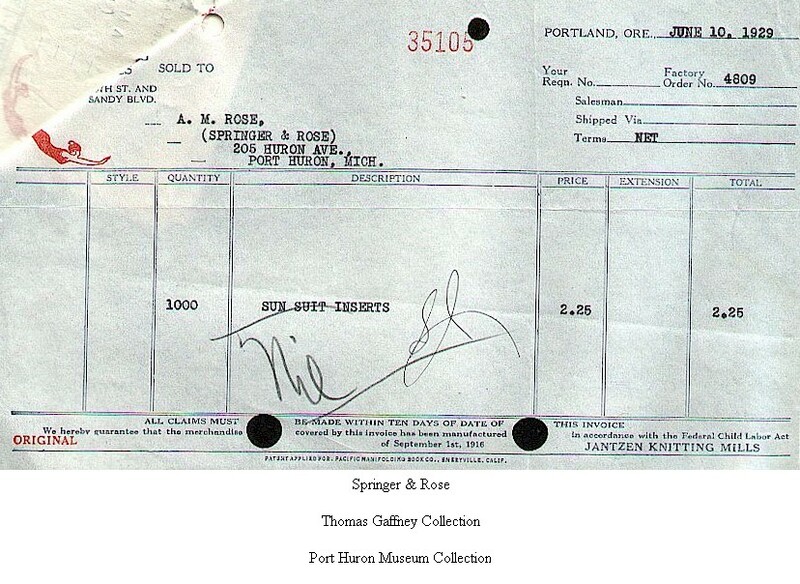 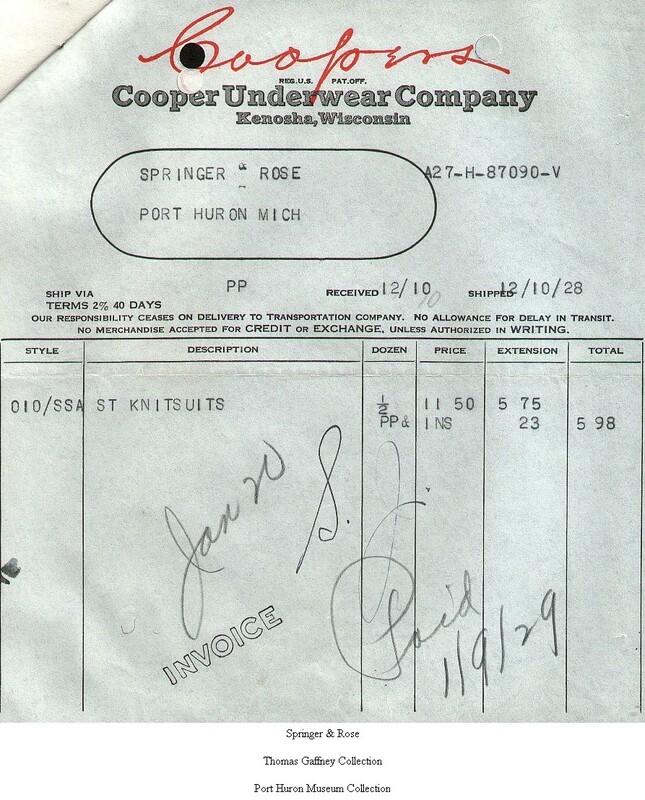 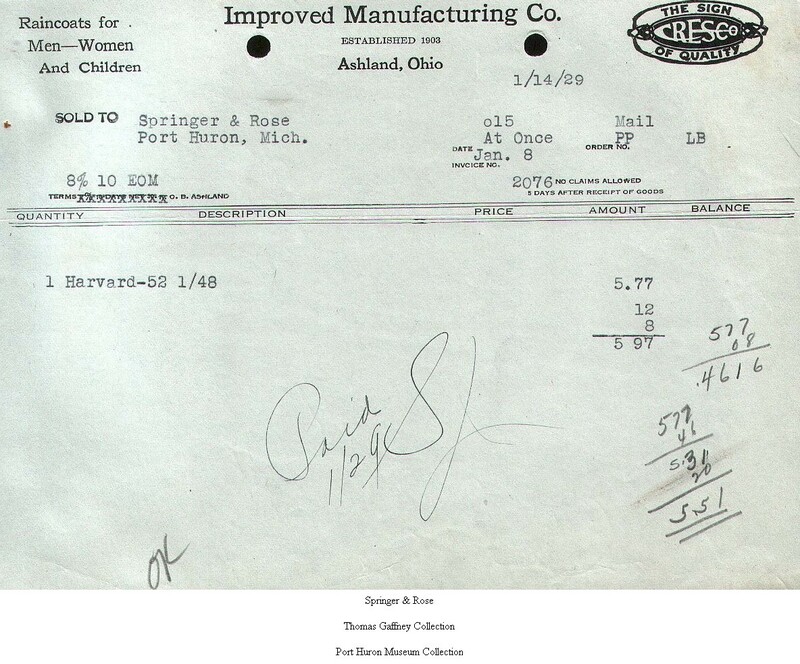 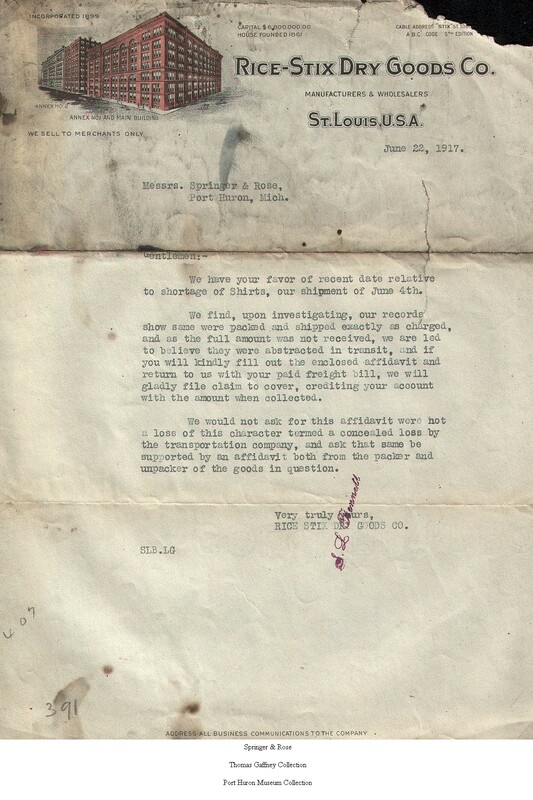 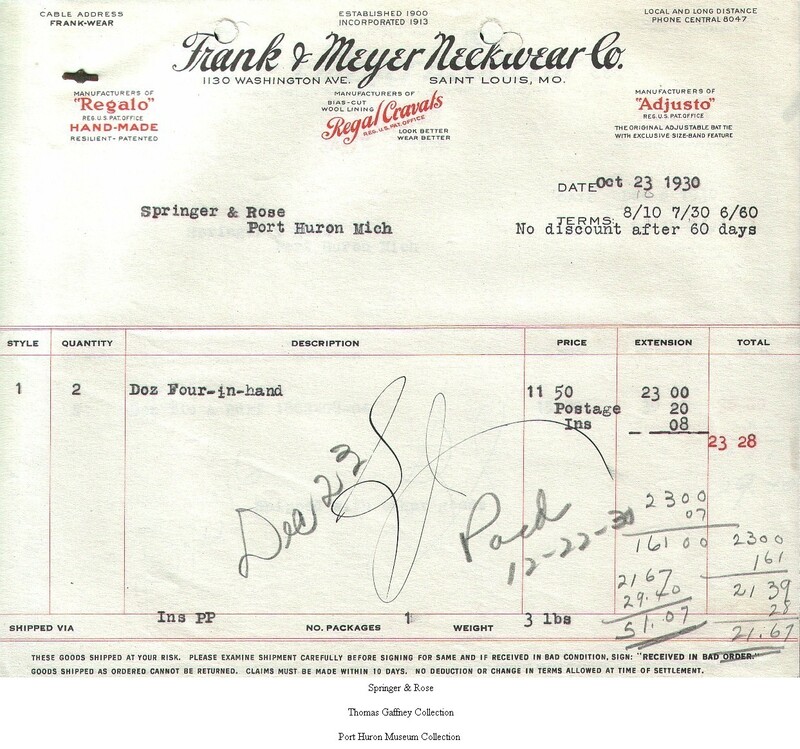 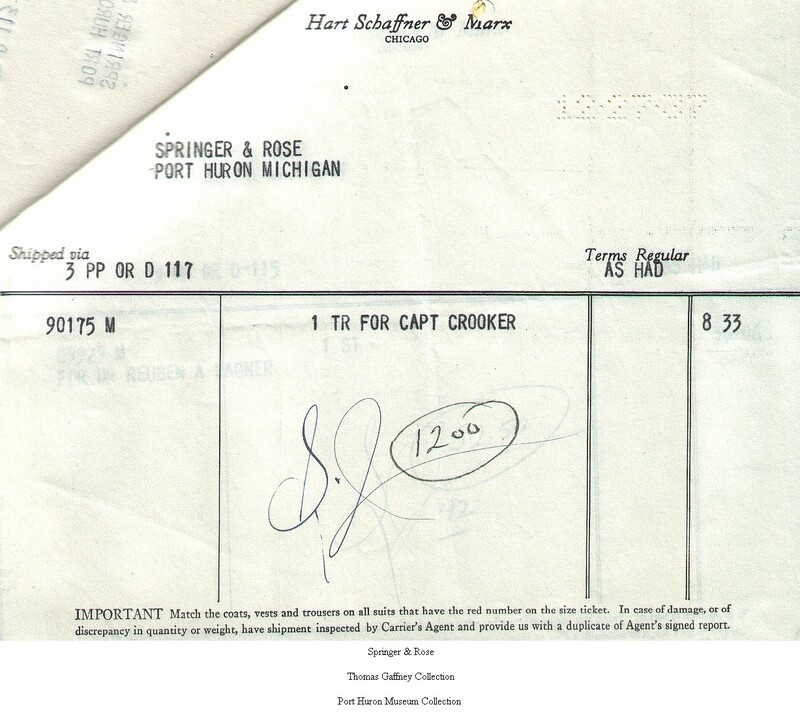 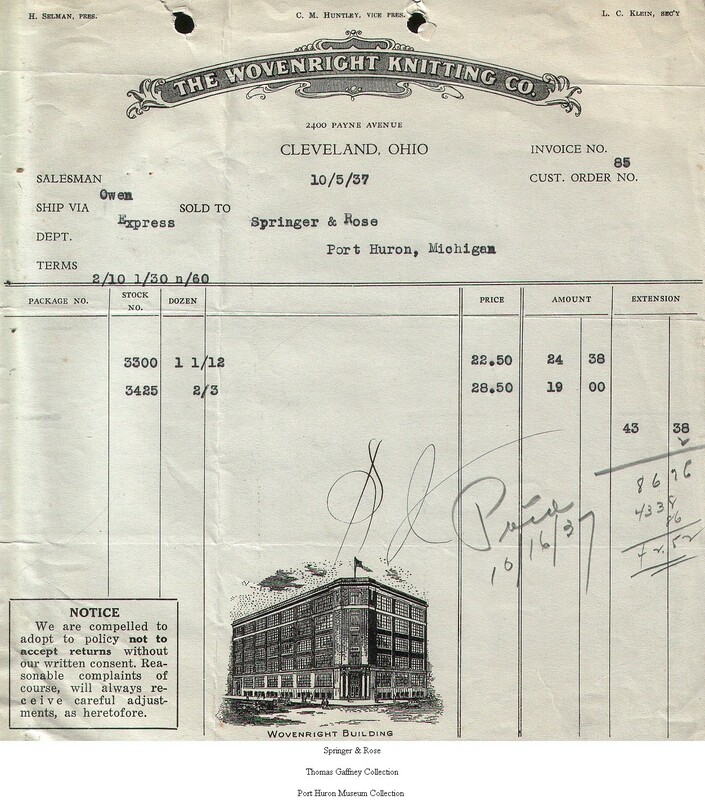 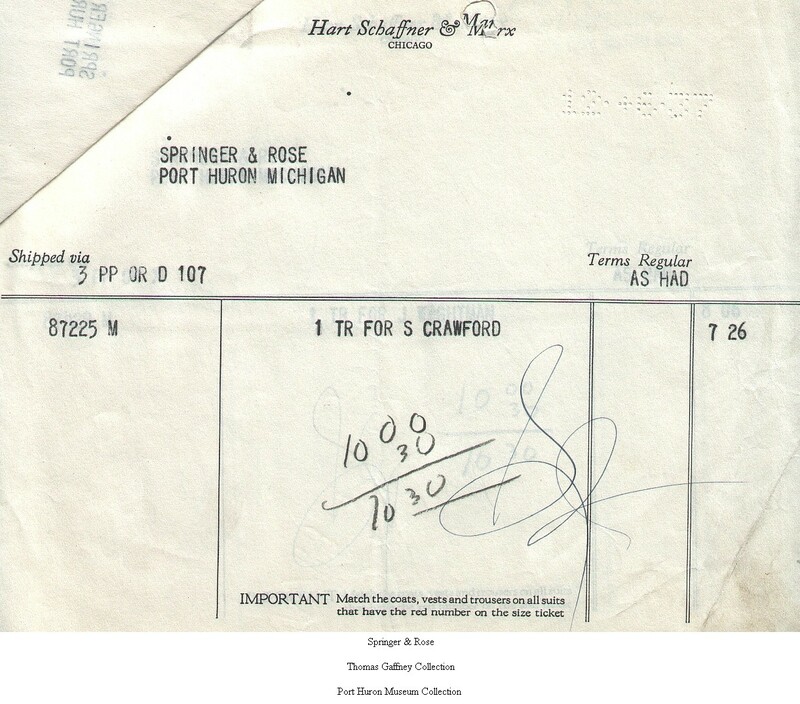 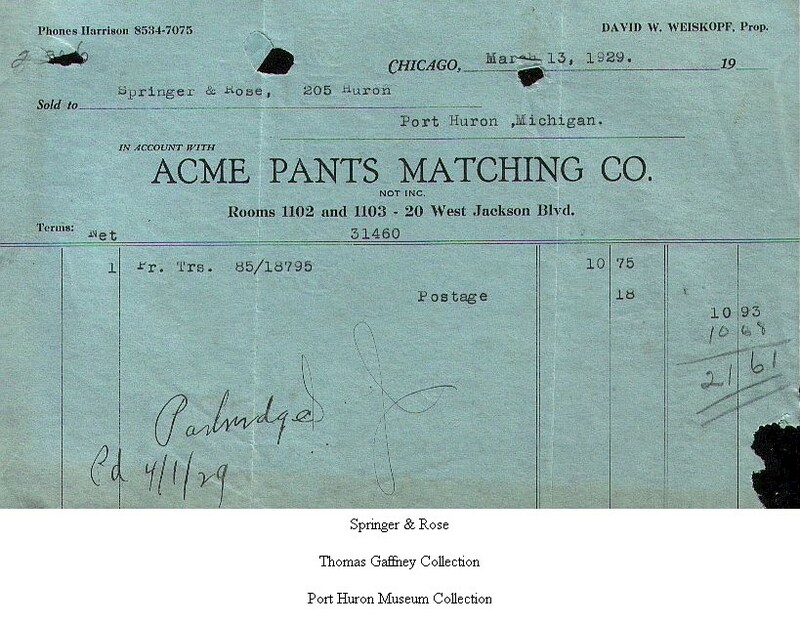 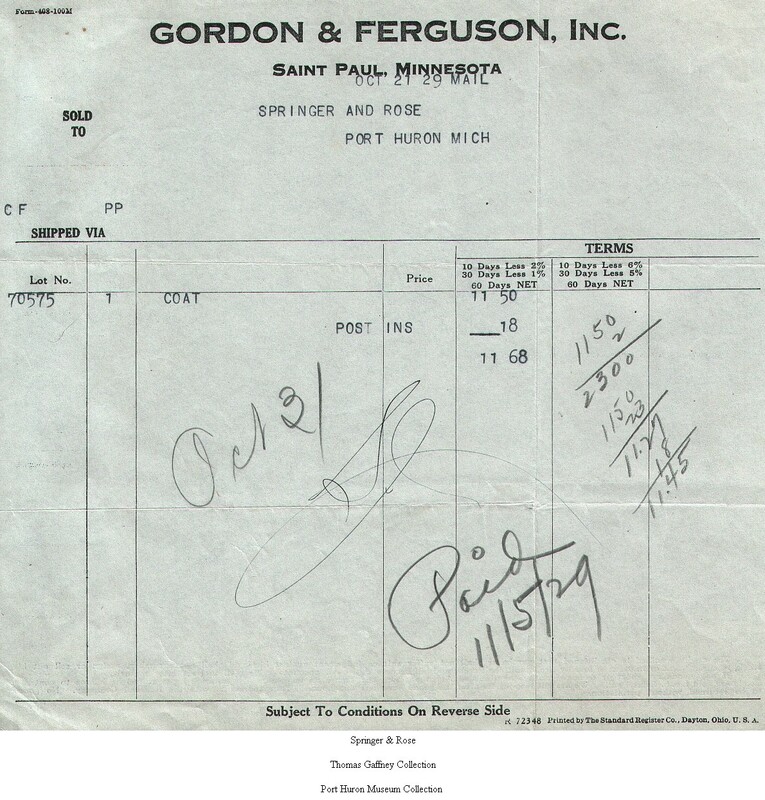 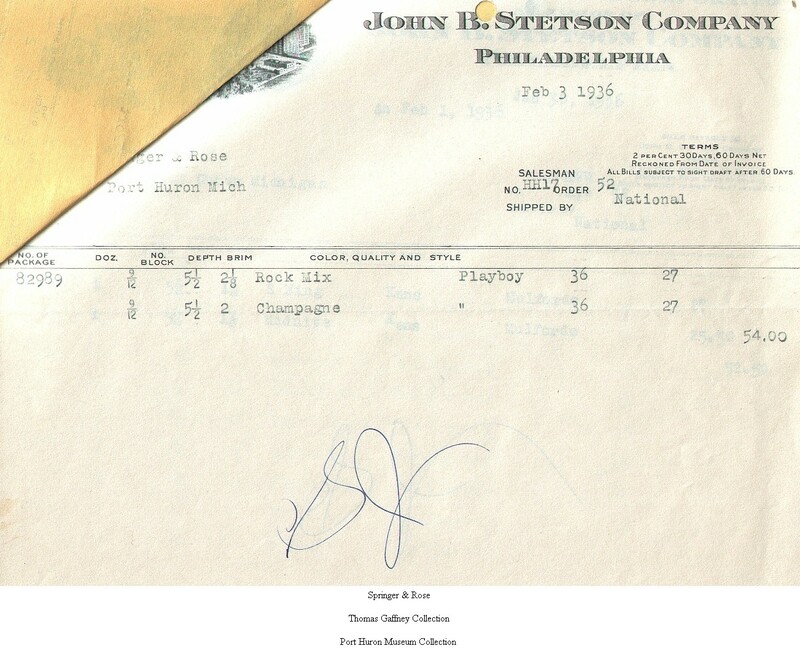 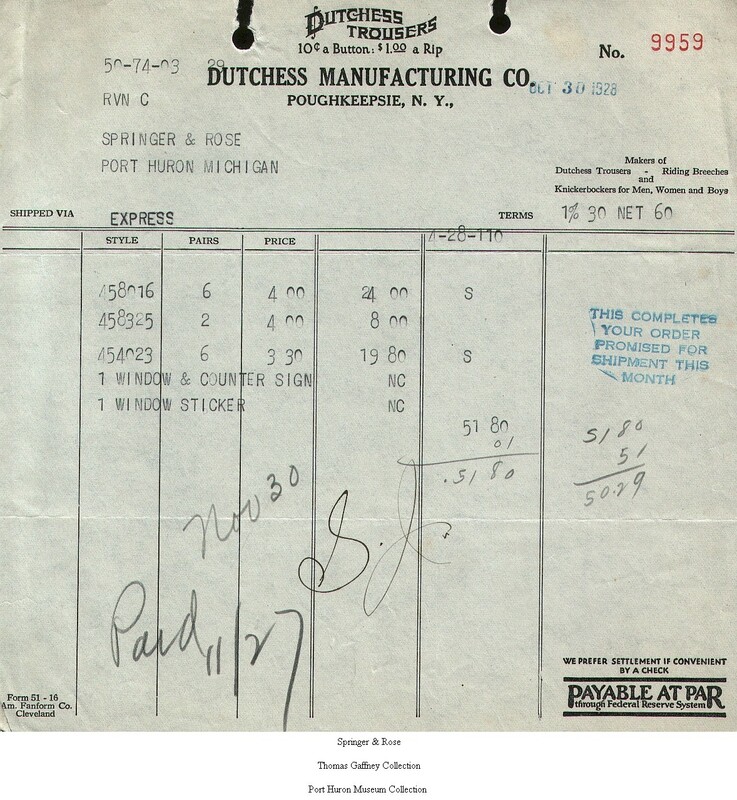 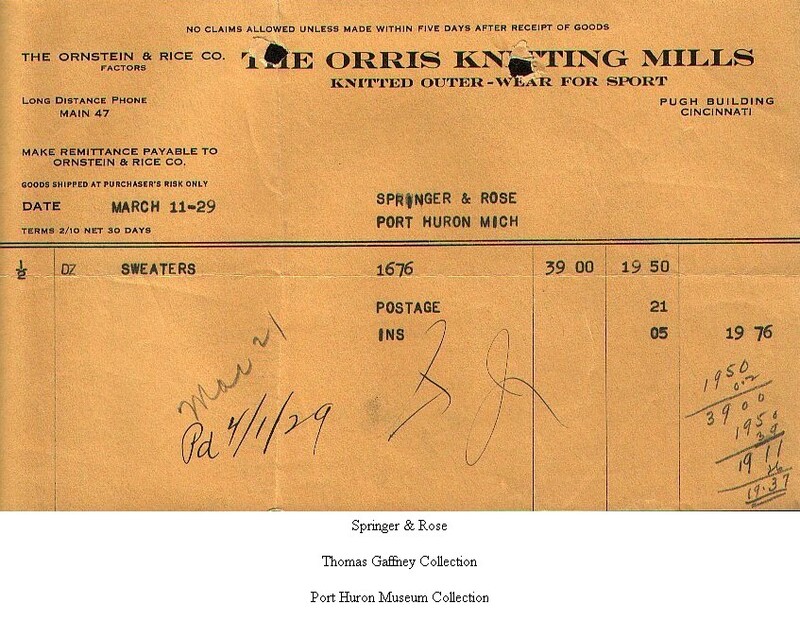 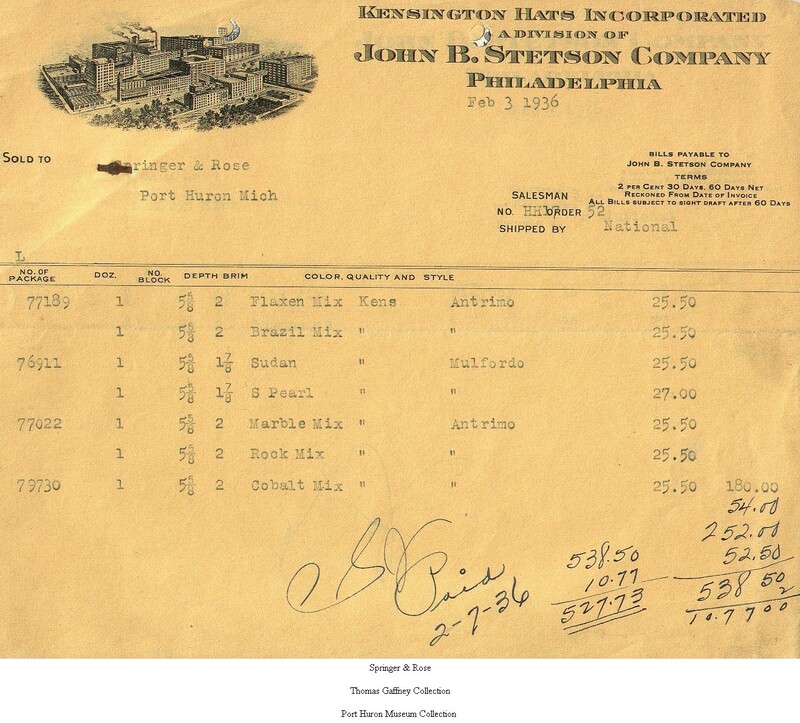 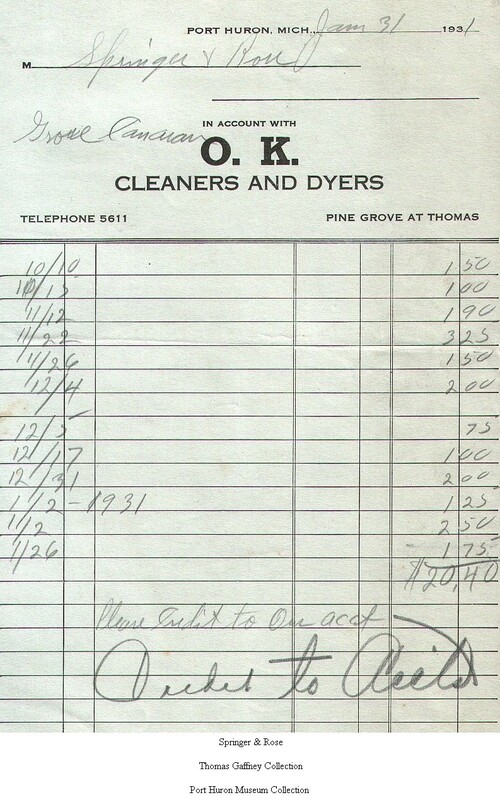 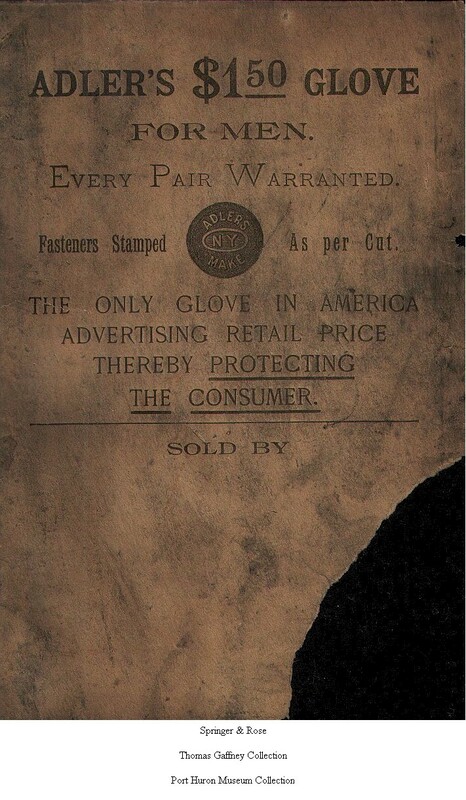 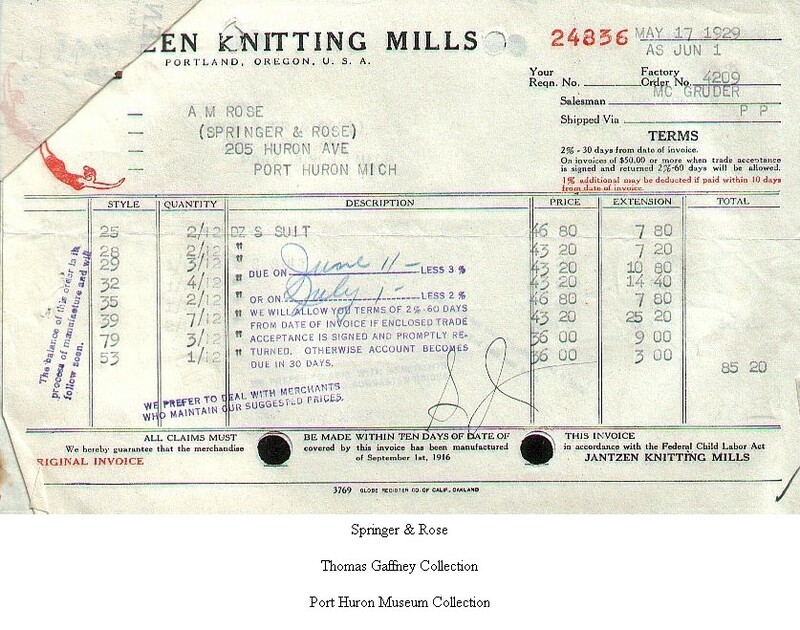 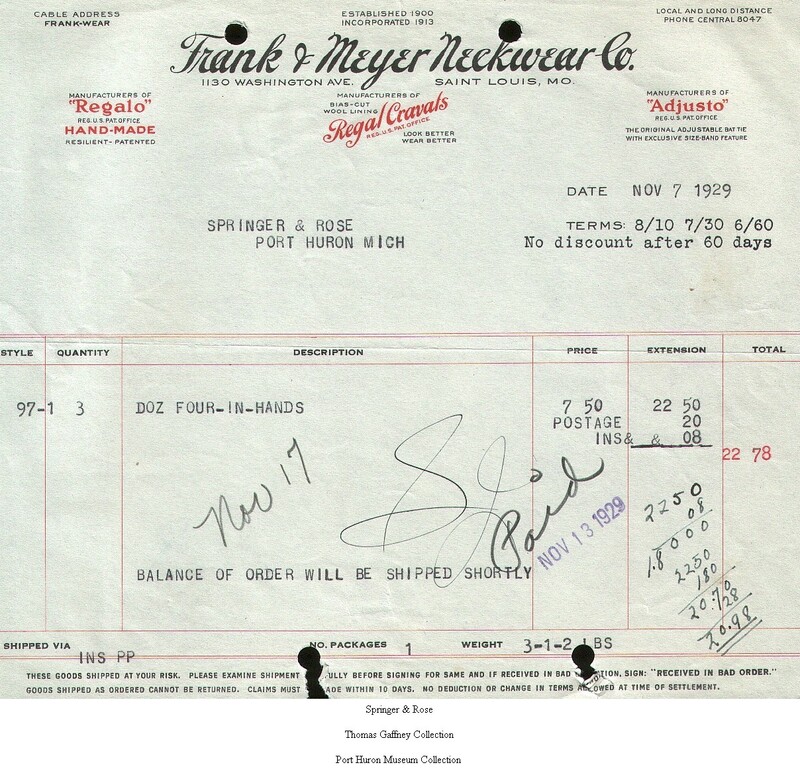 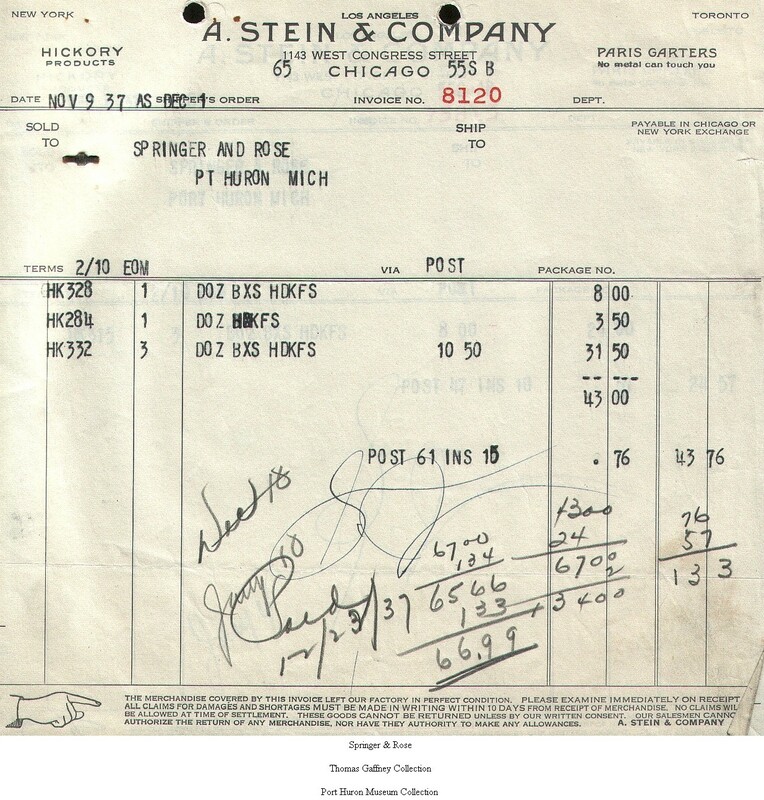 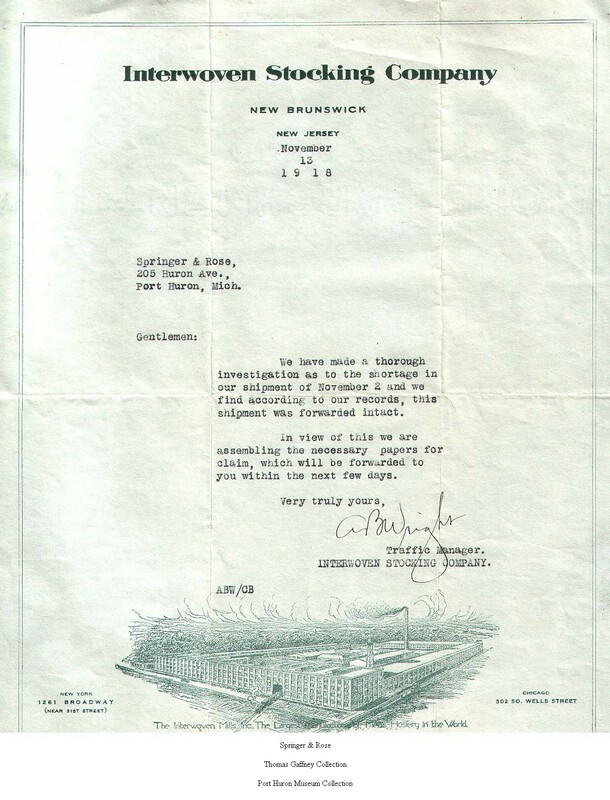 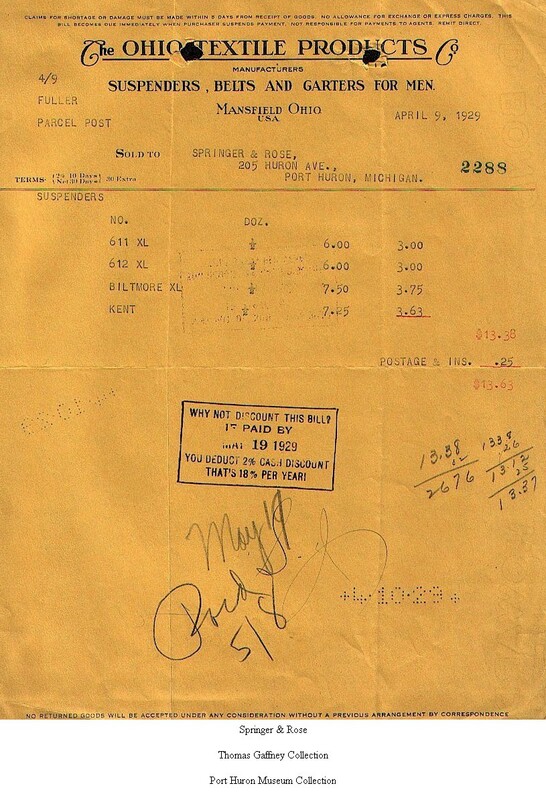 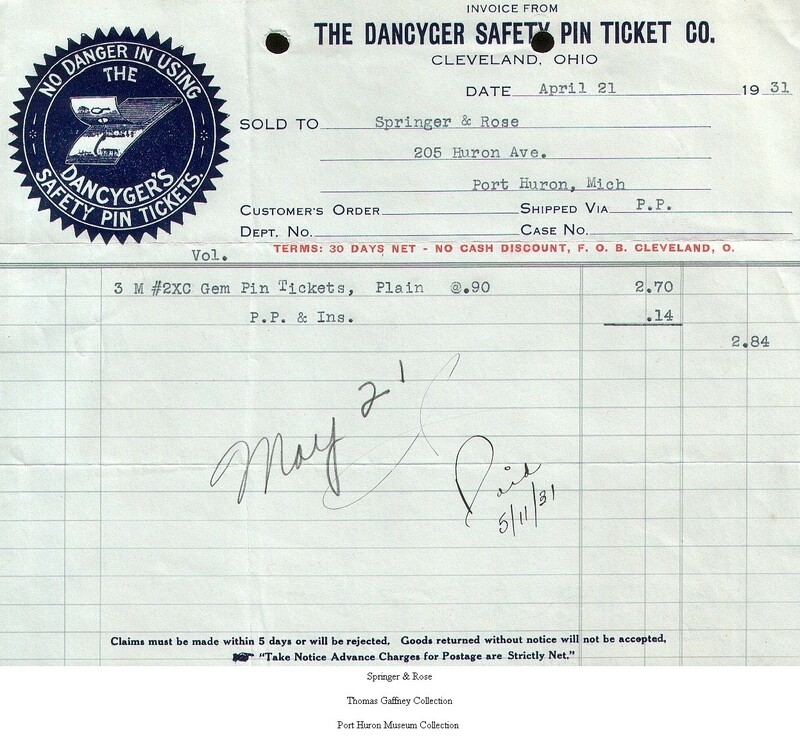 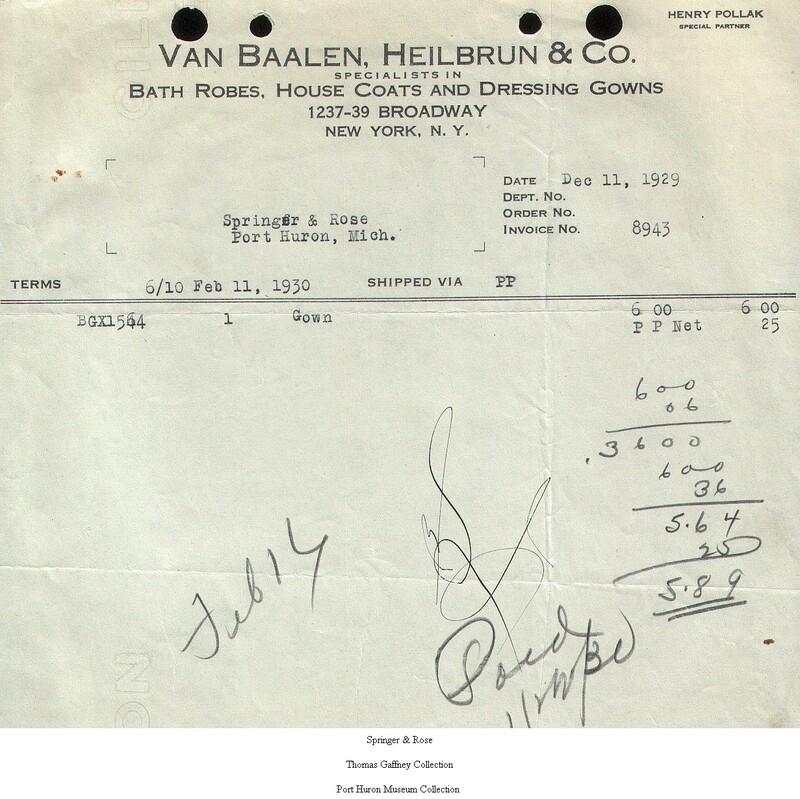 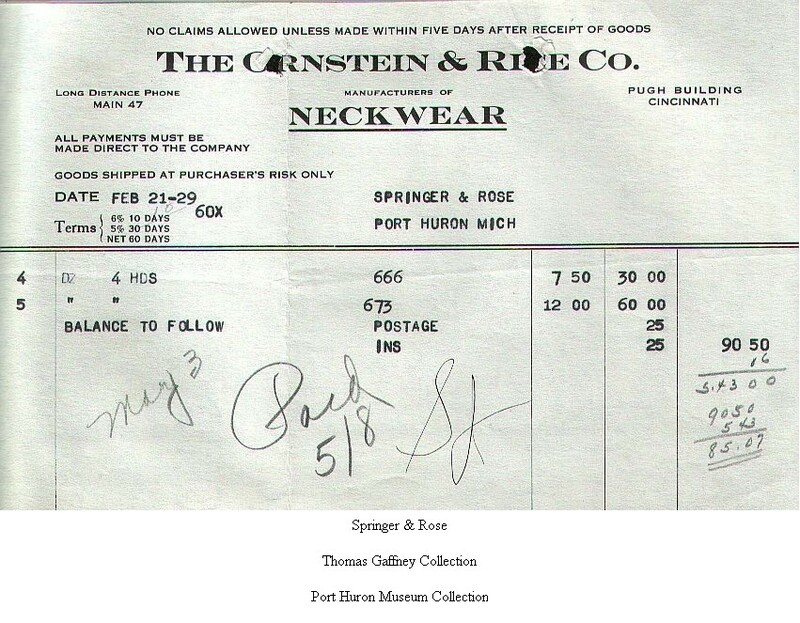 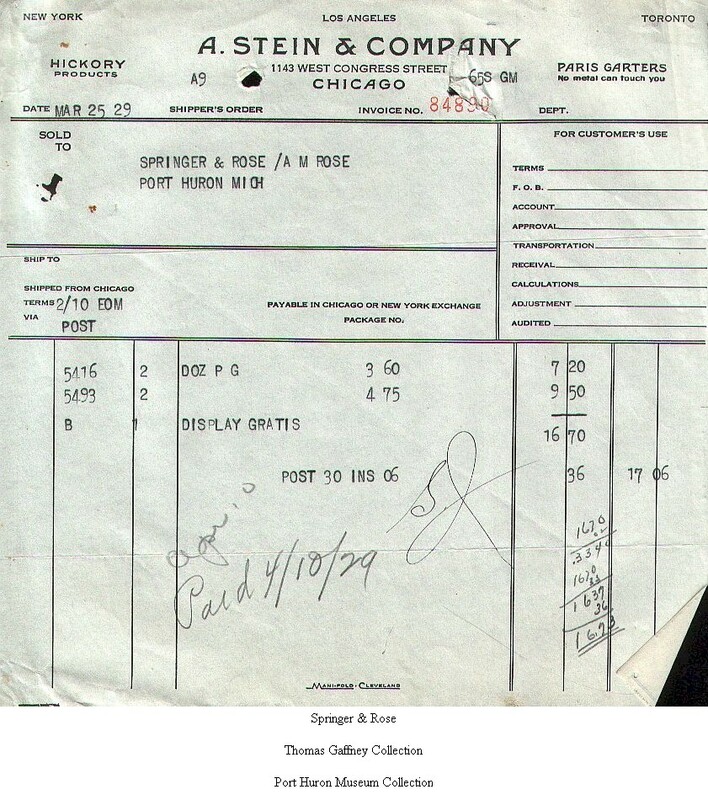 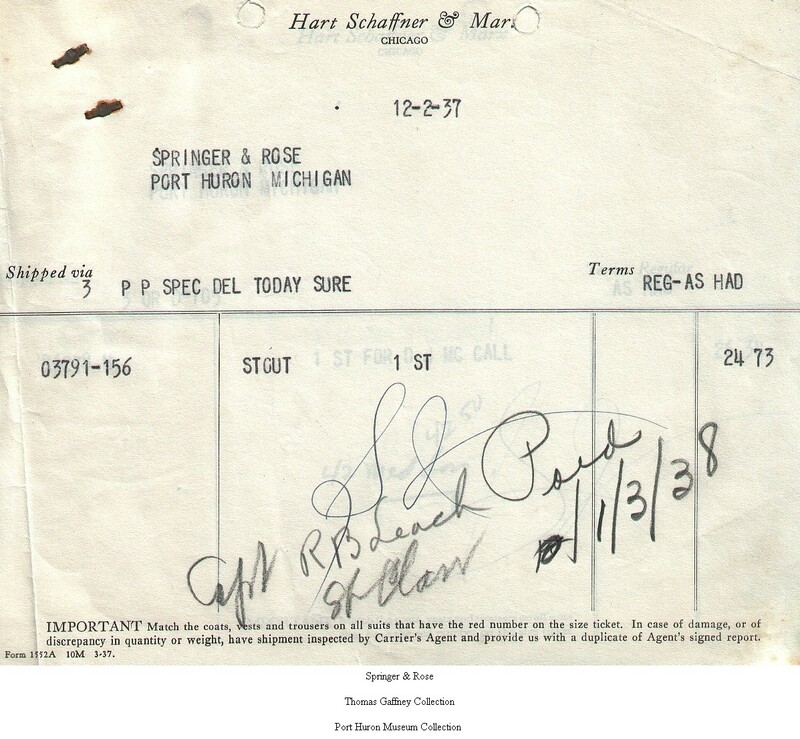 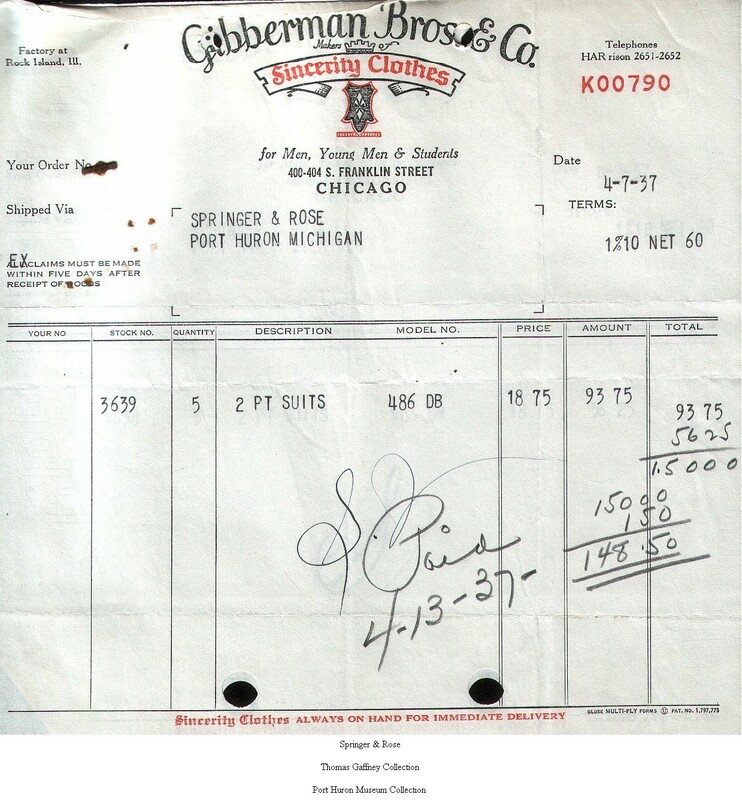 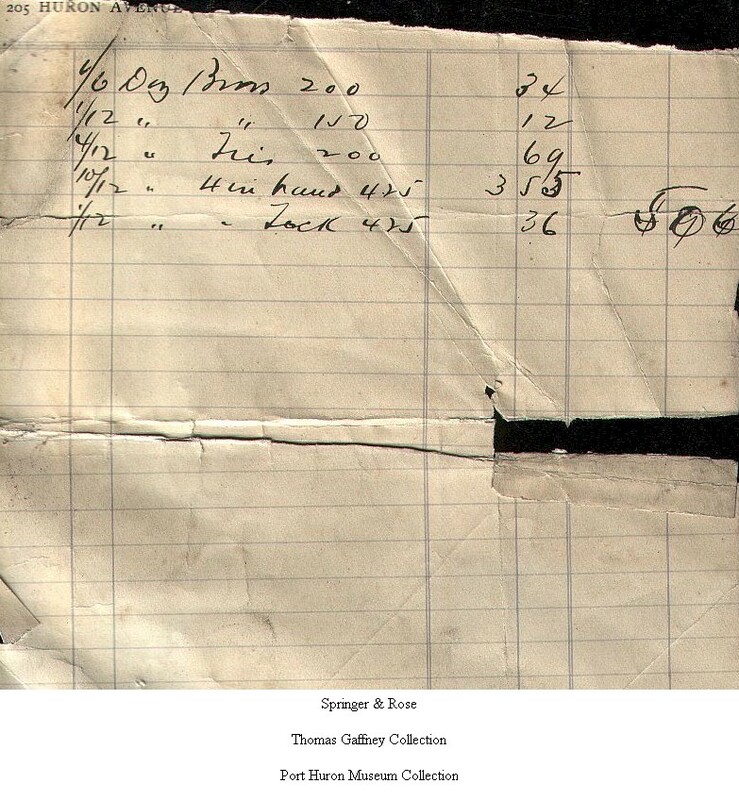 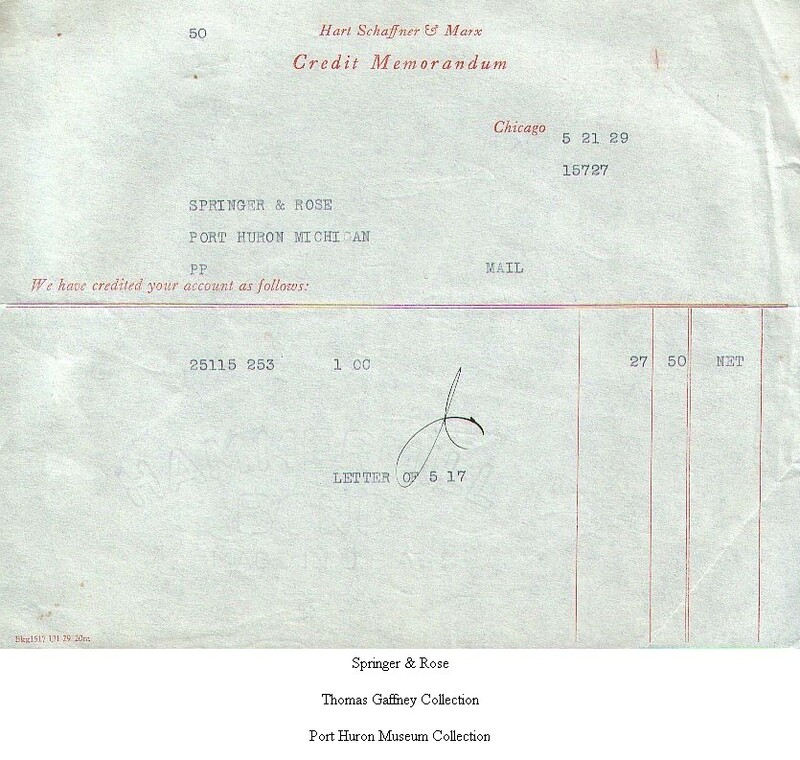 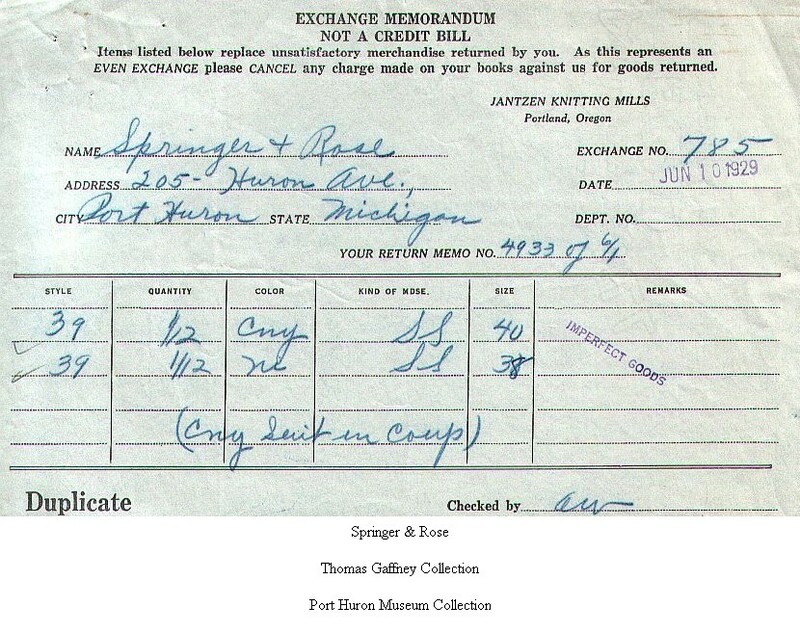 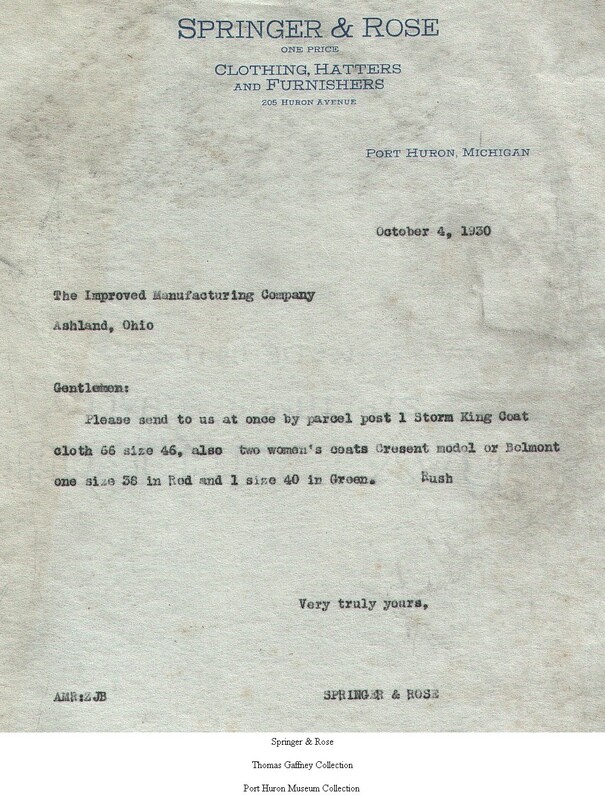 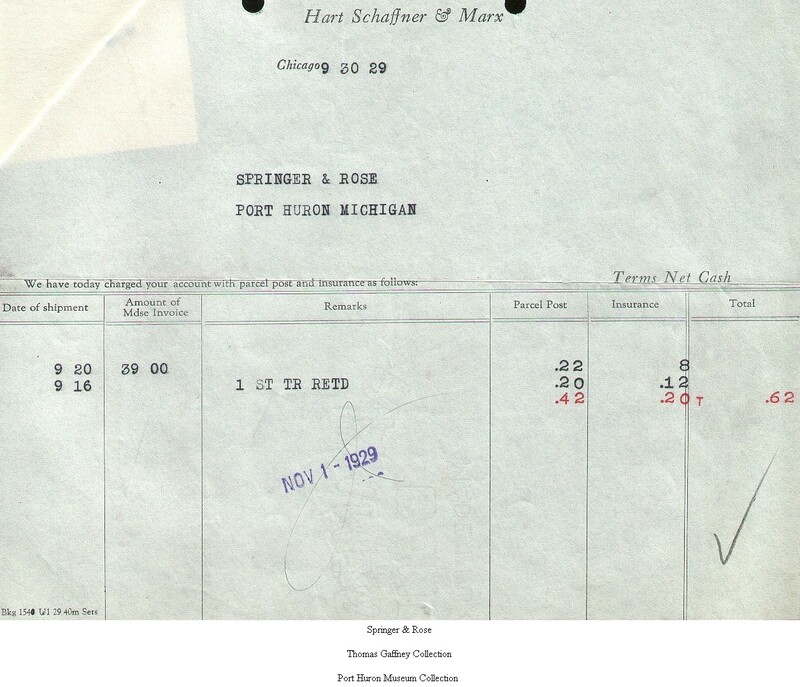 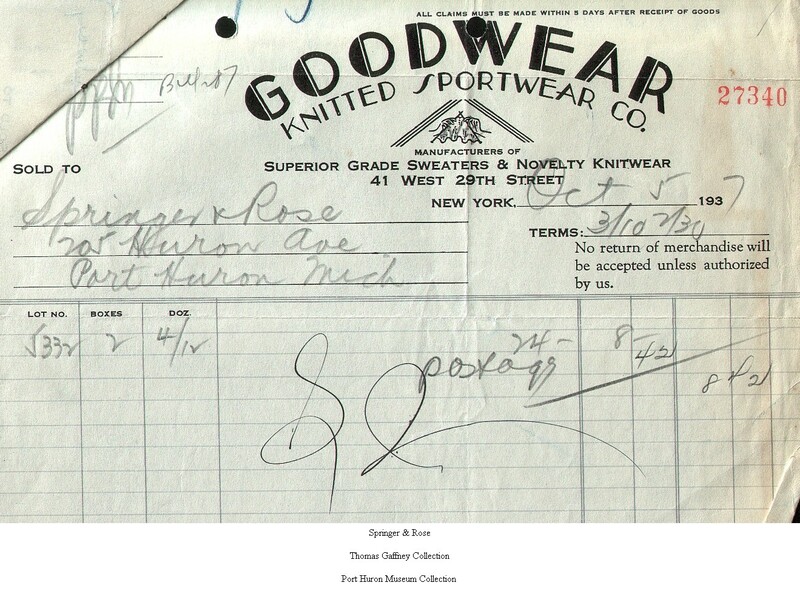 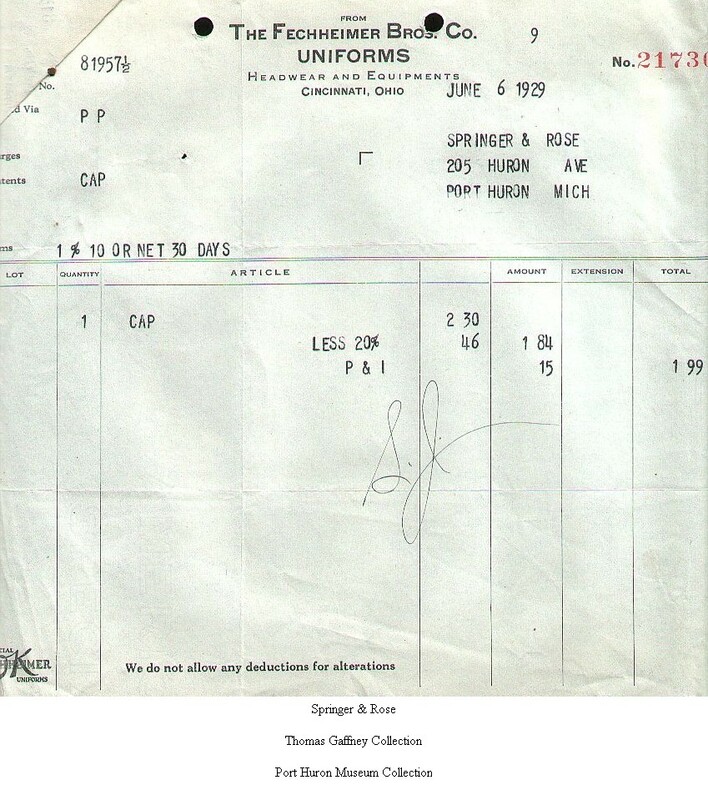 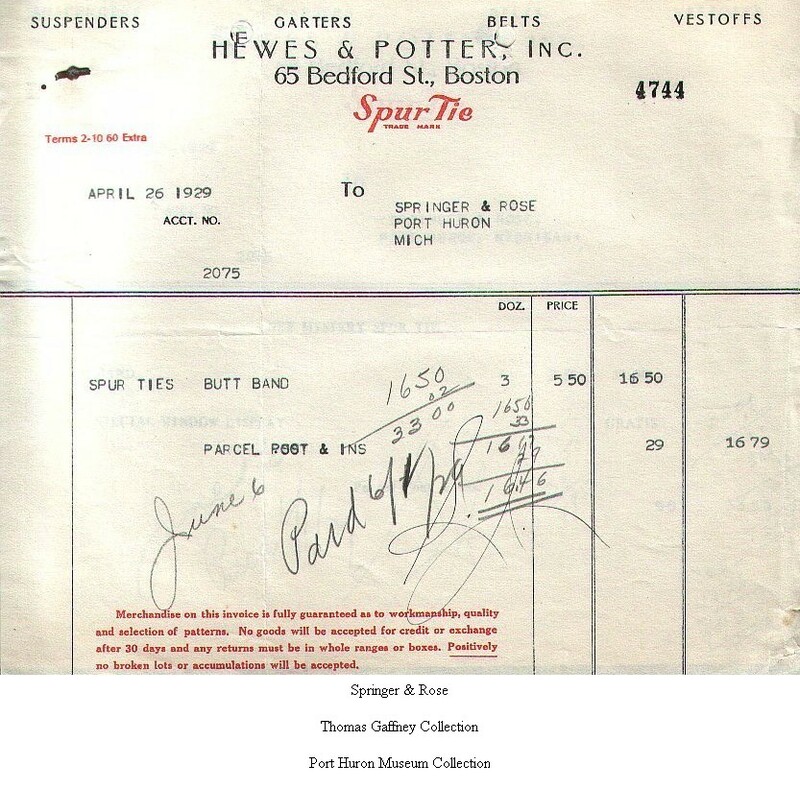 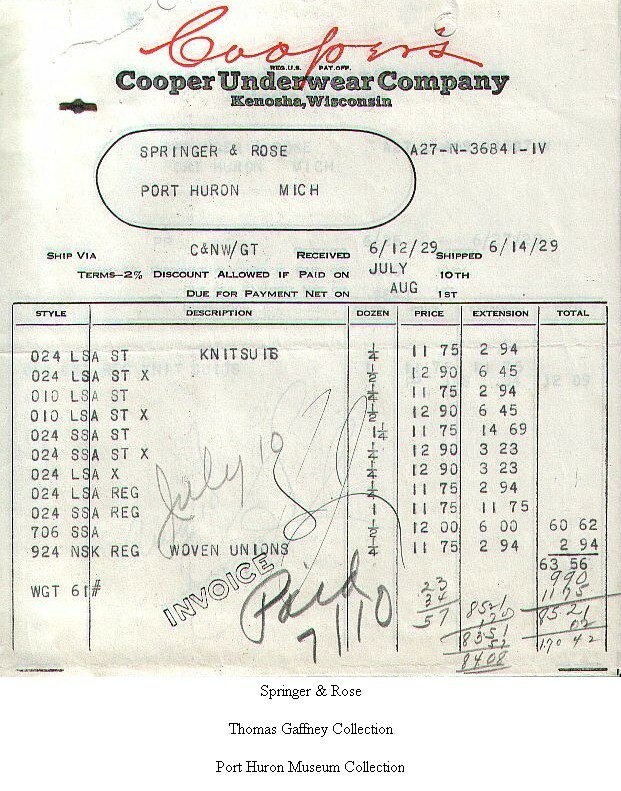 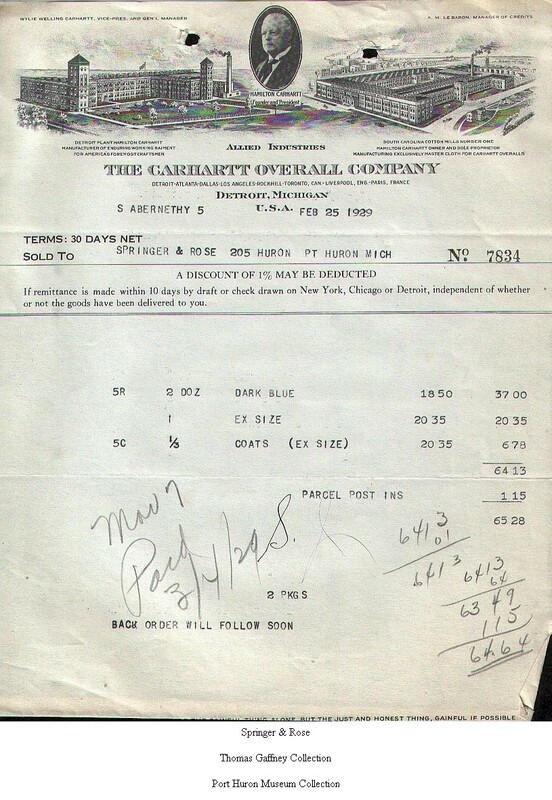 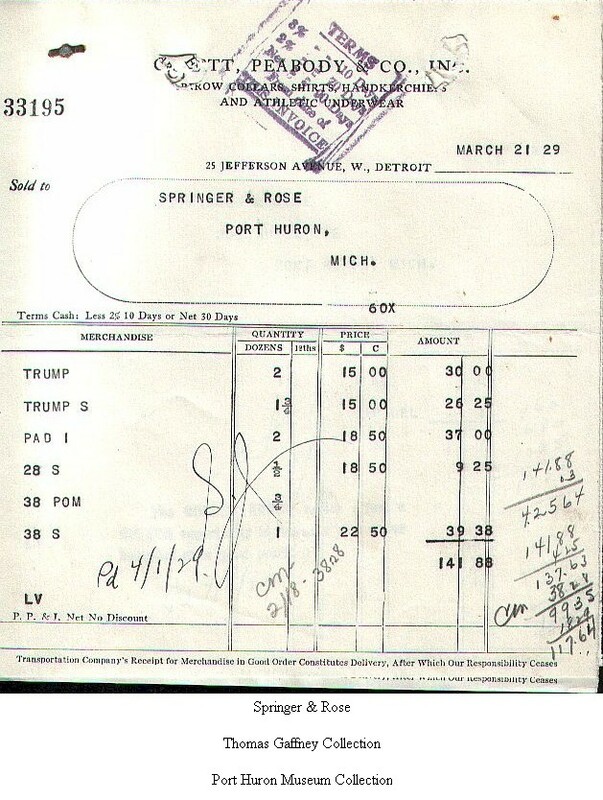 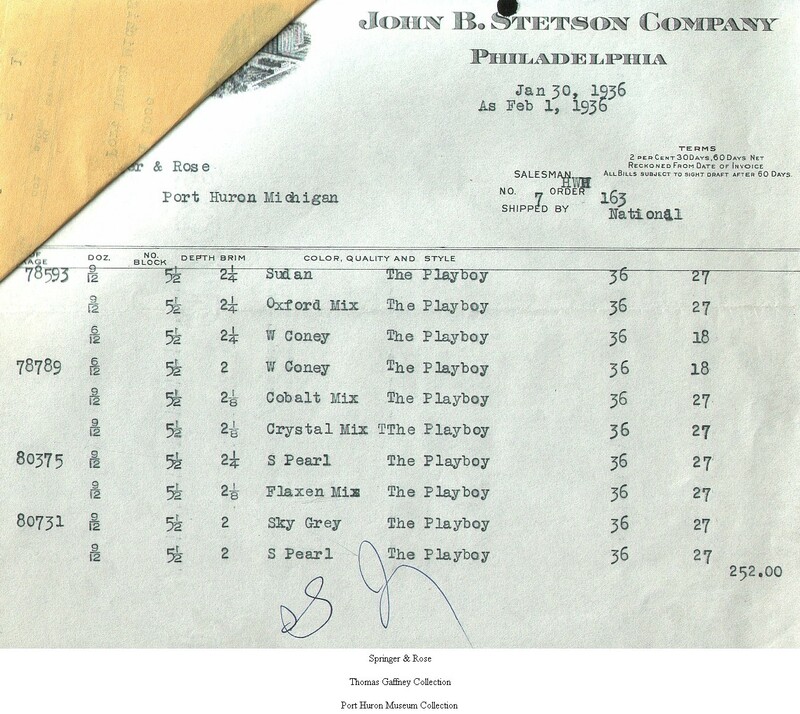 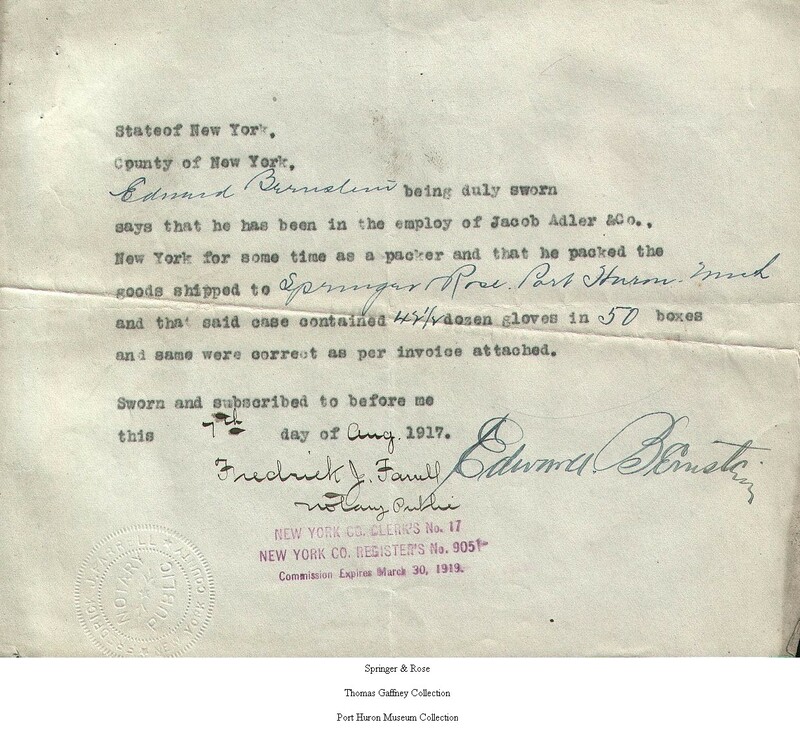 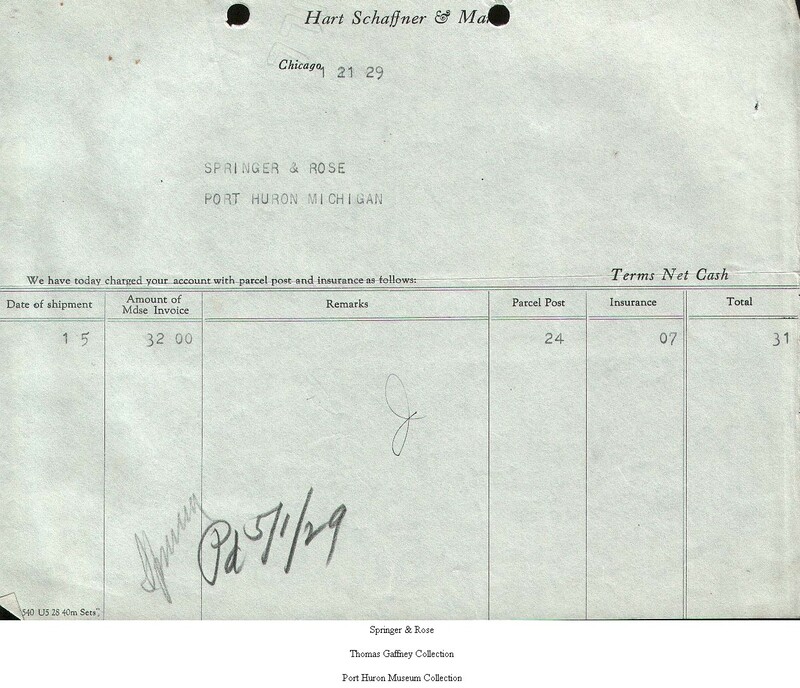 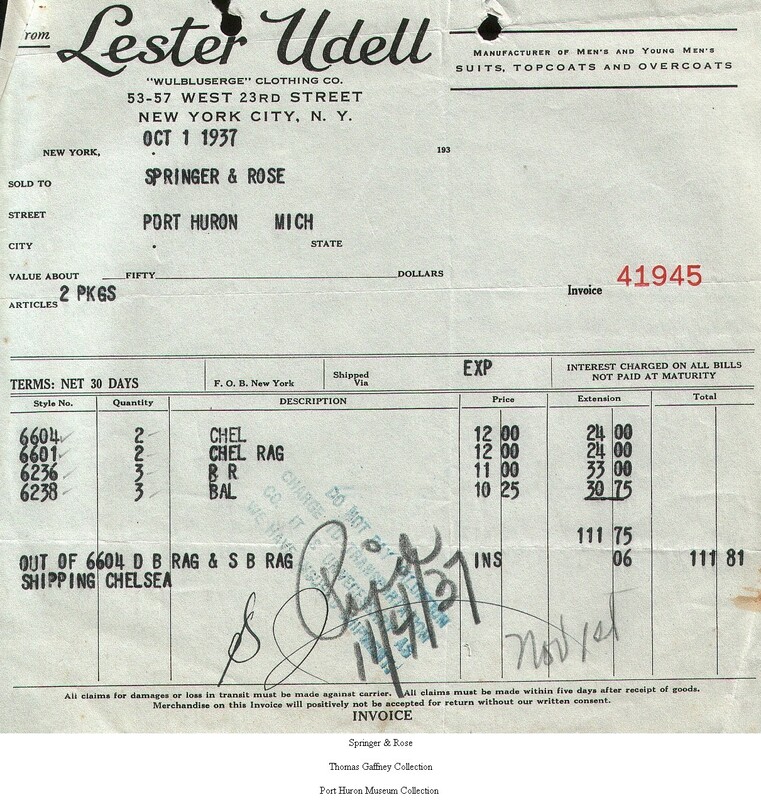 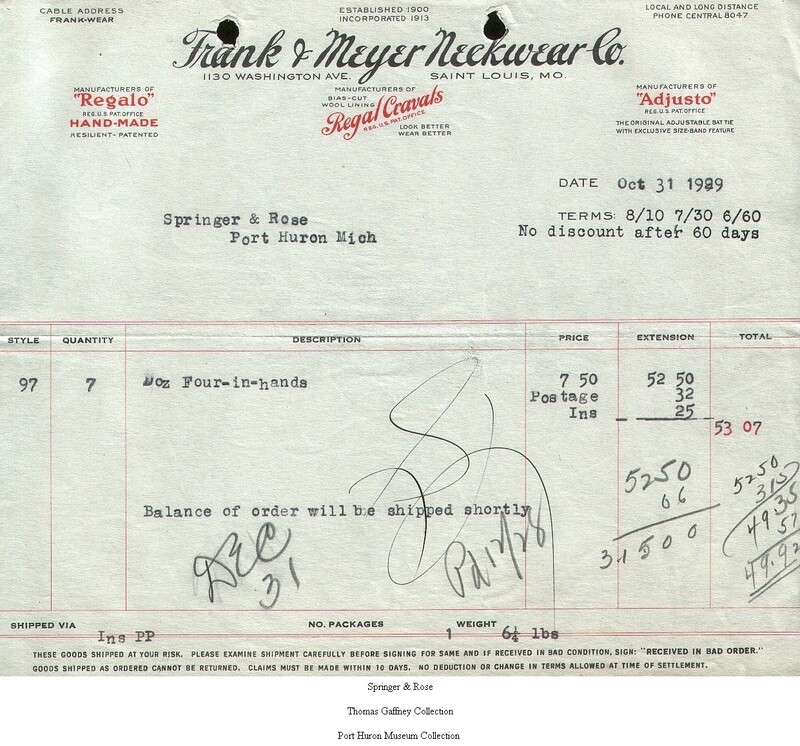 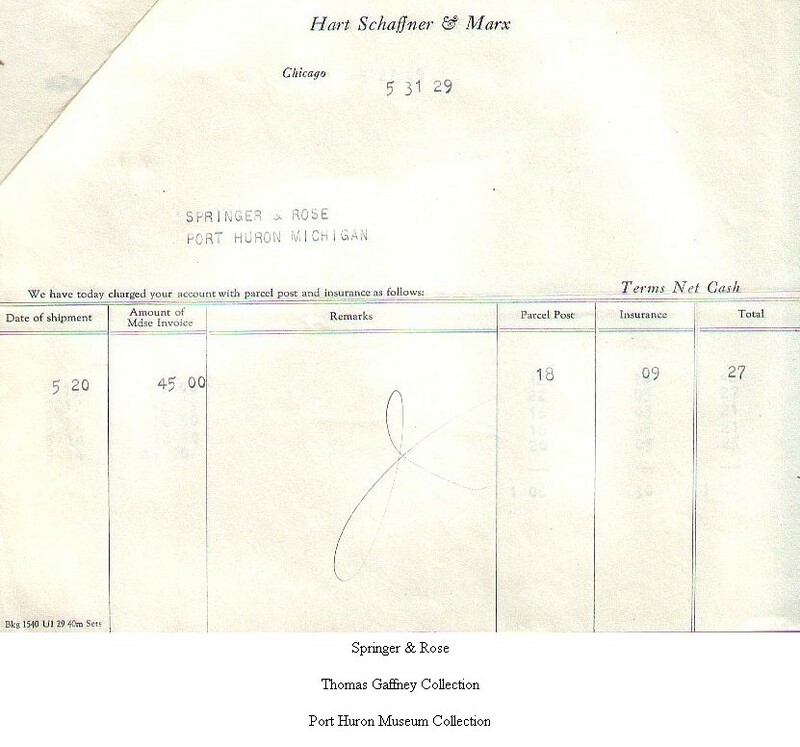 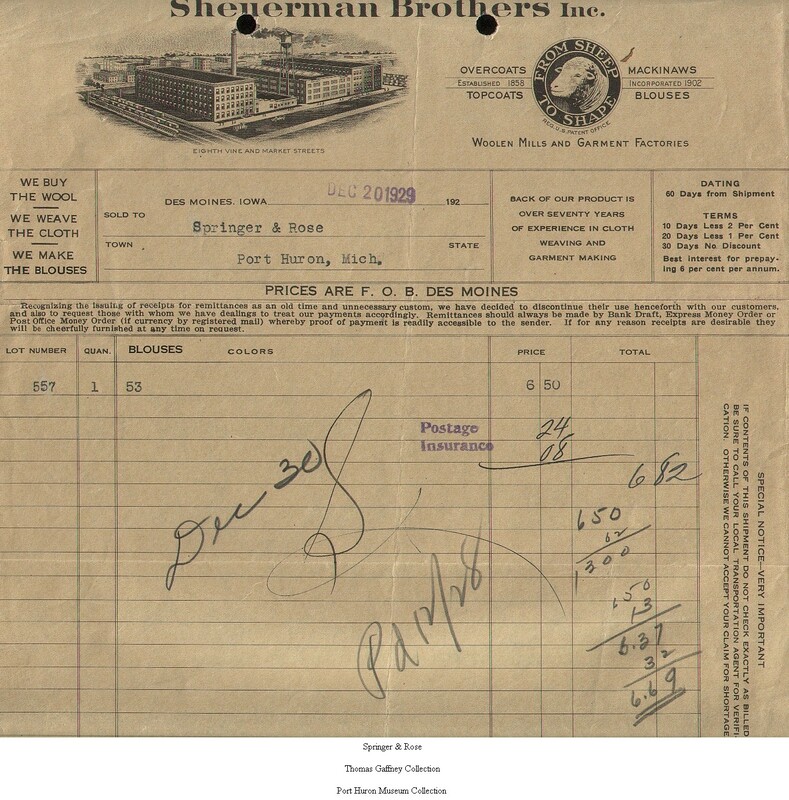 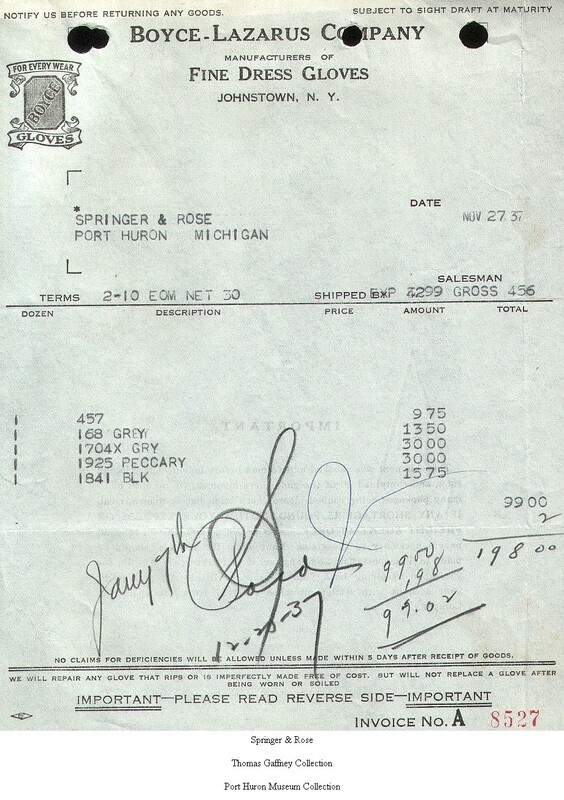 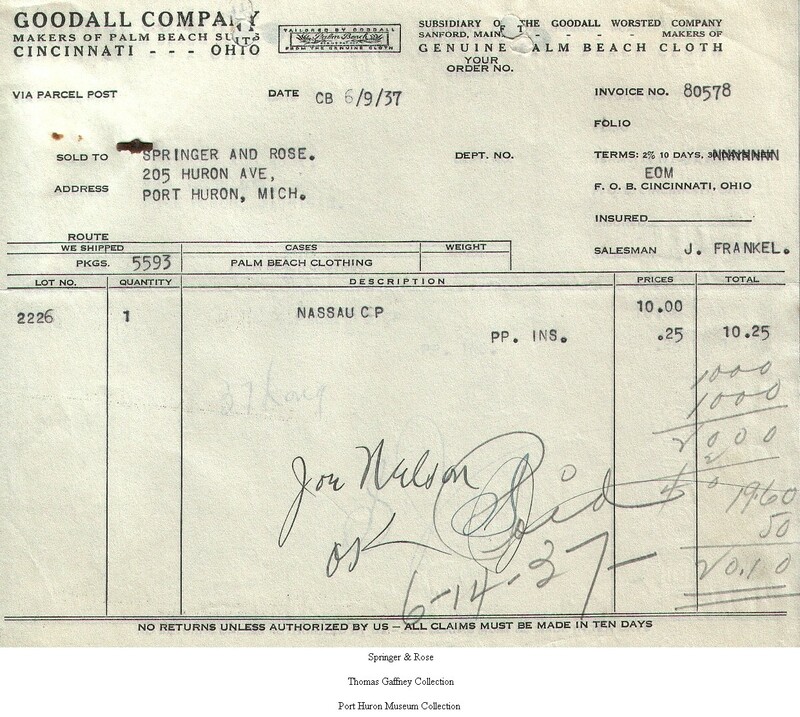 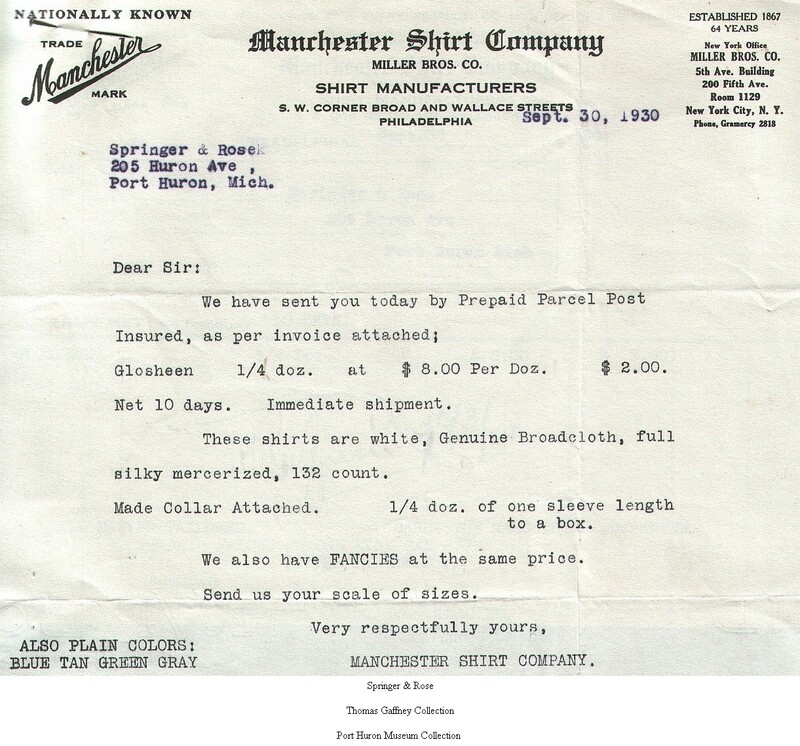 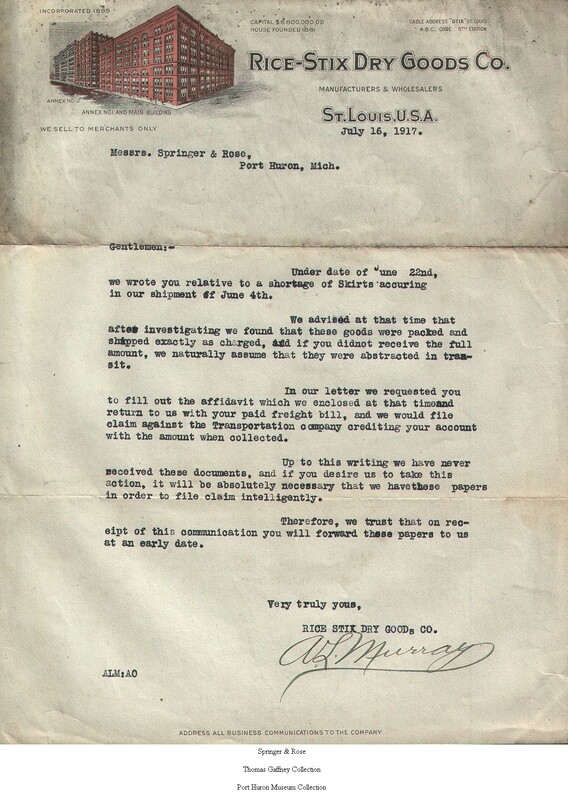 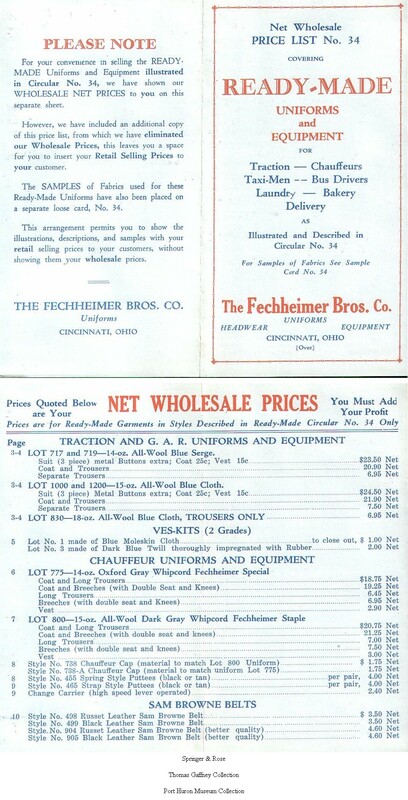 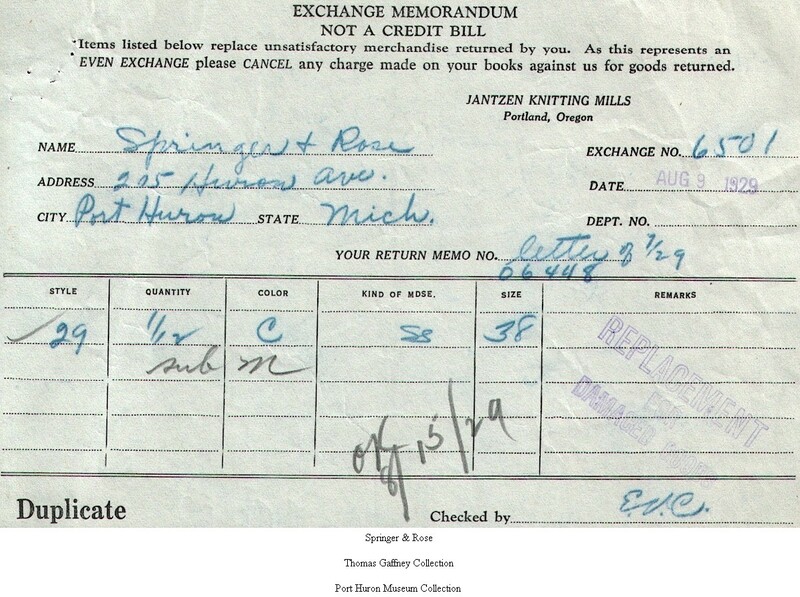 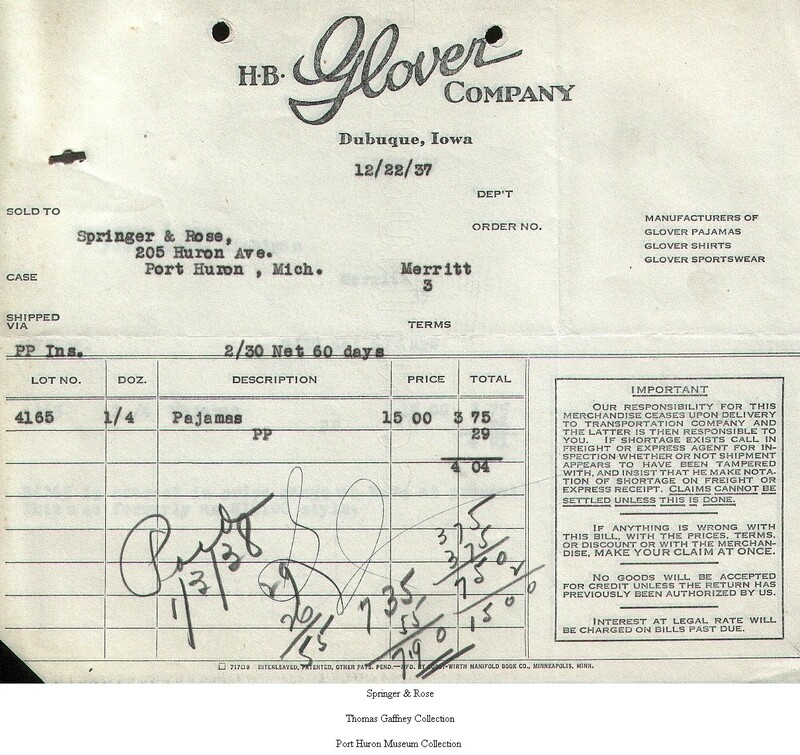 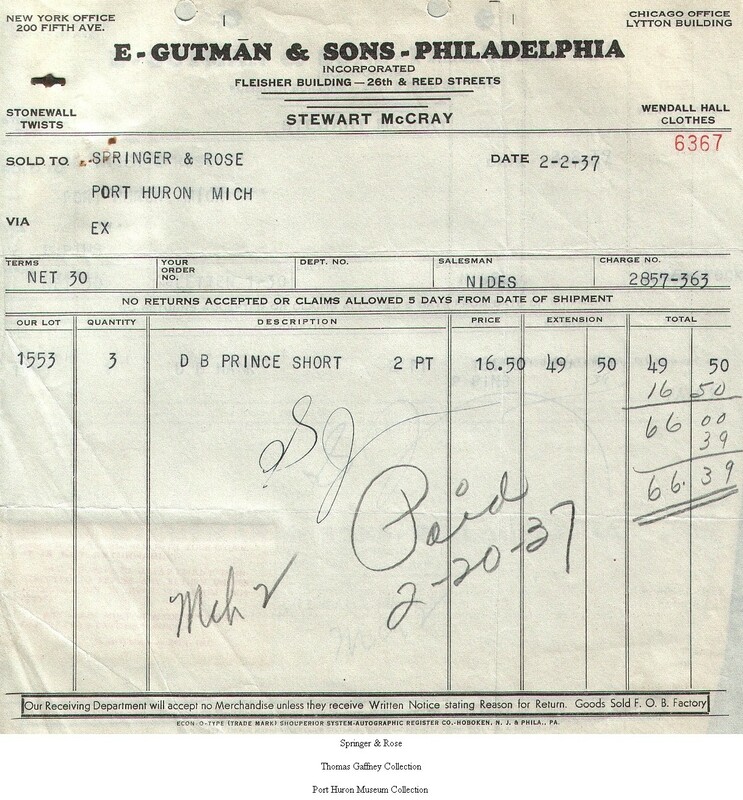 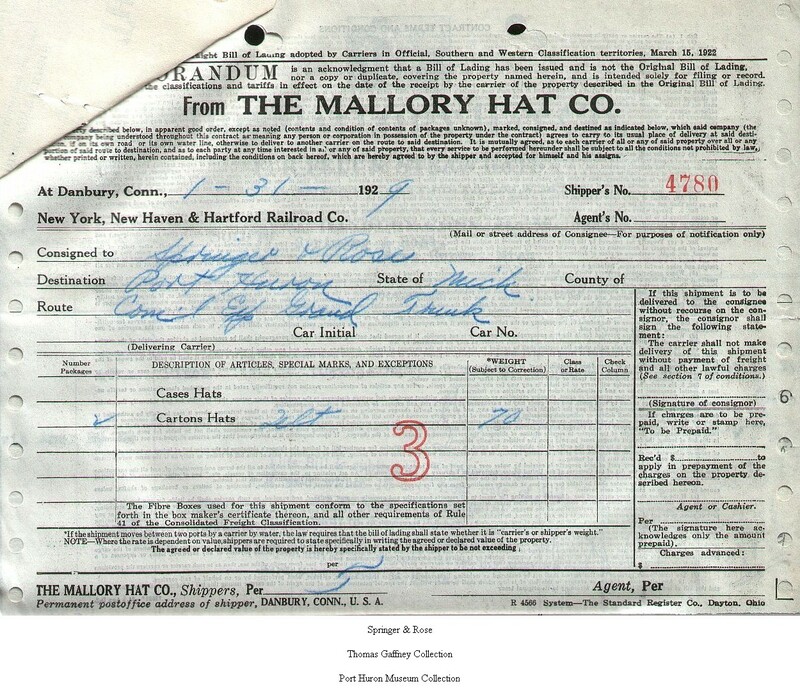 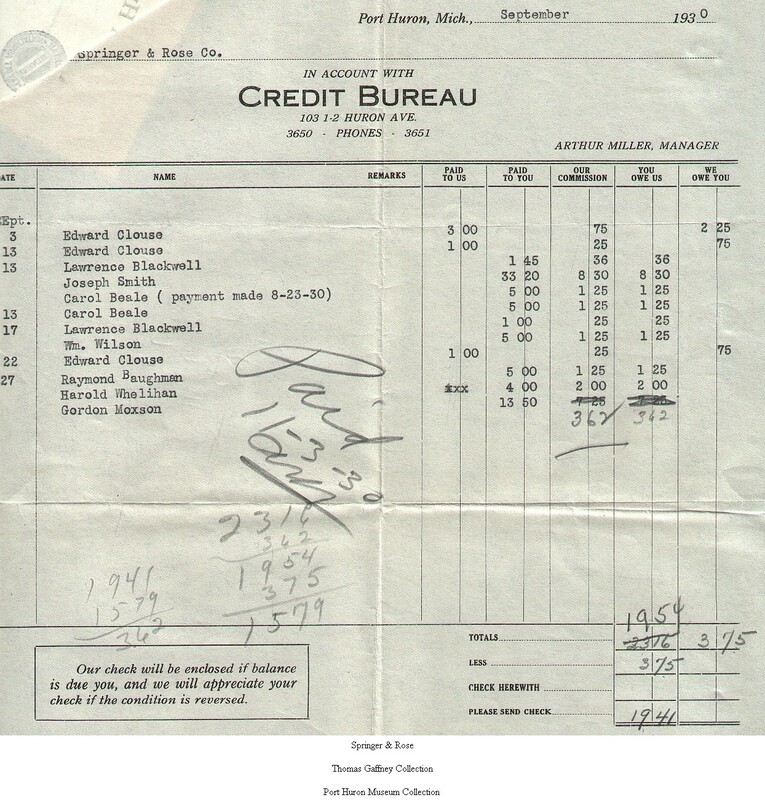 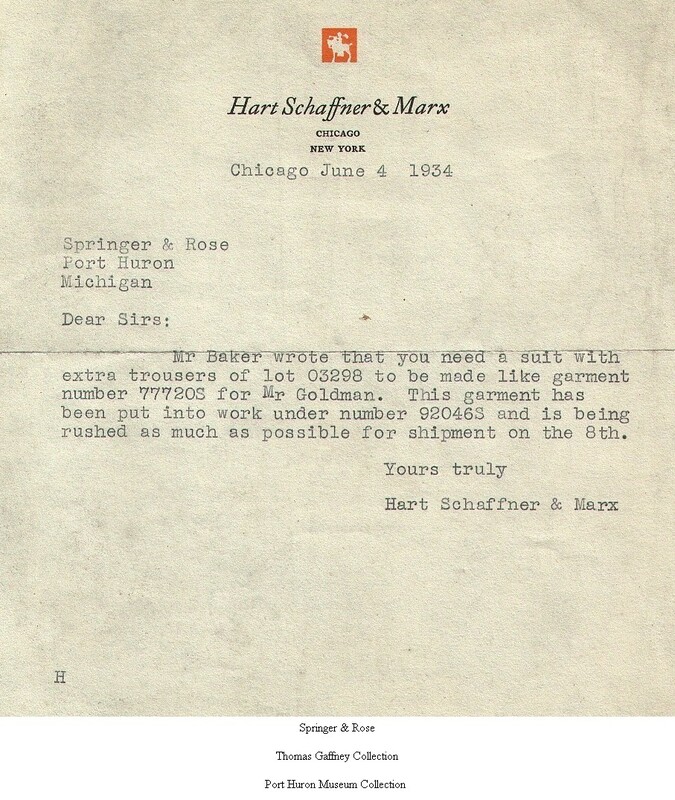 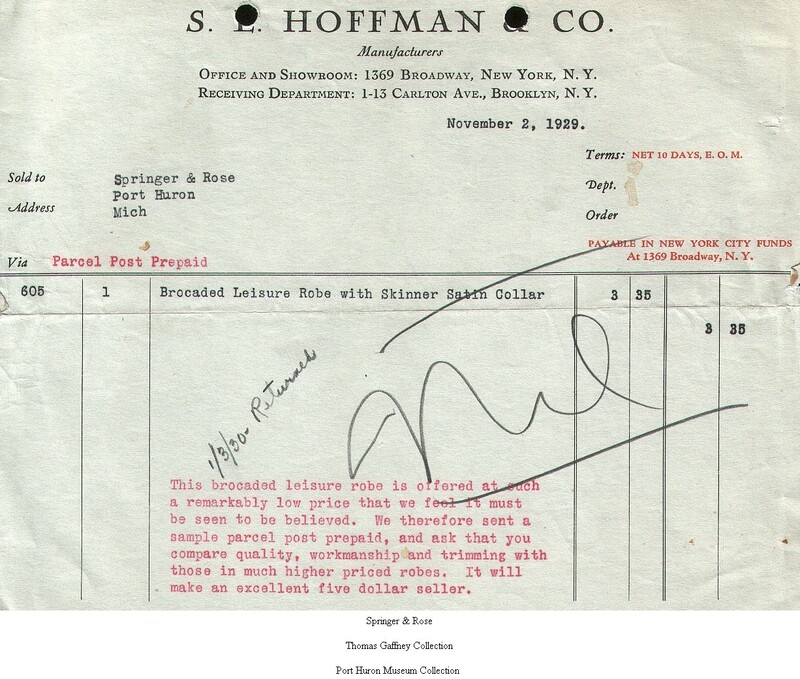 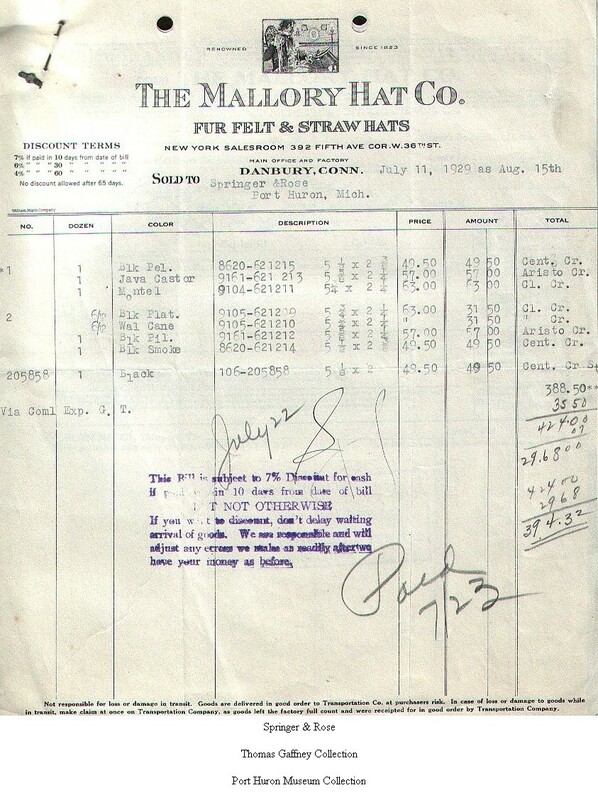 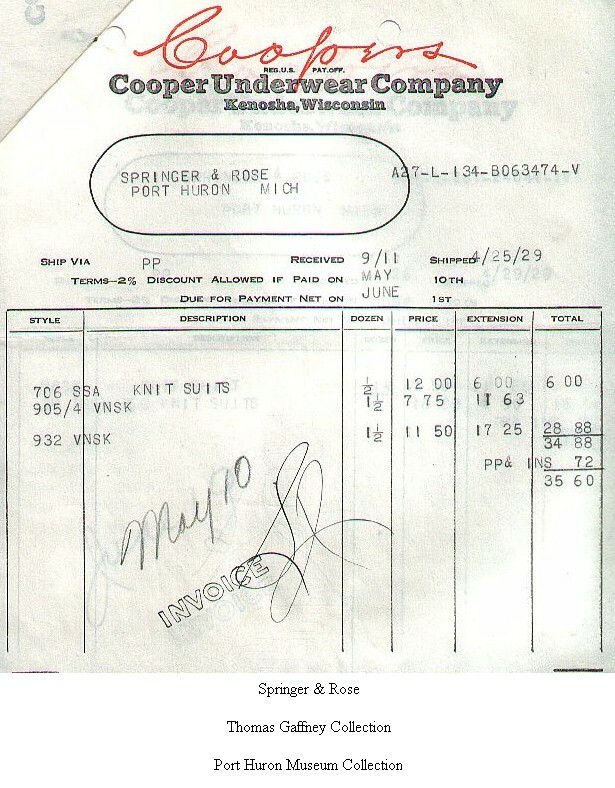 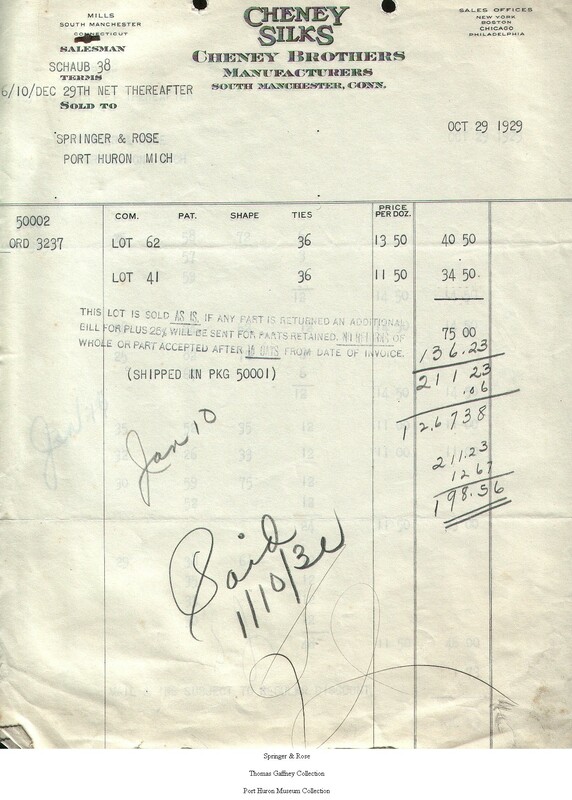 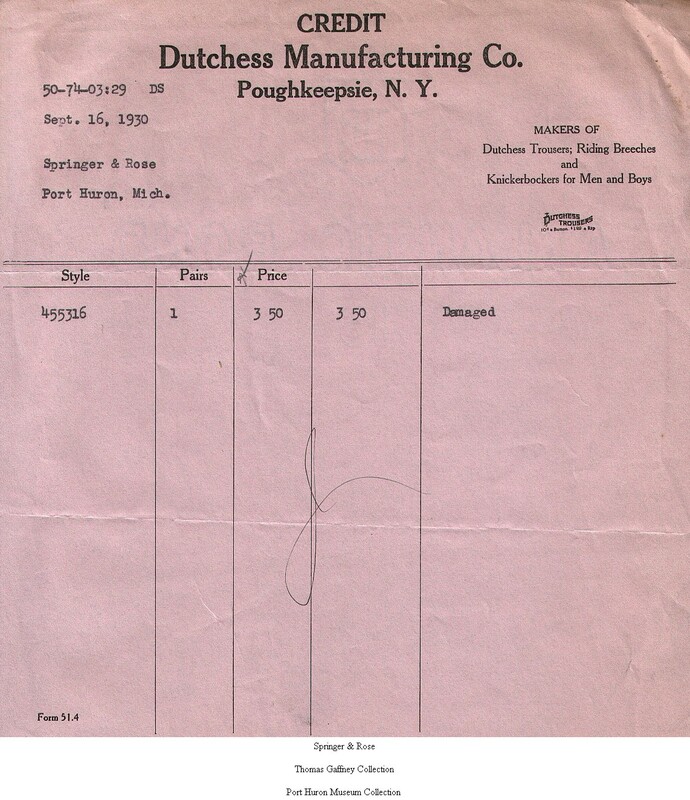 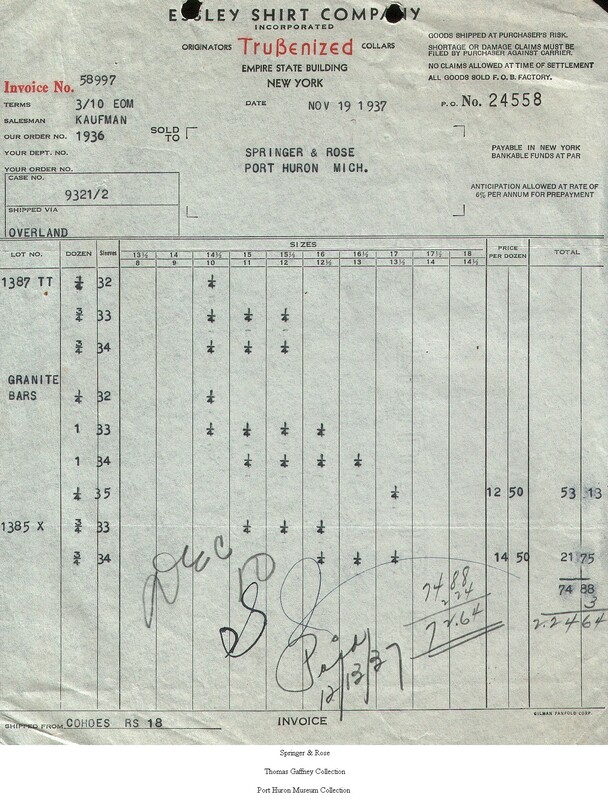 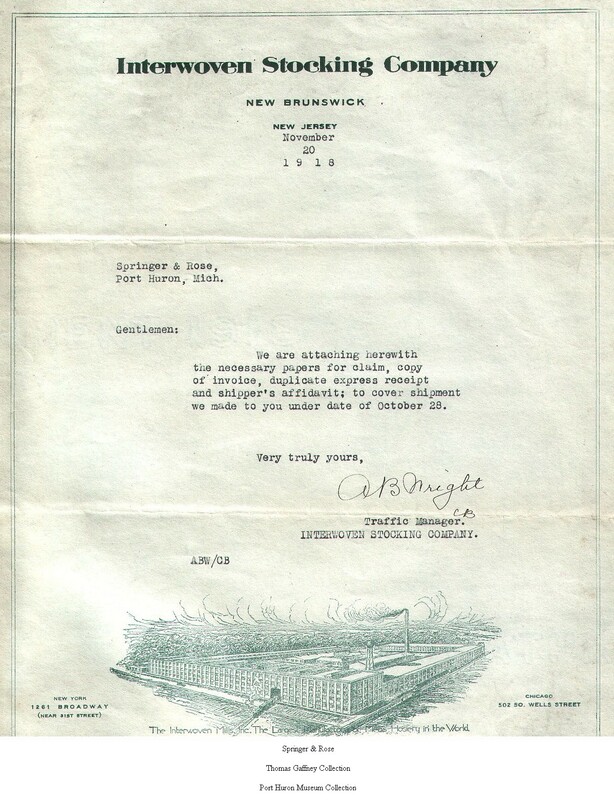 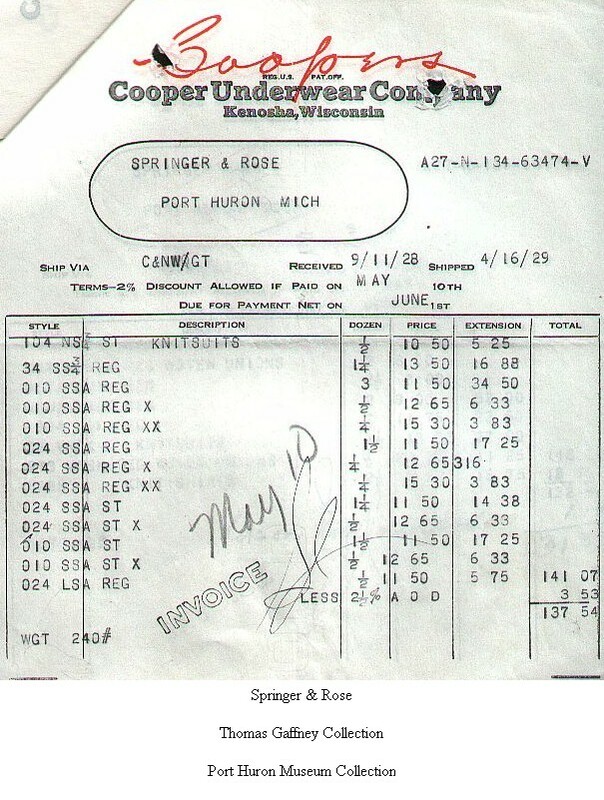 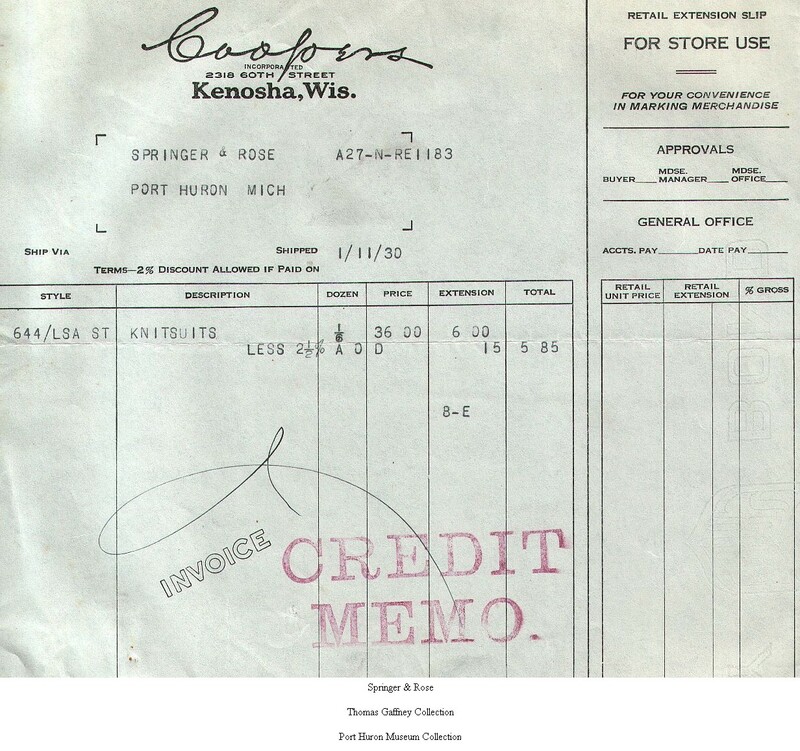 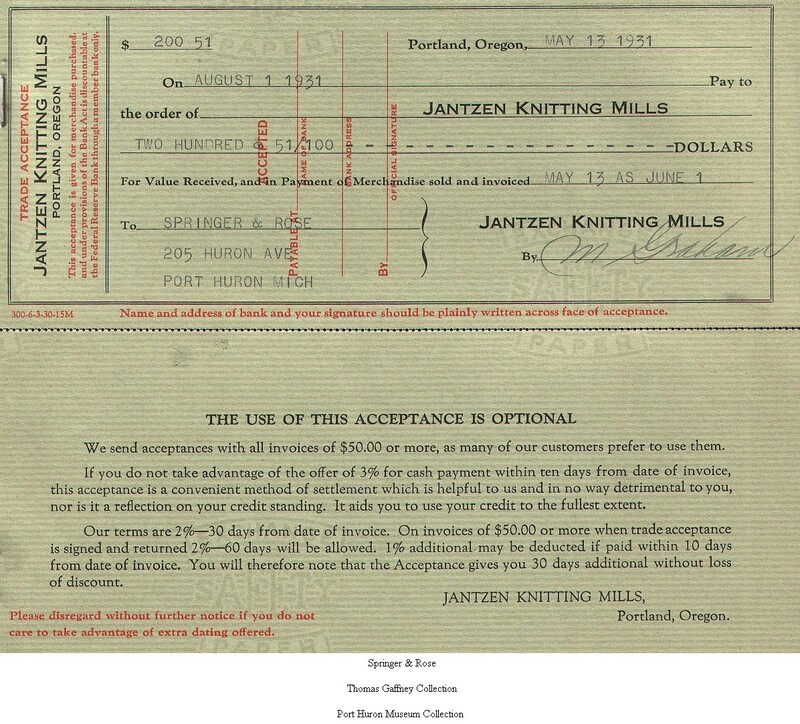 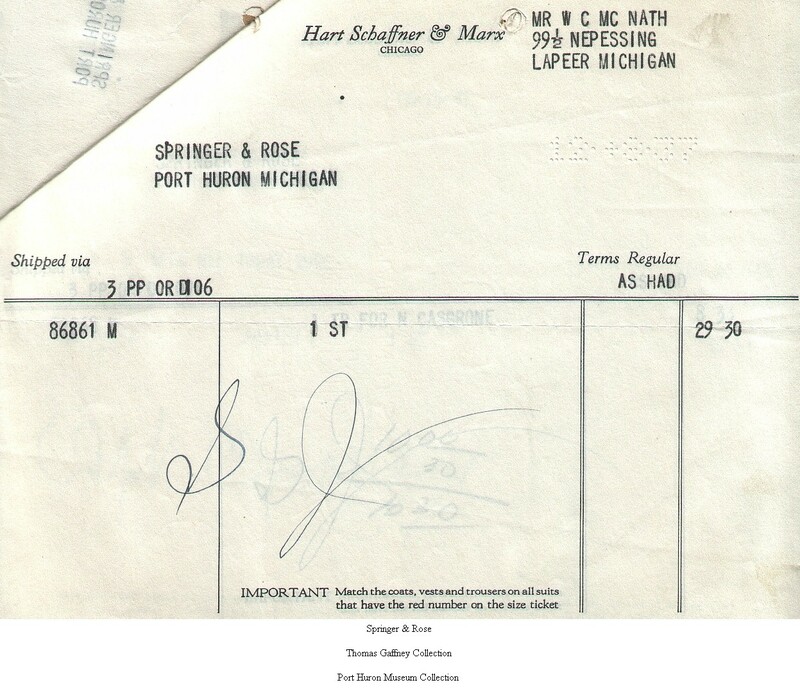 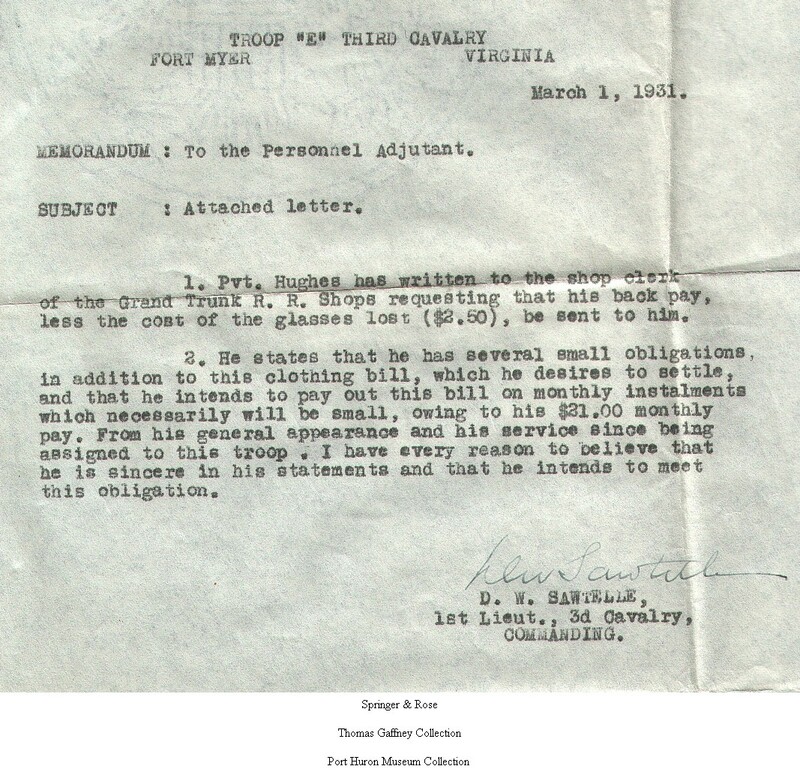 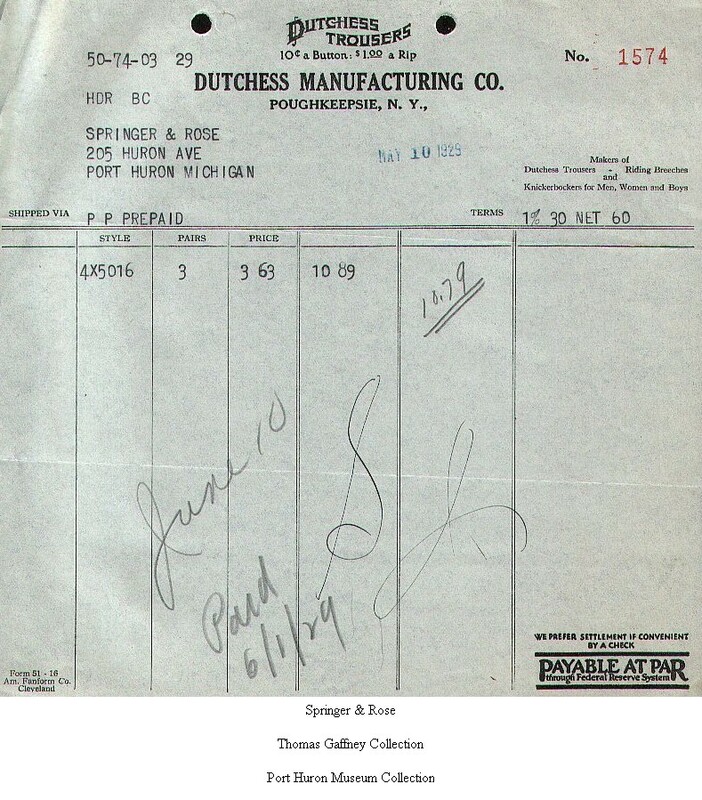 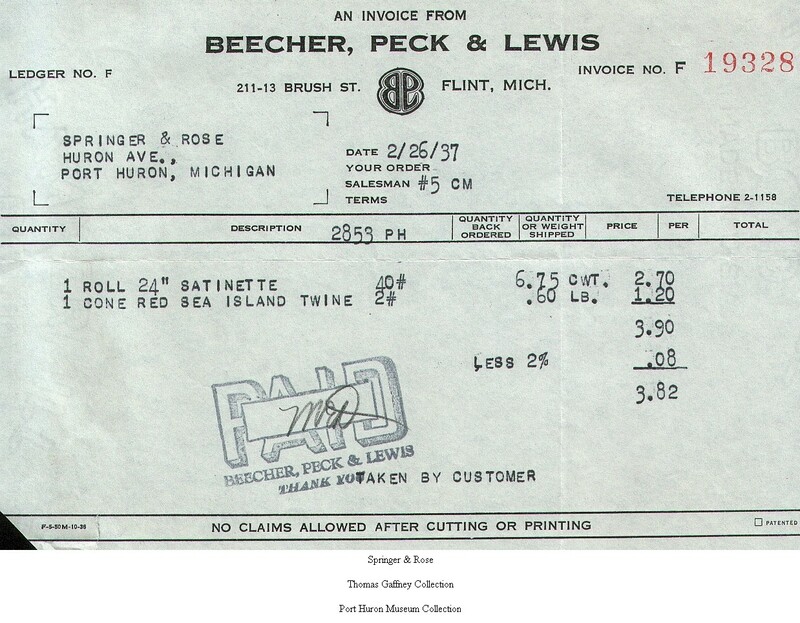 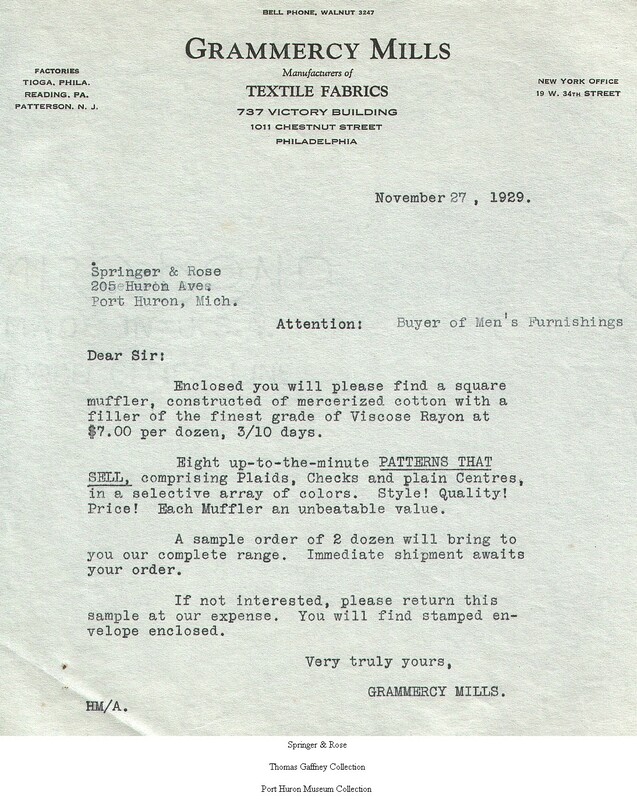 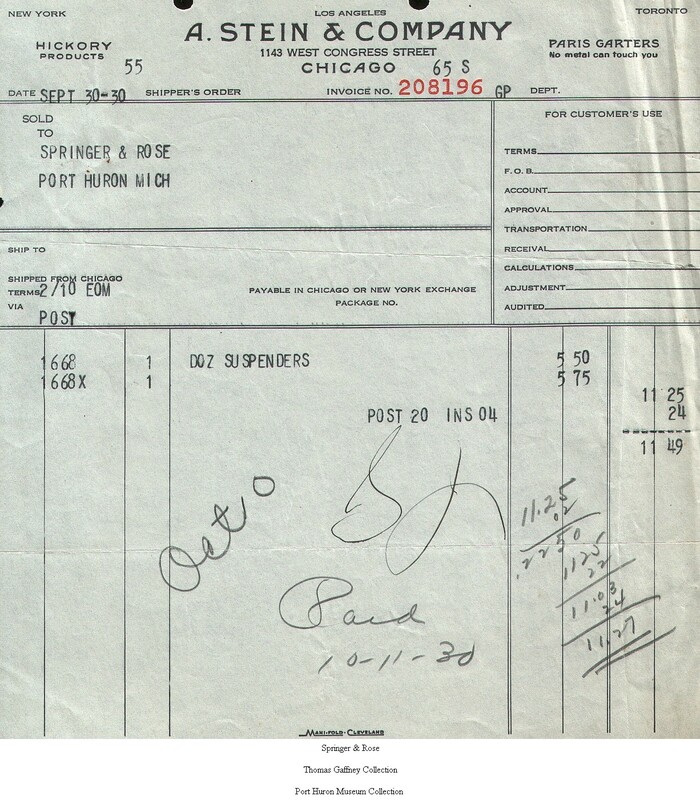 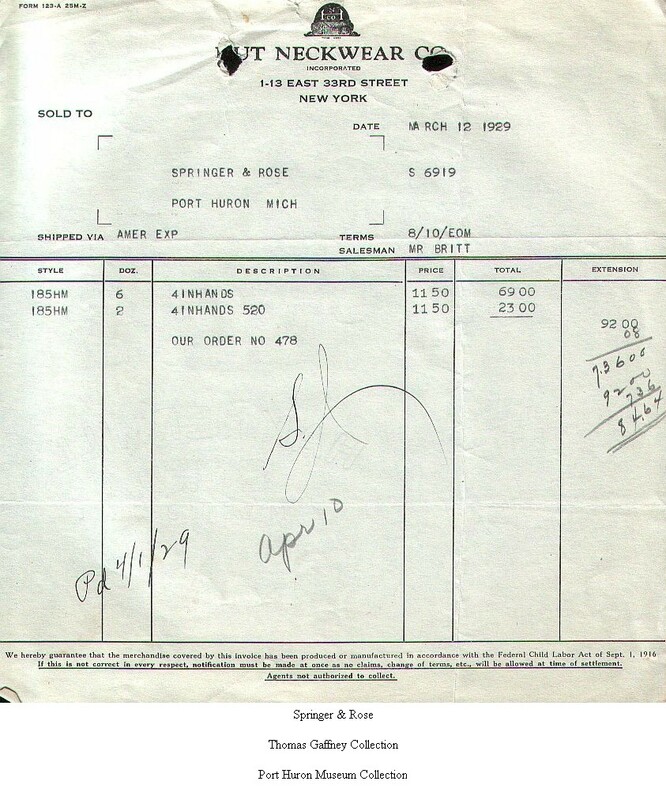 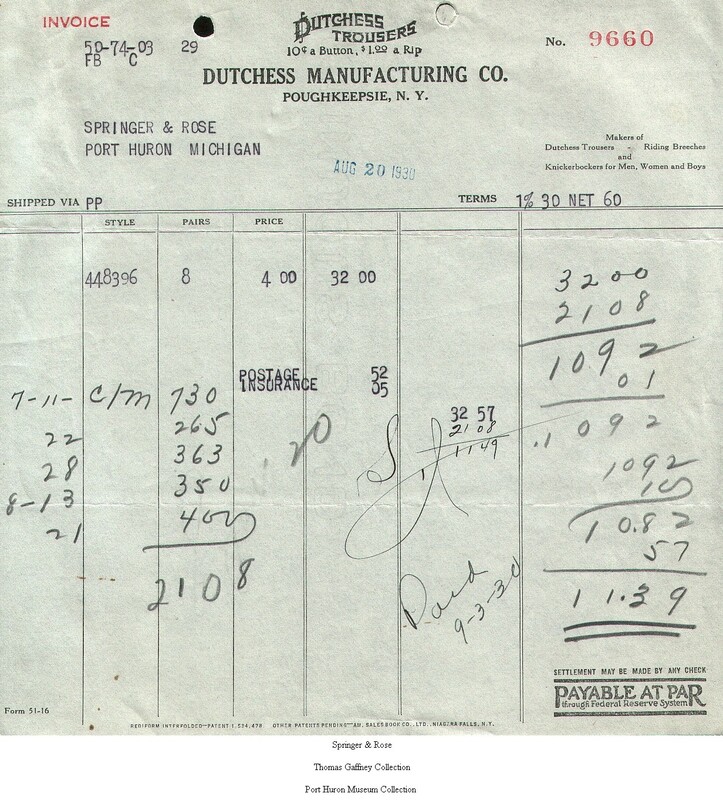 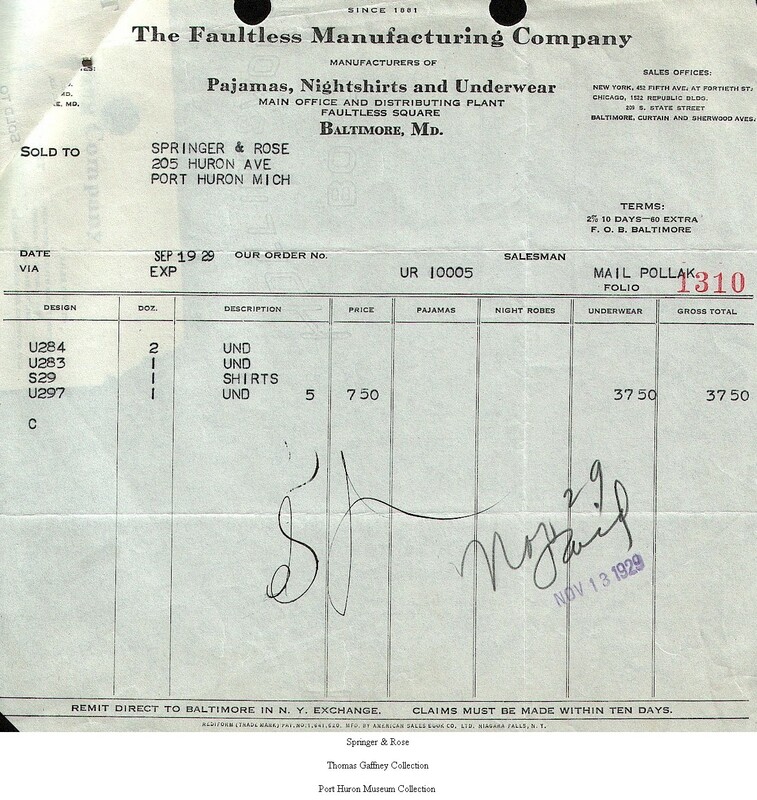 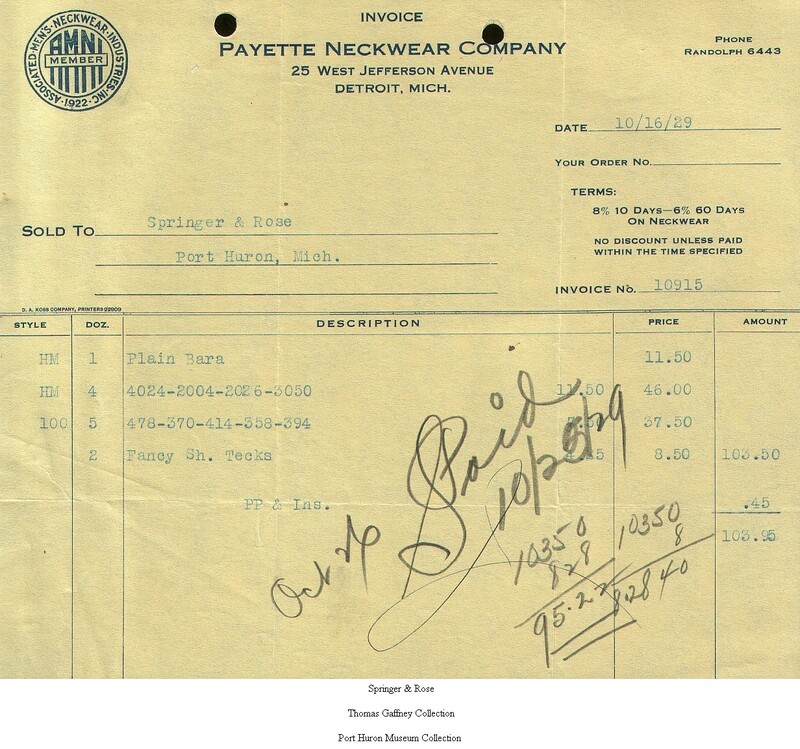 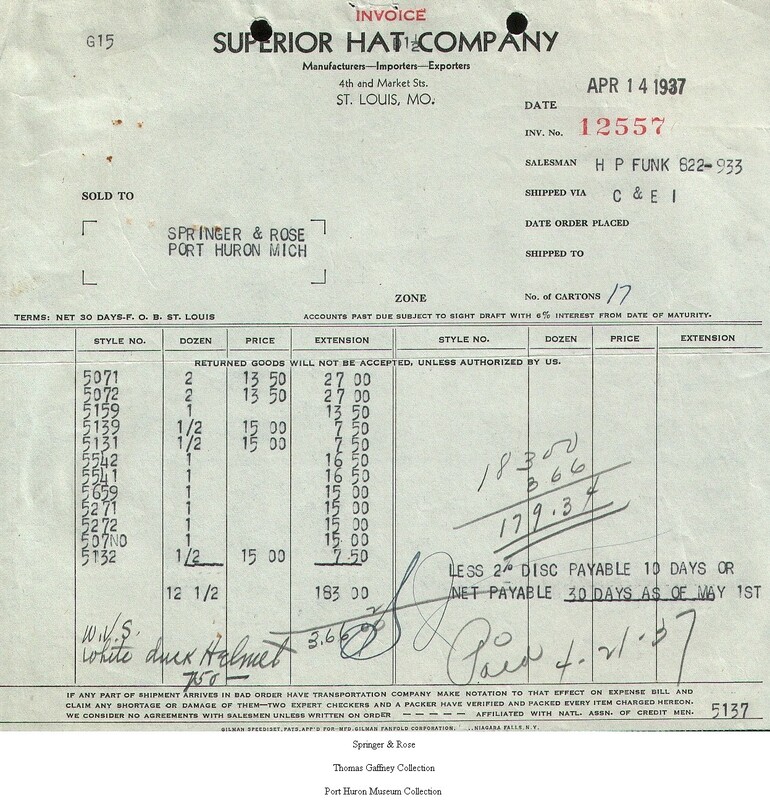 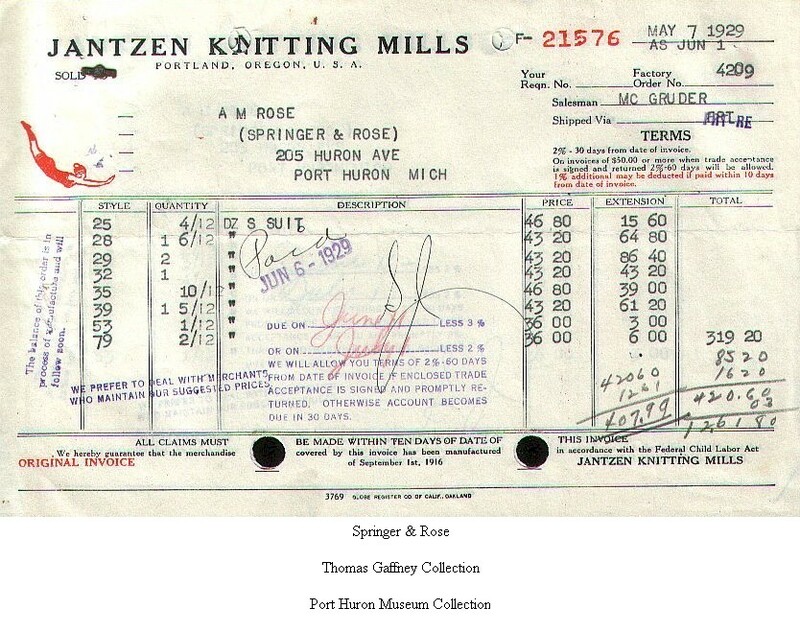 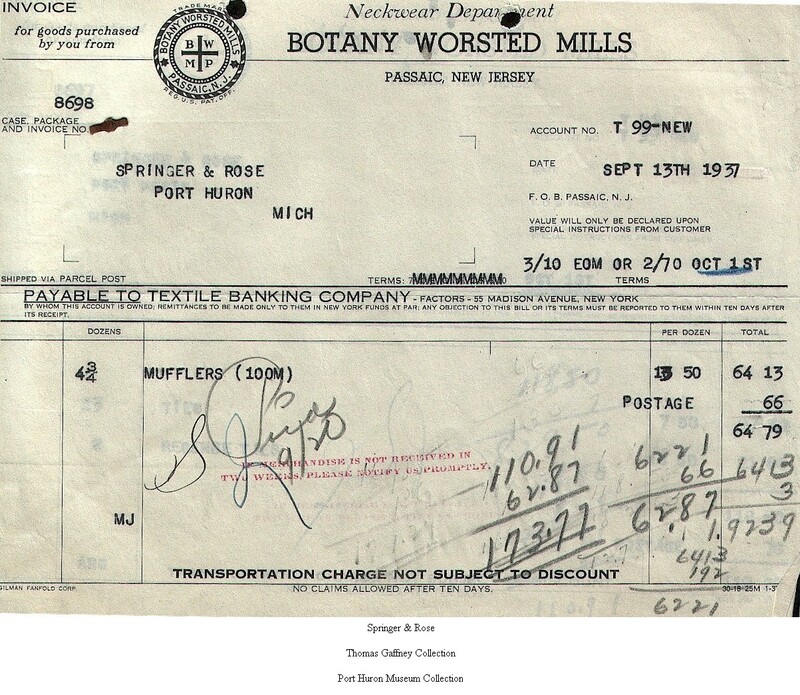 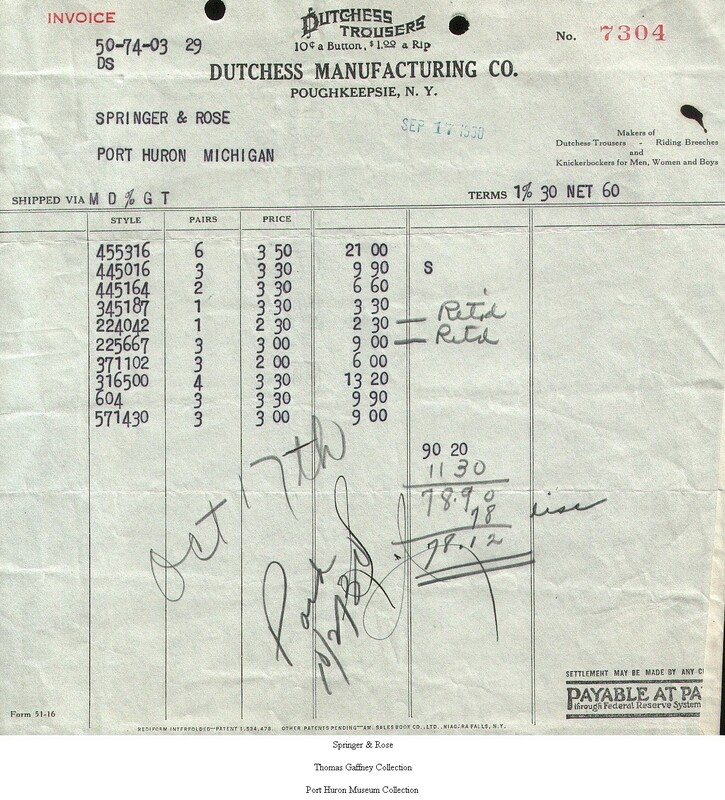 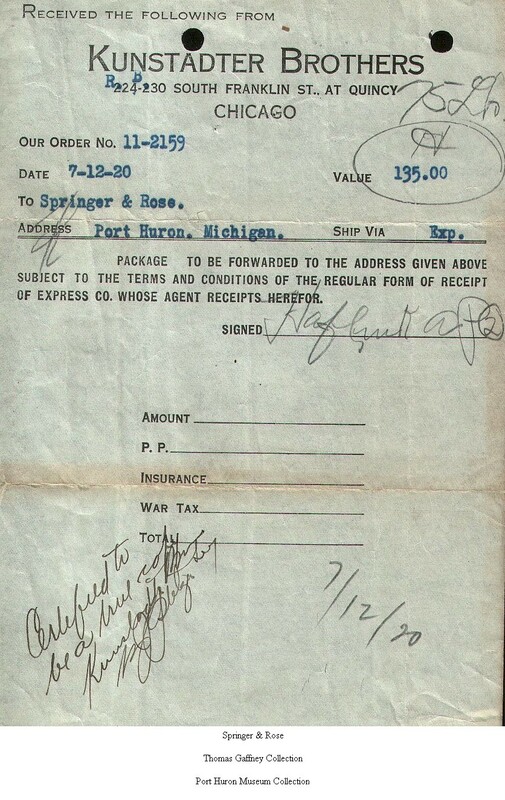 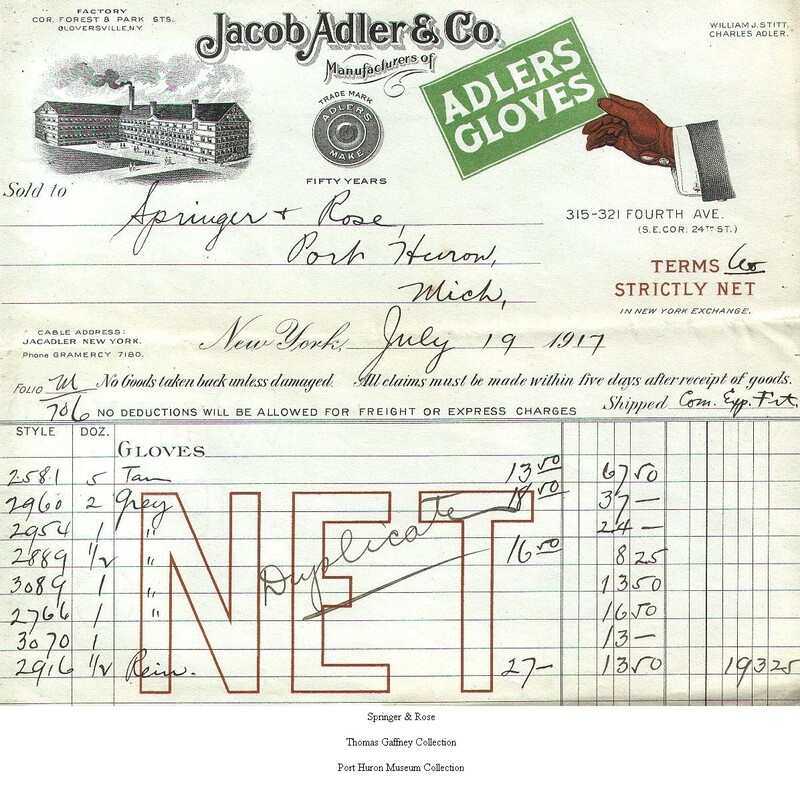 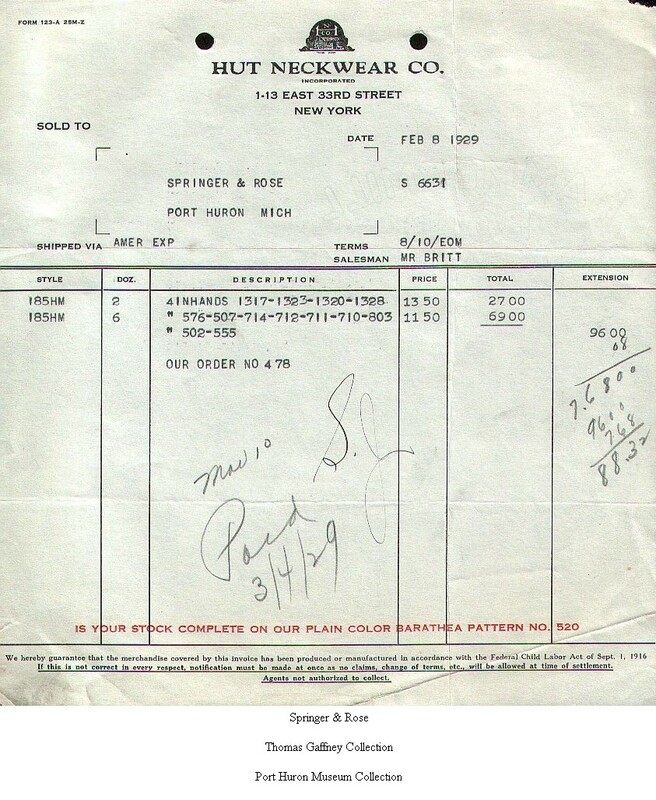 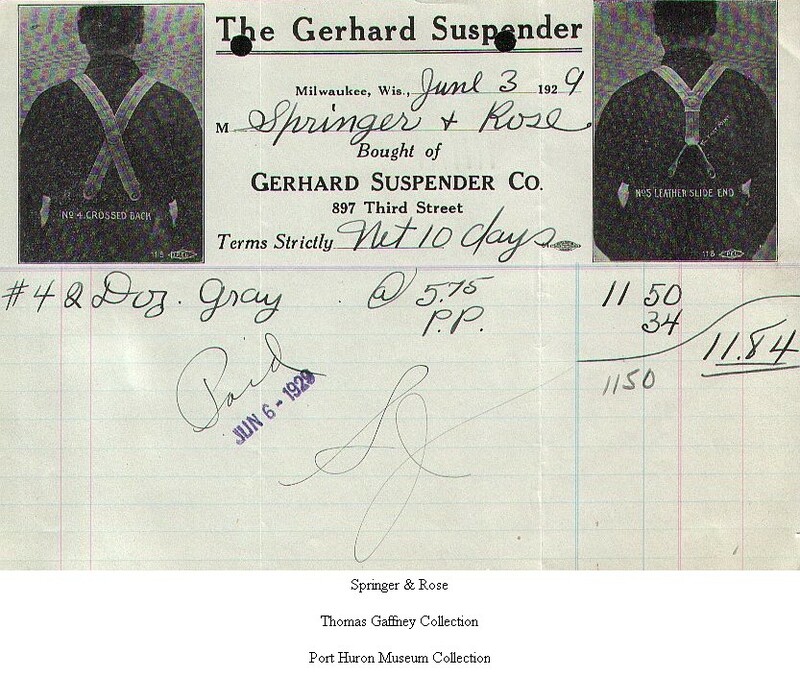 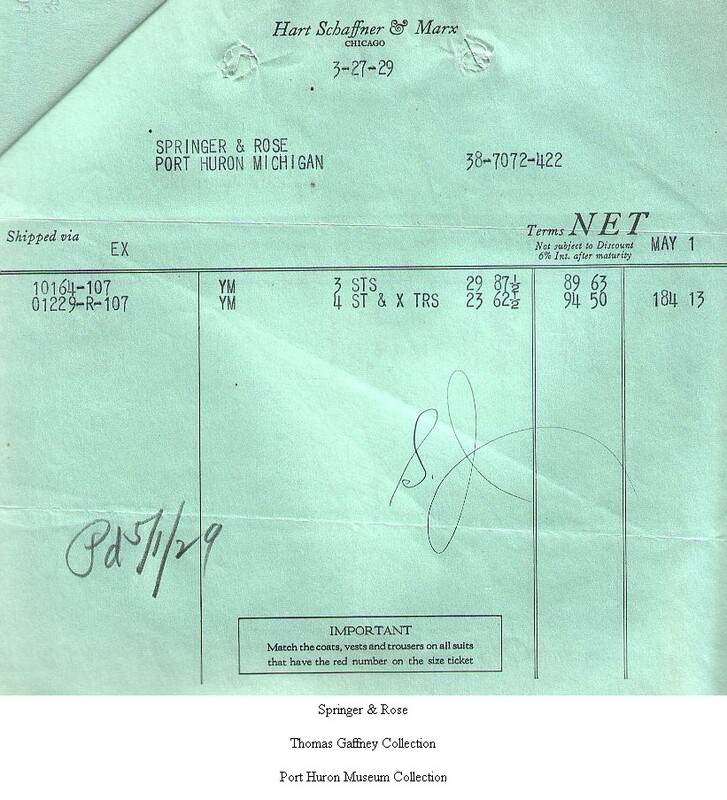 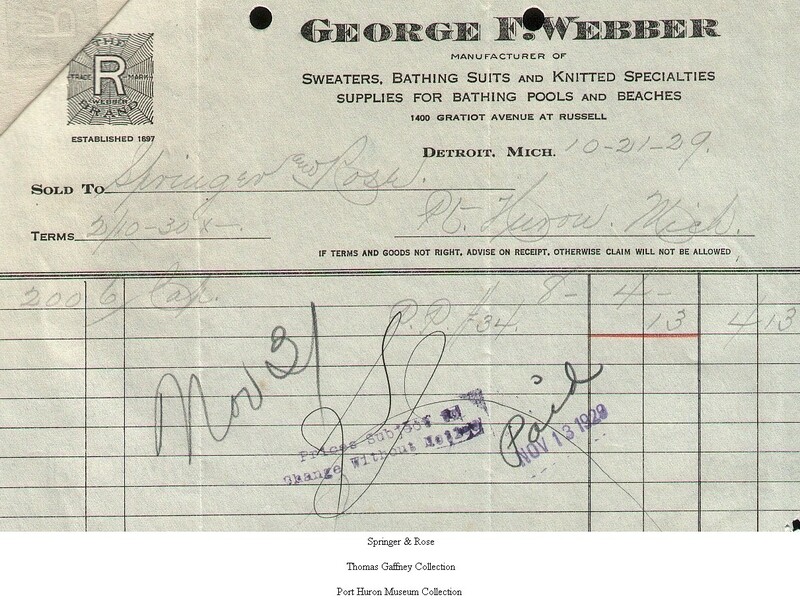 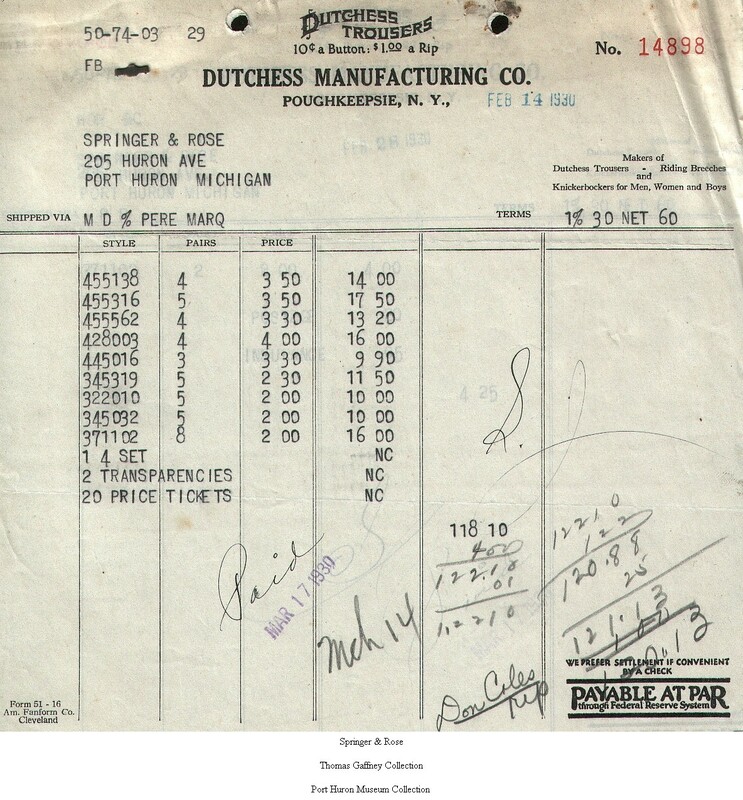 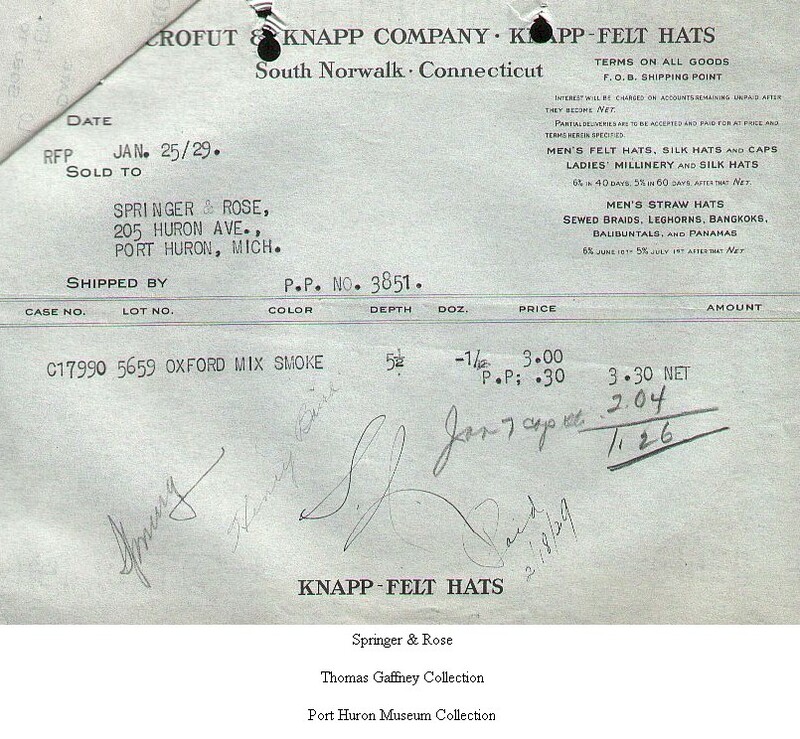 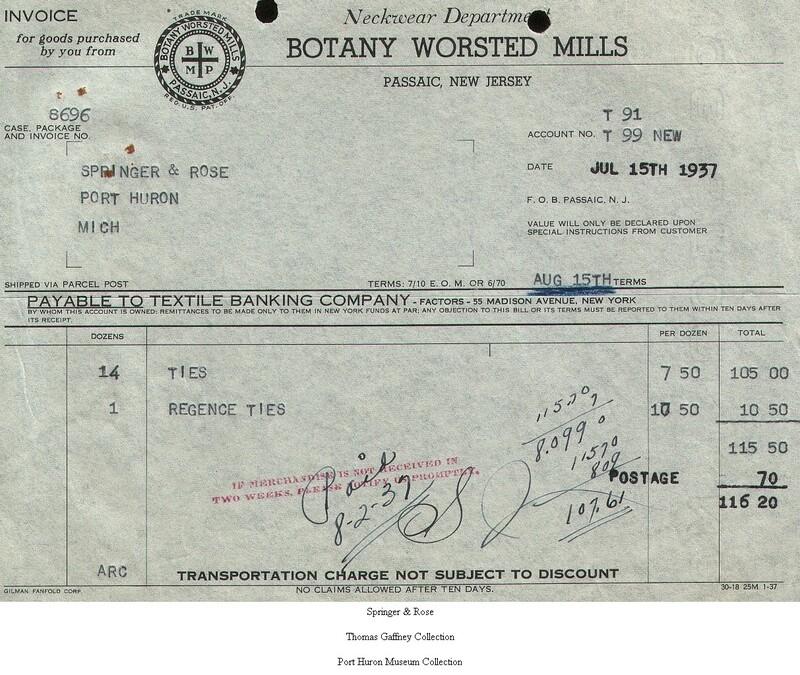 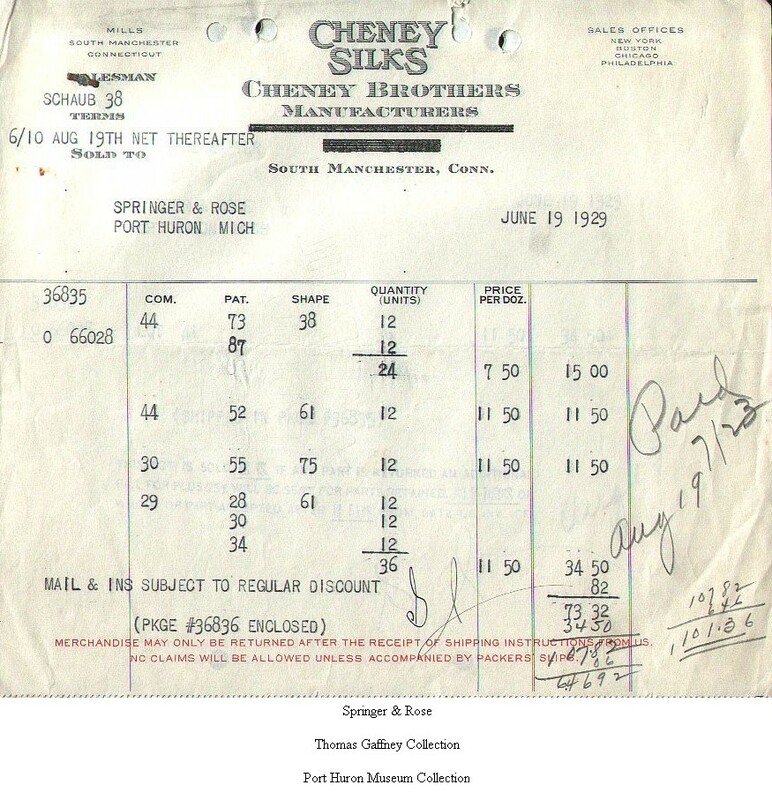 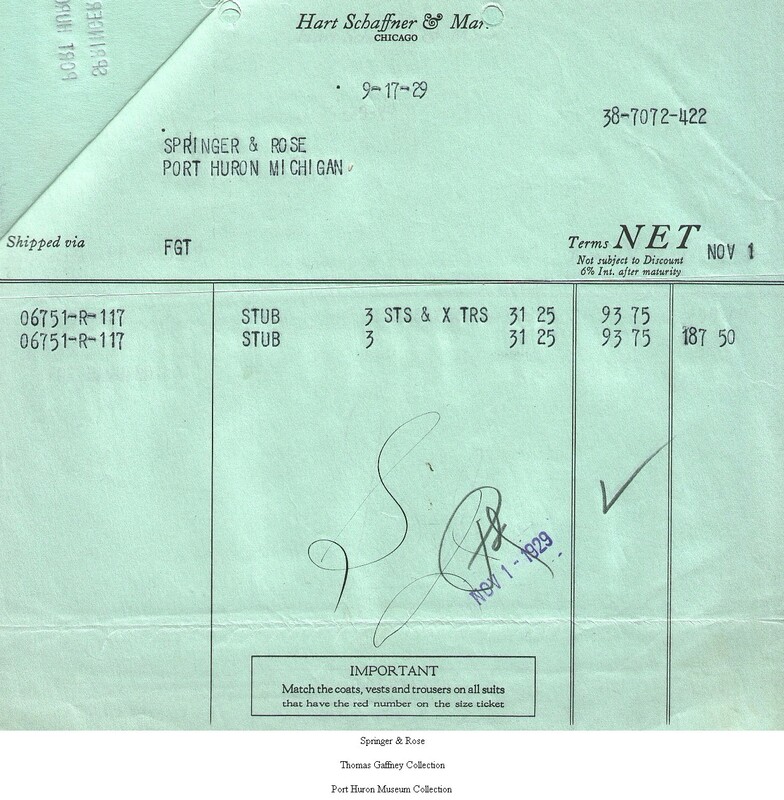 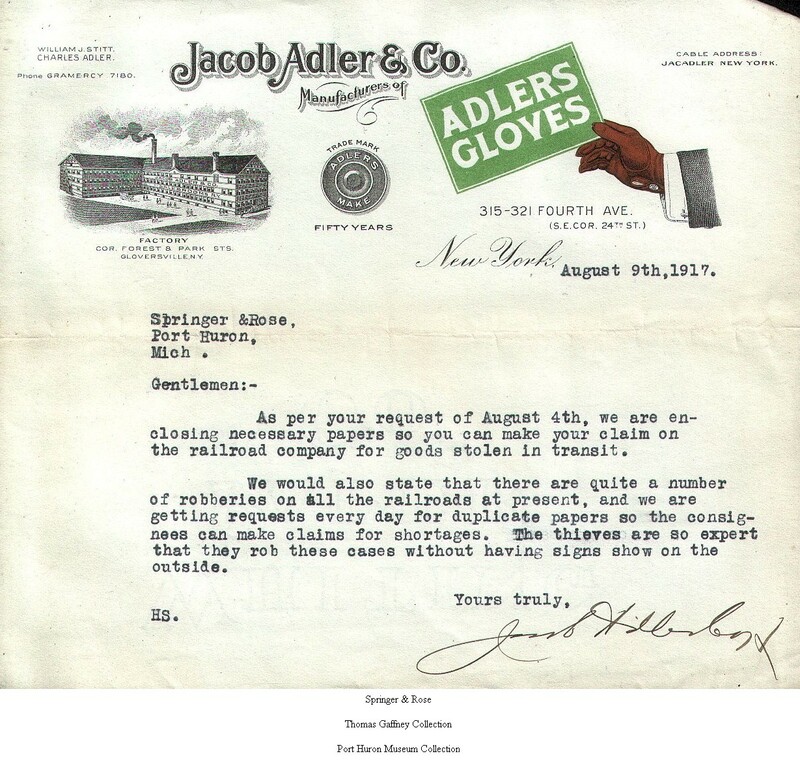 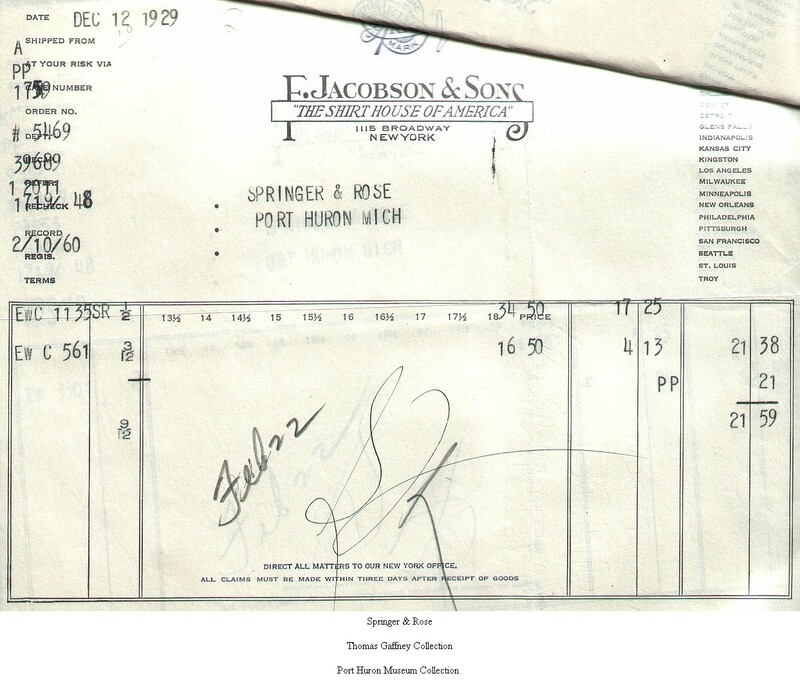 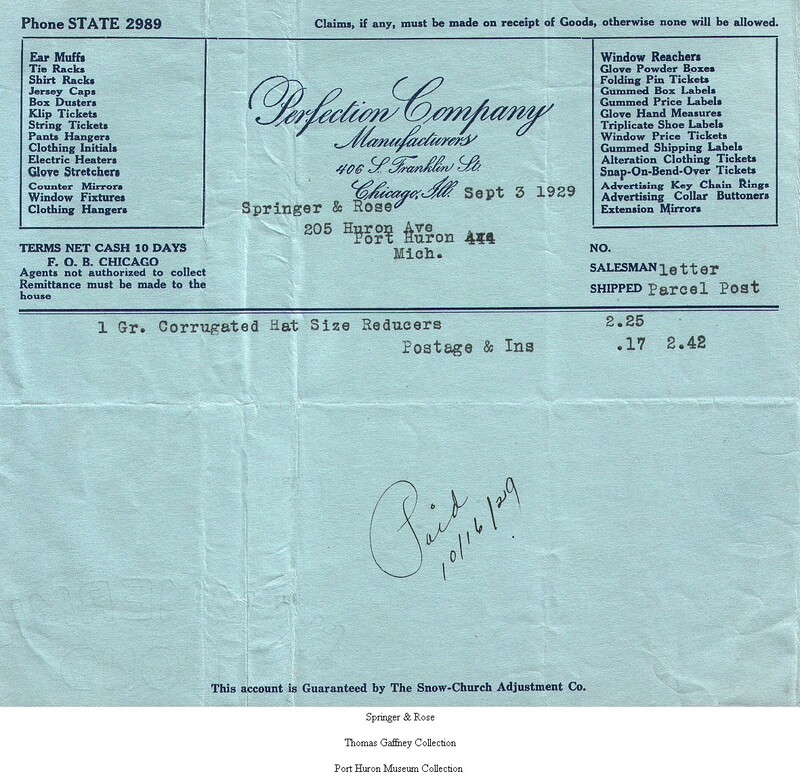 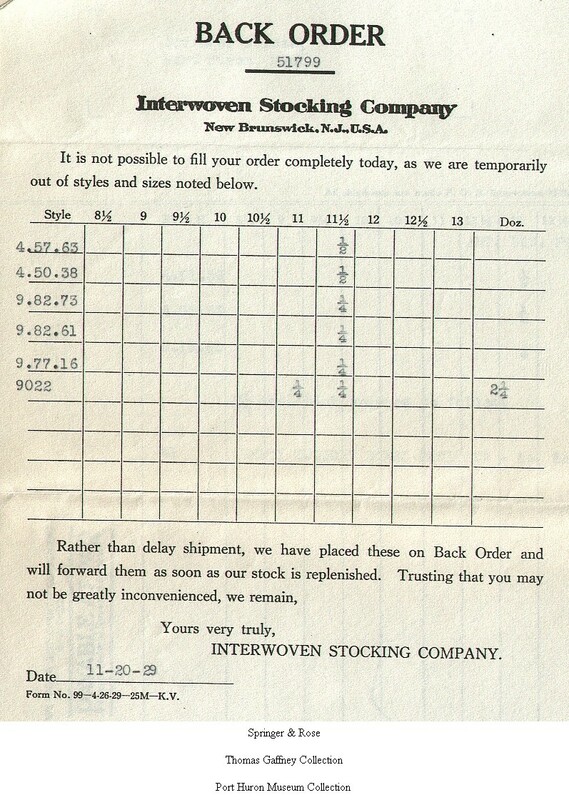 "The One Price Clothiers, Furnishers and Hatters"
When Mr. Gaffney opened his men's clothing store in the former building used by Springer & Rose, he discovered a collection of old receipts, catalogues, and various artifacts from the 1920s and 30s. 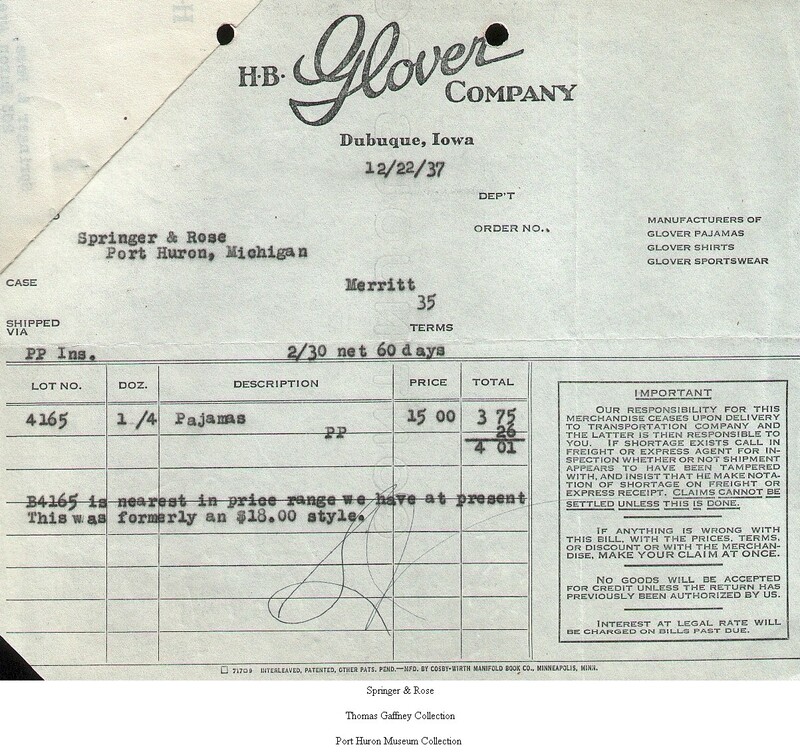 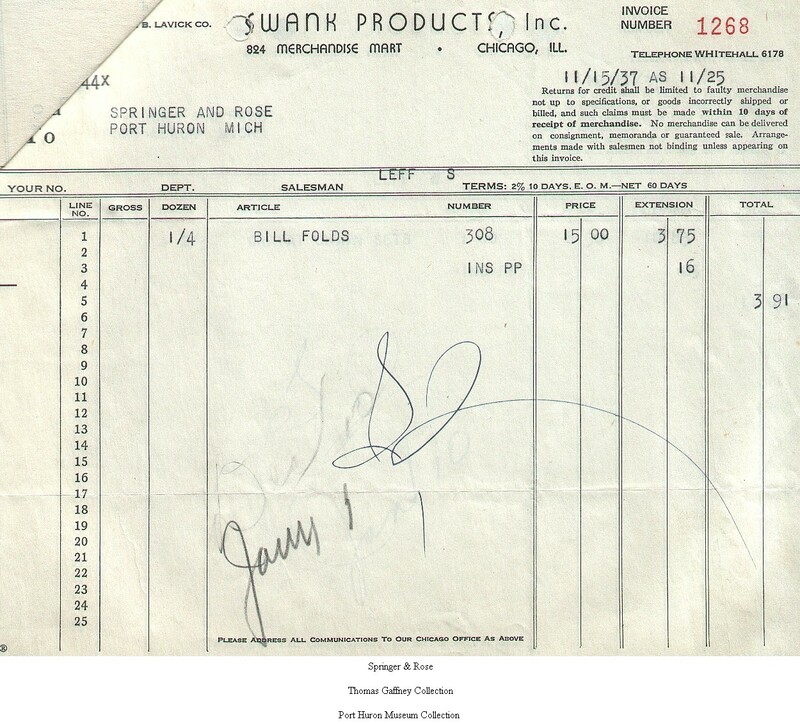 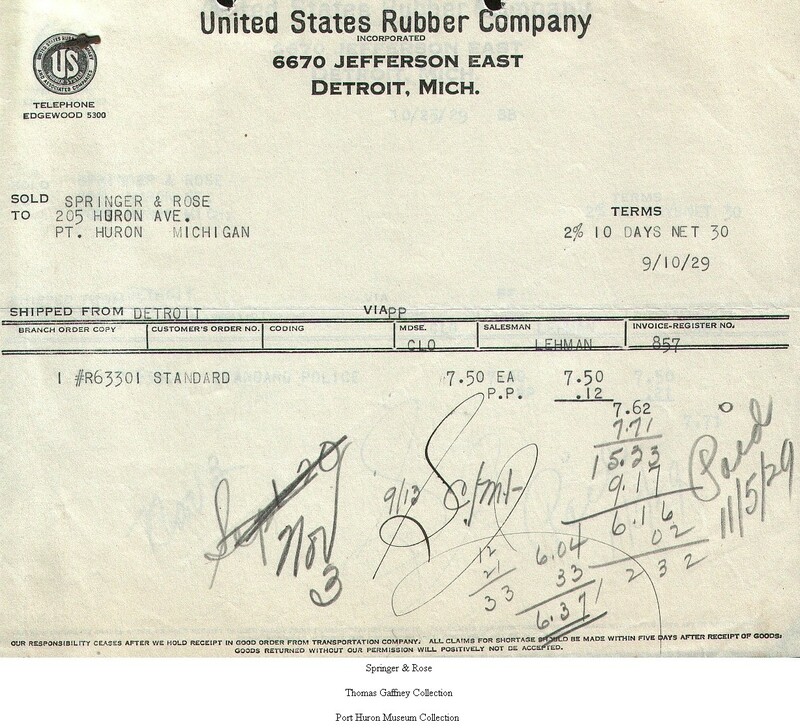 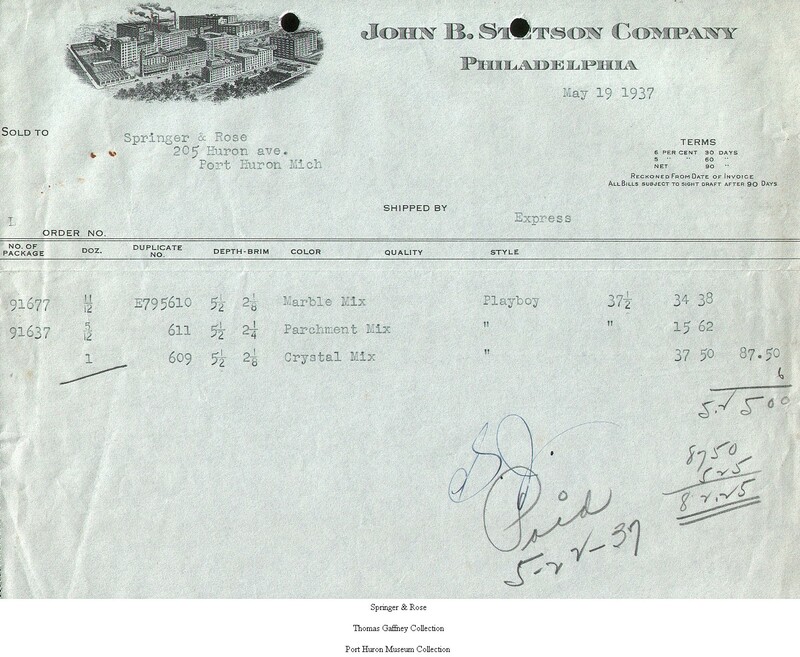 Many items were beyond salvage and were reluctantly discarded. 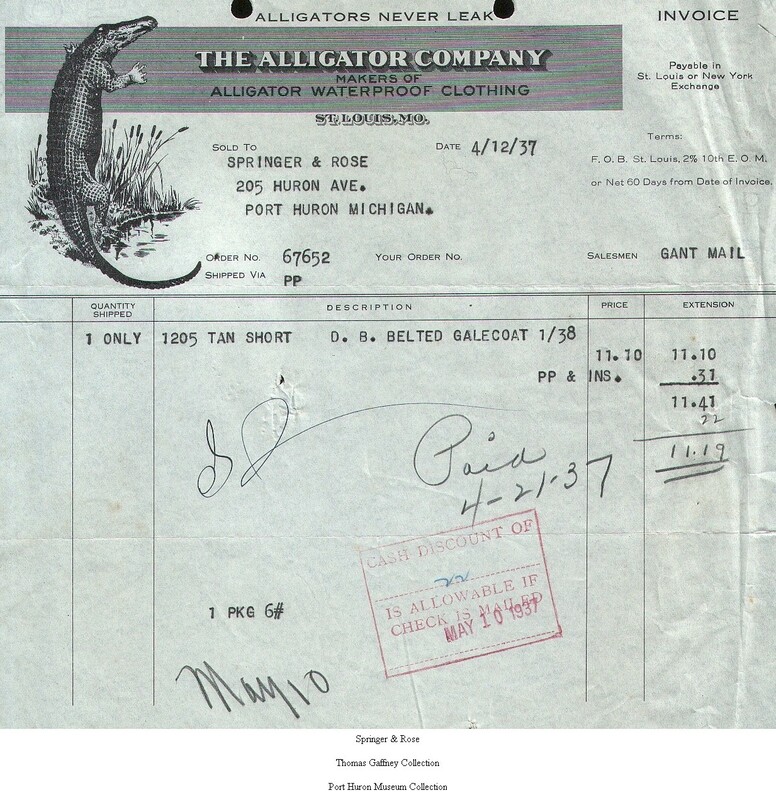 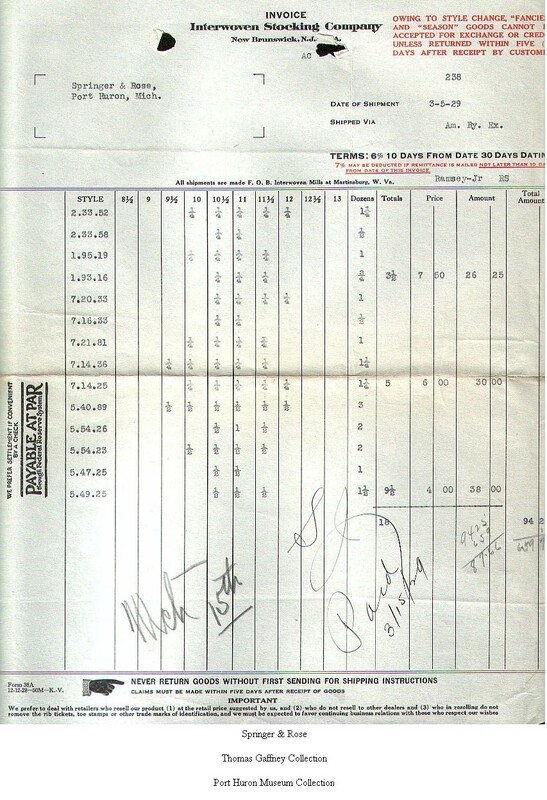 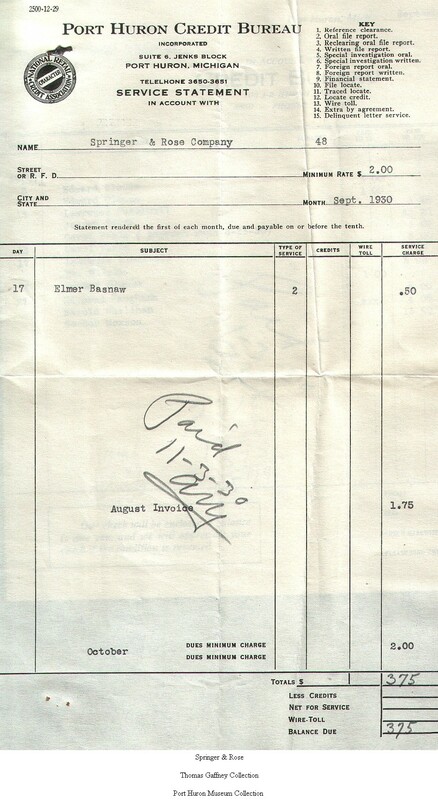 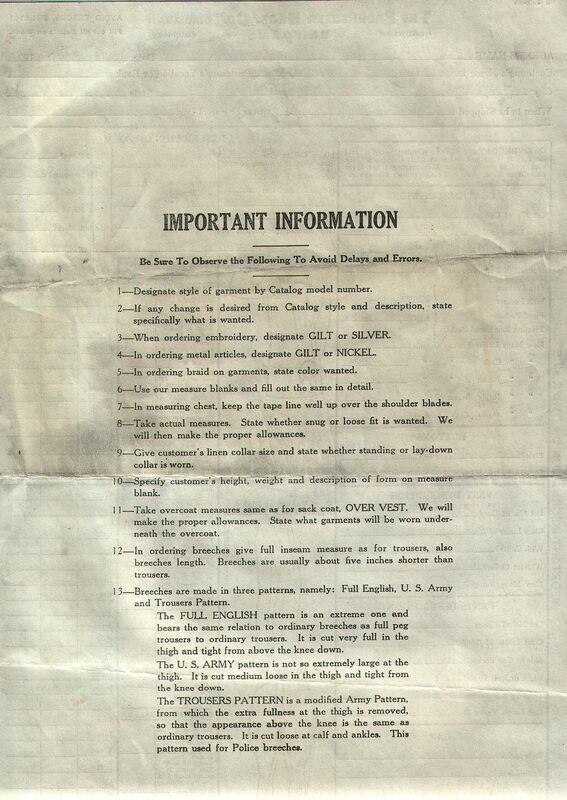 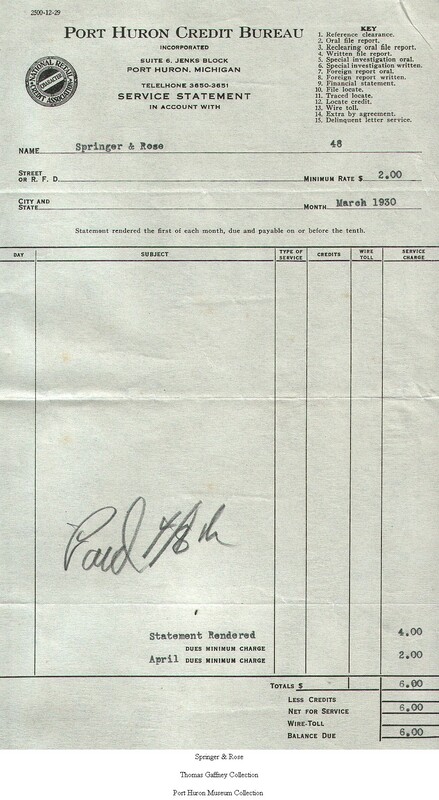 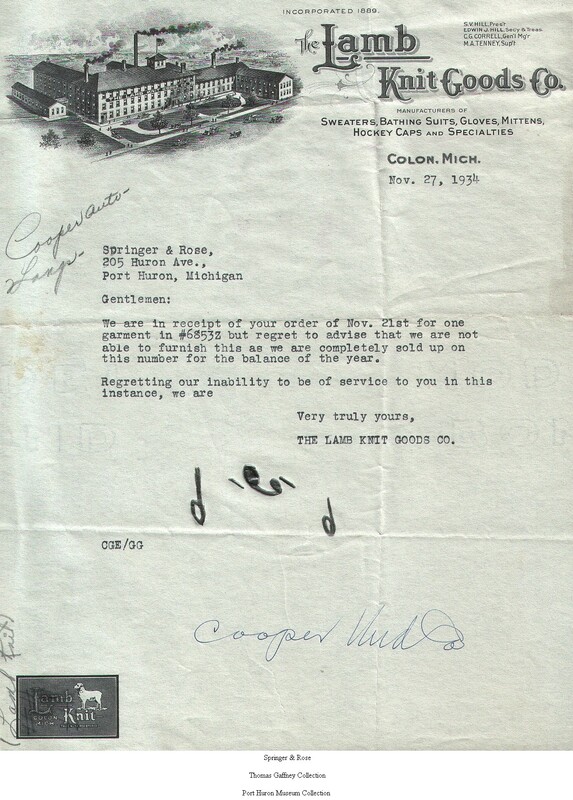 Below you will find links to some of what he was able to rescue.